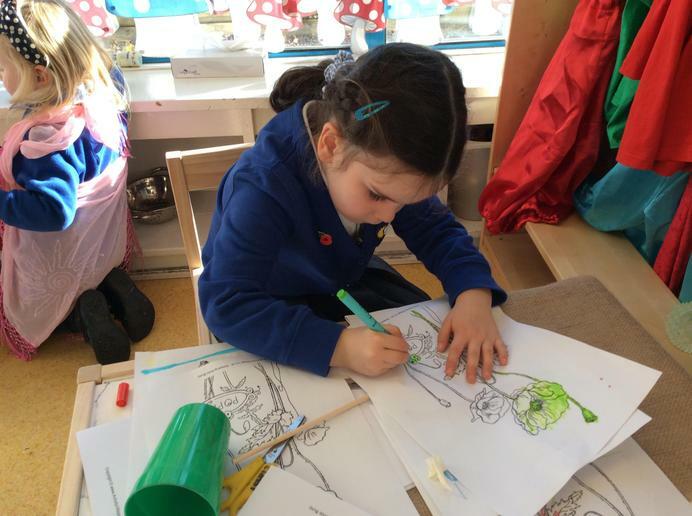 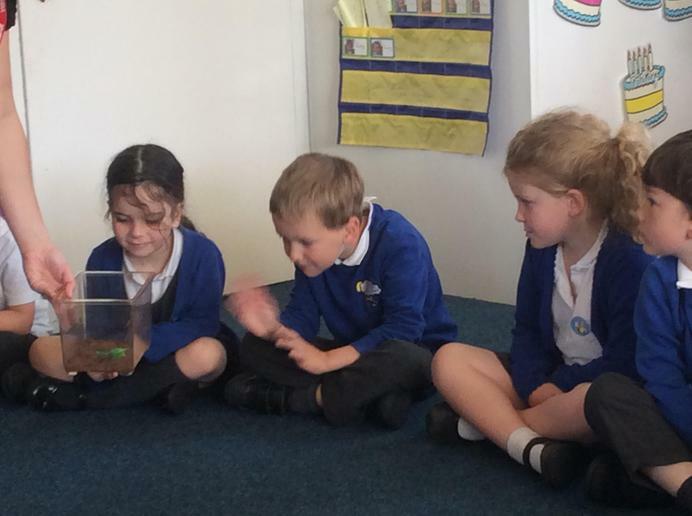 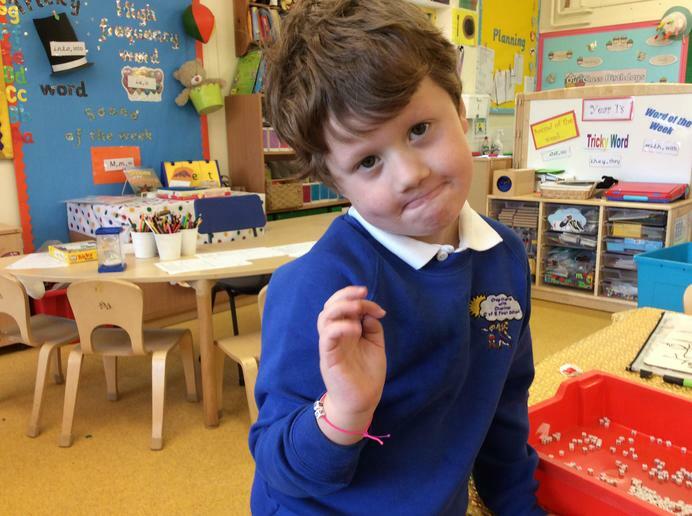 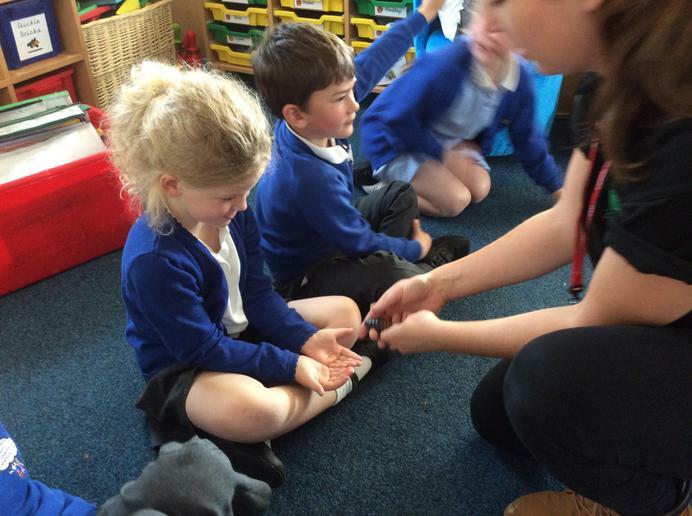 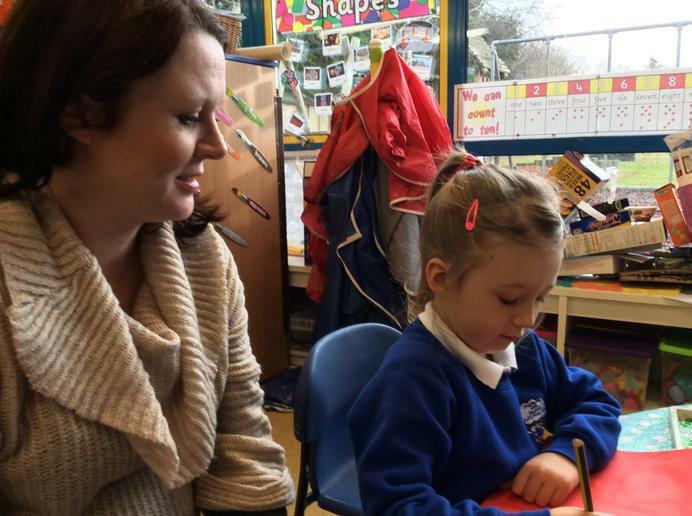 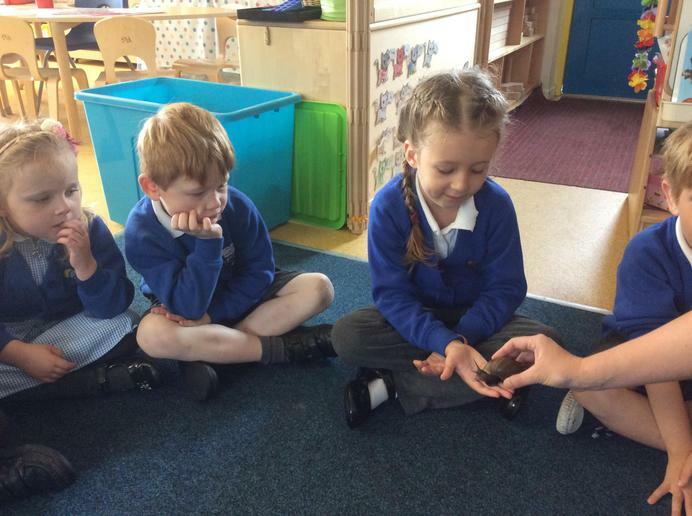 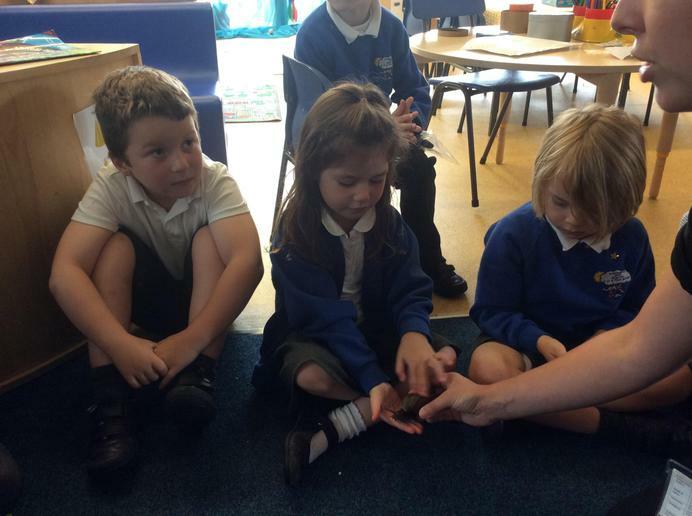 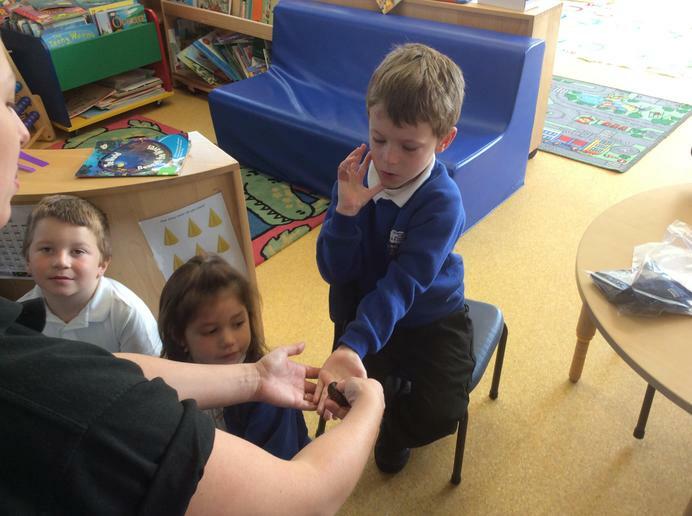 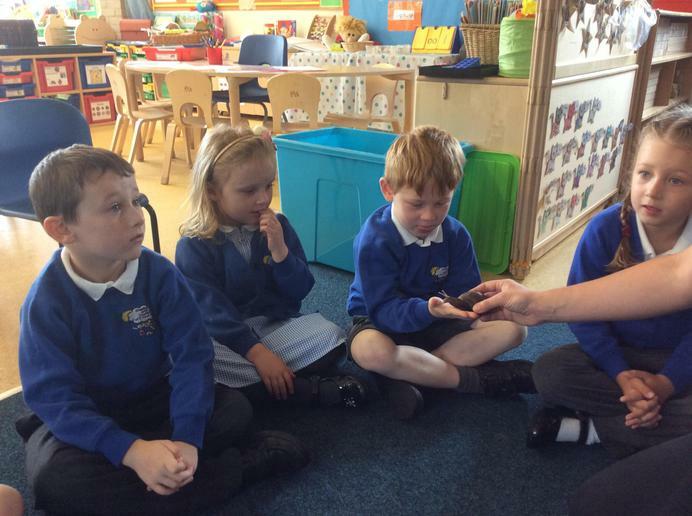 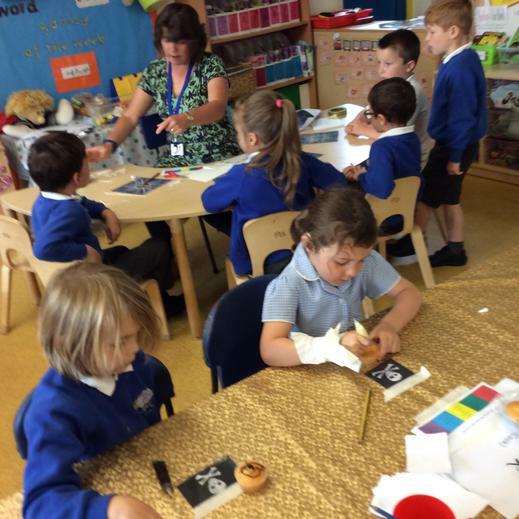 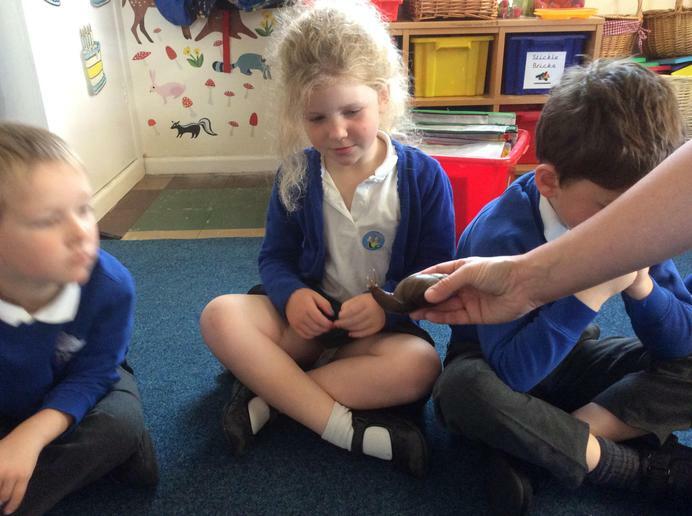 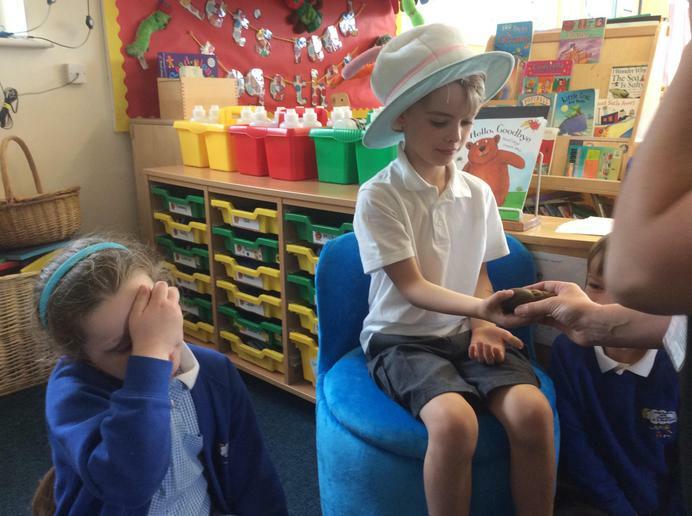 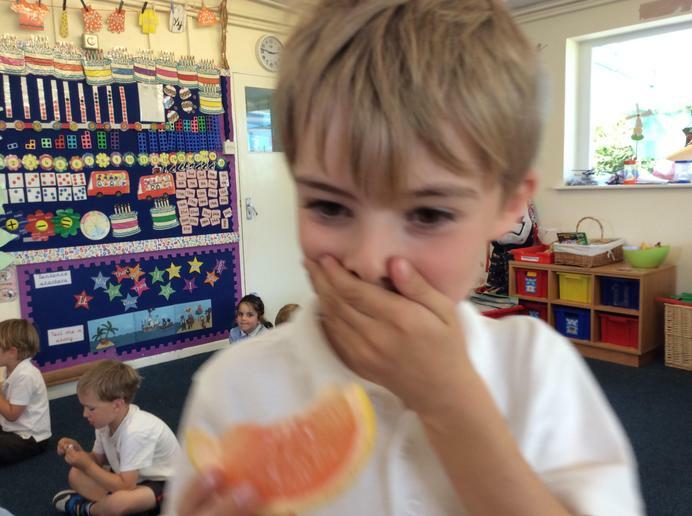 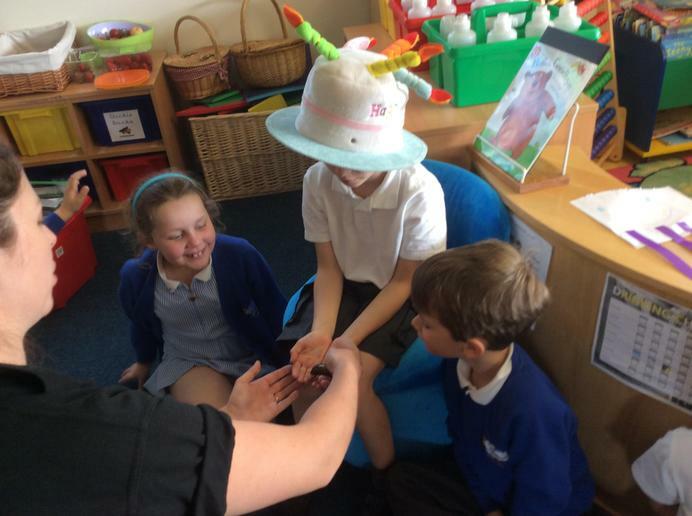 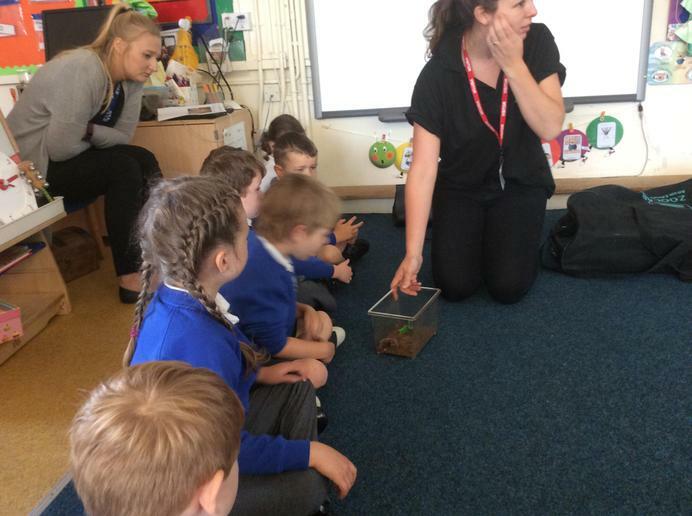 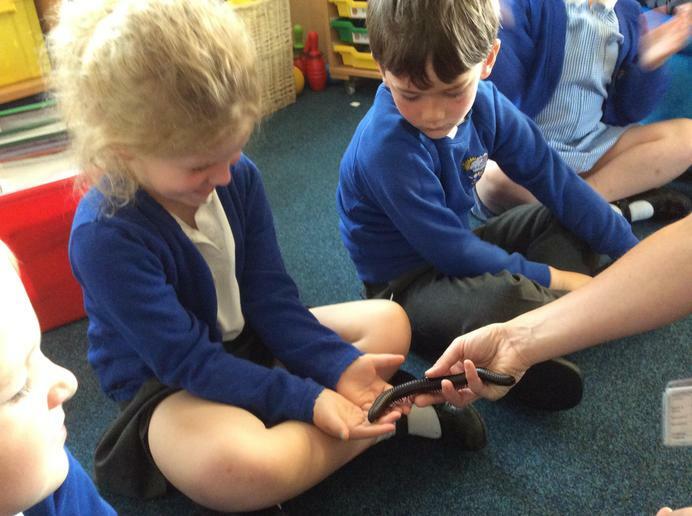 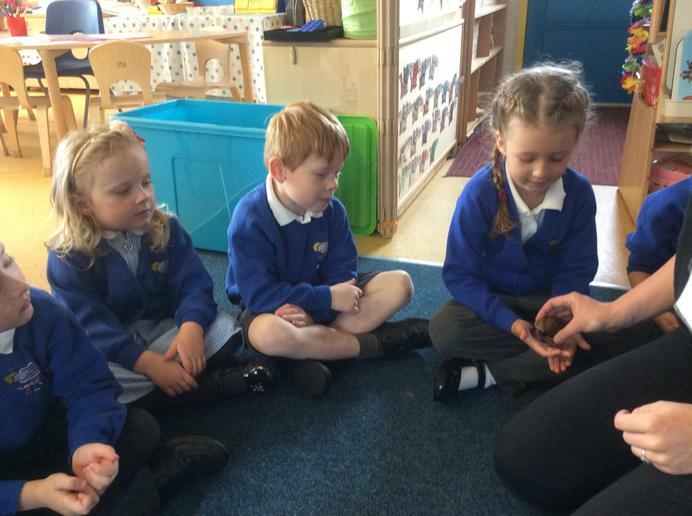 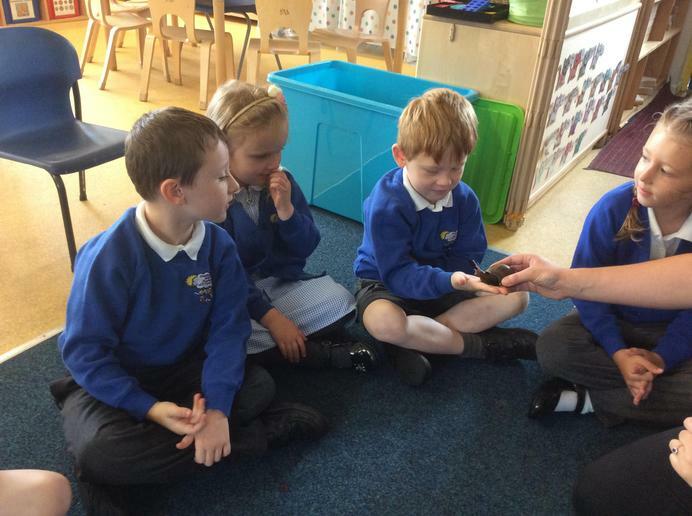 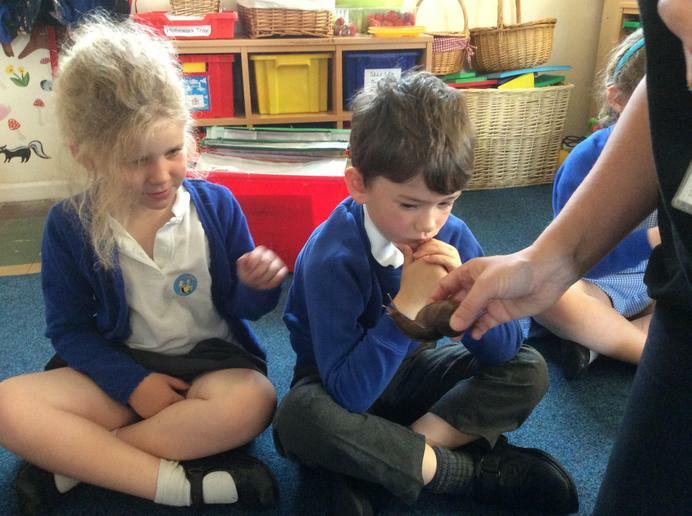 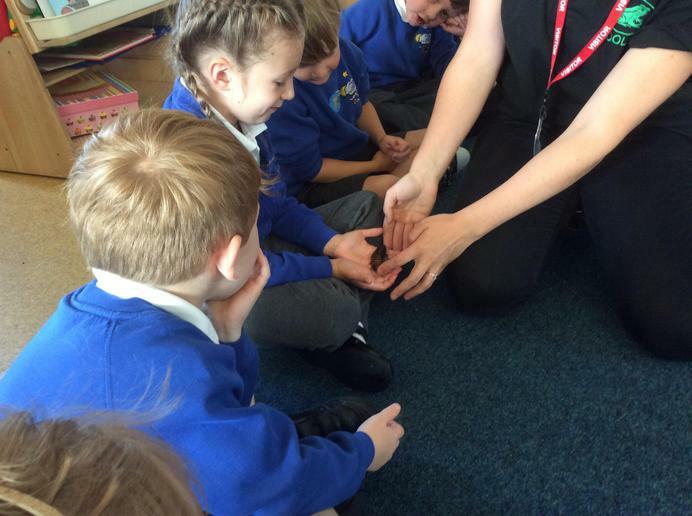 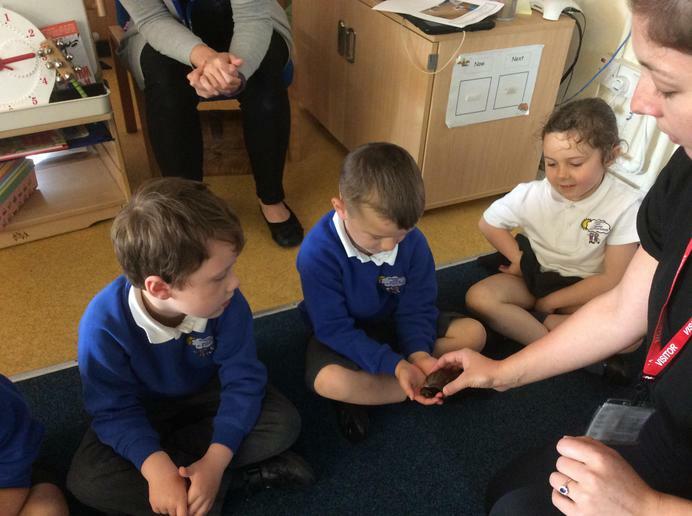 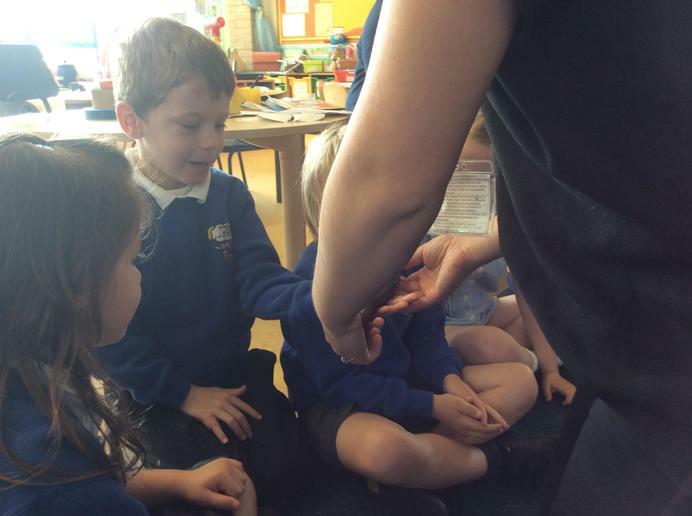 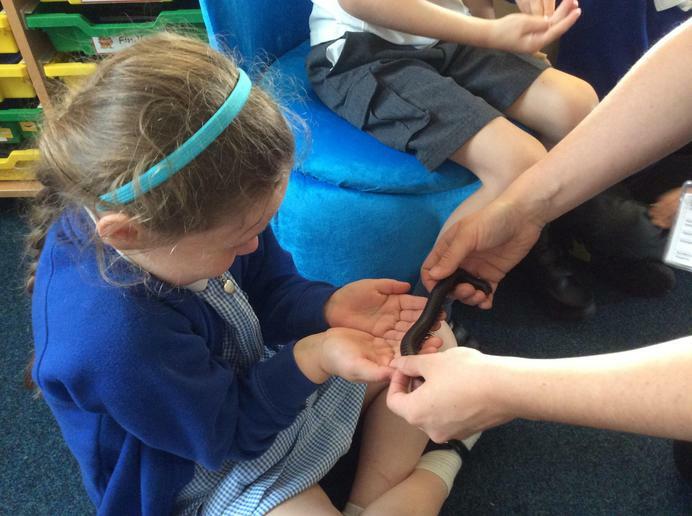 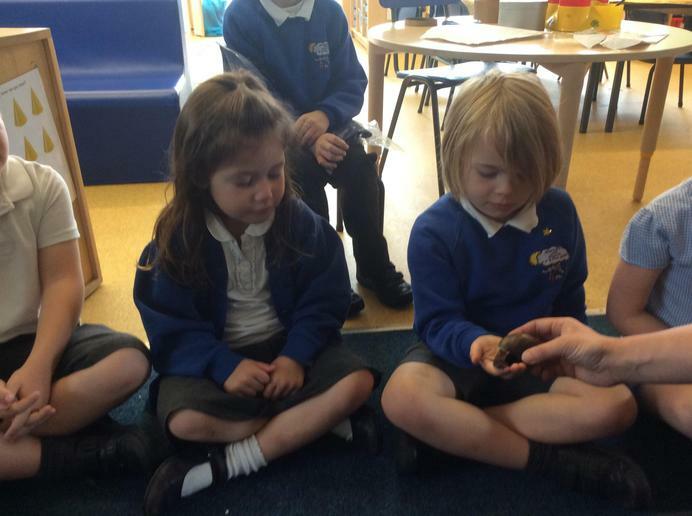 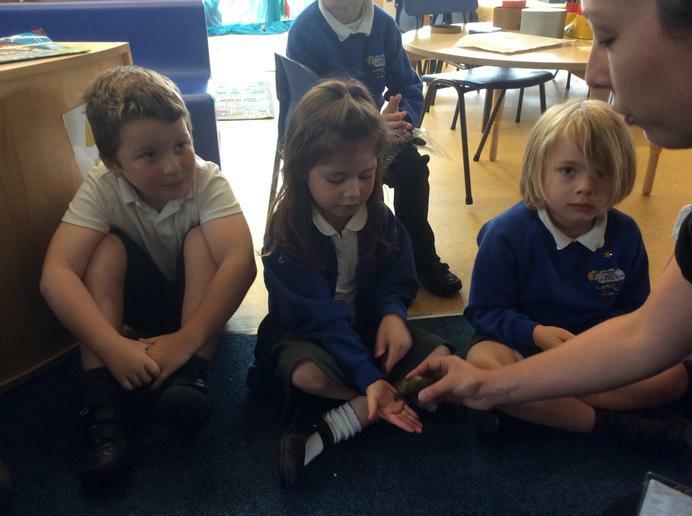 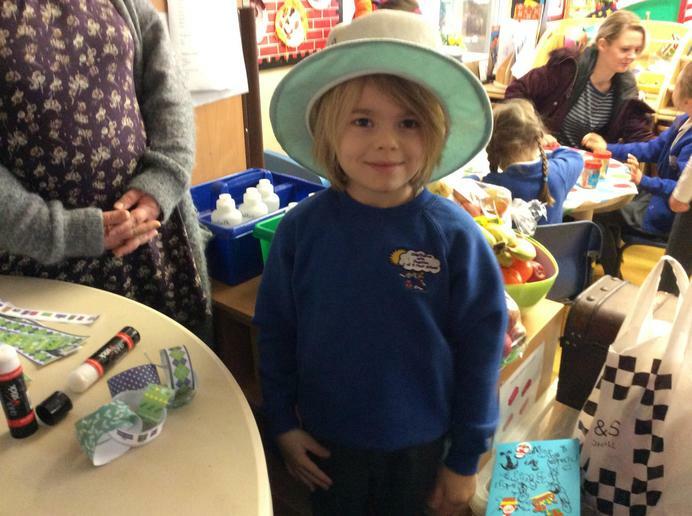 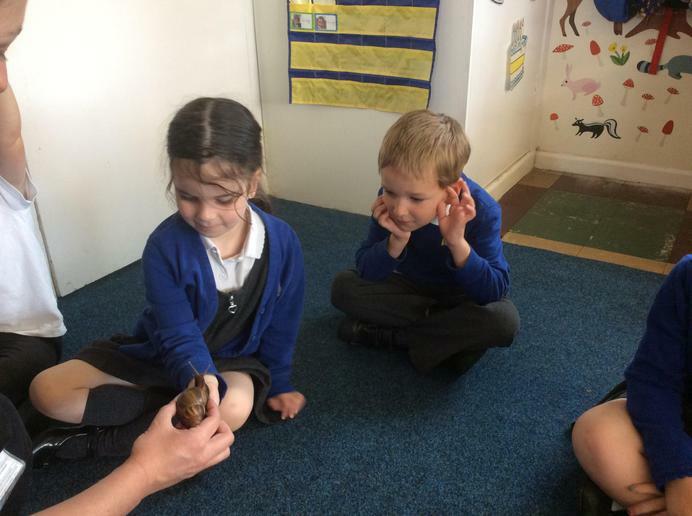 Thank you for coming to have a look at our pictures, please enjoy looking at the exciting things that we do in our class. 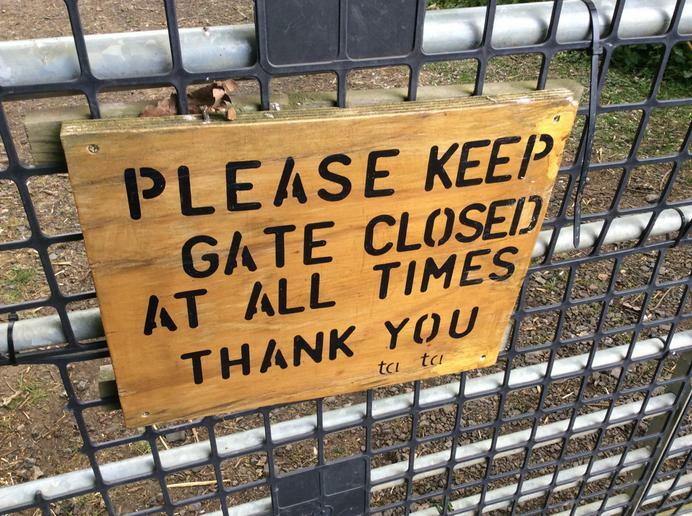 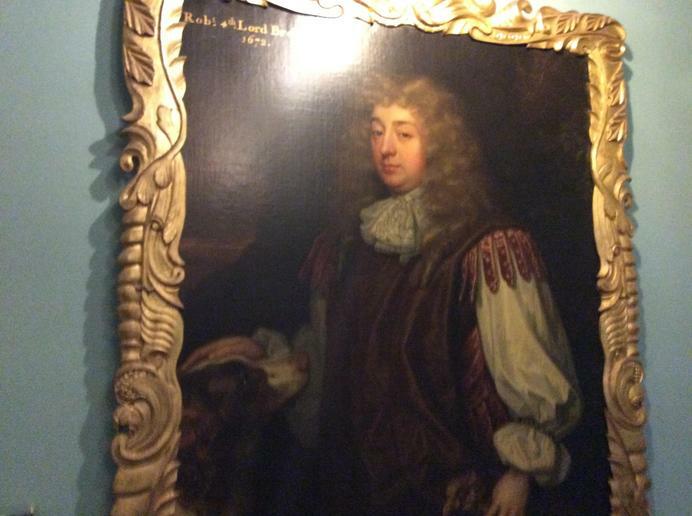 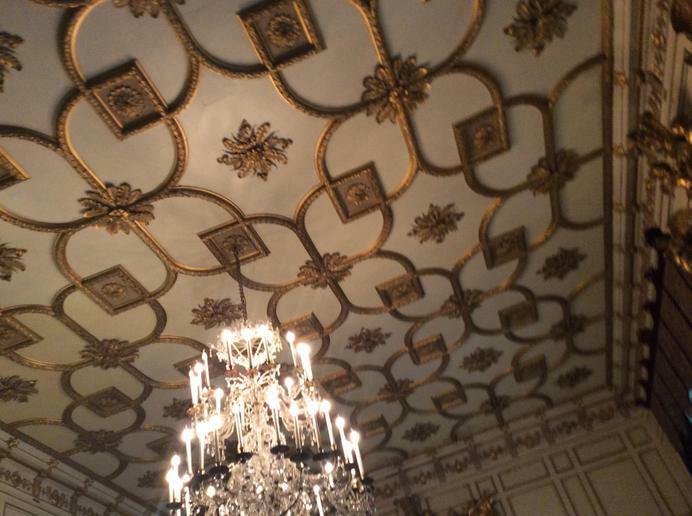 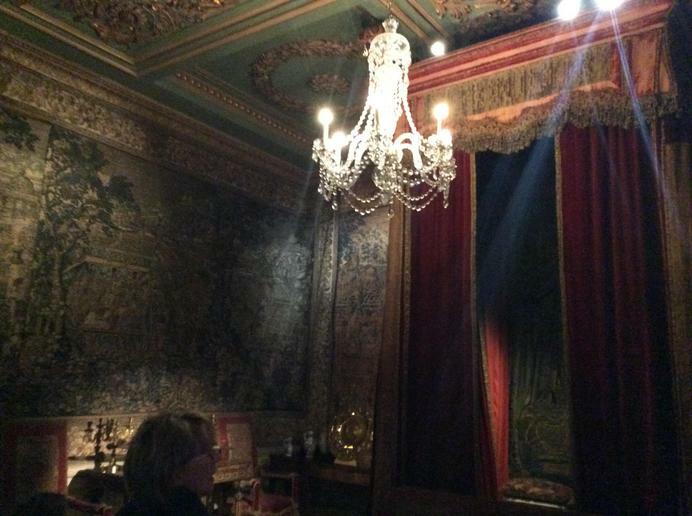 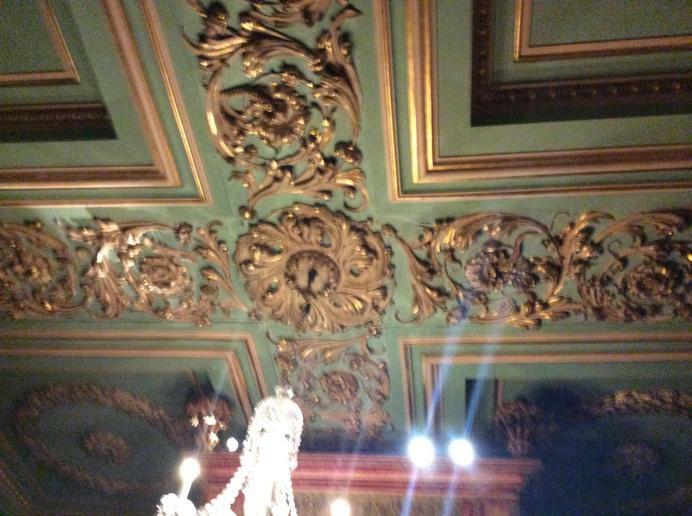 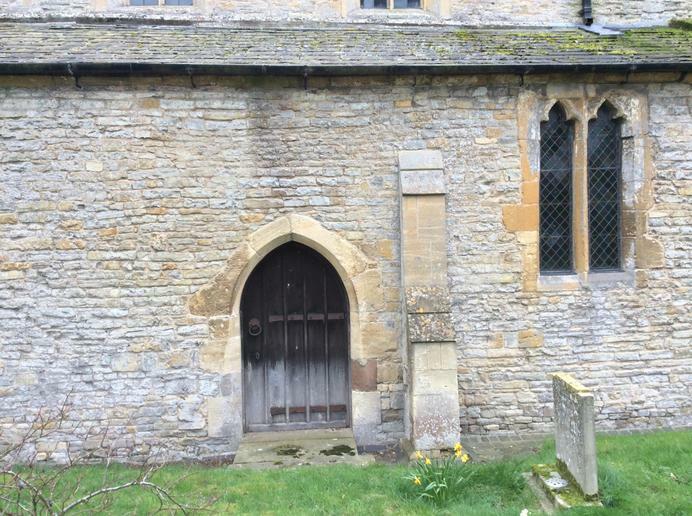 If you have any suggestions to what you would like to see on here please let me know...my door is always open! 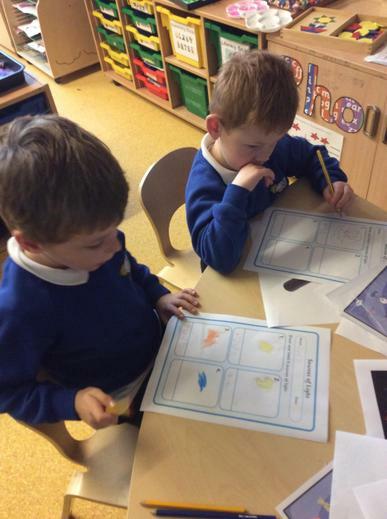 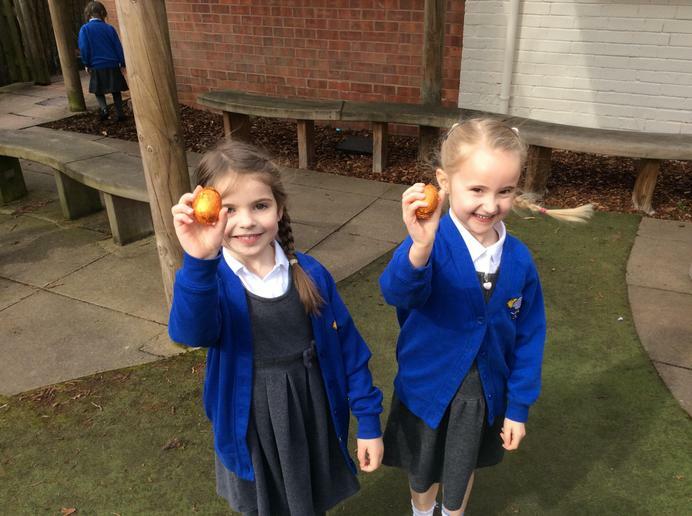 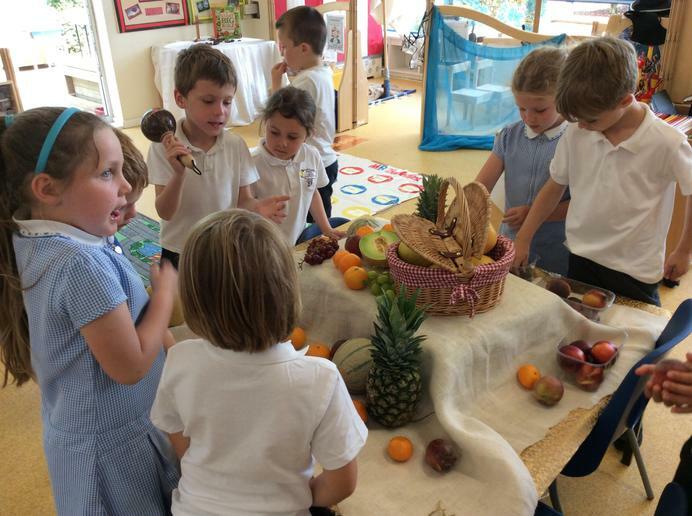 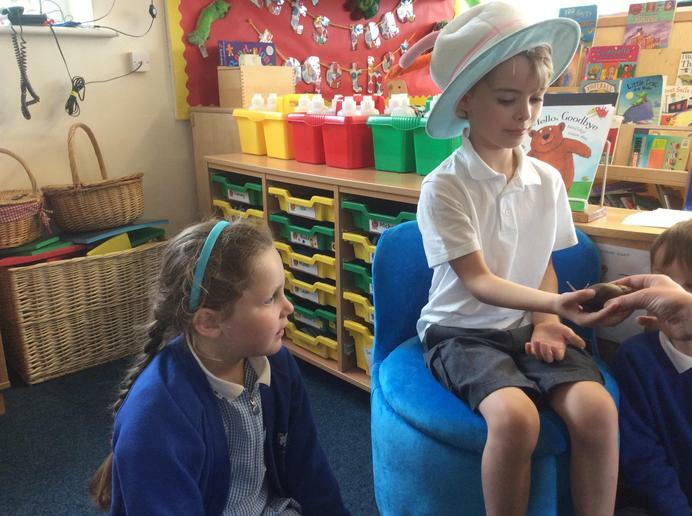 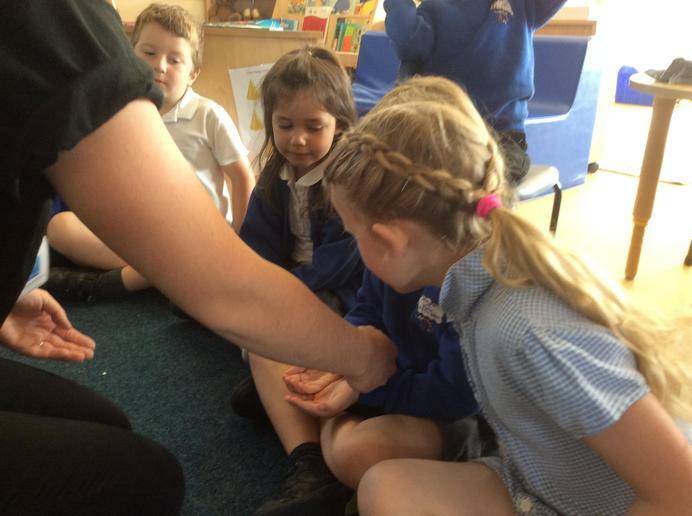 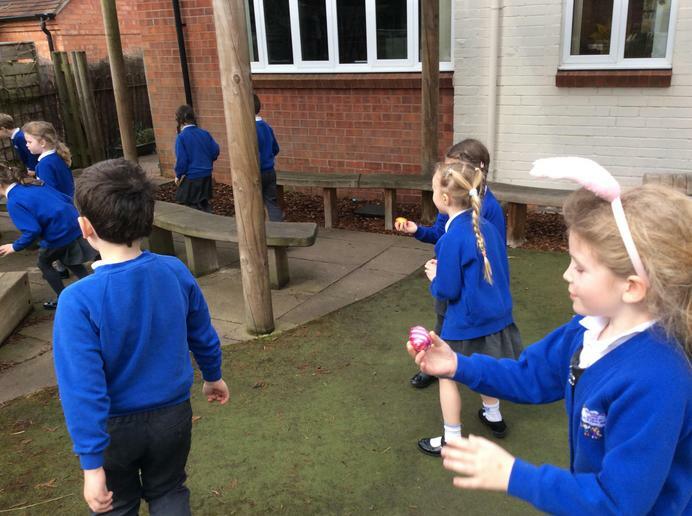 Cats class have been very busy learning all about Easter. 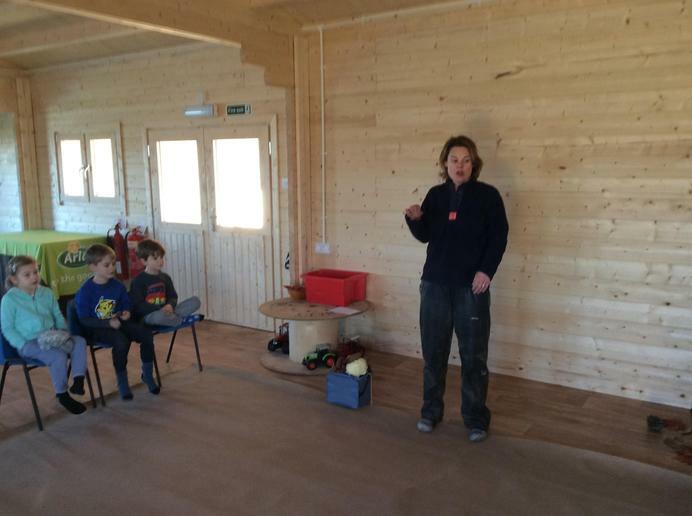 Sandfield Farm Cats class have a mention on Sandfield Farms page!! 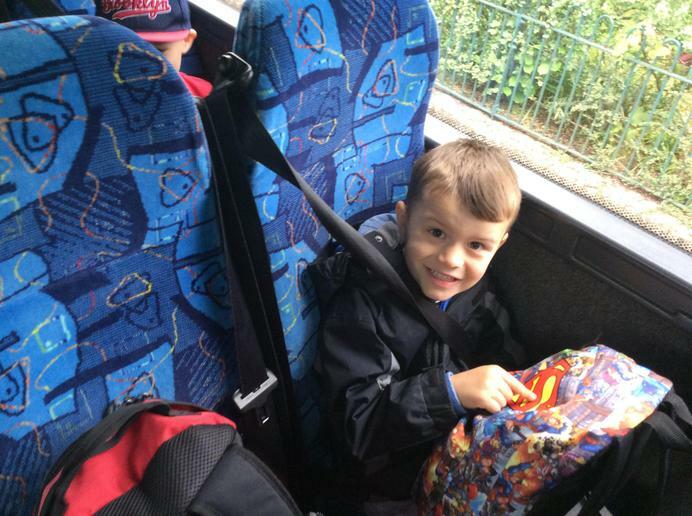 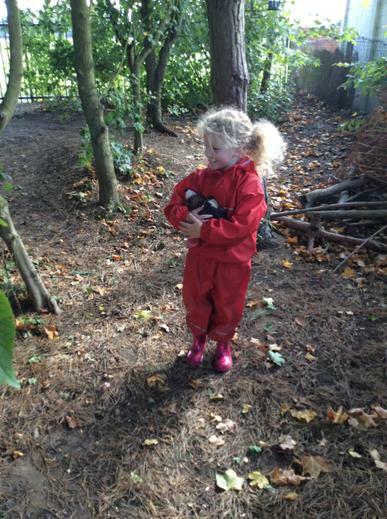 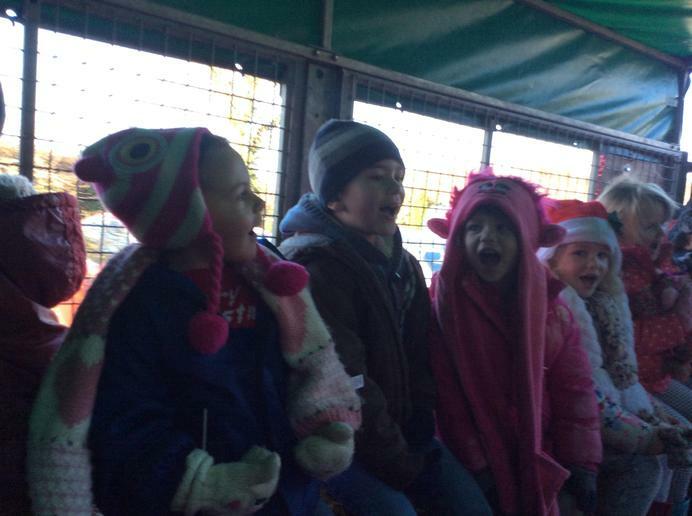 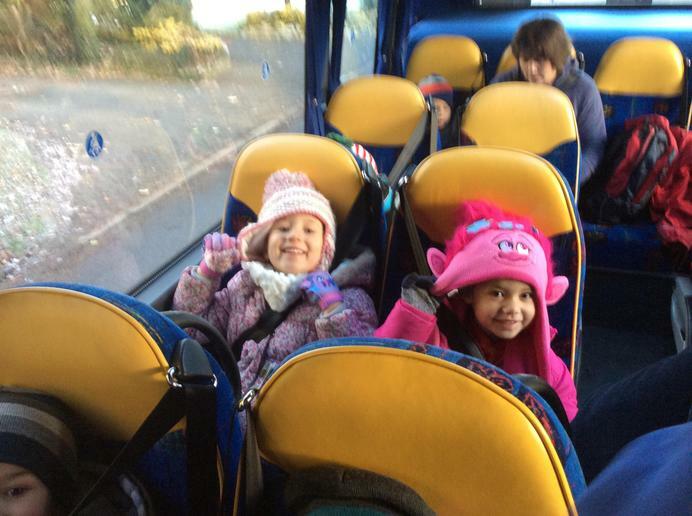 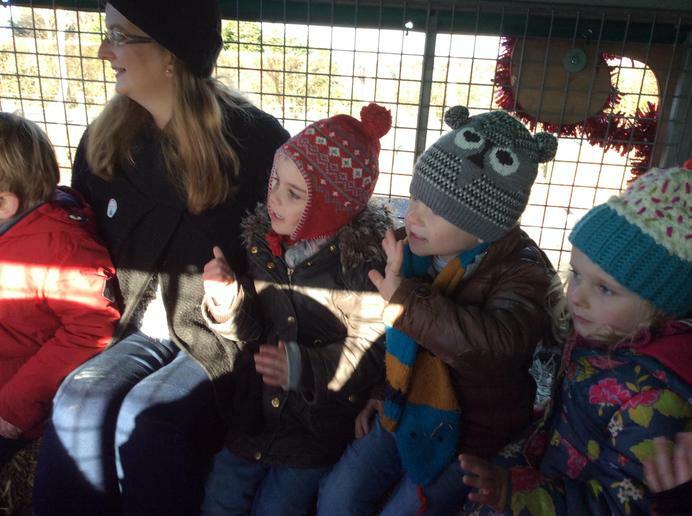 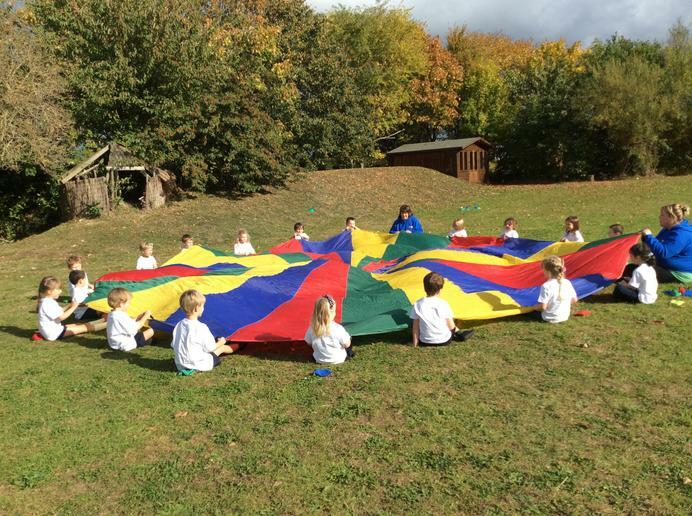 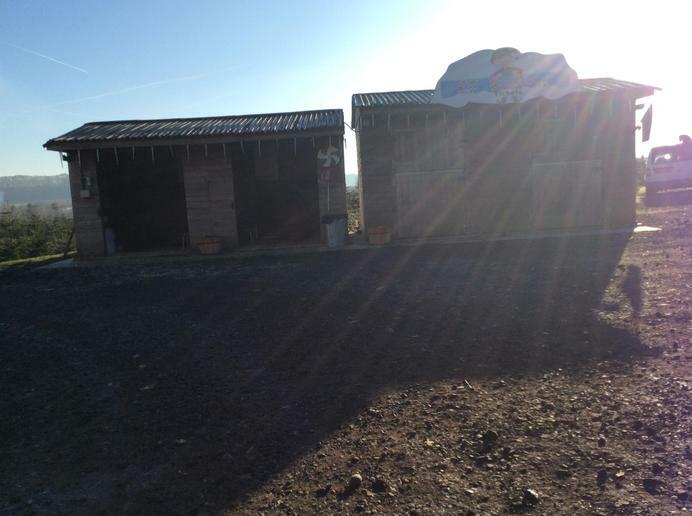 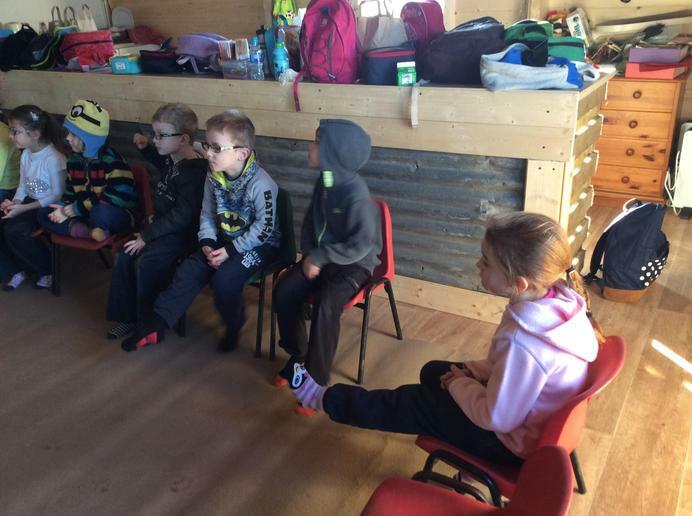 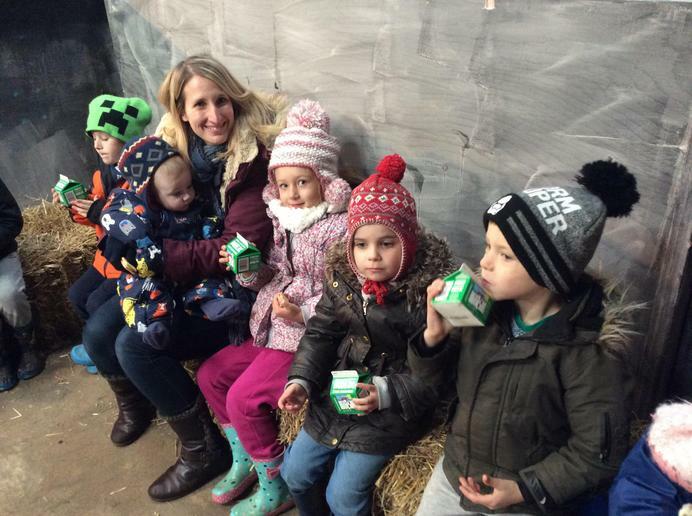 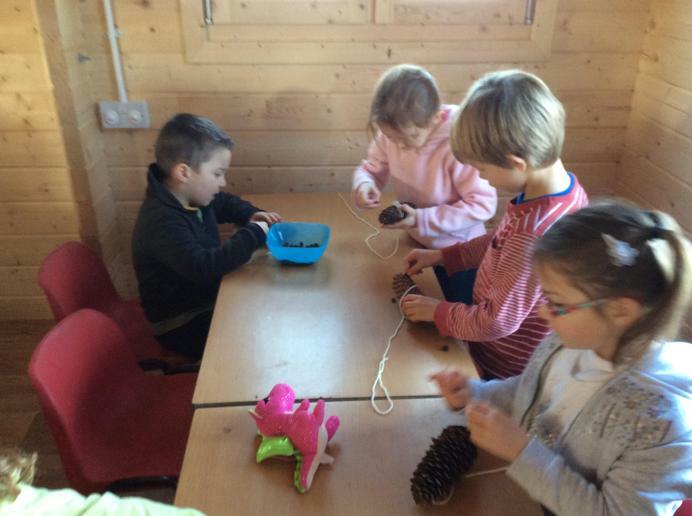 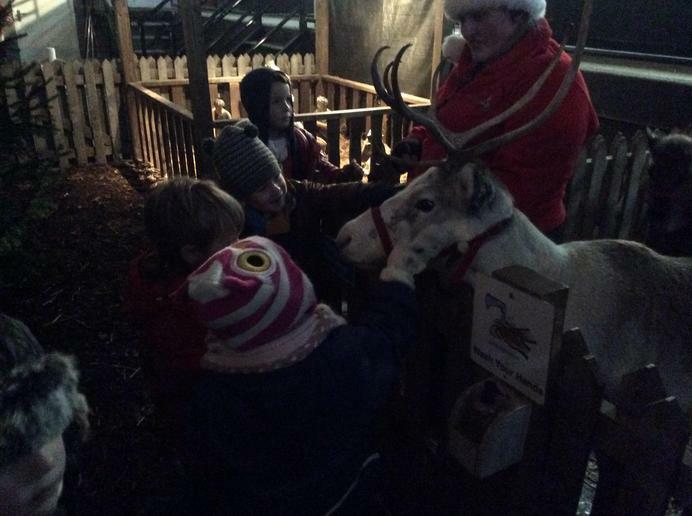 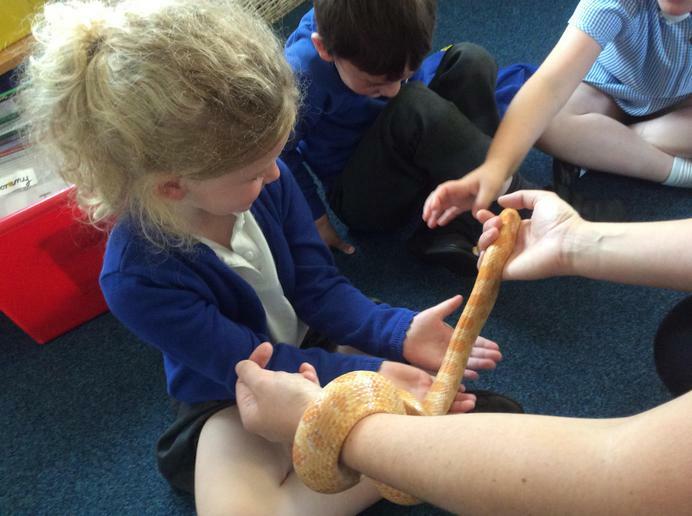 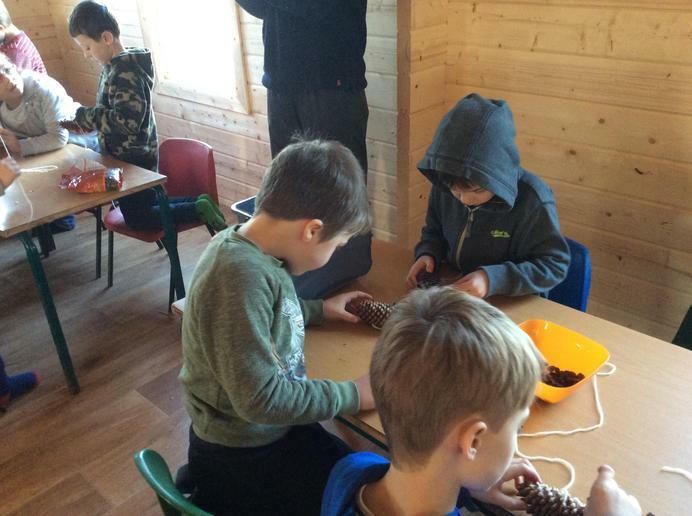 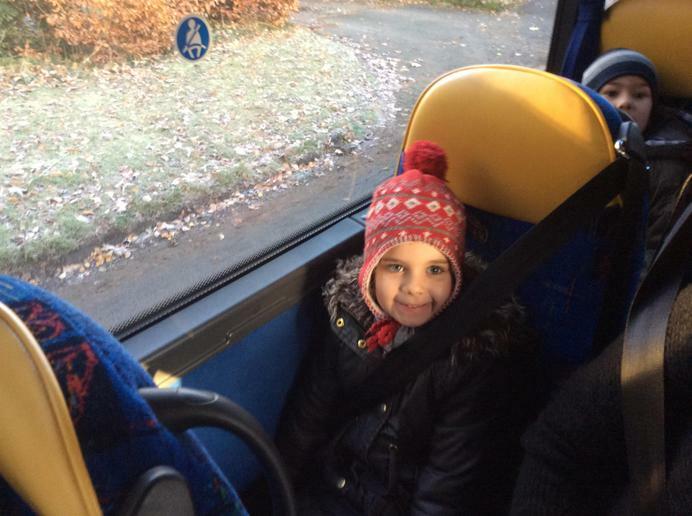 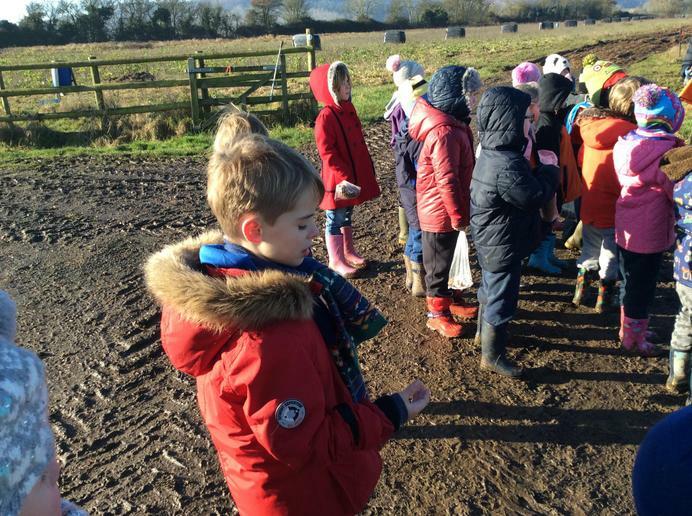 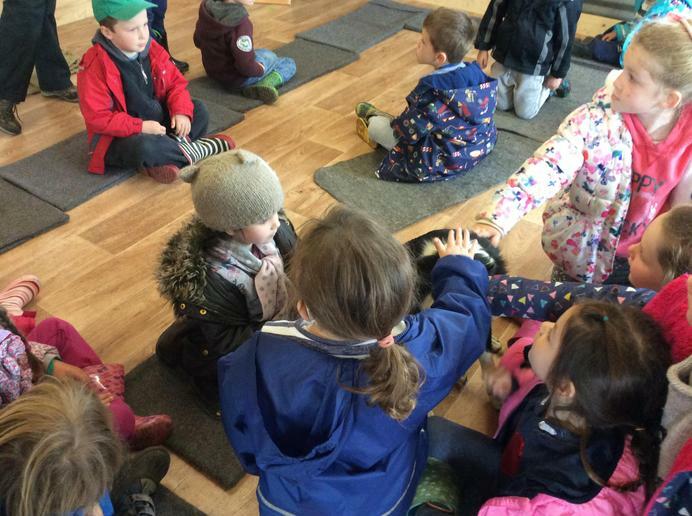 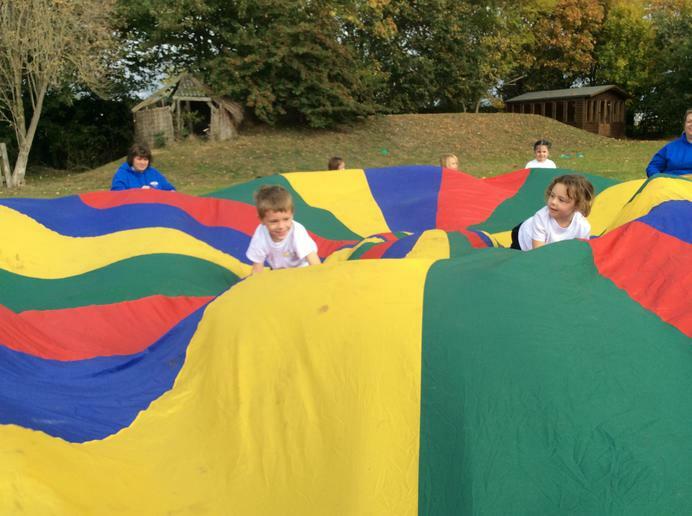 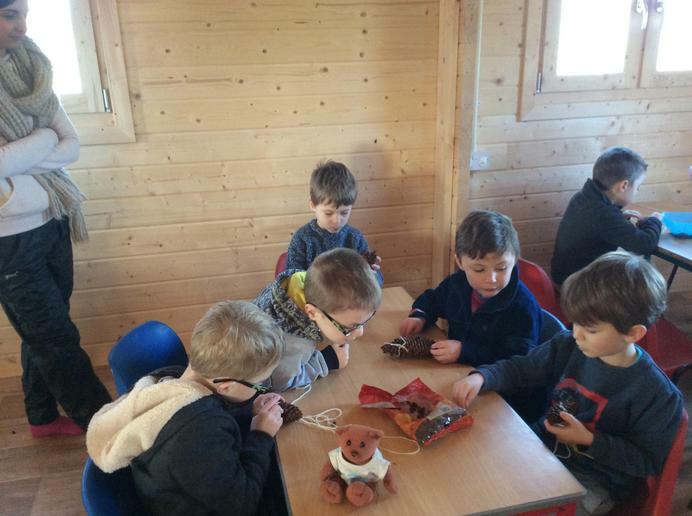 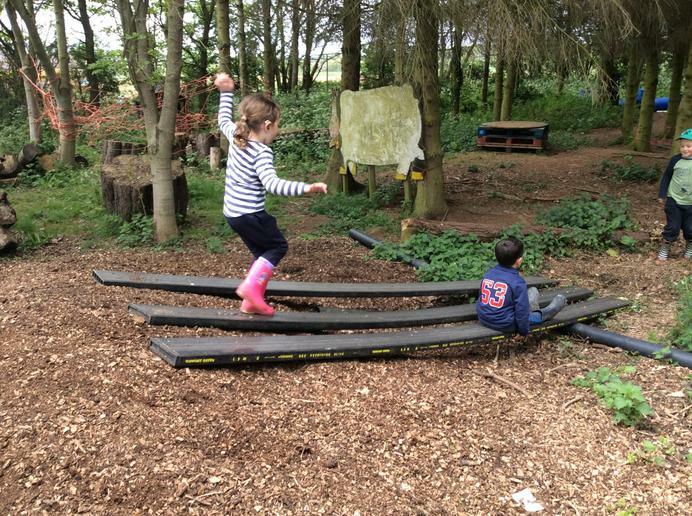 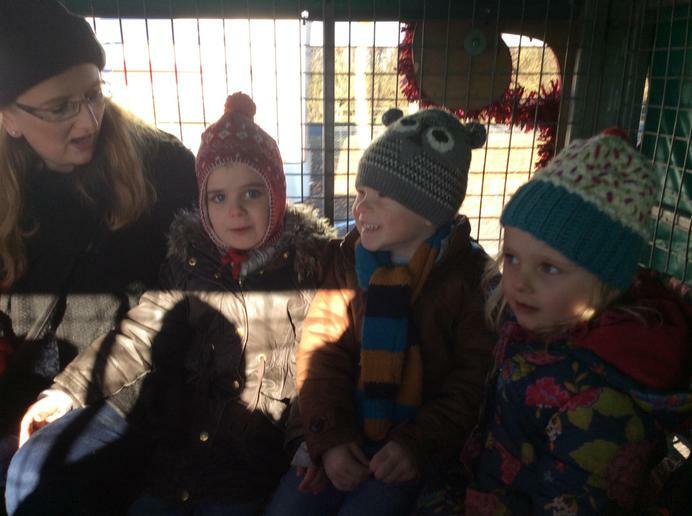 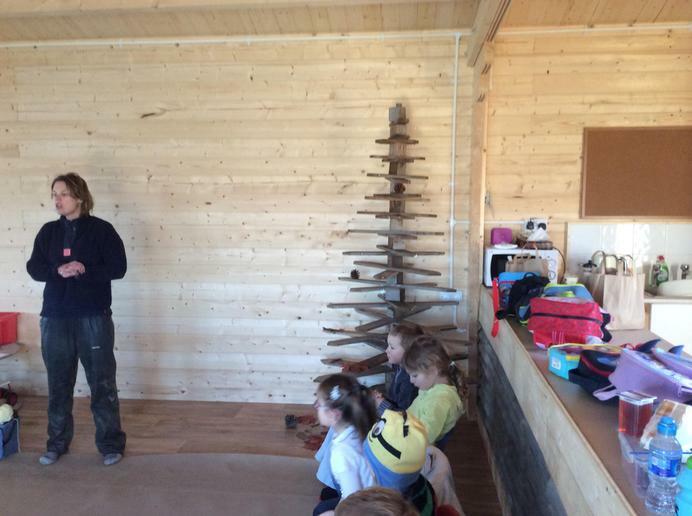 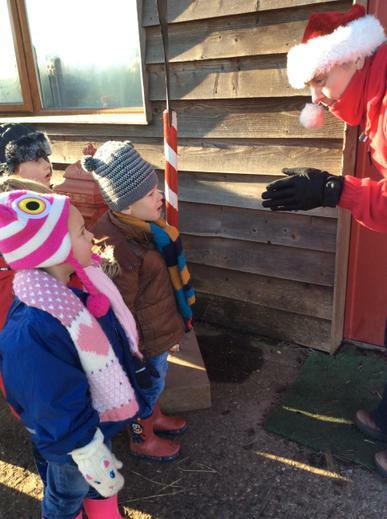 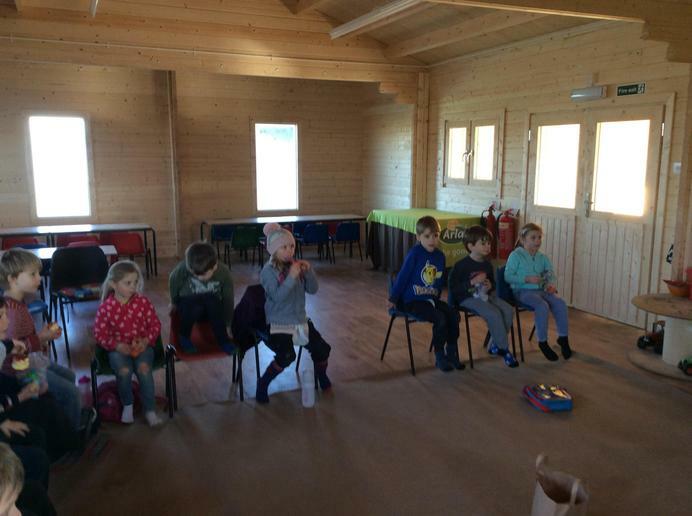 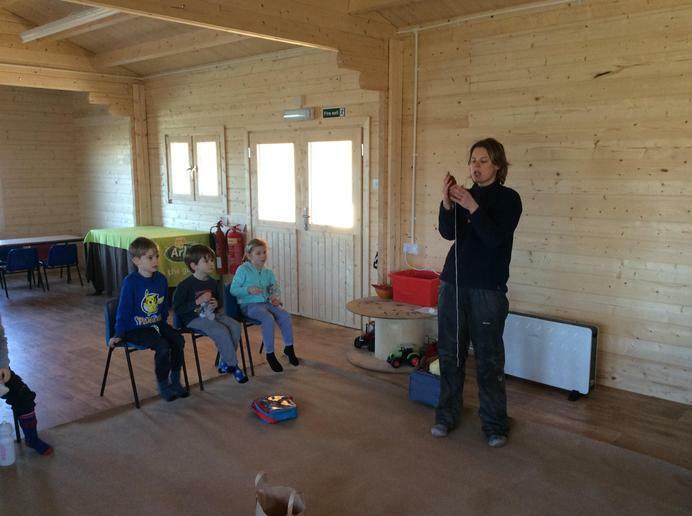 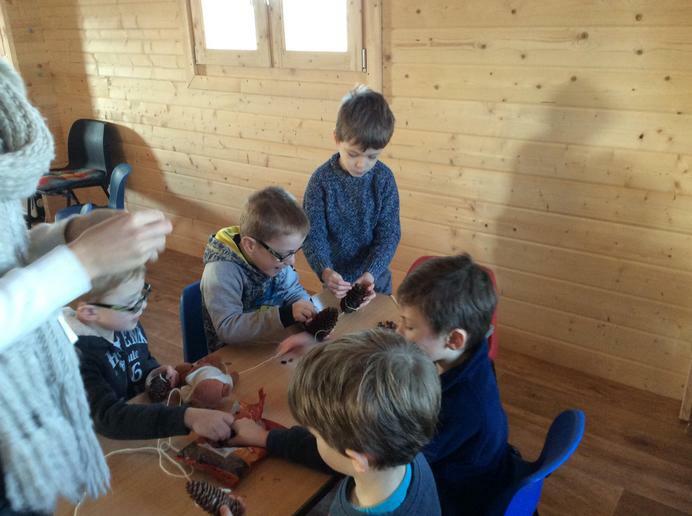 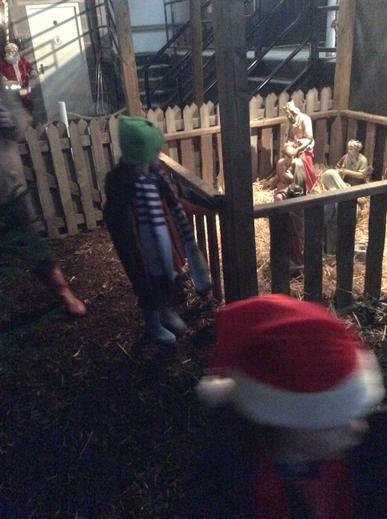 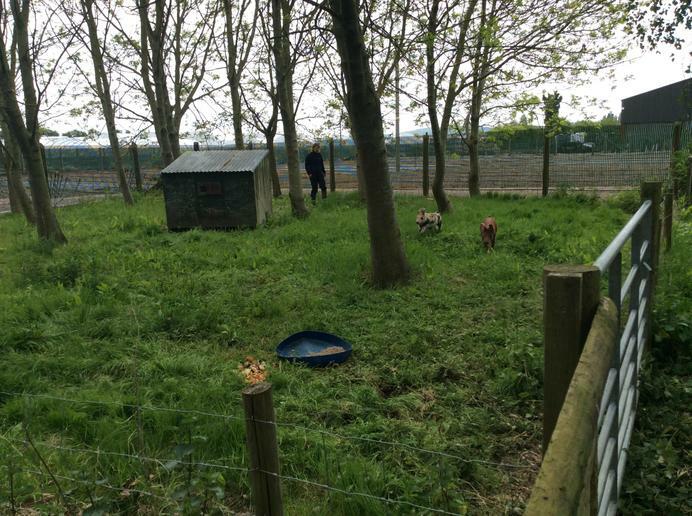 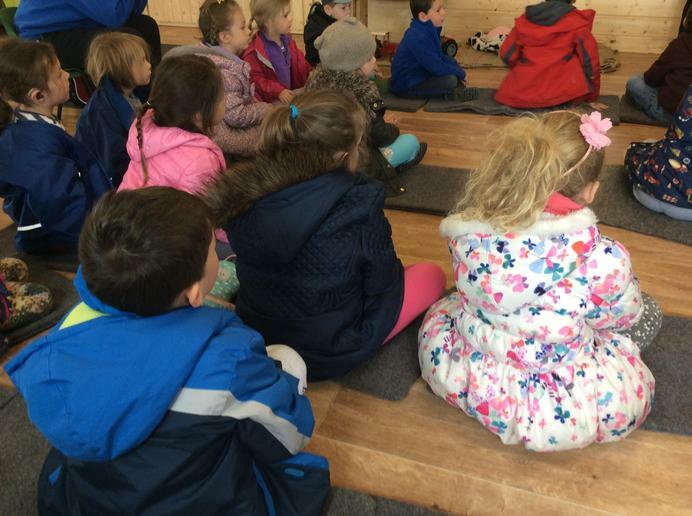 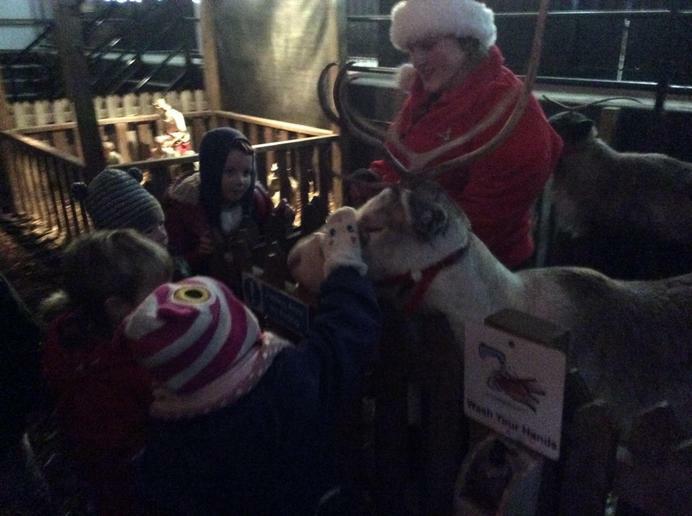 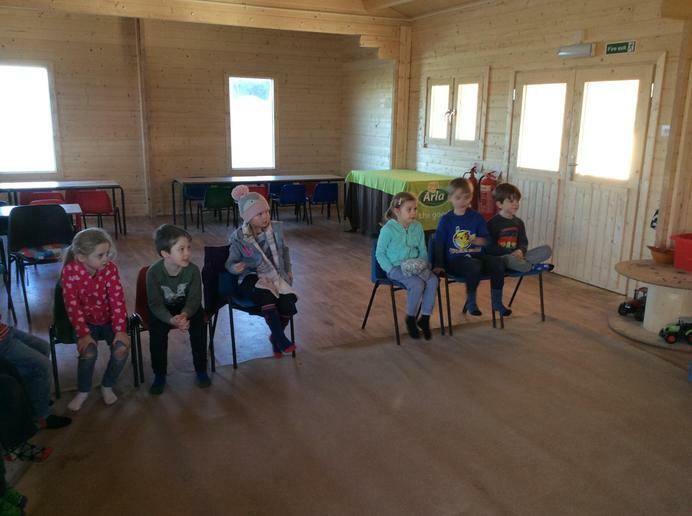 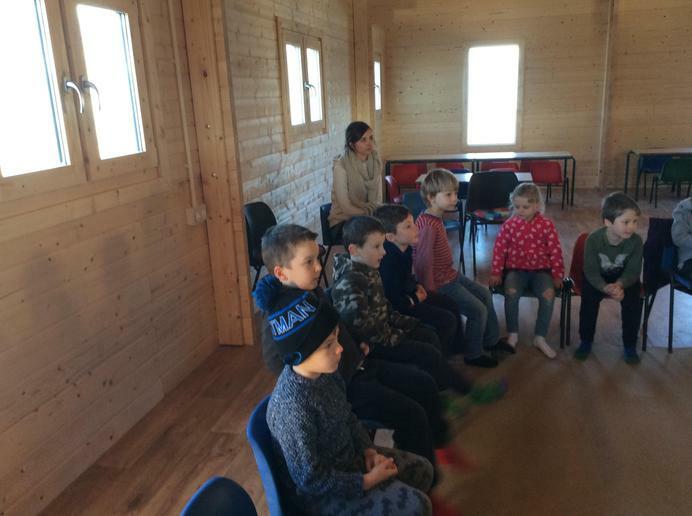 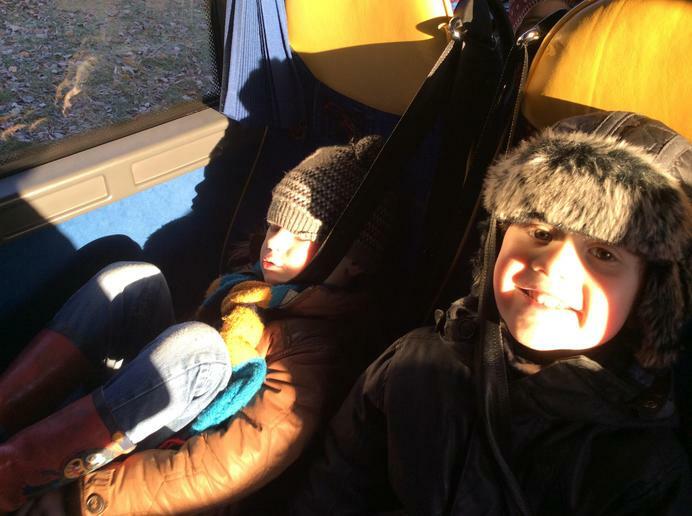 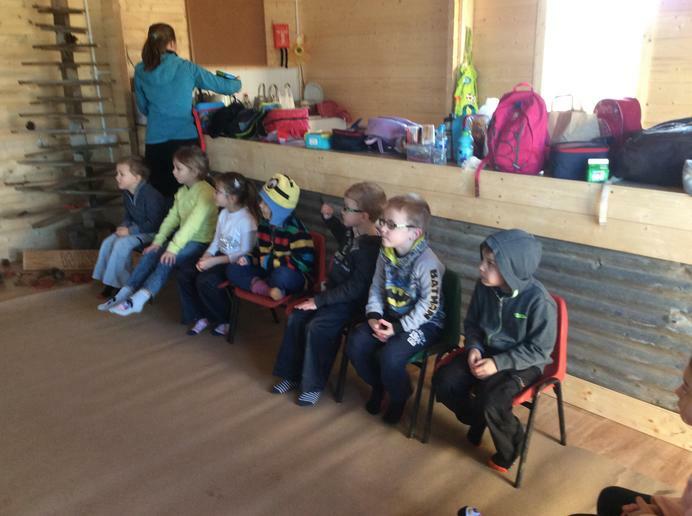 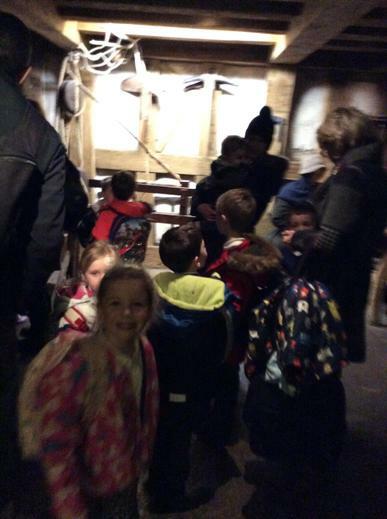 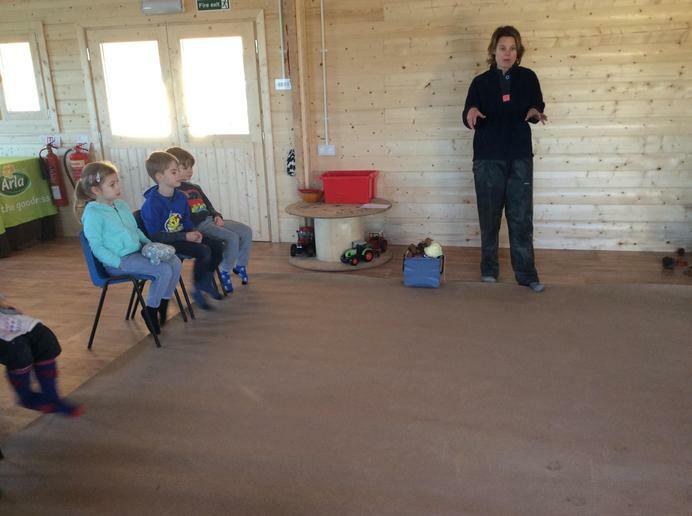 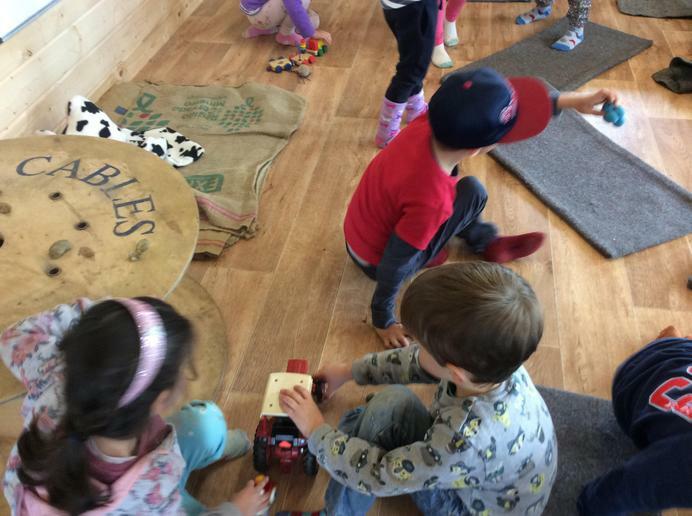 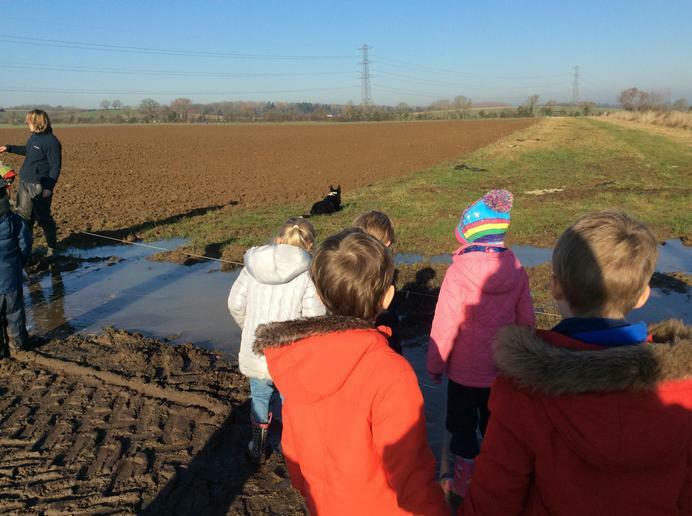 Cats class had a wonderful time at Sandfield Farm. 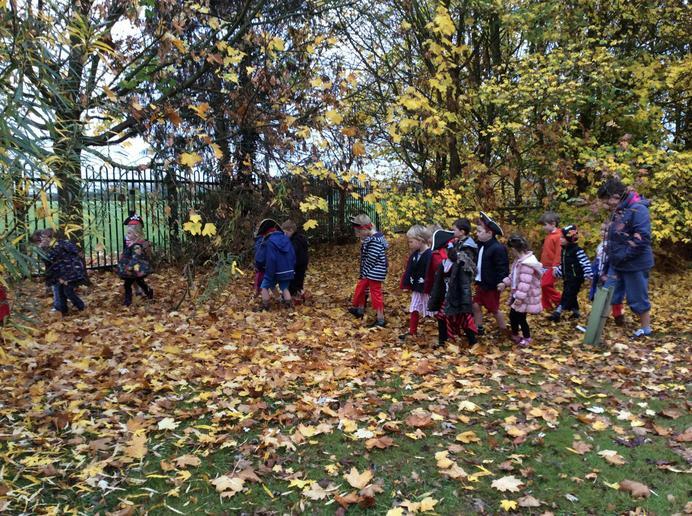 They learnt where flour and milk comes from and we also had an amazing autumn walk which resulted in some super tree collages. 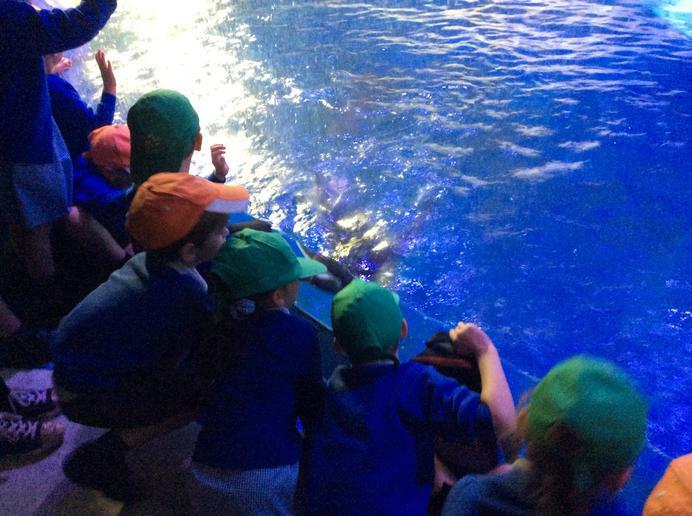 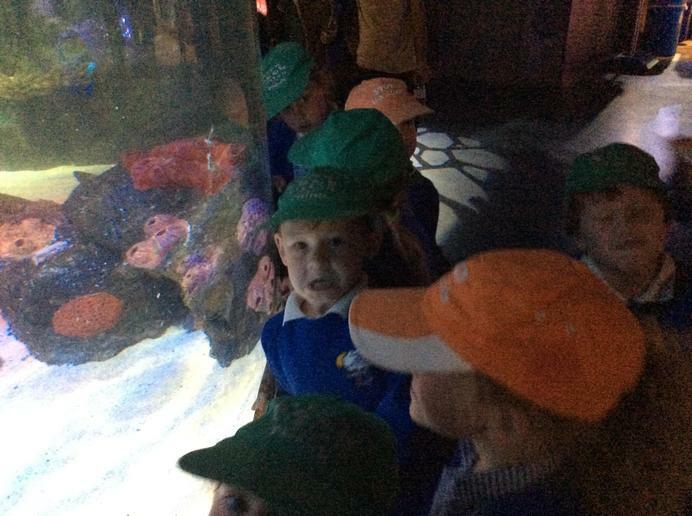 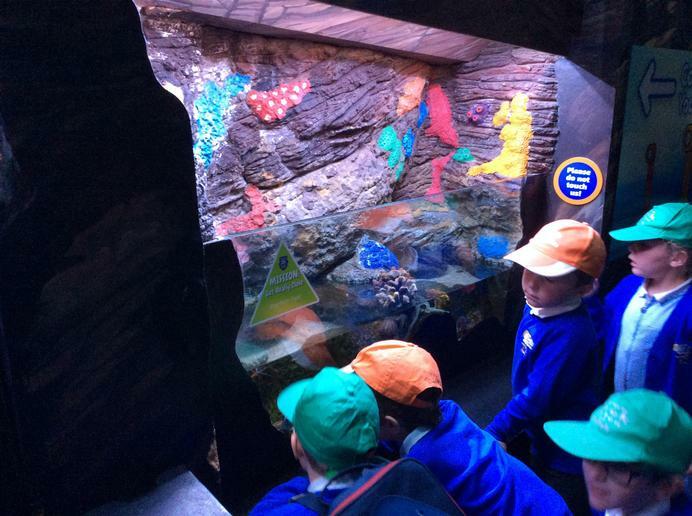 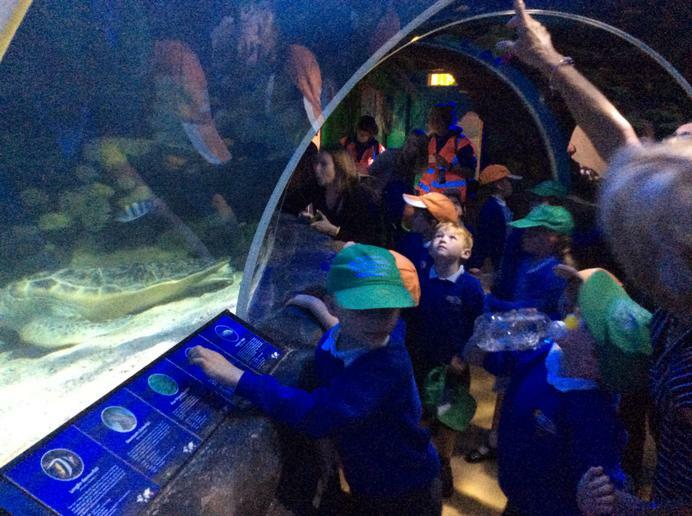 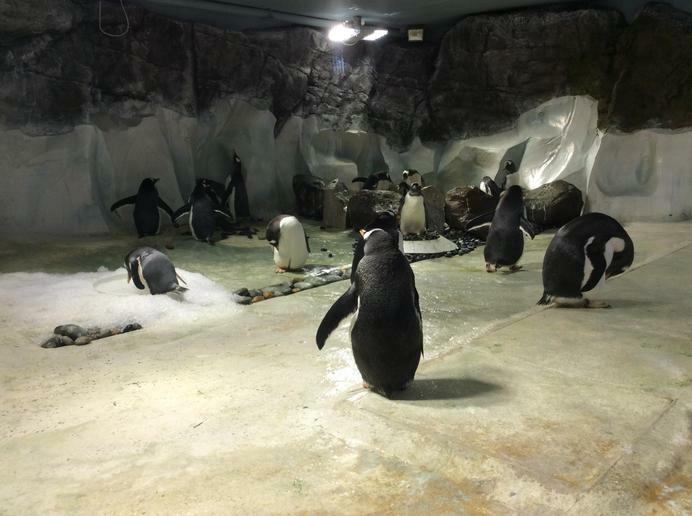 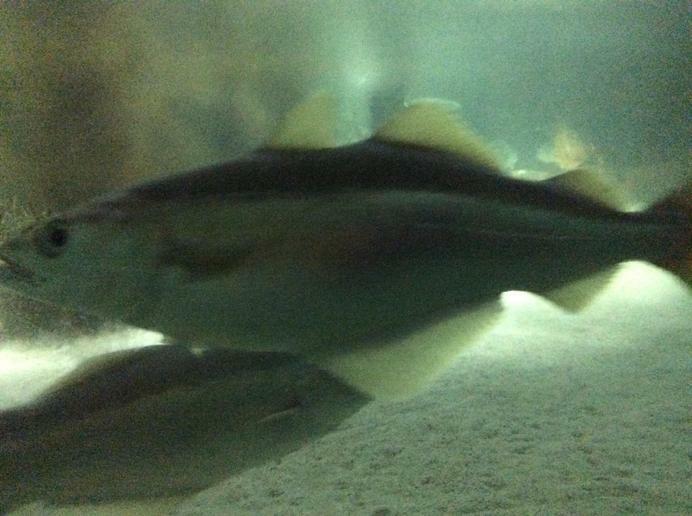 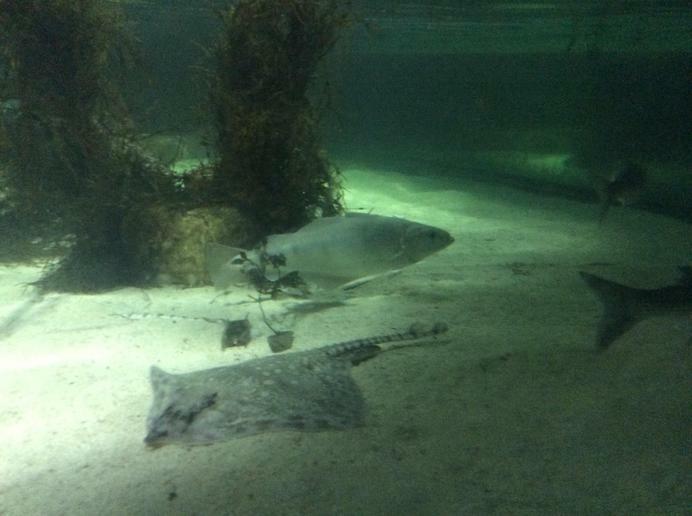 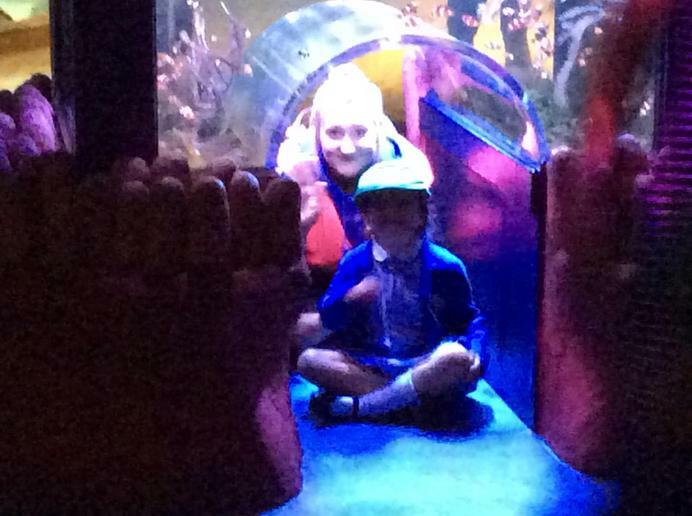 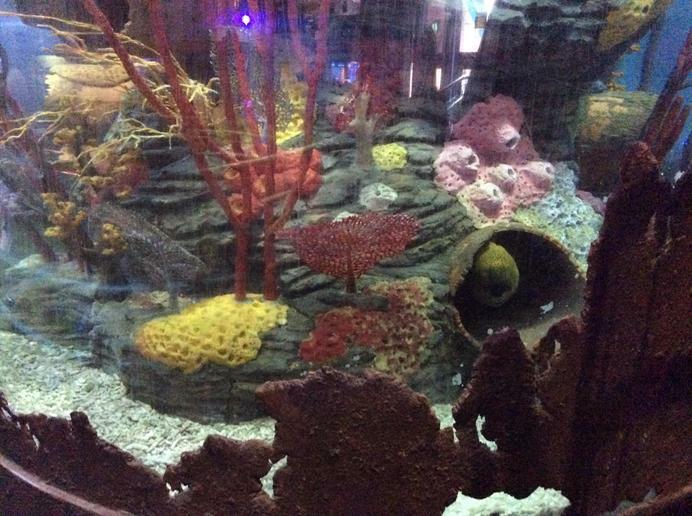 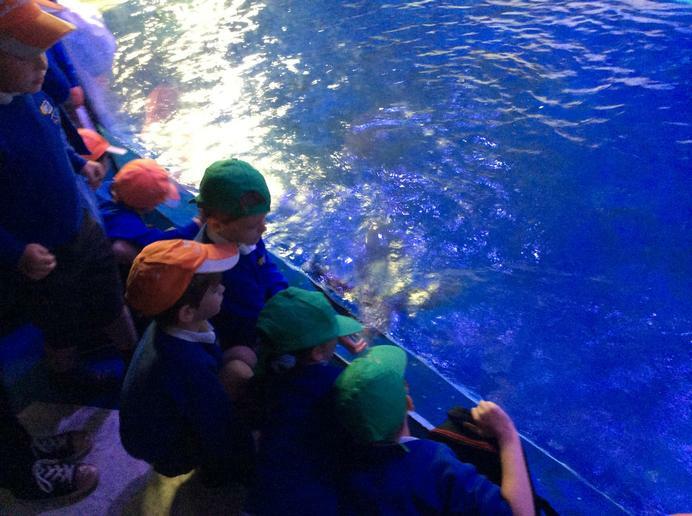 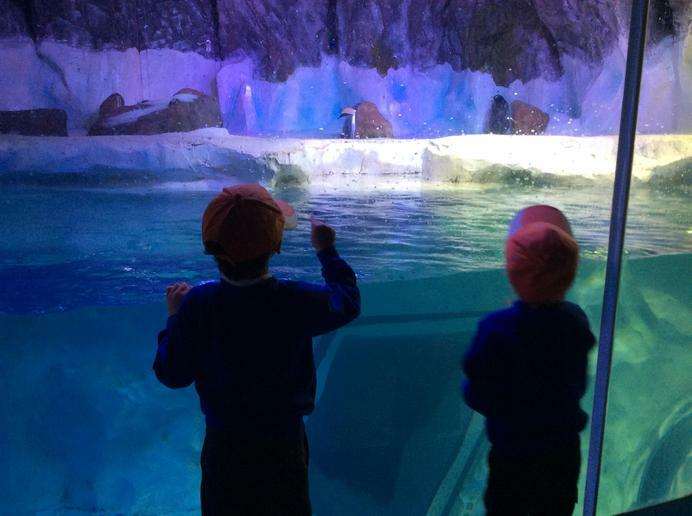 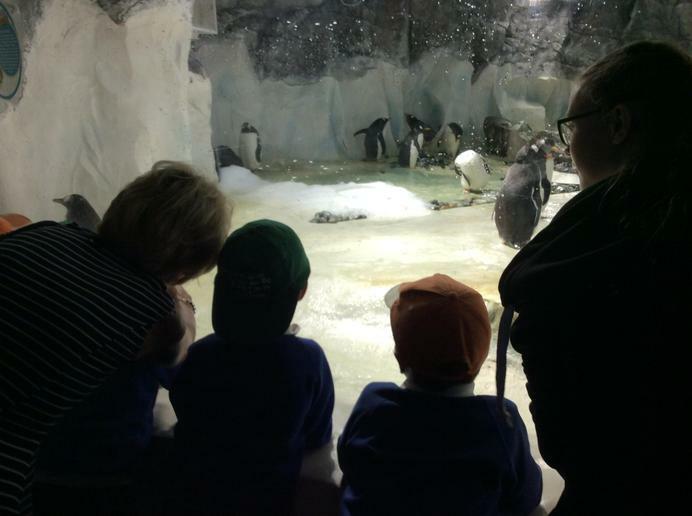 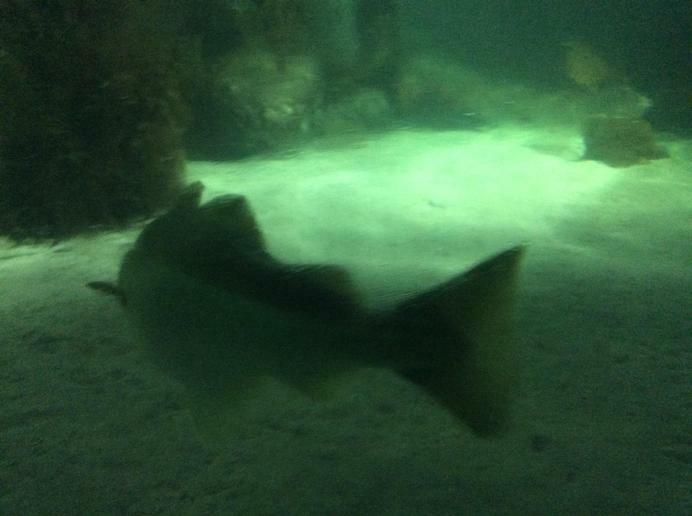 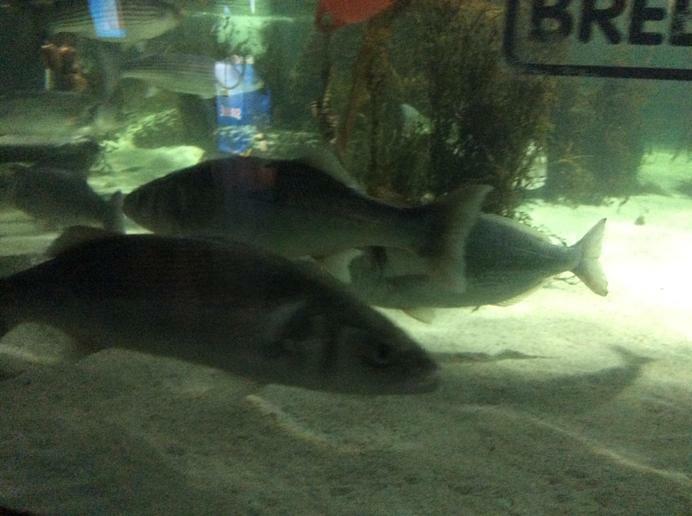 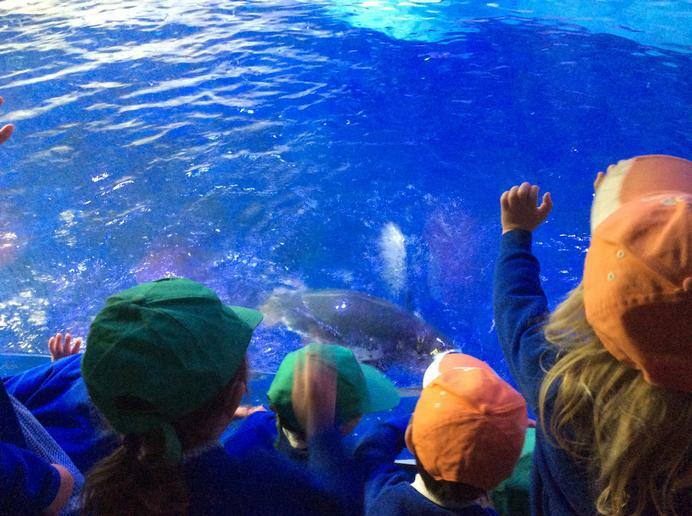 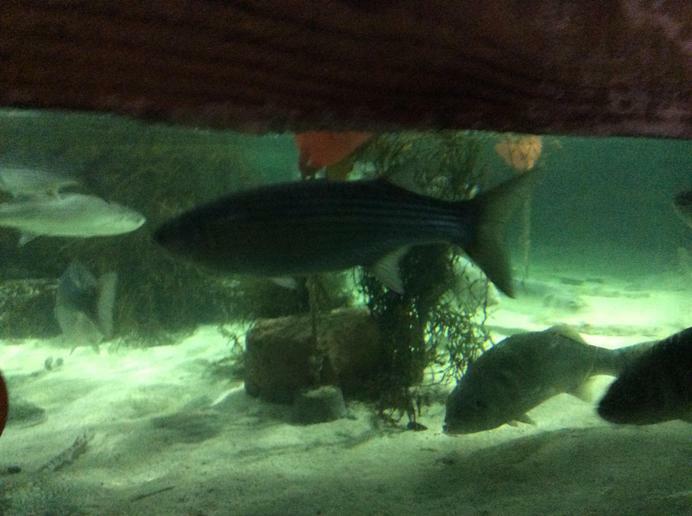 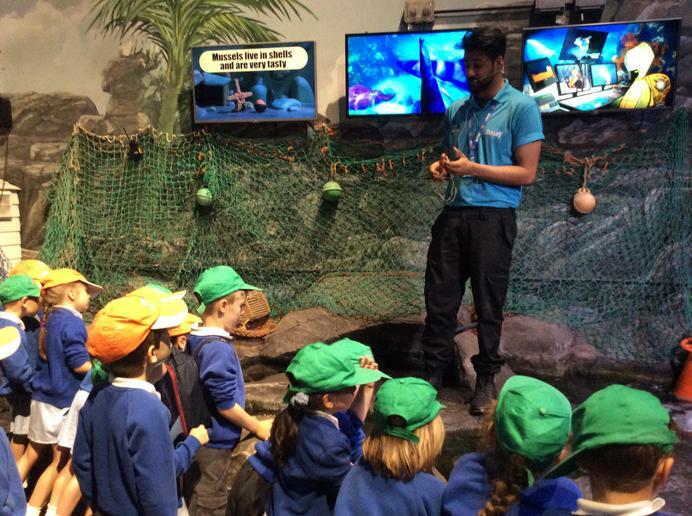 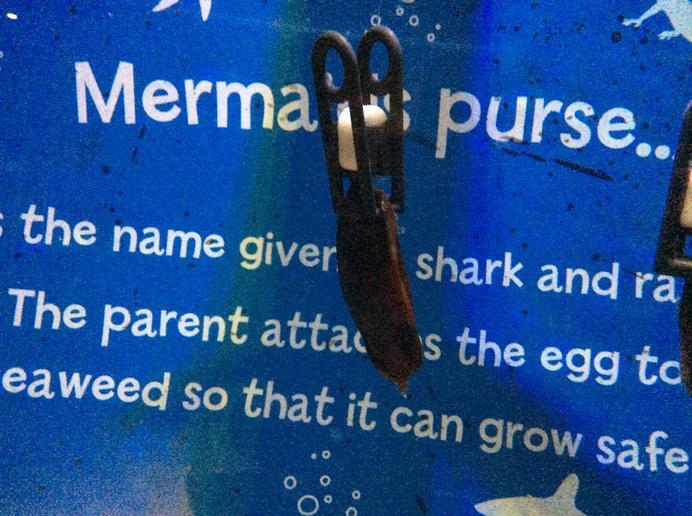 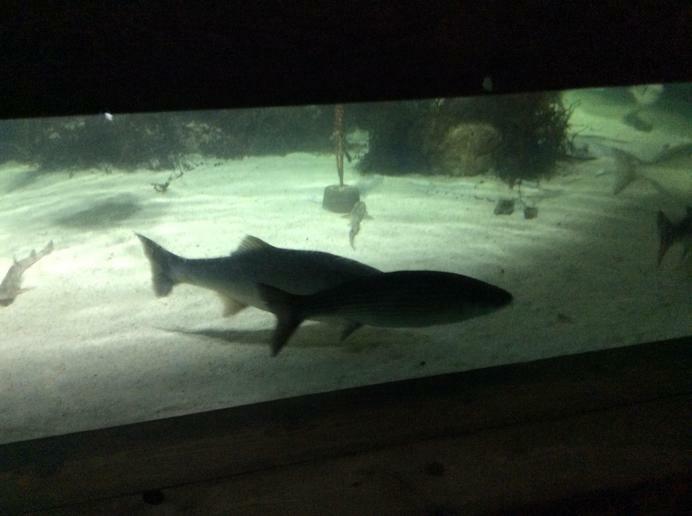 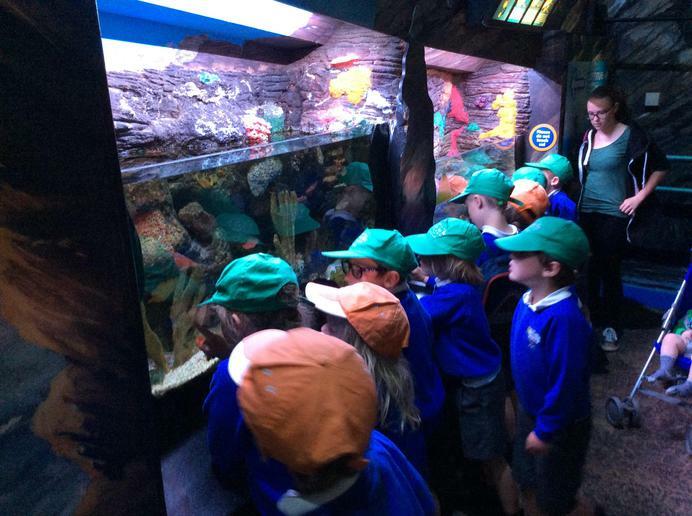 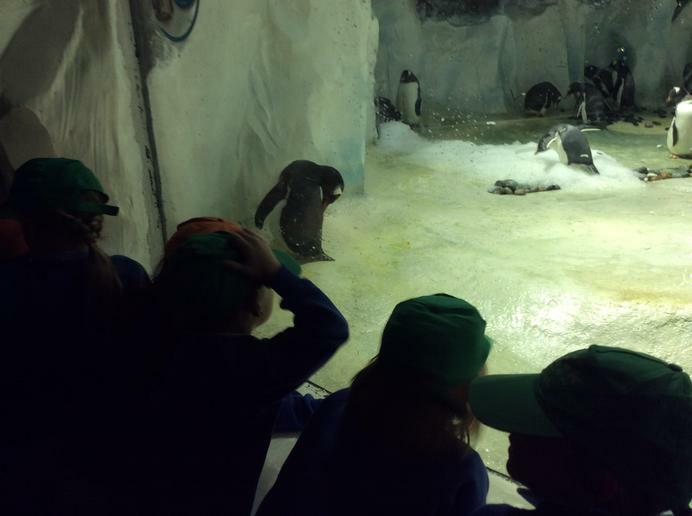 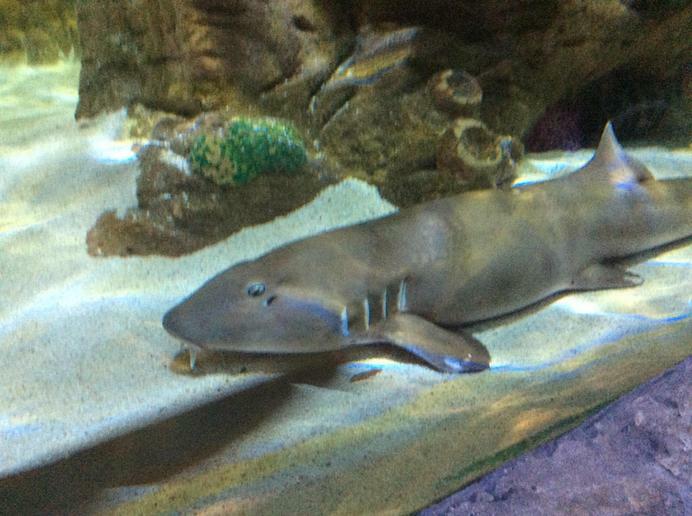 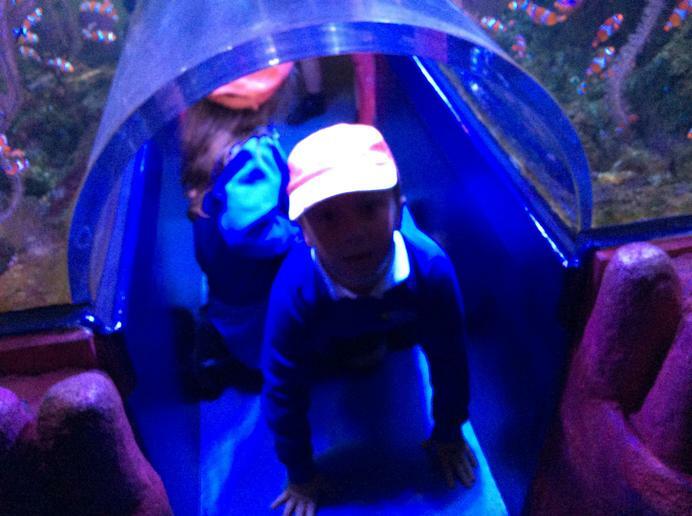 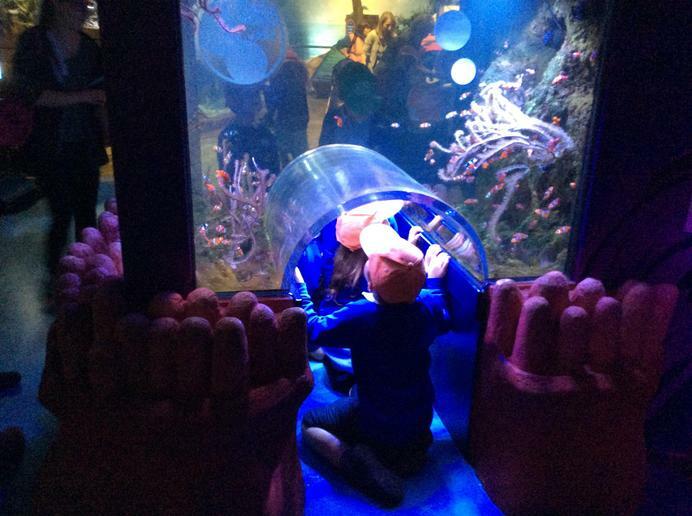 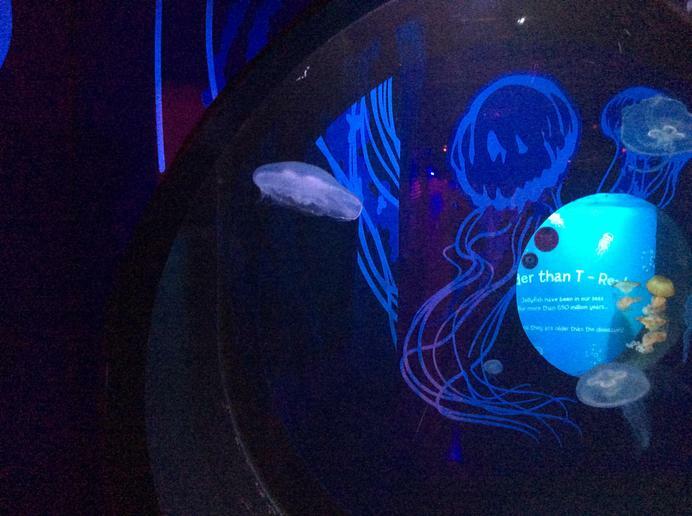 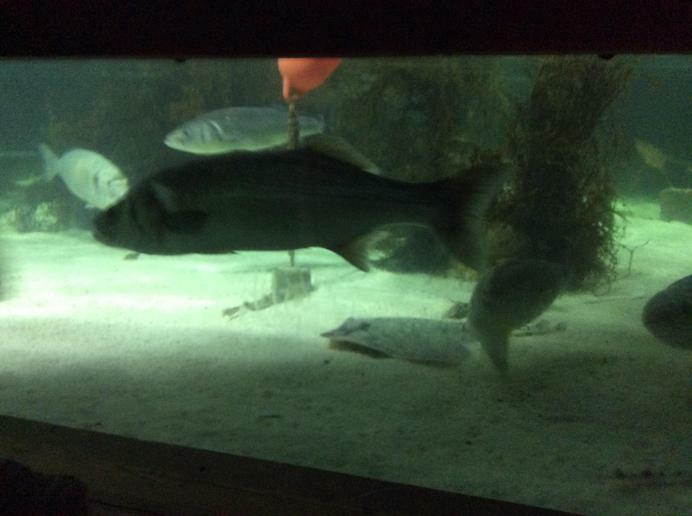 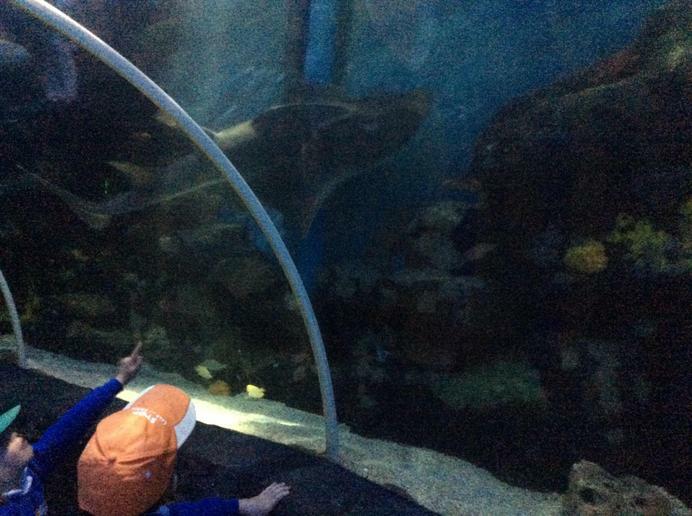 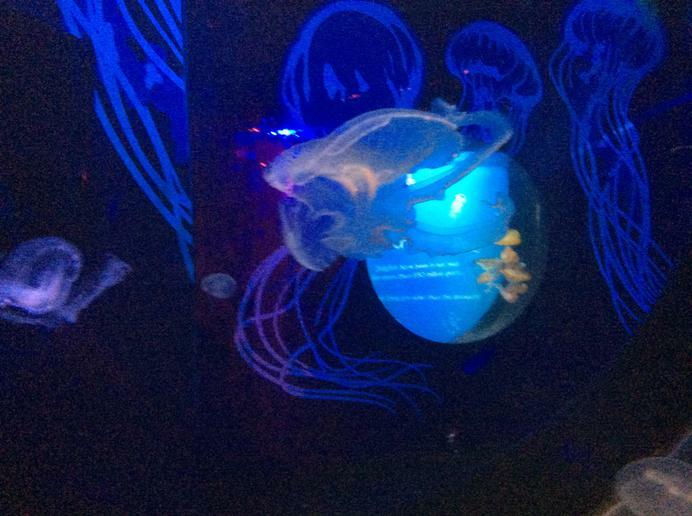 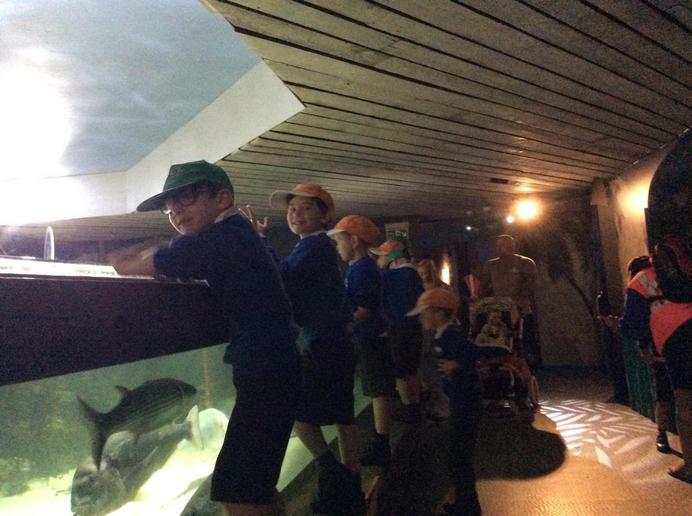 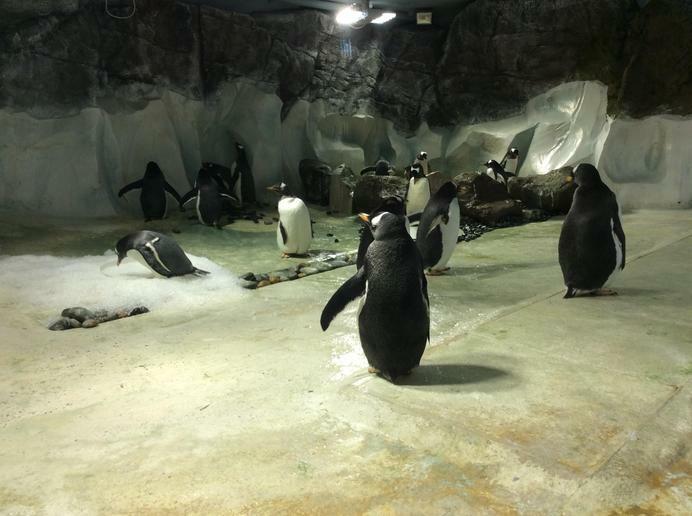 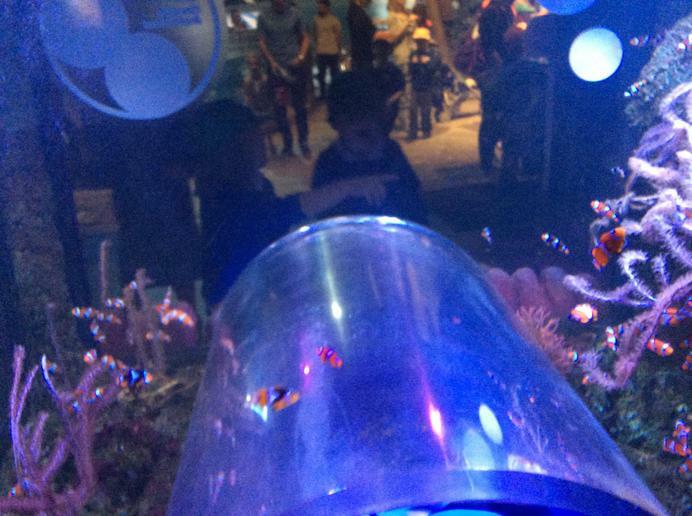 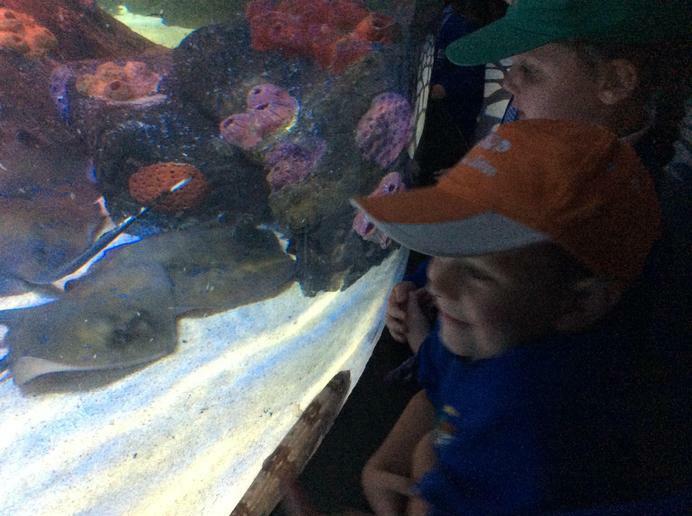 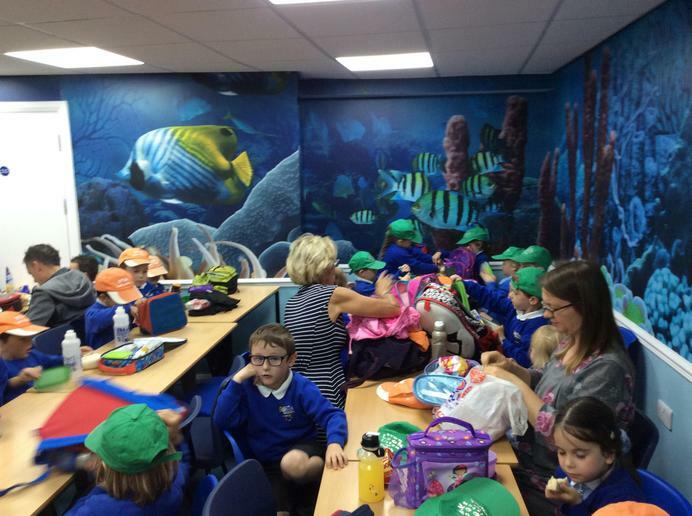 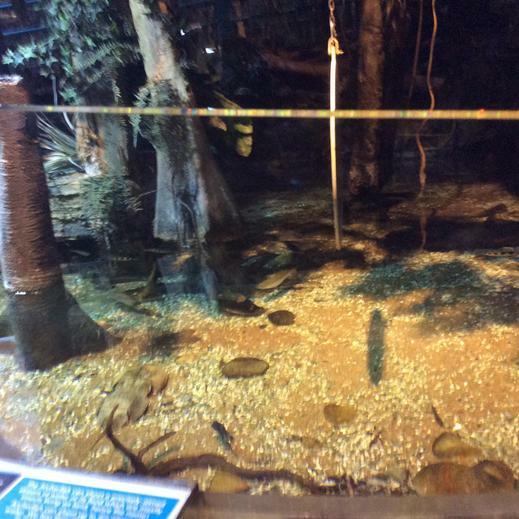 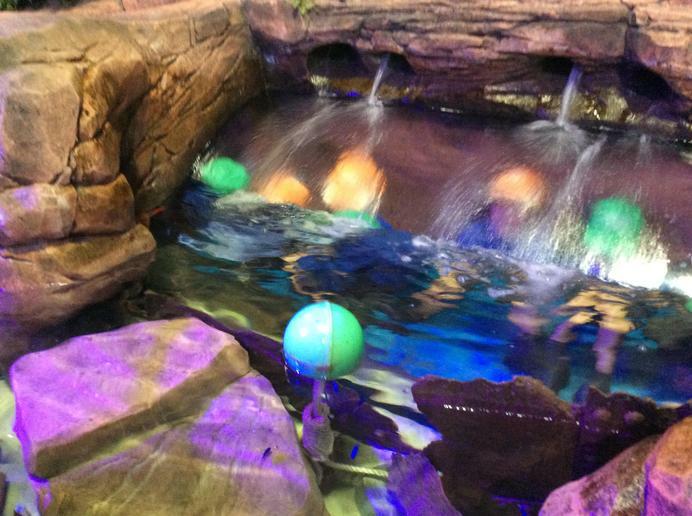 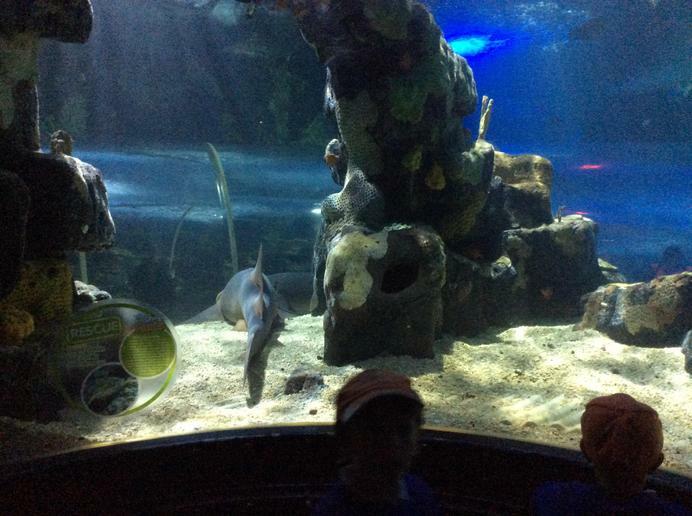 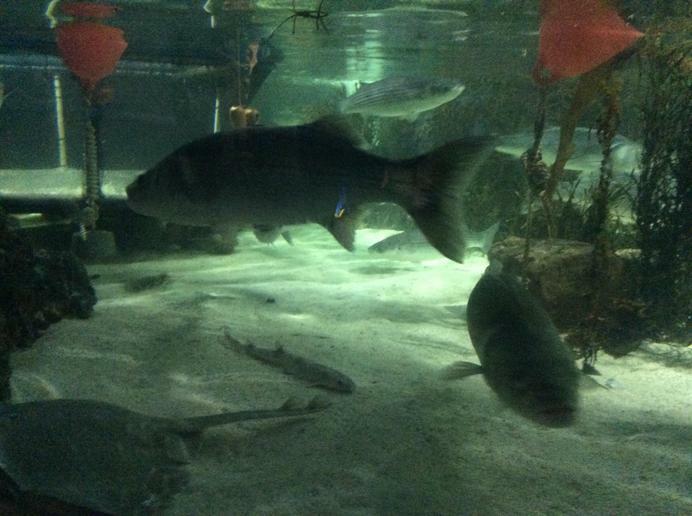 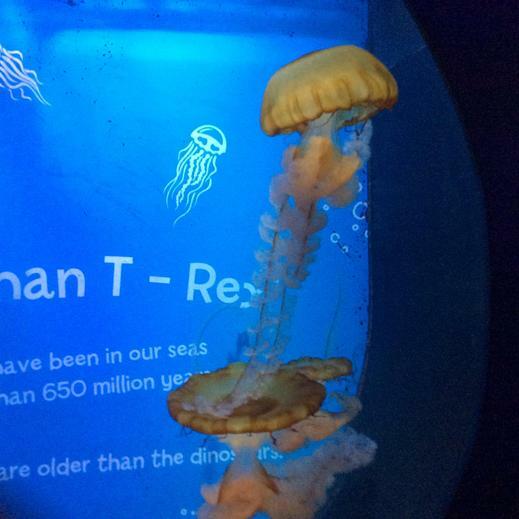 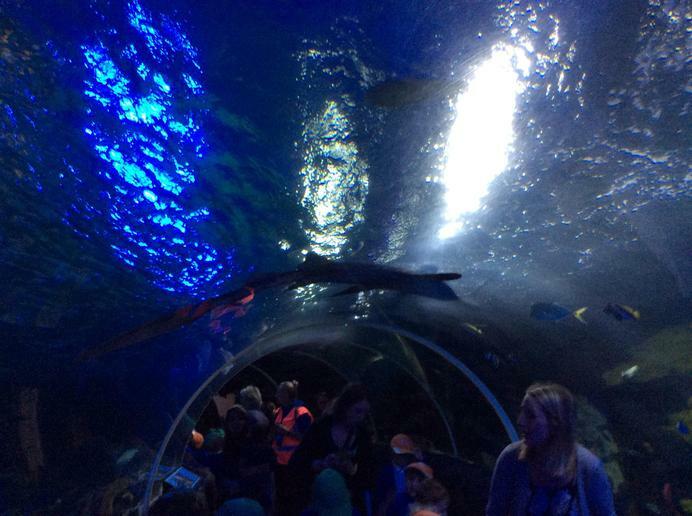 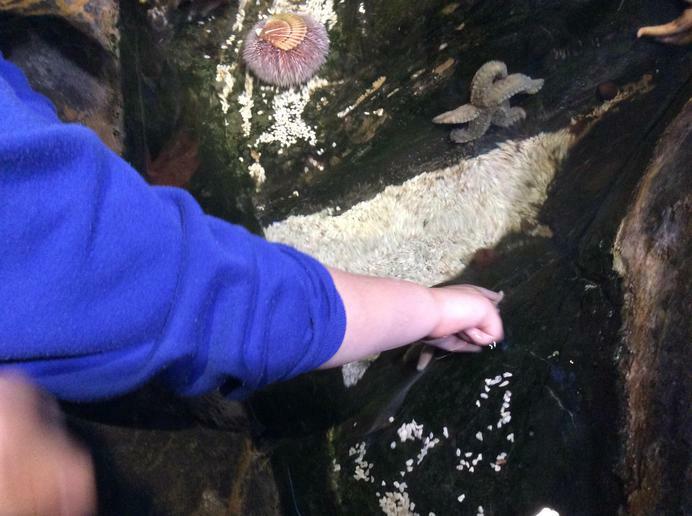 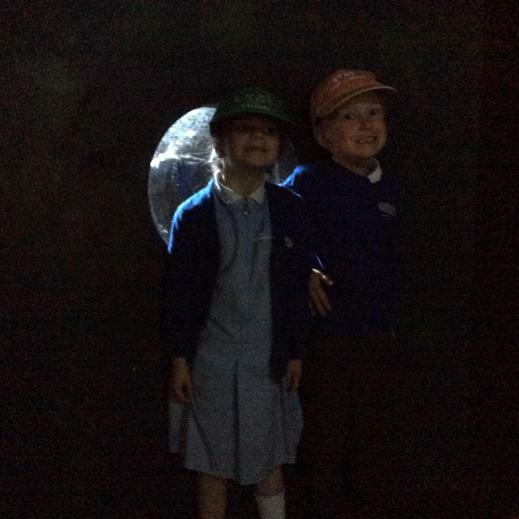 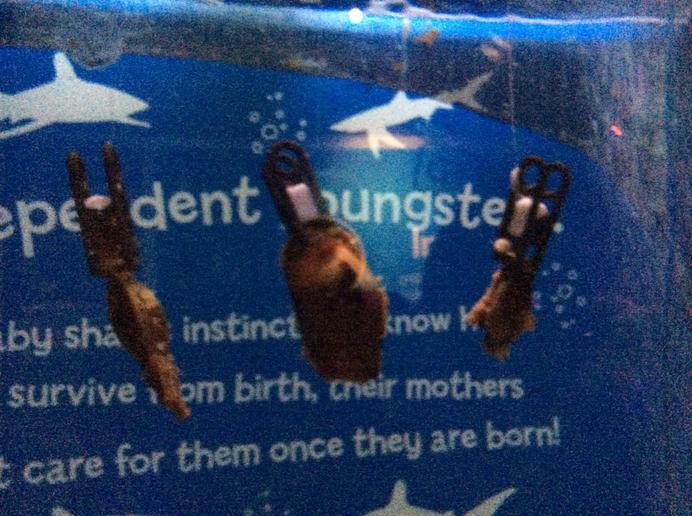 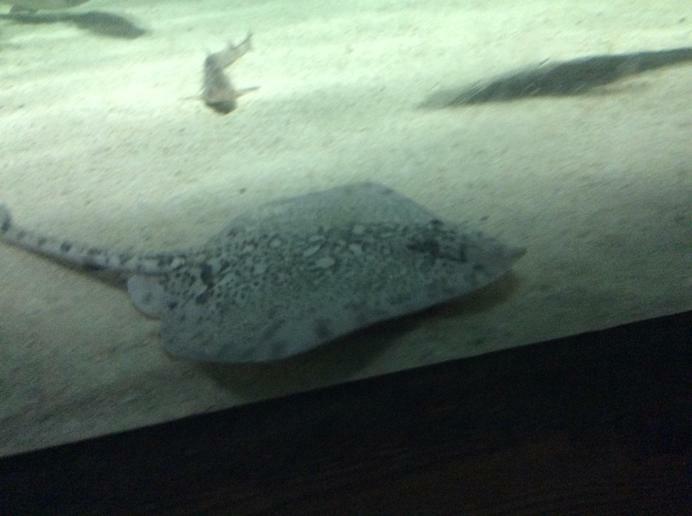 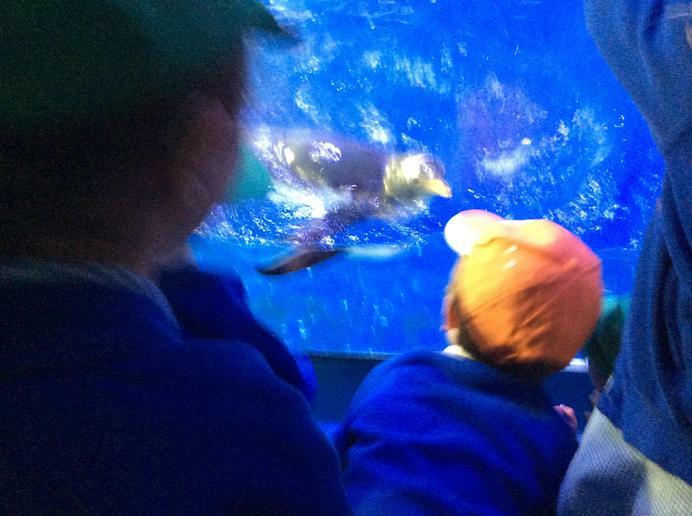 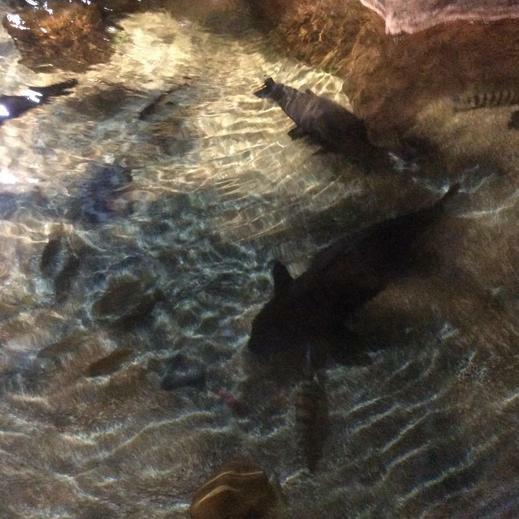 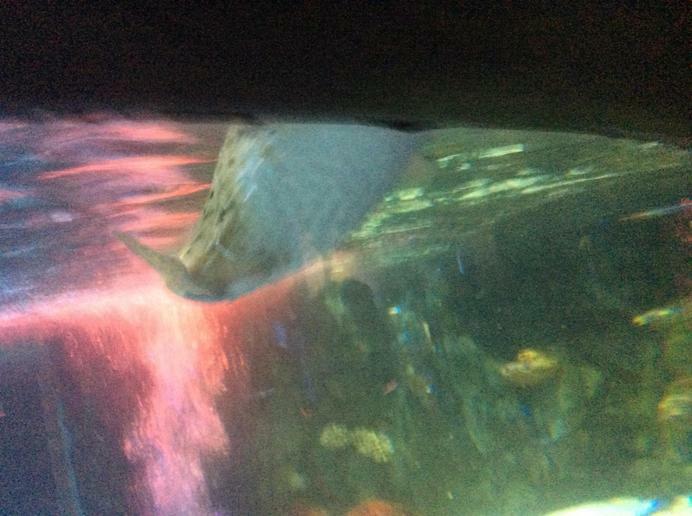 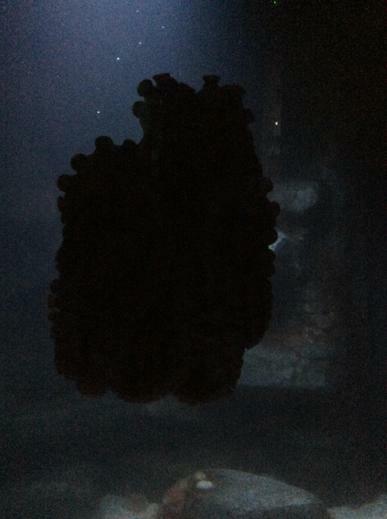 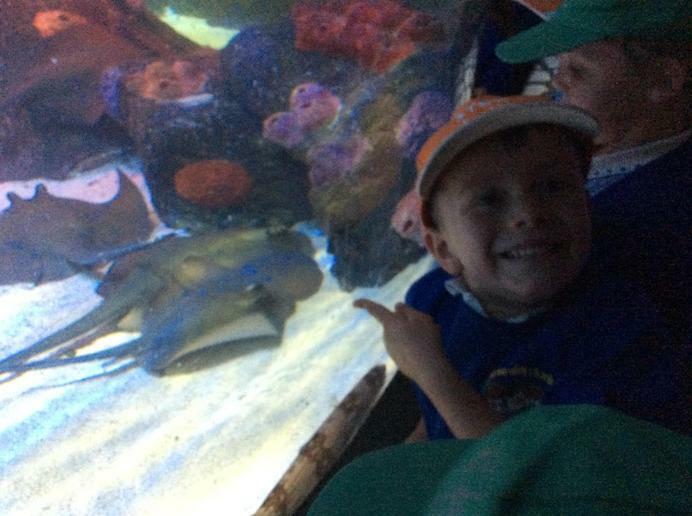 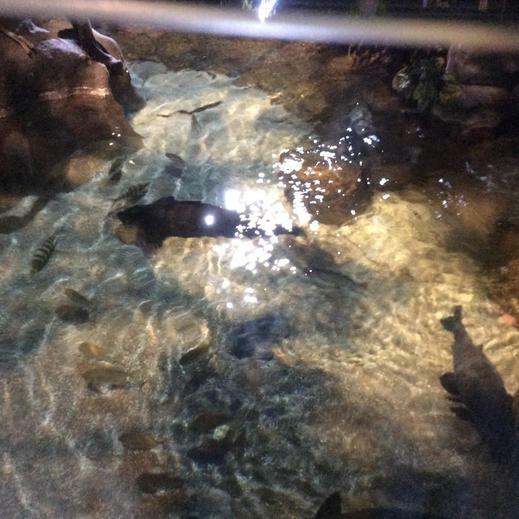 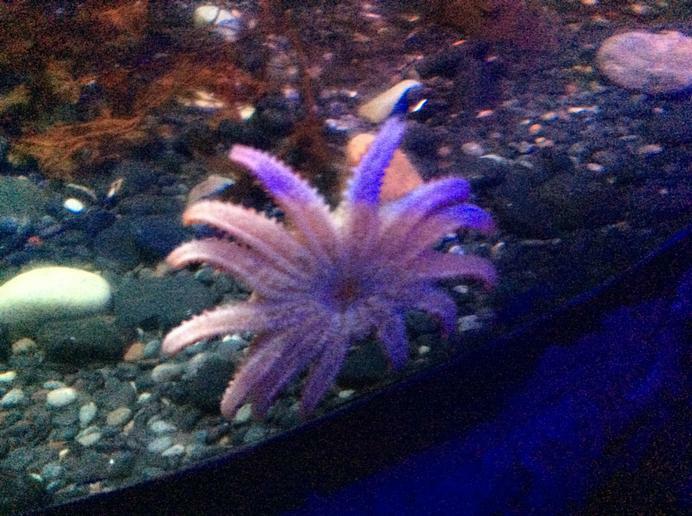 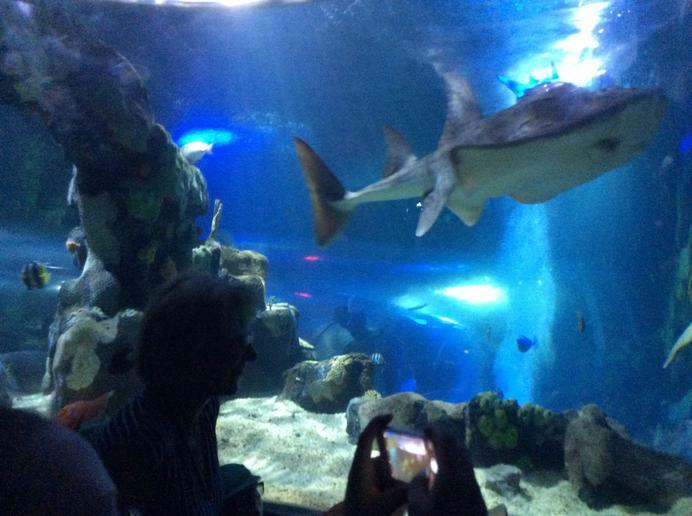 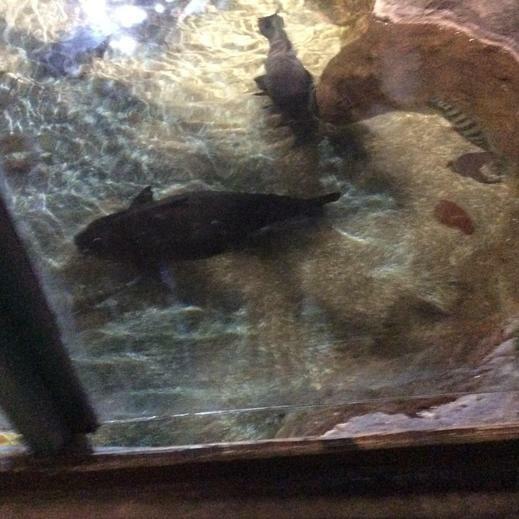 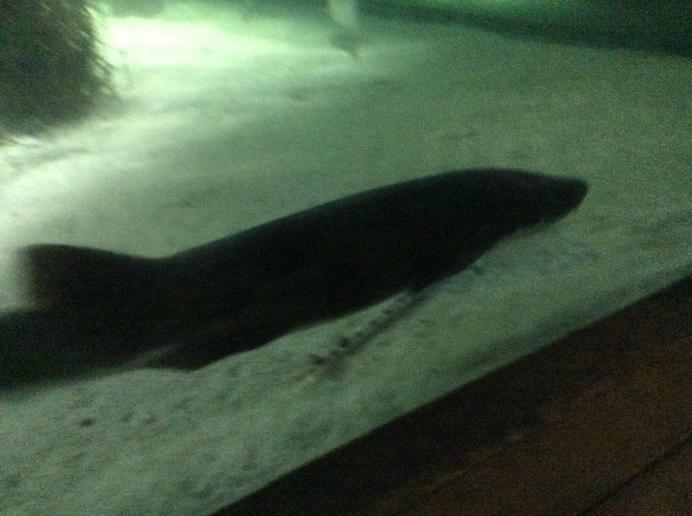 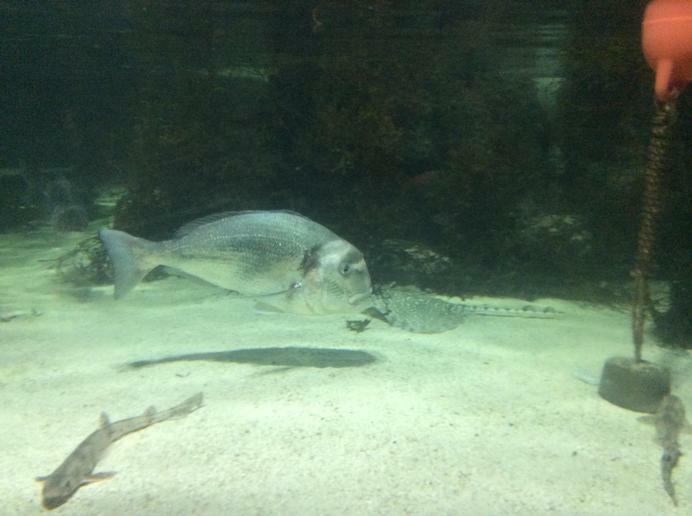 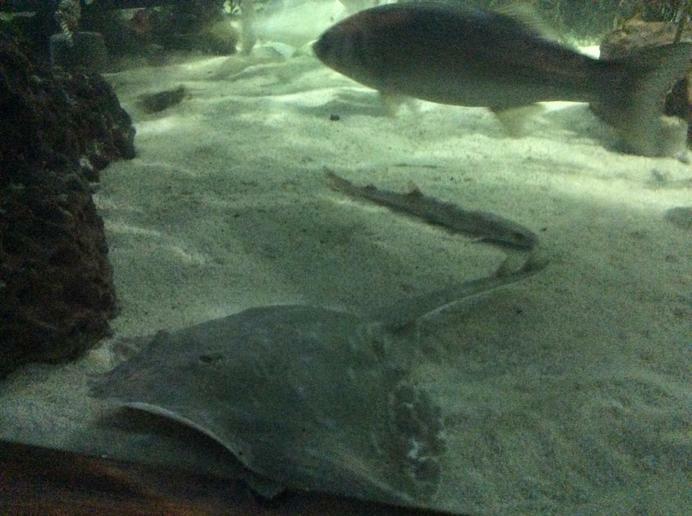 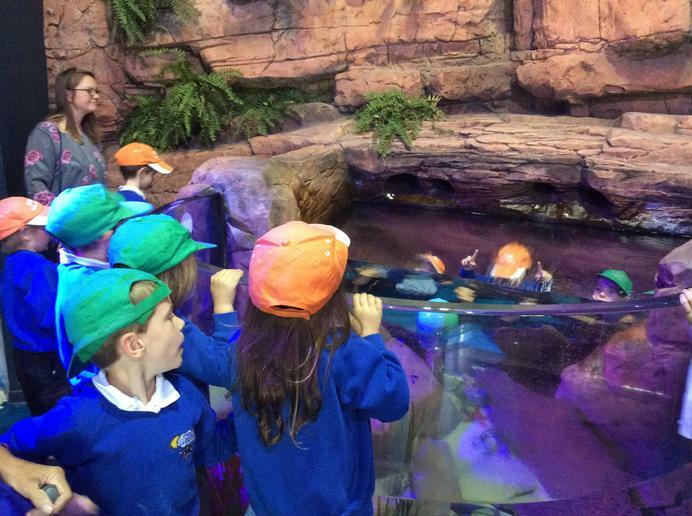 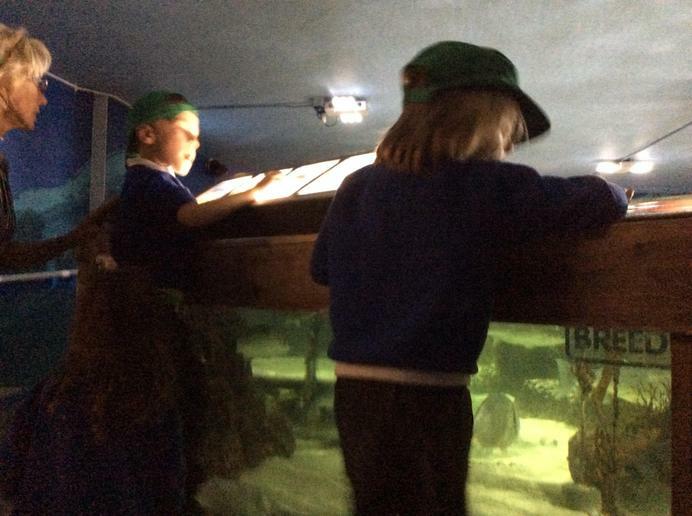 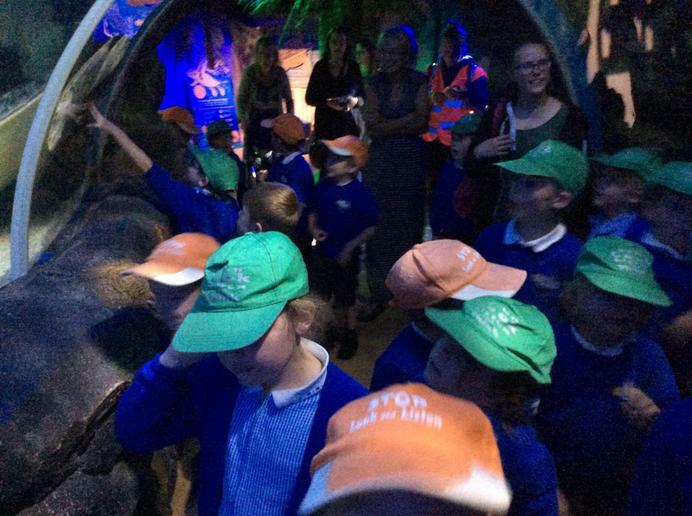 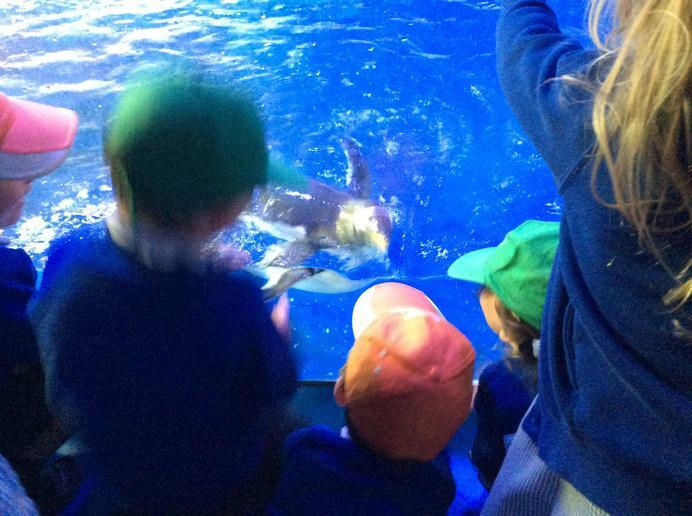 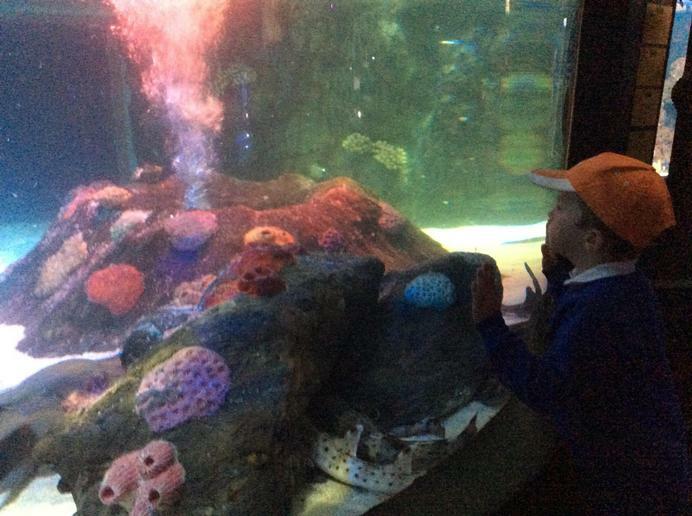 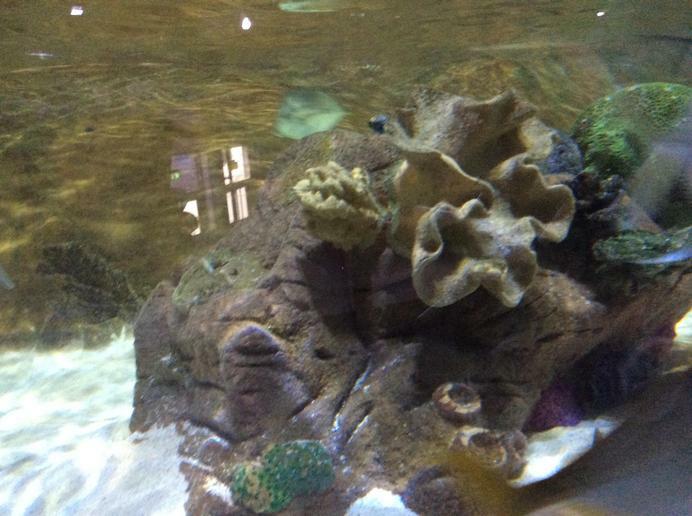 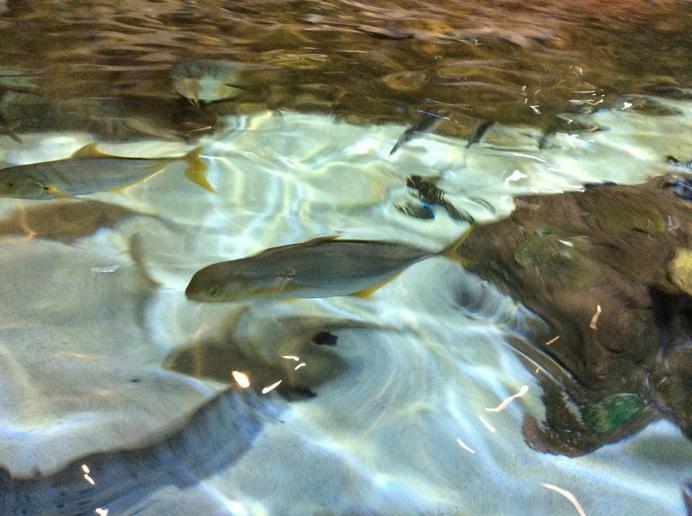 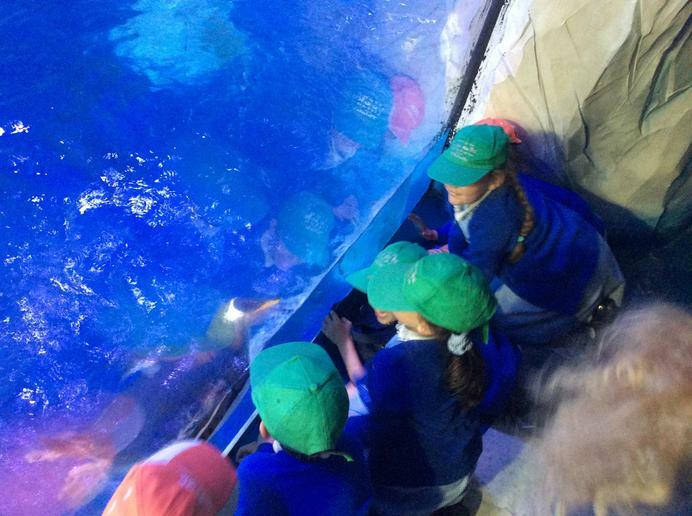 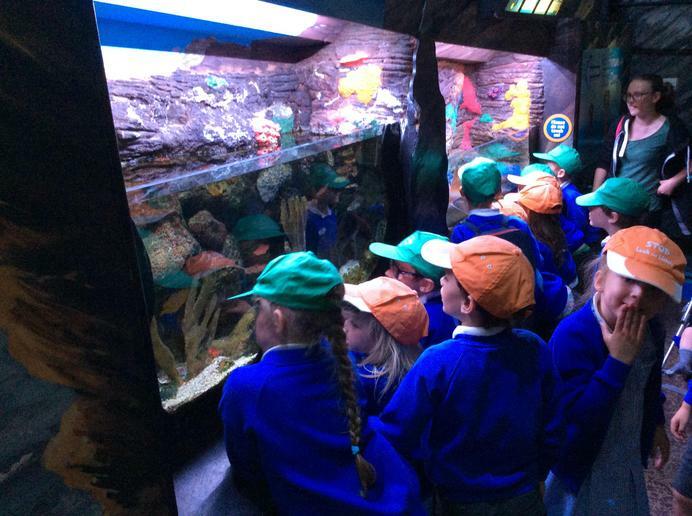 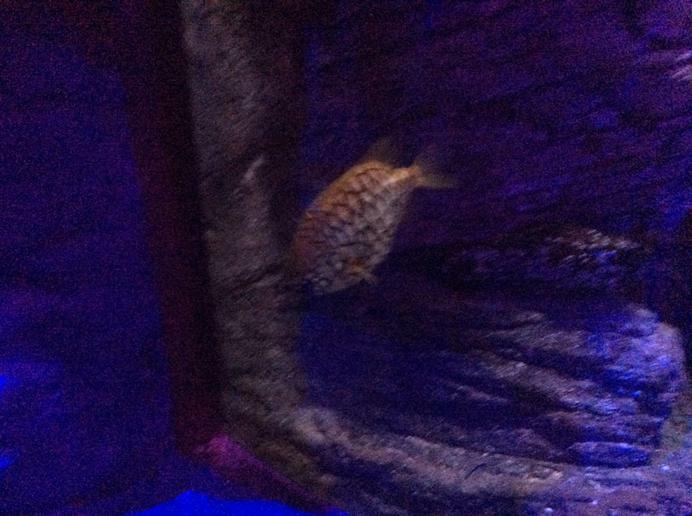 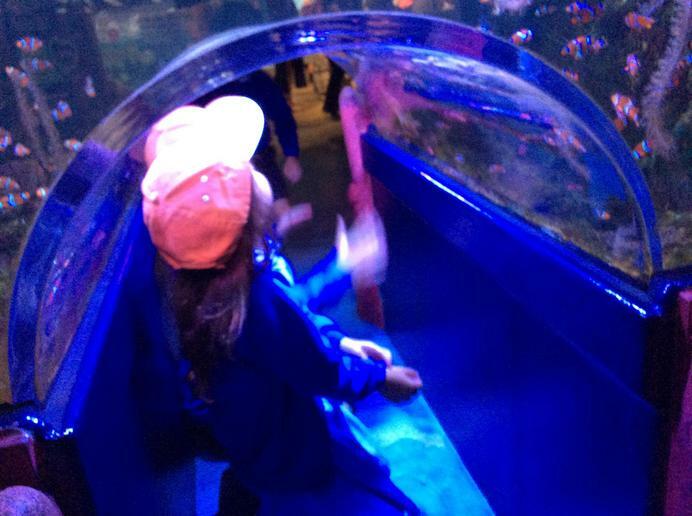 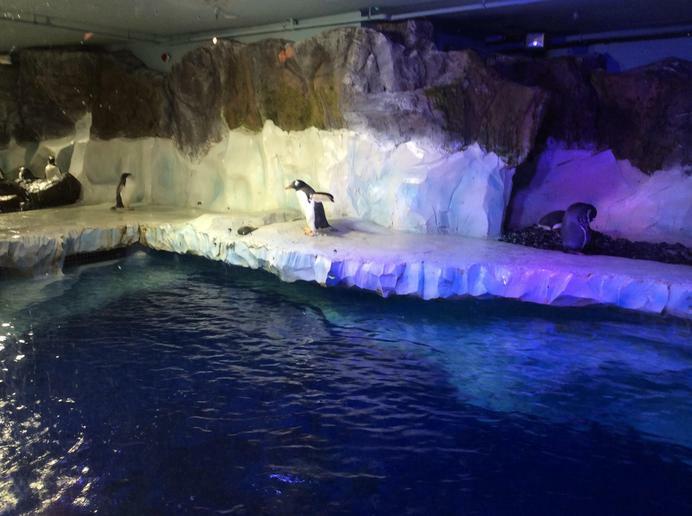 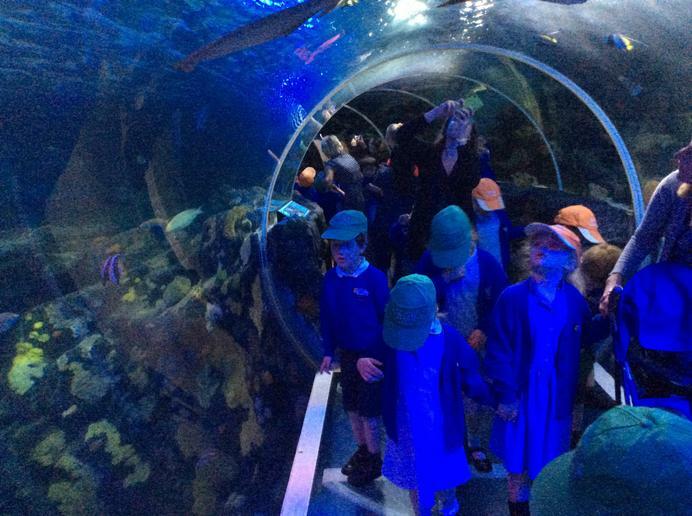 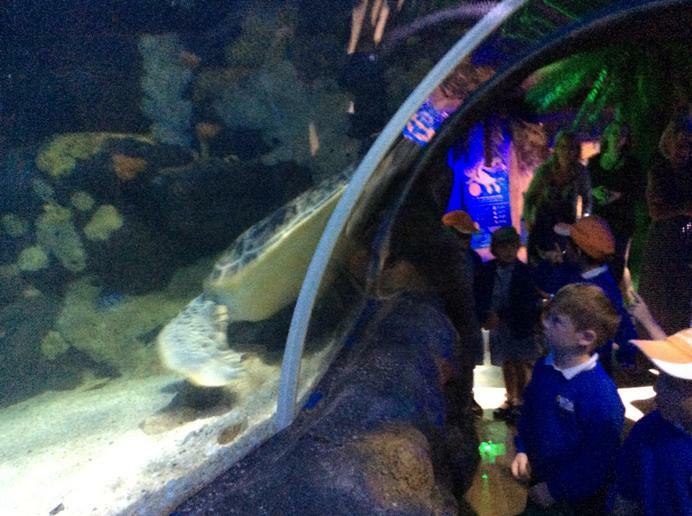 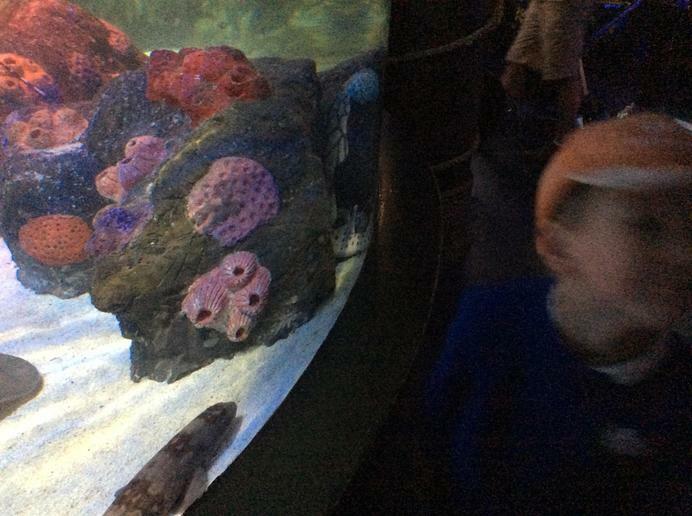 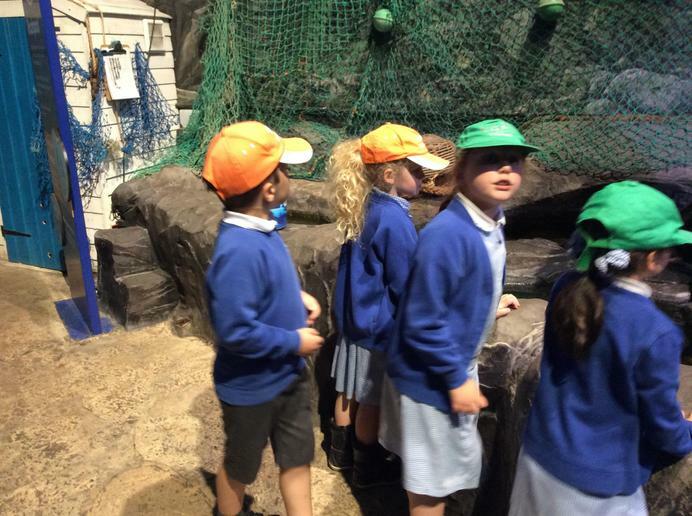 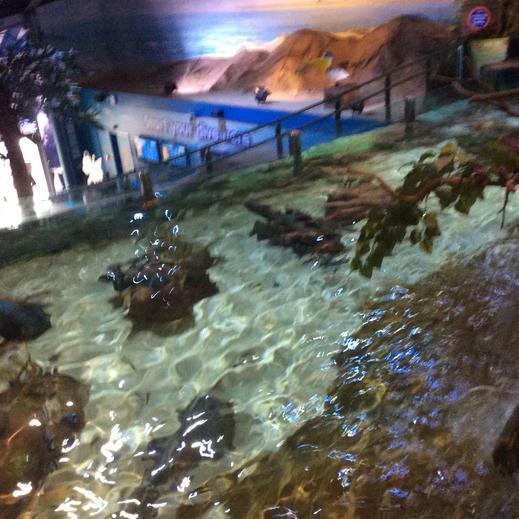 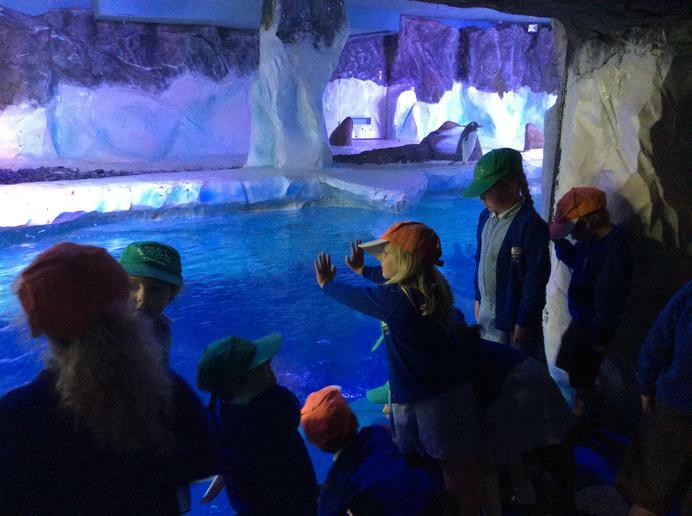 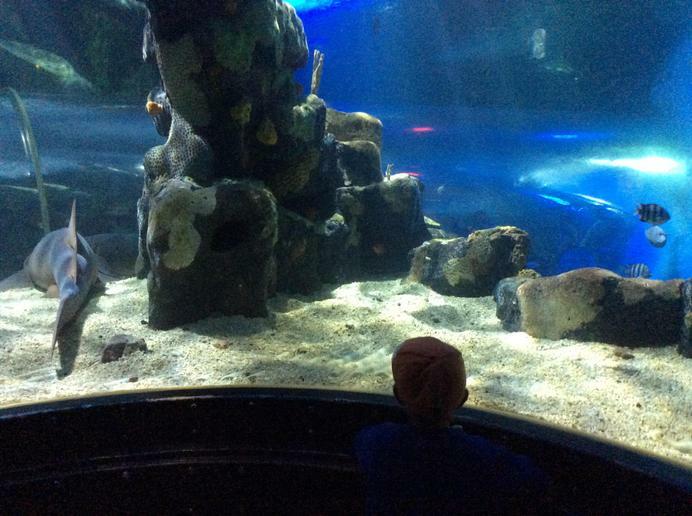 Sealife Centre...we had a wonderful time learning about the different marine animals. 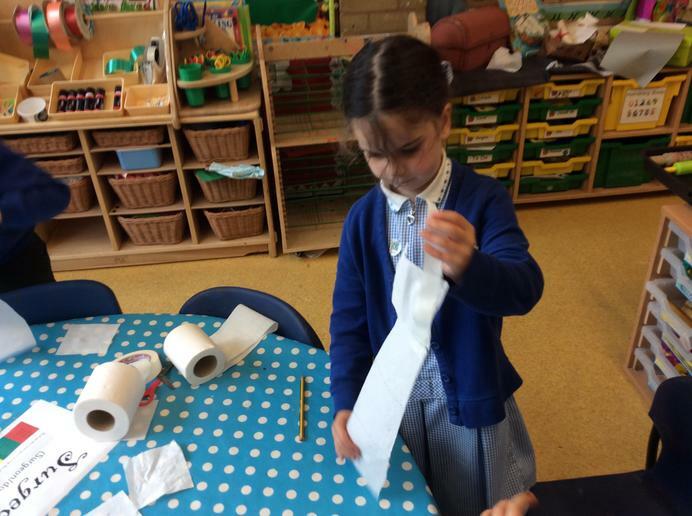 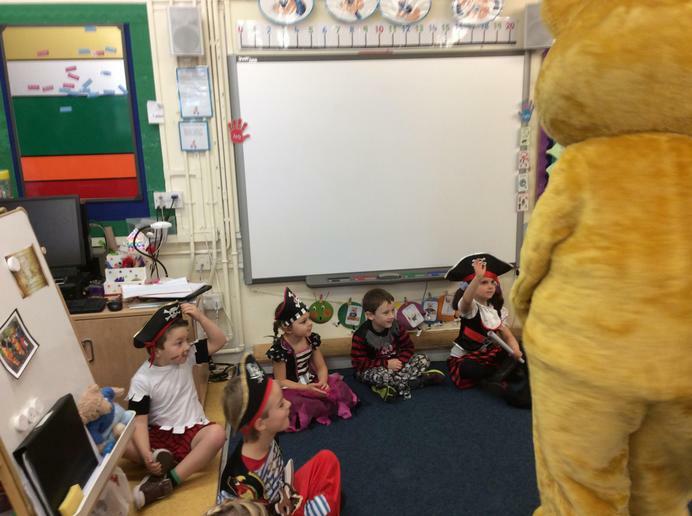 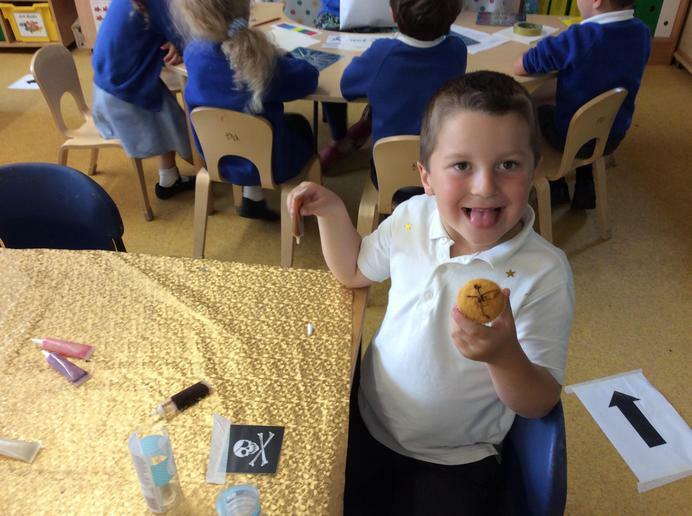 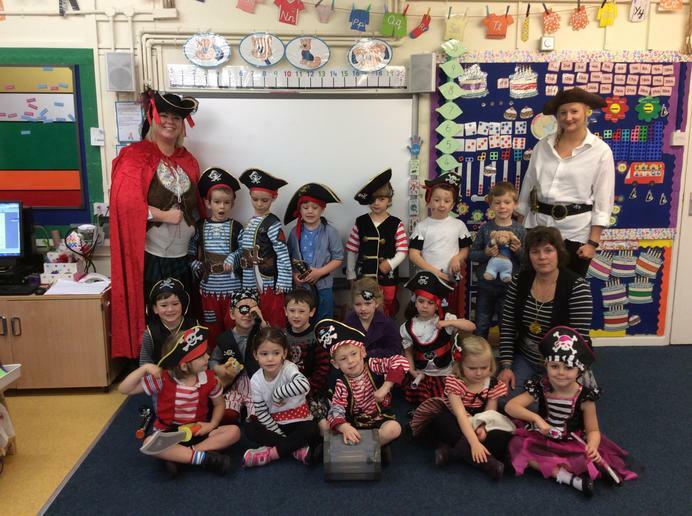 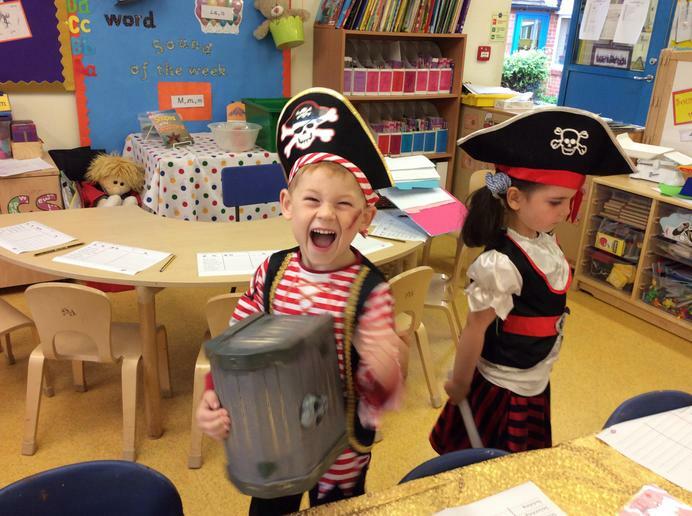 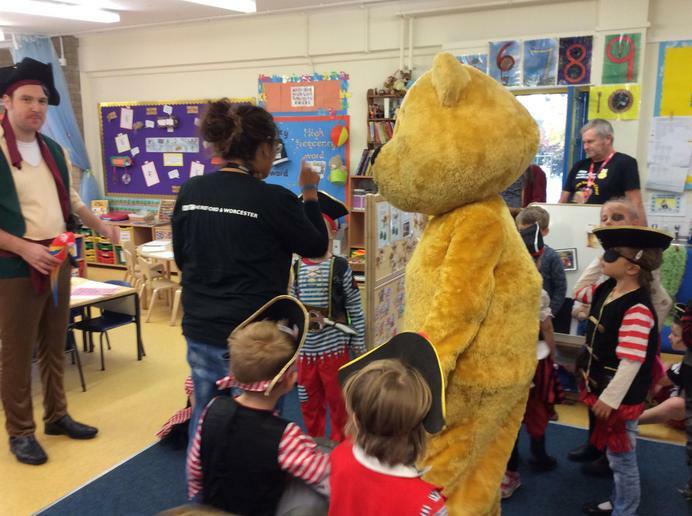 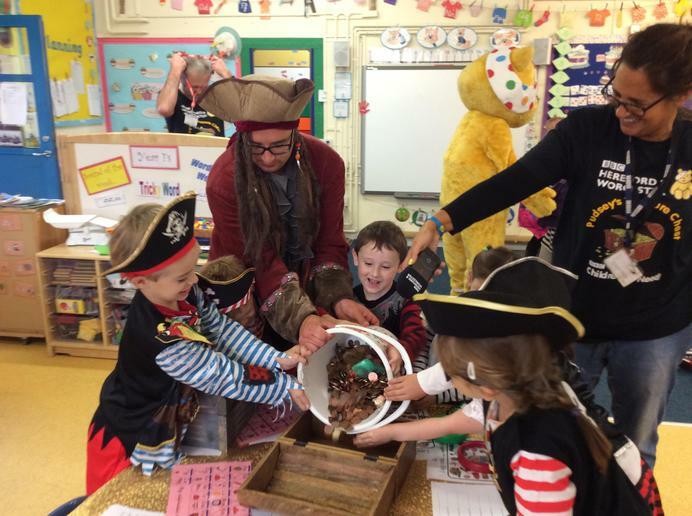 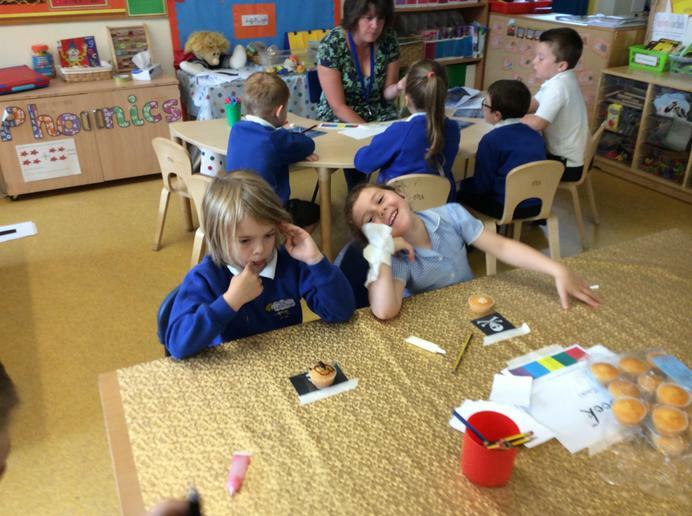 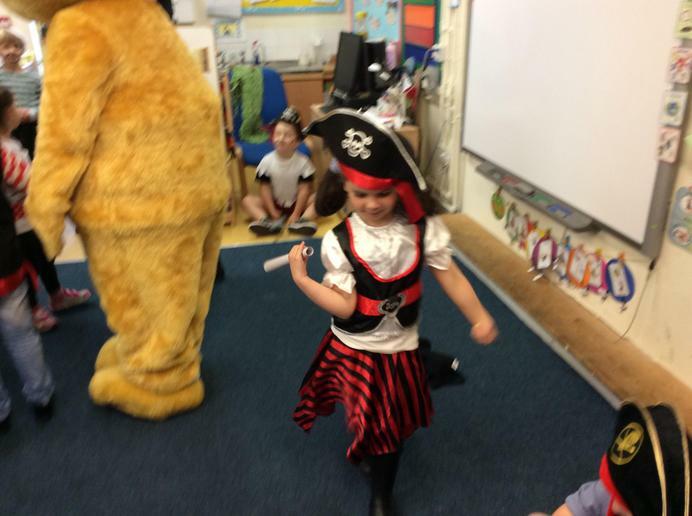 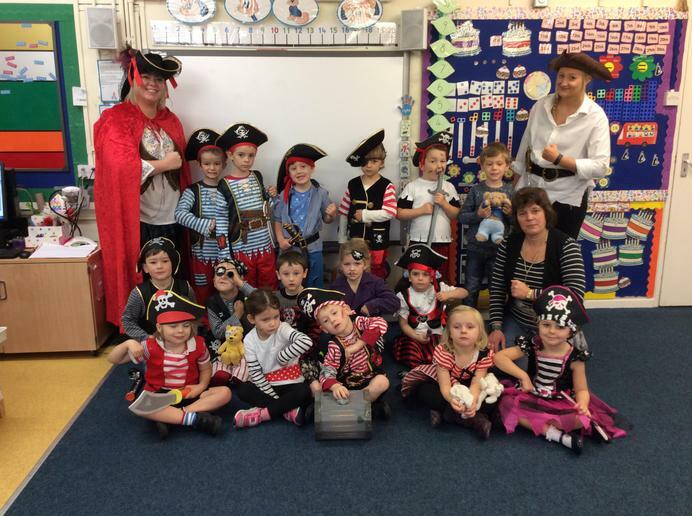 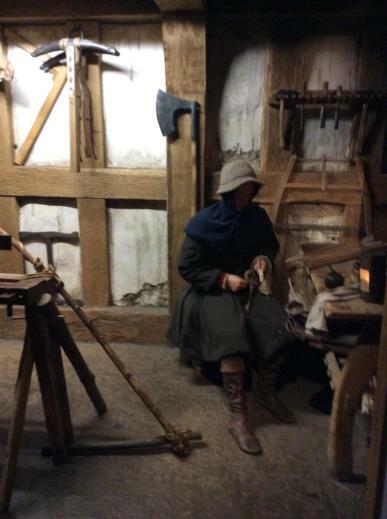 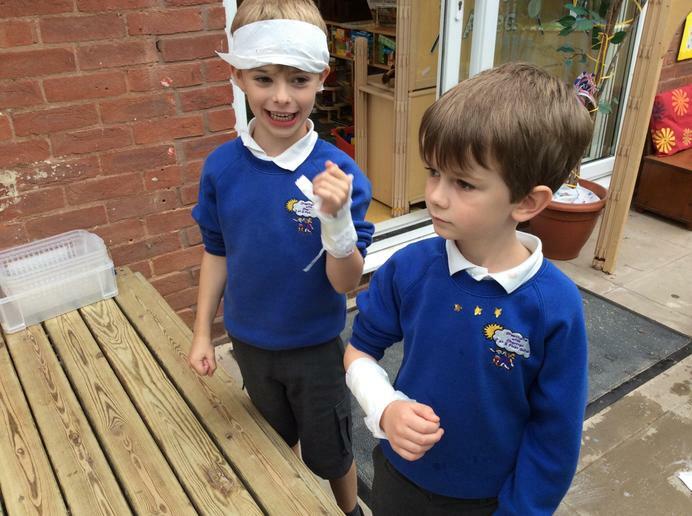 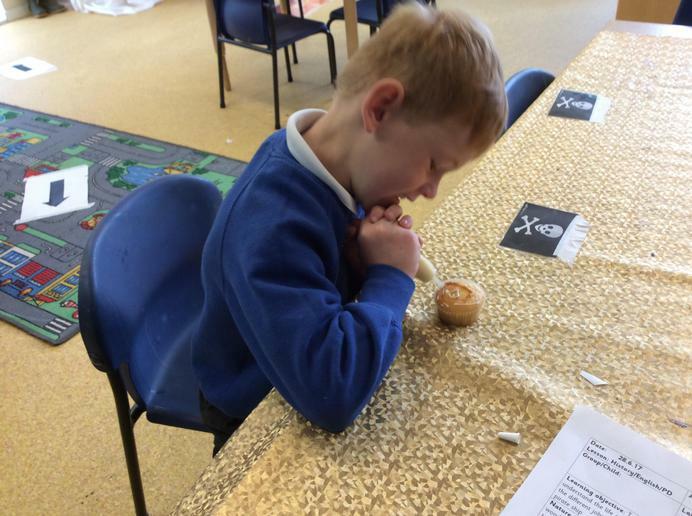 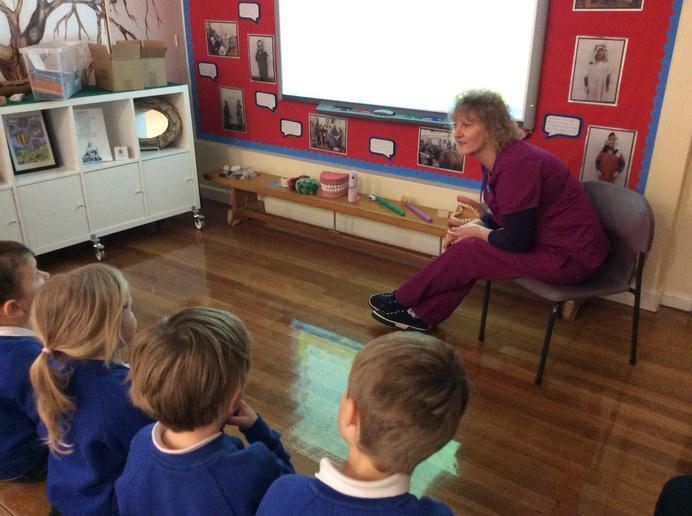 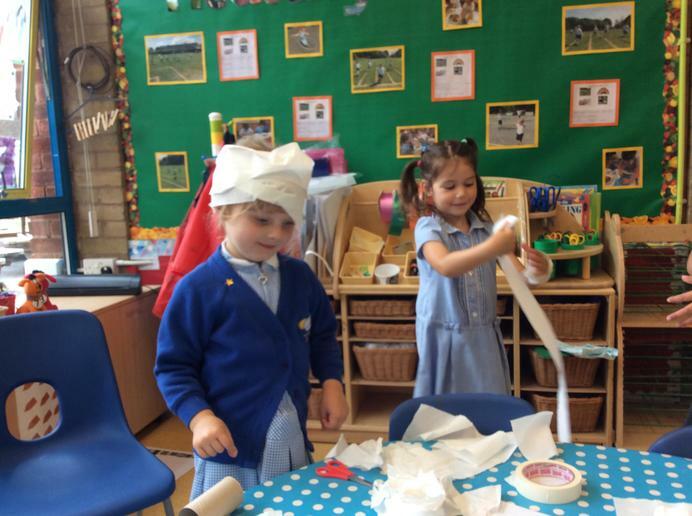 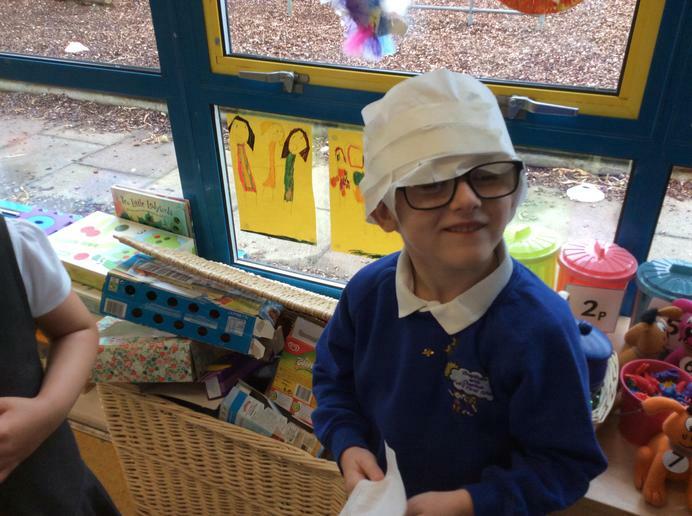 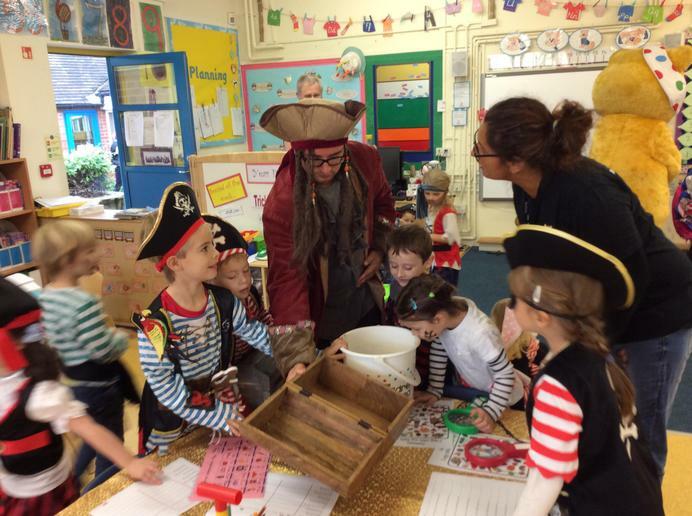 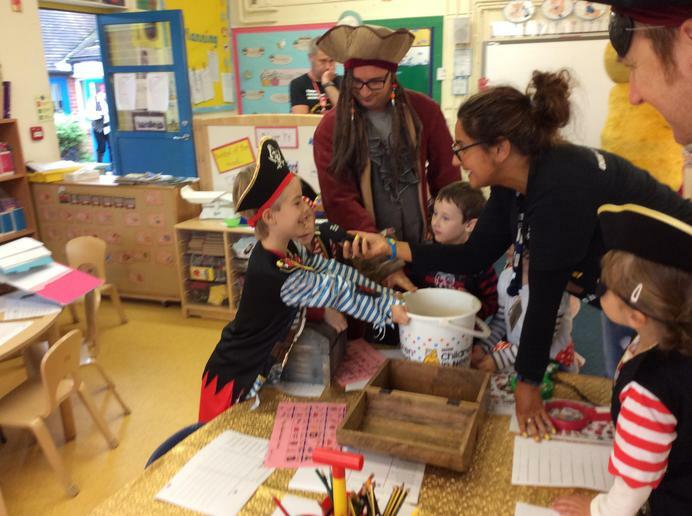 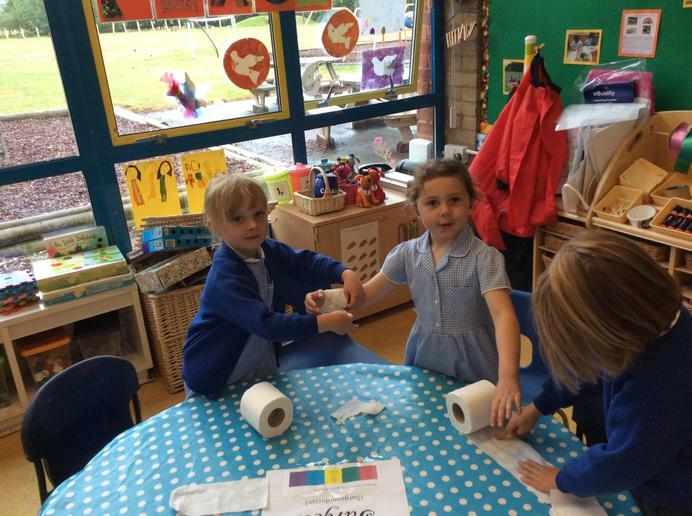 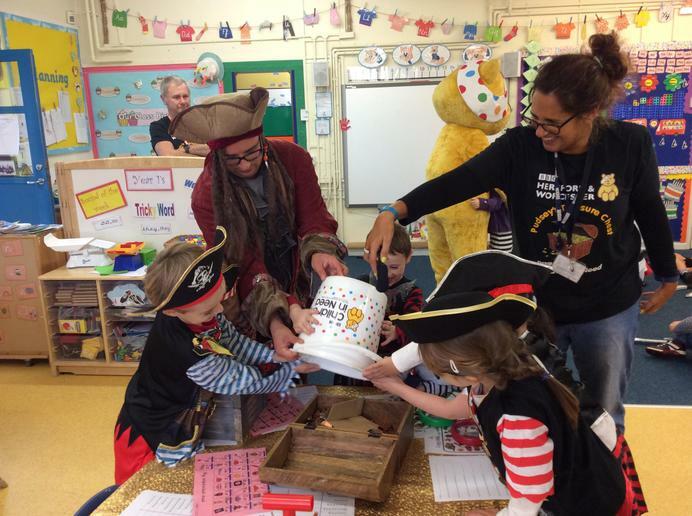 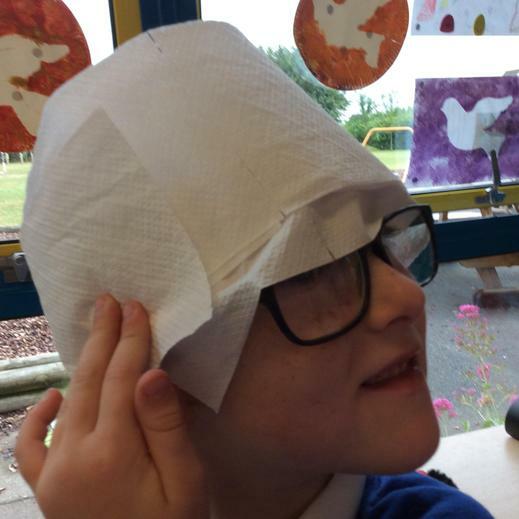 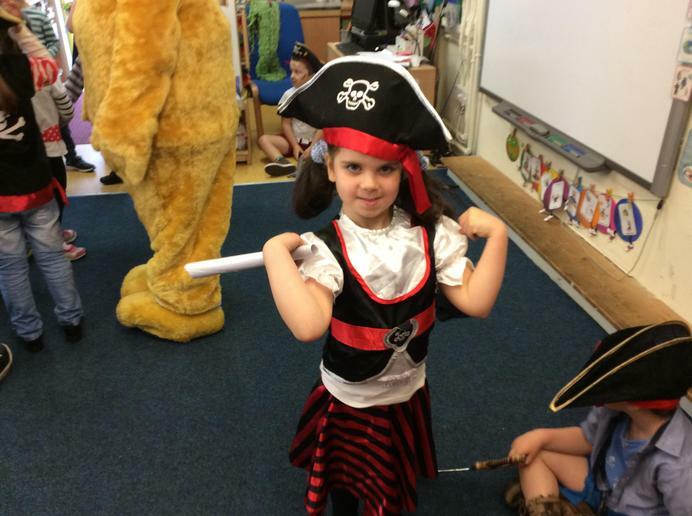 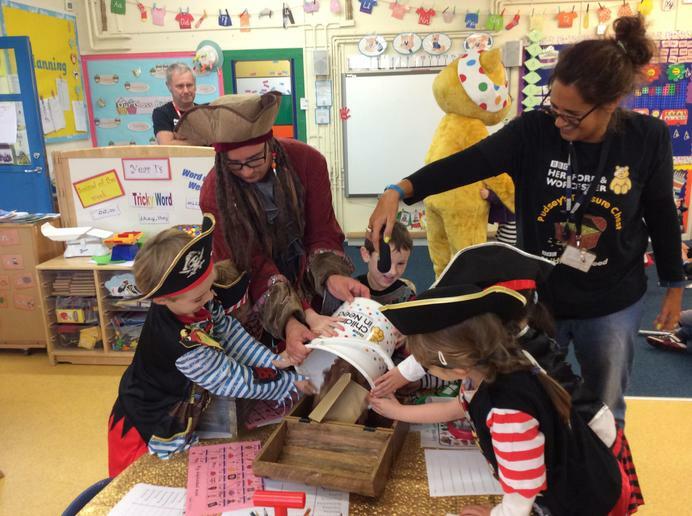 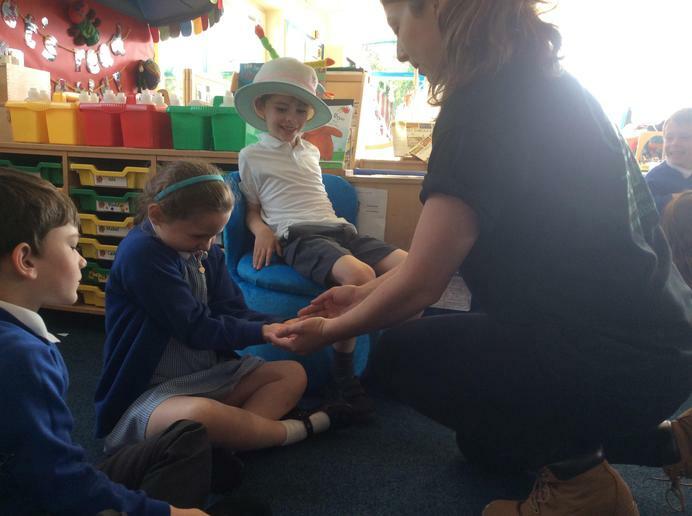 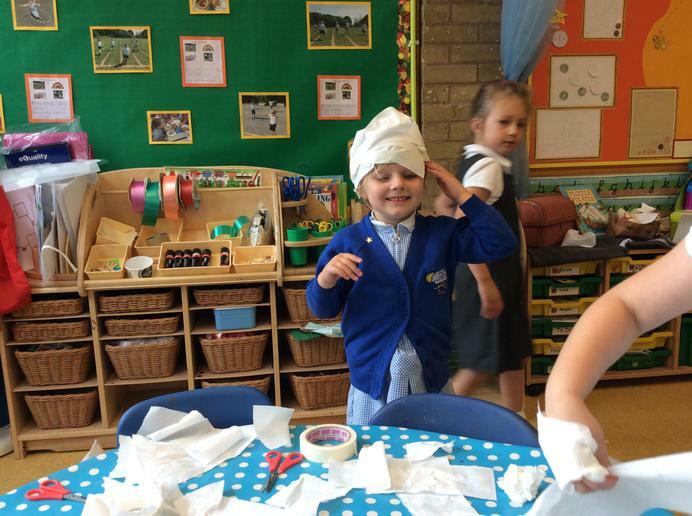 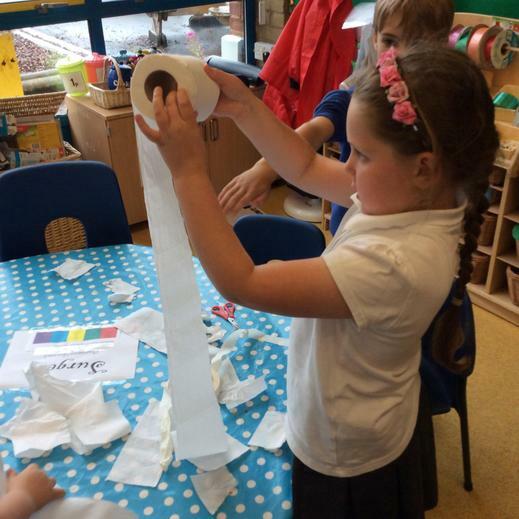 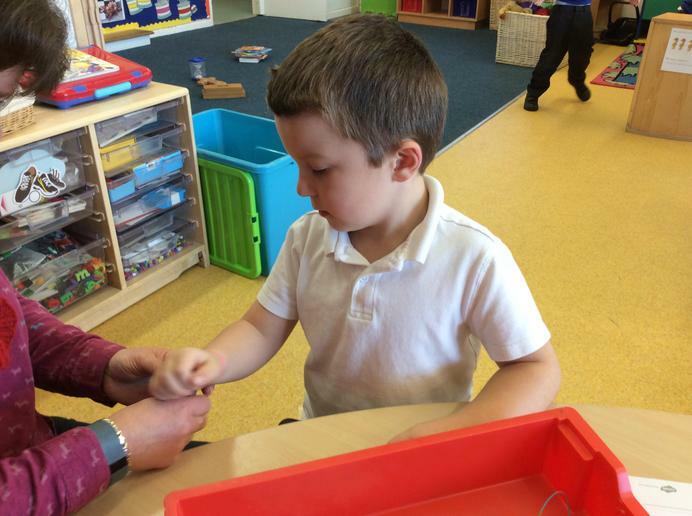 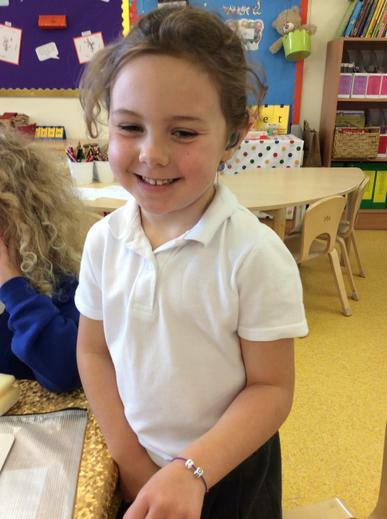 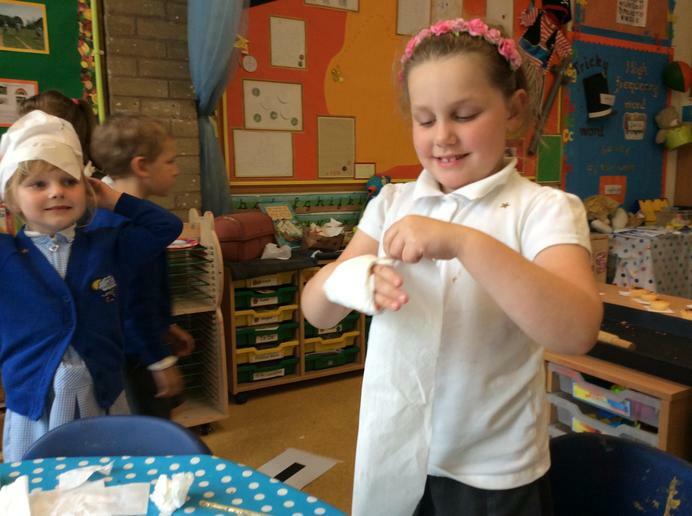 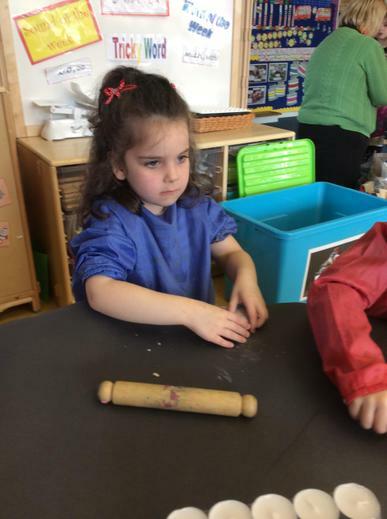 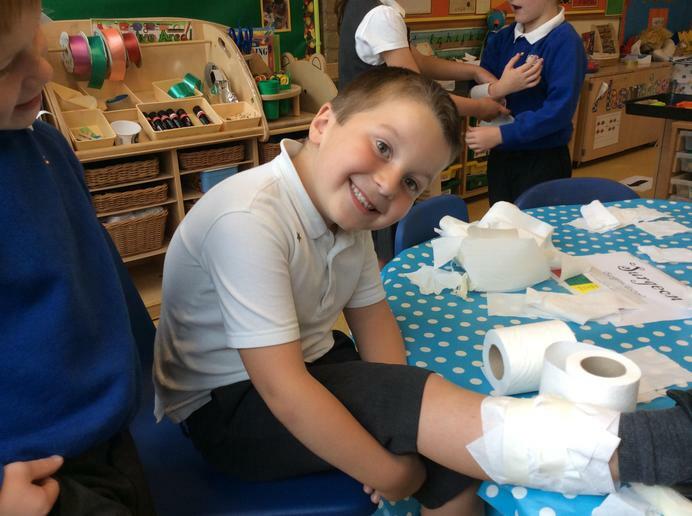 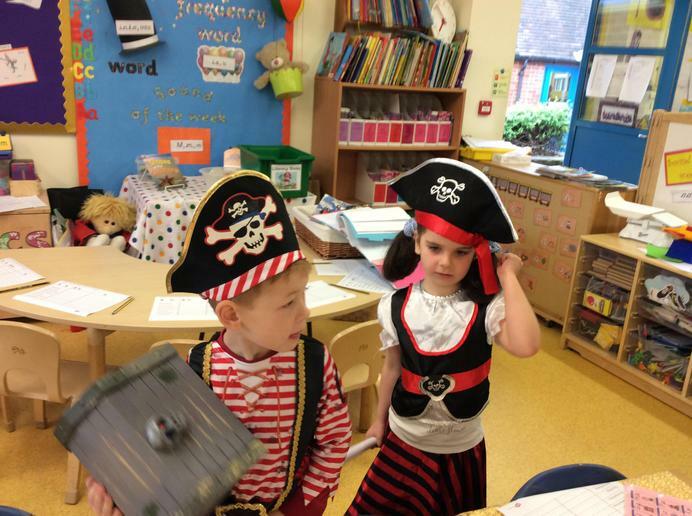 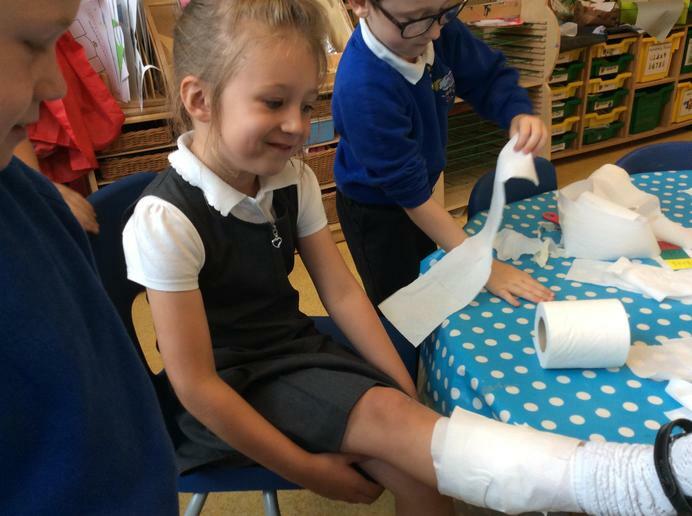 The children have been learning about what life was like living on a pirate ship, they tried working at some different jobs to see which ones they enjoyed the most, they tried being a carpenter, surgeon (hence the bandages! 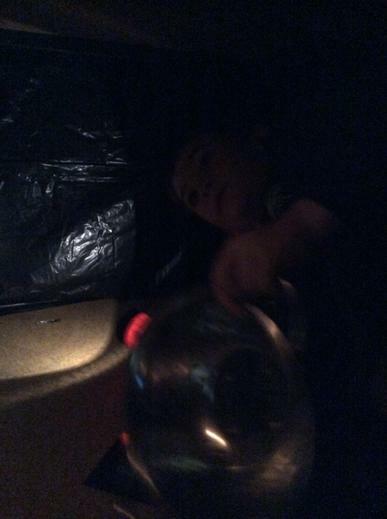 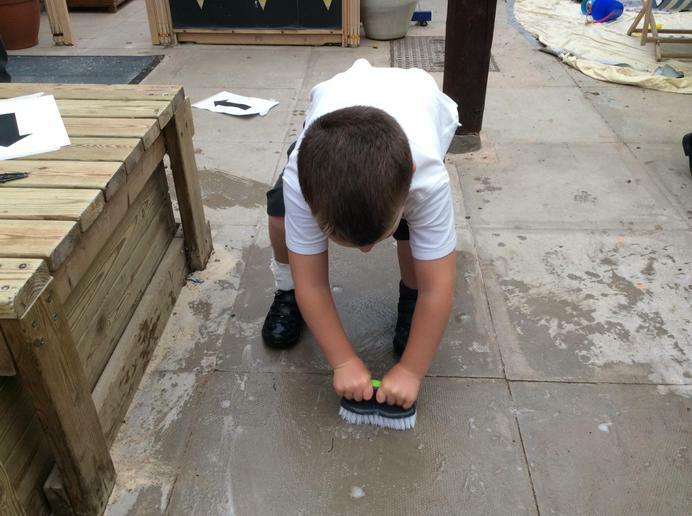 ), boatswain, cook and general crew member scrubbing the deck. 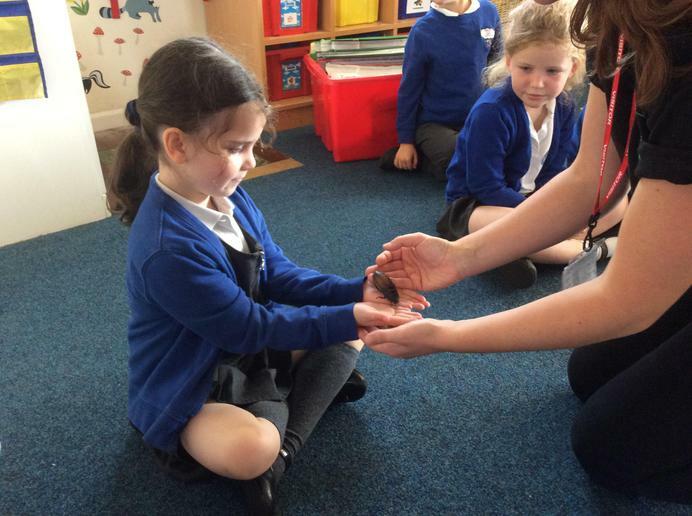 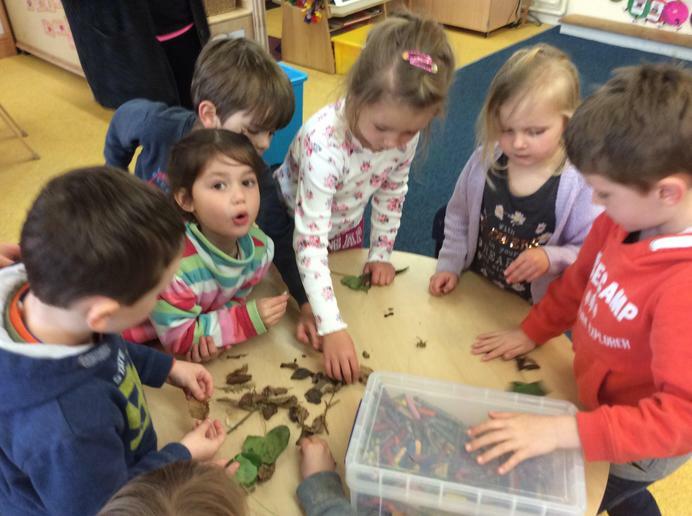 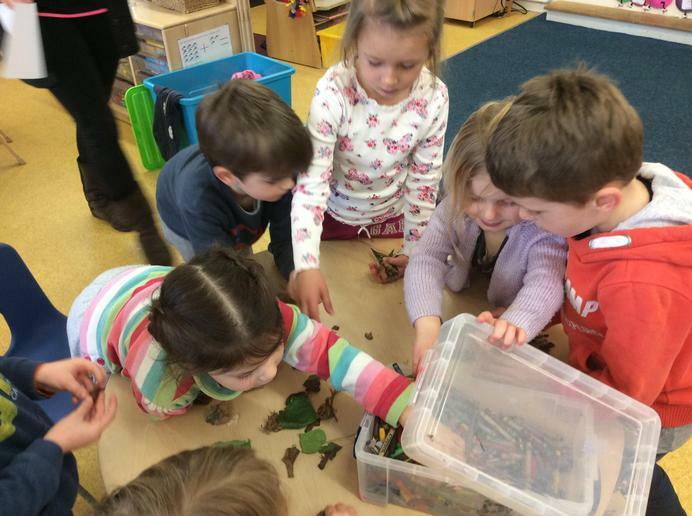 Our butterflies have made their way out of their chrysalis's...yay! 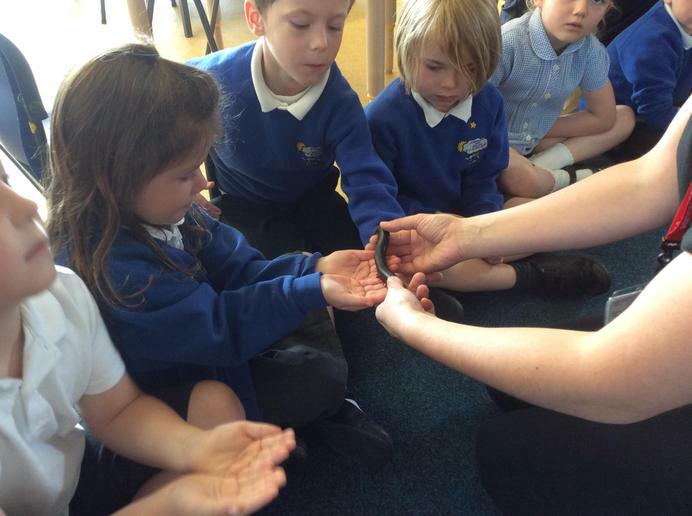 I have just come in from the weekend and look what has happened...they have spun their cocoons (chrysalis)...not long now! 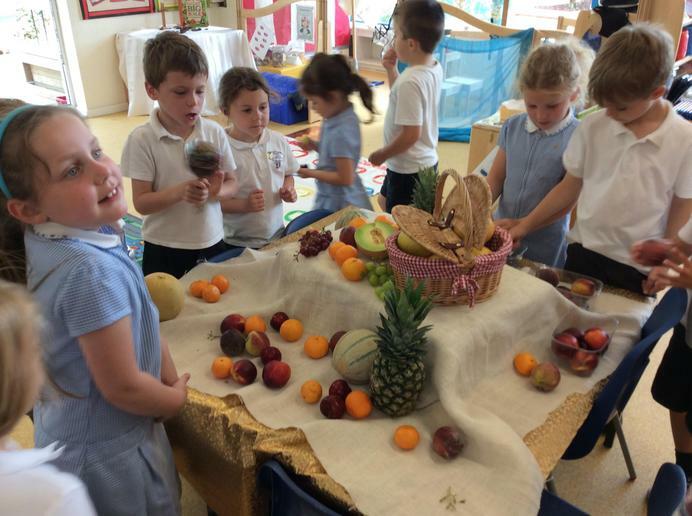 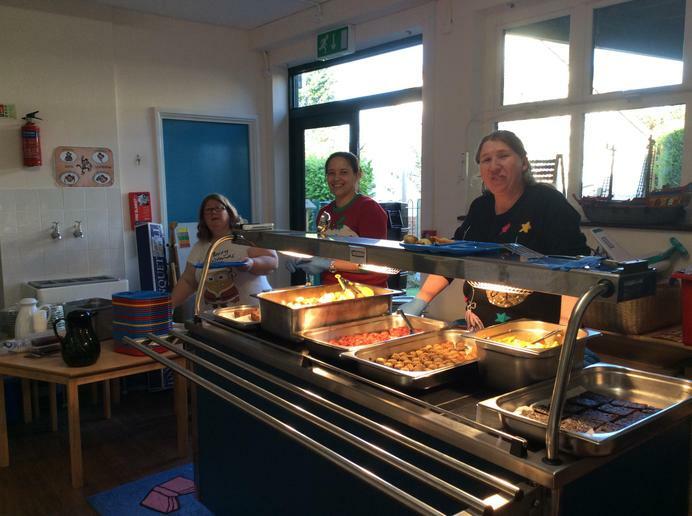 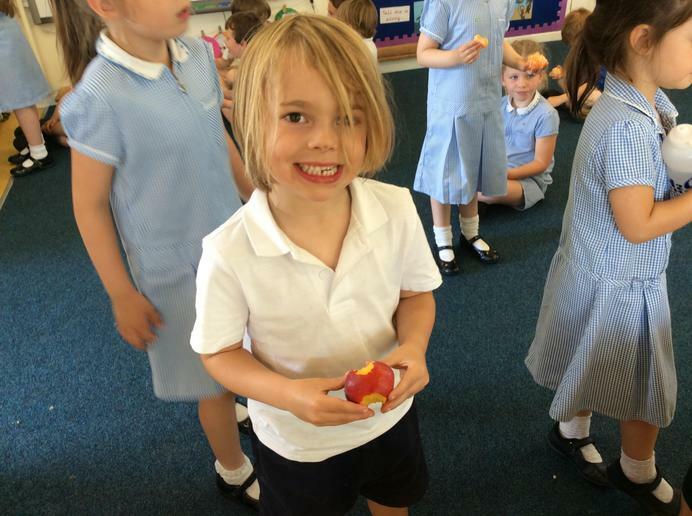 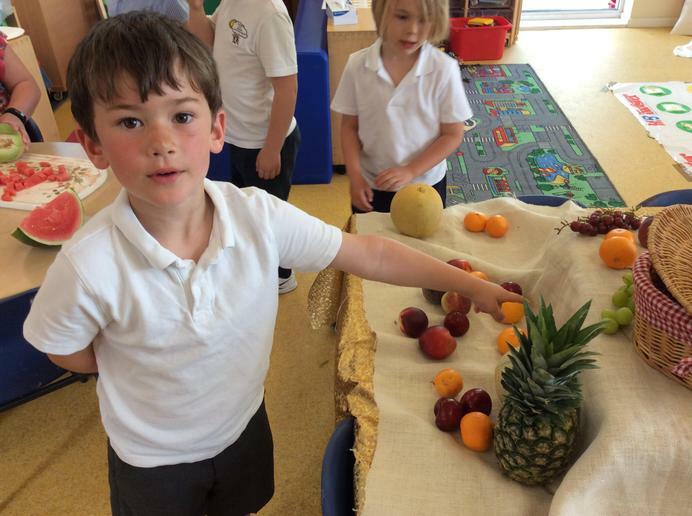 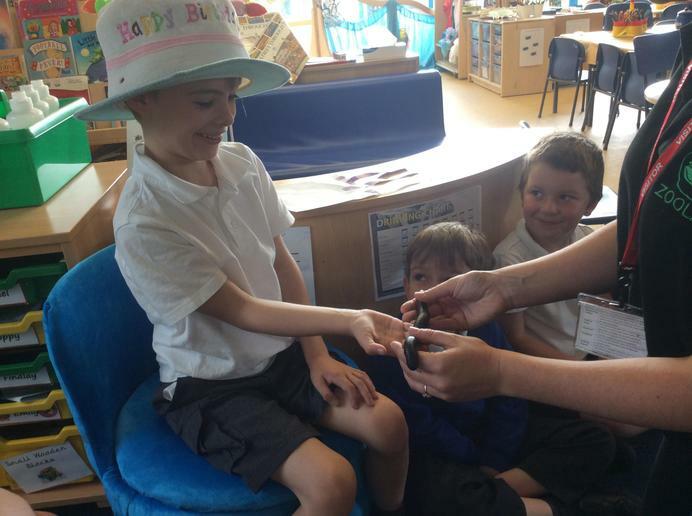 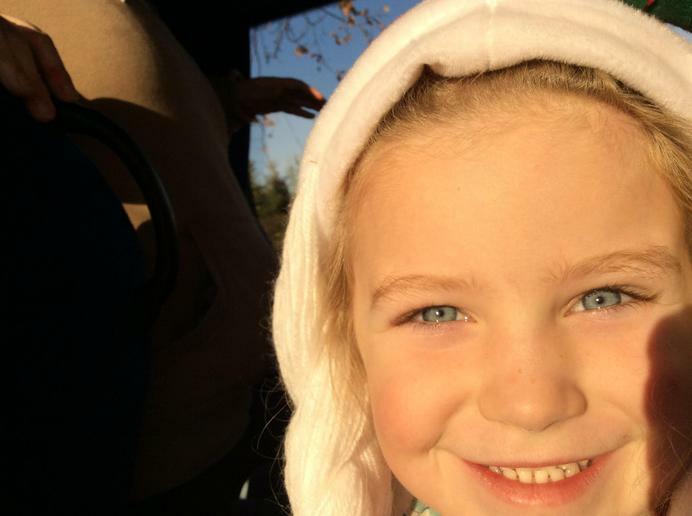 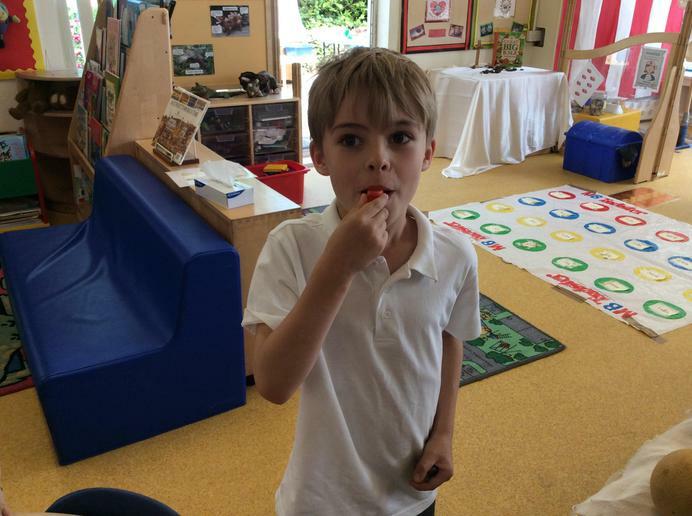 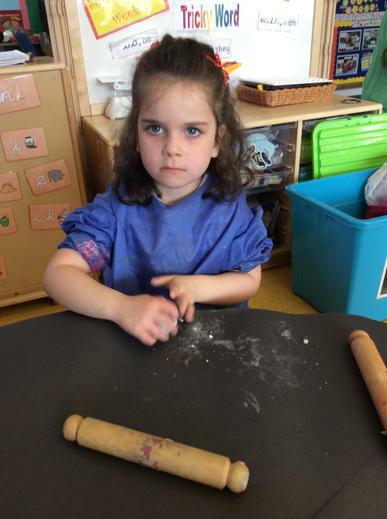 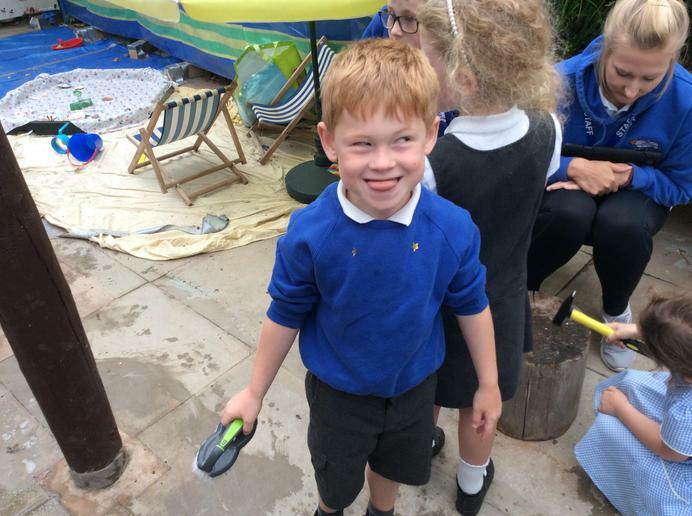 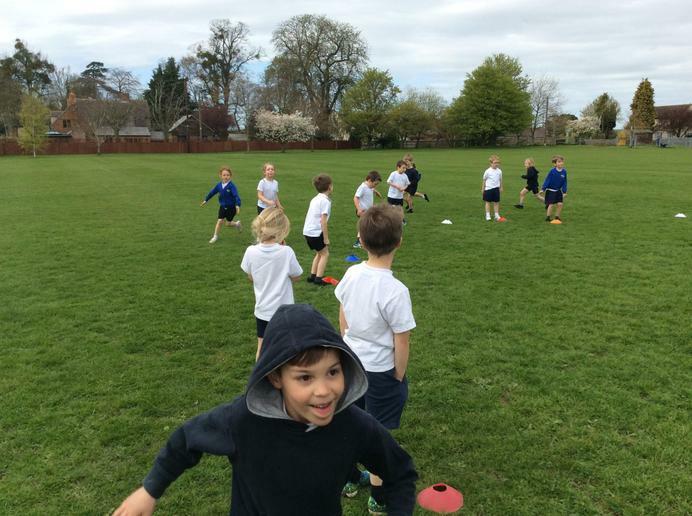 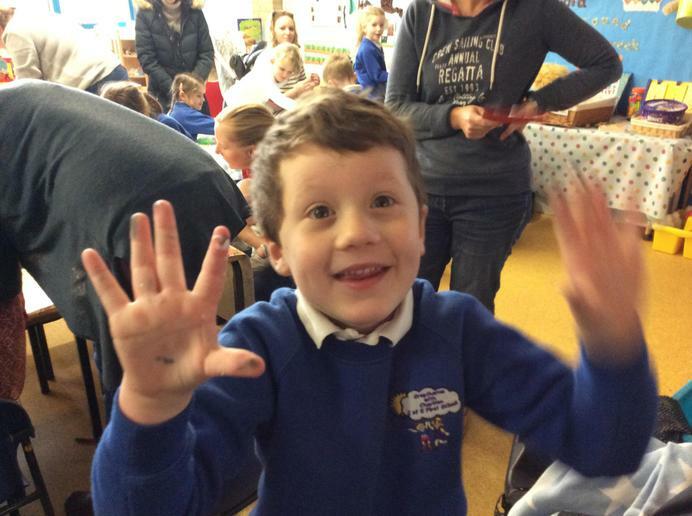 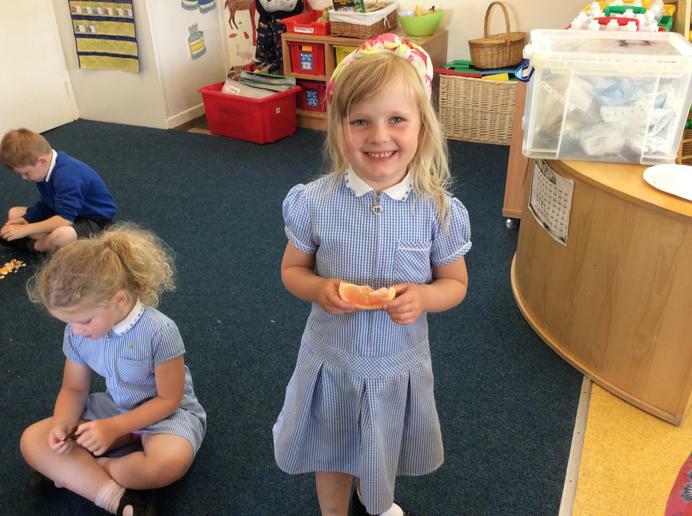 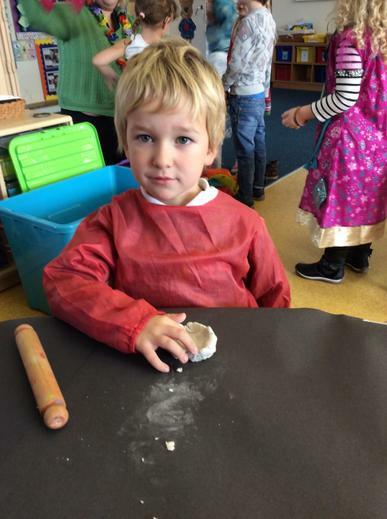 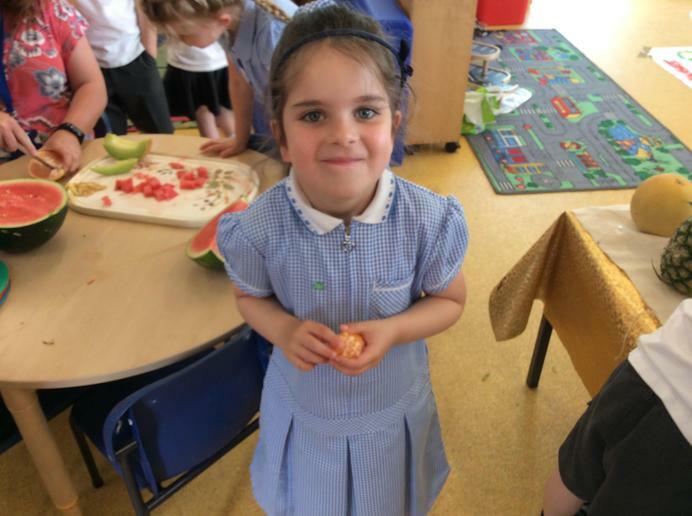 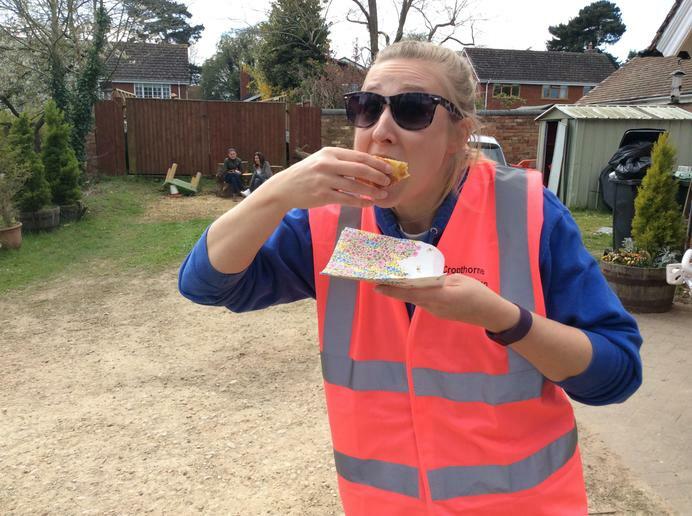 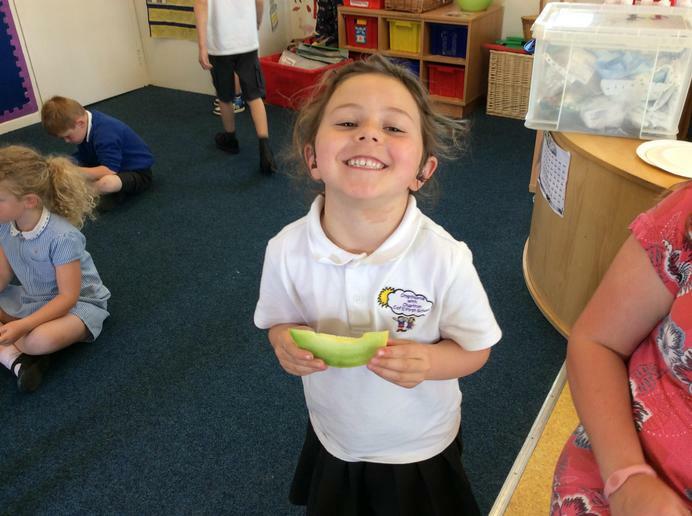 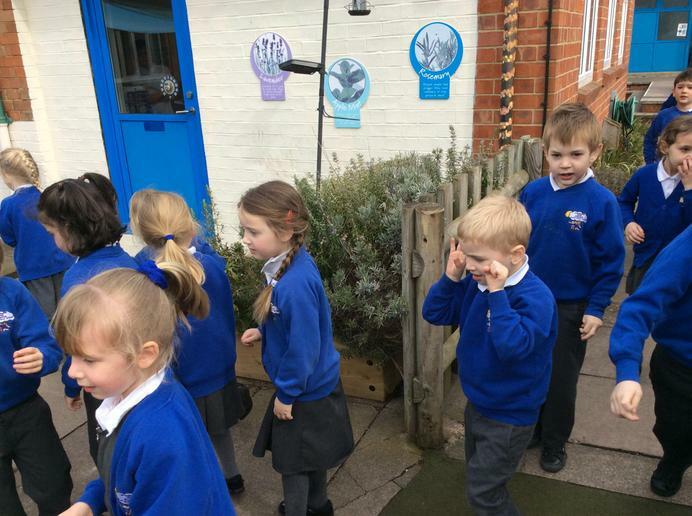 Year ones (and a few sneaky reception!) 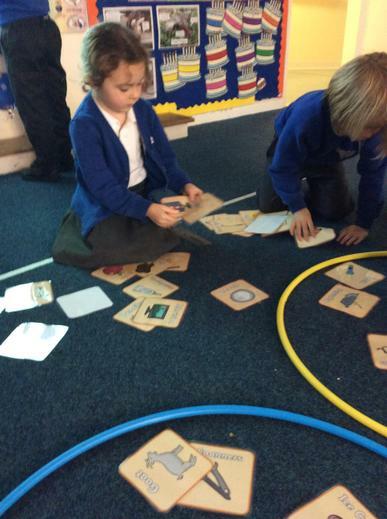 coding.. 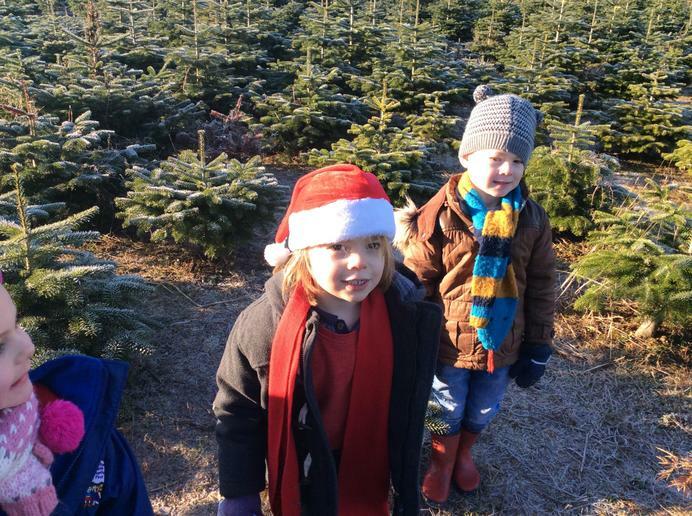 I feel like these little beauts have grown over night! 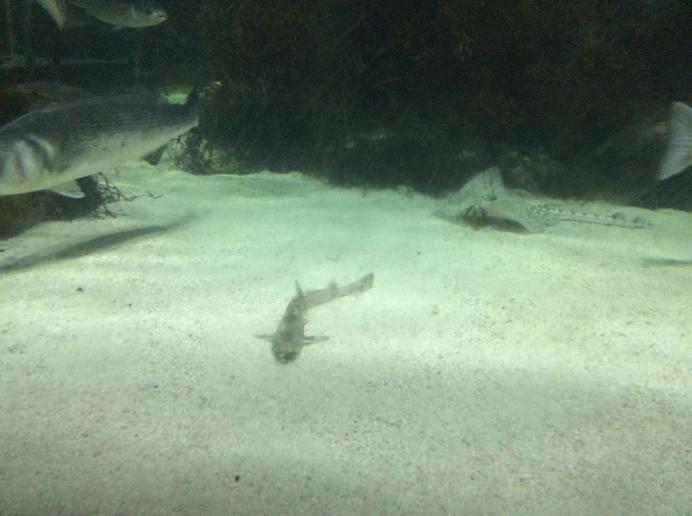 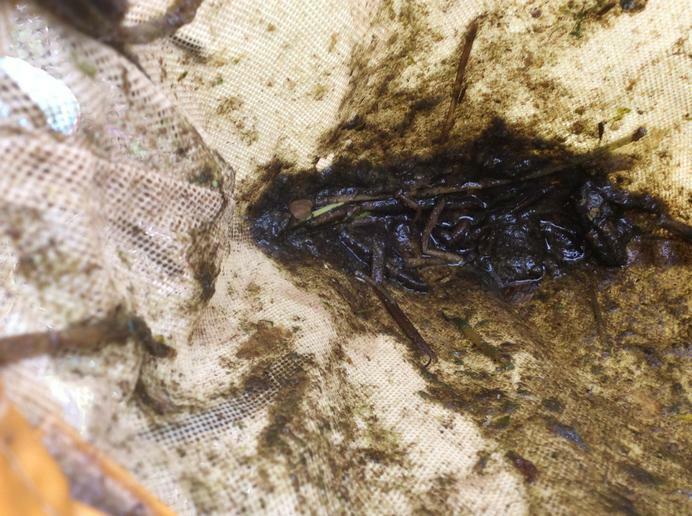 Can you see the hooks on the front of their legs? 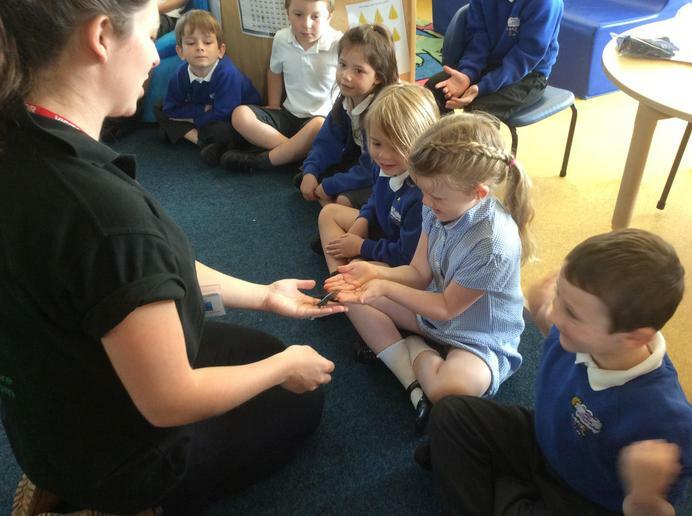 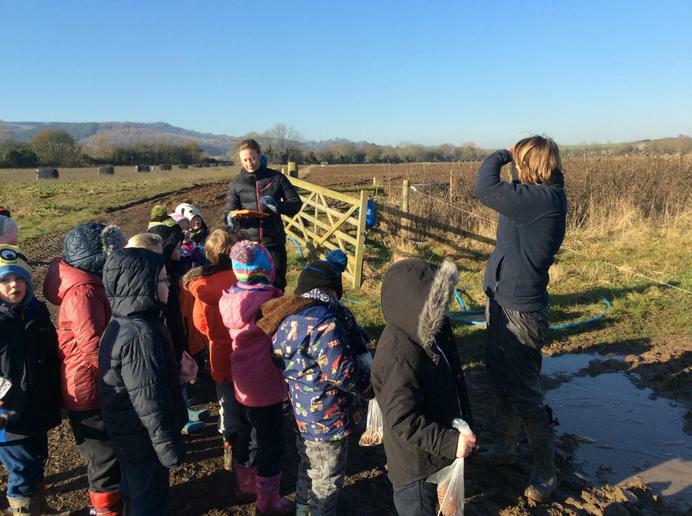 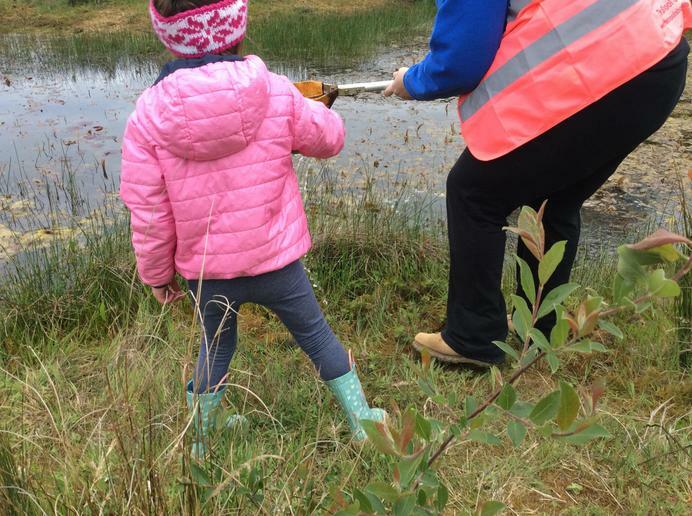 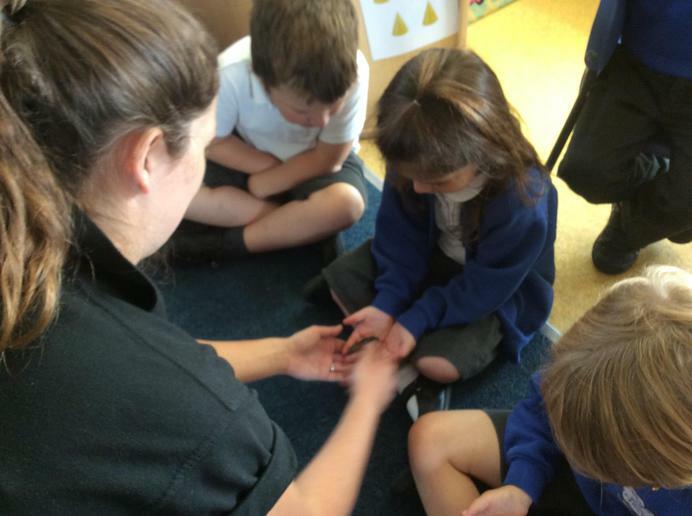 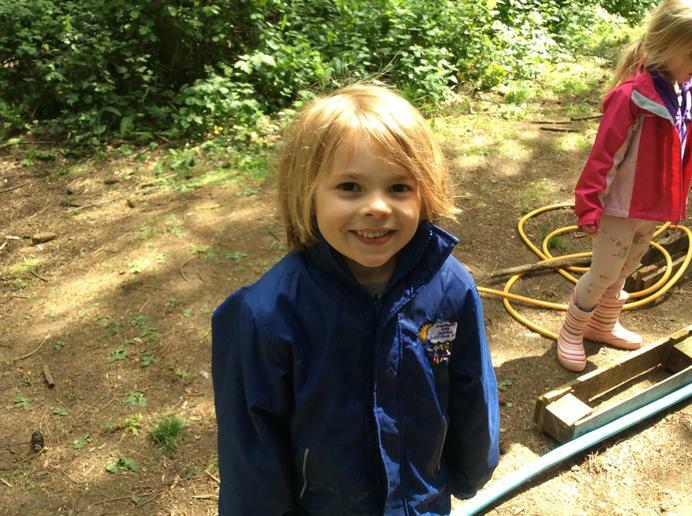 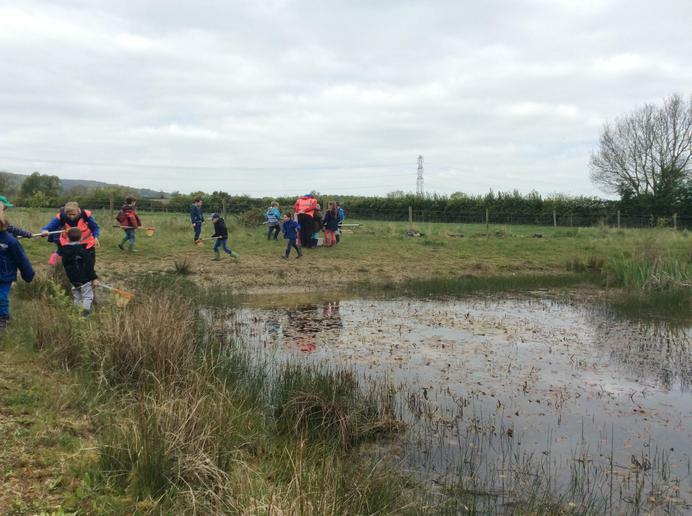 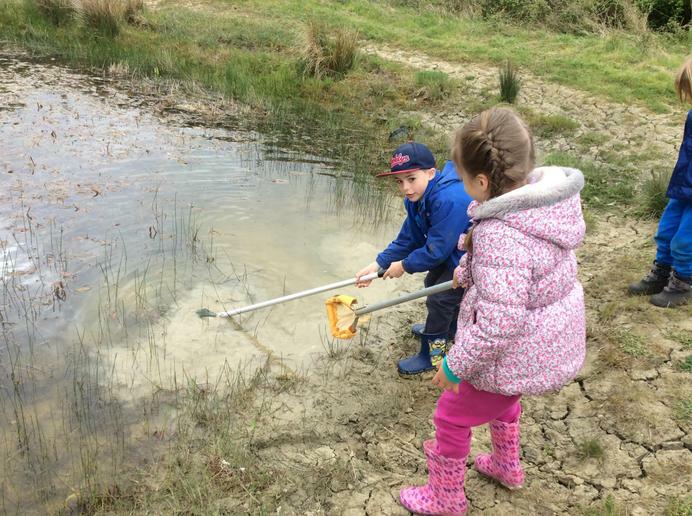 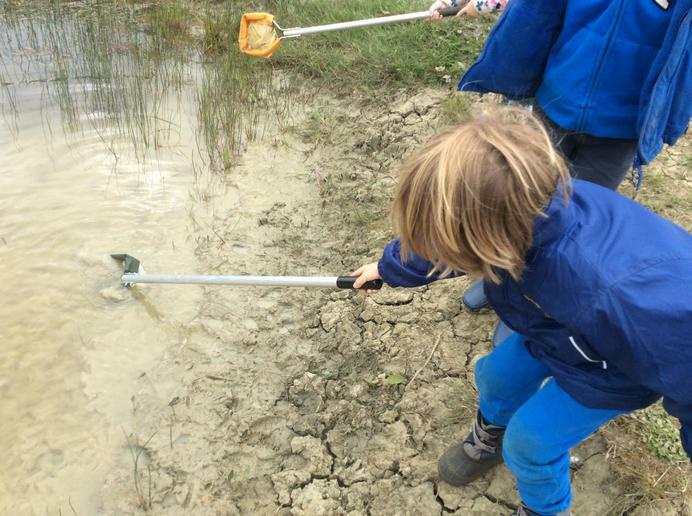 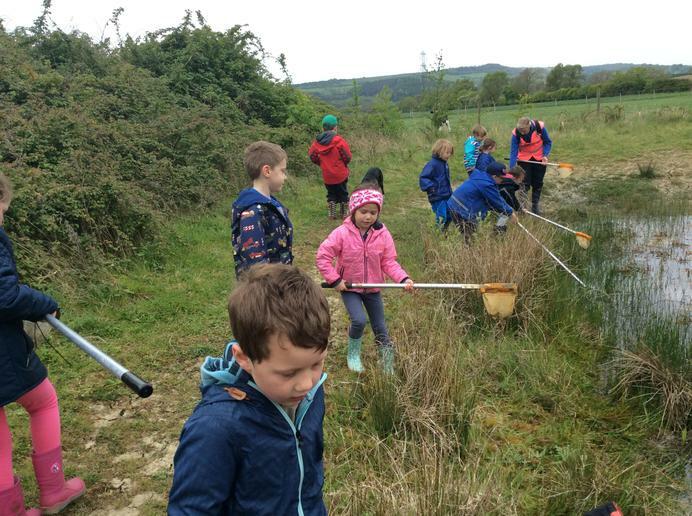 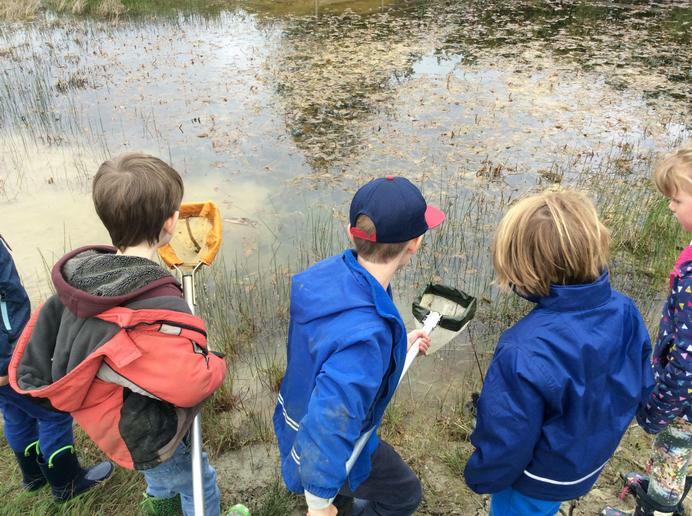 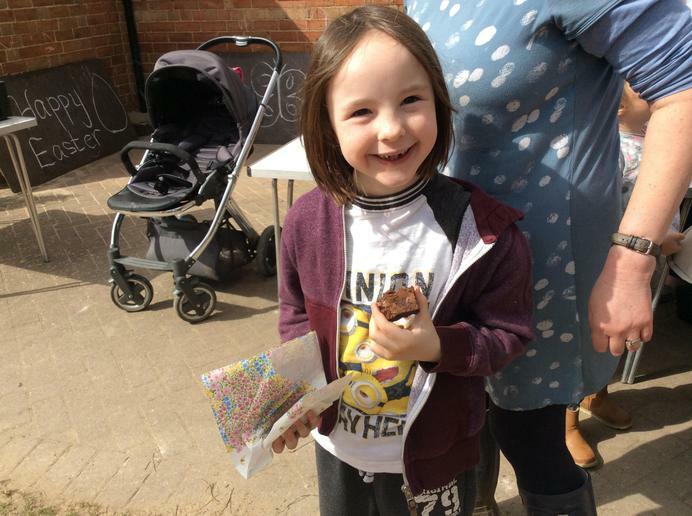 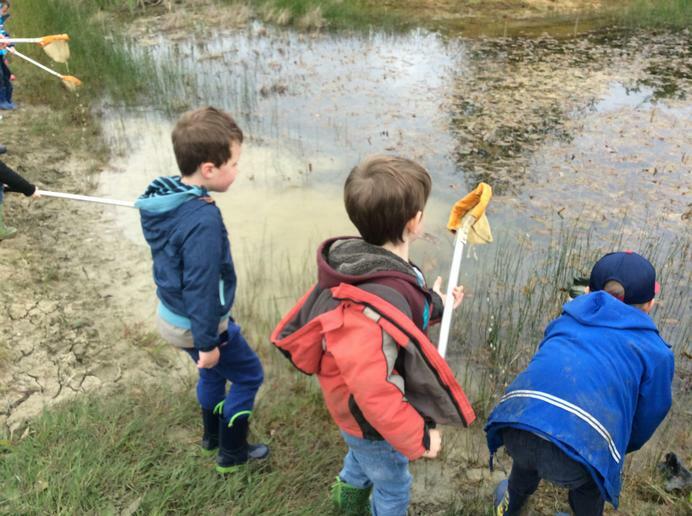 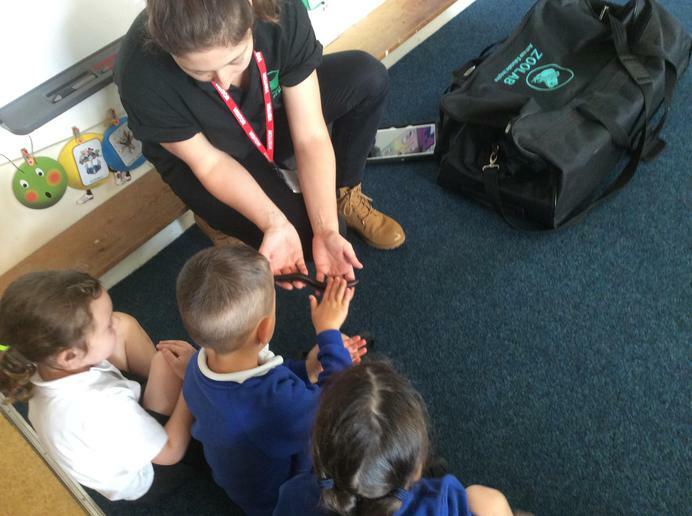 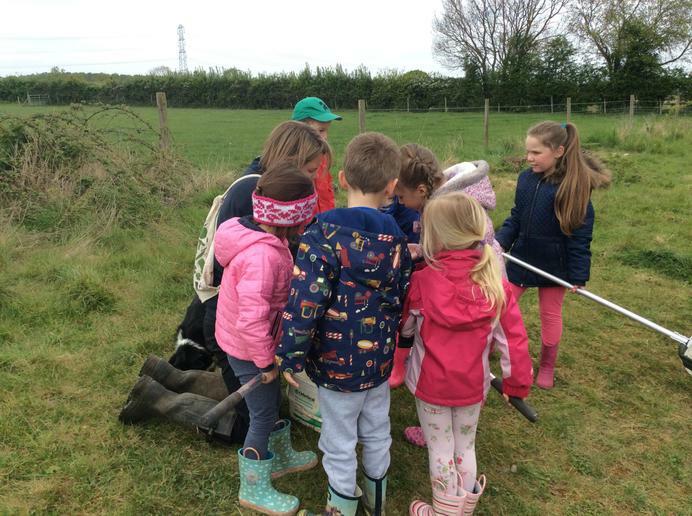 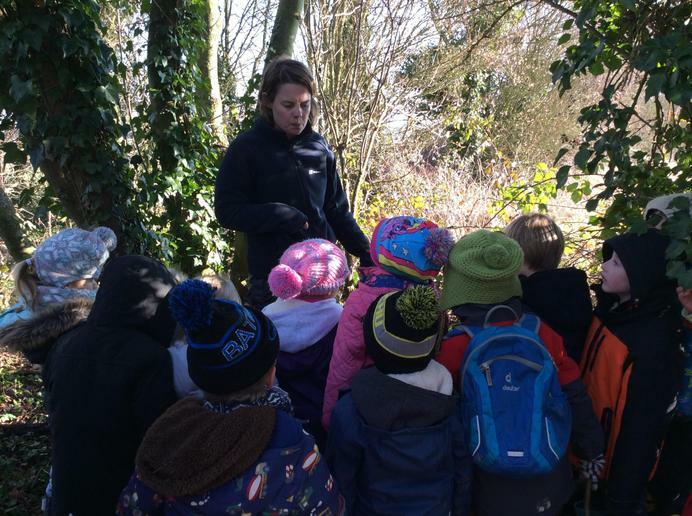 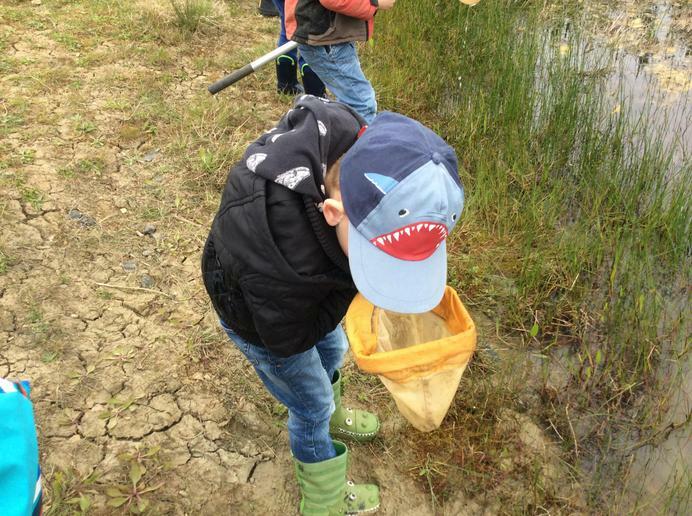 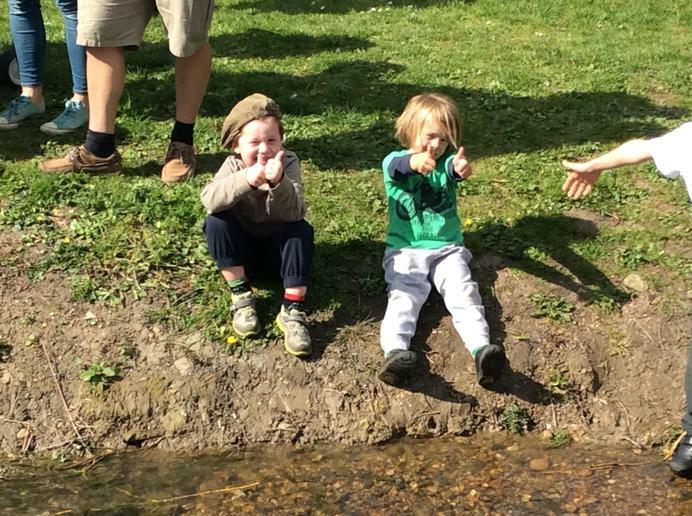 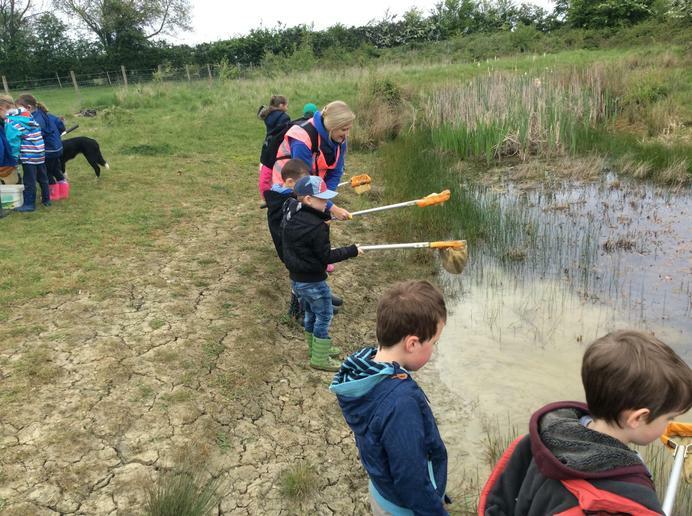 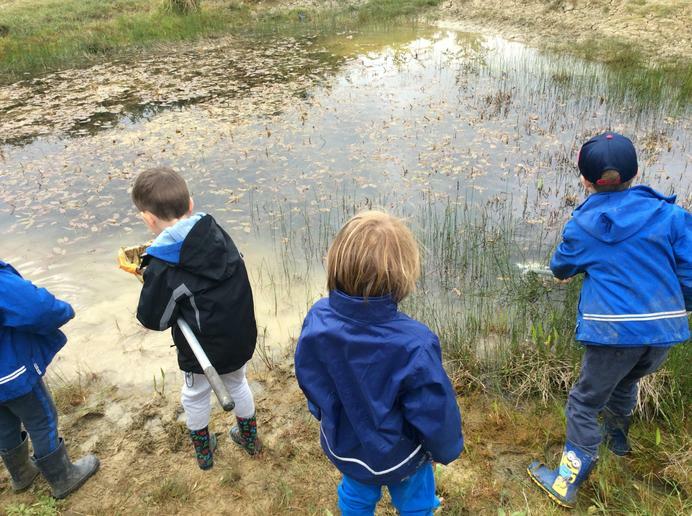 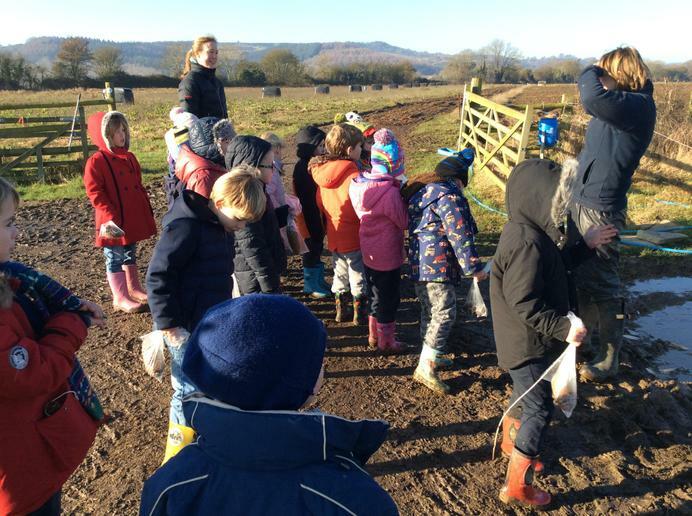 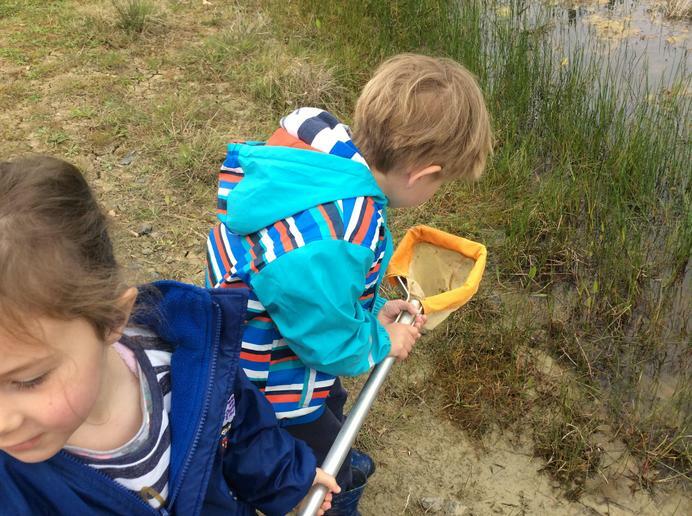 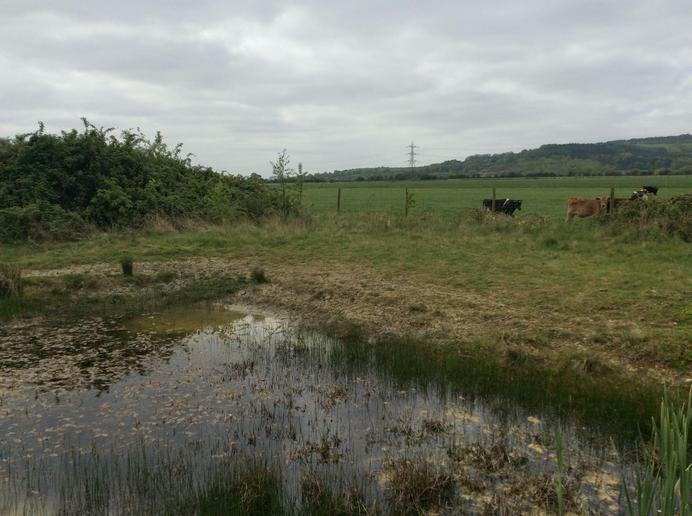 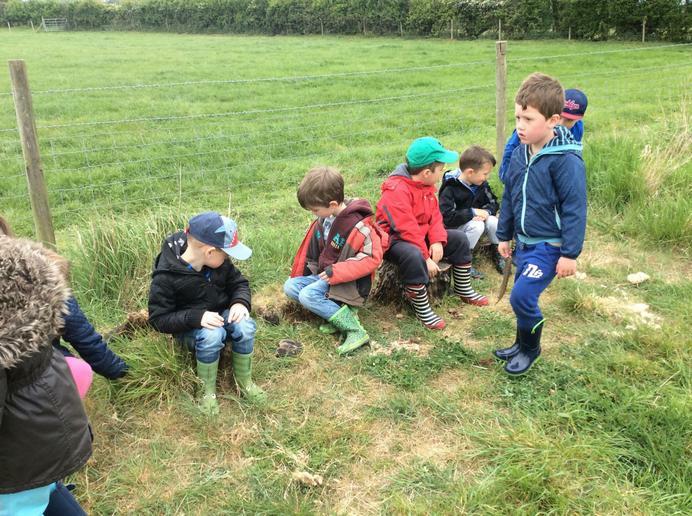 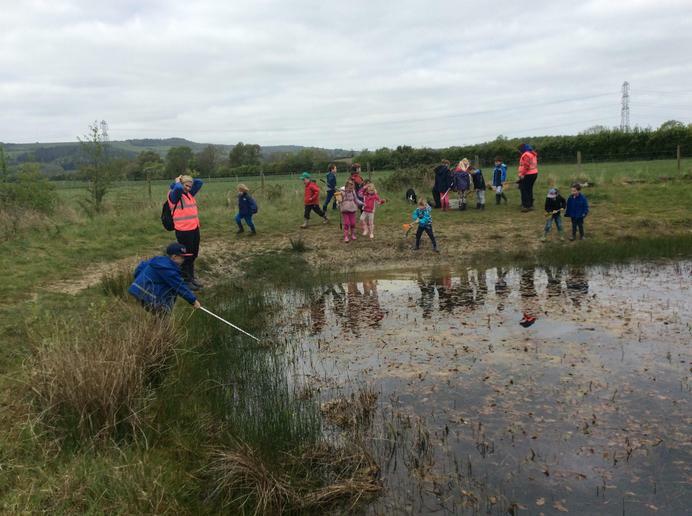 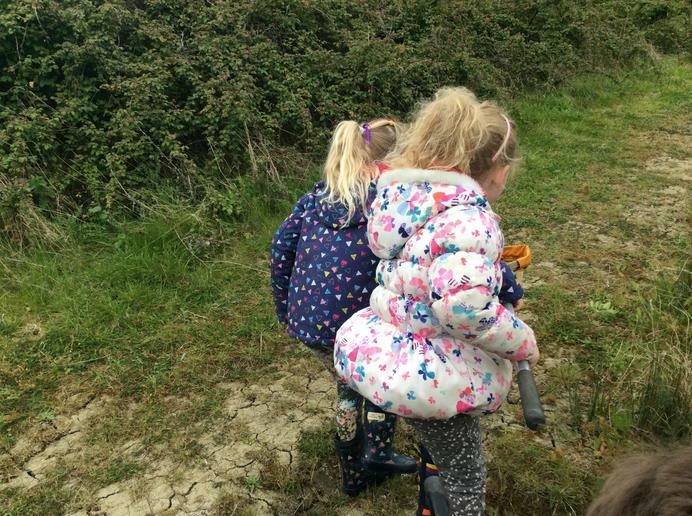 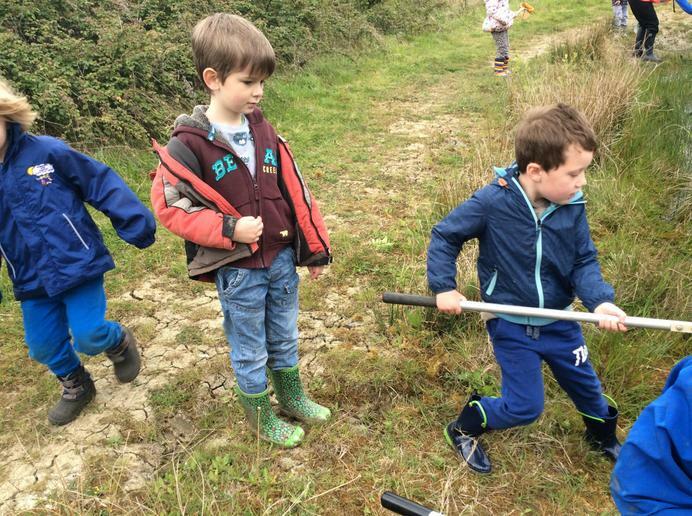 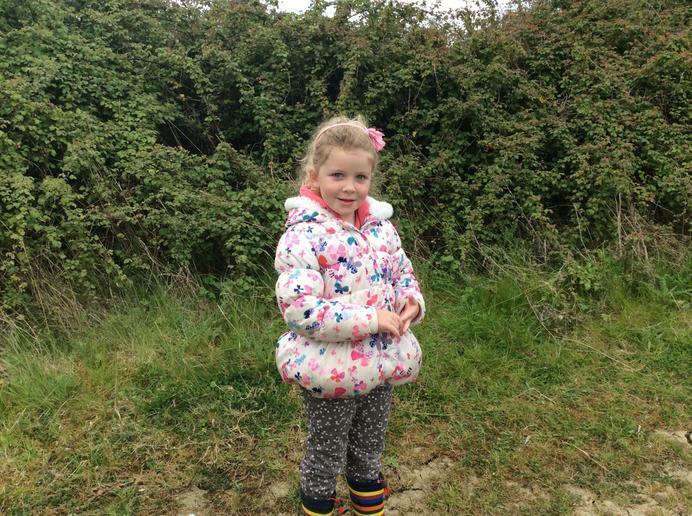 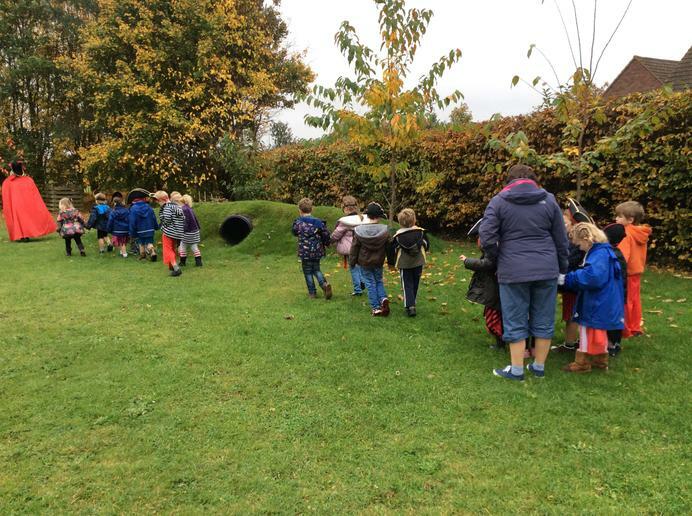 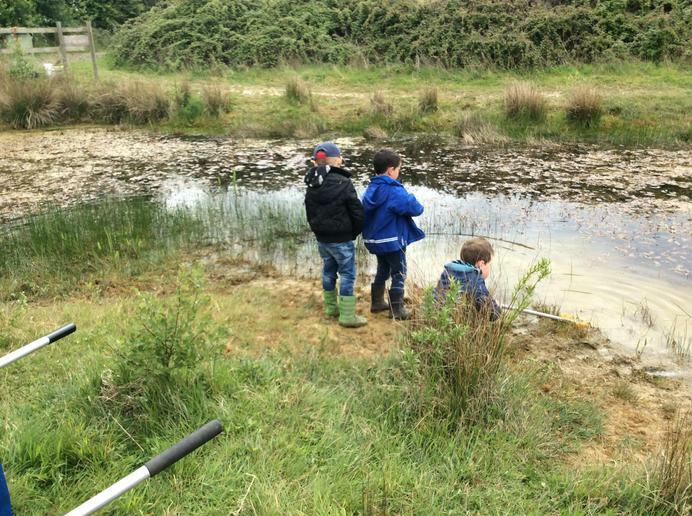 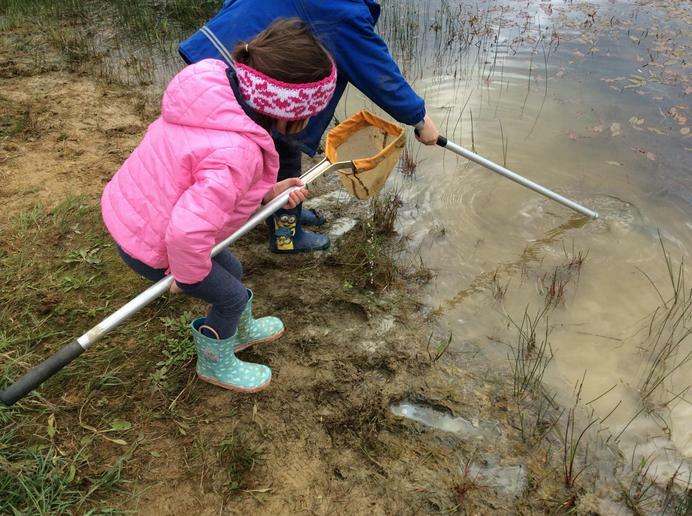 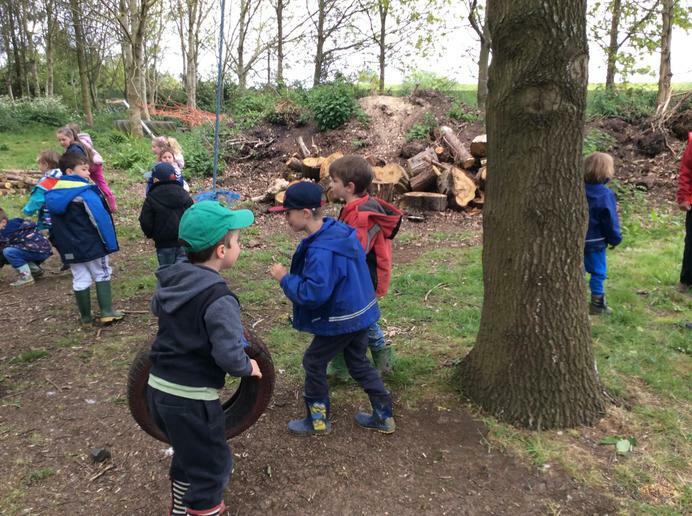 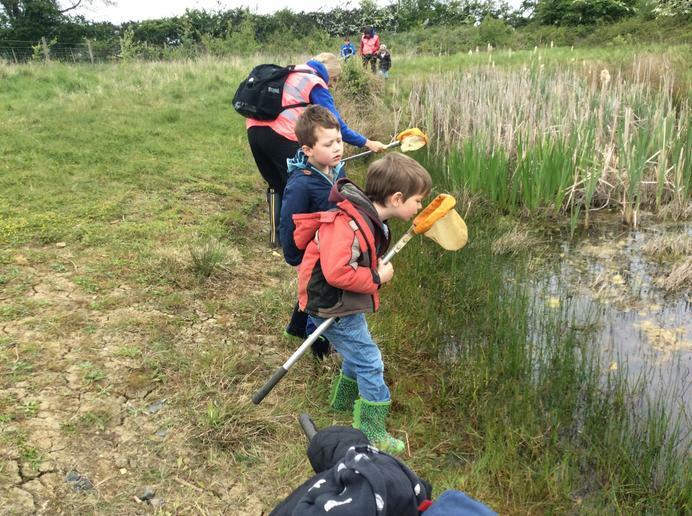 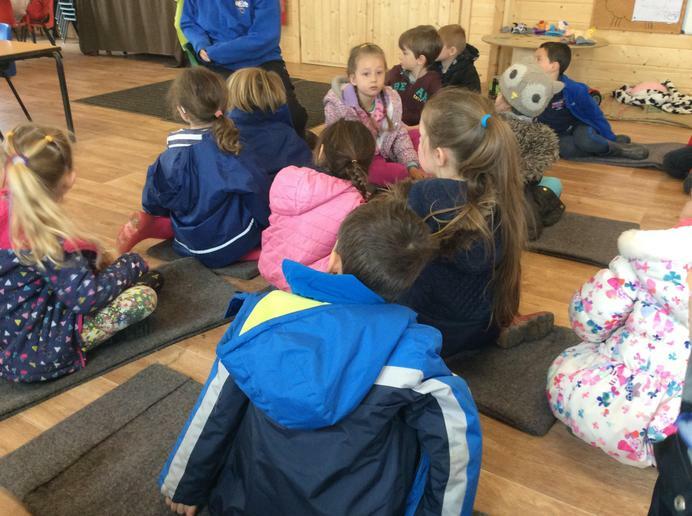 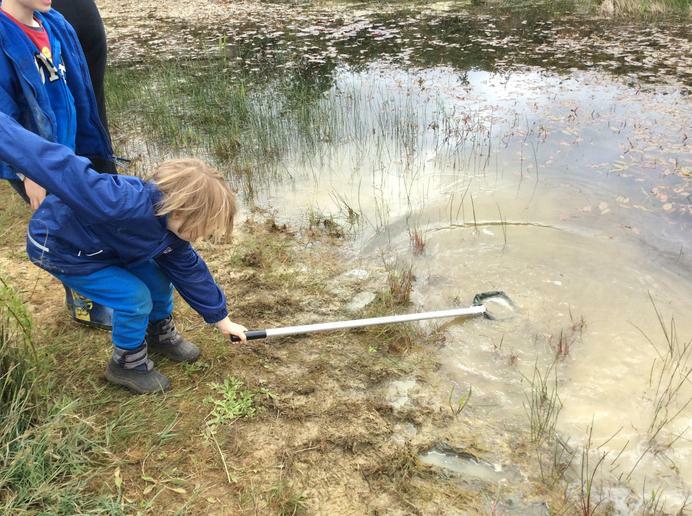 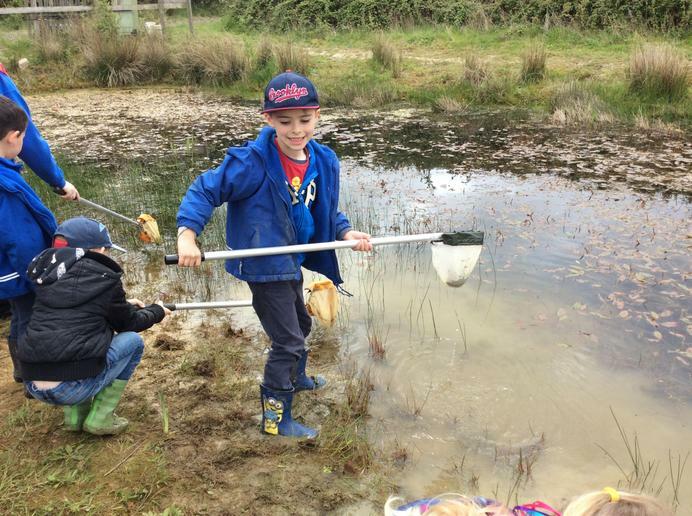 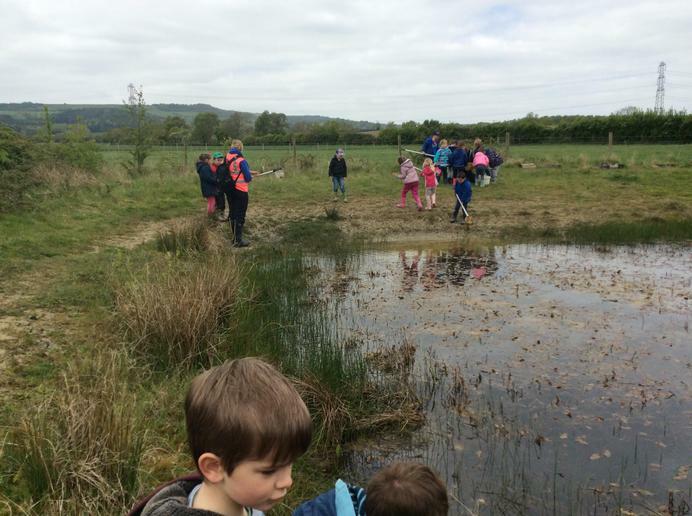 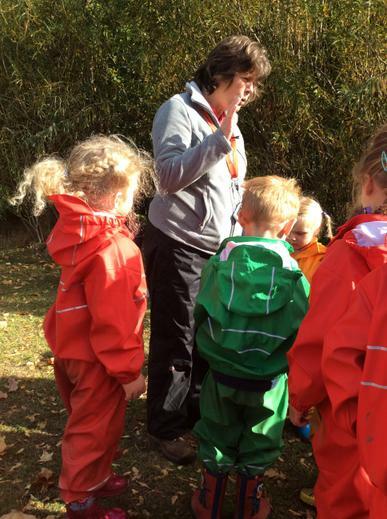 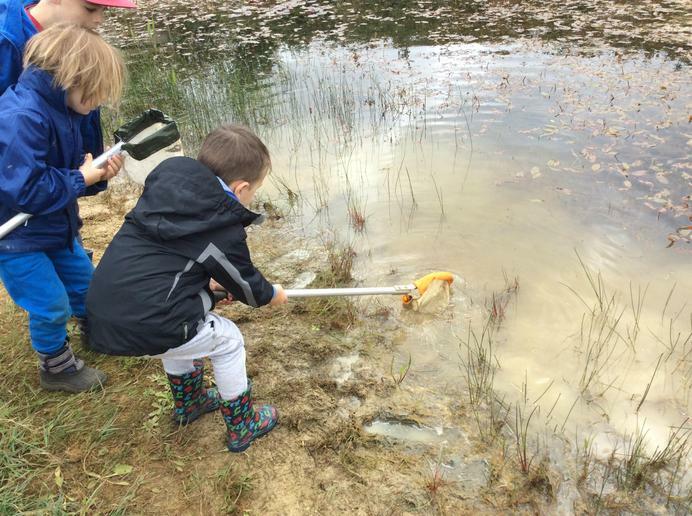 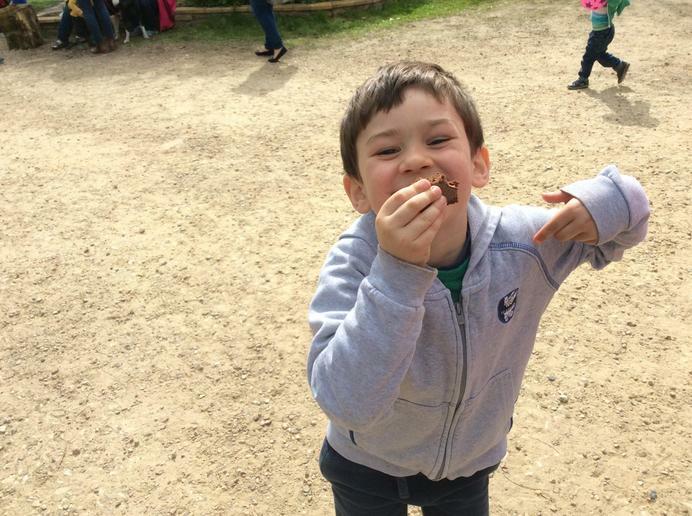 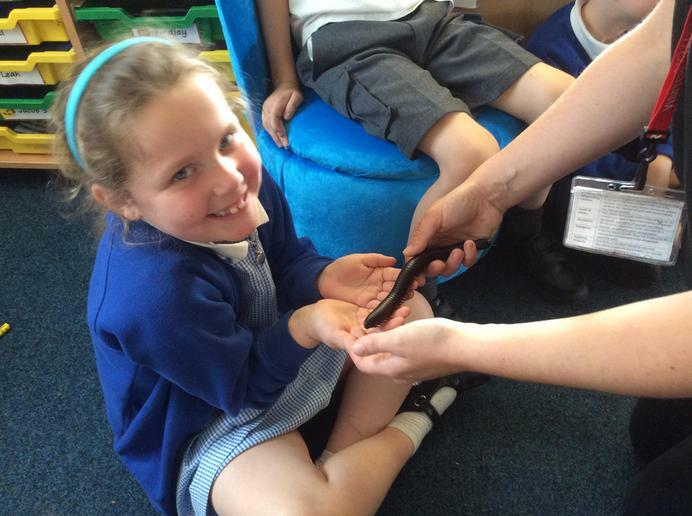 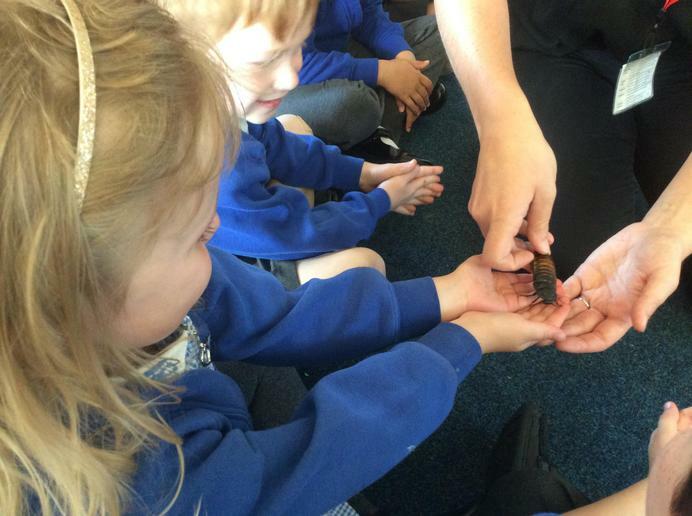 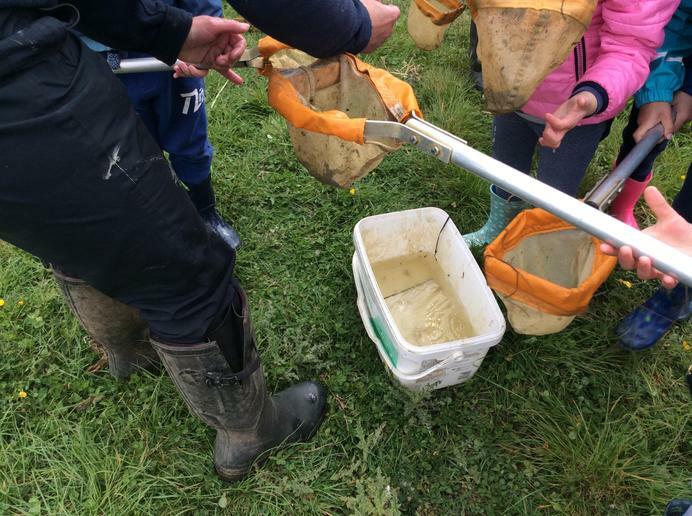 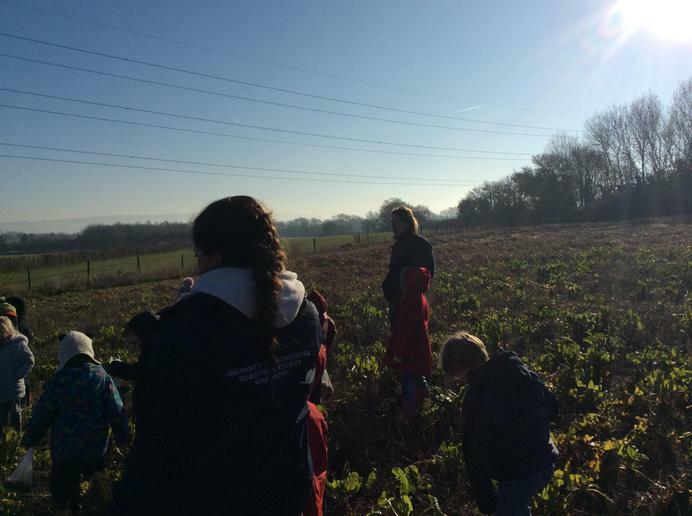 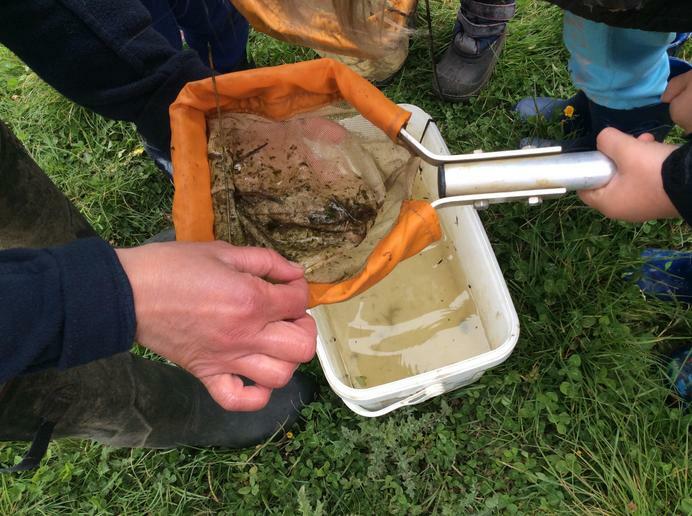 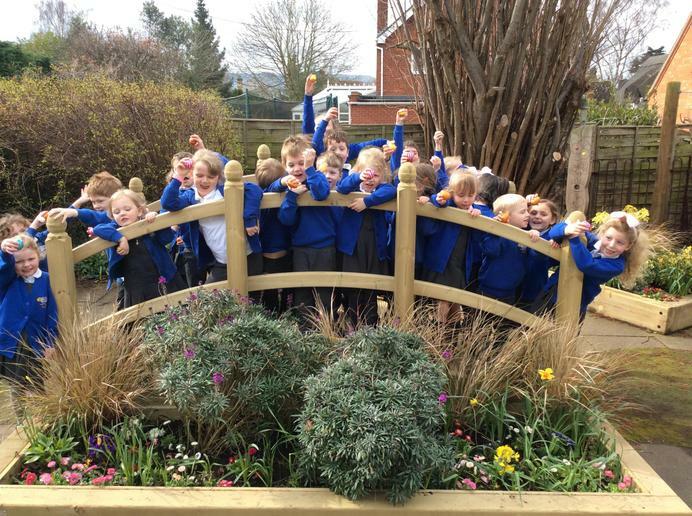 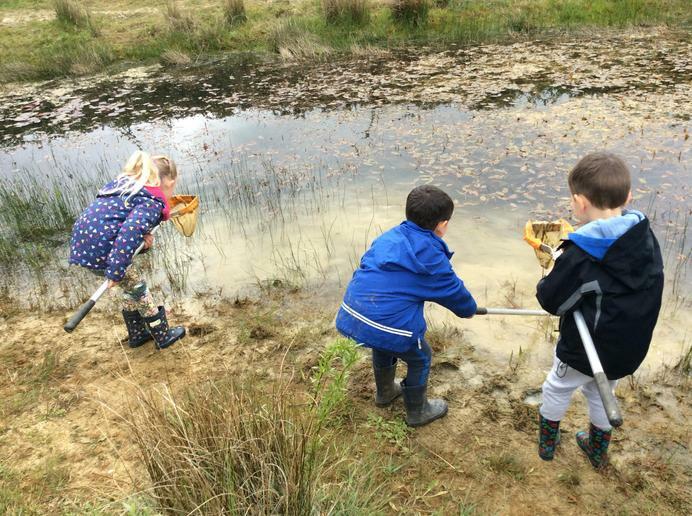 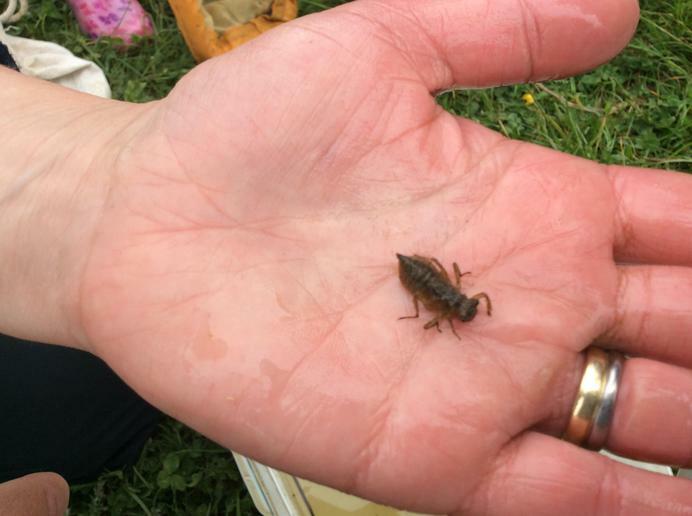 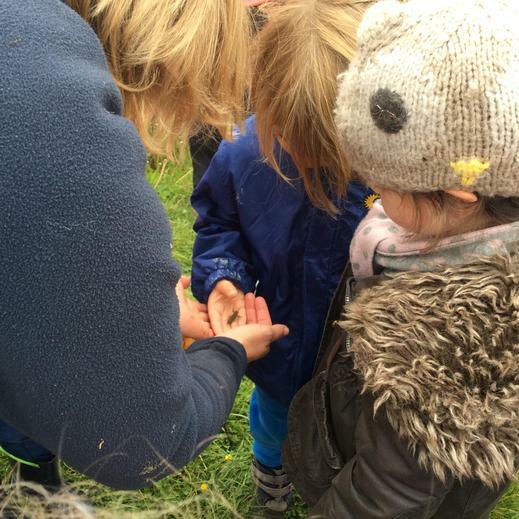 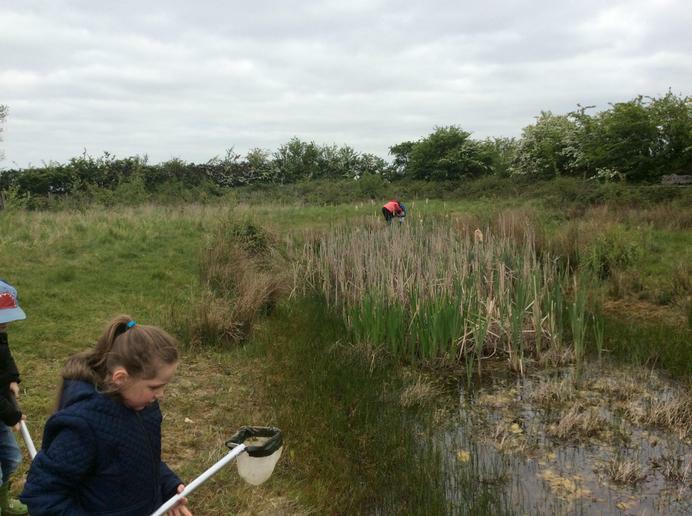 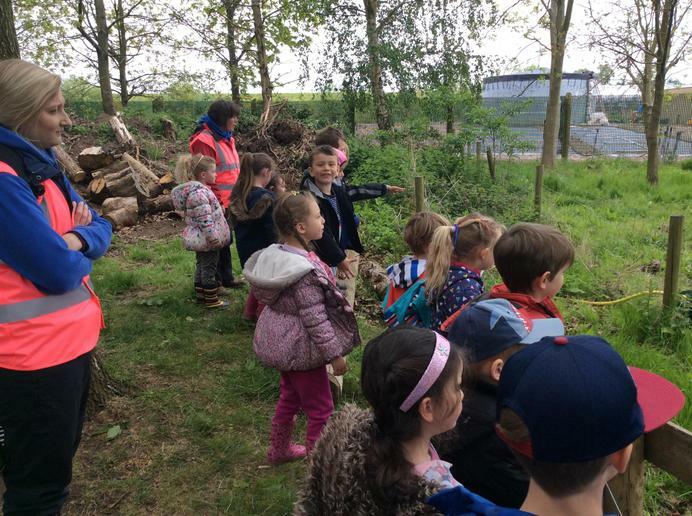 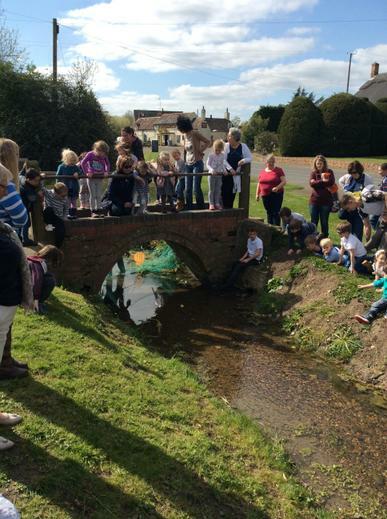 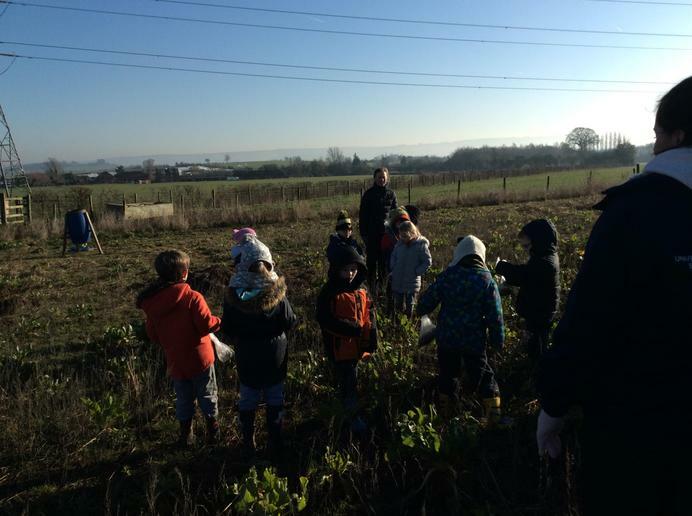 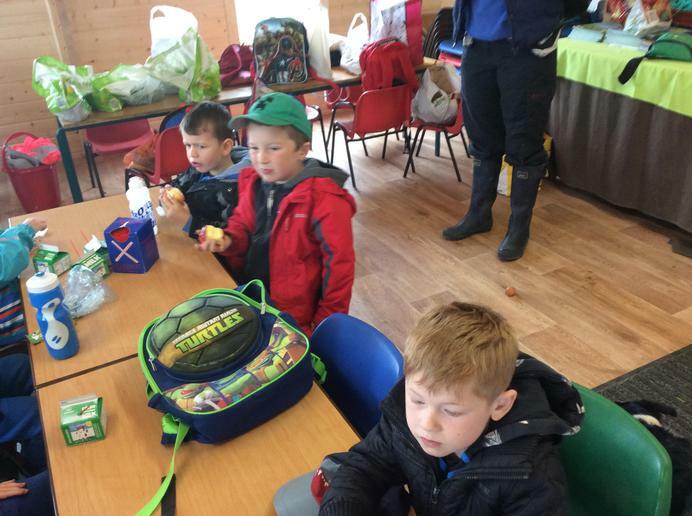 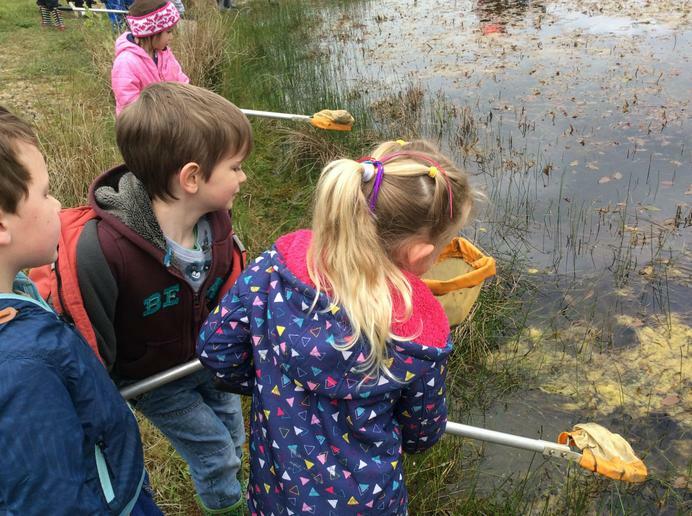 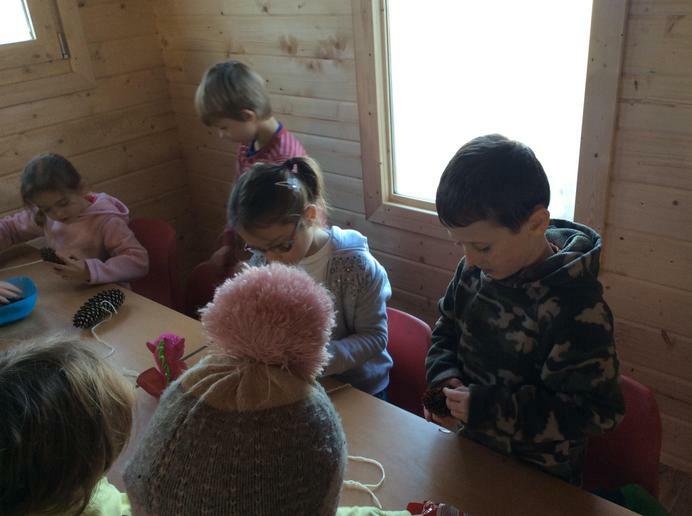 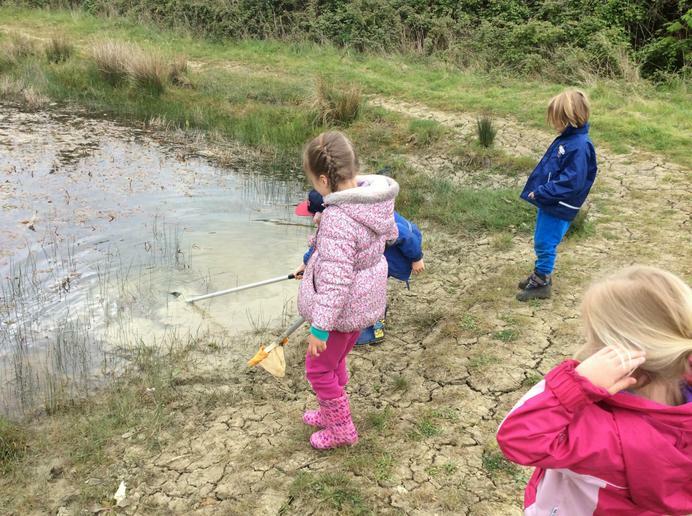 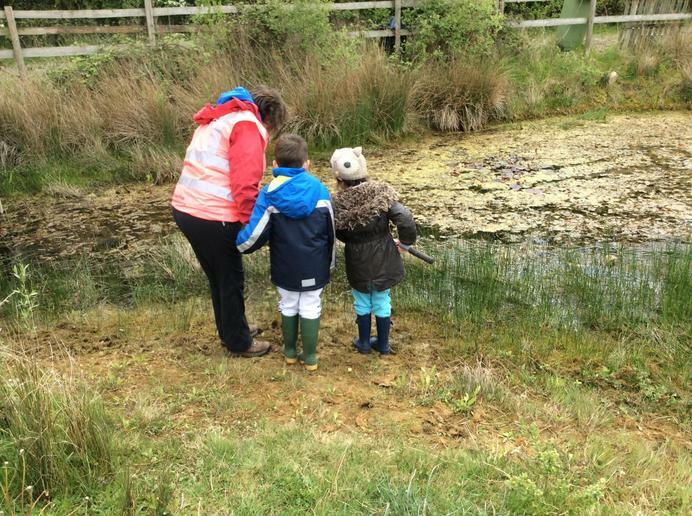 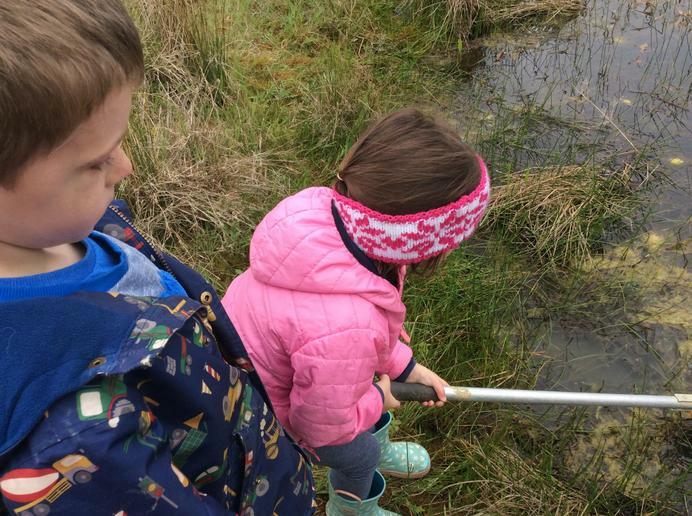 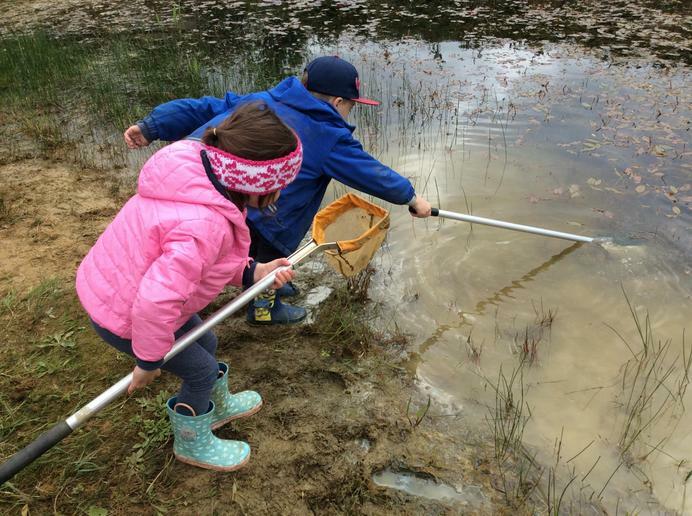 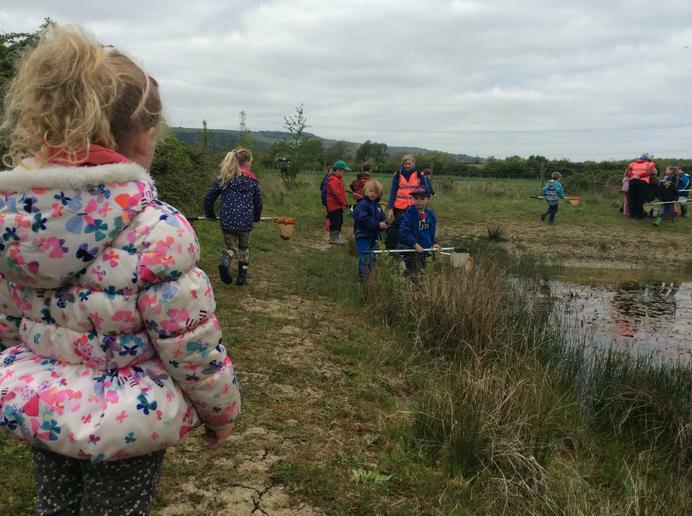 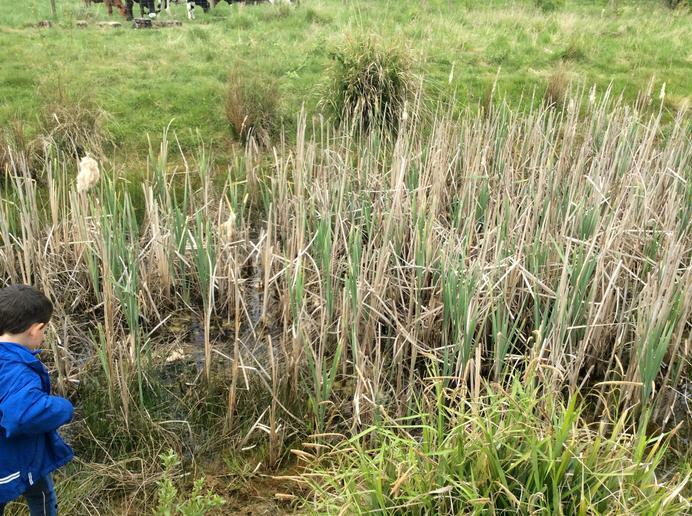 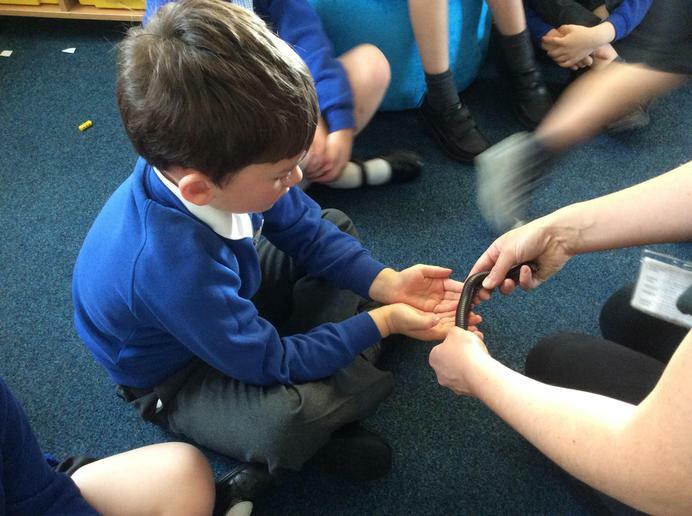 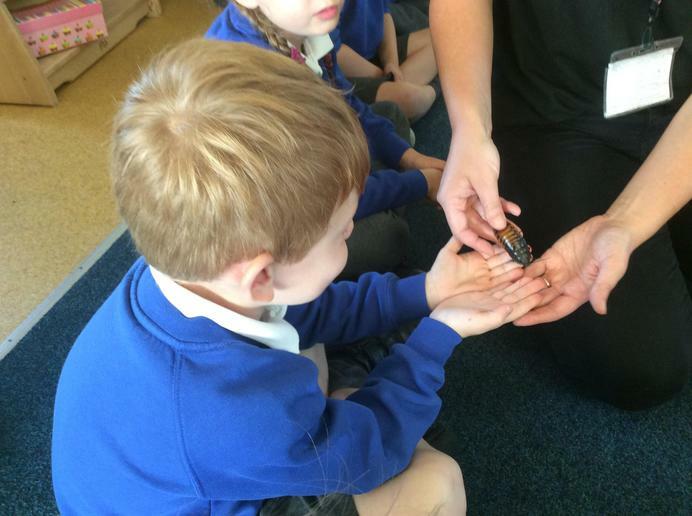 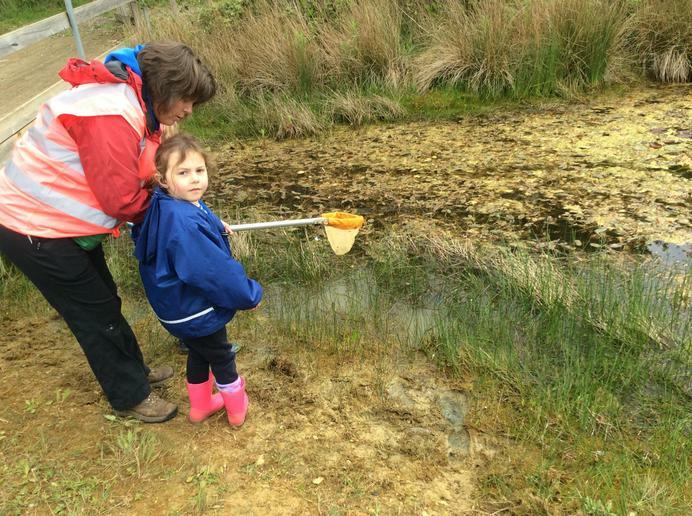 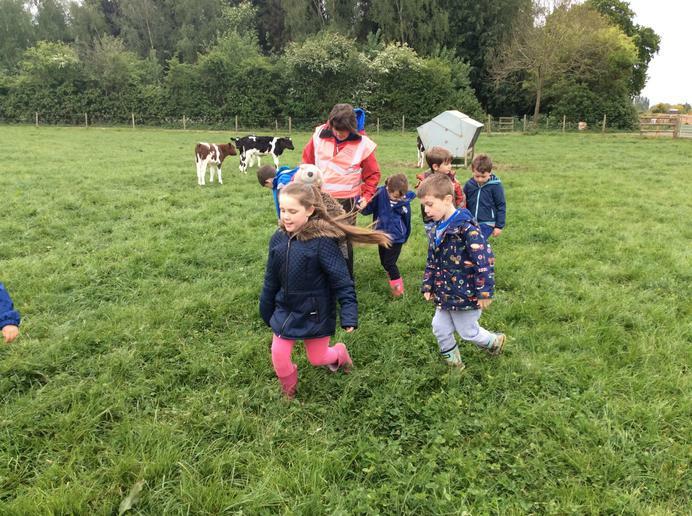 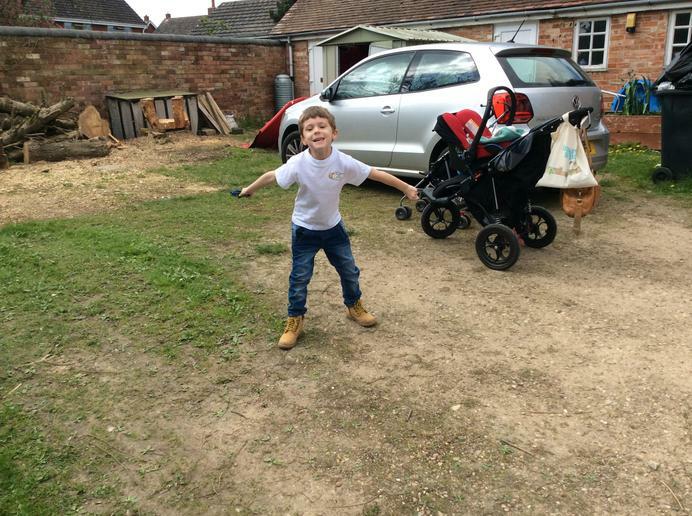 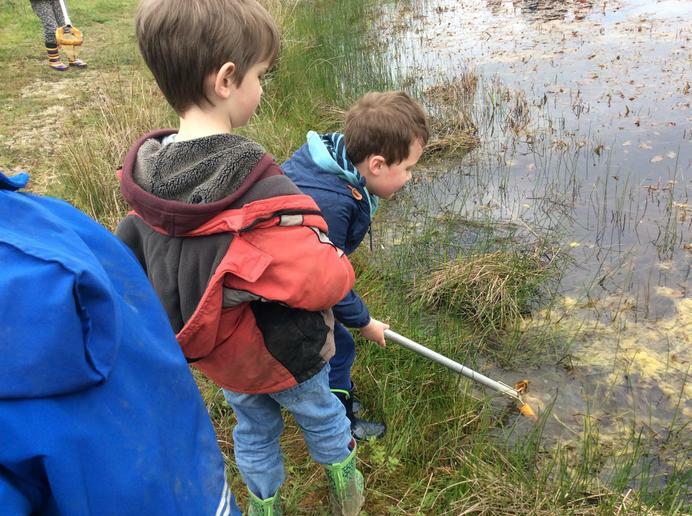 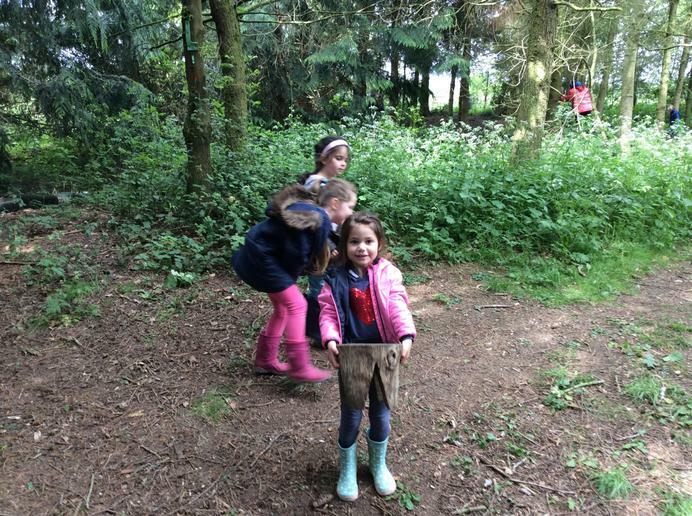 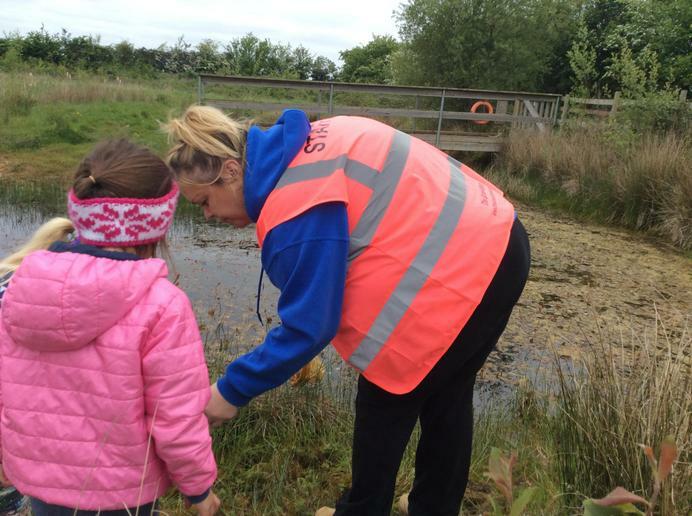 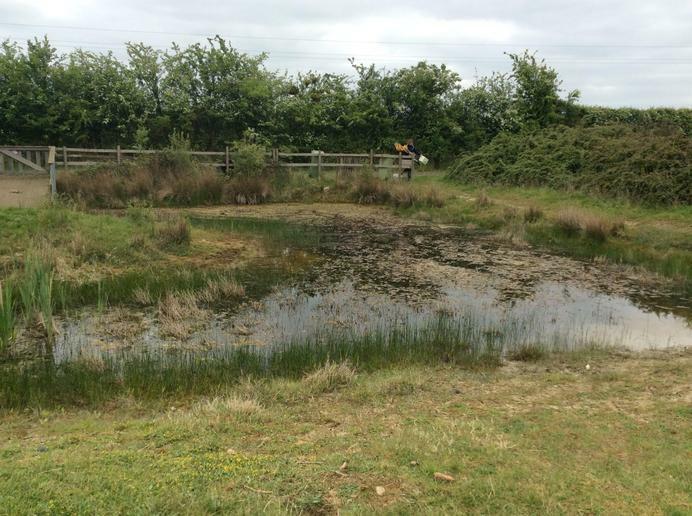 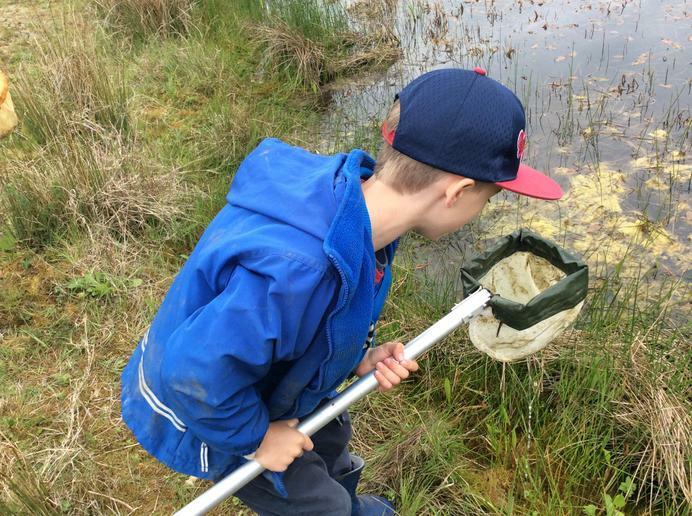 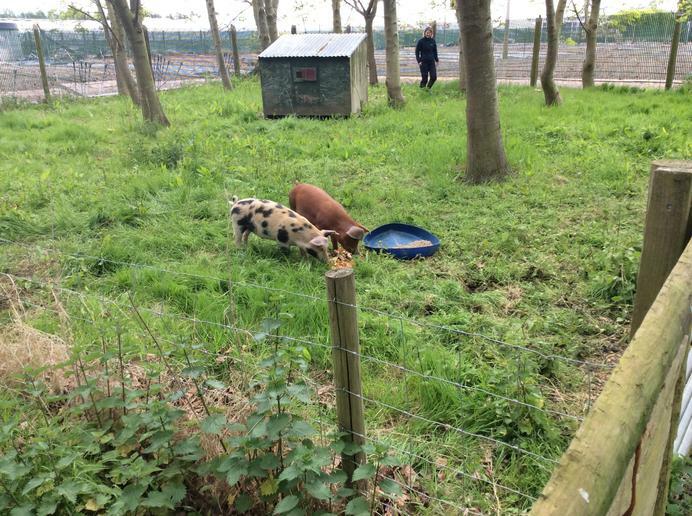 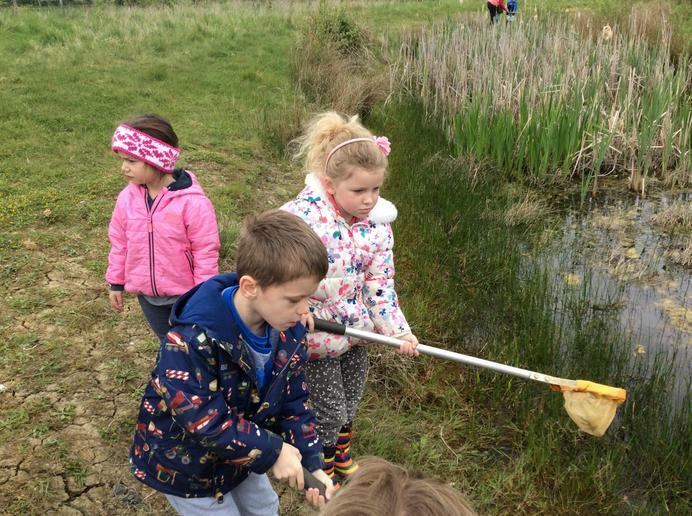 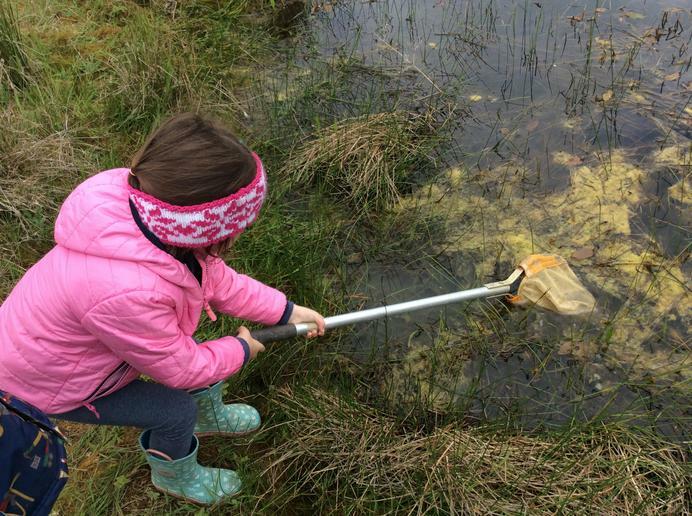 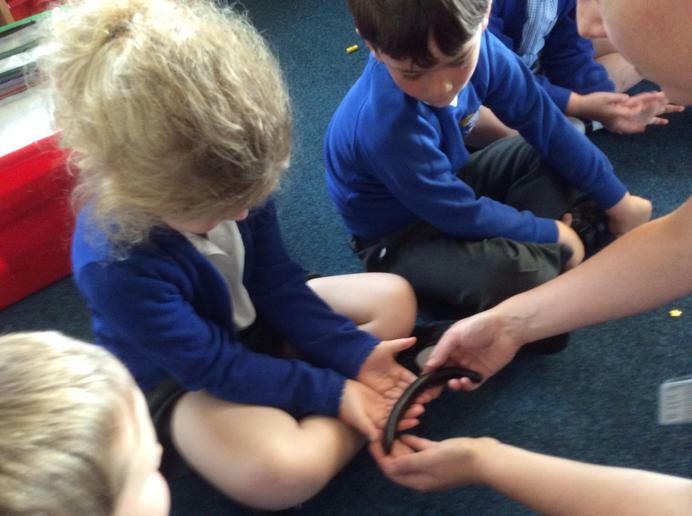 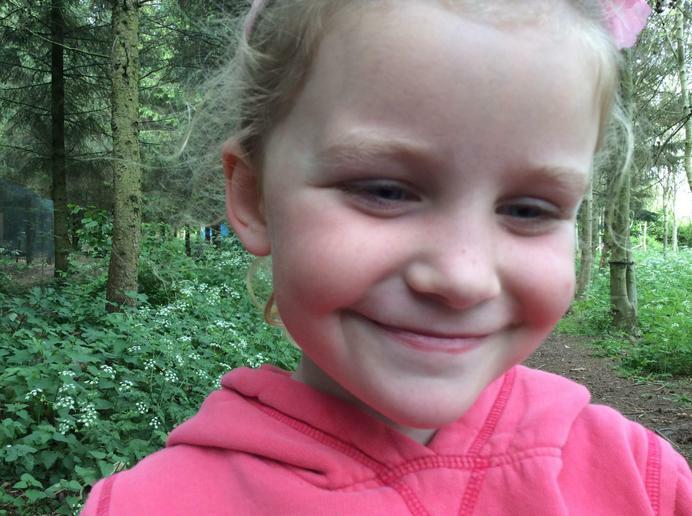 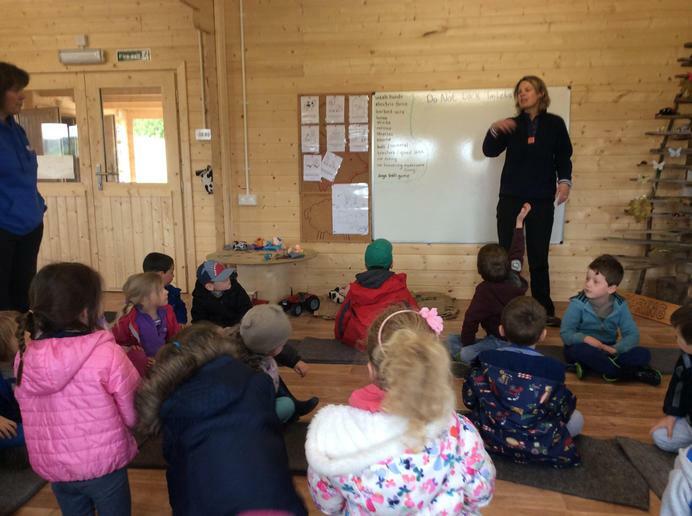 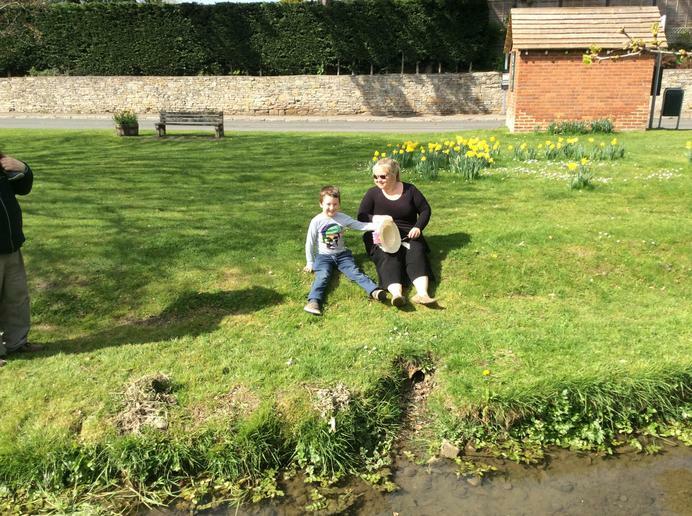 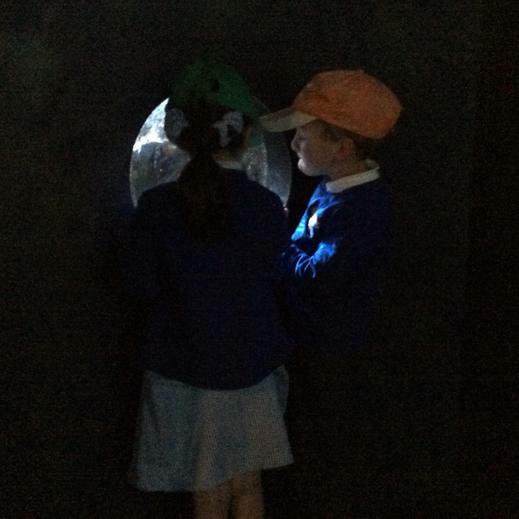 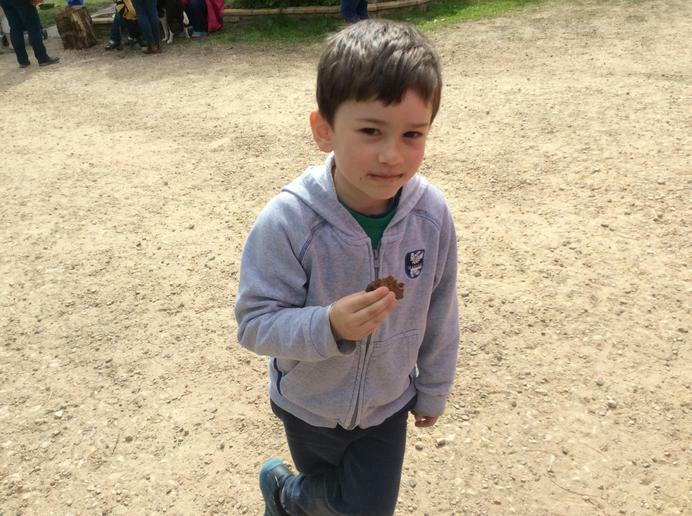 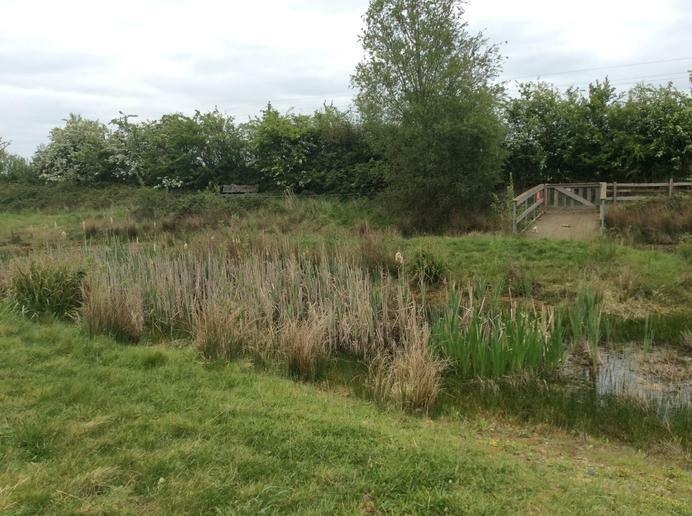 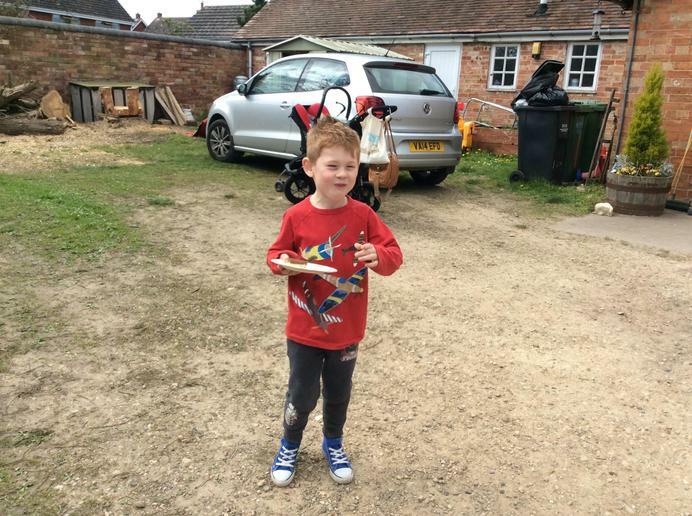 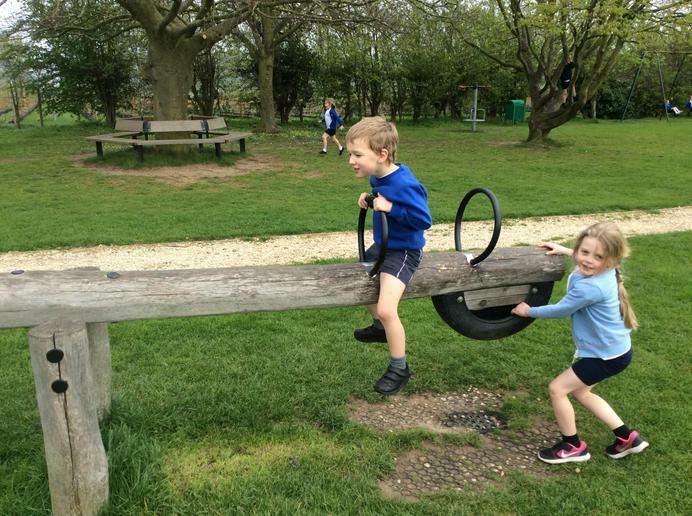 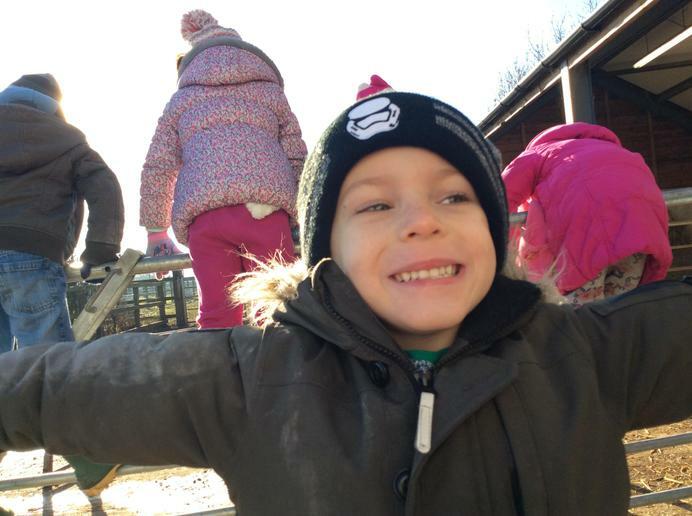 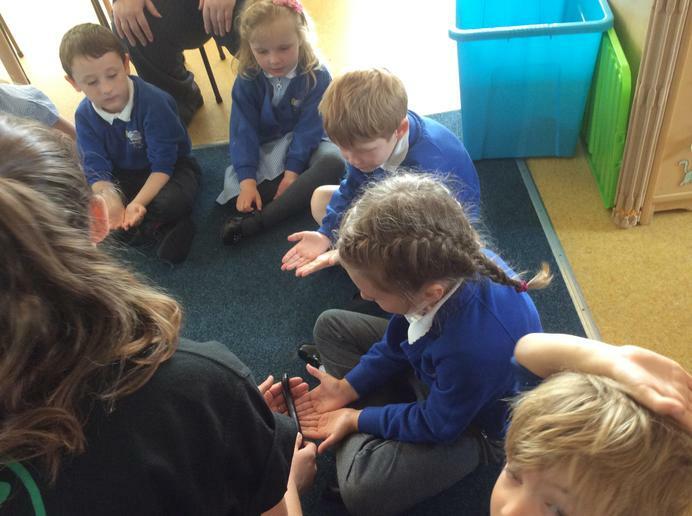 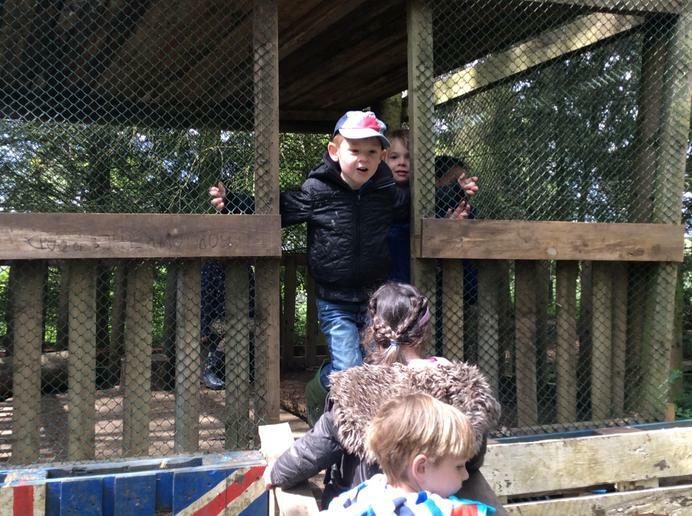 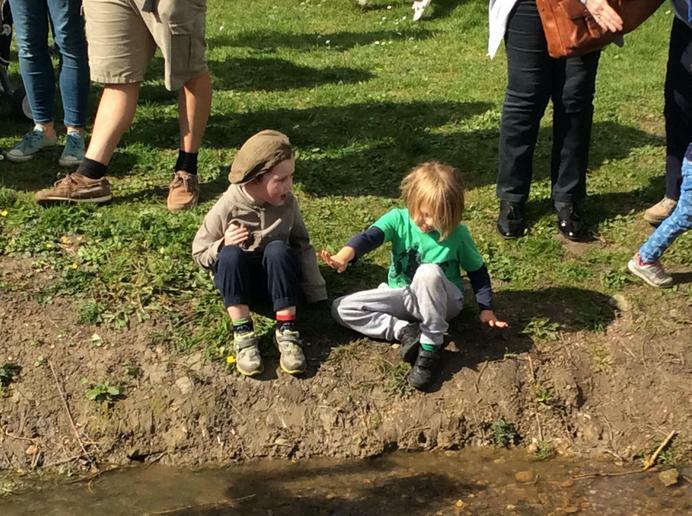 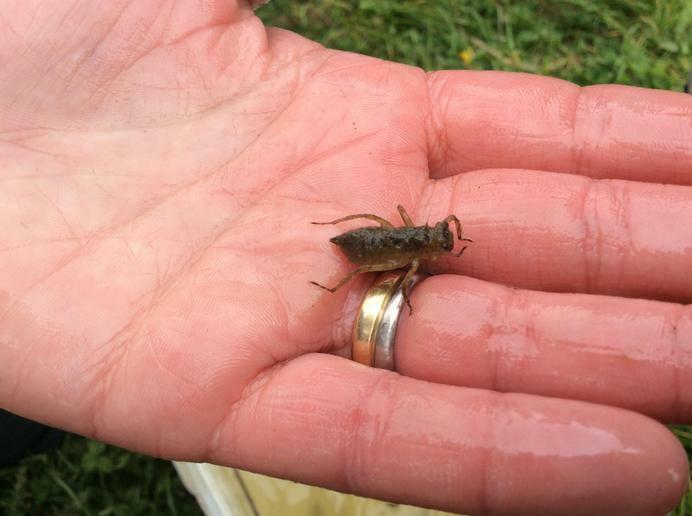 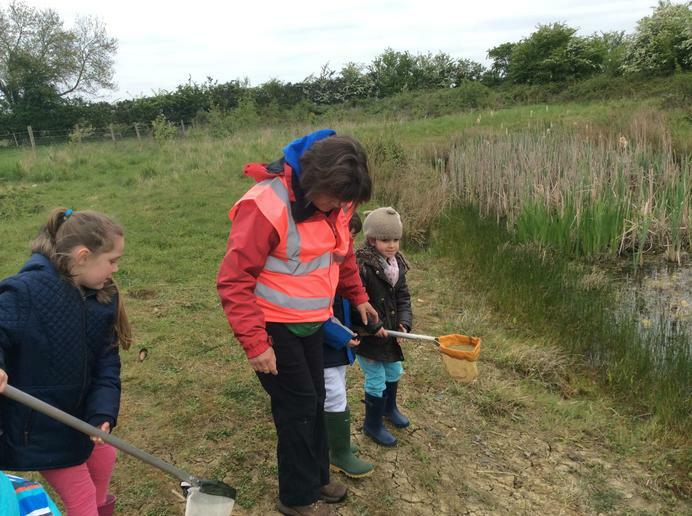 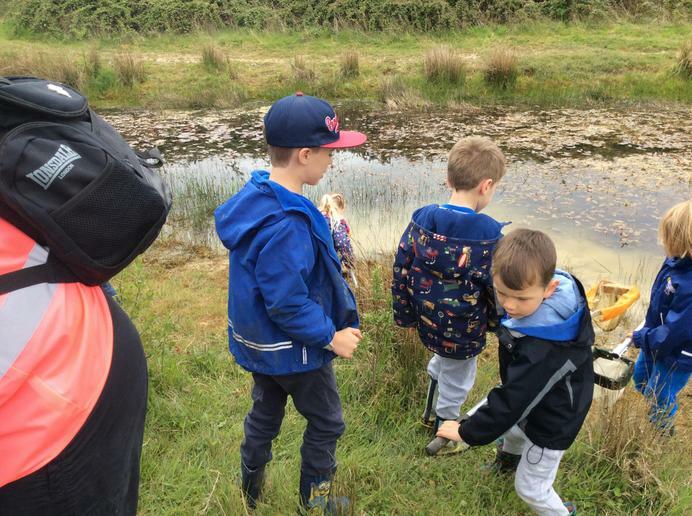 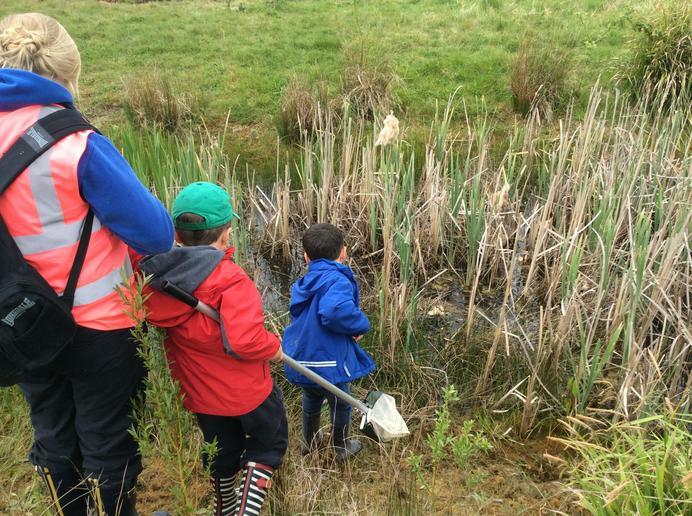 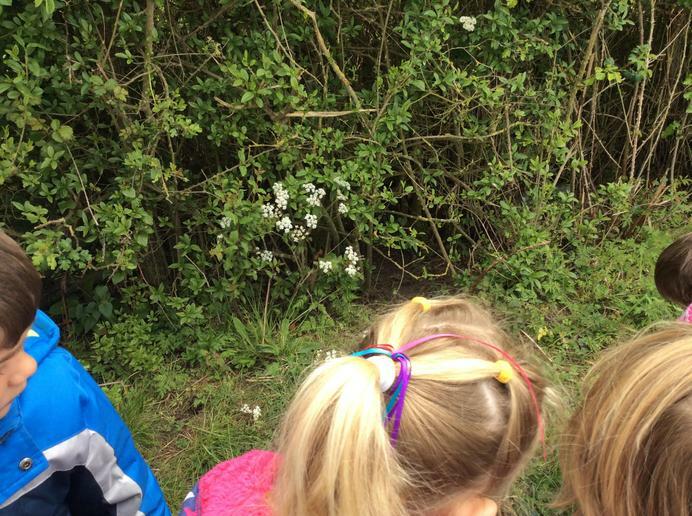 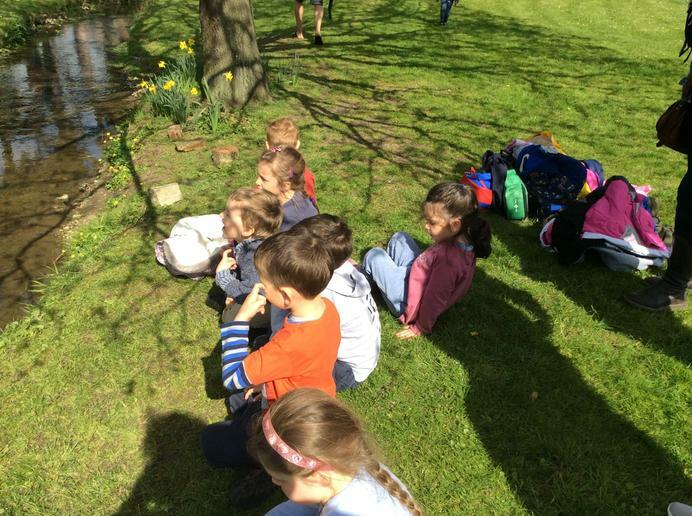 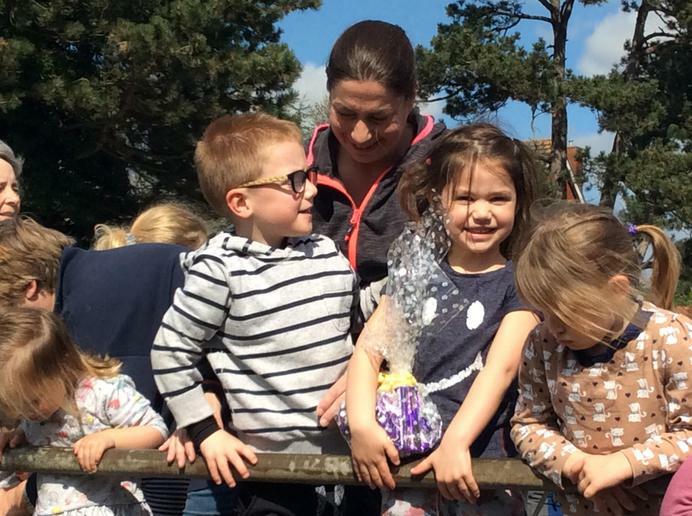 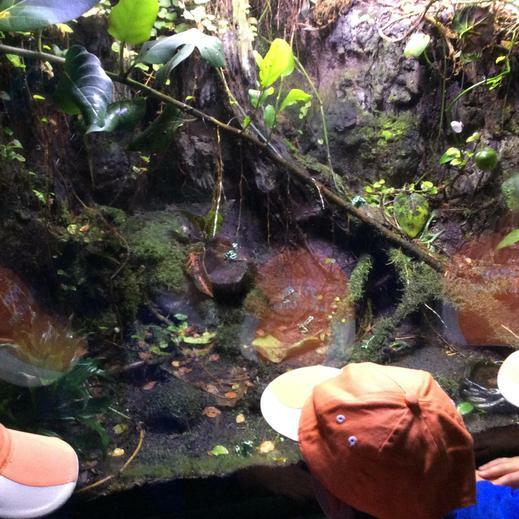 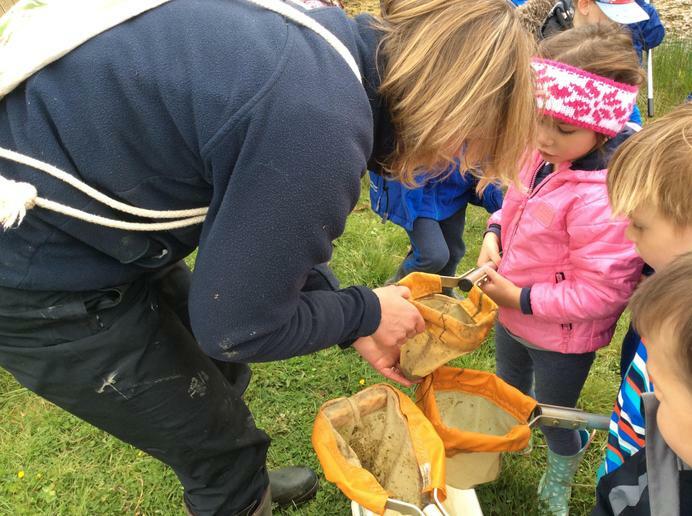 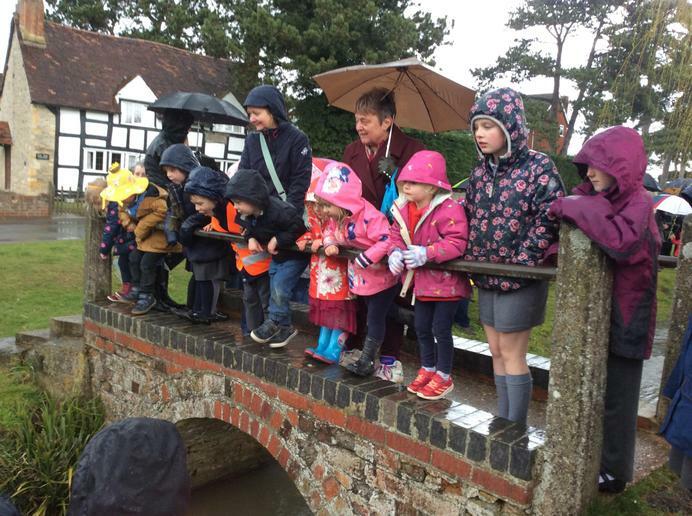 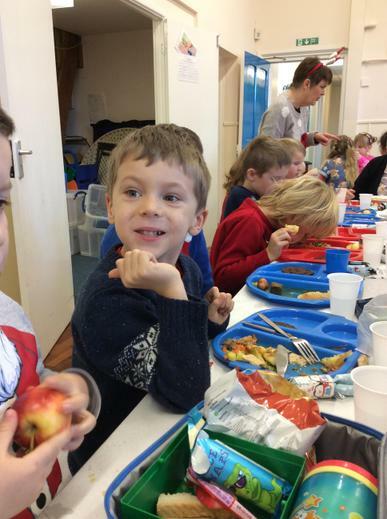 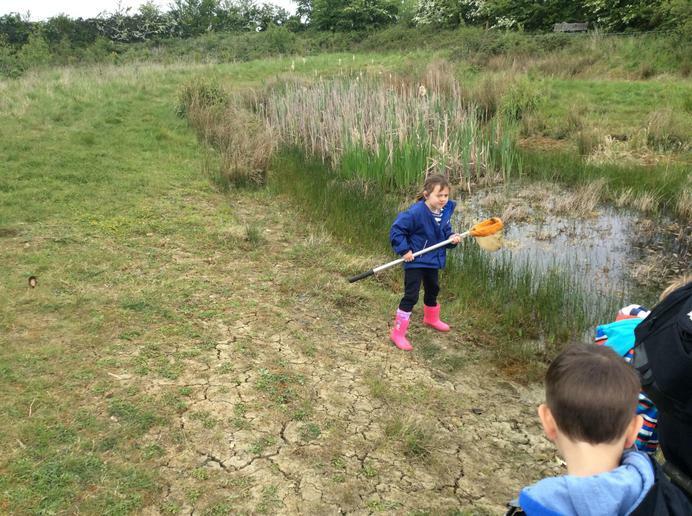 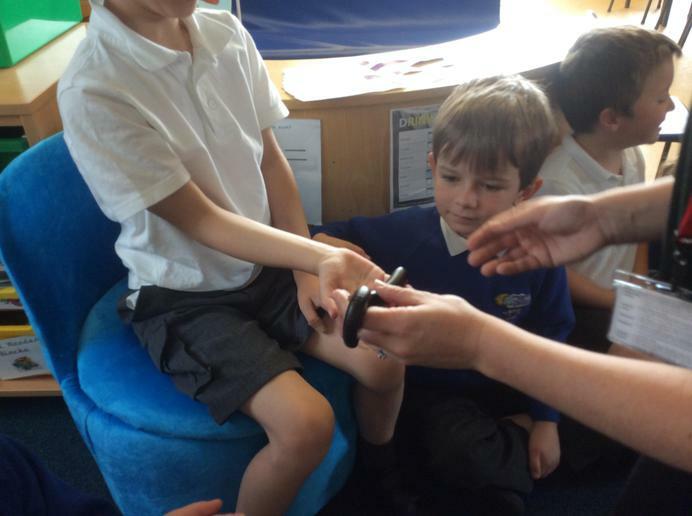 Sandfield Farm - the children have had an amazing time at Sandfield Farm, we have learned about different life cycles and had a fabulous time pond dipping looking for different creatures. 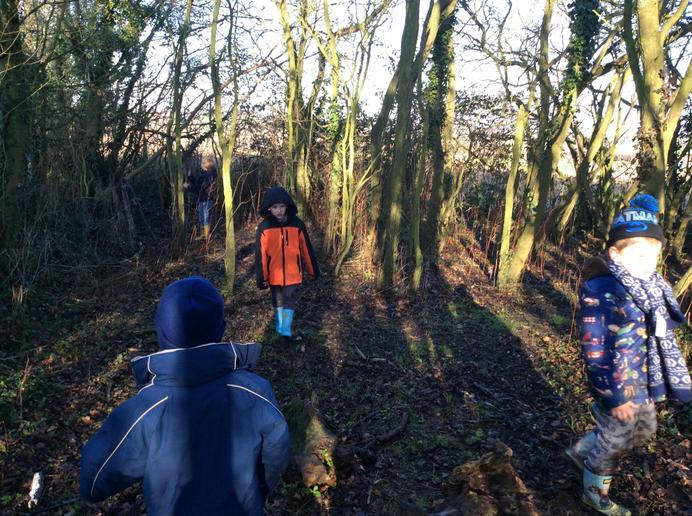 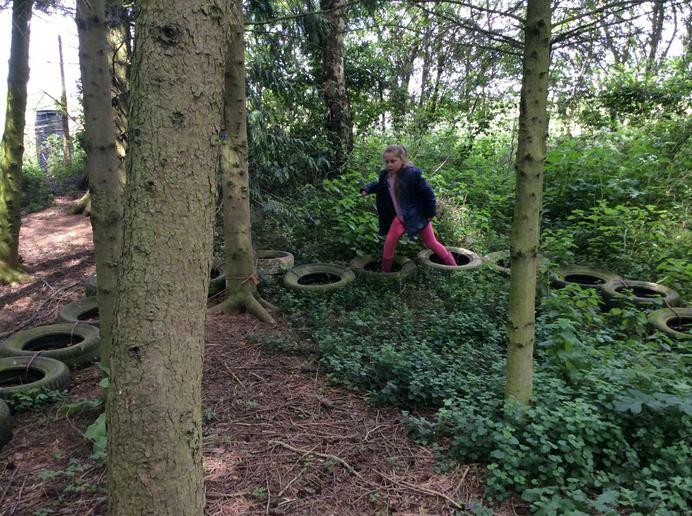 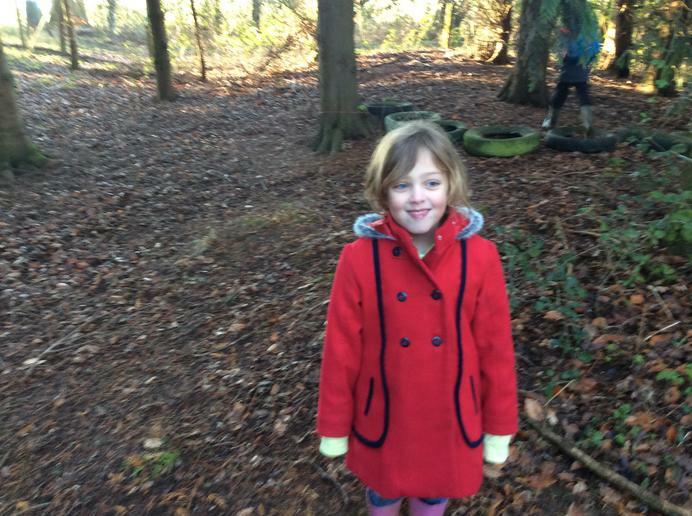 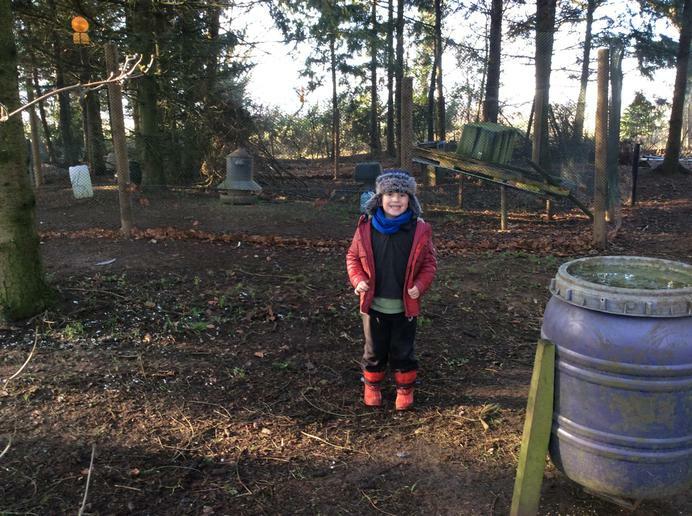 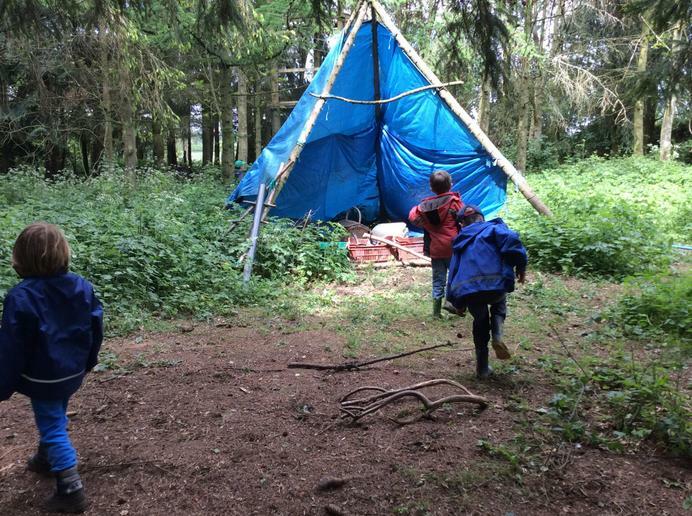 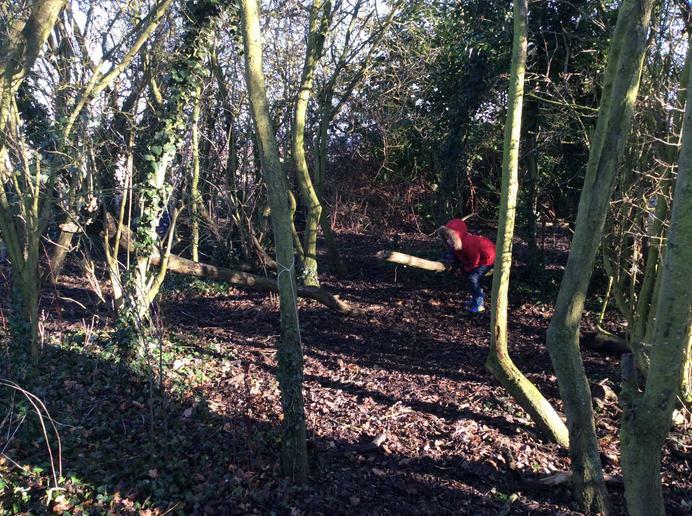 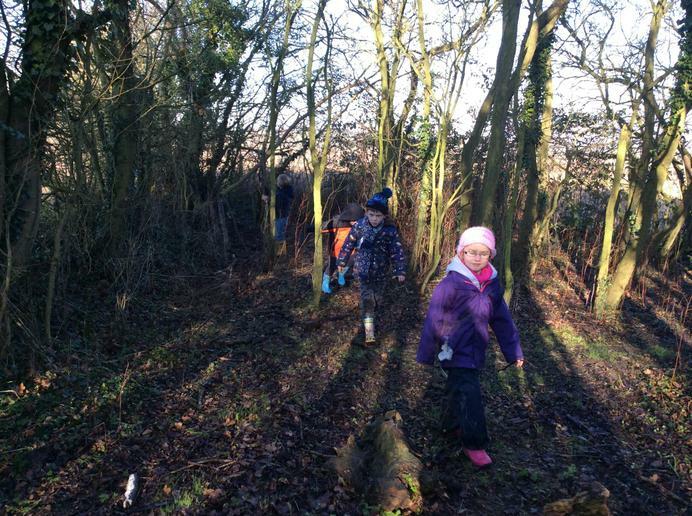 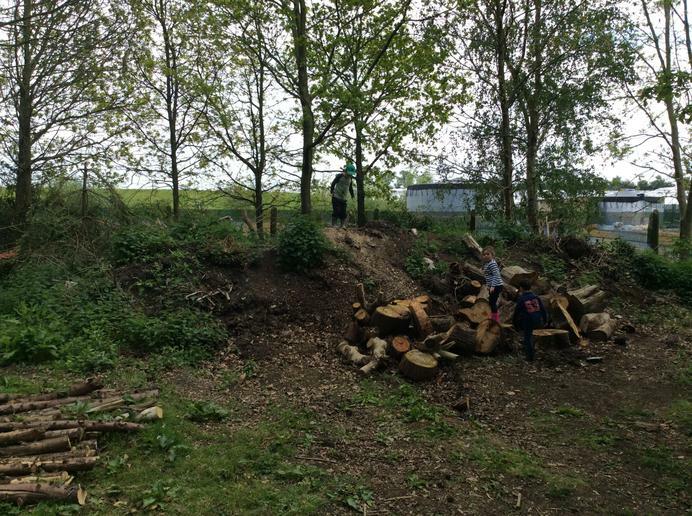 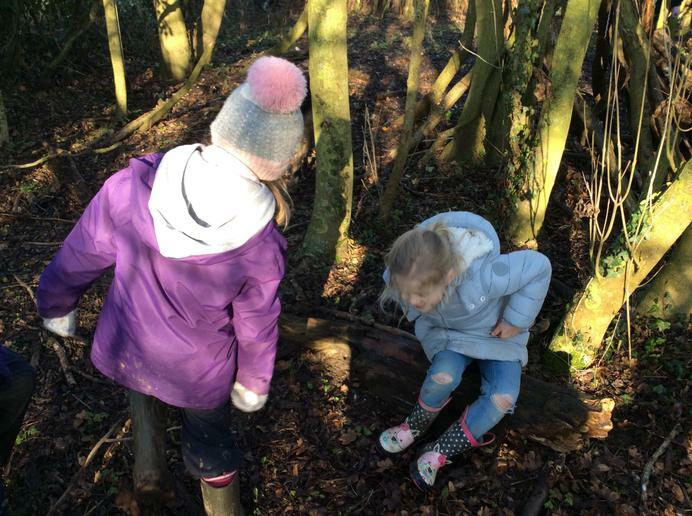 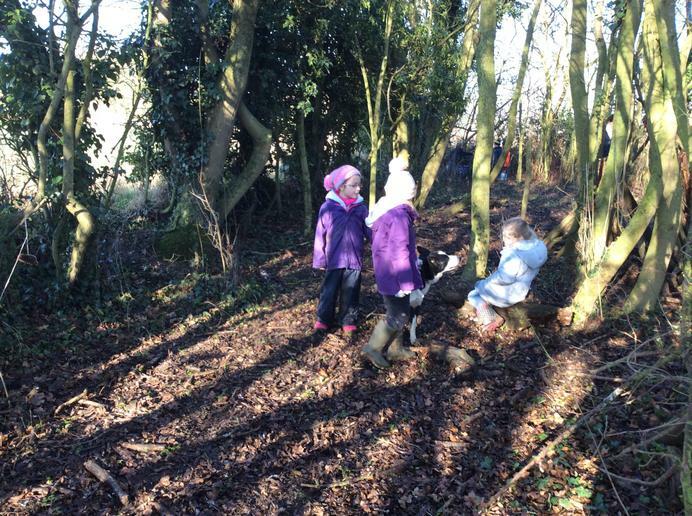 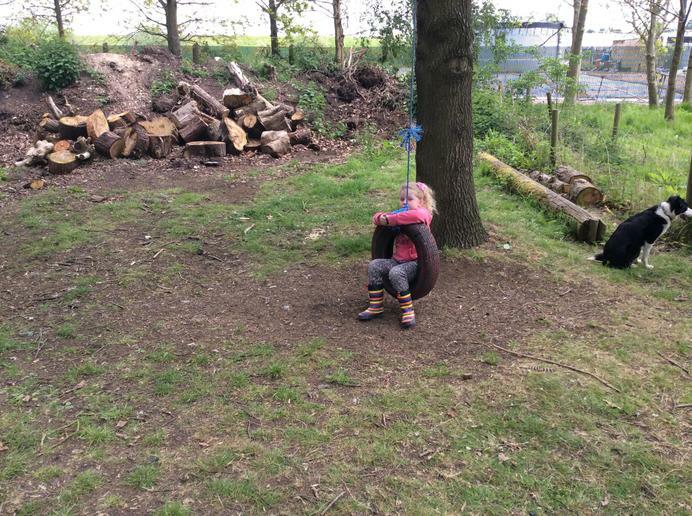 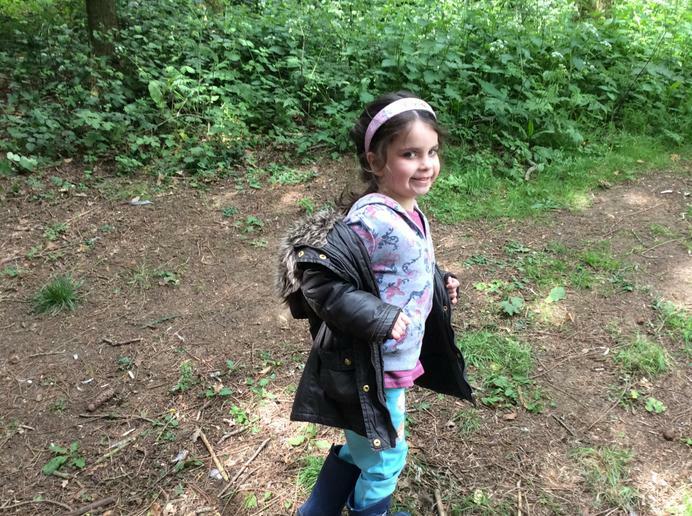 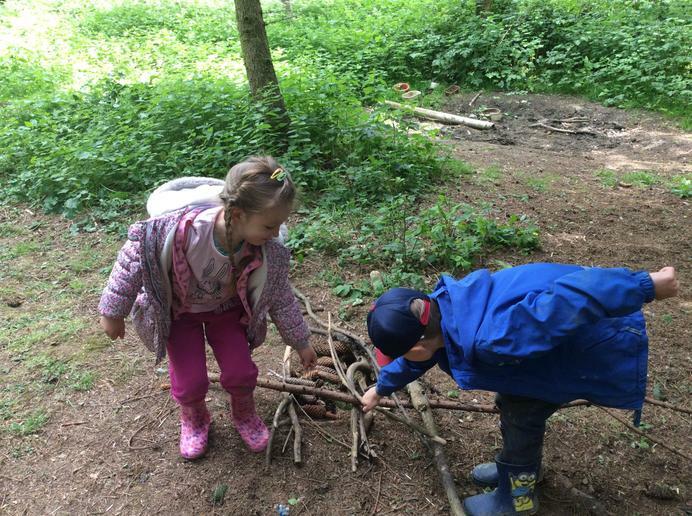 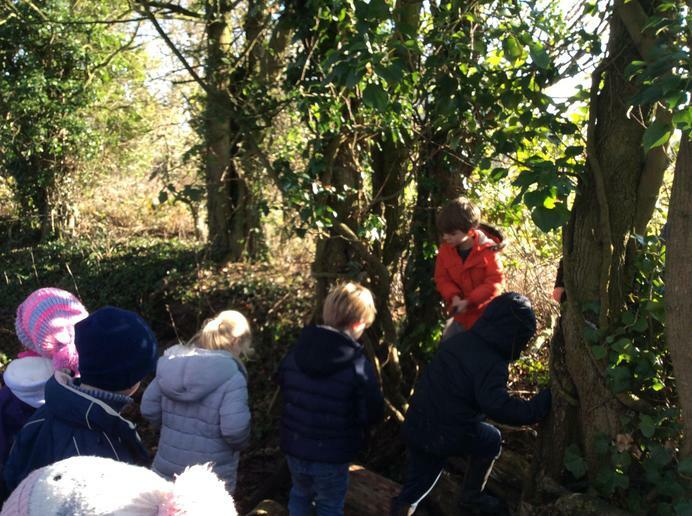 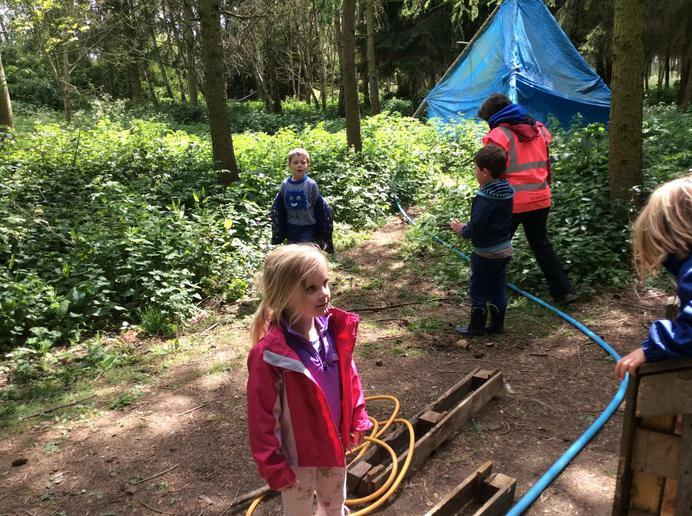 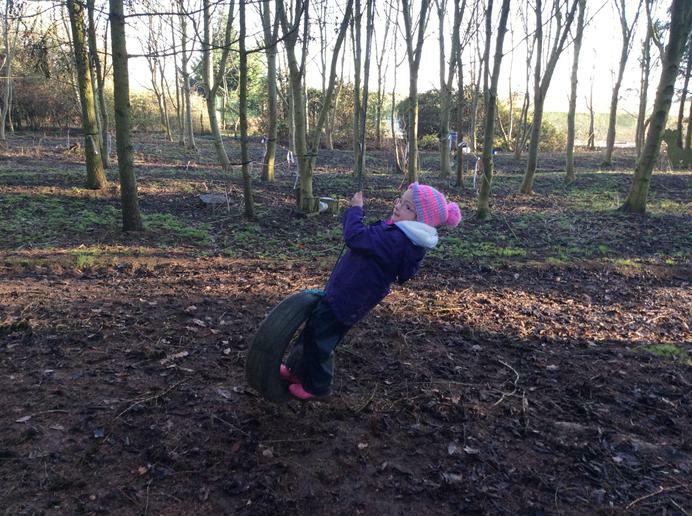 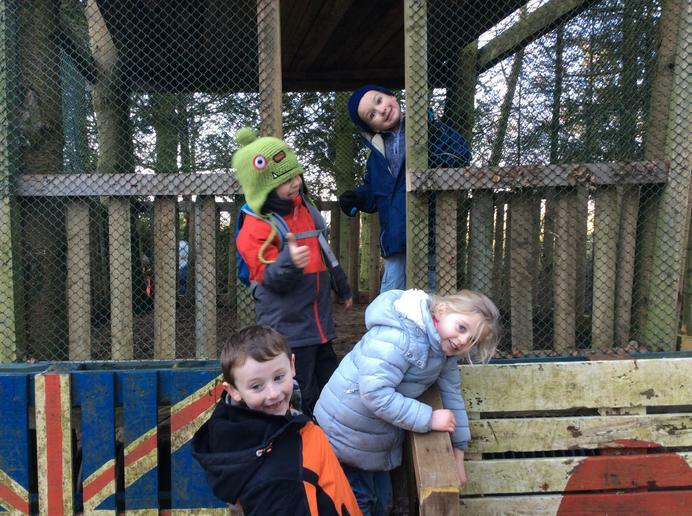 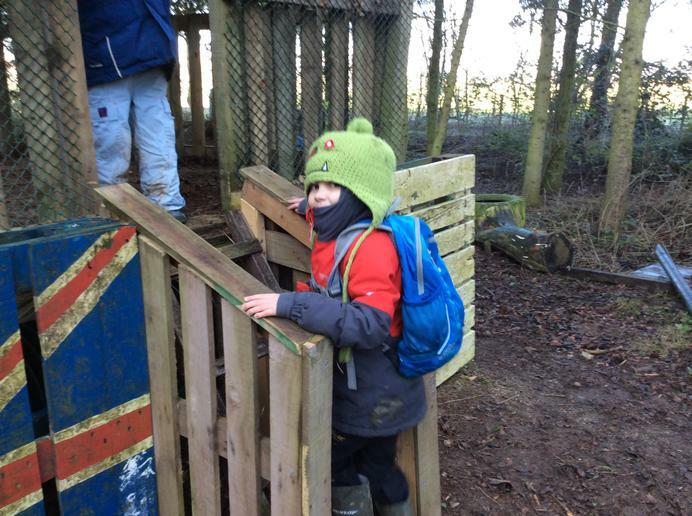 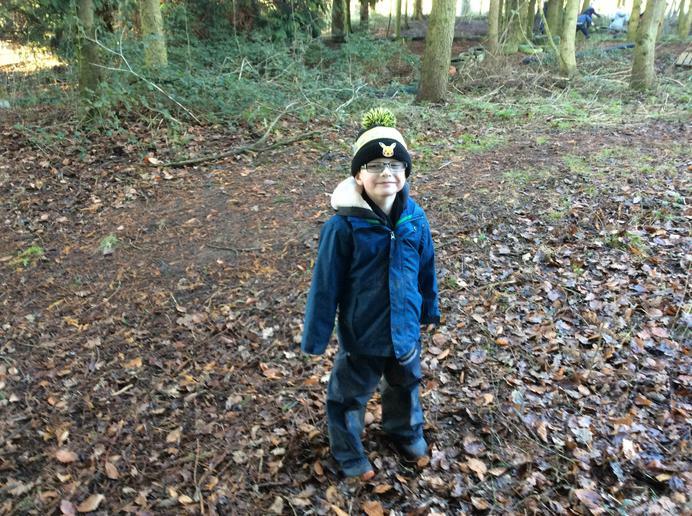 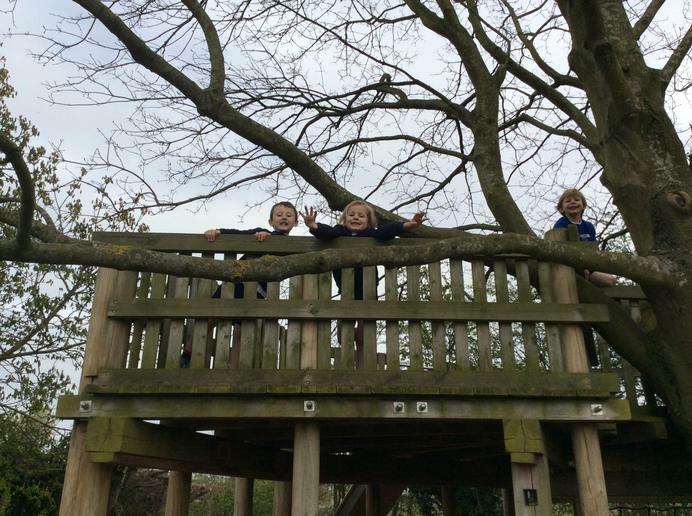 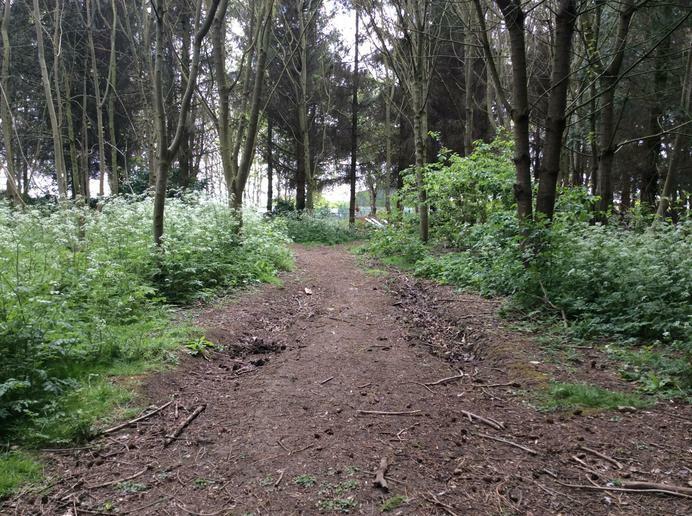 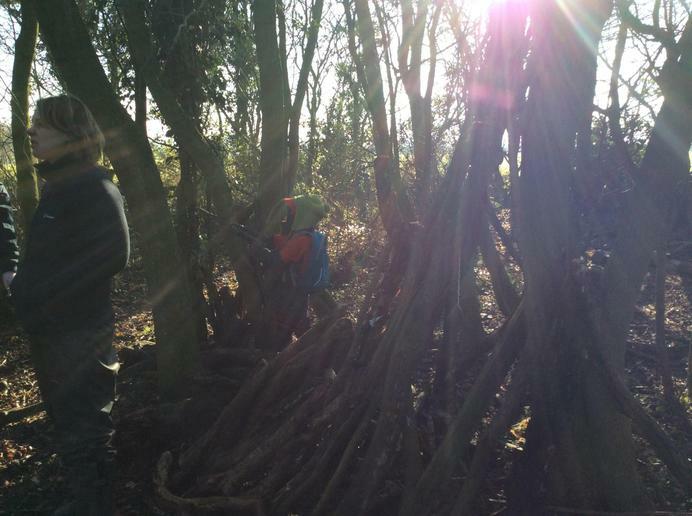 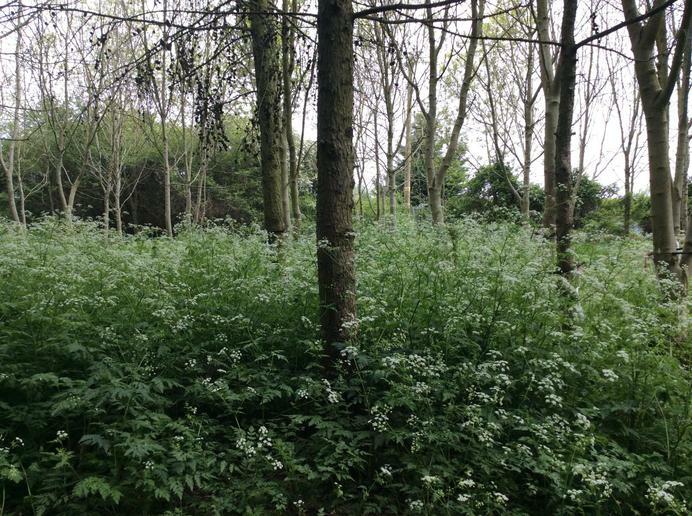 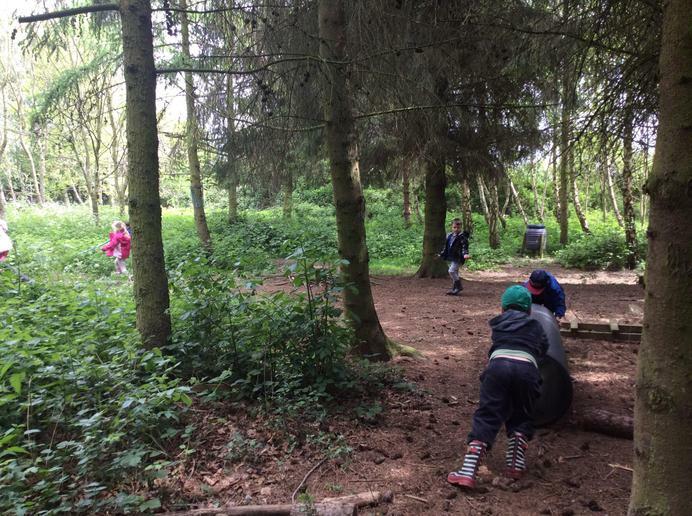 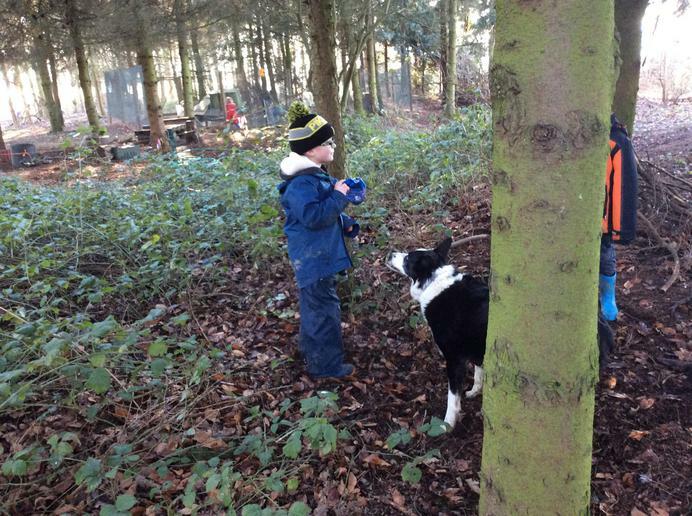 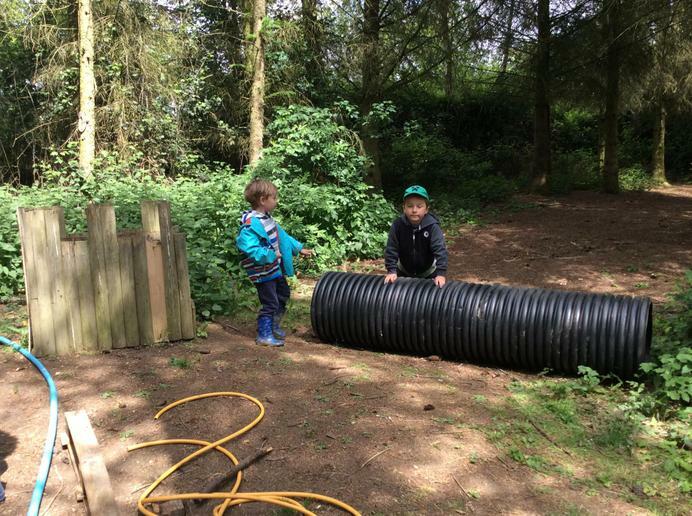 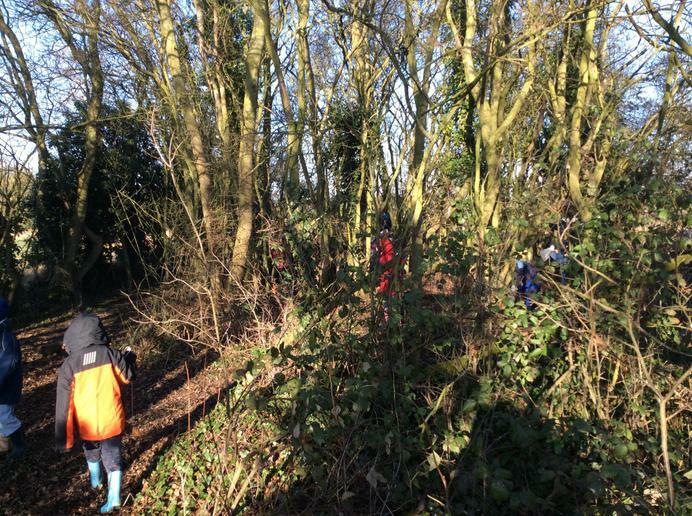 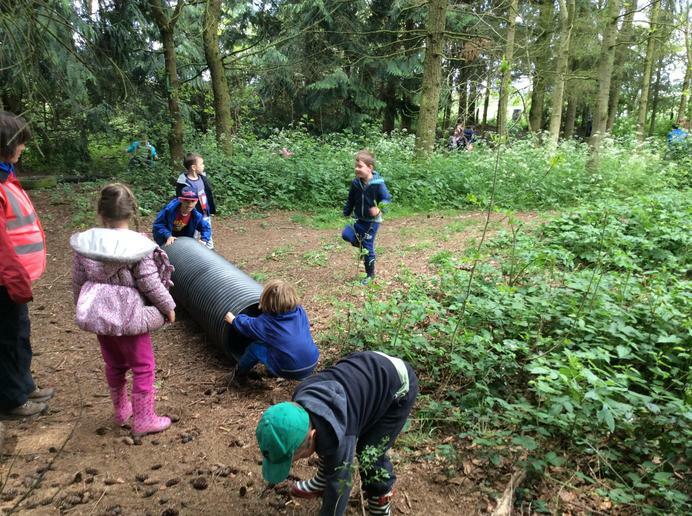 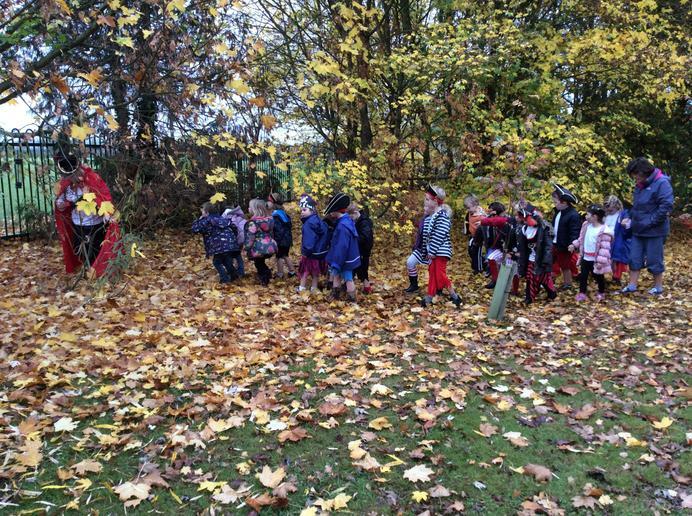 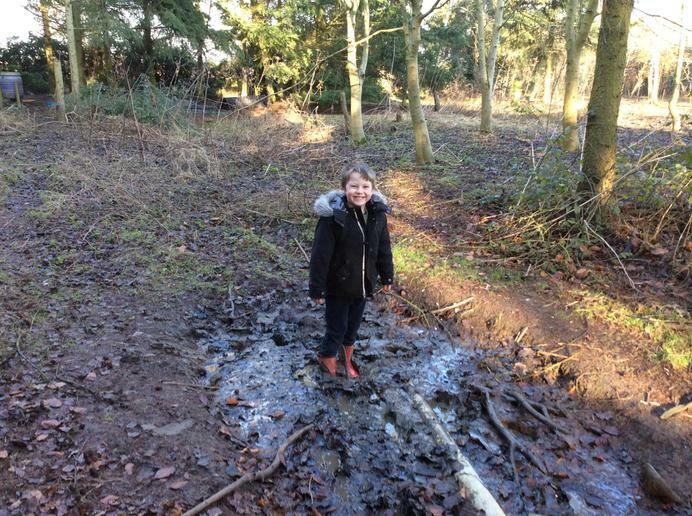 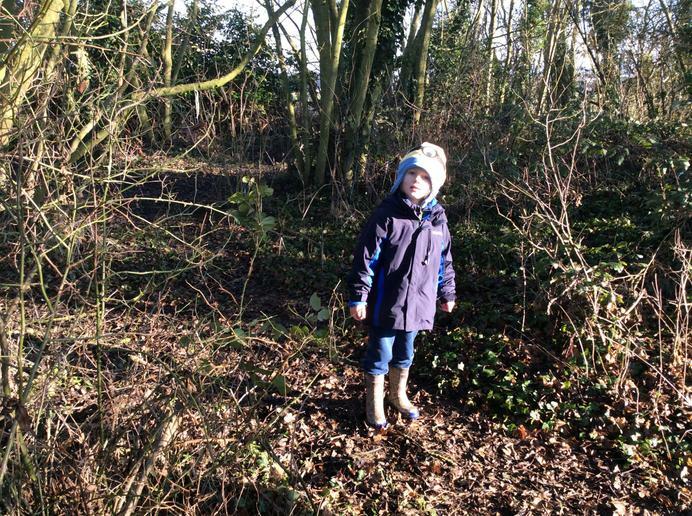 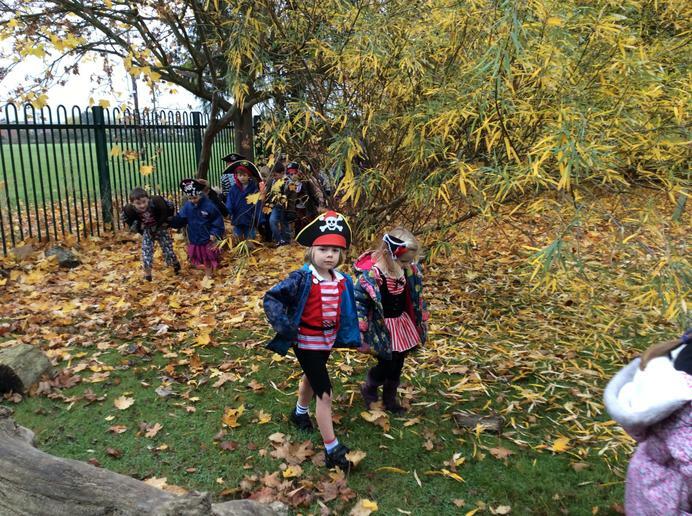 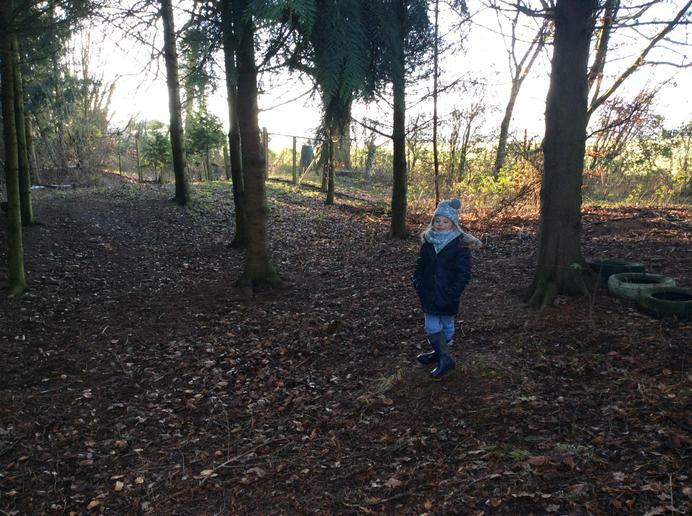 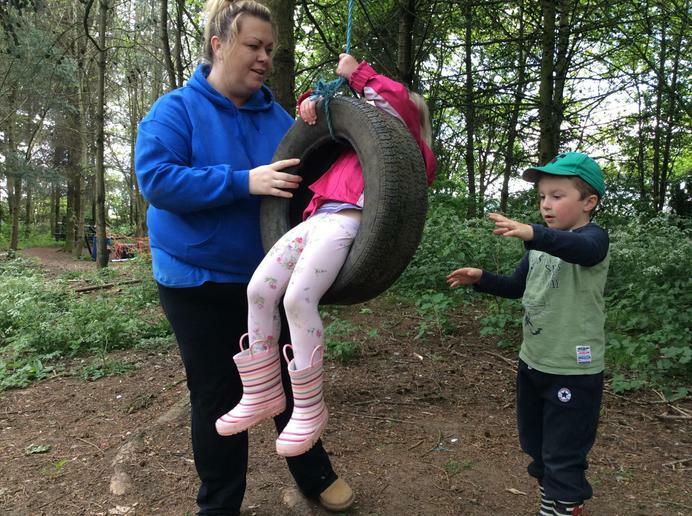 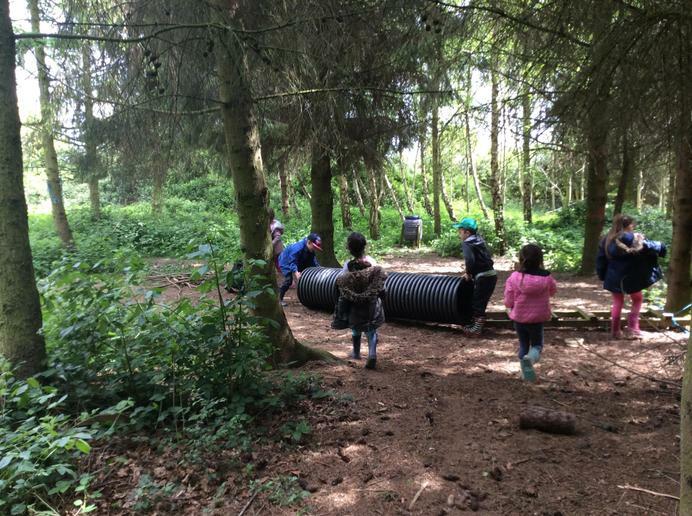 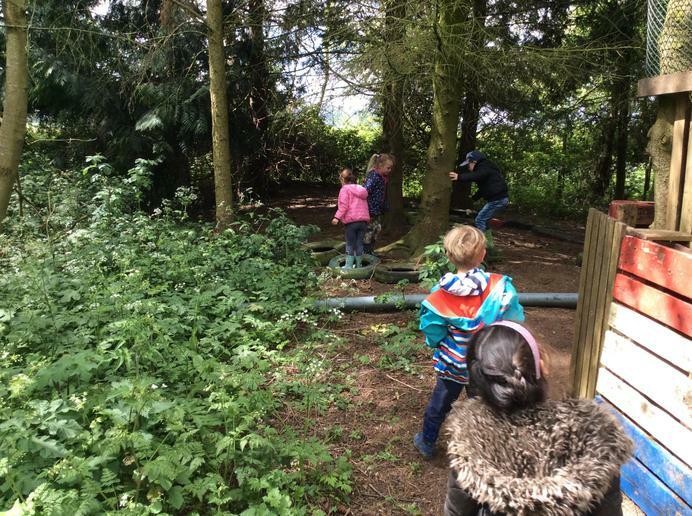 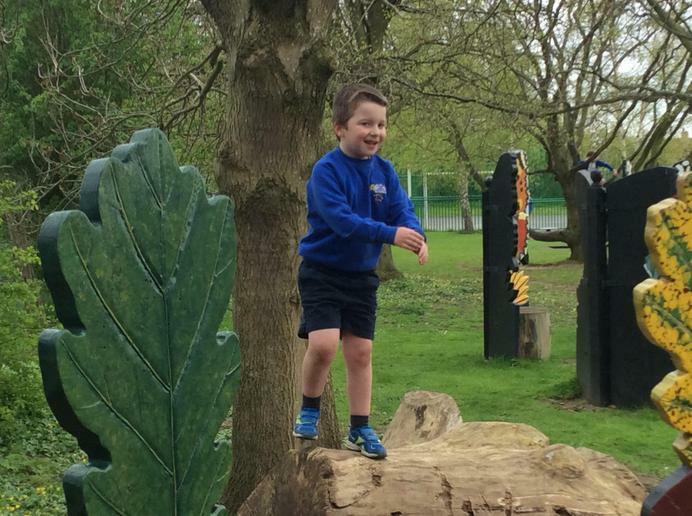 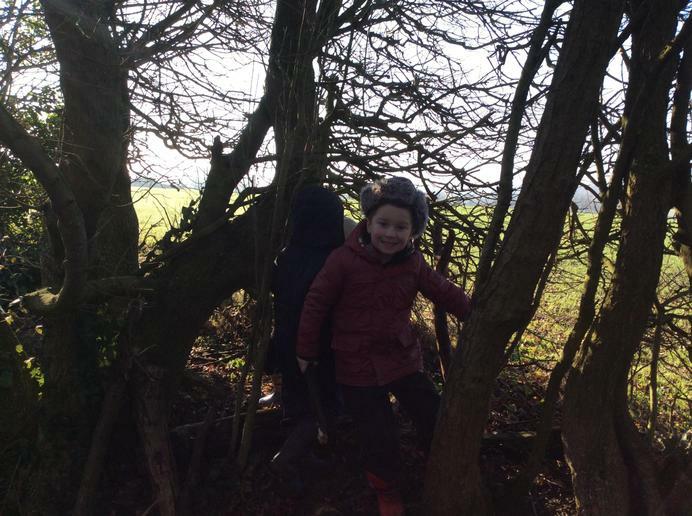 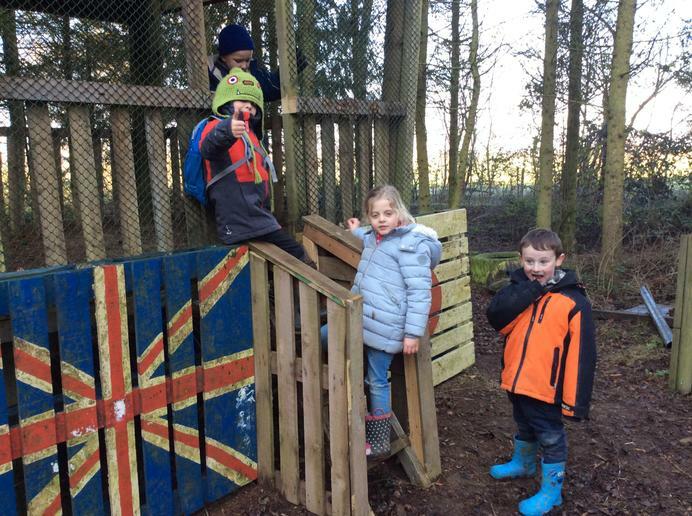 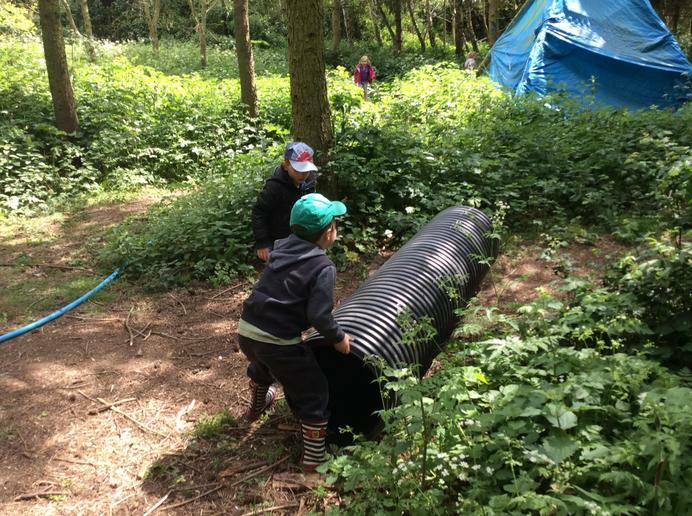 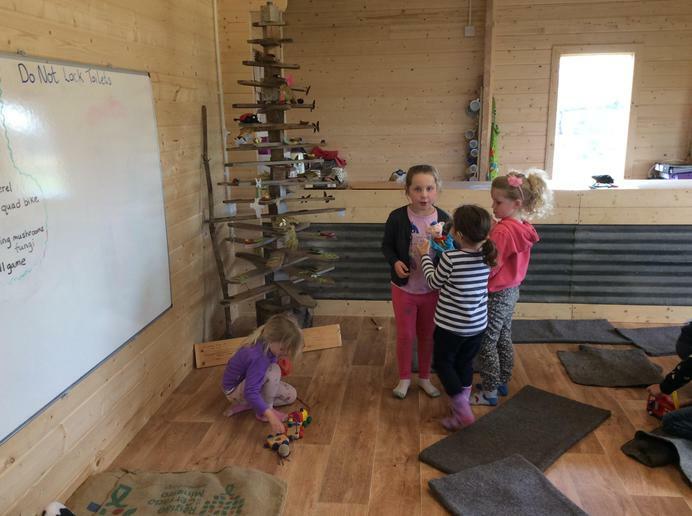 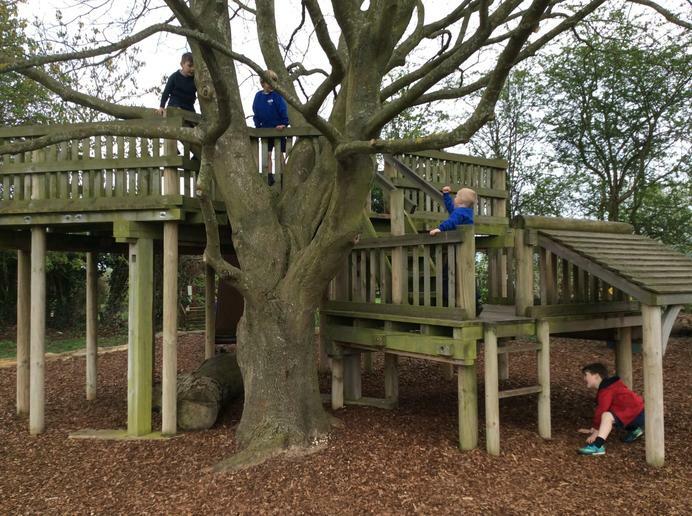 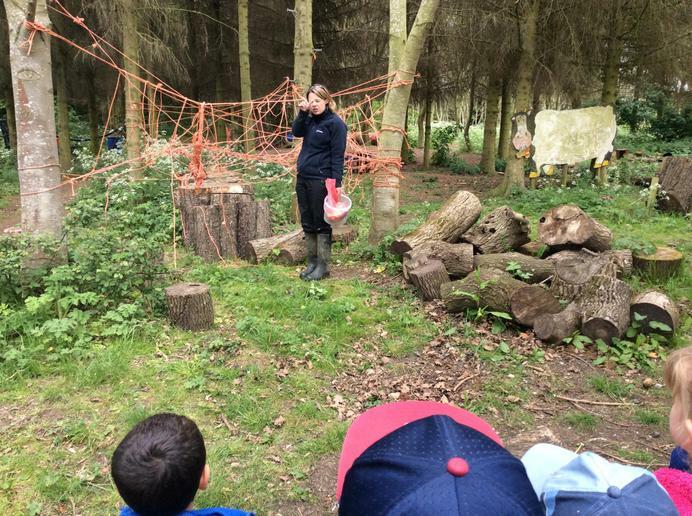 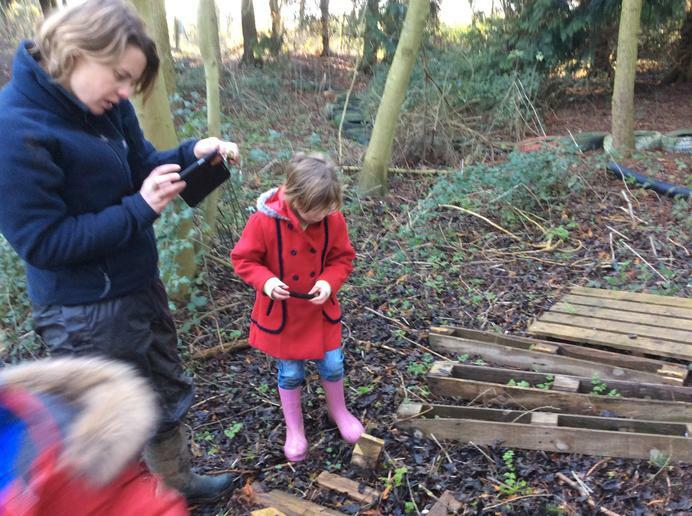 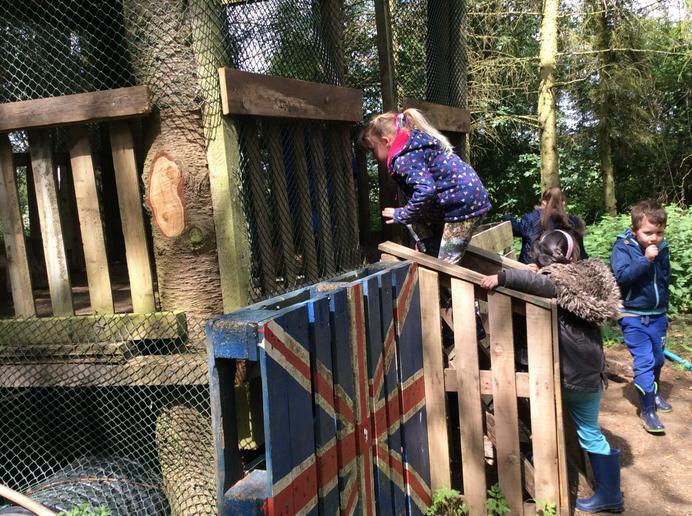 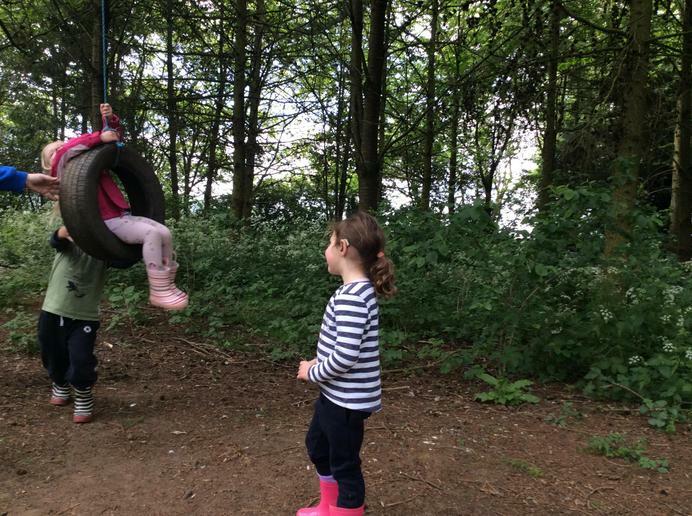 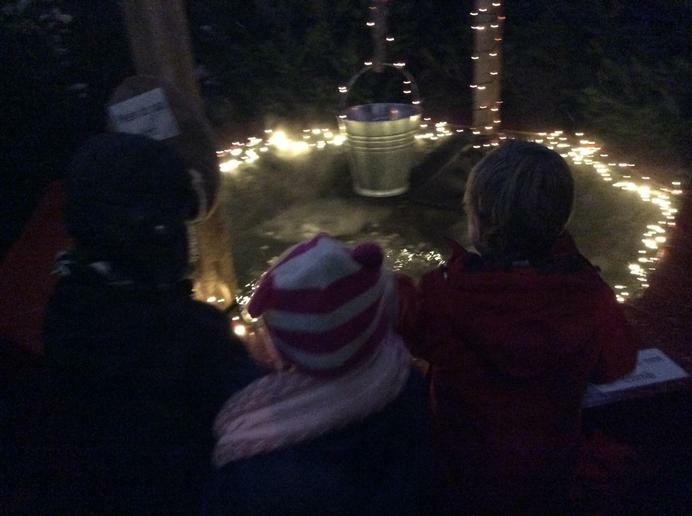 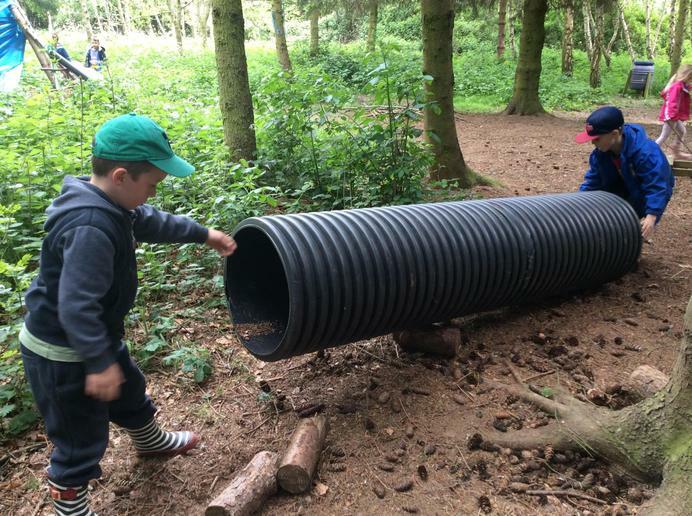 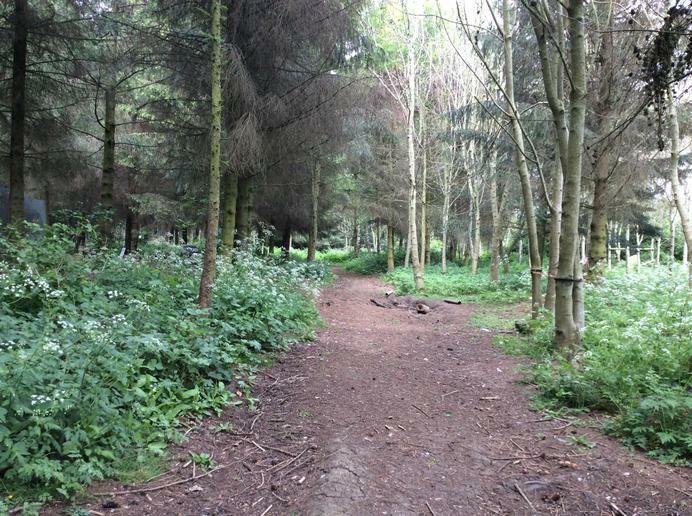 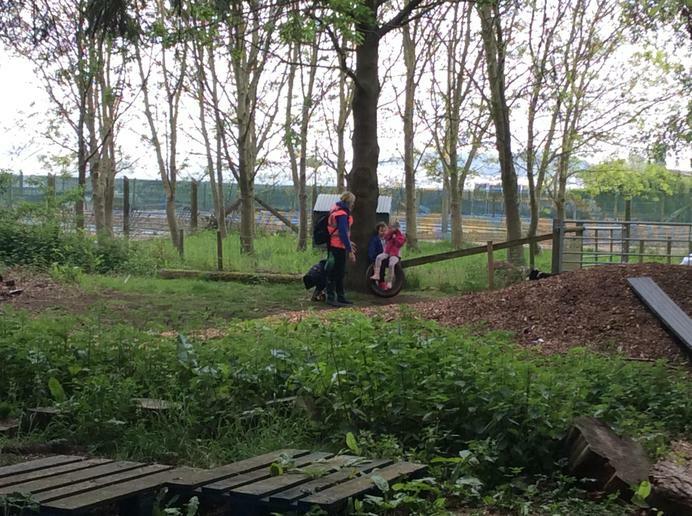 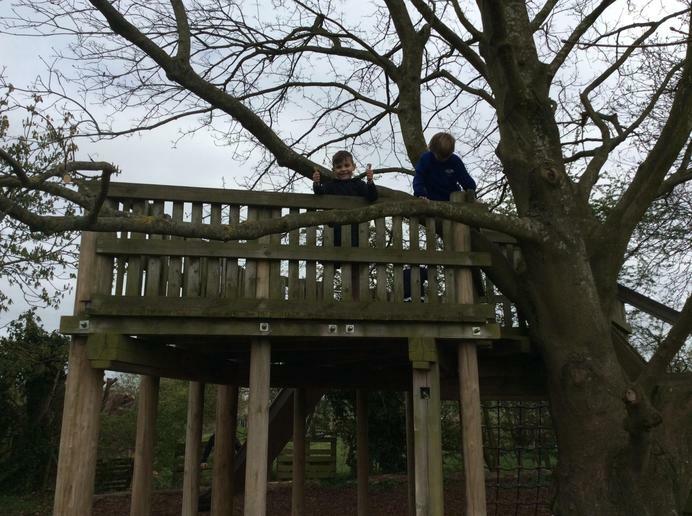 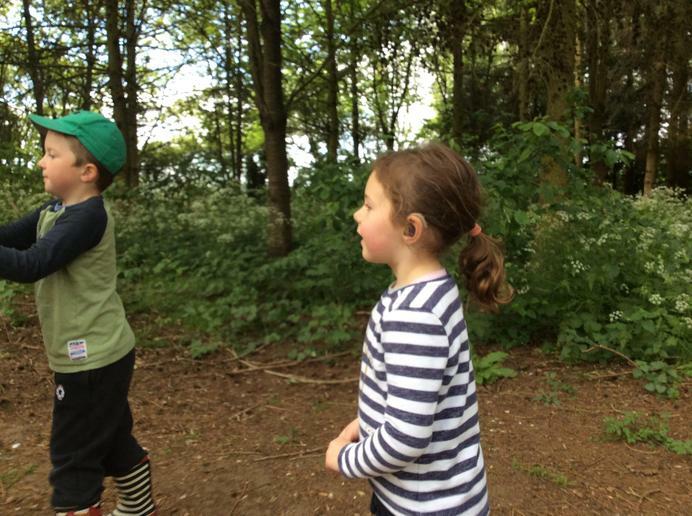 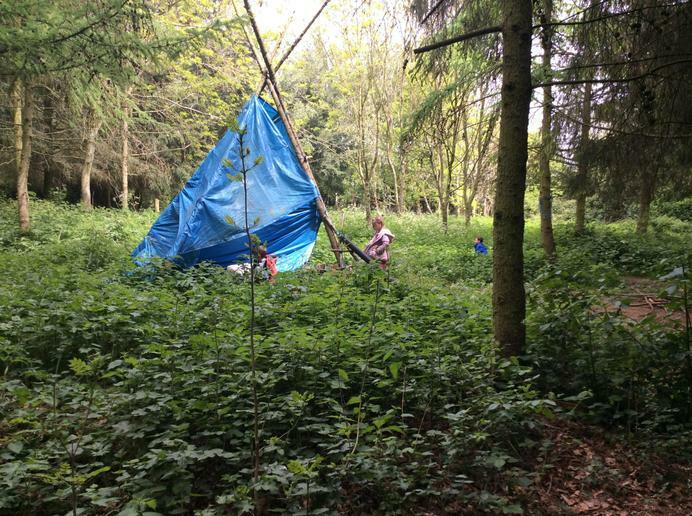 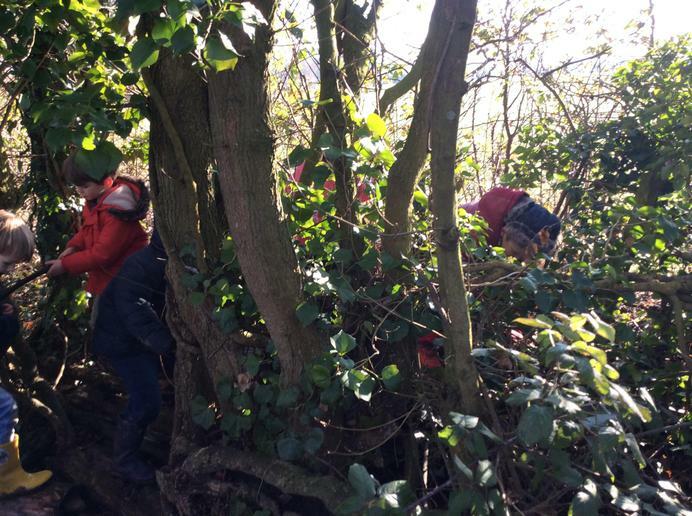 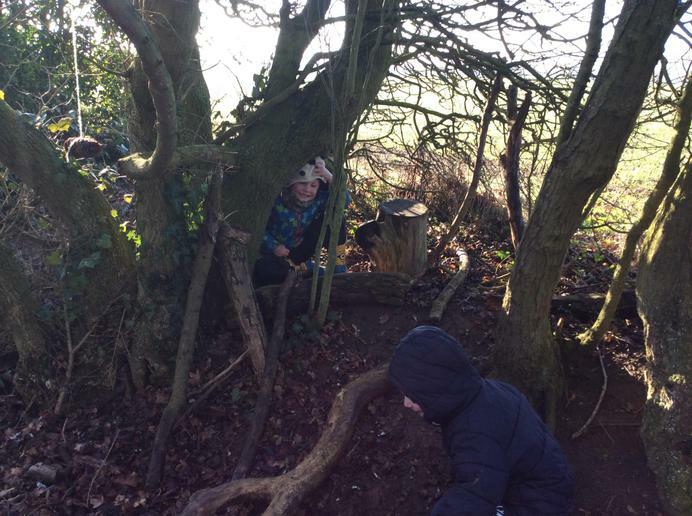 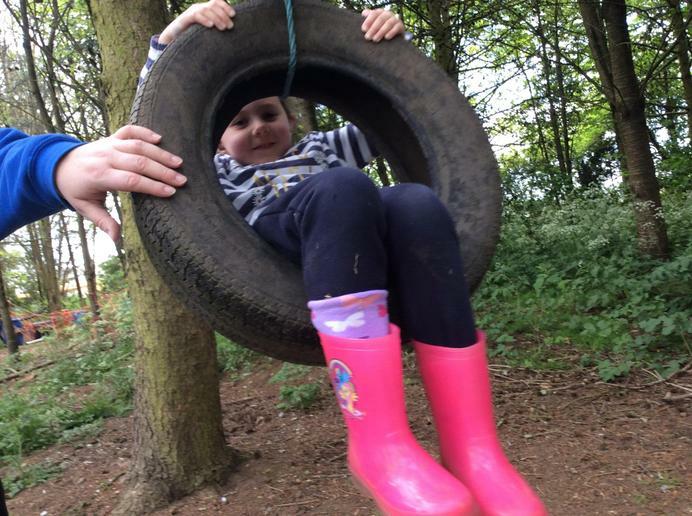 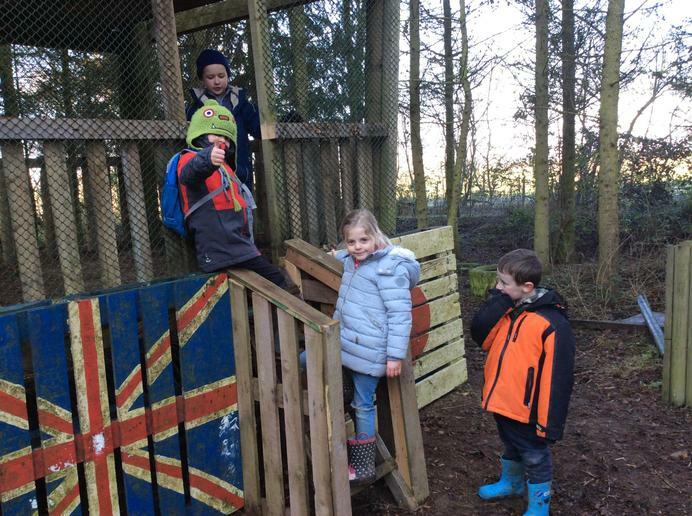 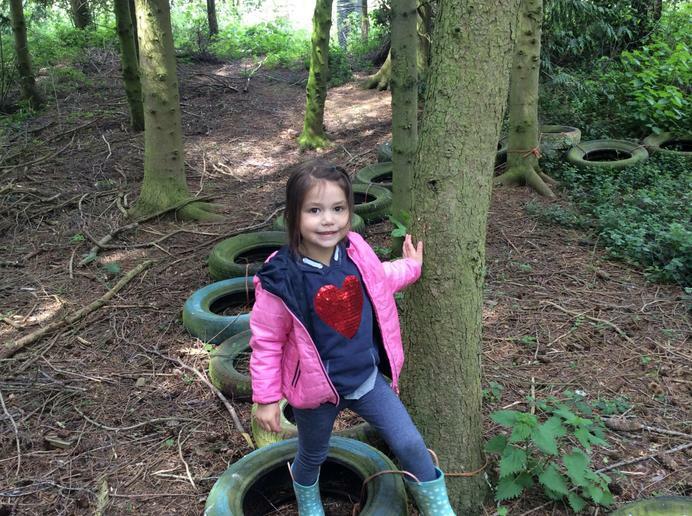 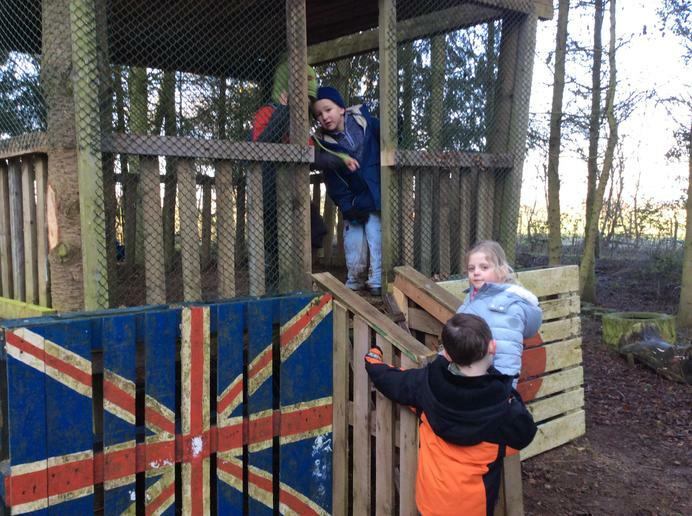 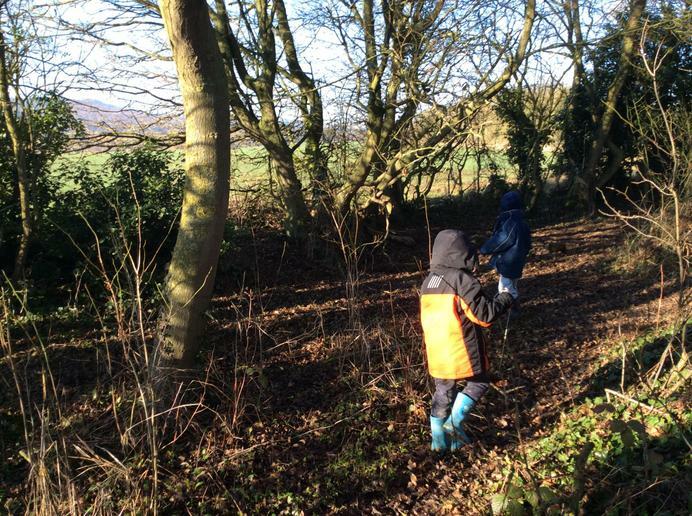 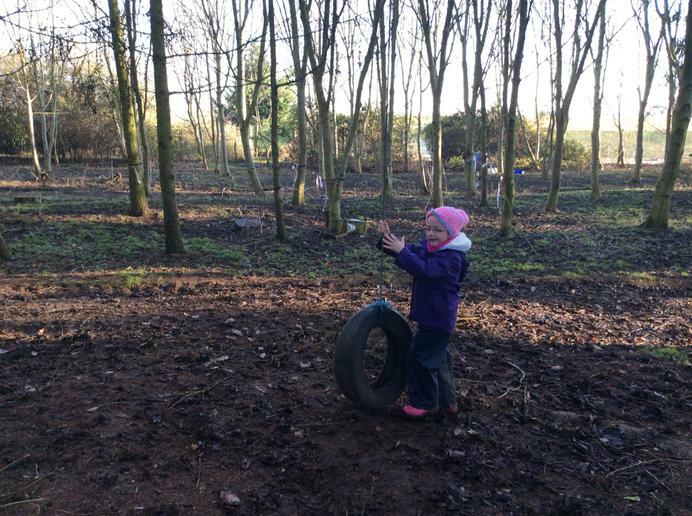 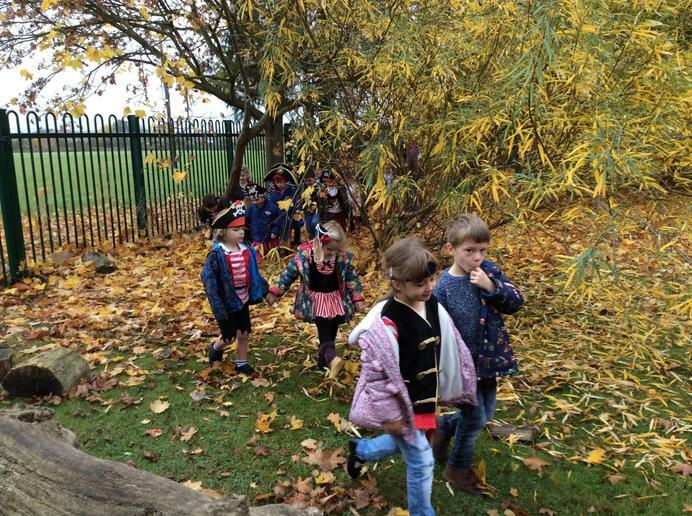 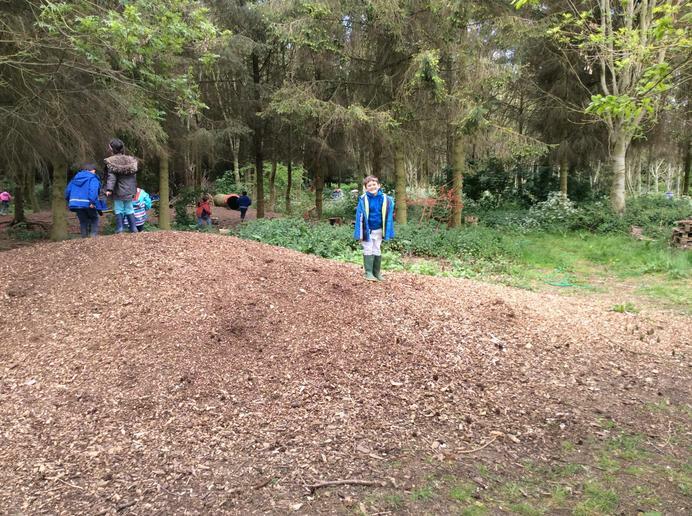 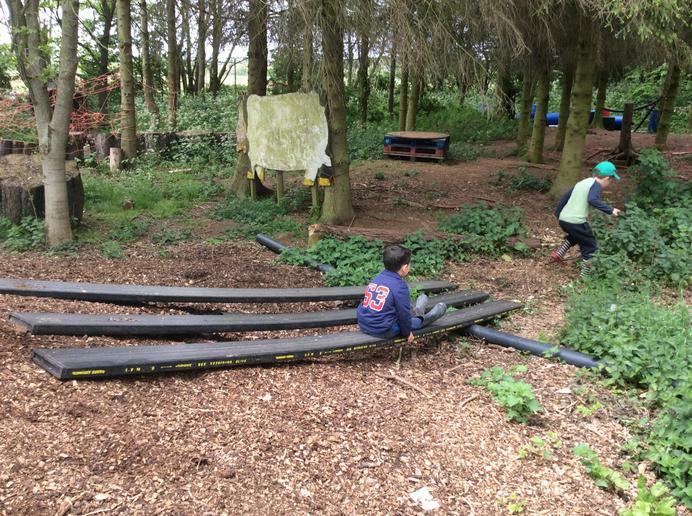 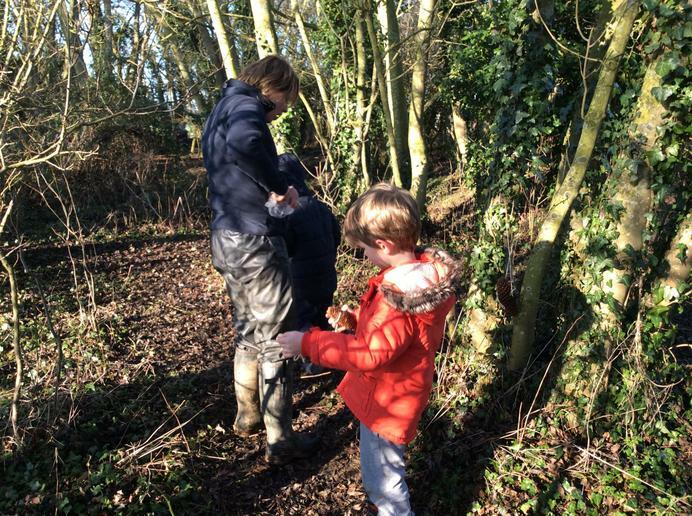 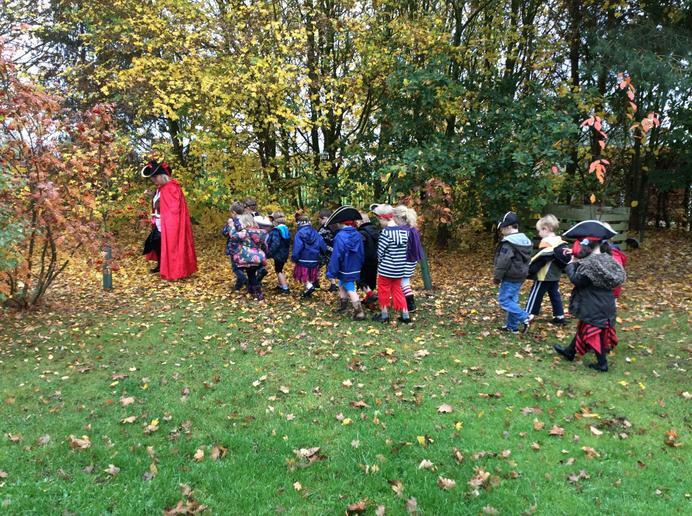 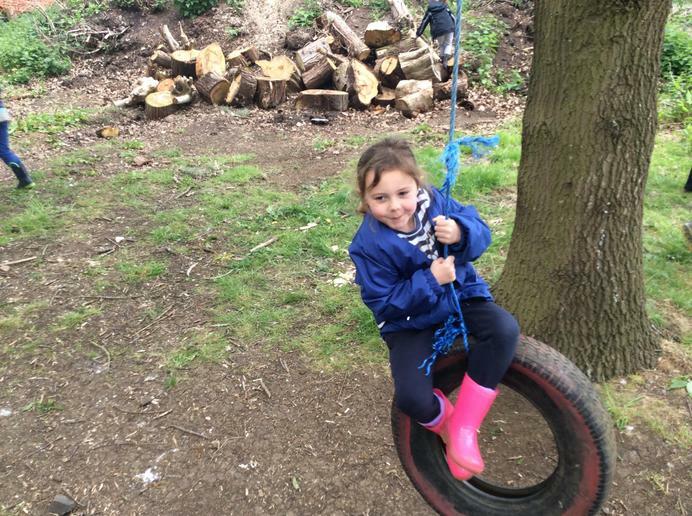 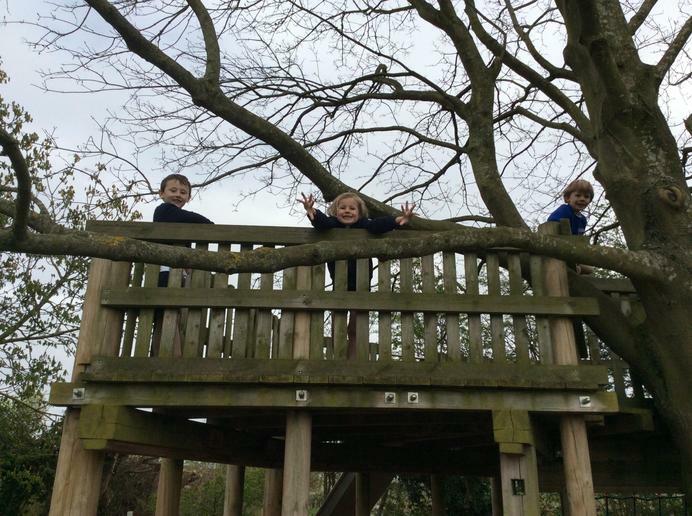 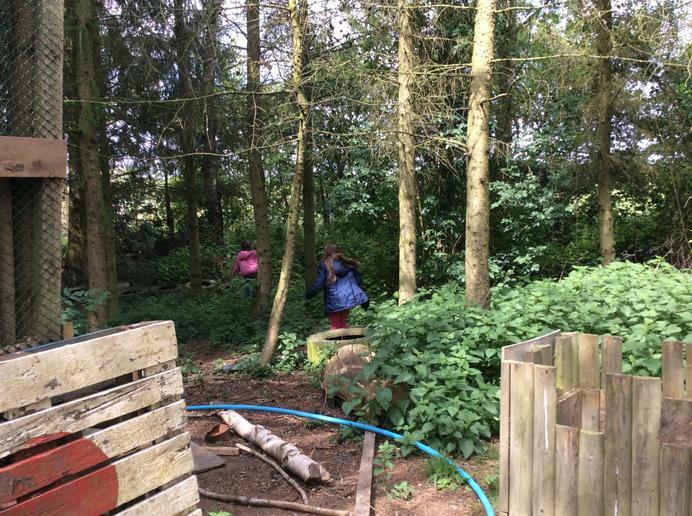 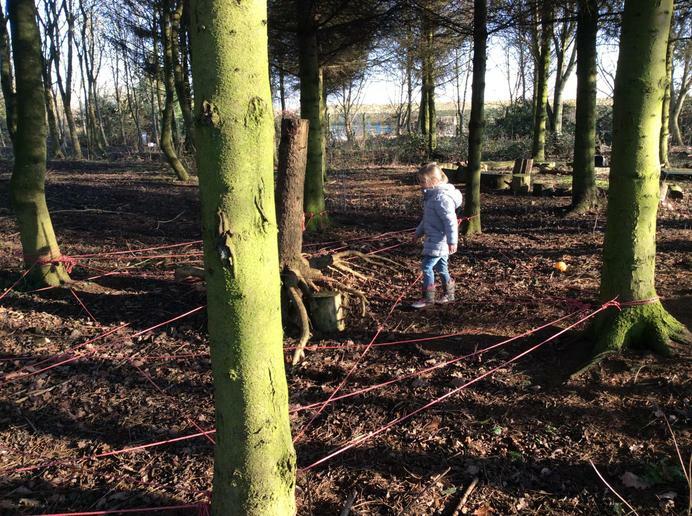 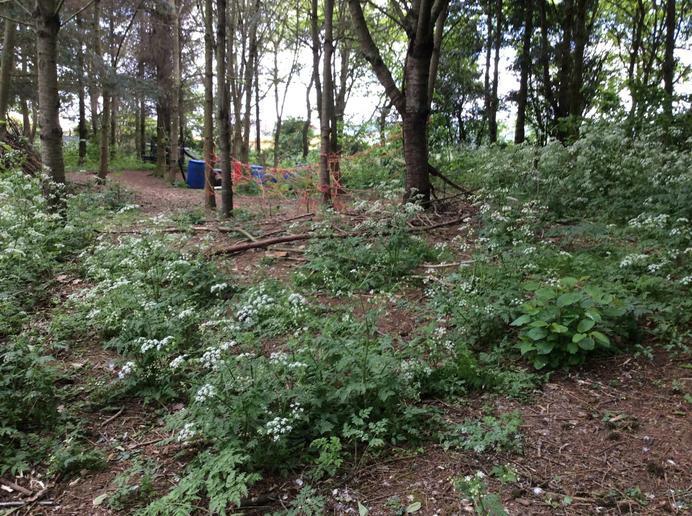 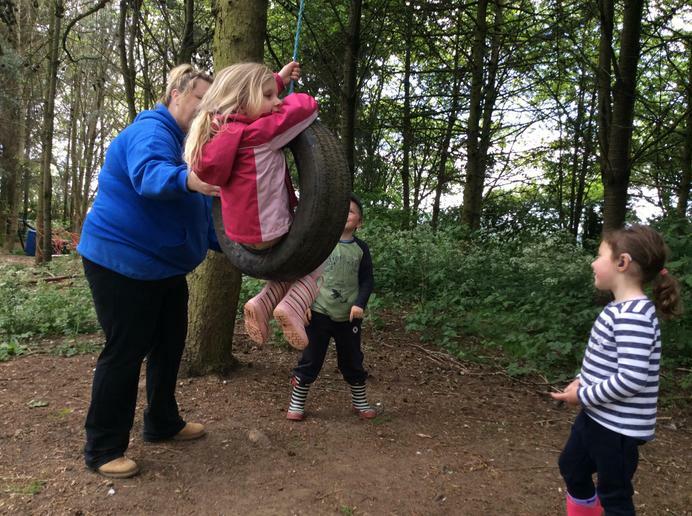 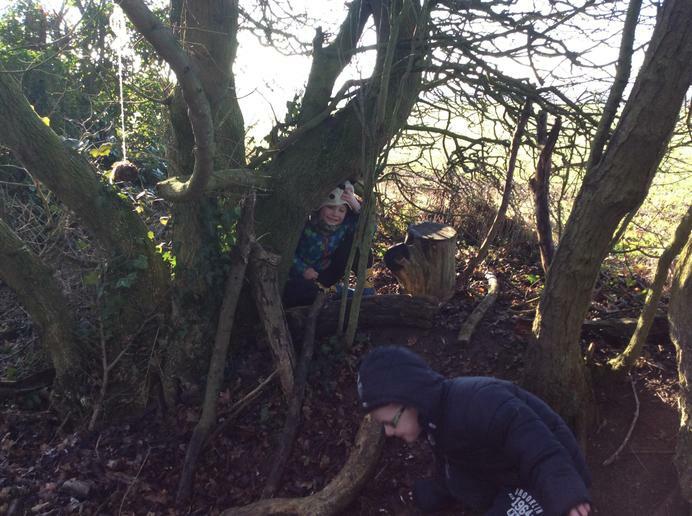 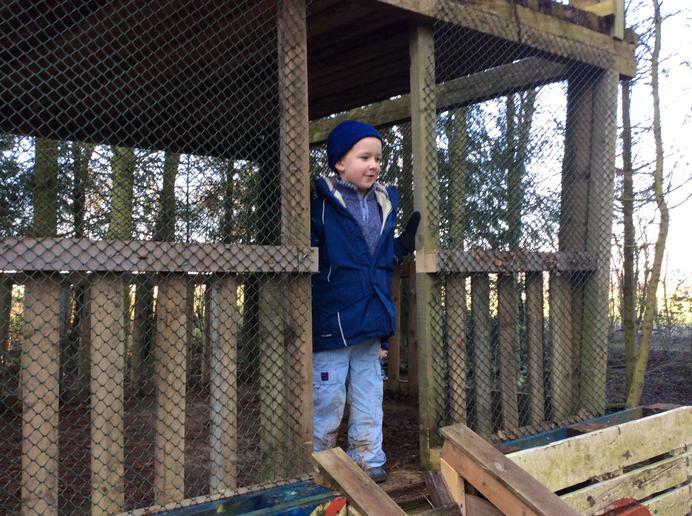 The children were also able to explore the woodland area, this was a really wonderful place where they could use their imaginations. 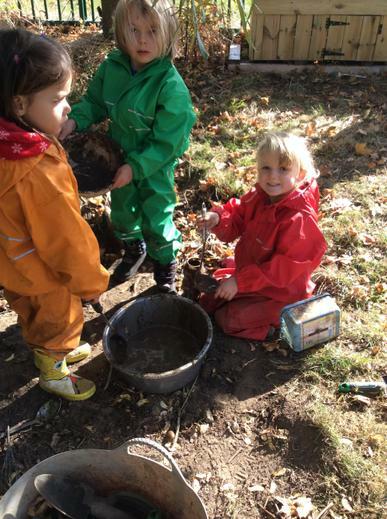 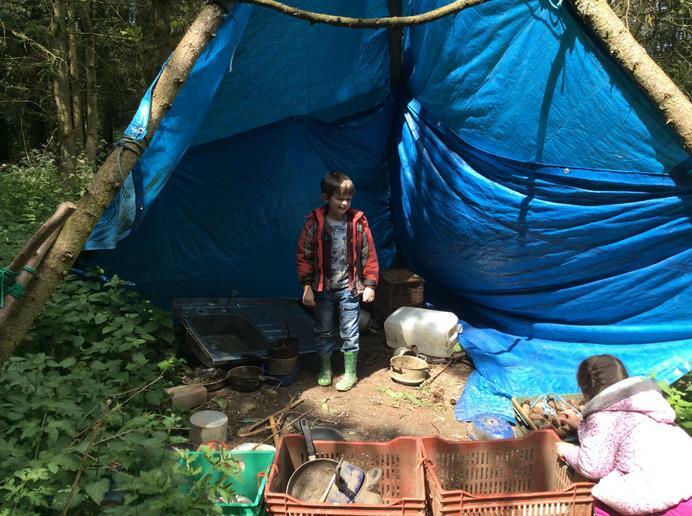 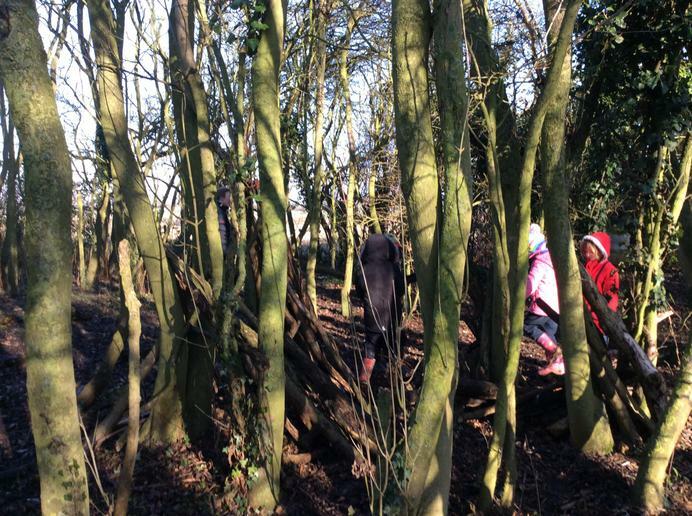 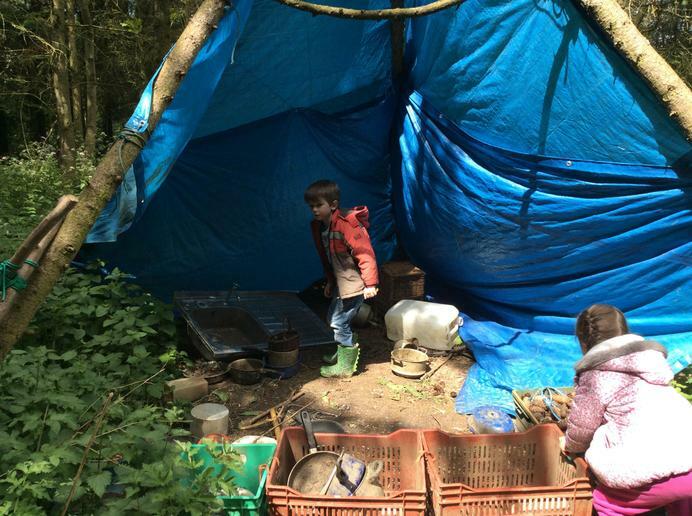 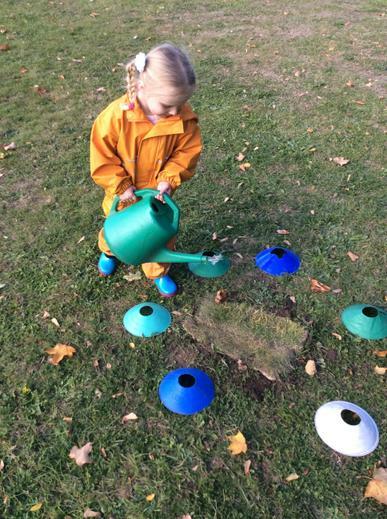 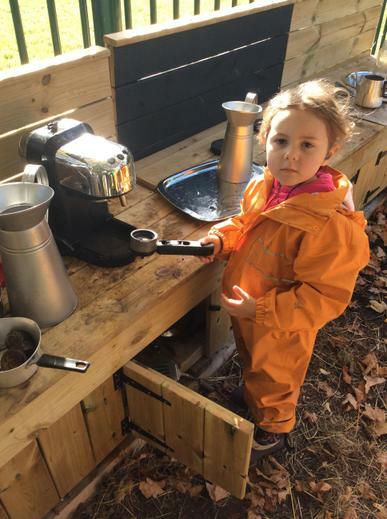 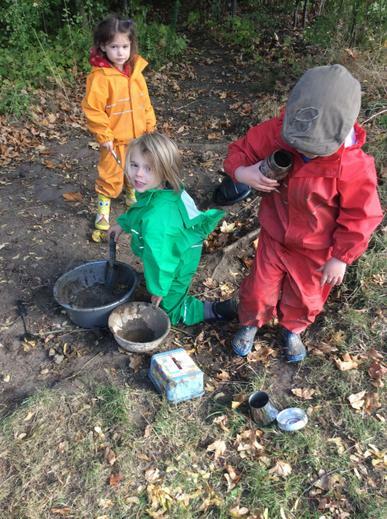 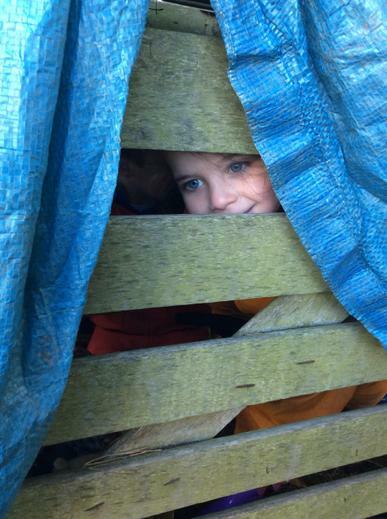 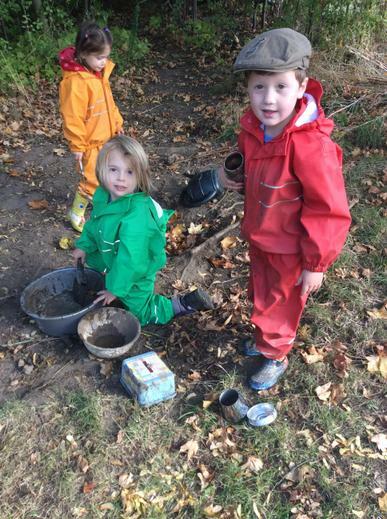 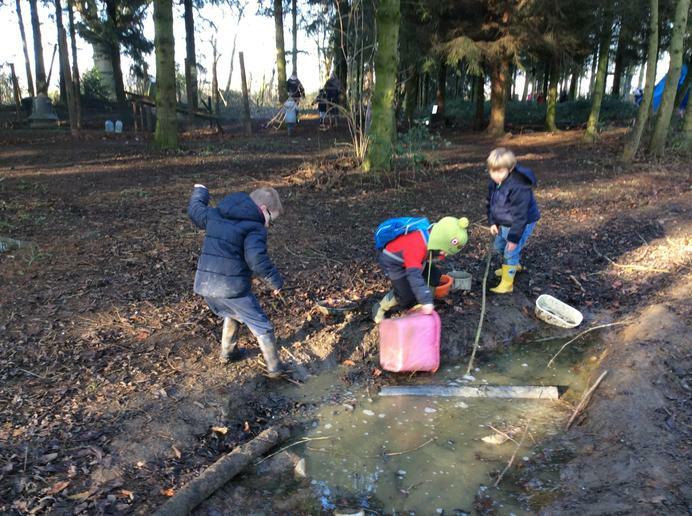 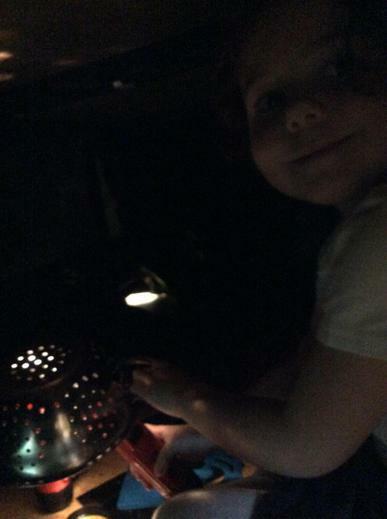 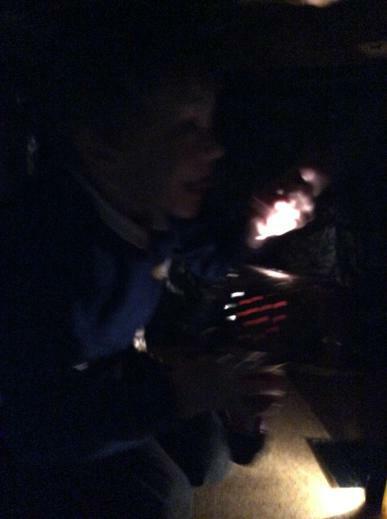 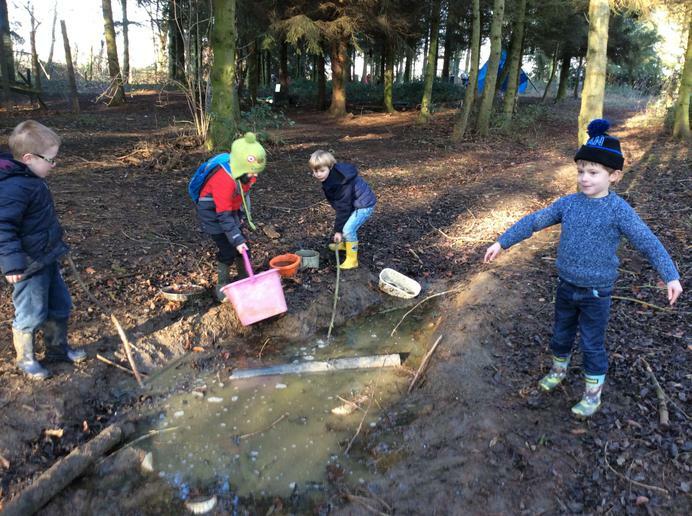 The children were den building, making fires (pretend ones) and cooking in the mud kitchen! 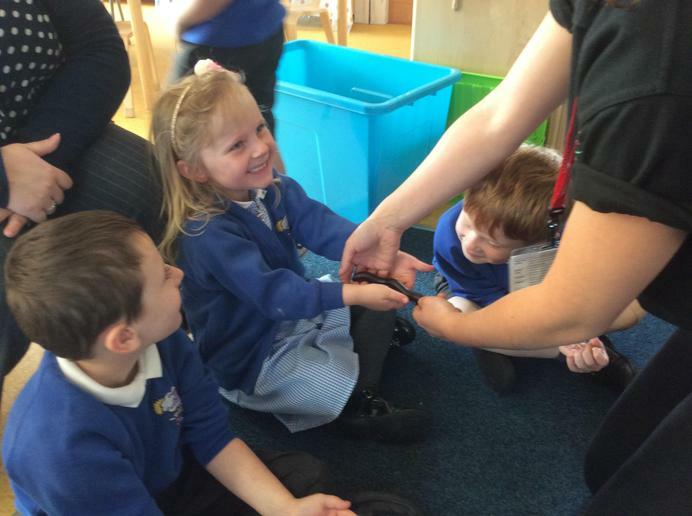 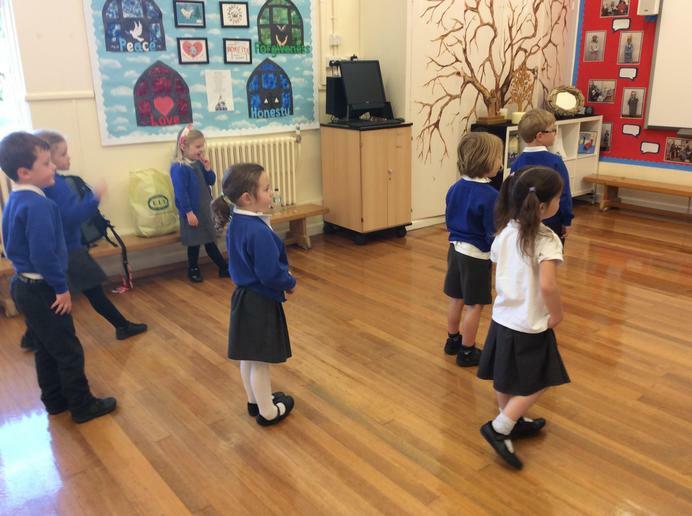 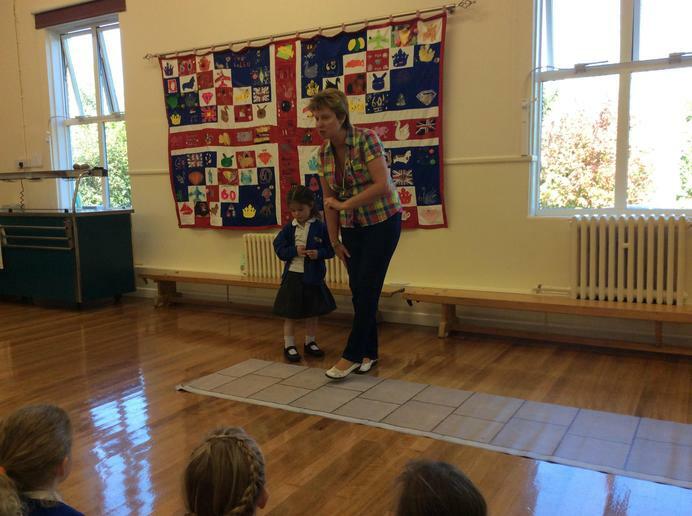 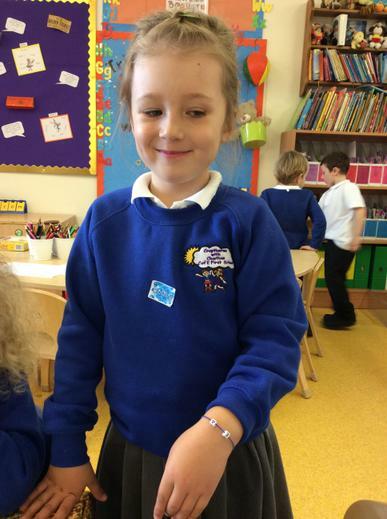 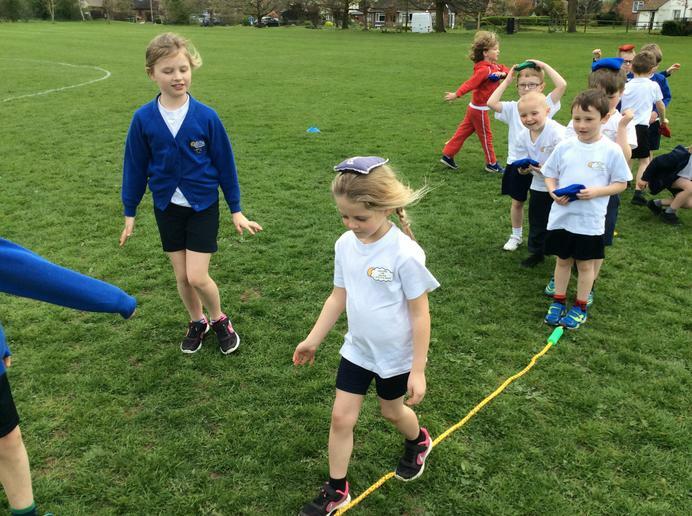 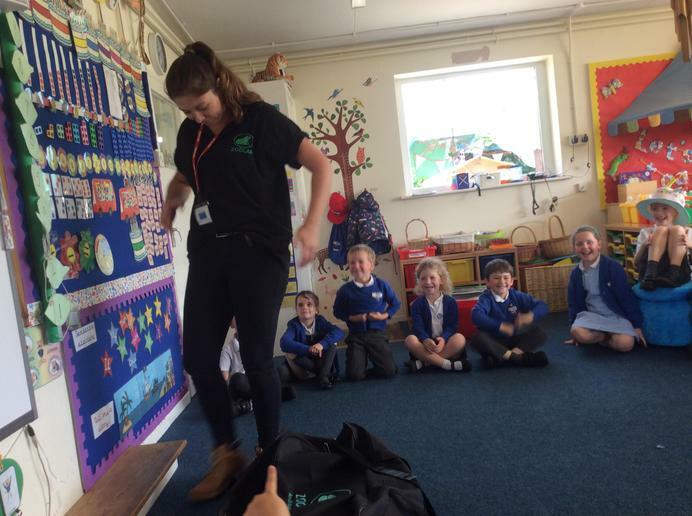 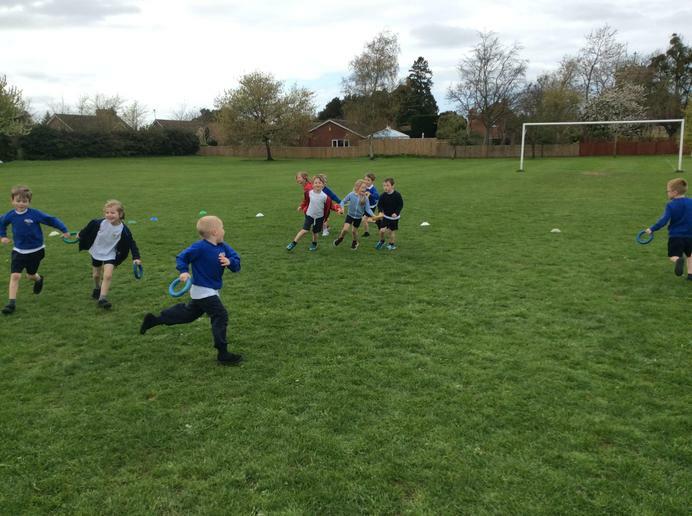 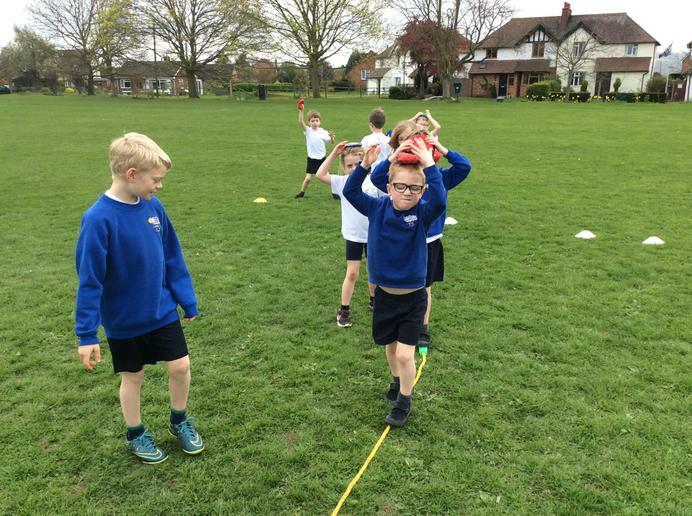 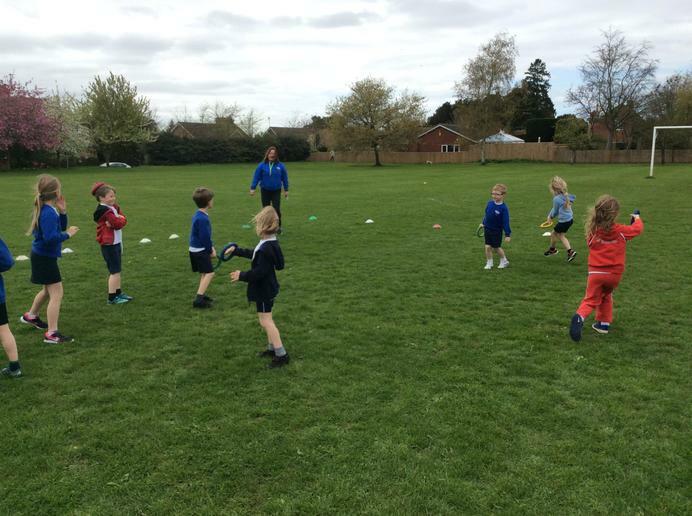 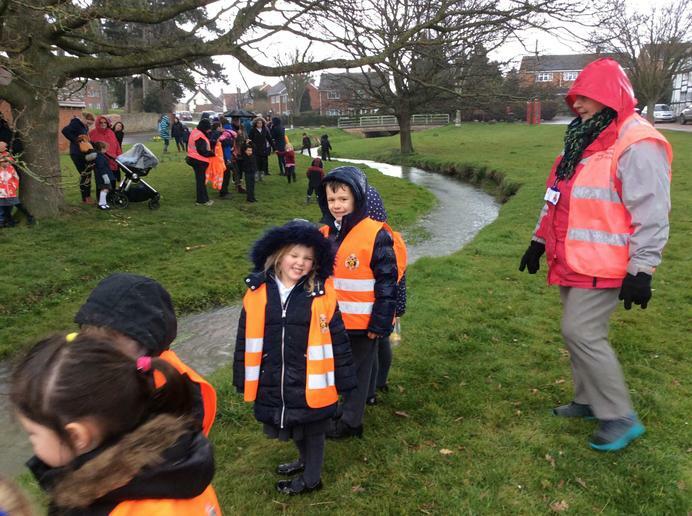 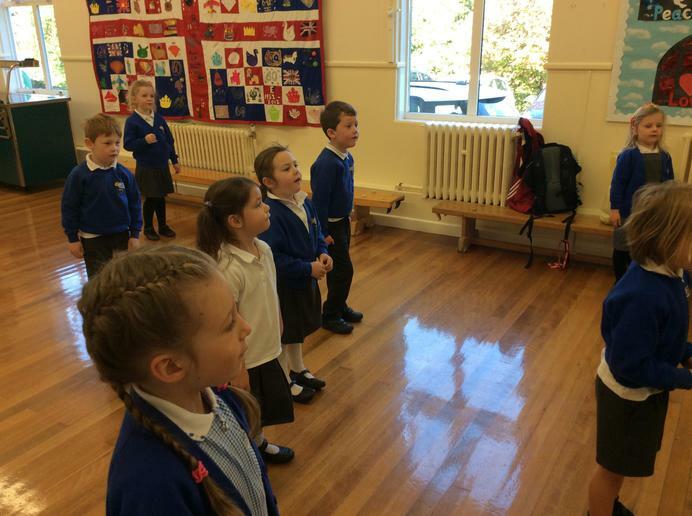 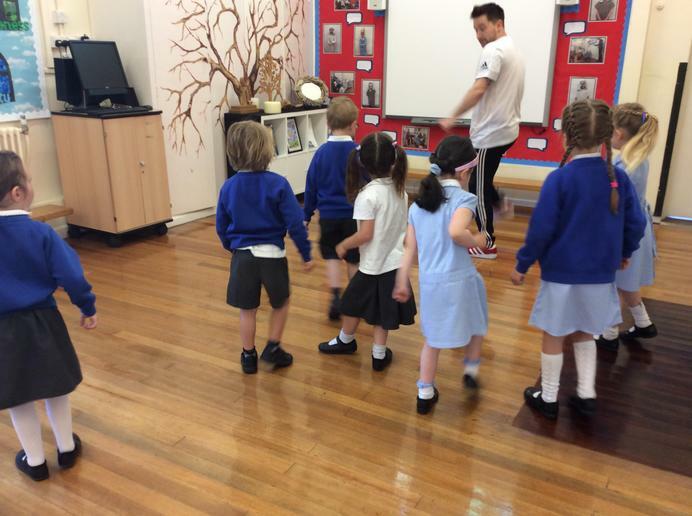 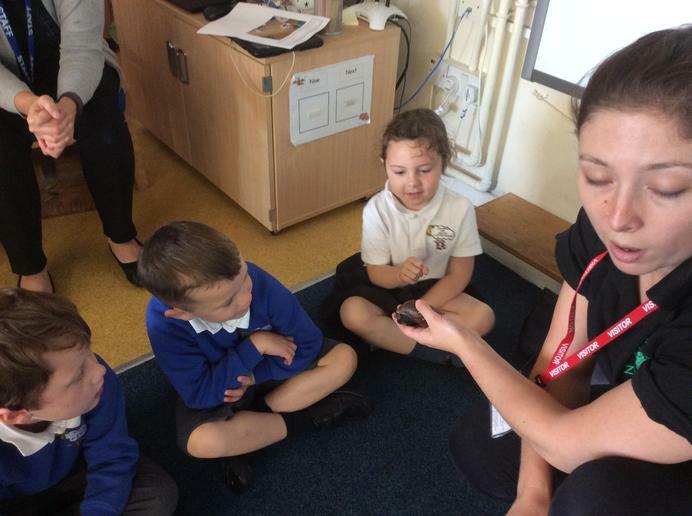 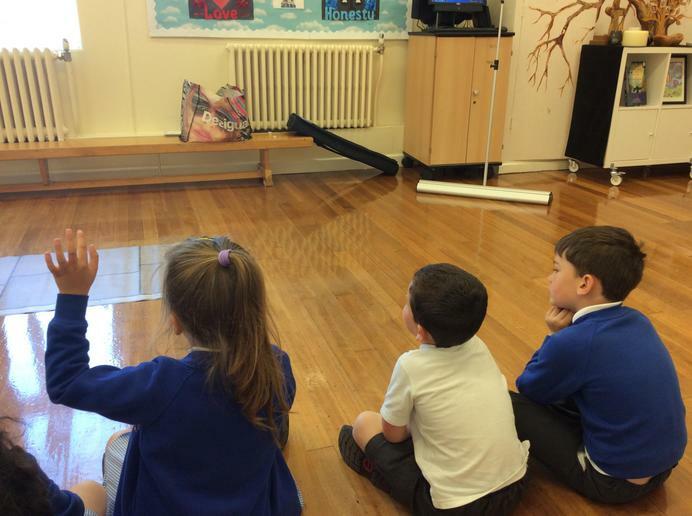 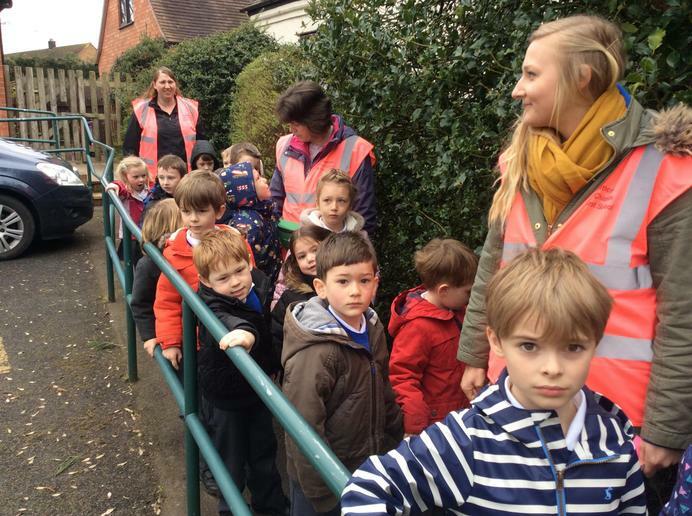 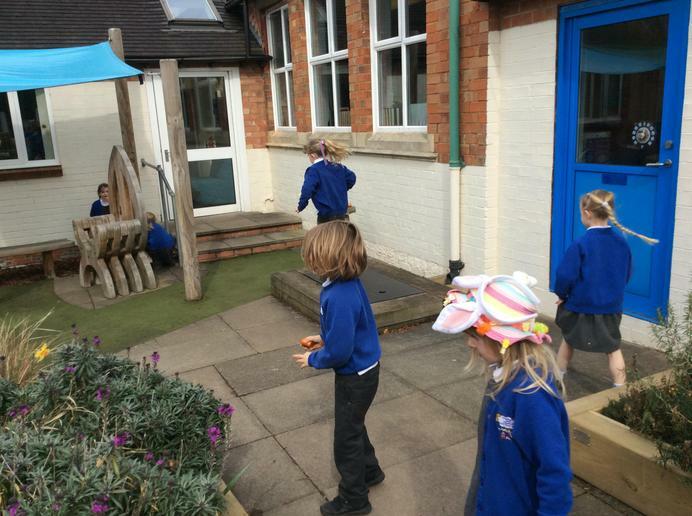 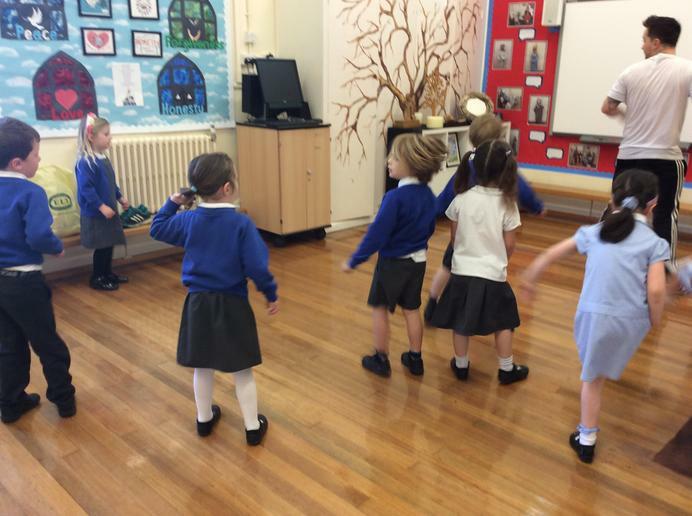 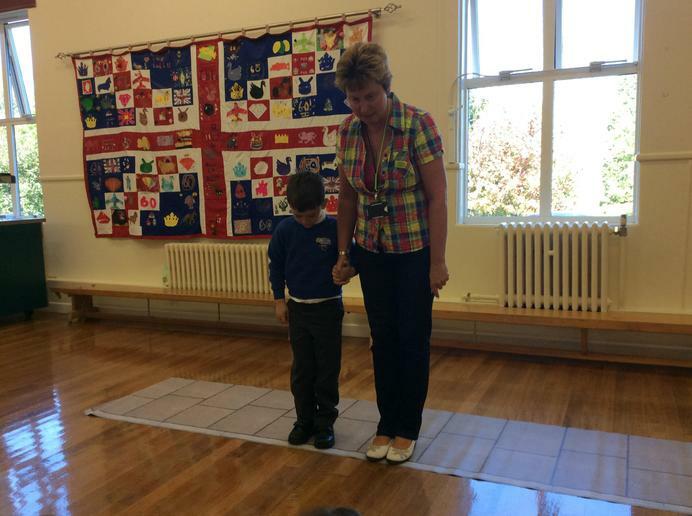 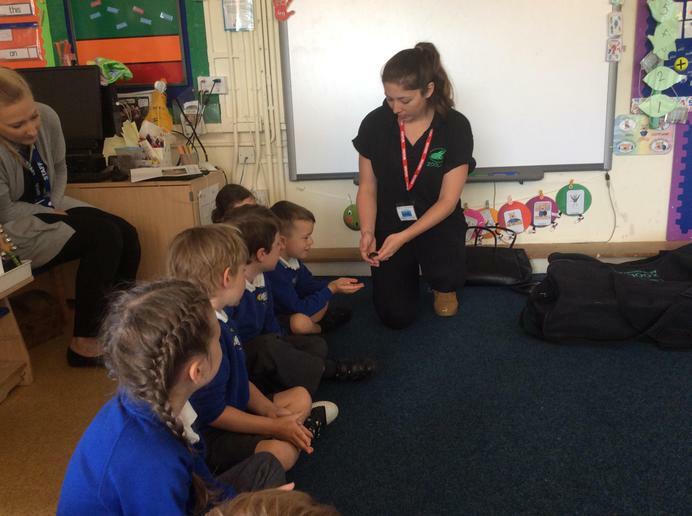 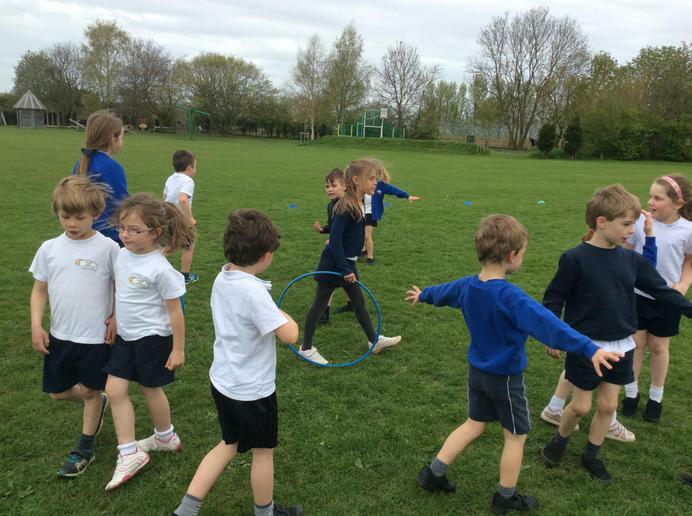 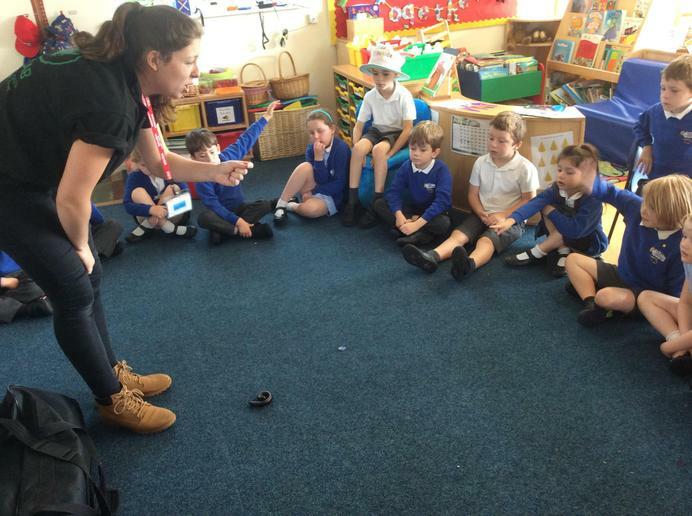 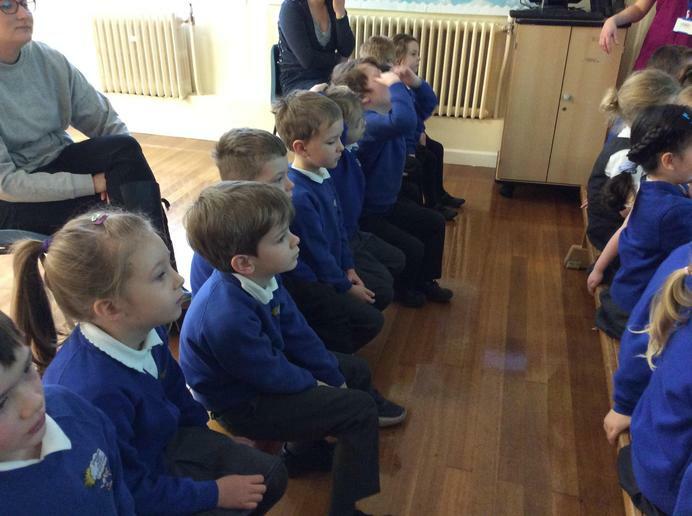 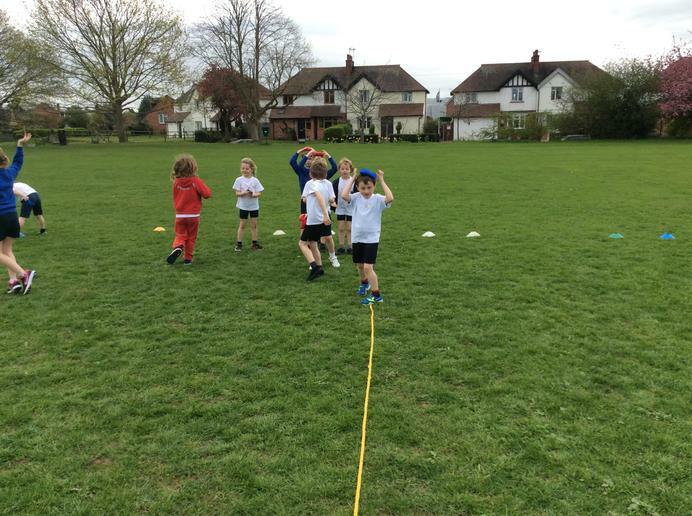 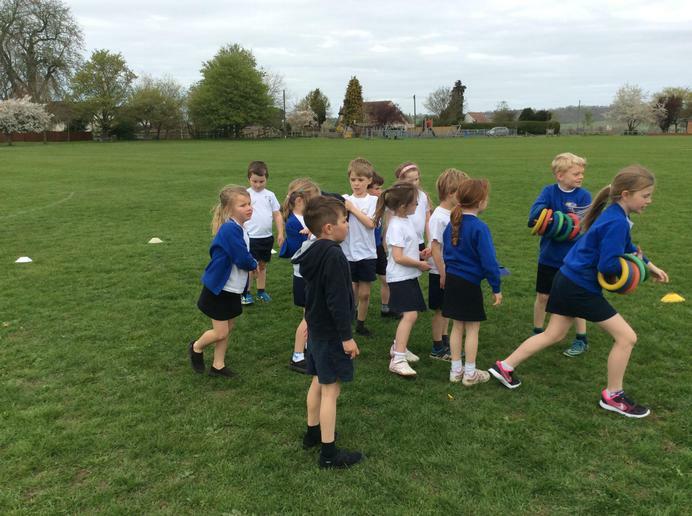 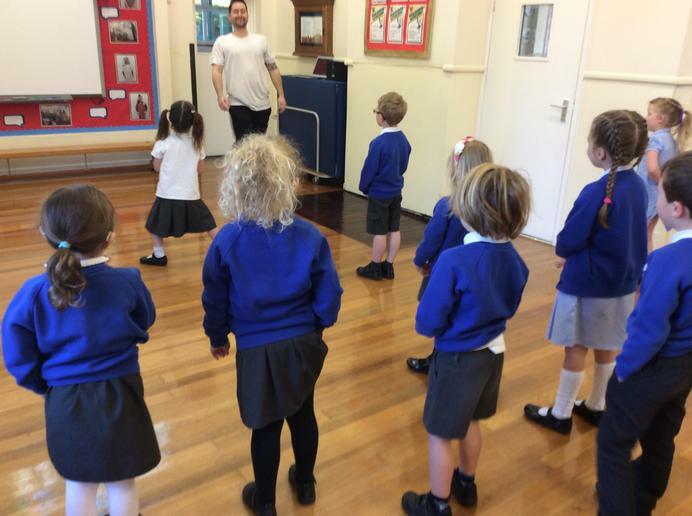 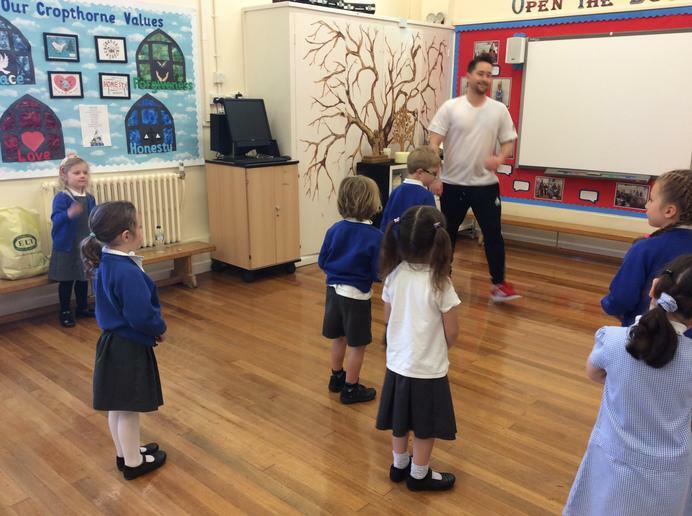 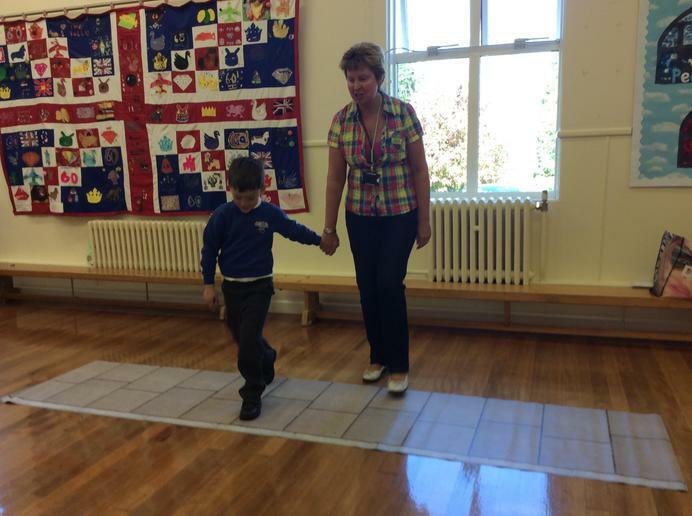 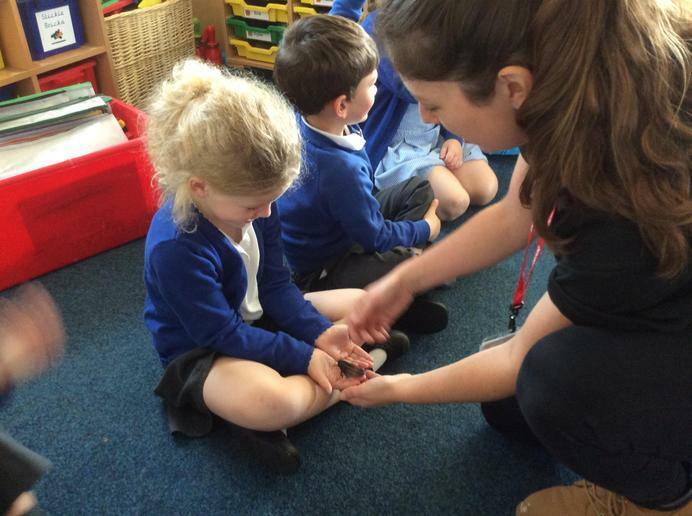 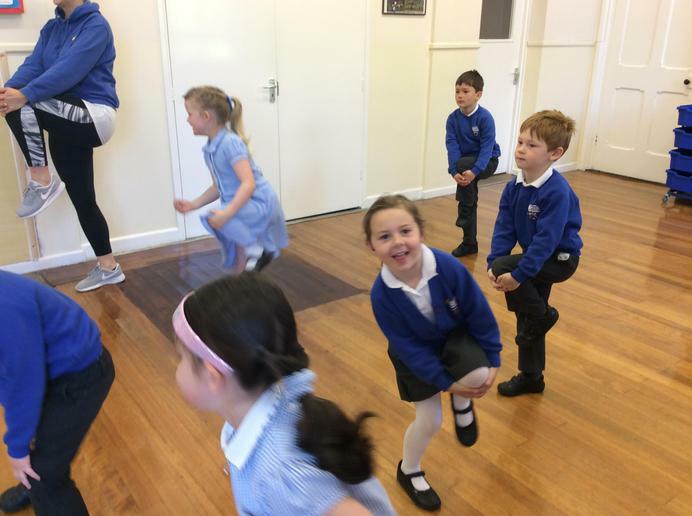 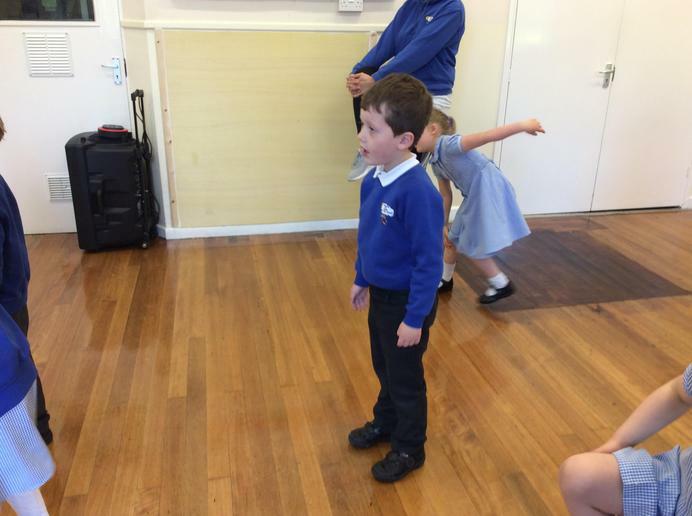 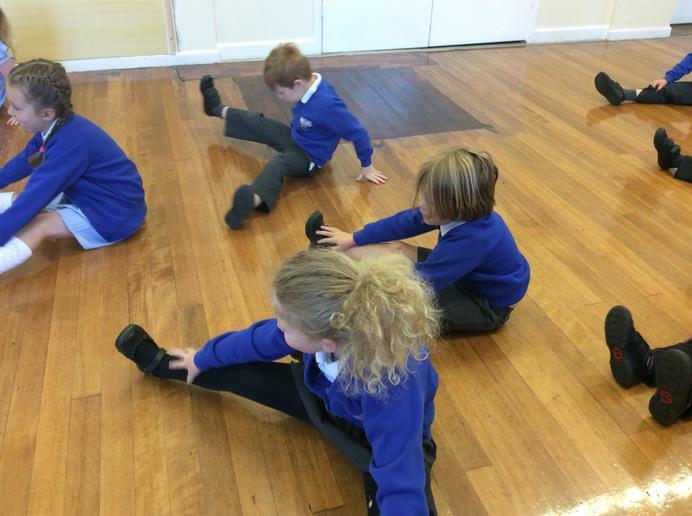 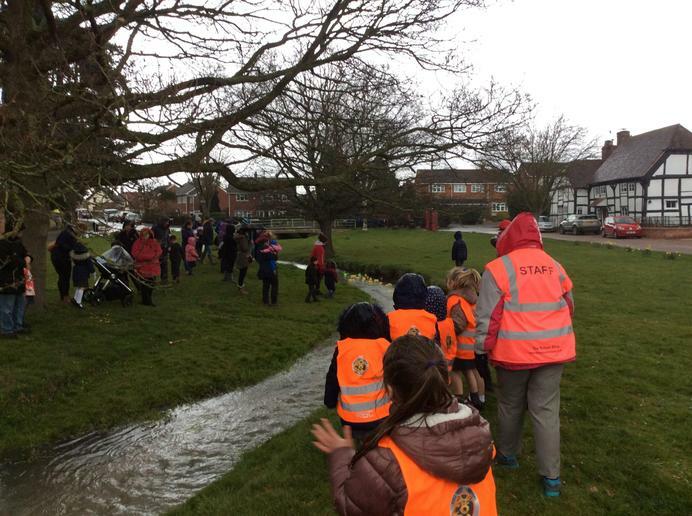 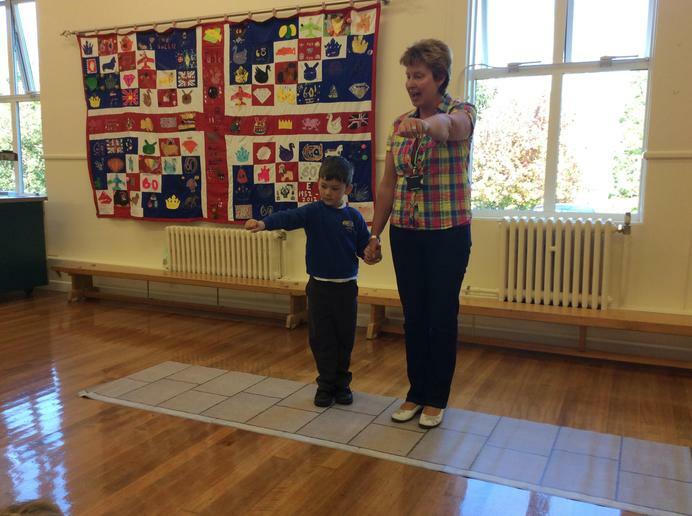 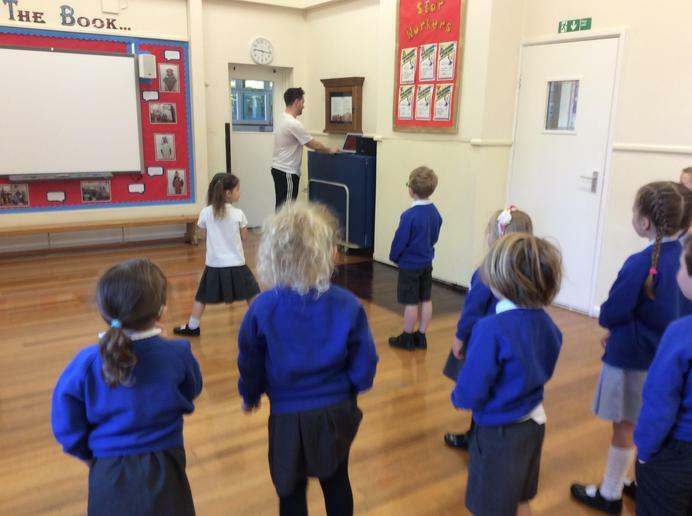 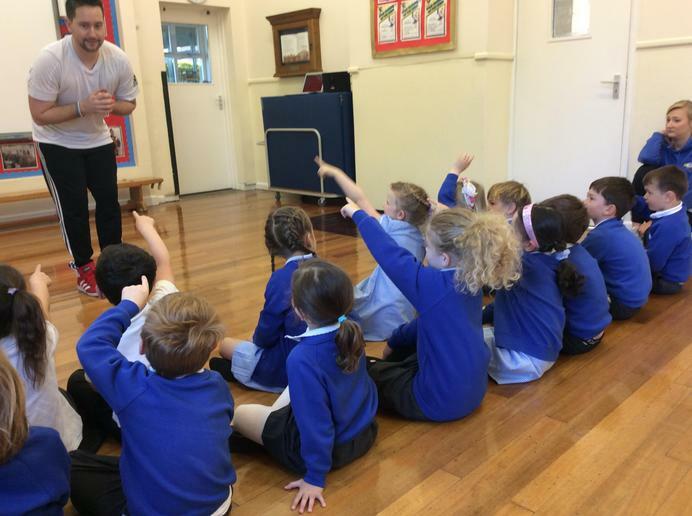 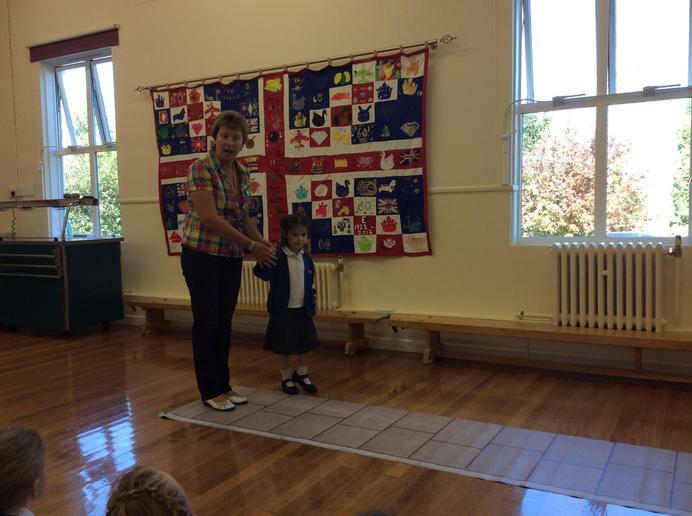 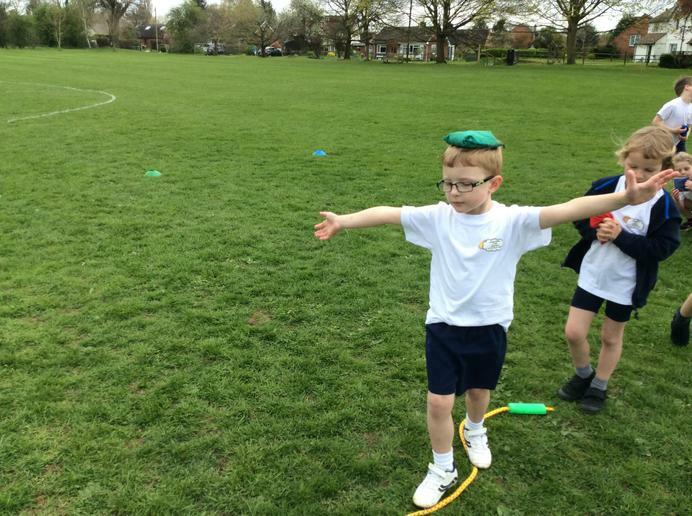 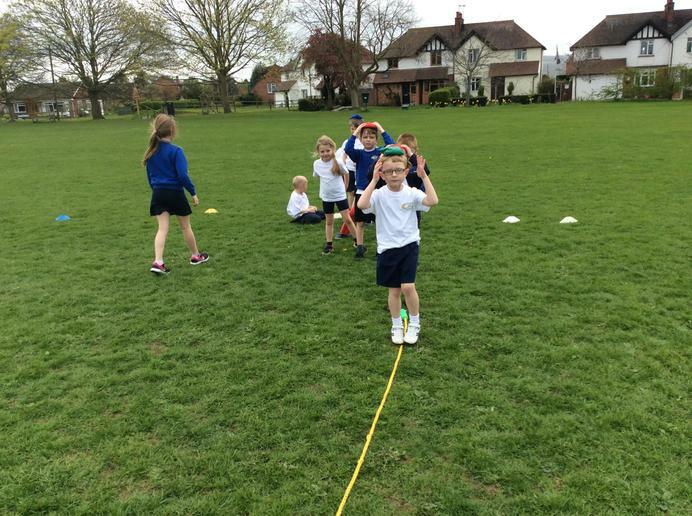 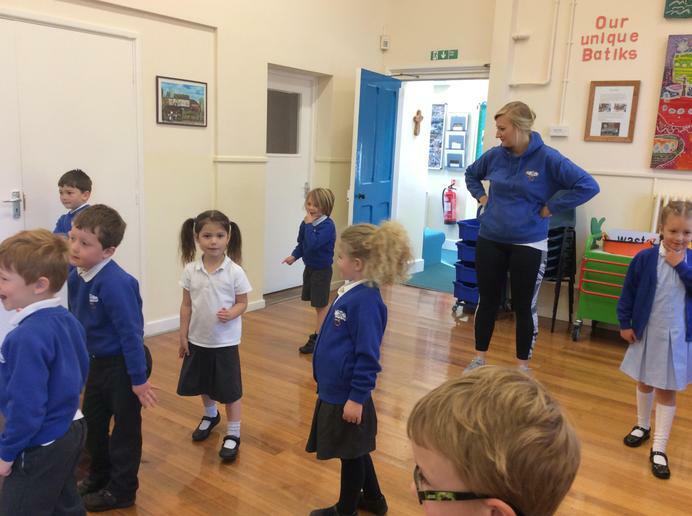 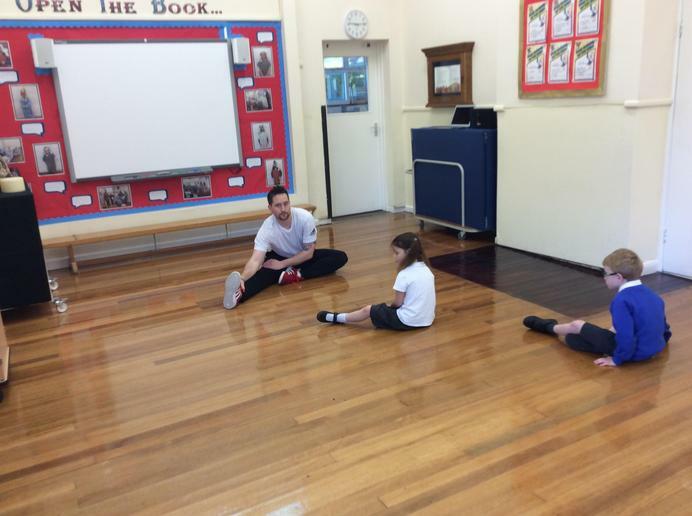 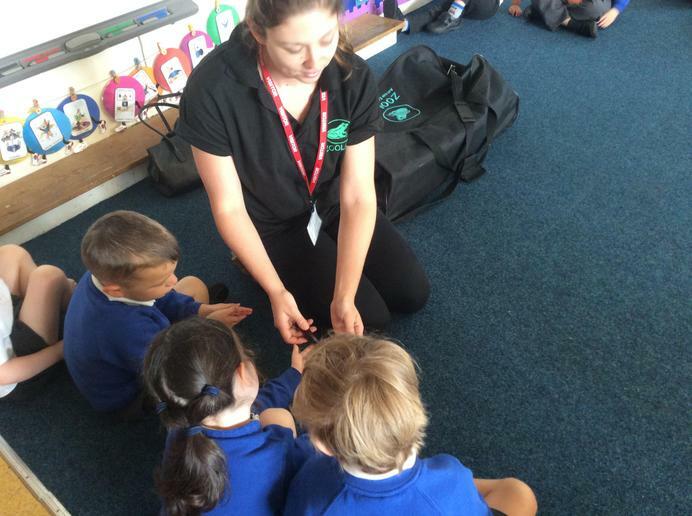 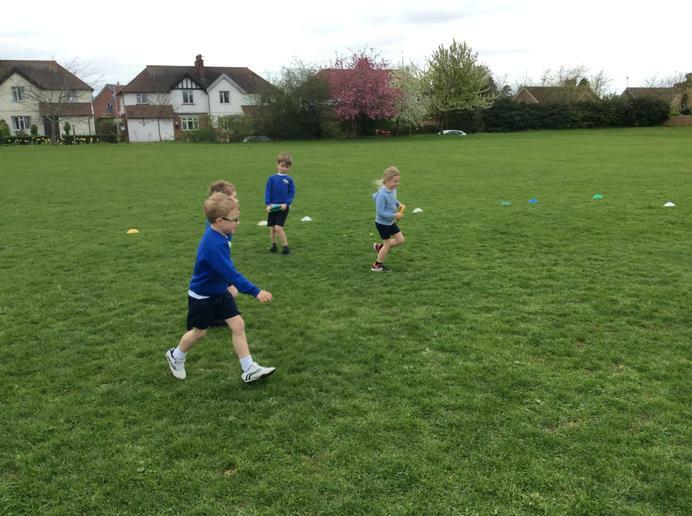 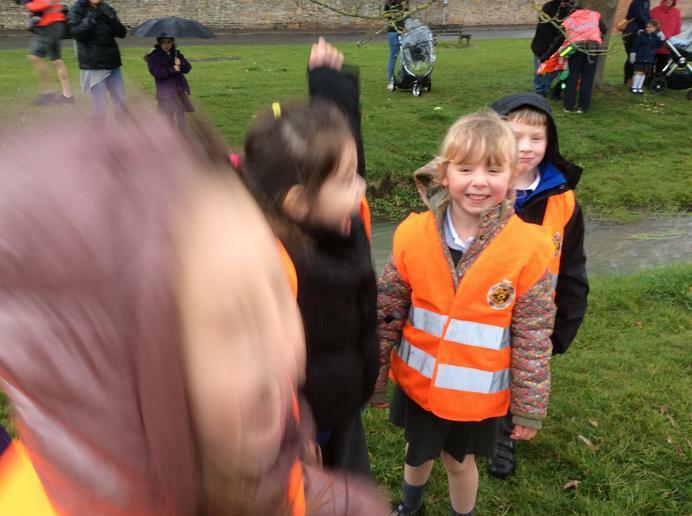 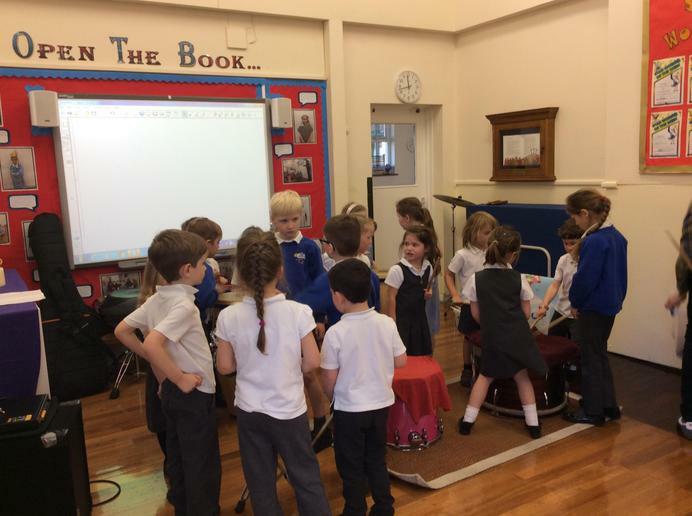 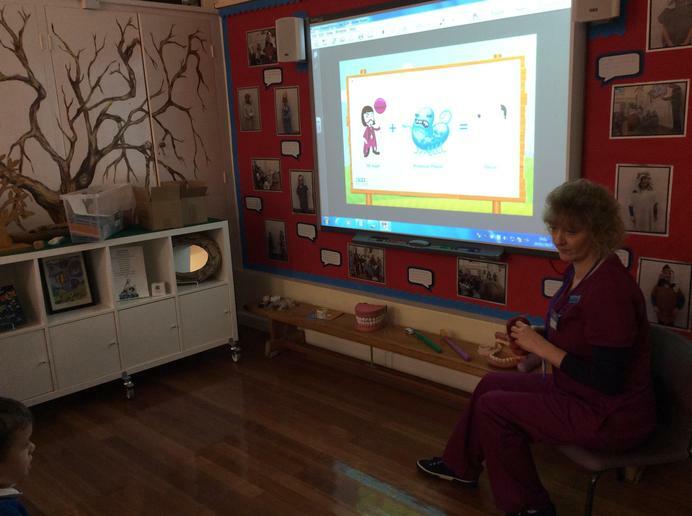 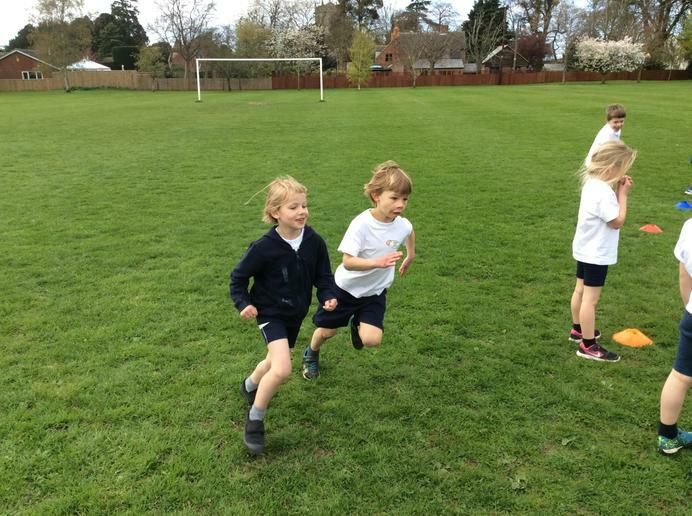 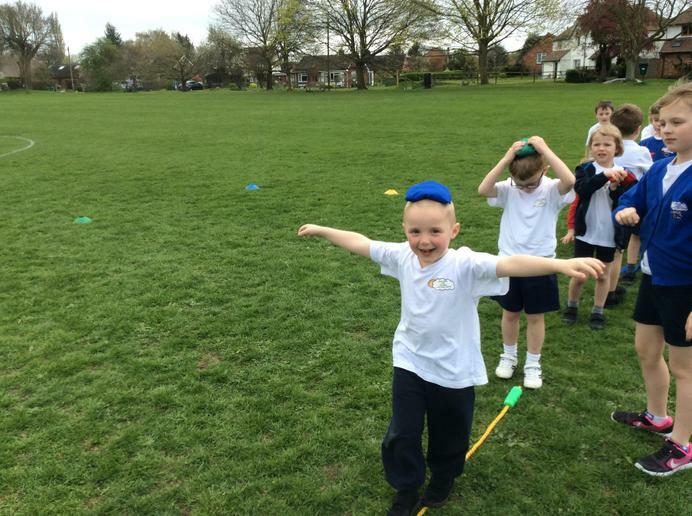 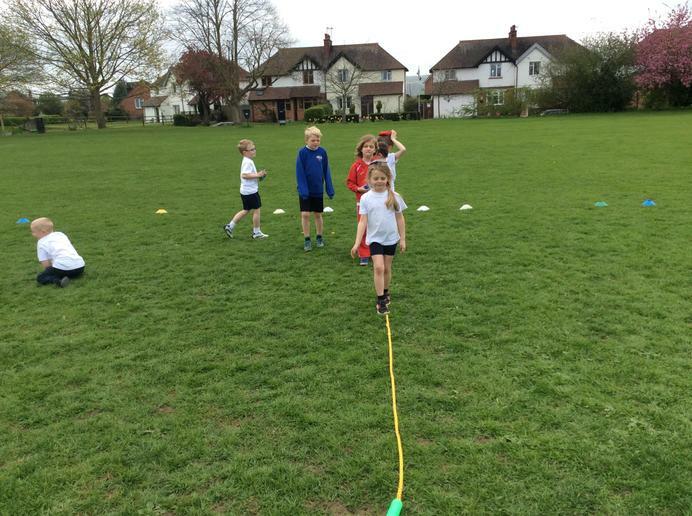 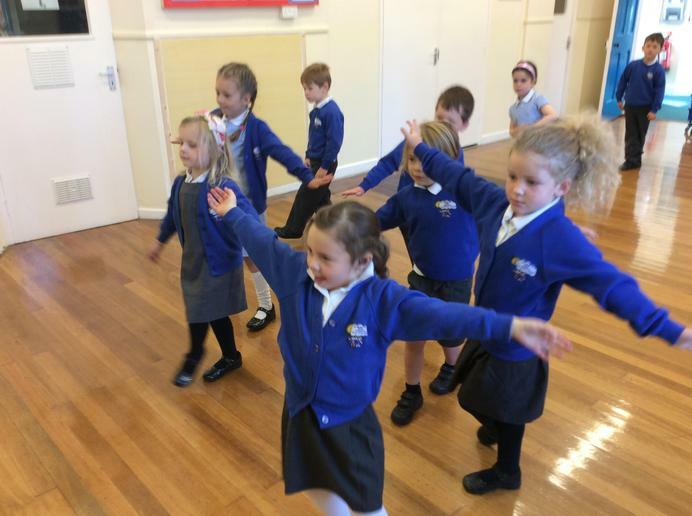 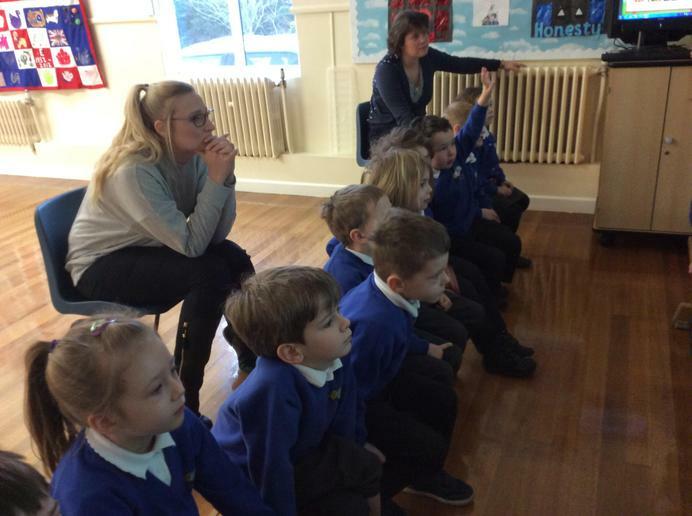 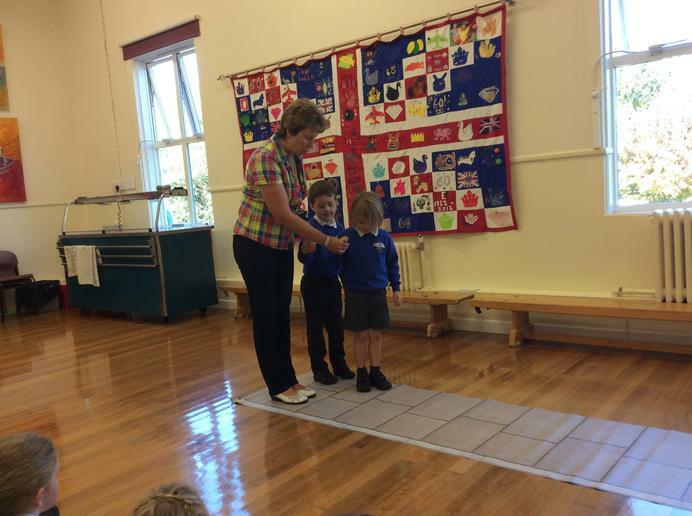 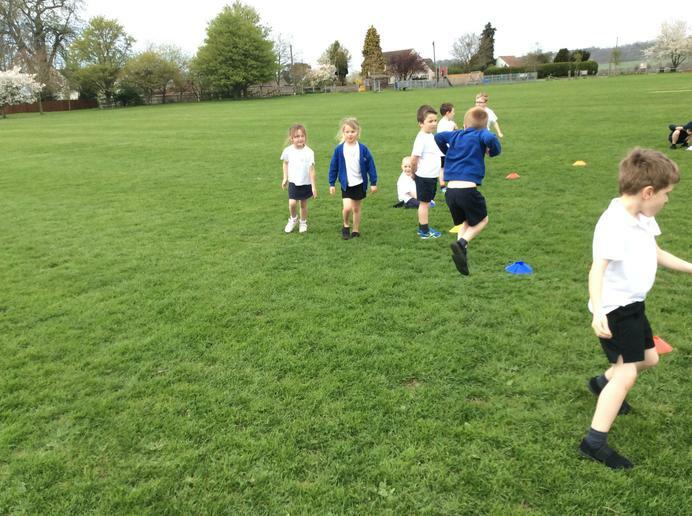 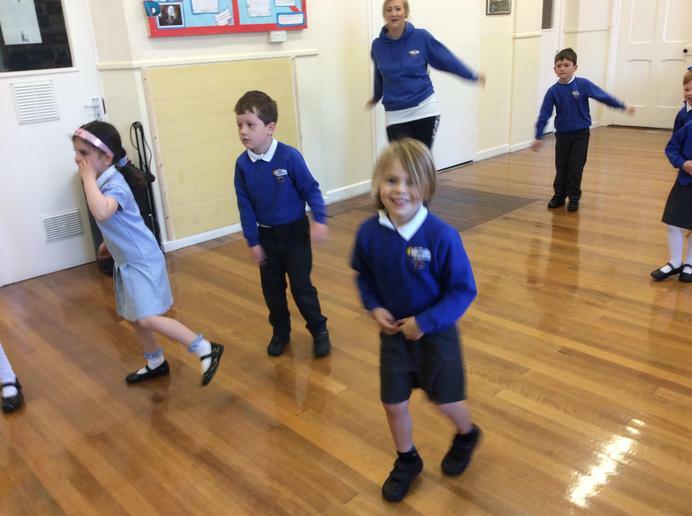 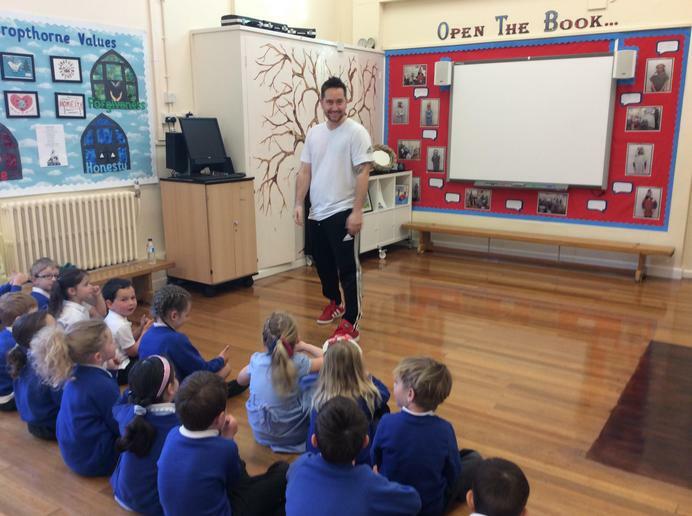 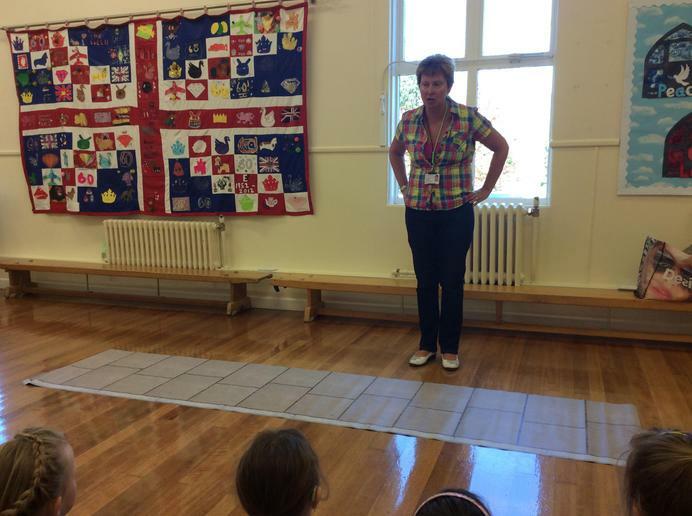 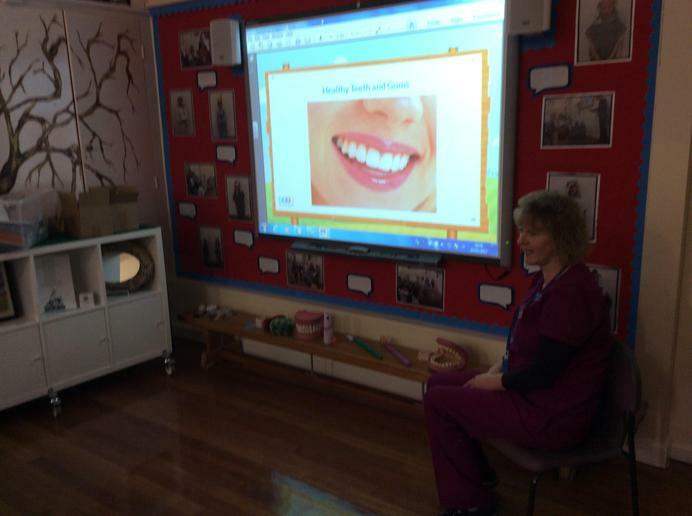 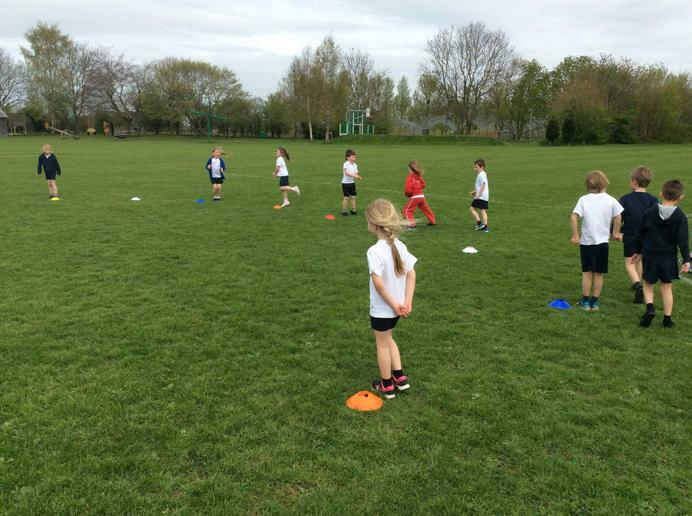 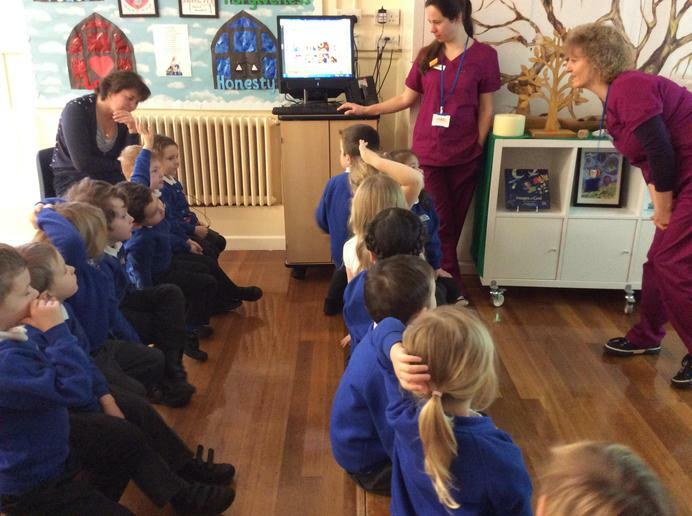 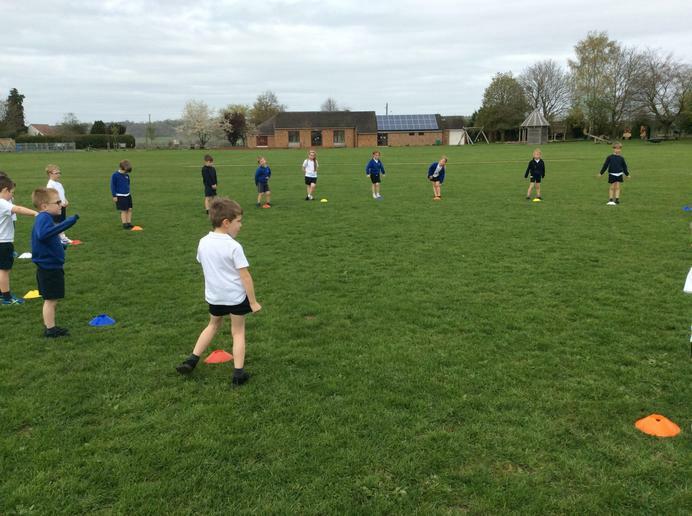 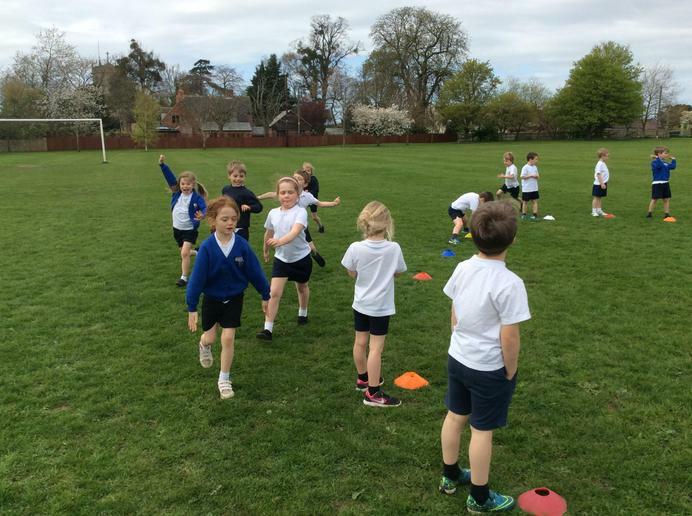 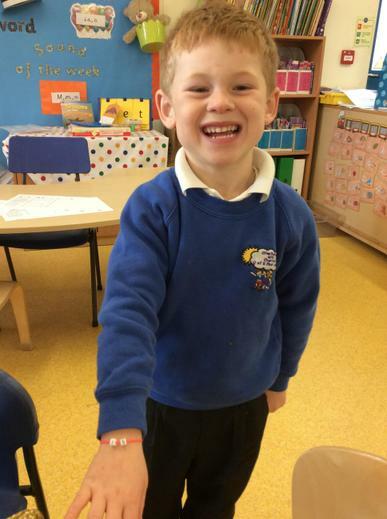 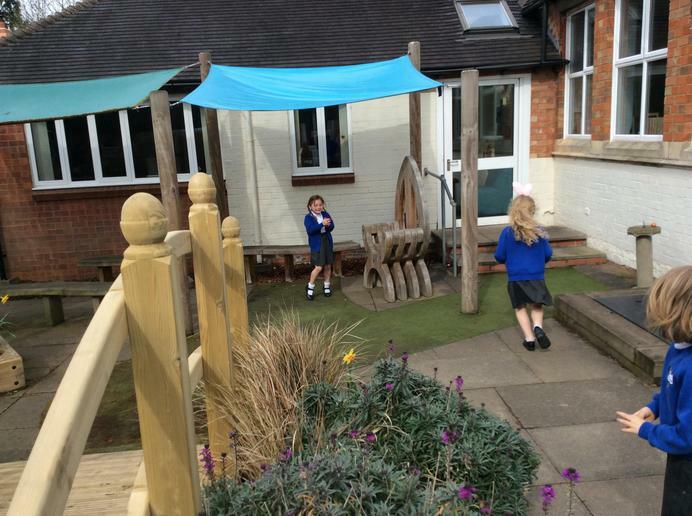 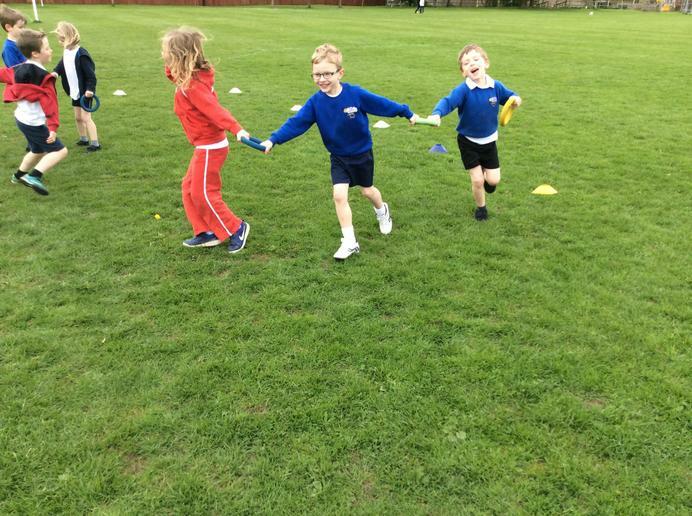 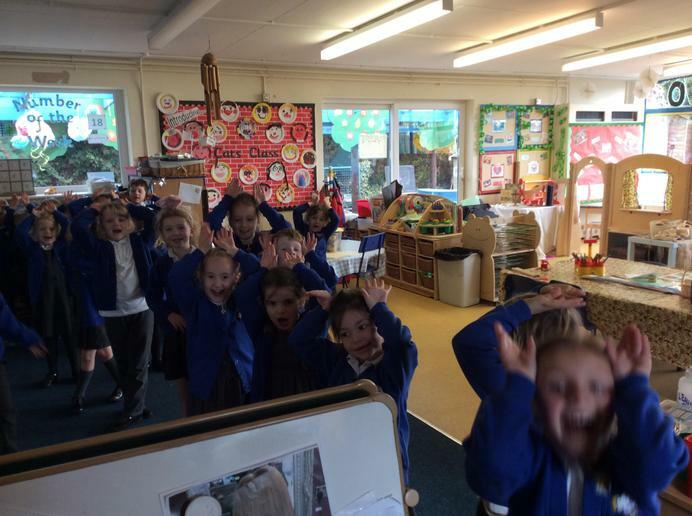 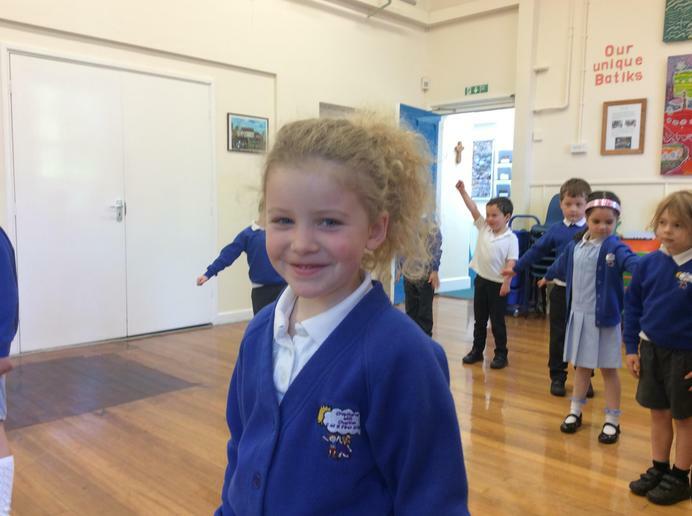 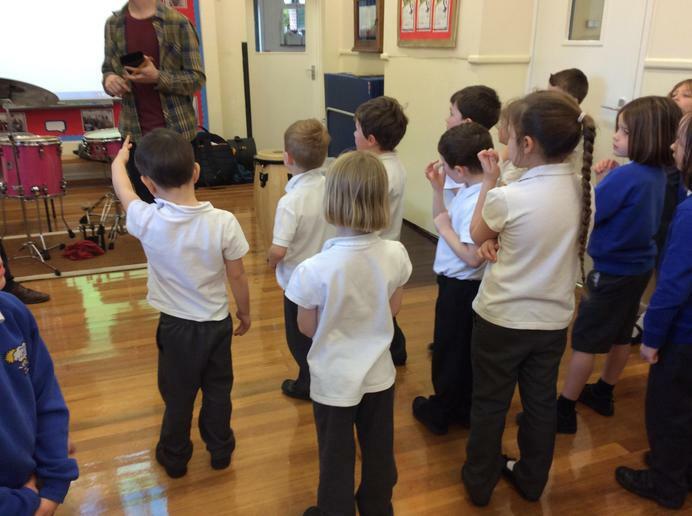 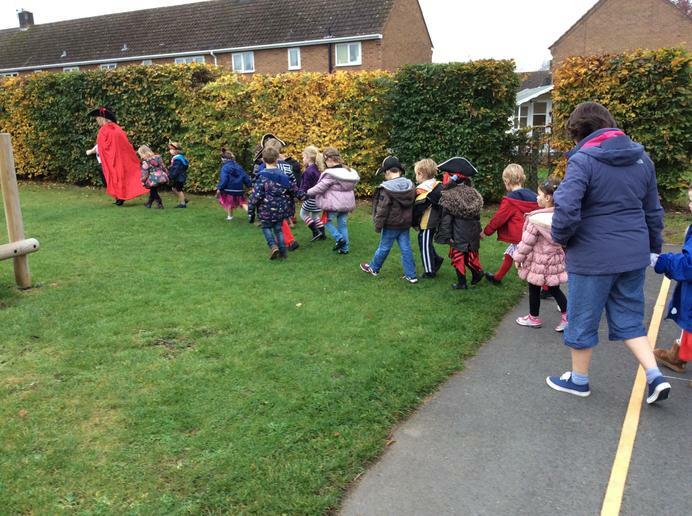 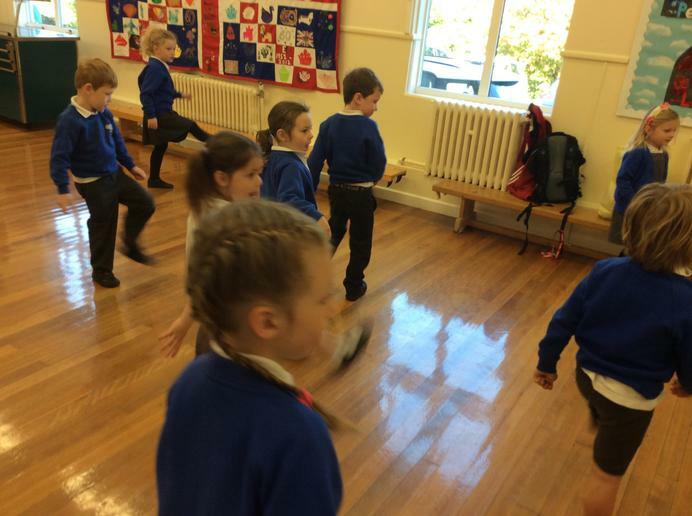 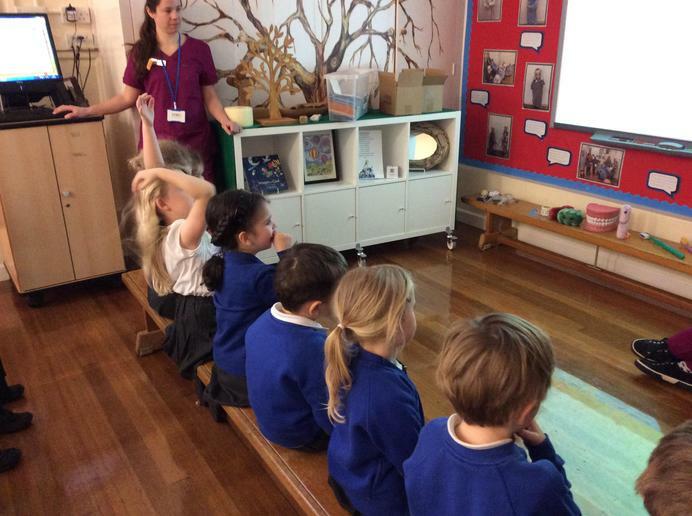 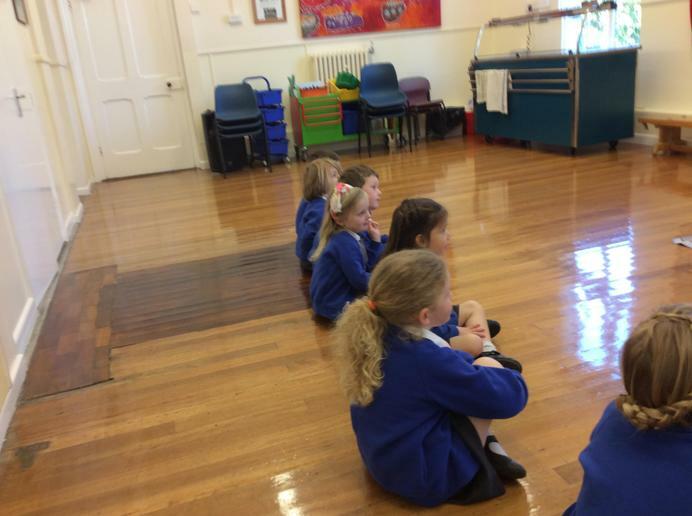 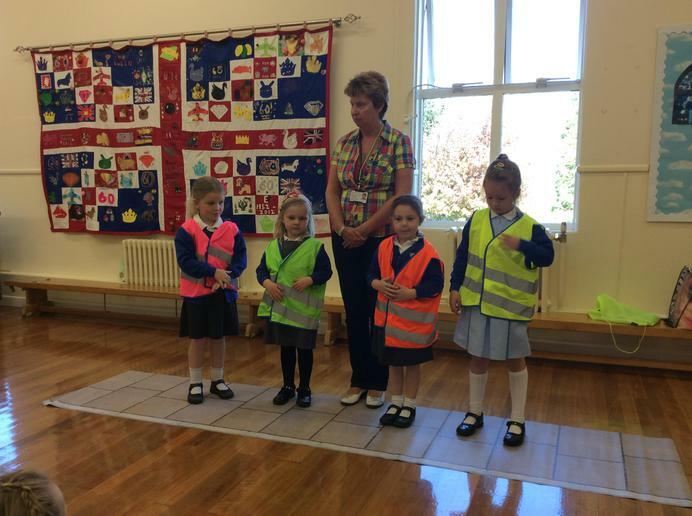 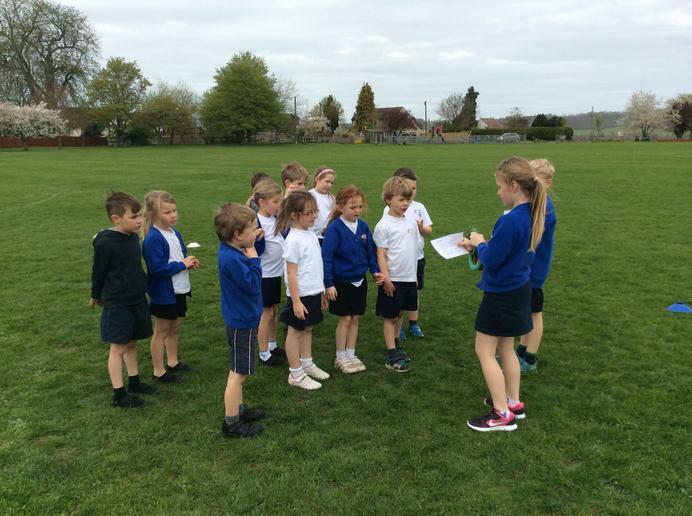 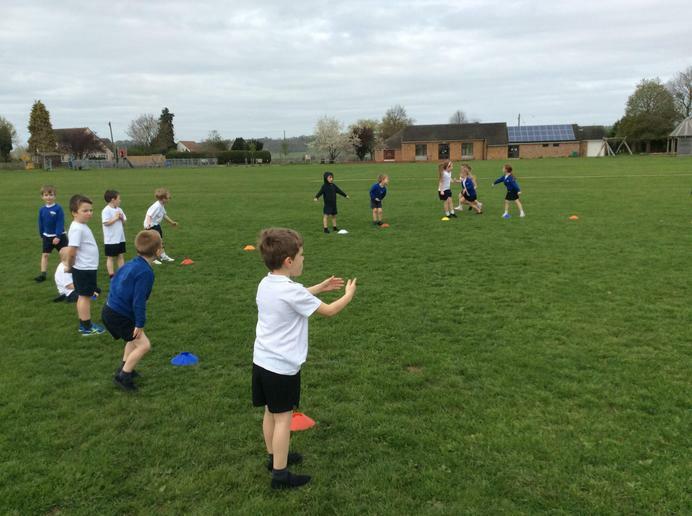 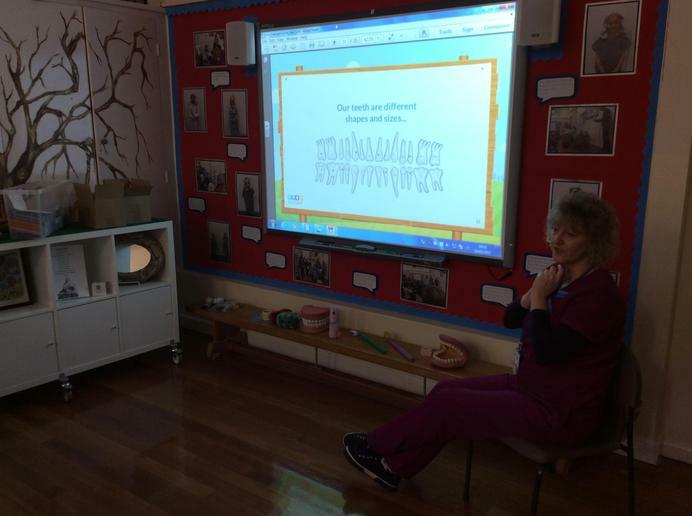 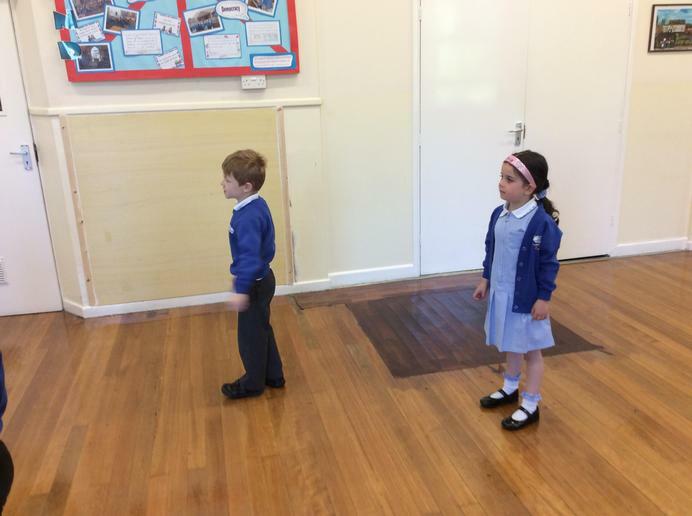 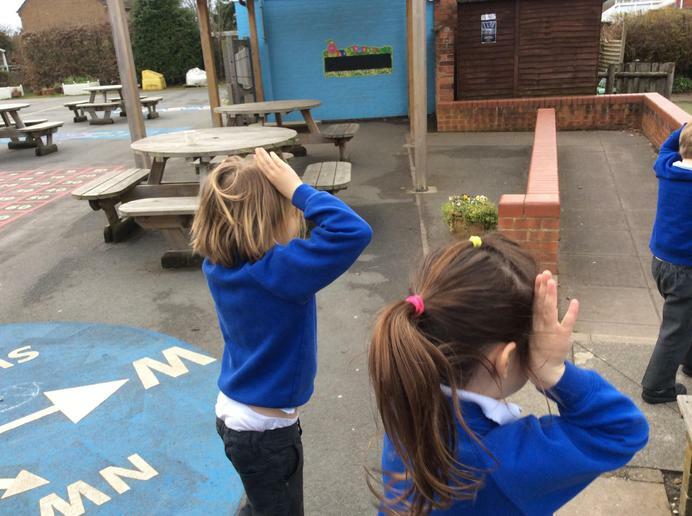 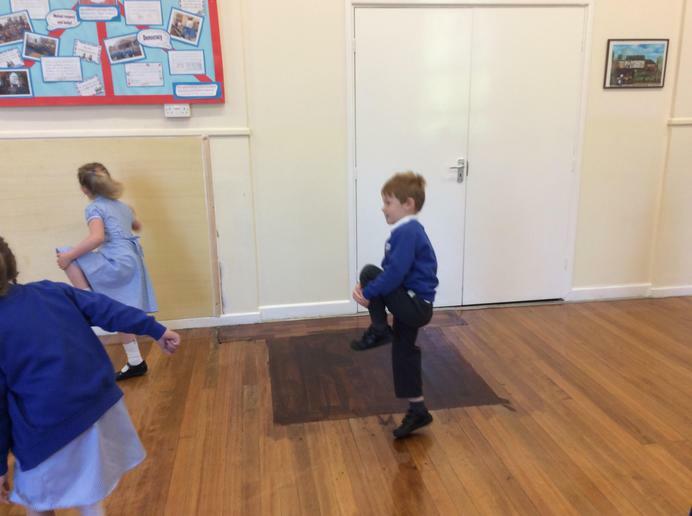 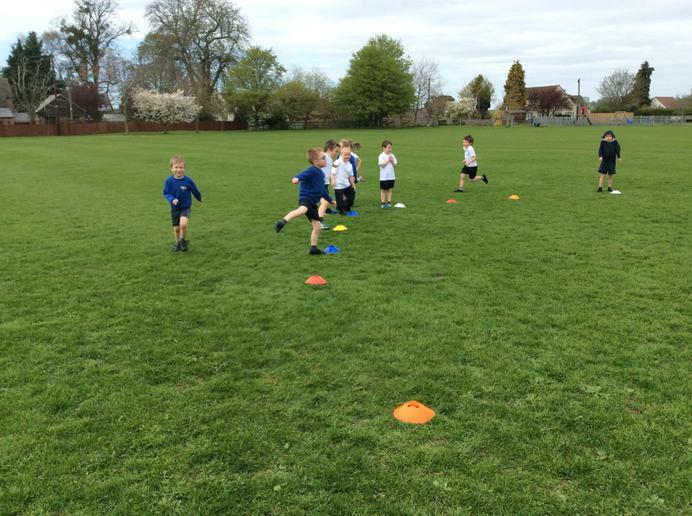 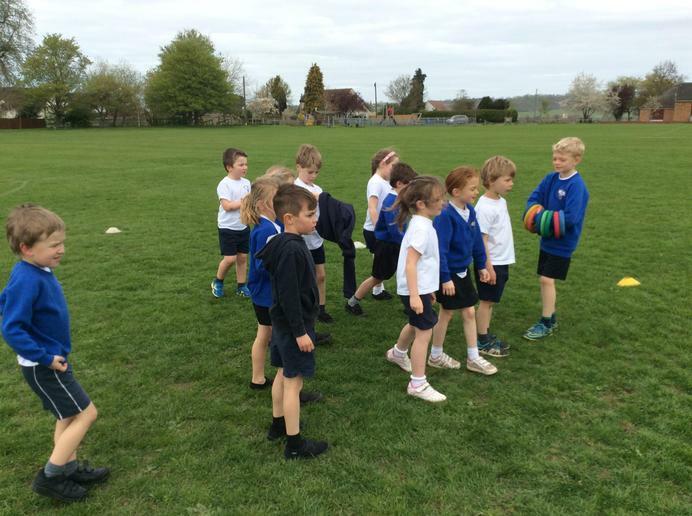 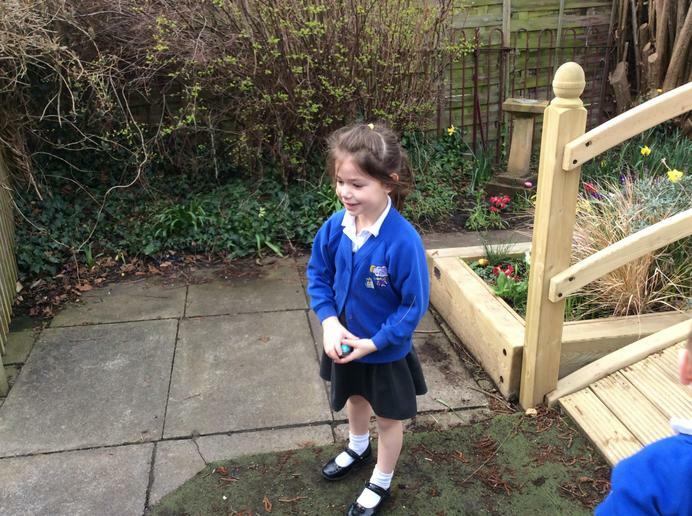 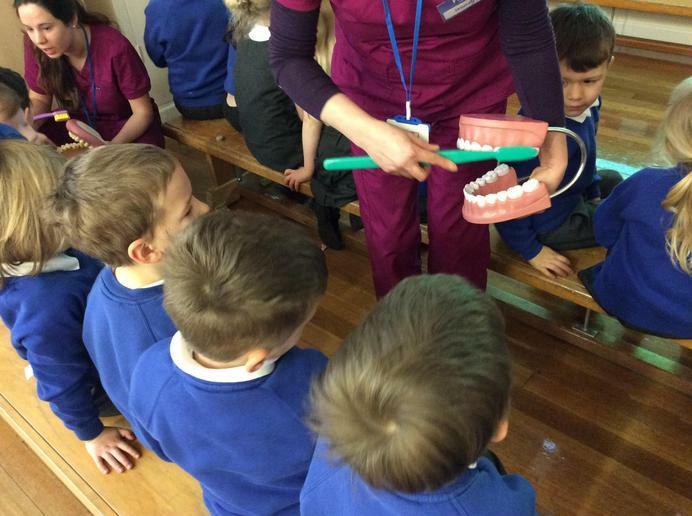 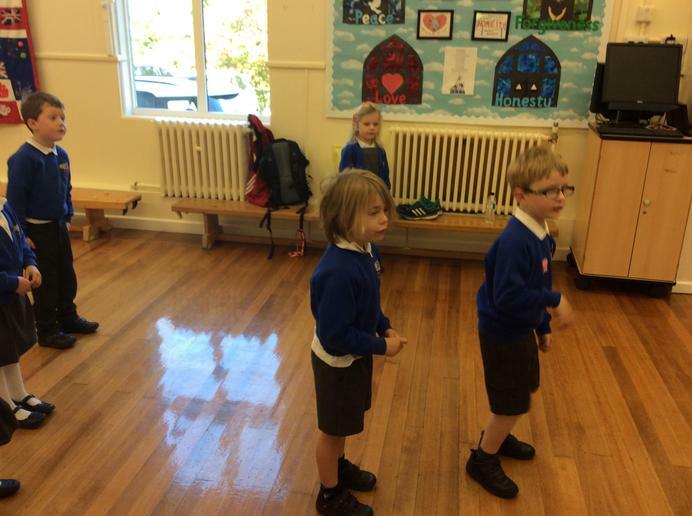 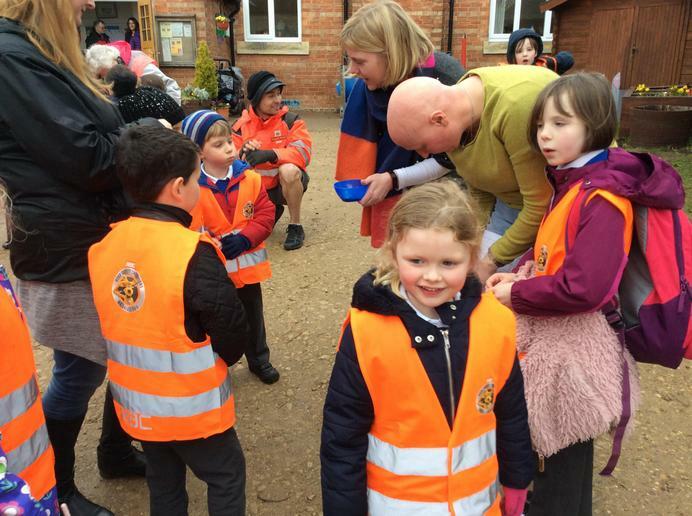 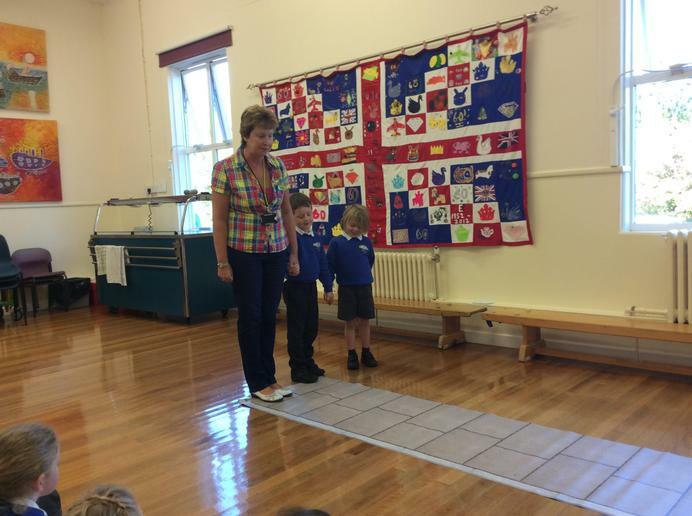 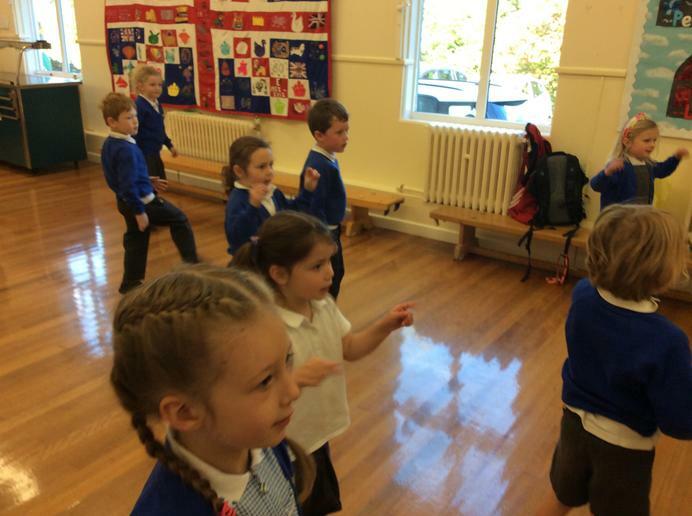 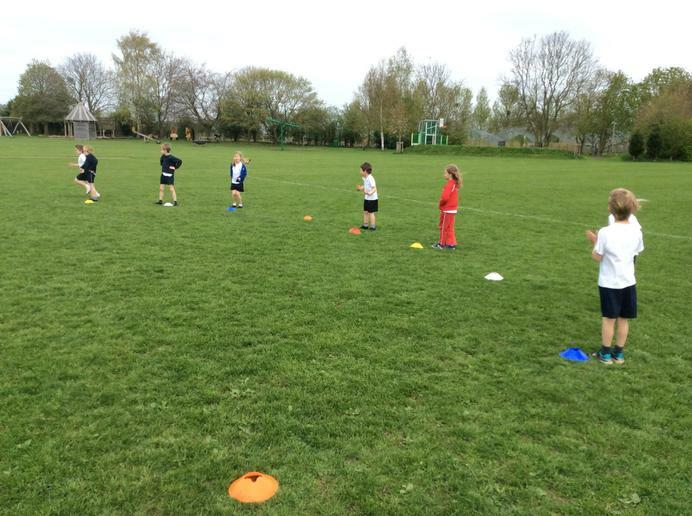 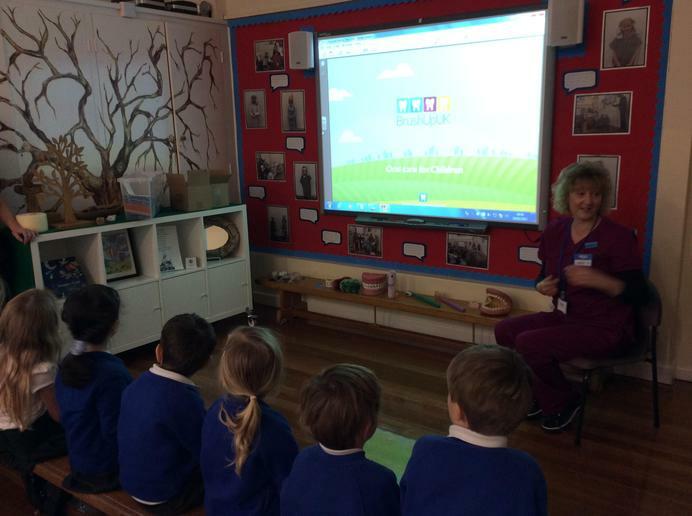 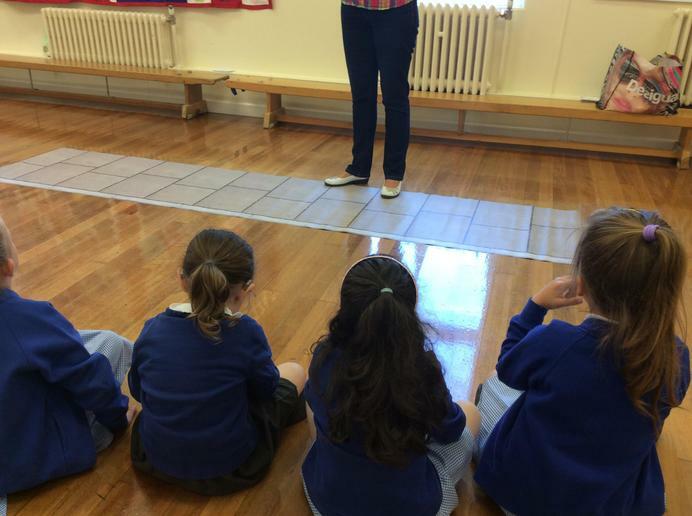 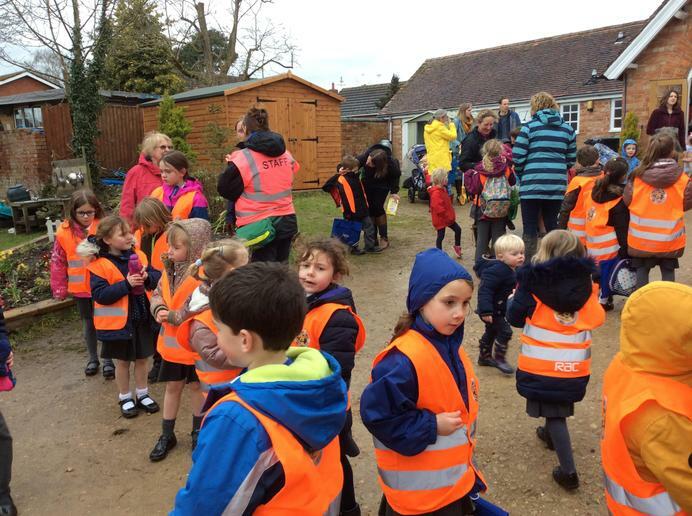 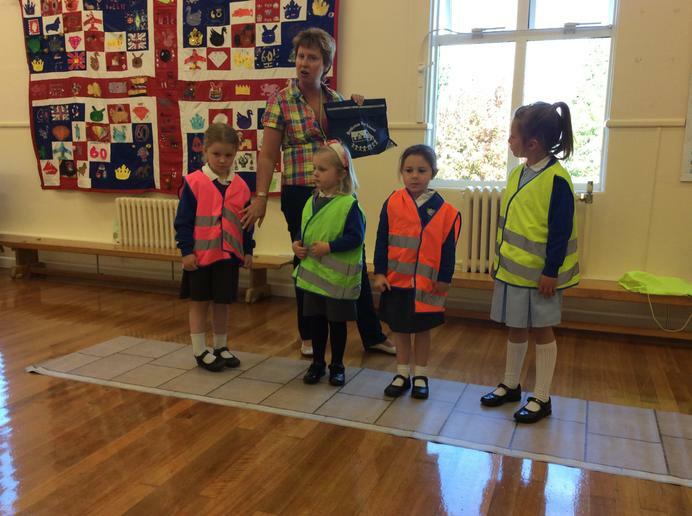 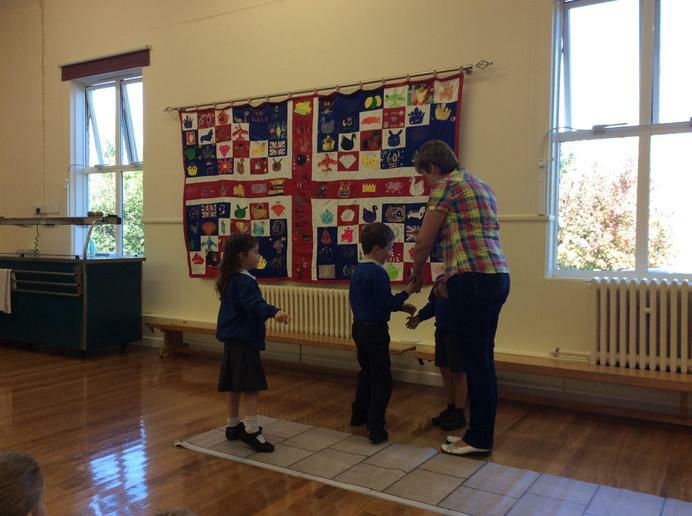 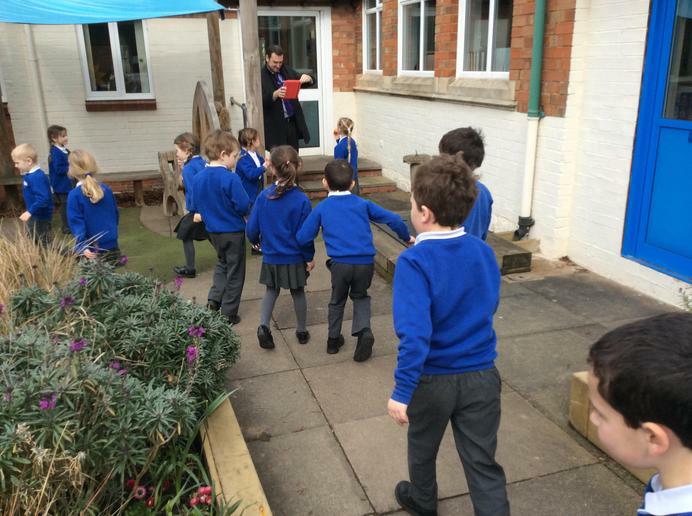 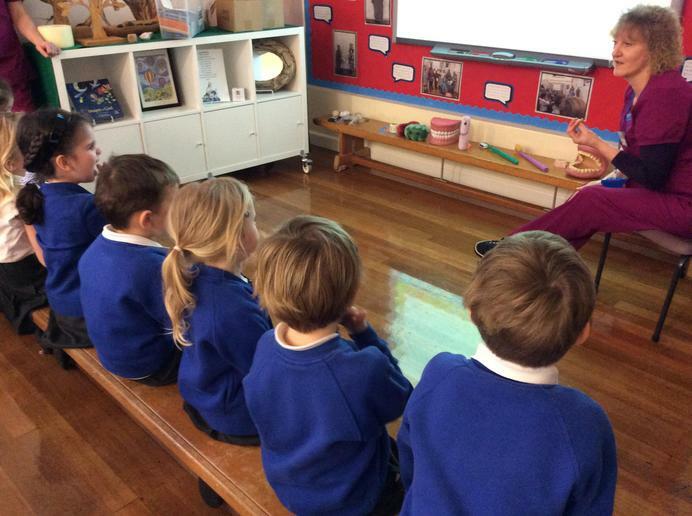 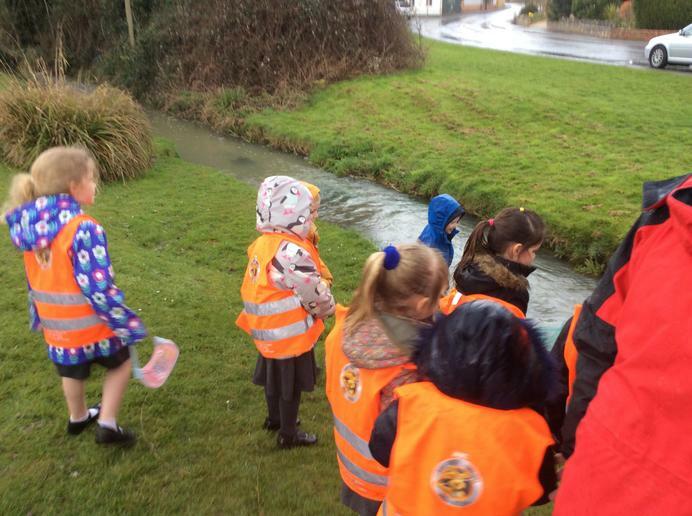 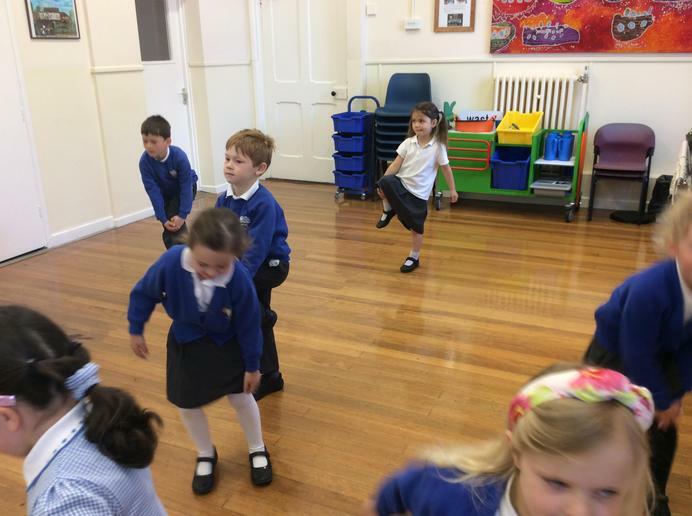 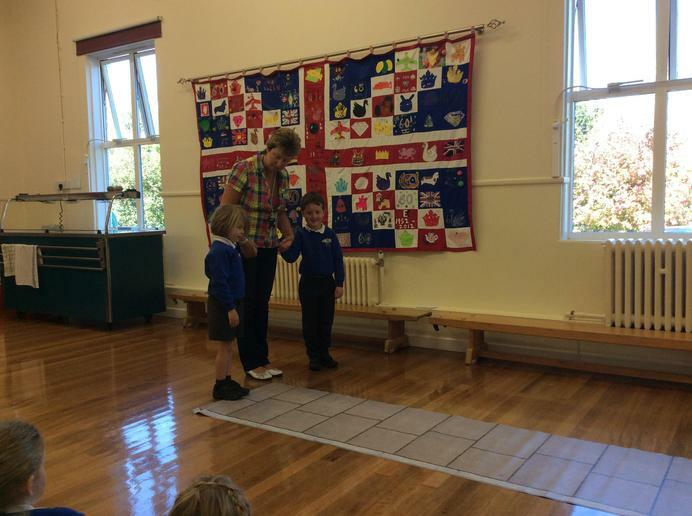 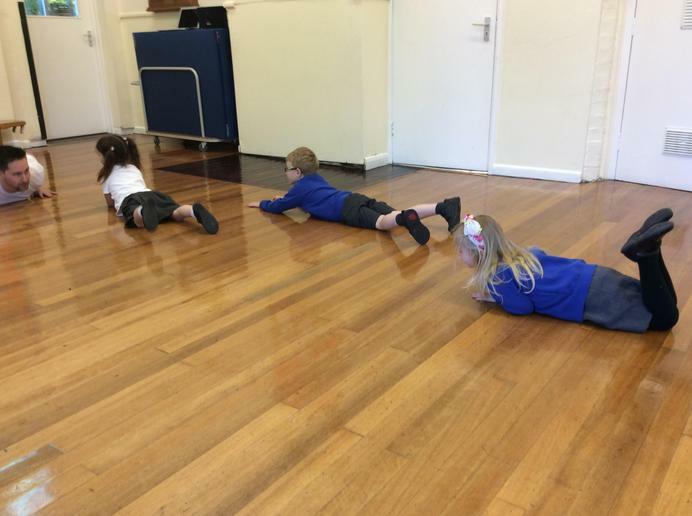 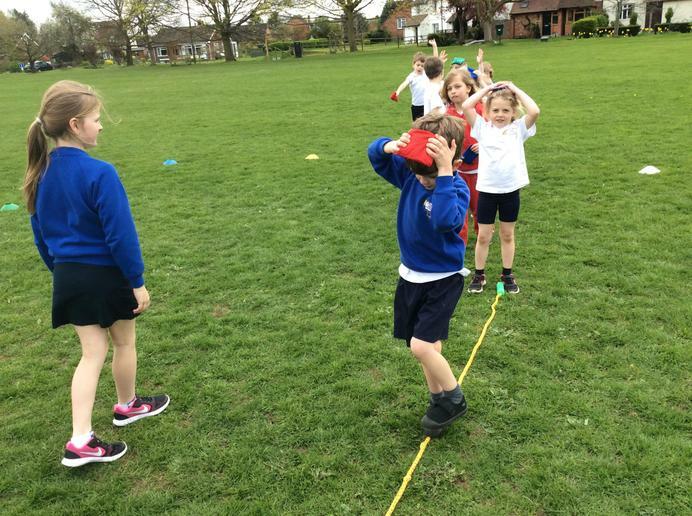 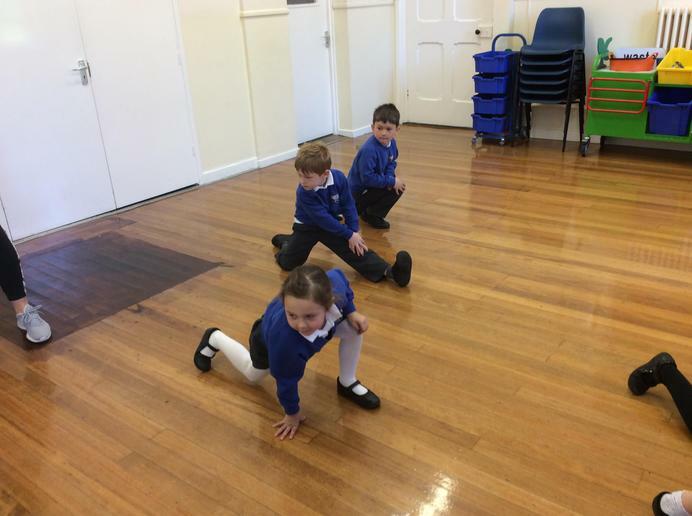 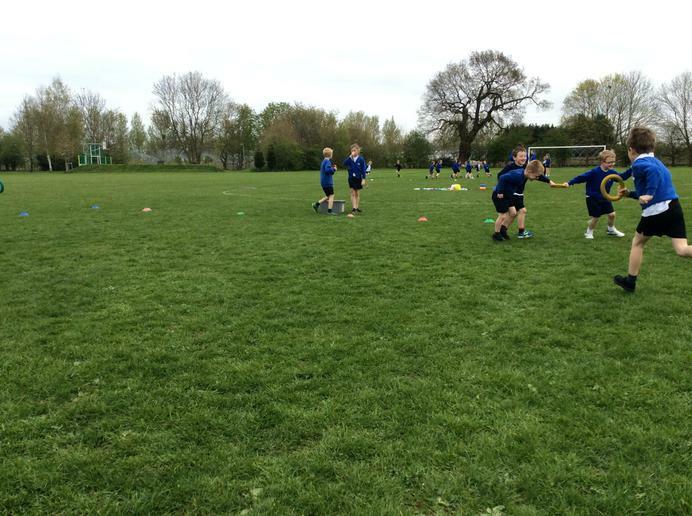 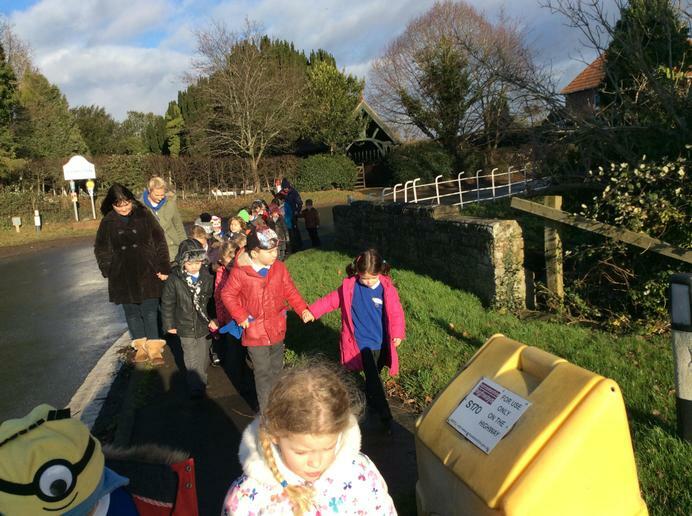 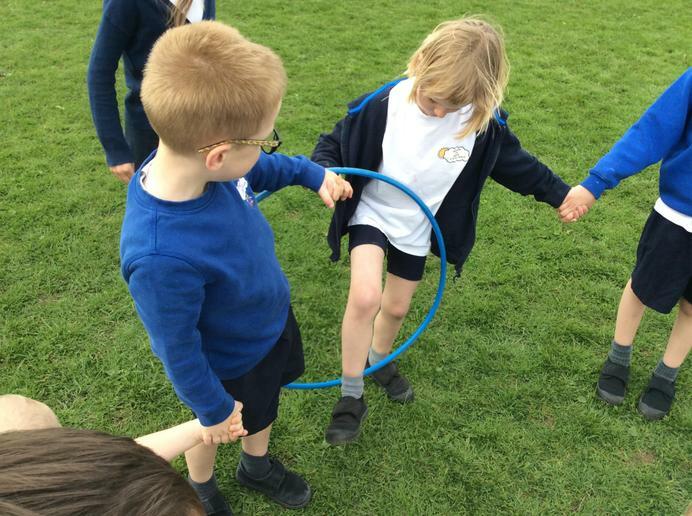 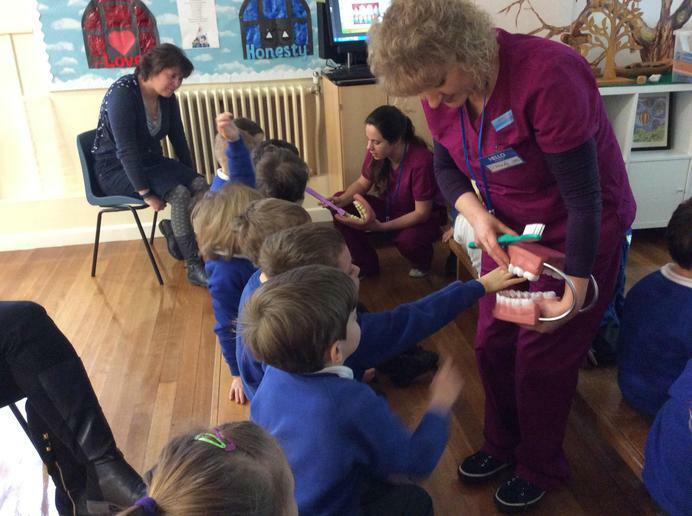 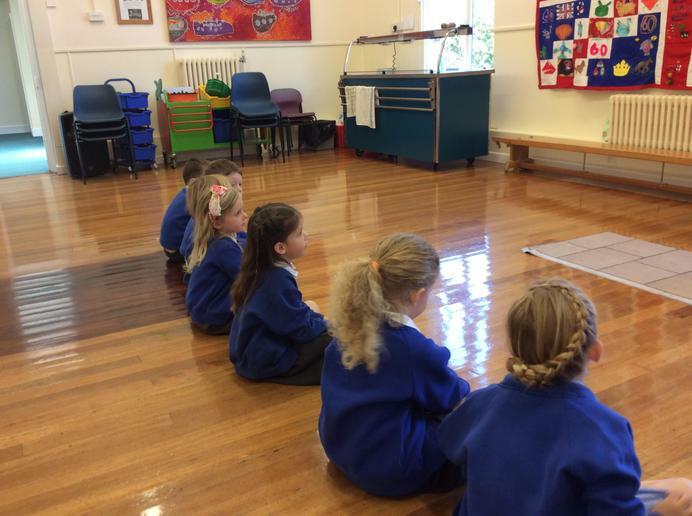 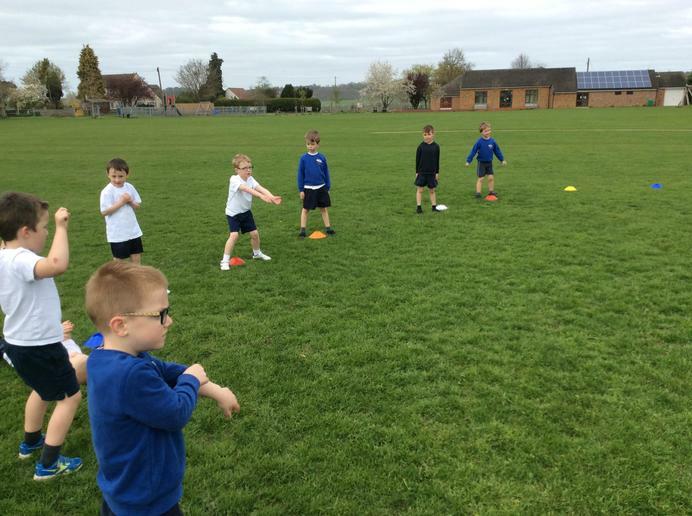 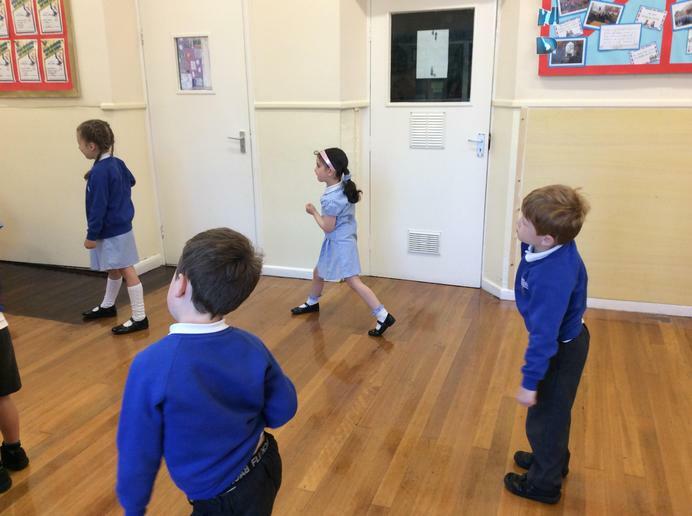 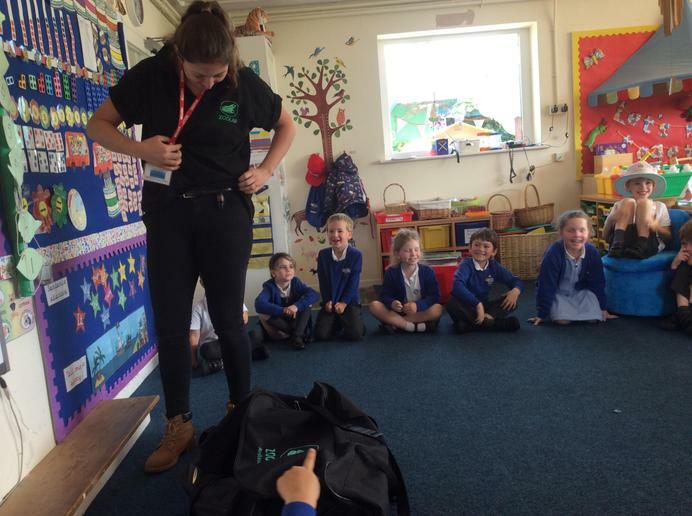 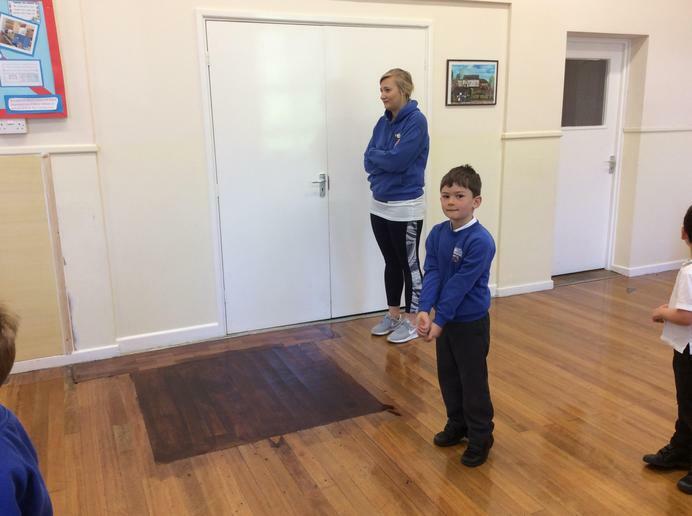 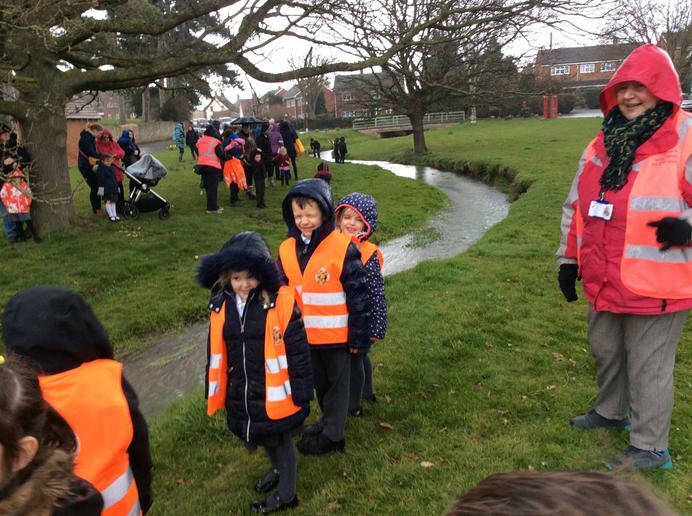 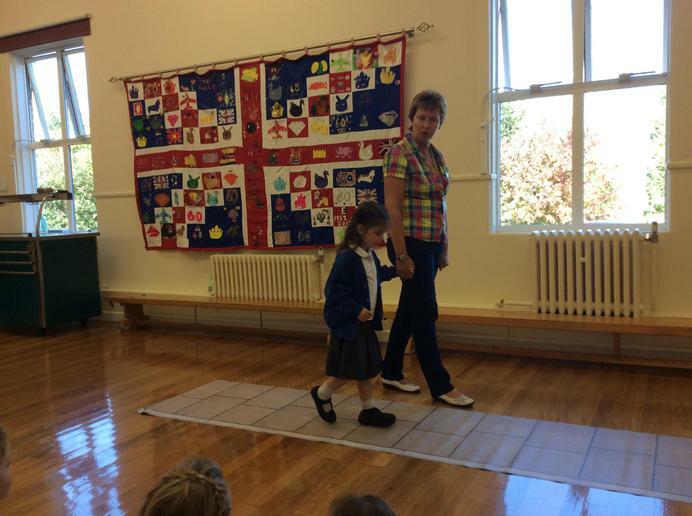 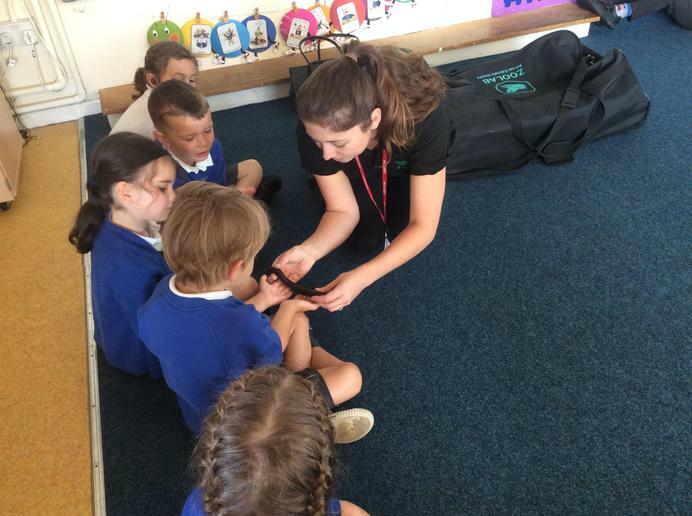 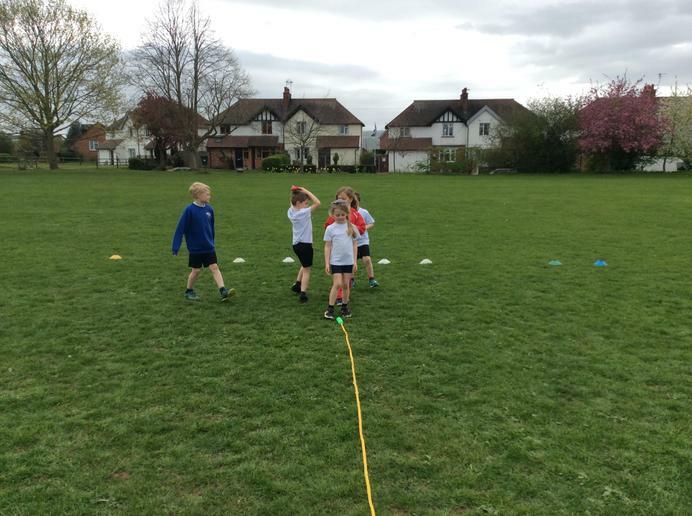 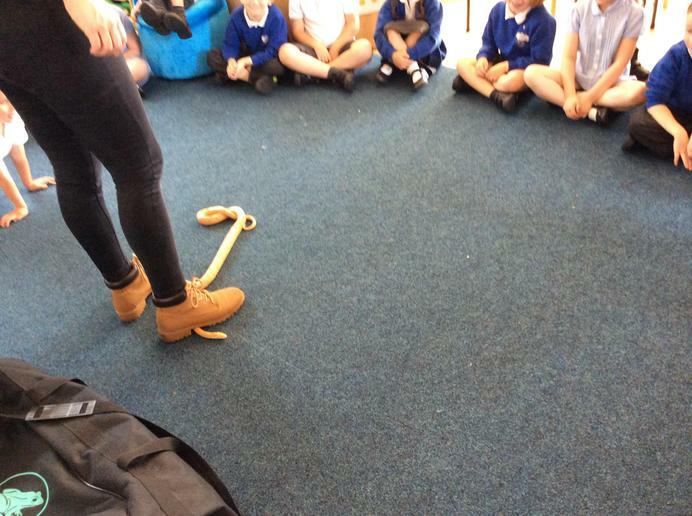 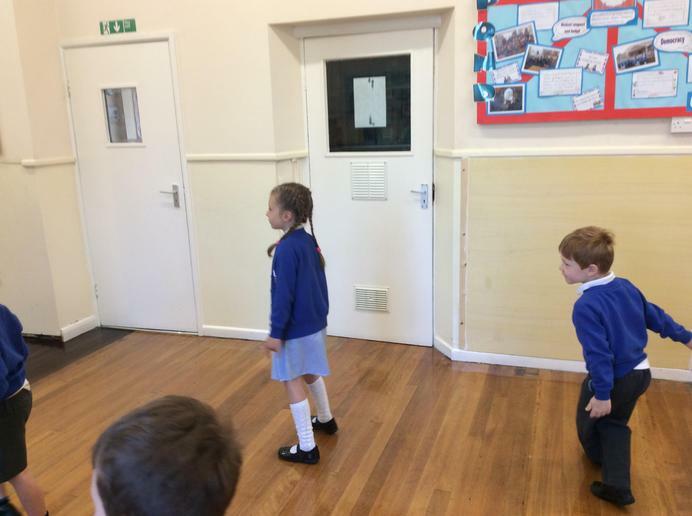 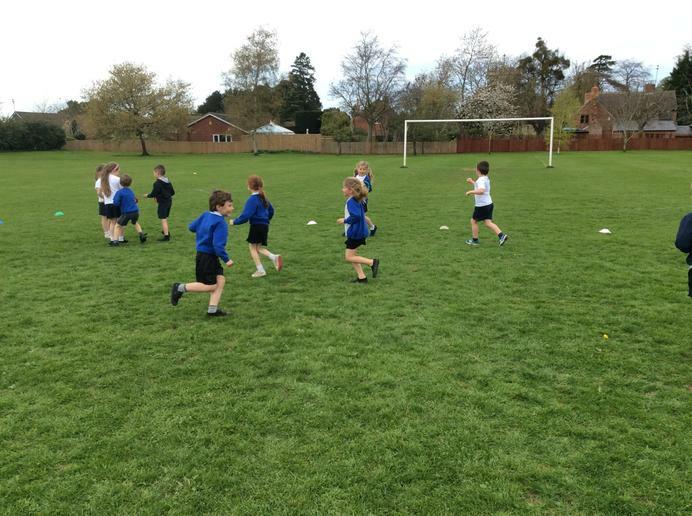 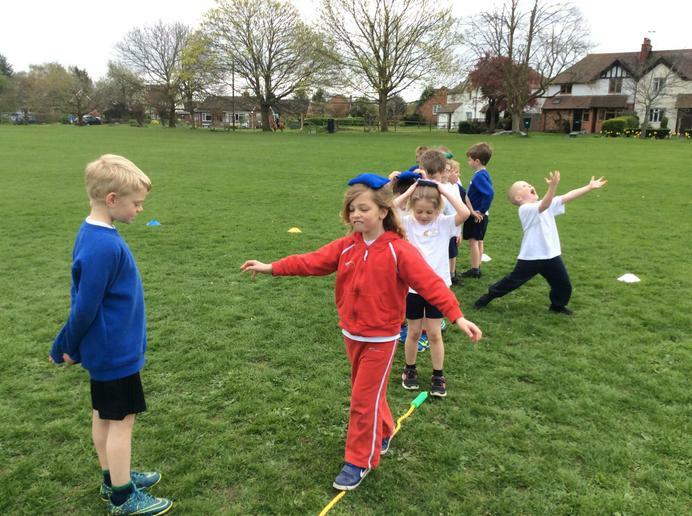 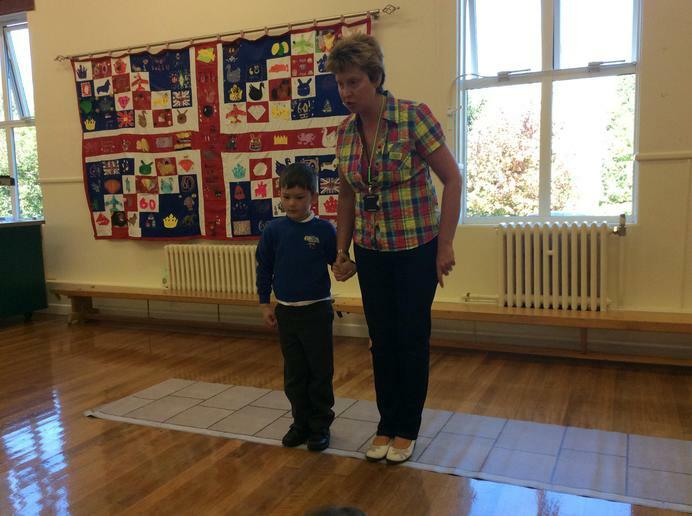 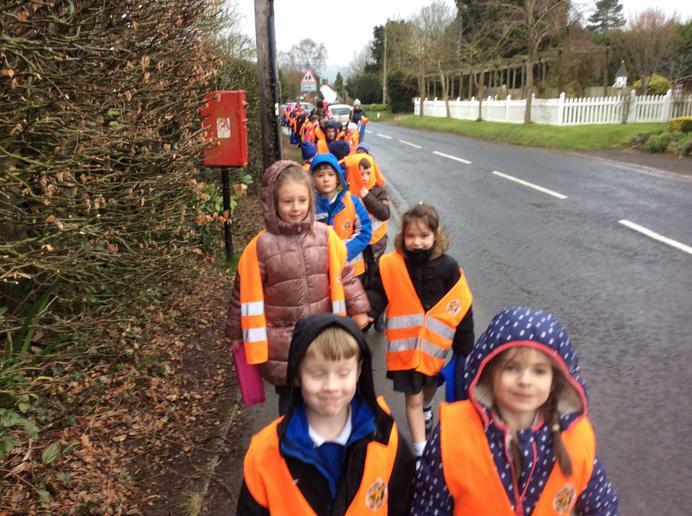 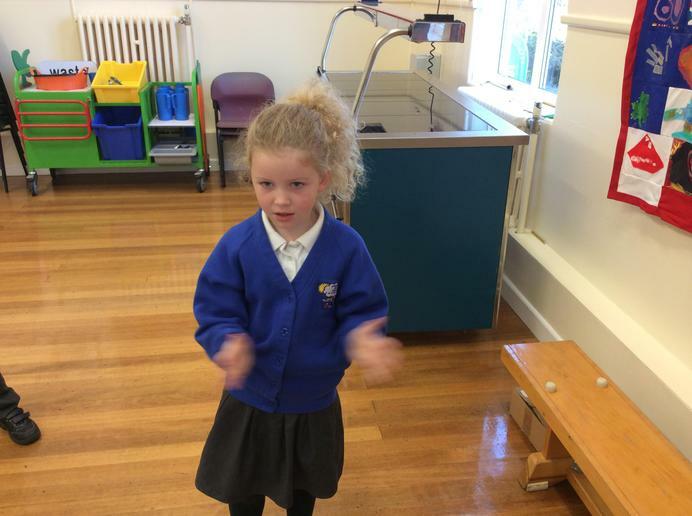 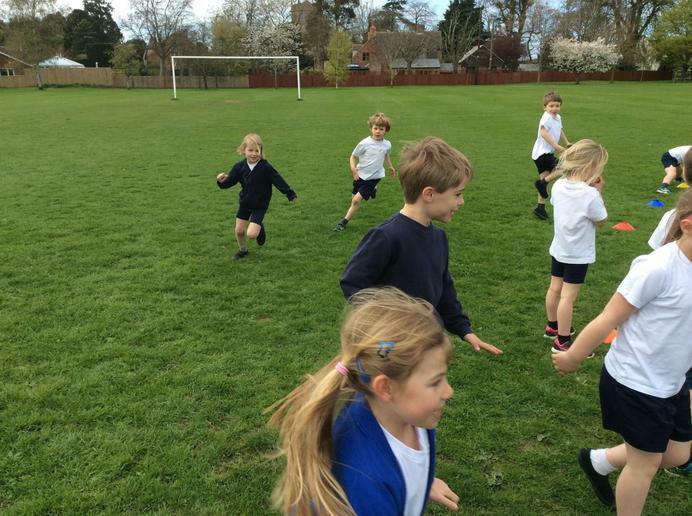 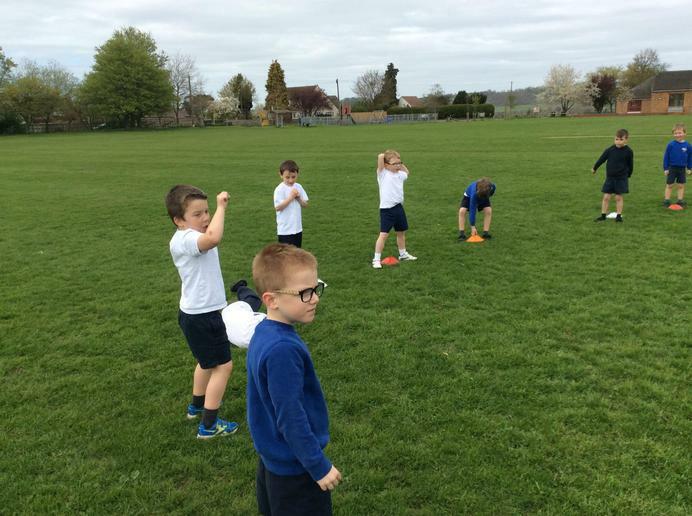 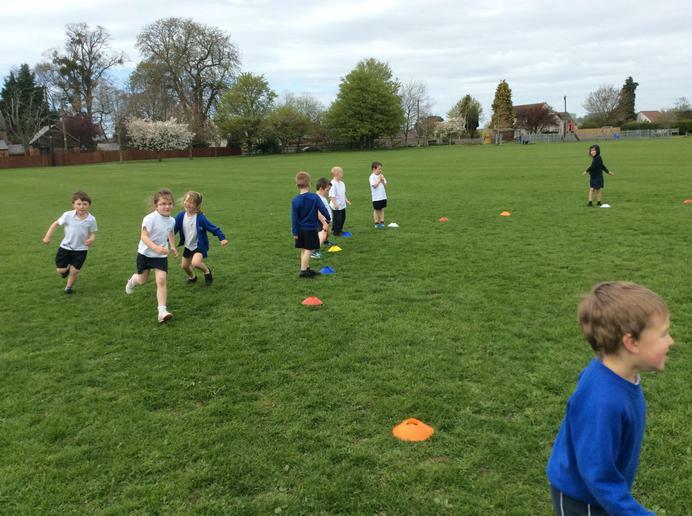 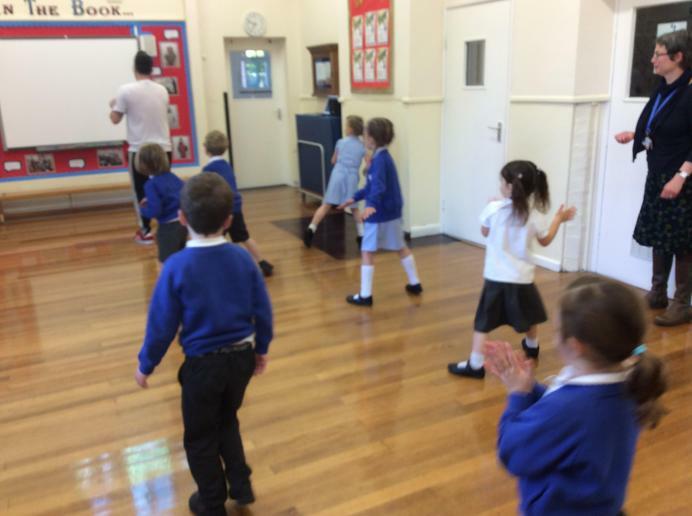 Pedestrian training - we were very lucky that reception were able to complete pedestrian training. 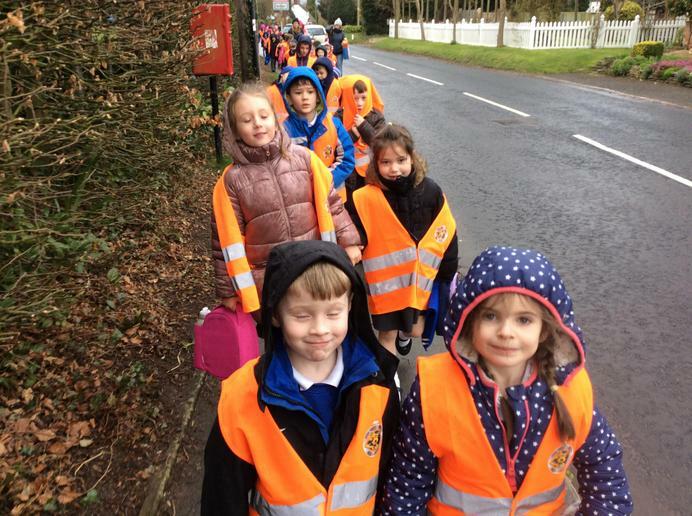 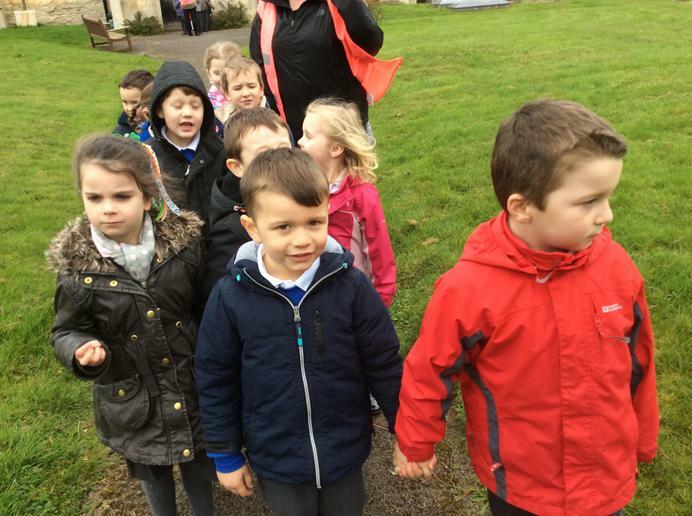 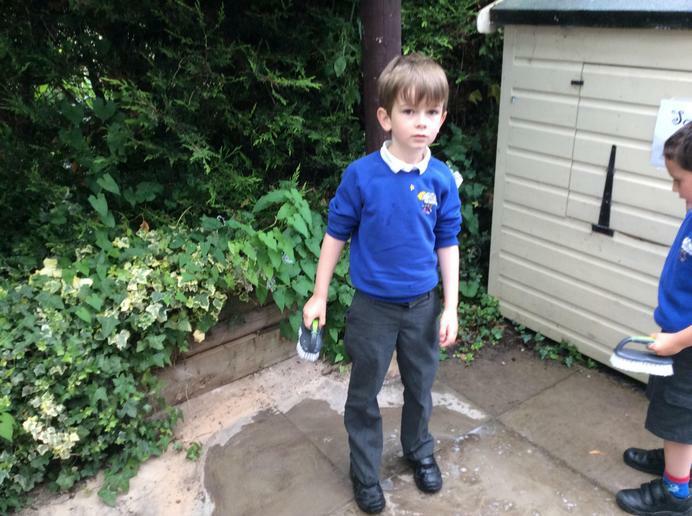 The children learnt where to stand on a pavement when they are to cross a road, they need to make sure that they are arms length from the curb so they are not that close. 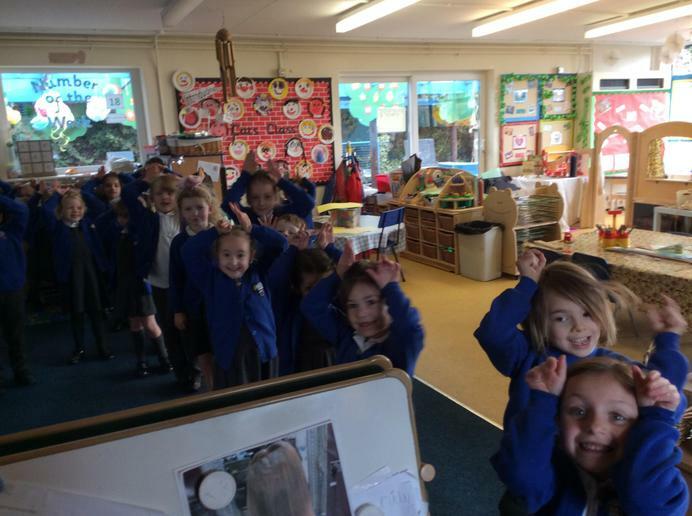 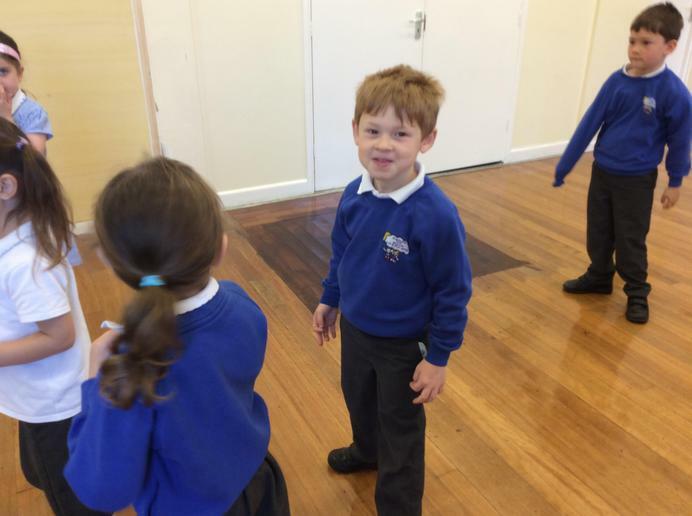 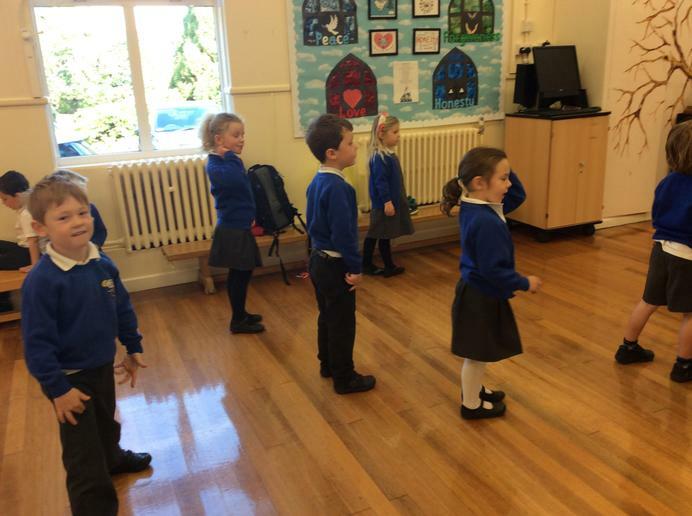 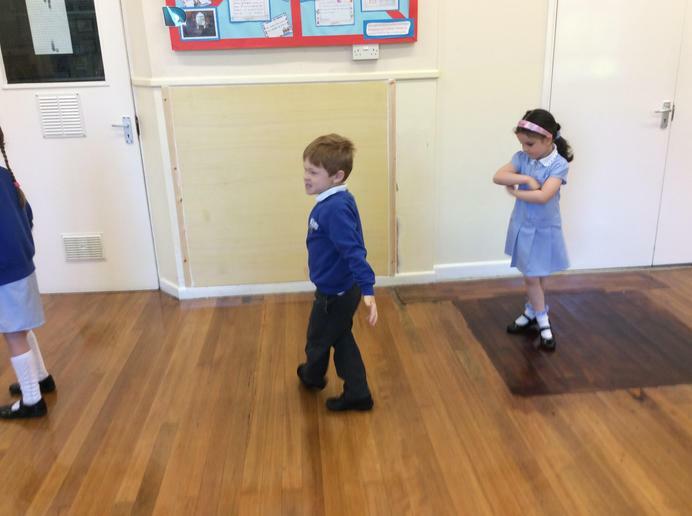 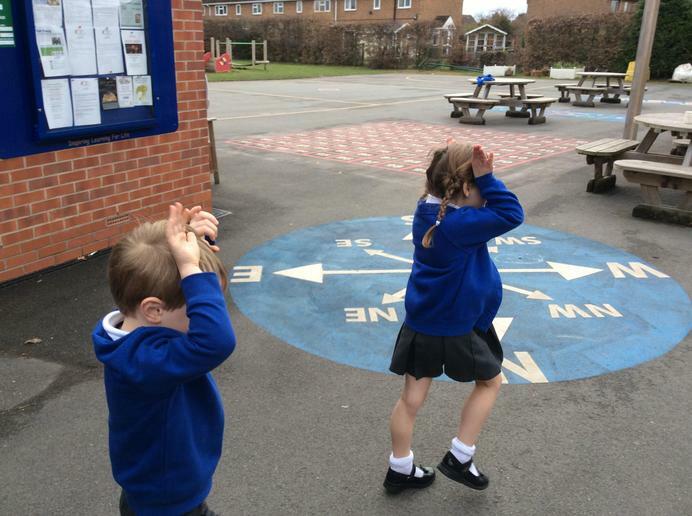 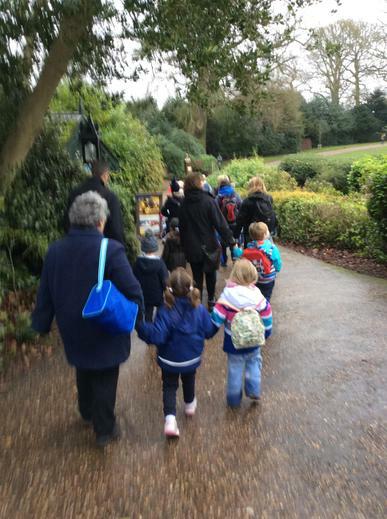 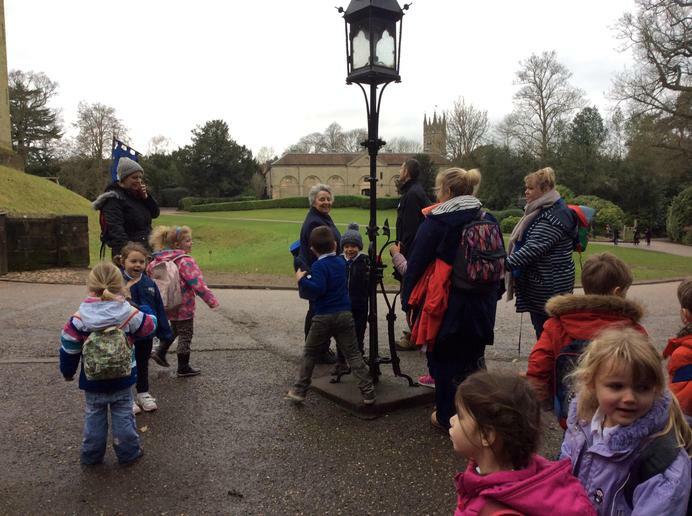 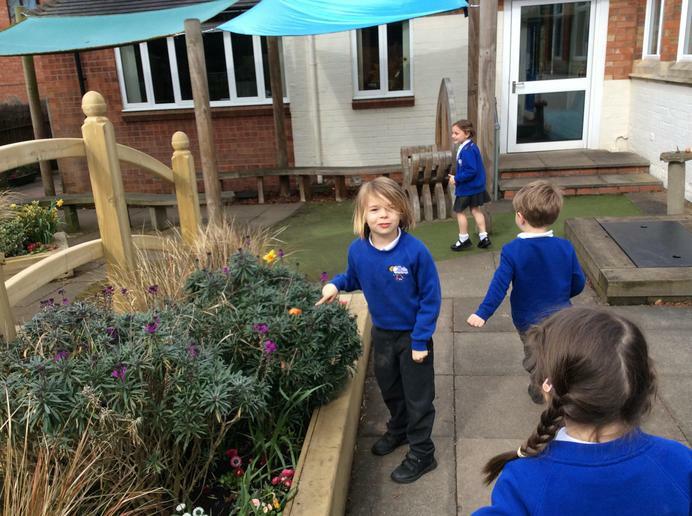 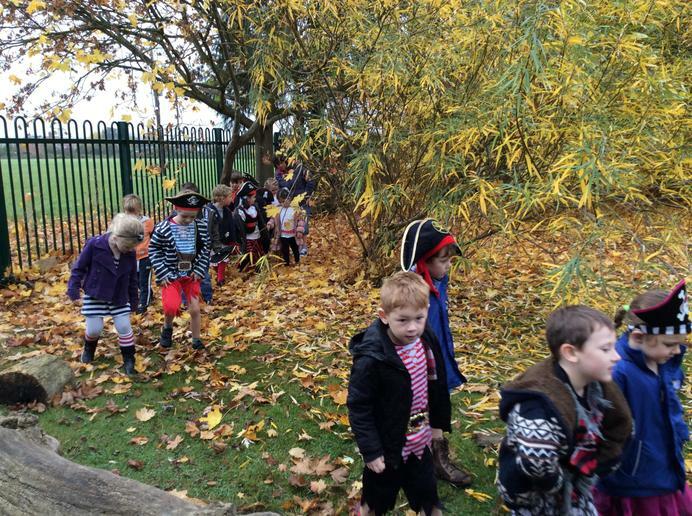 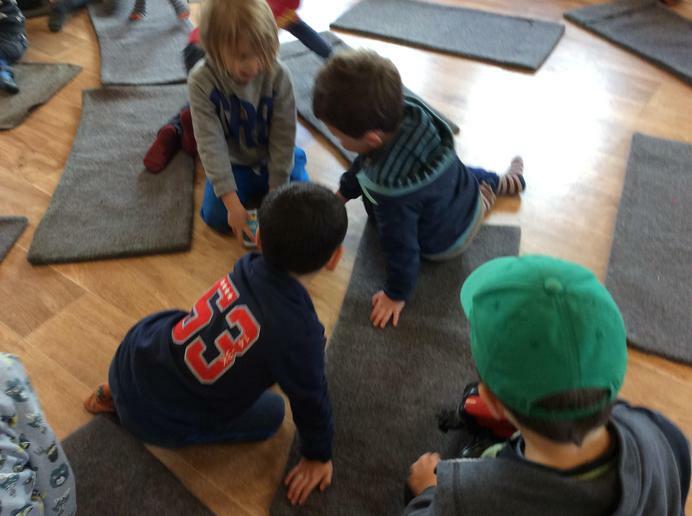 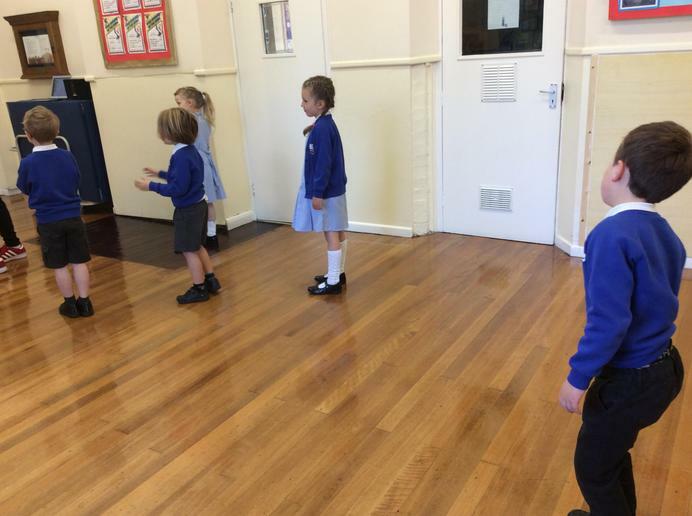 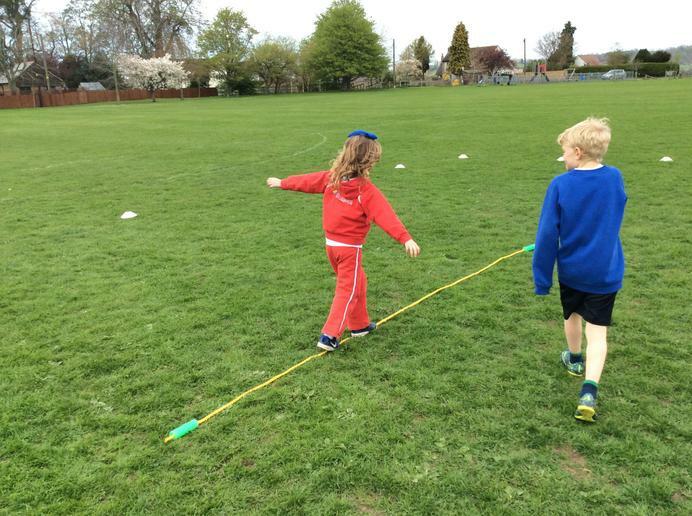 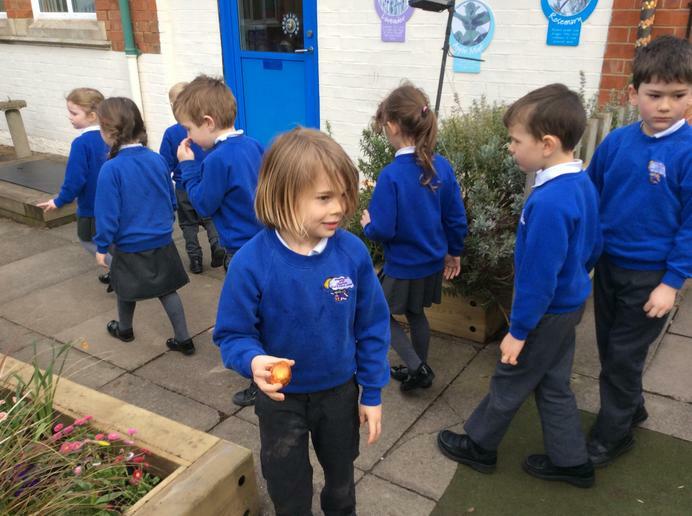 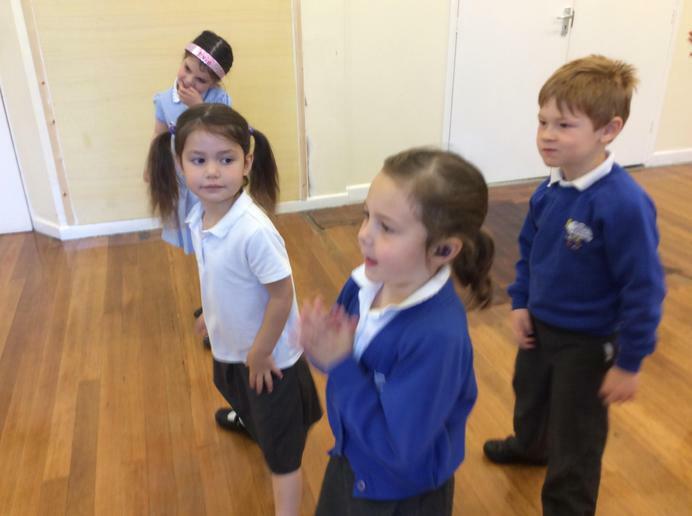 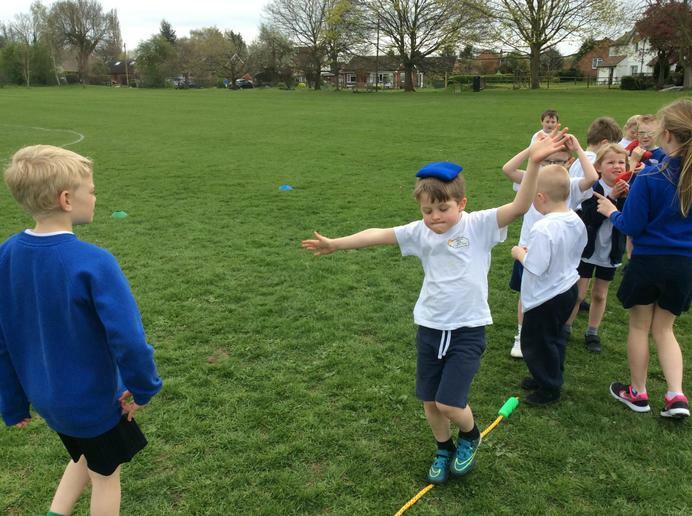 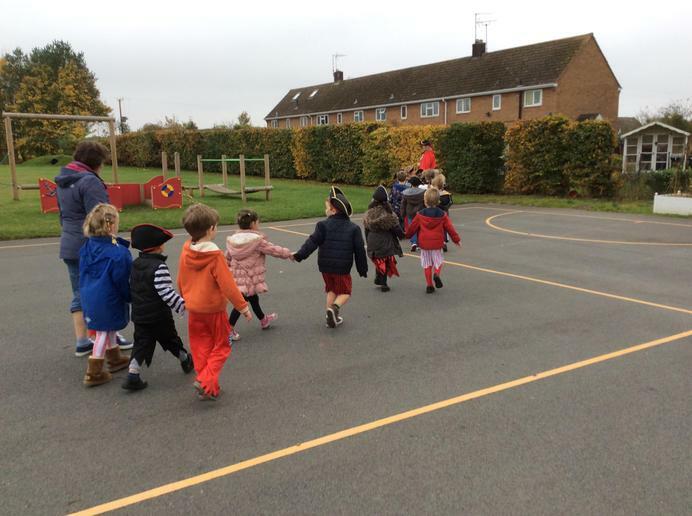 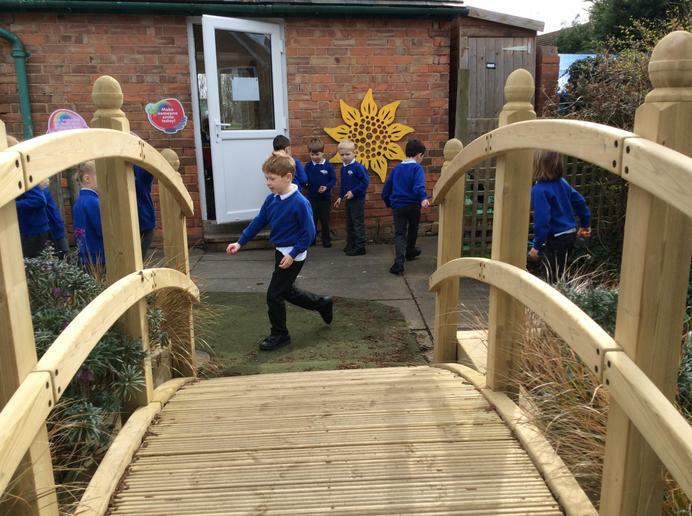 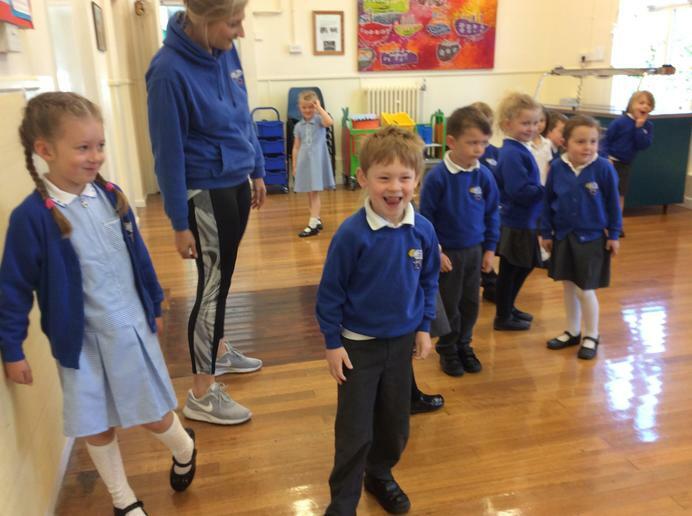 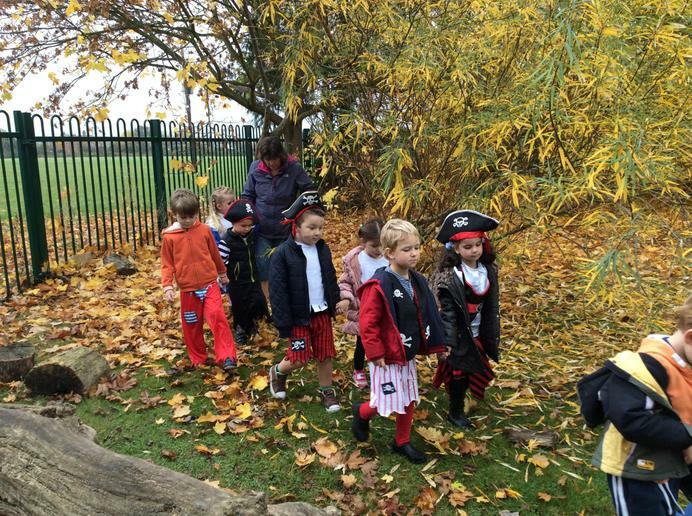 They also learnt which side they should stand when walking with an adult, lots of fabulous thinking went on, well done reception! 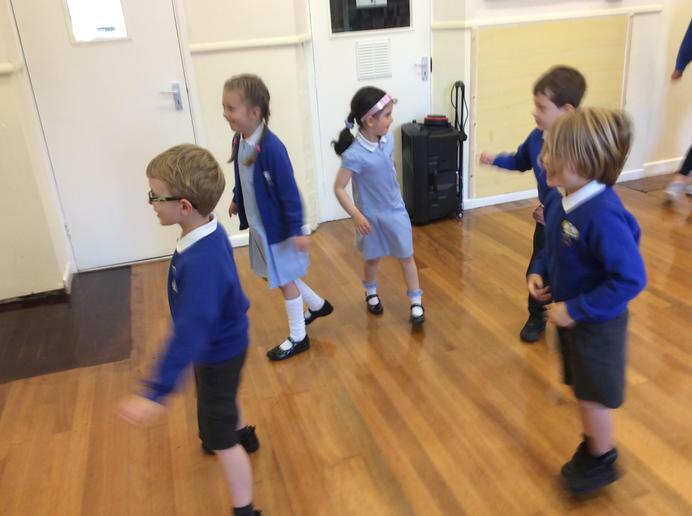 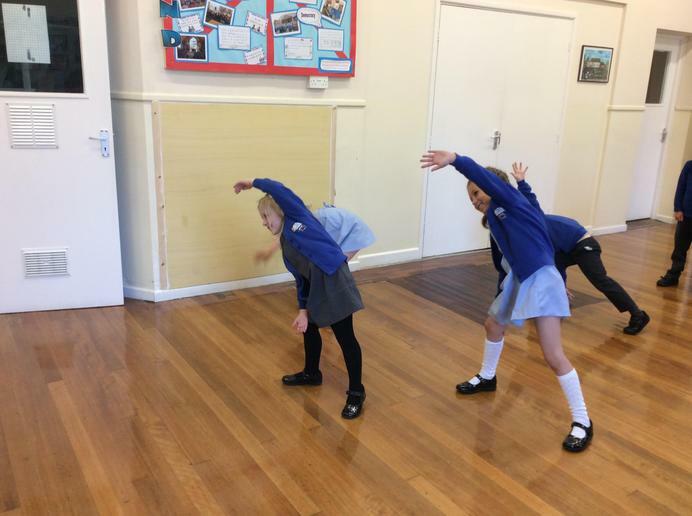 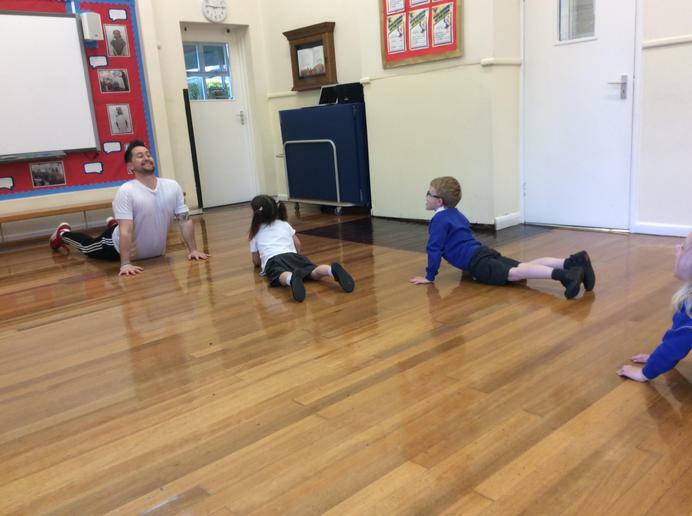 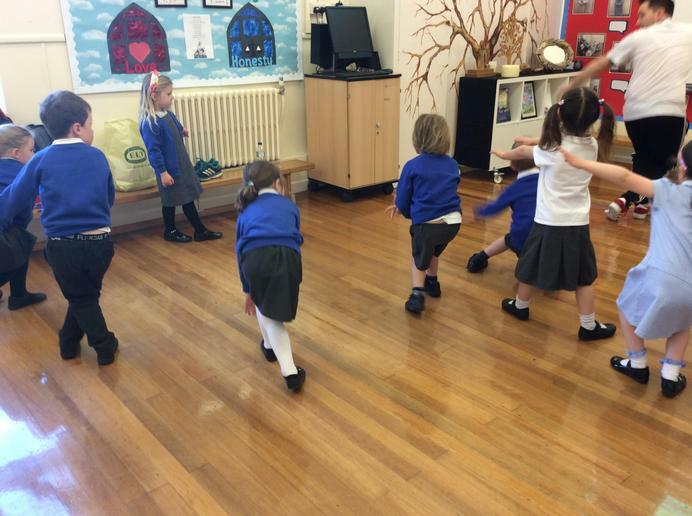 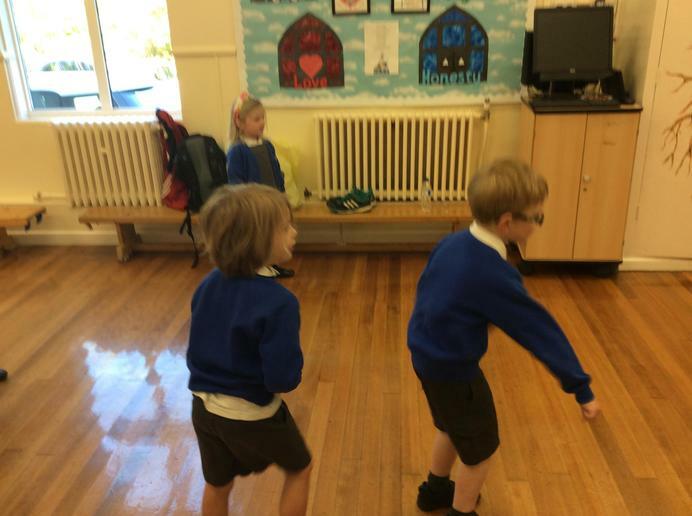 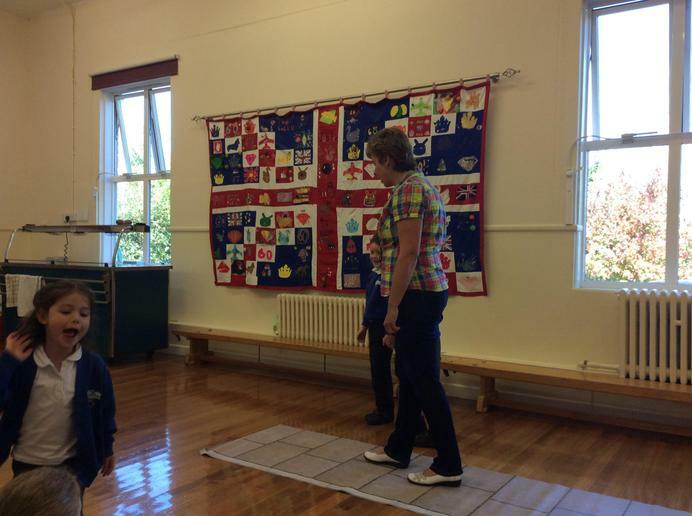 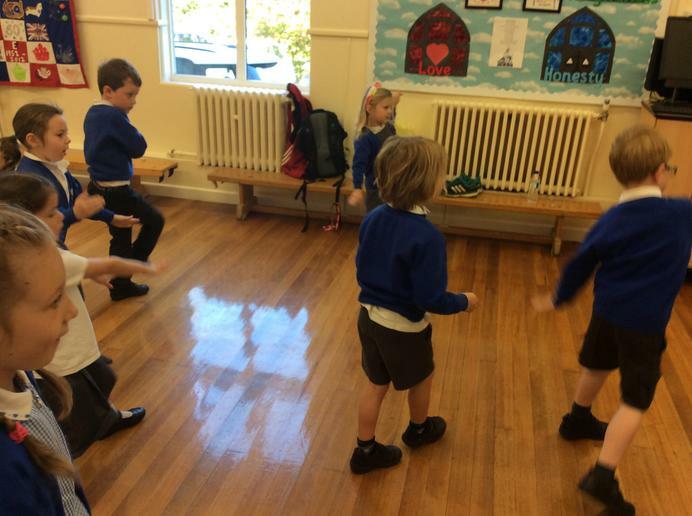 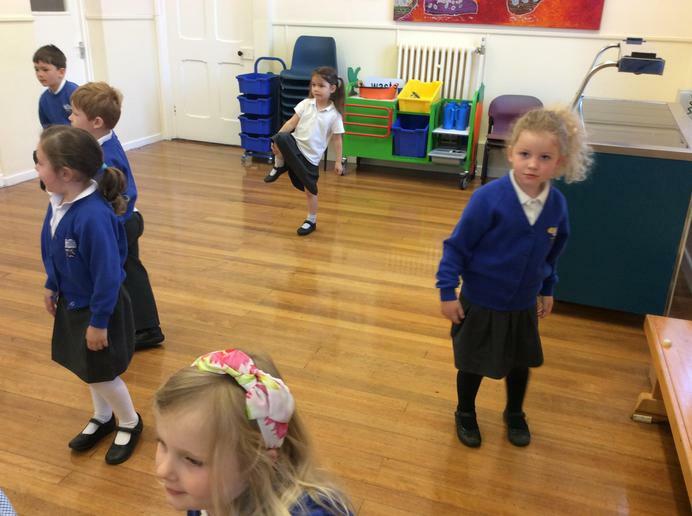 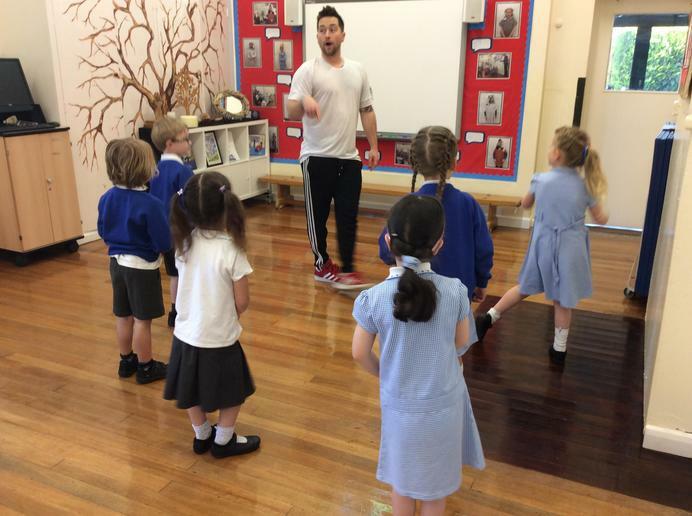 Street Dance - The children had the best time trying out their dance moves...who knew we had such groovers! 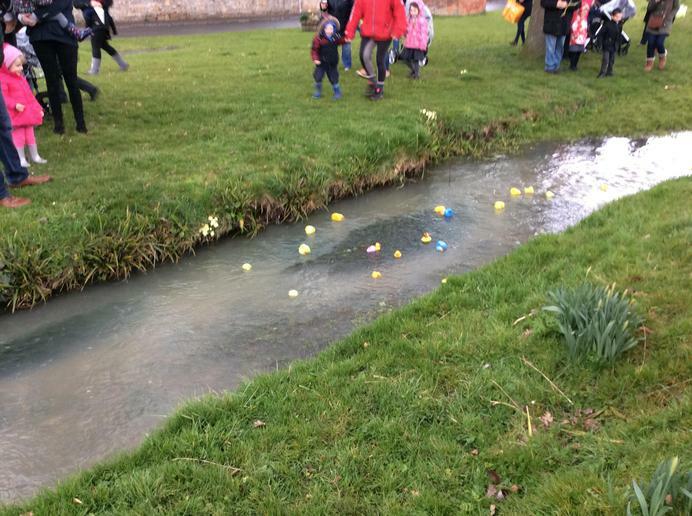 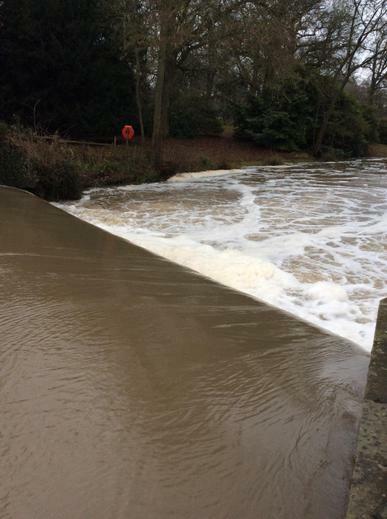 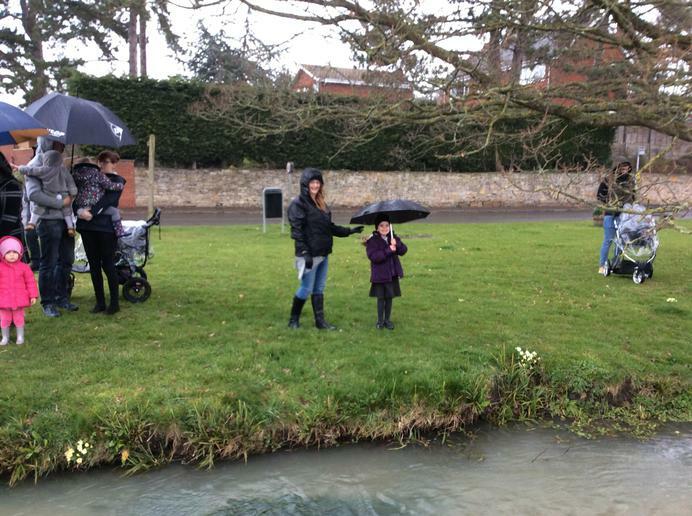 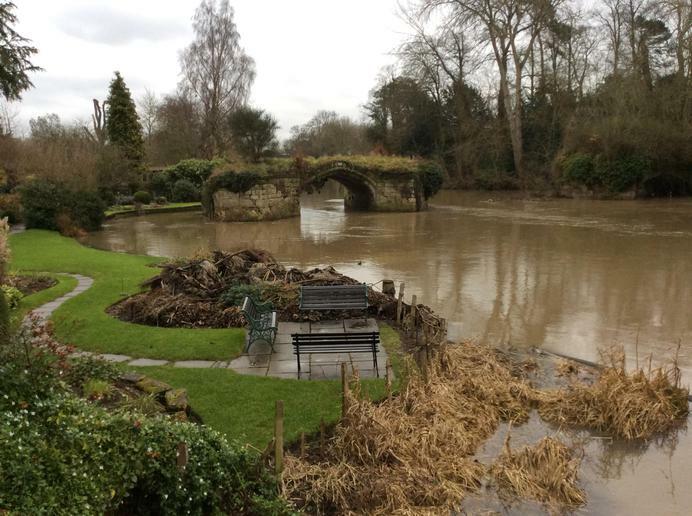 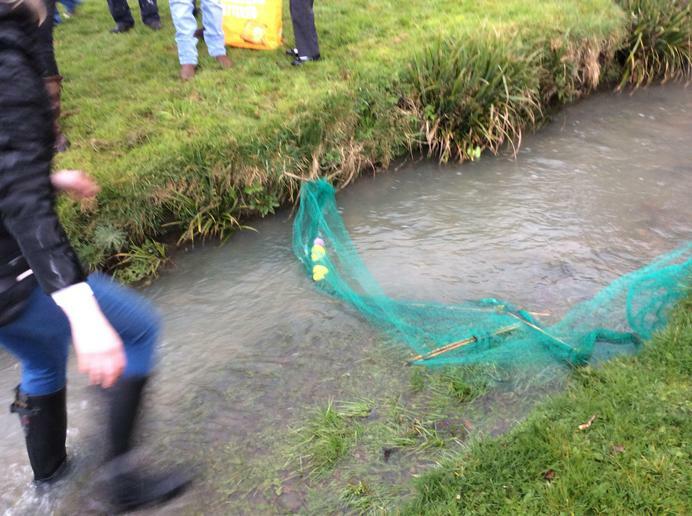 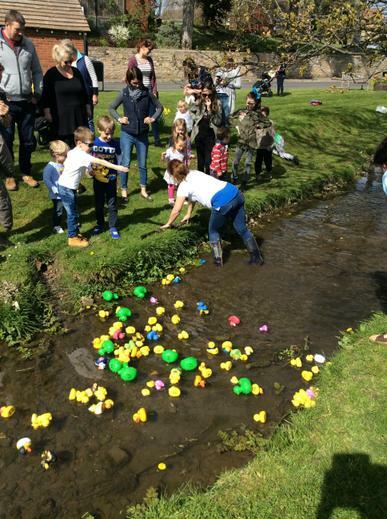 Duck Race! 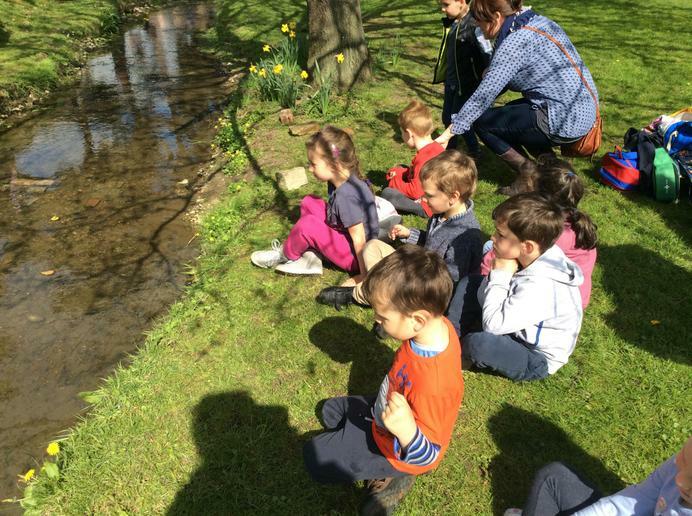 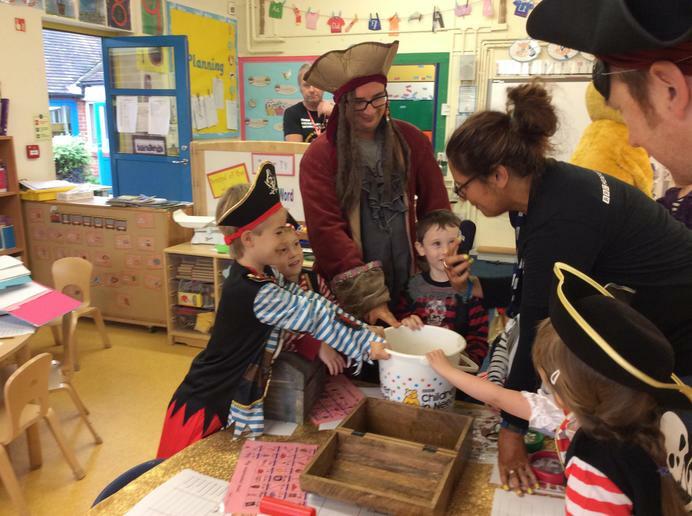 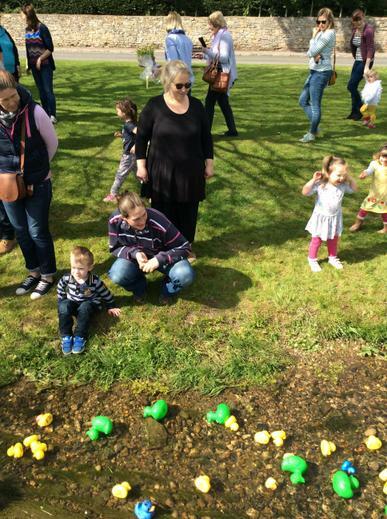 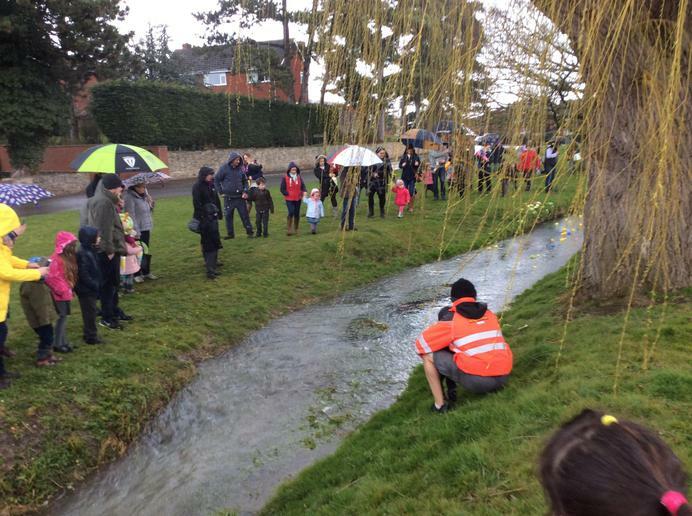 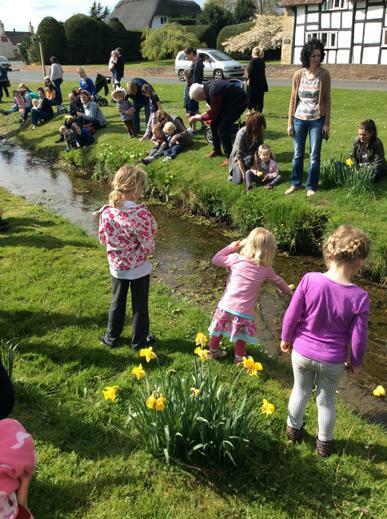 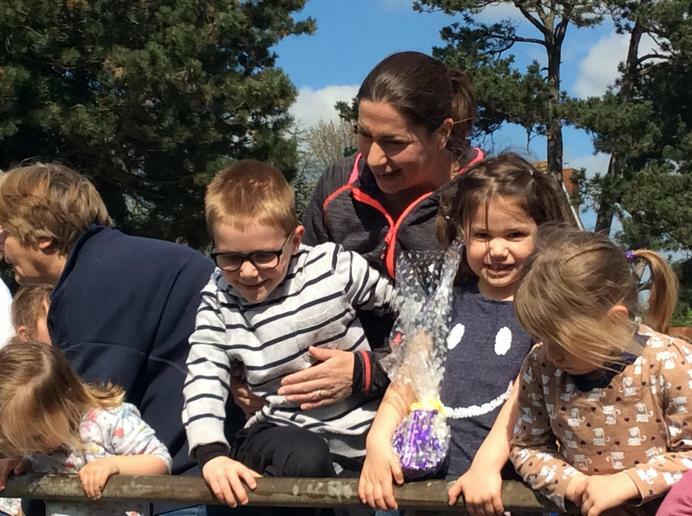 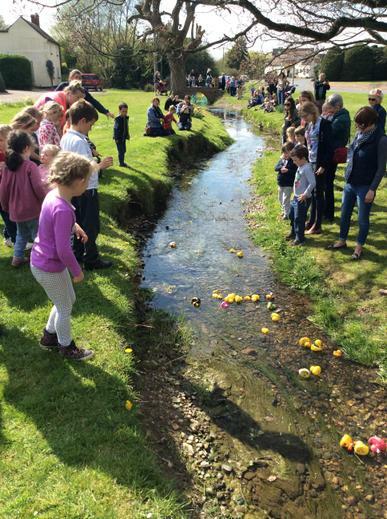 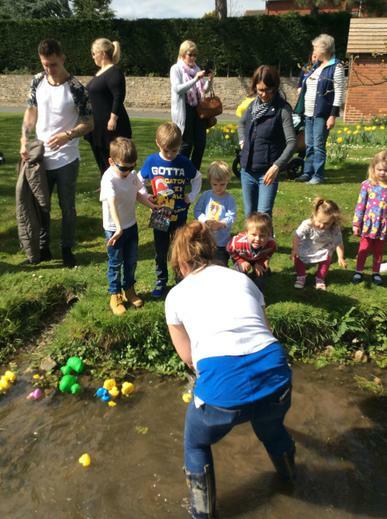 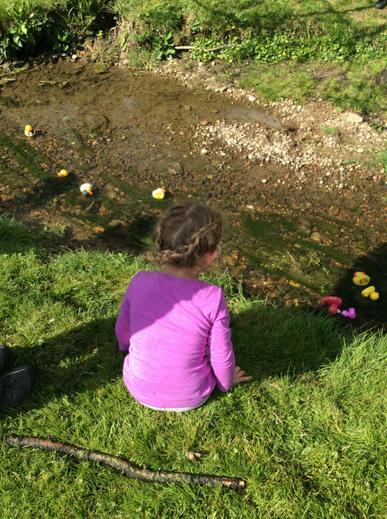 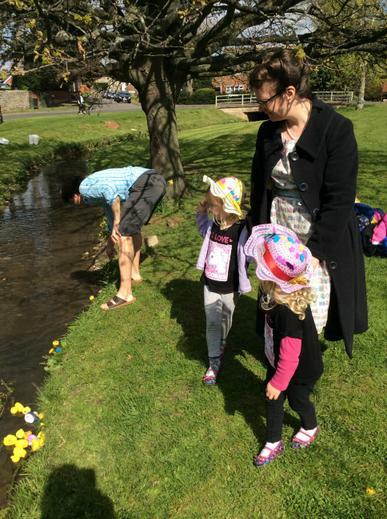 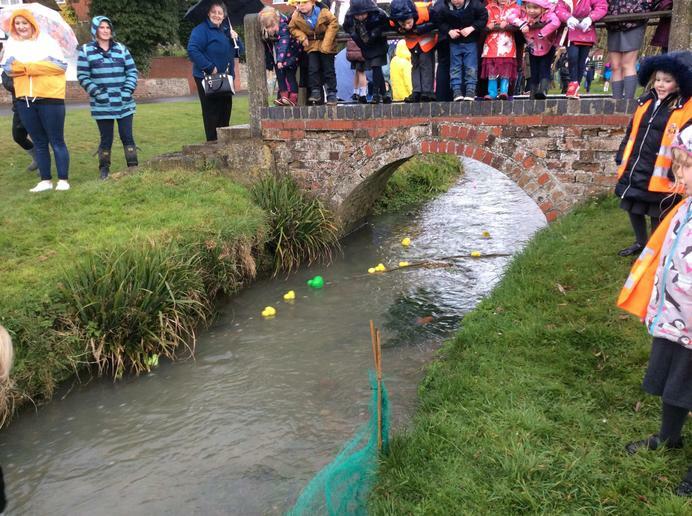 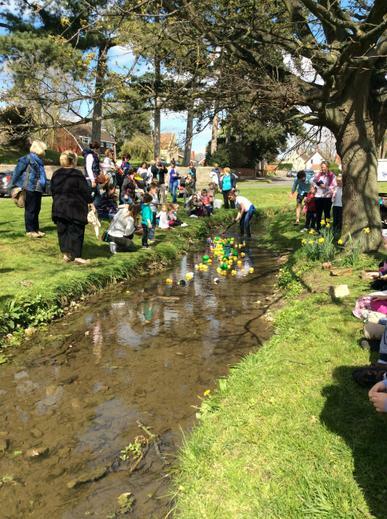 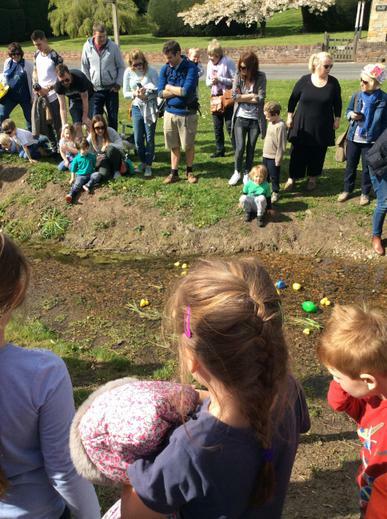 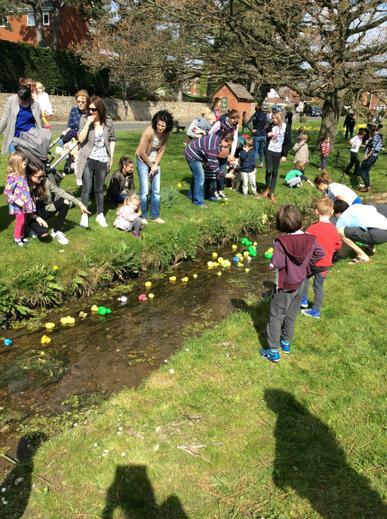 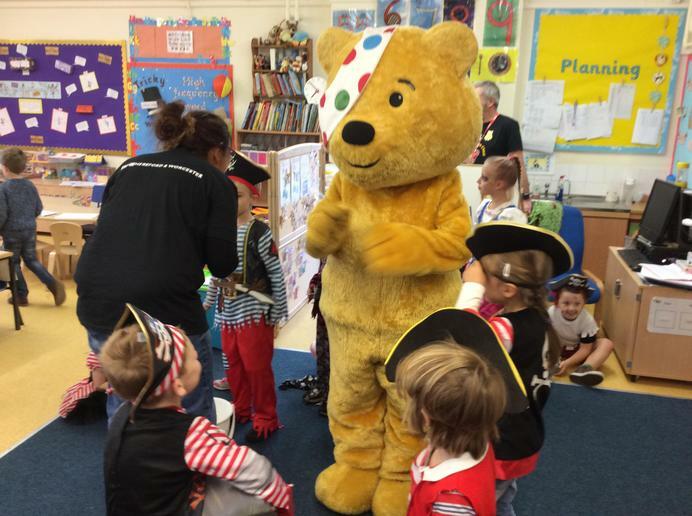 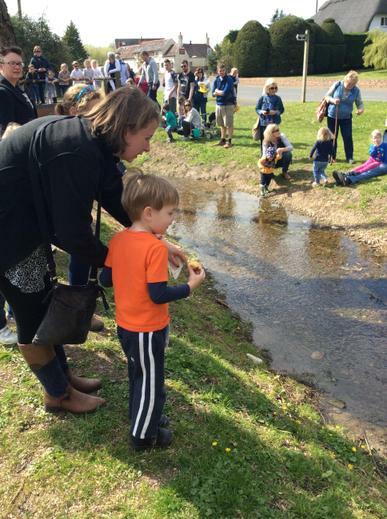 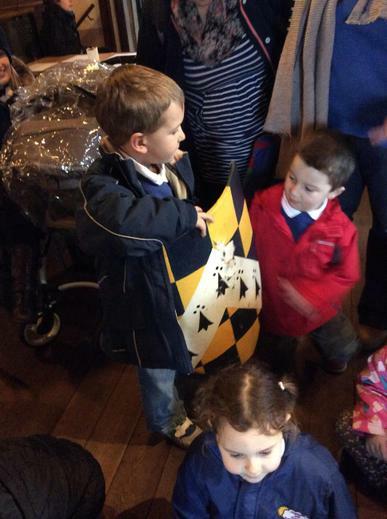 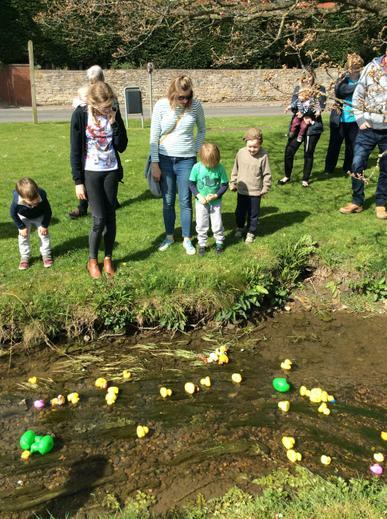 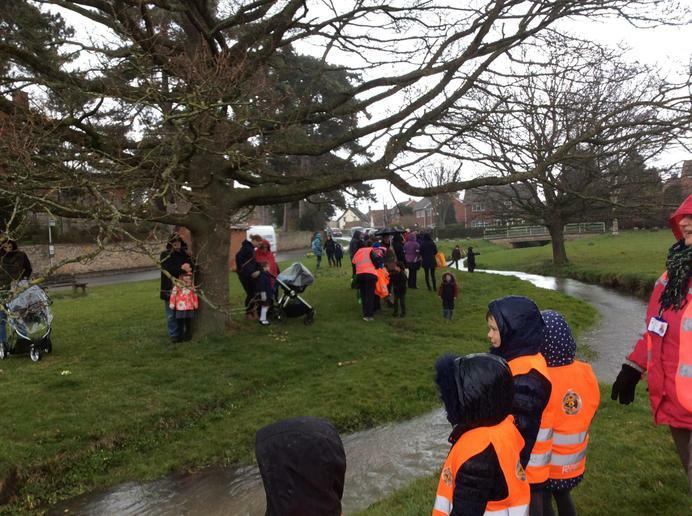 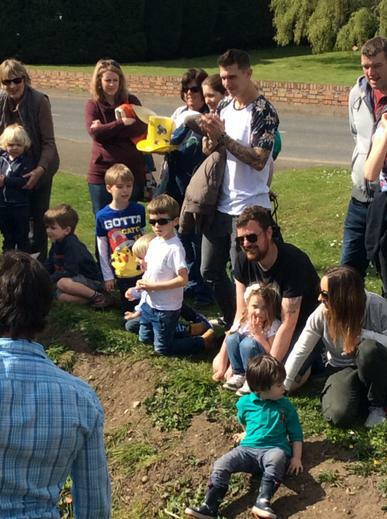 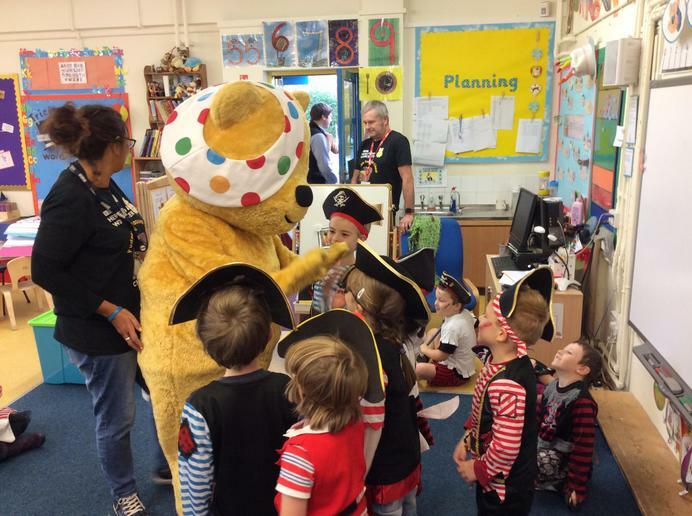 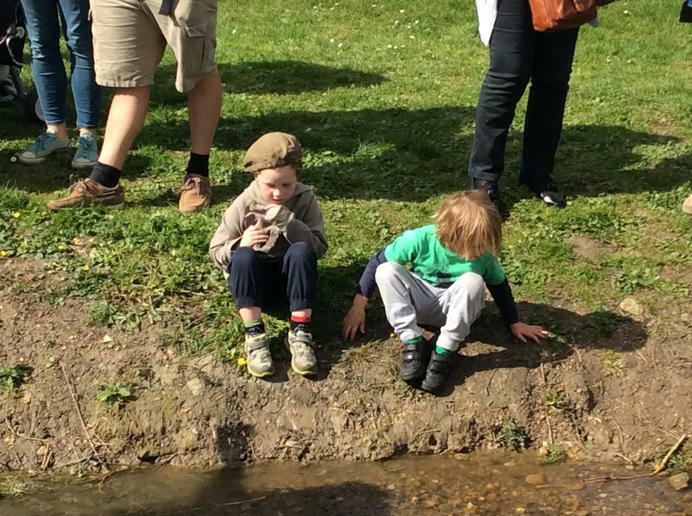 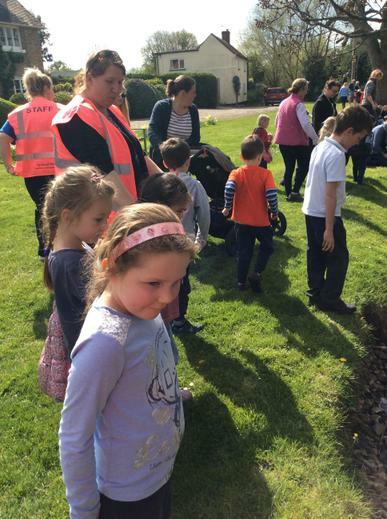 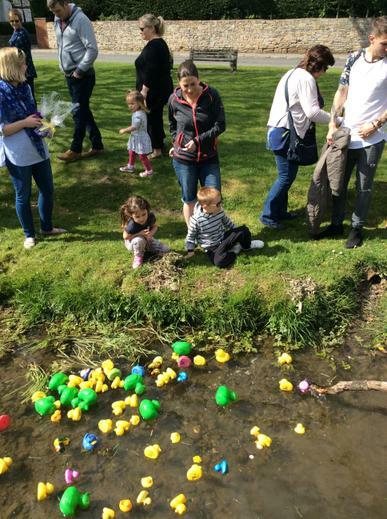 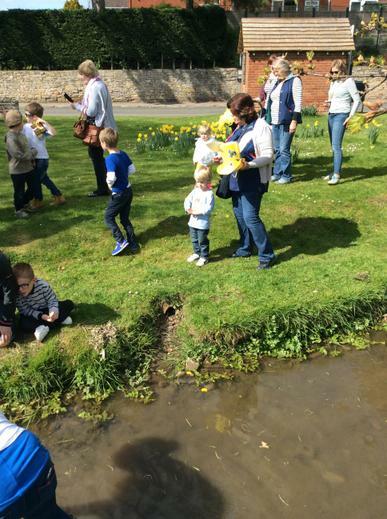 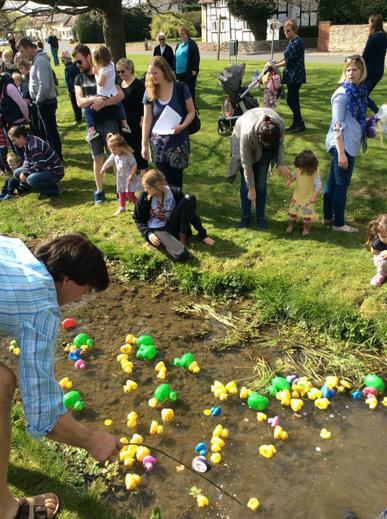 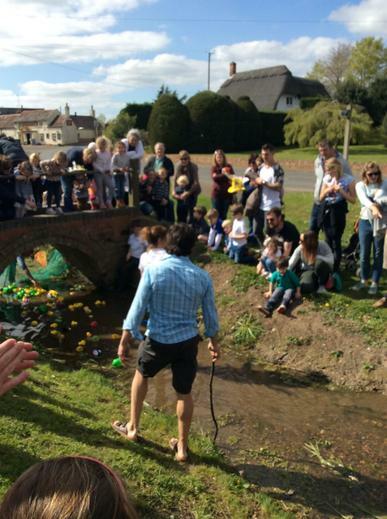 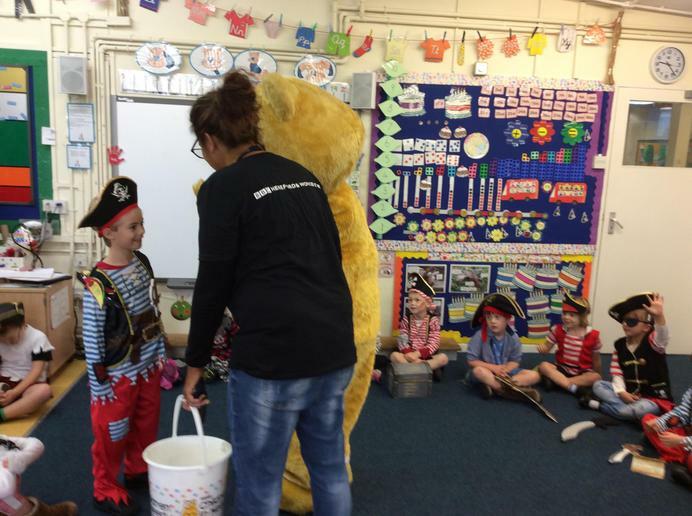 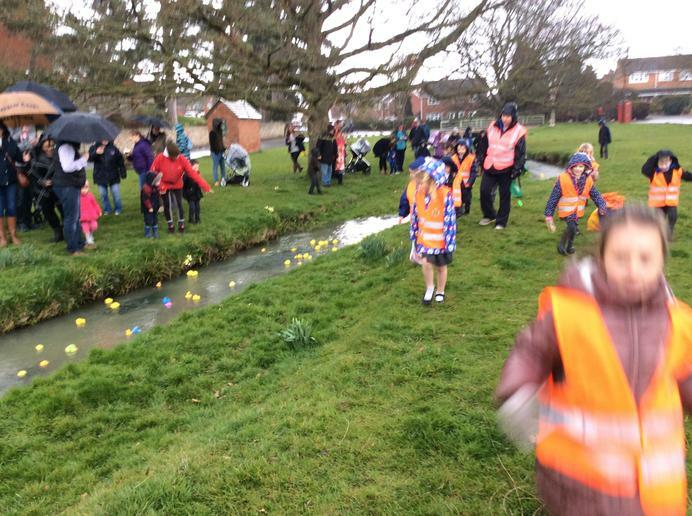 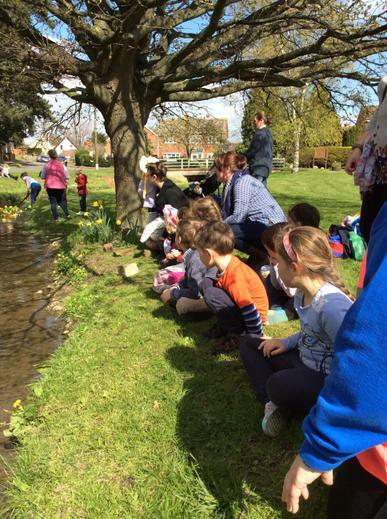 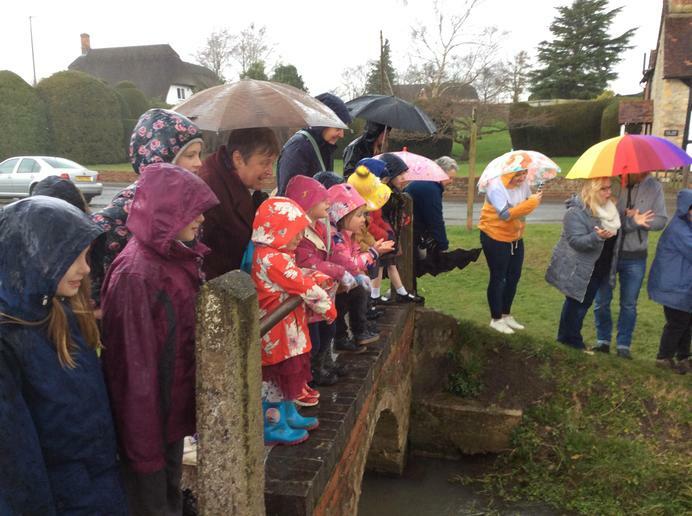 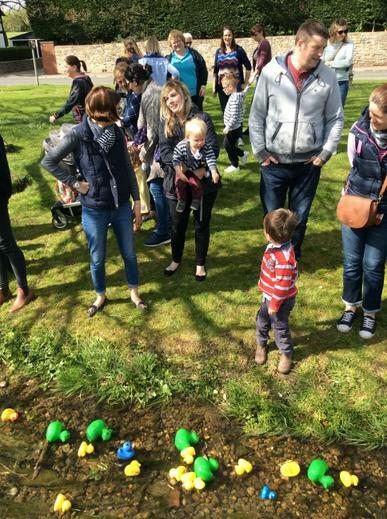 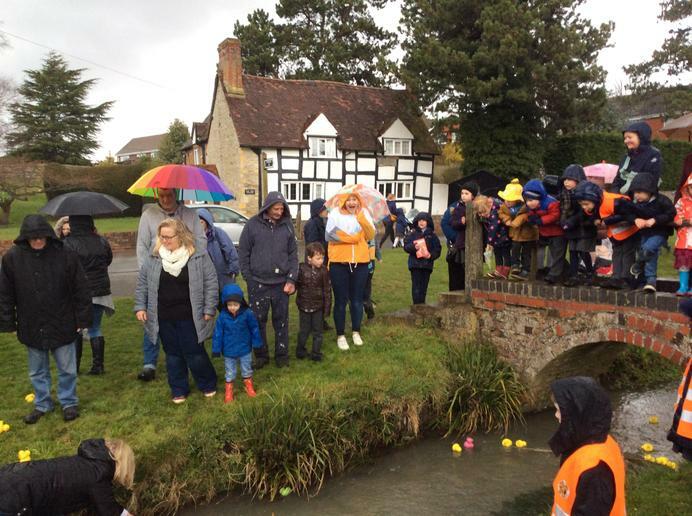 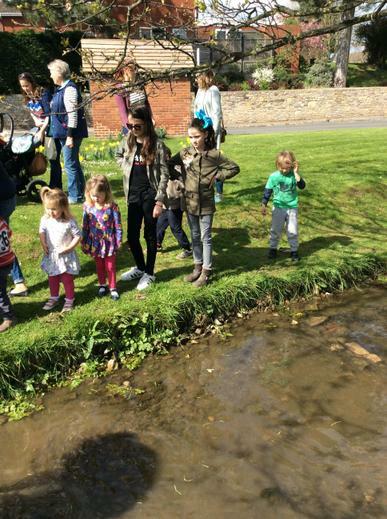 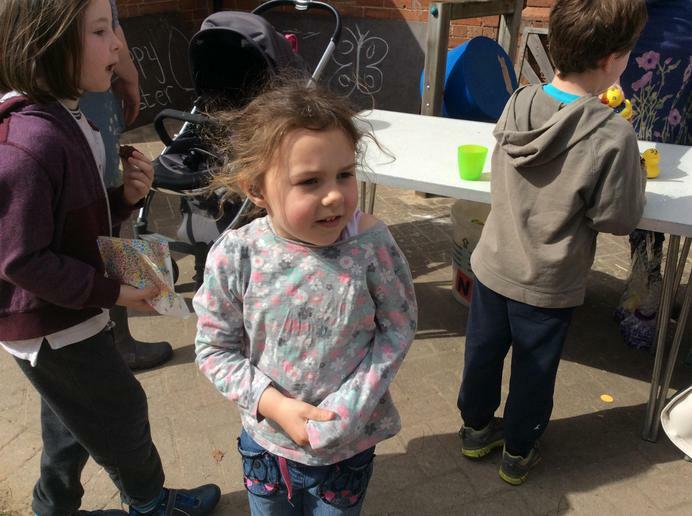 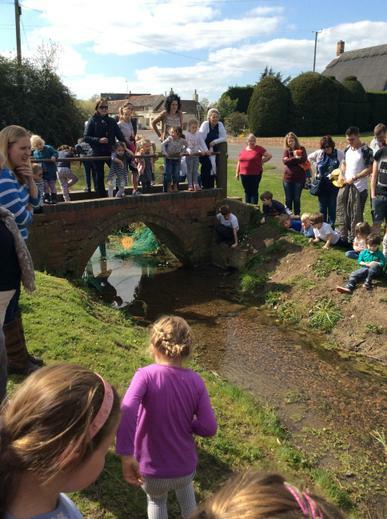 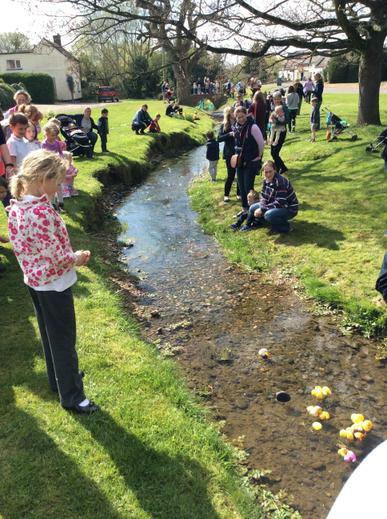 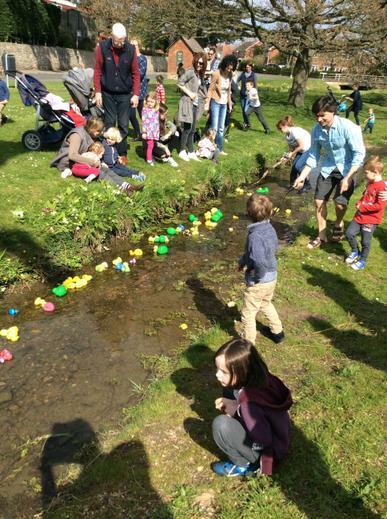 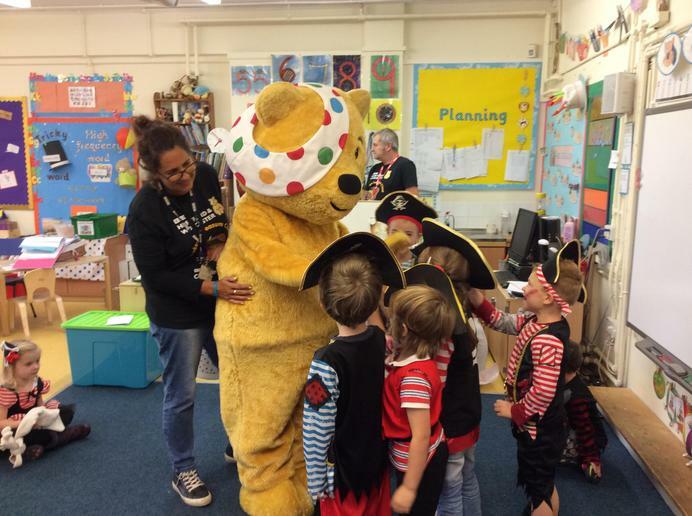 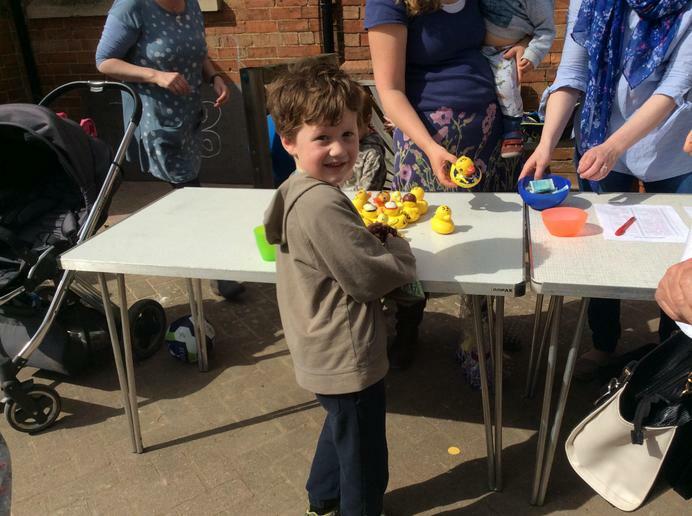 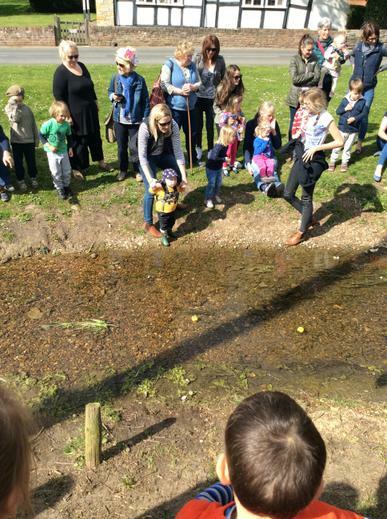 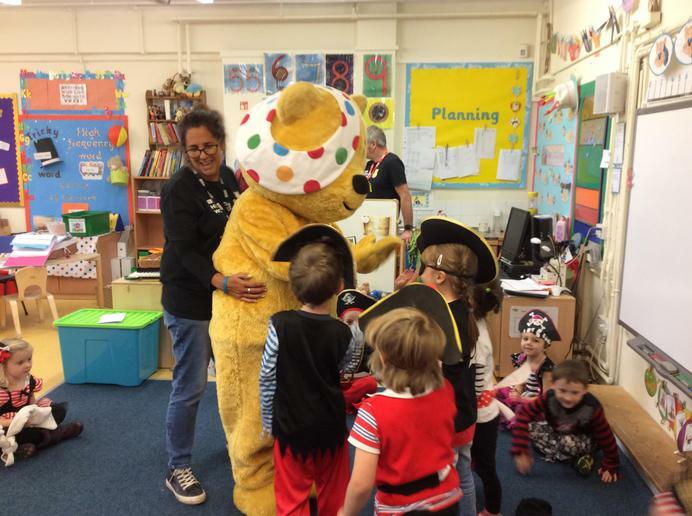 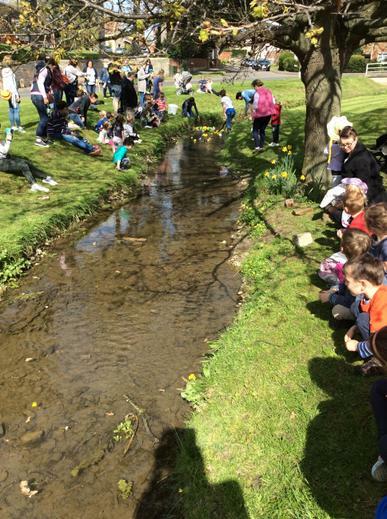 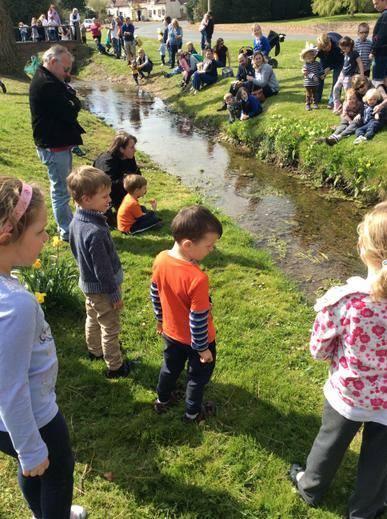 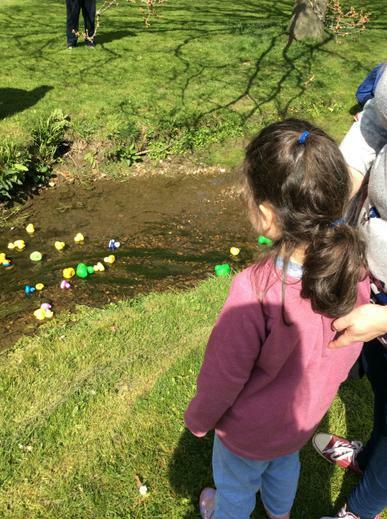 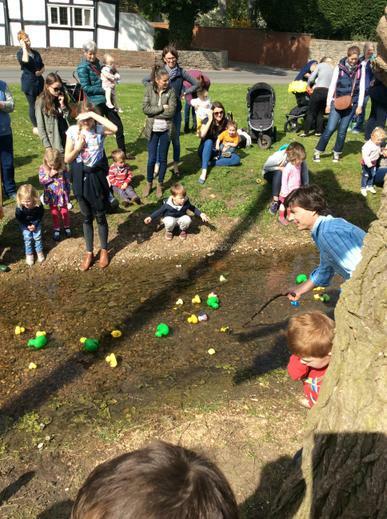 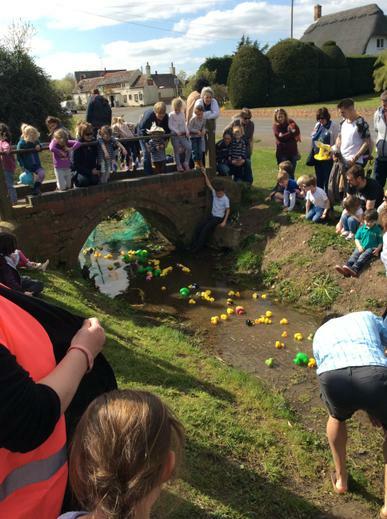 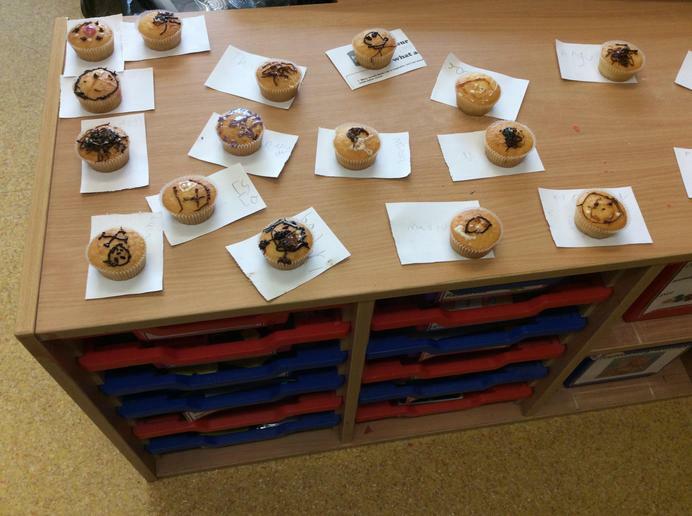 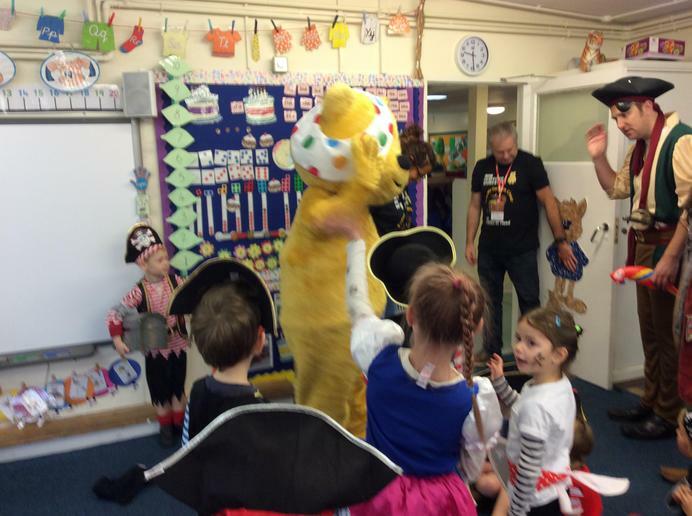 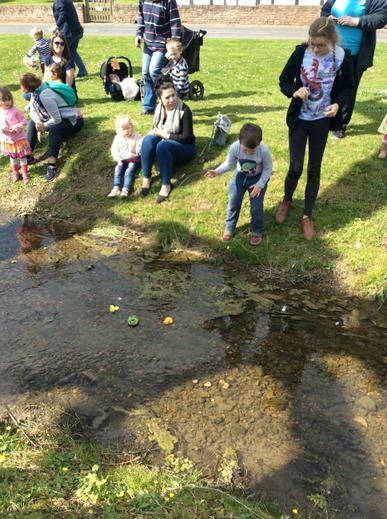 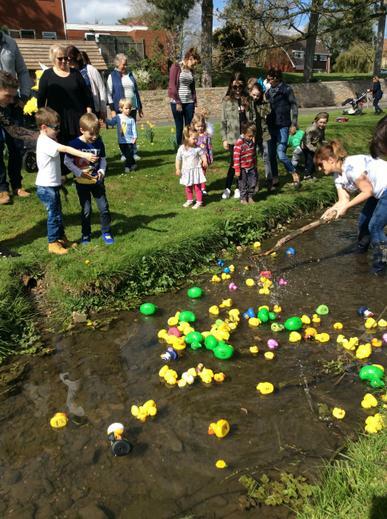 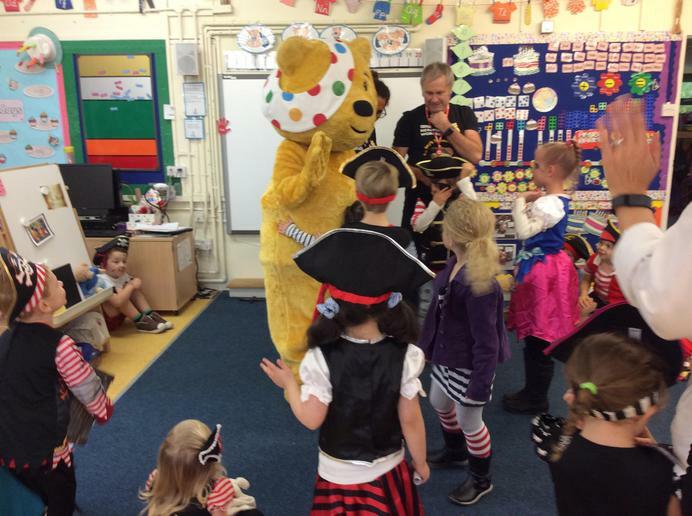 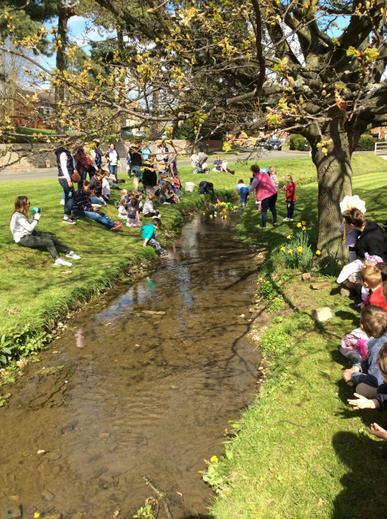 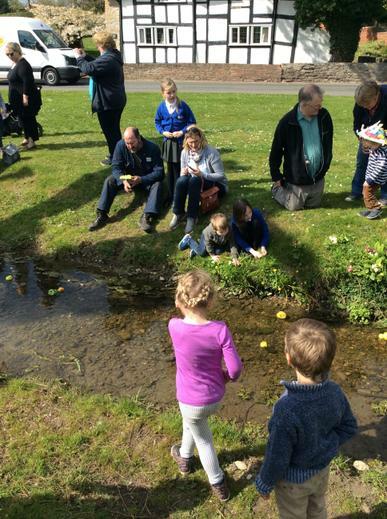 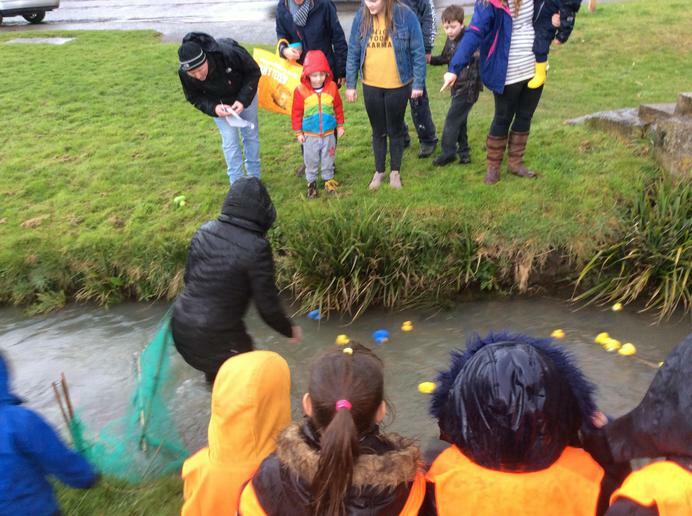 Cats class had a wonderful time at Charlton Pre-schools duck race this afternoon, lots of cakes, raffles and ducks! 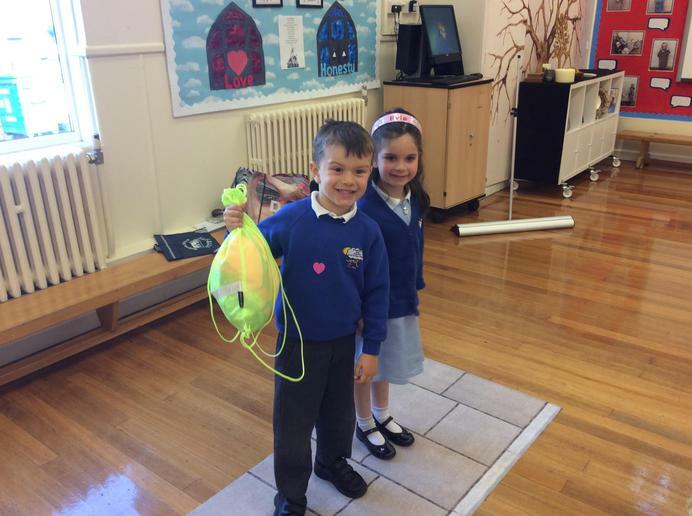 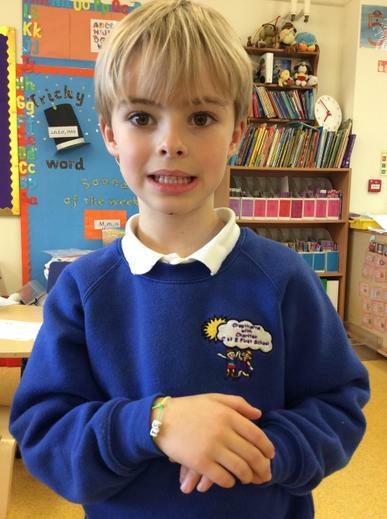 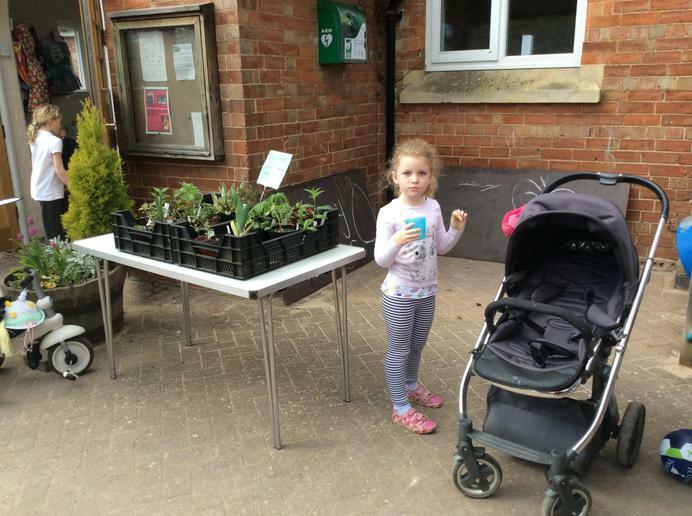 We even had a winner! 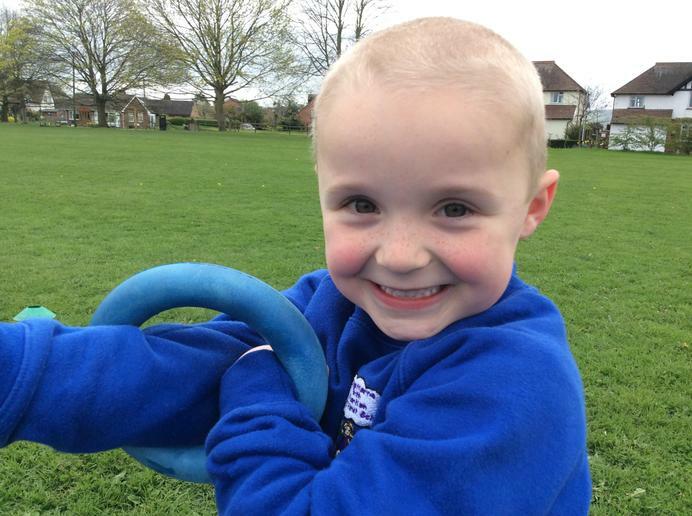 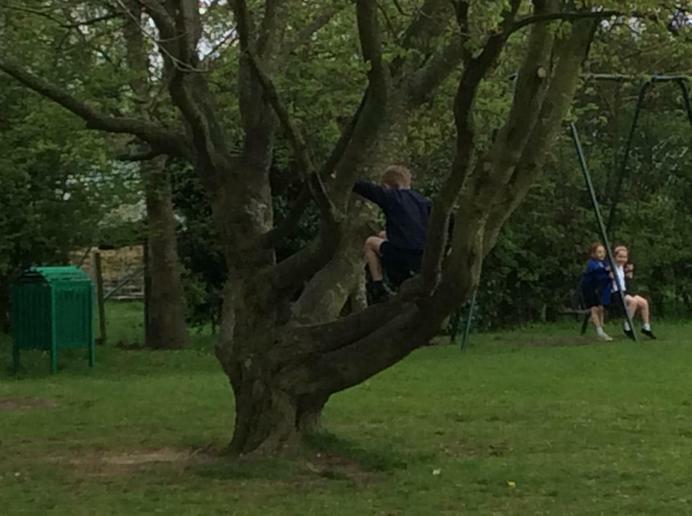 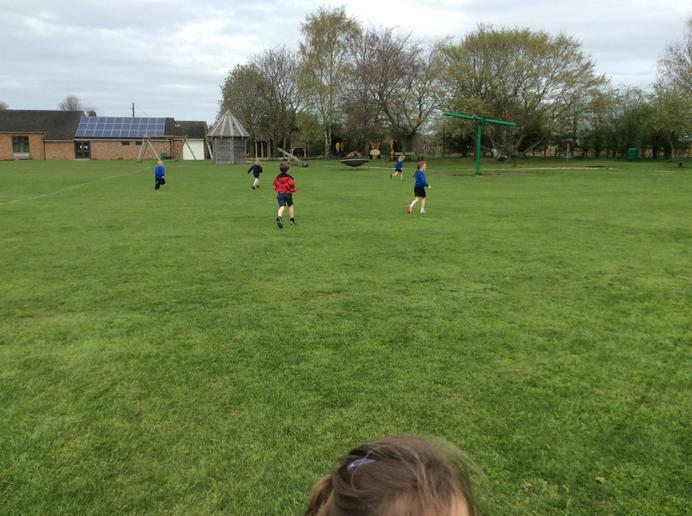 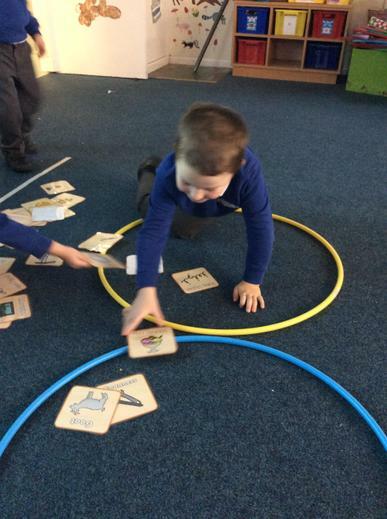 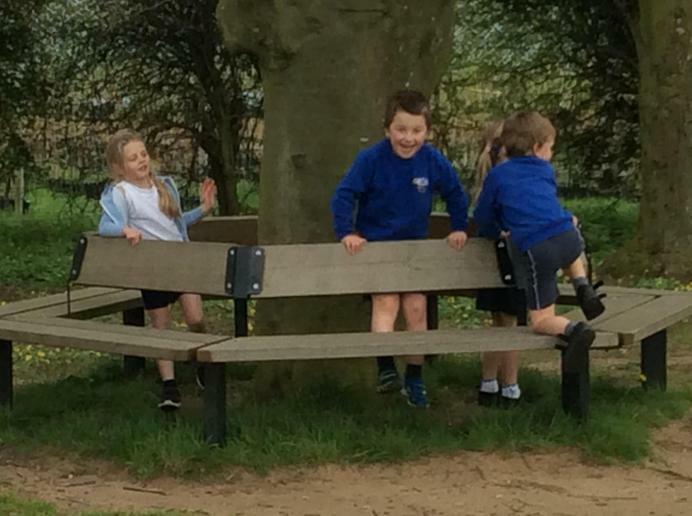 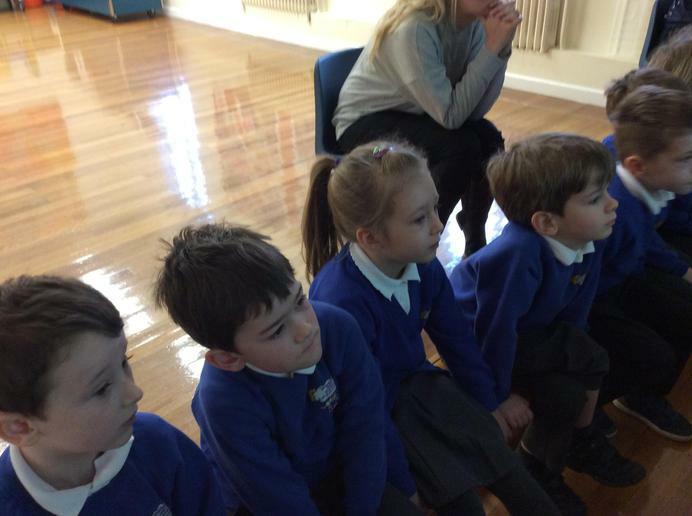 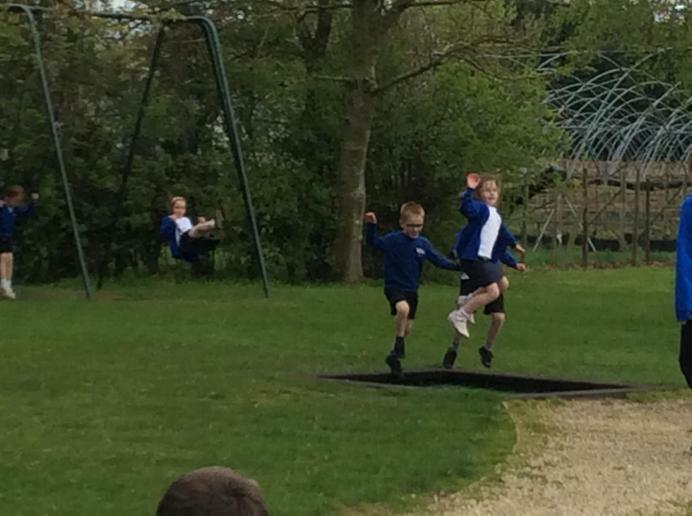 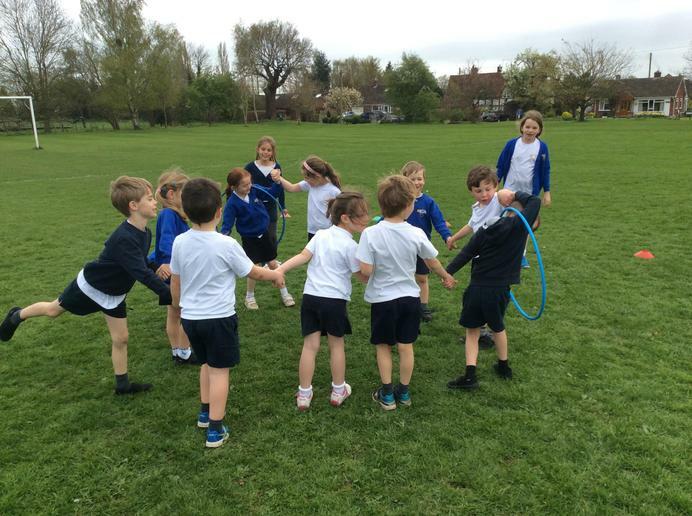 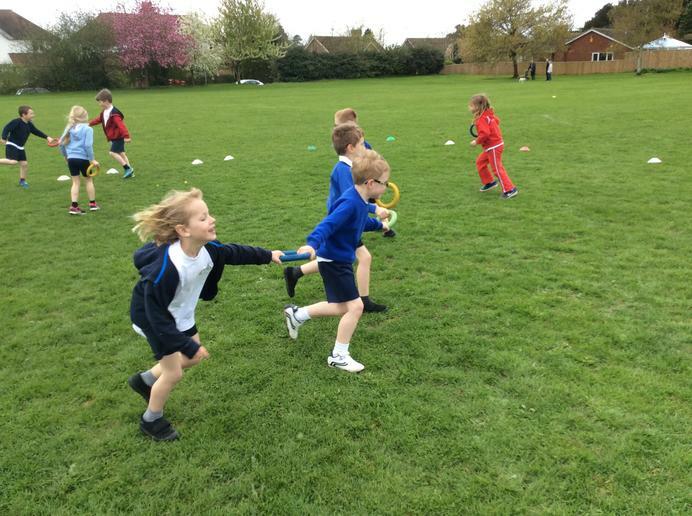 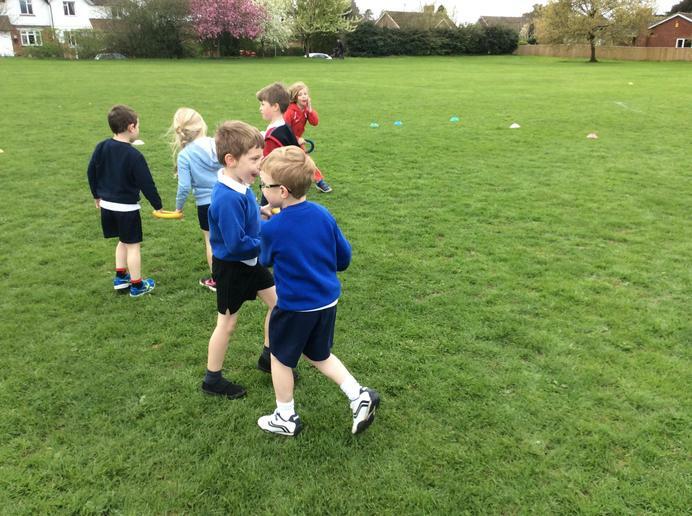 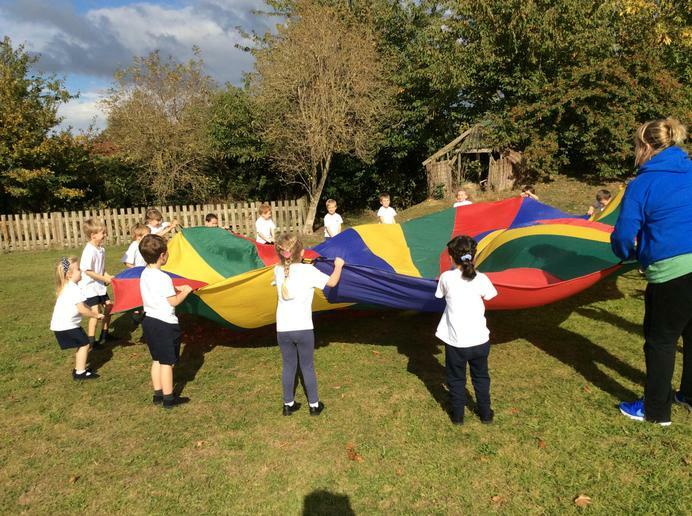 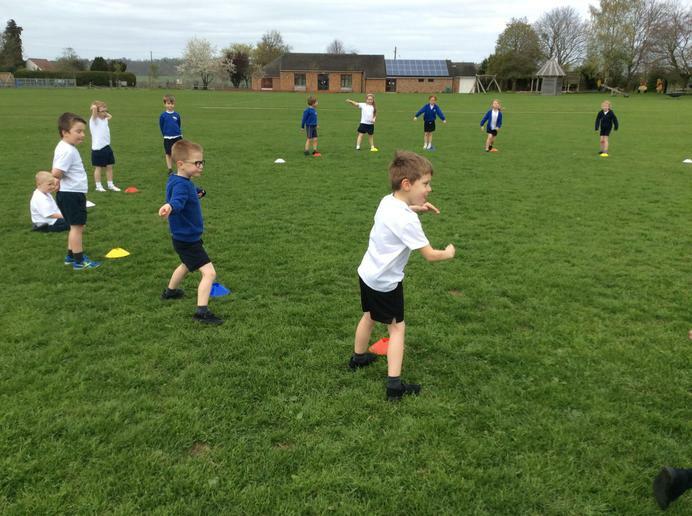 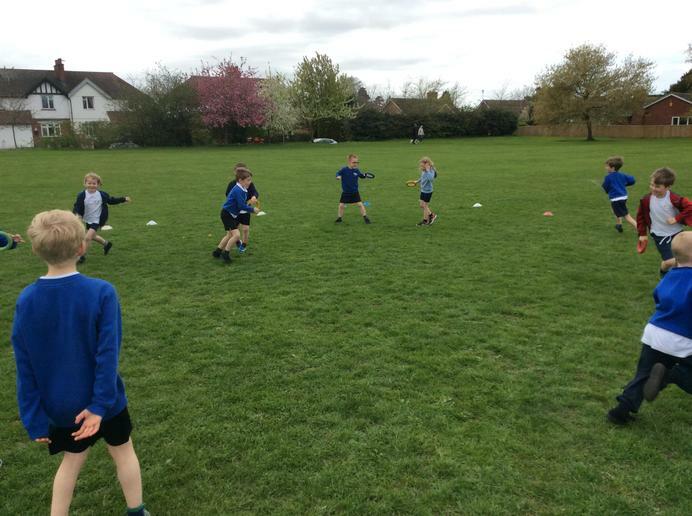 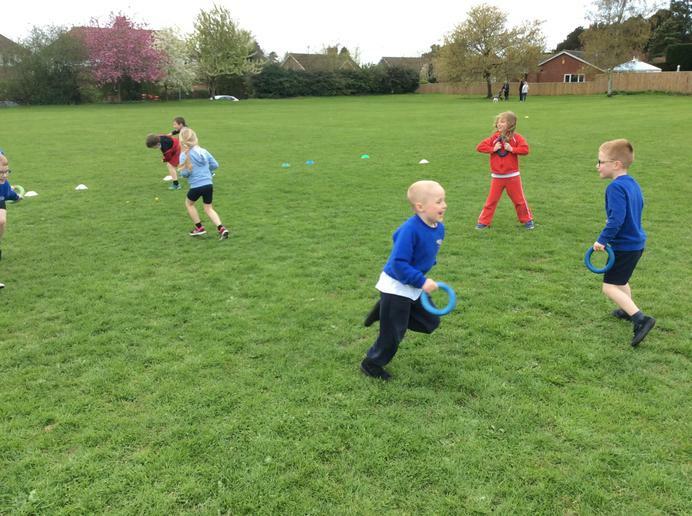 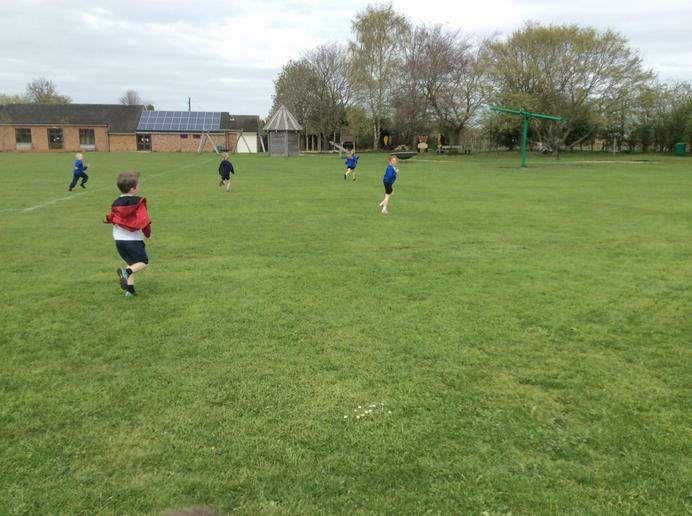 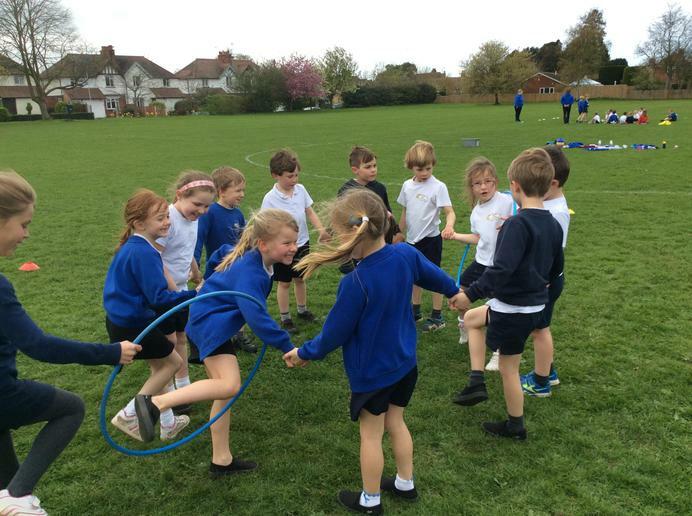 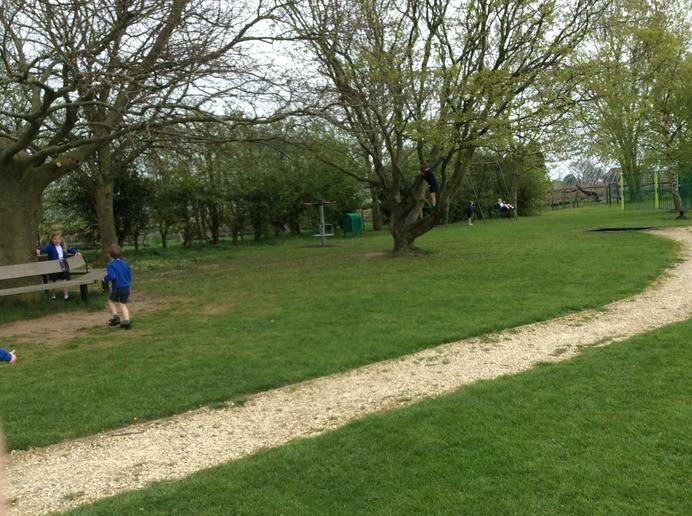 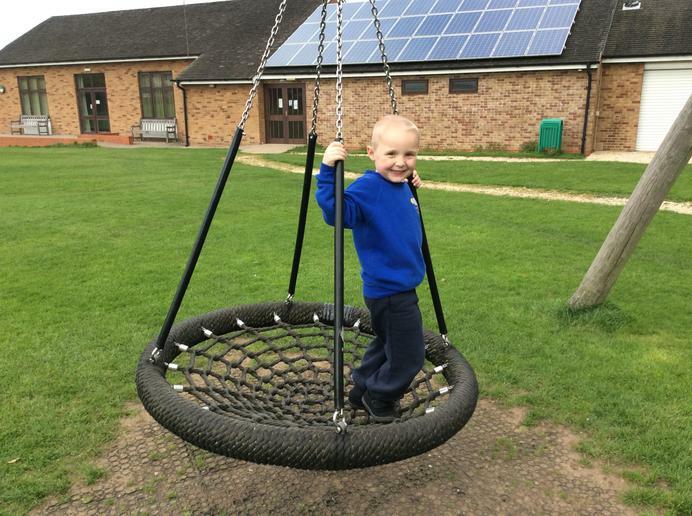 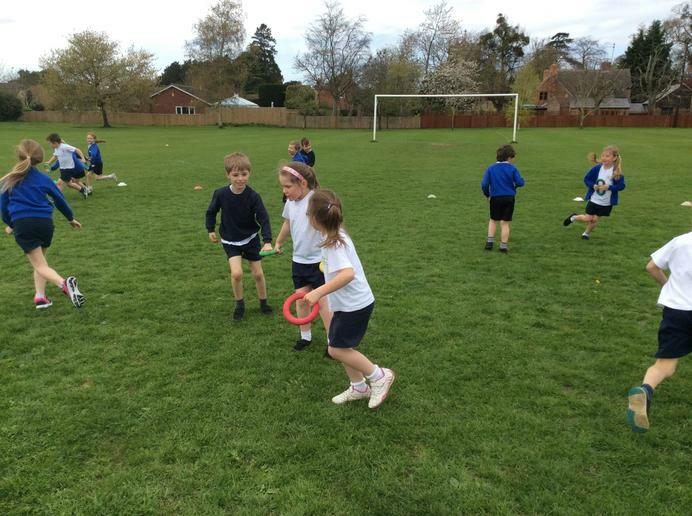 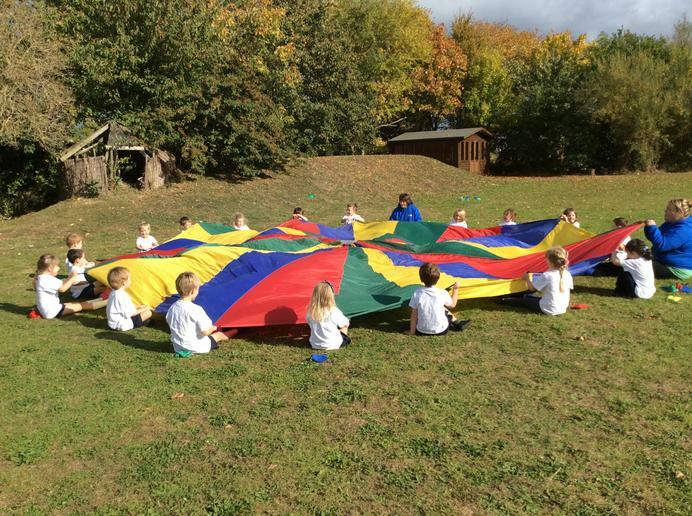 Year Ones had a lovely afternoon at the Sheppey playing different games. 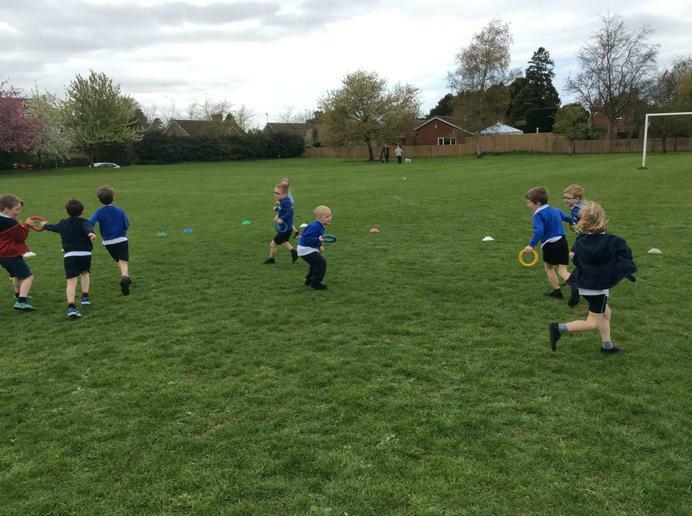 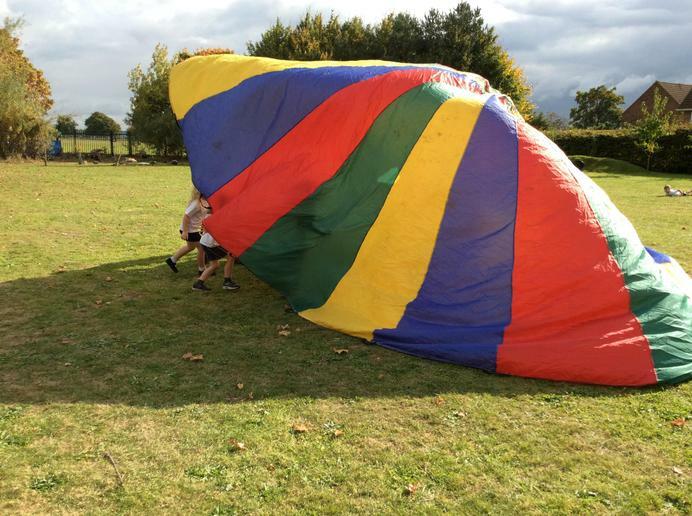 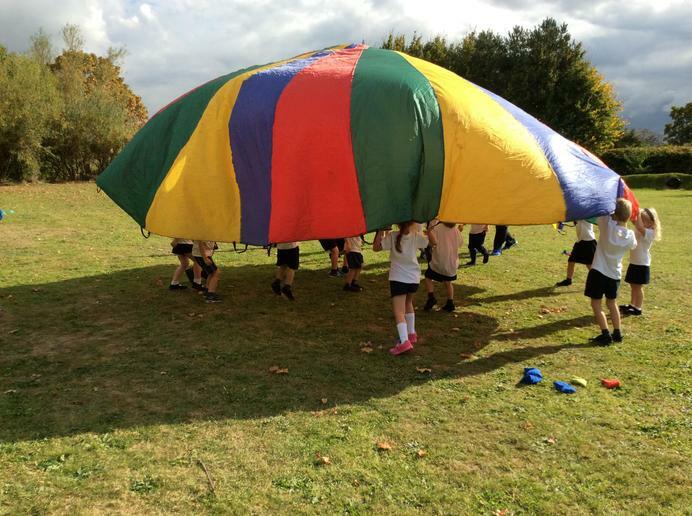 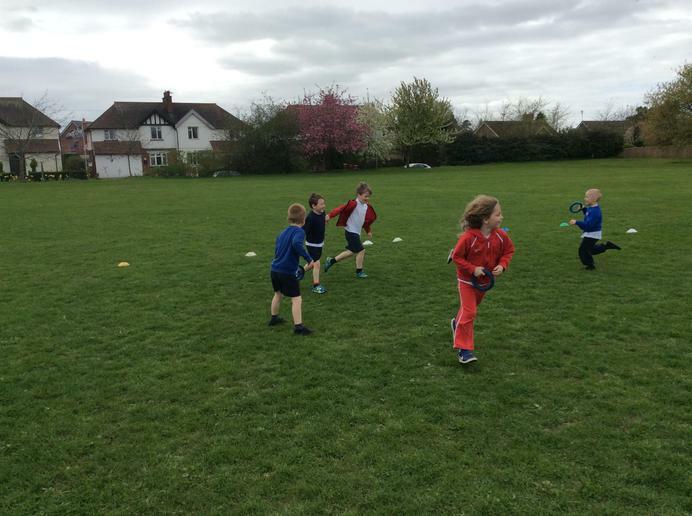 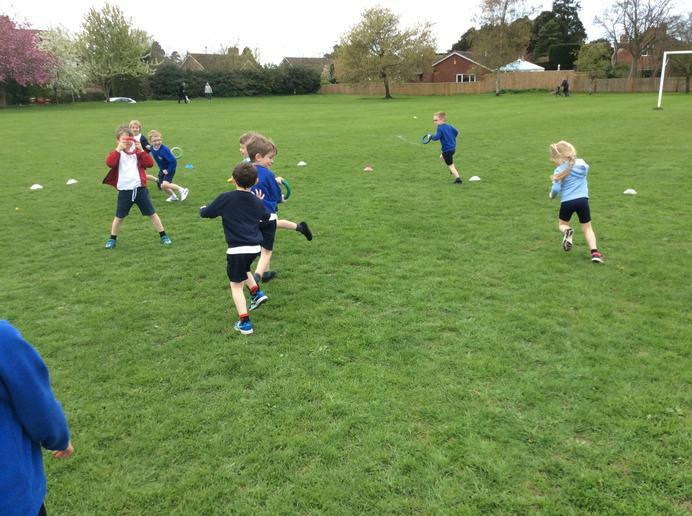 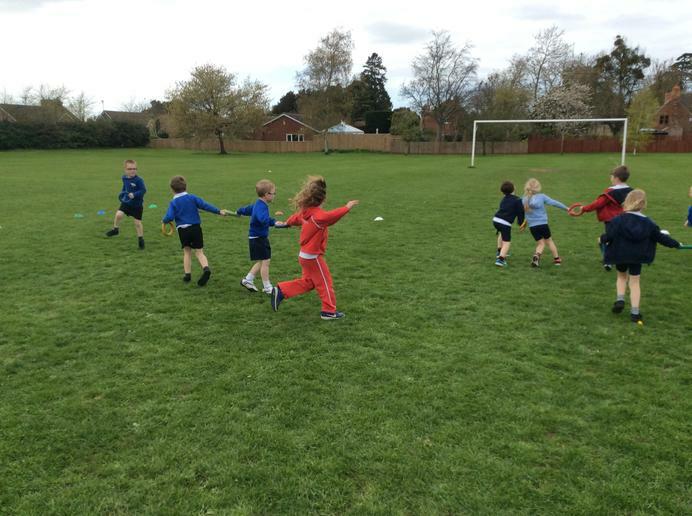 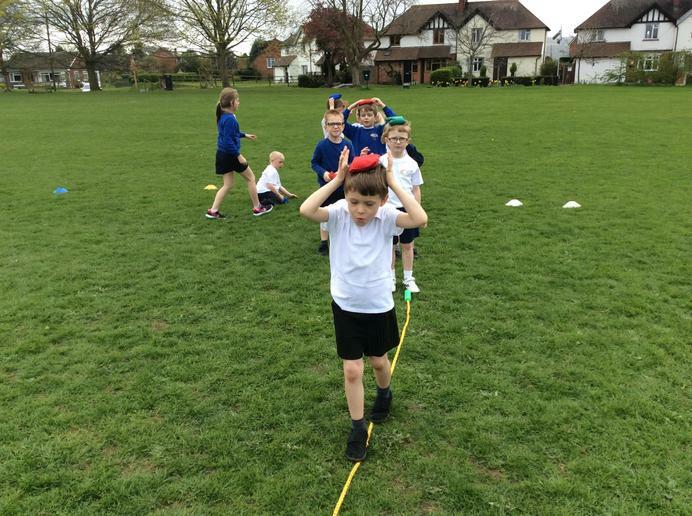 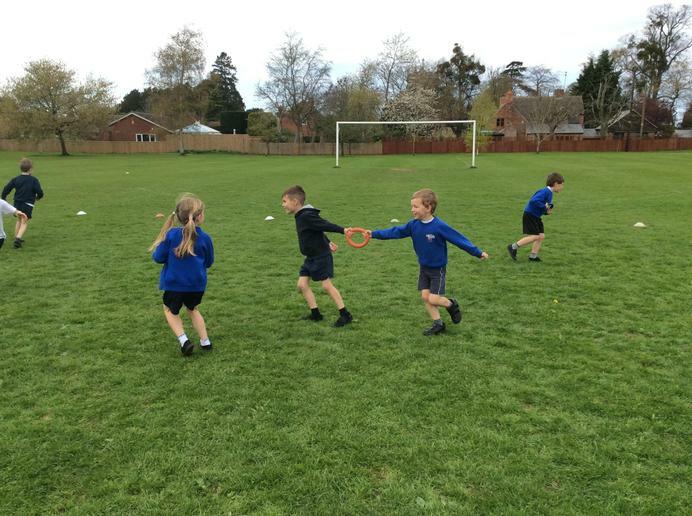 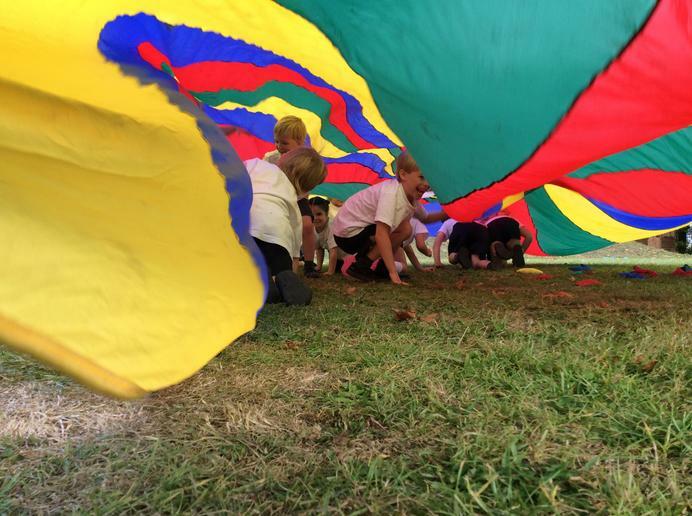 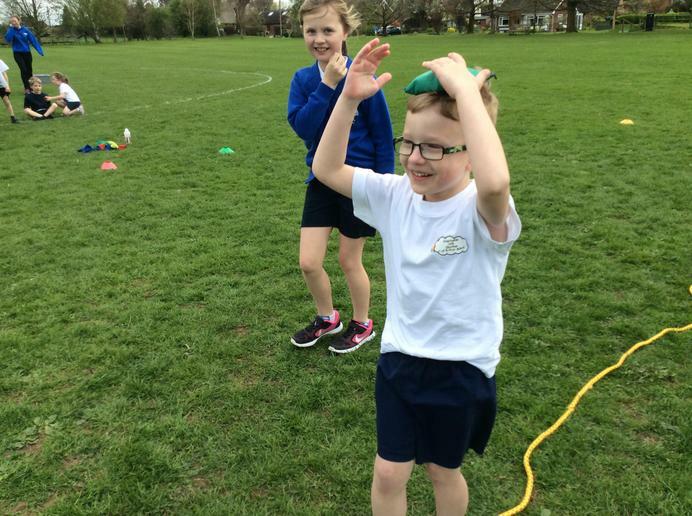 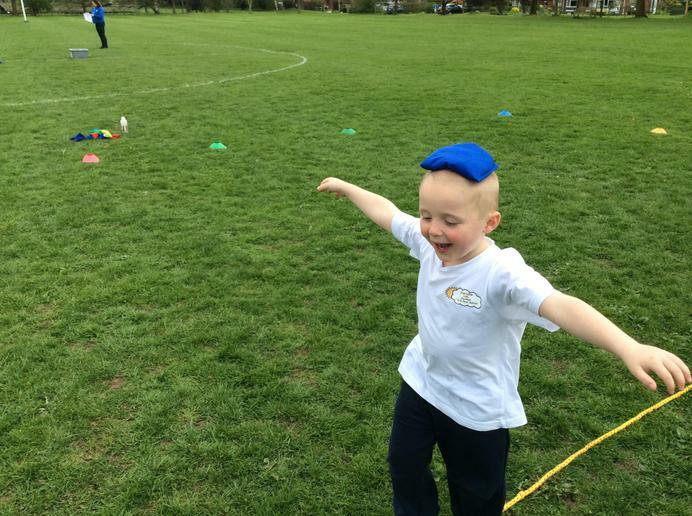 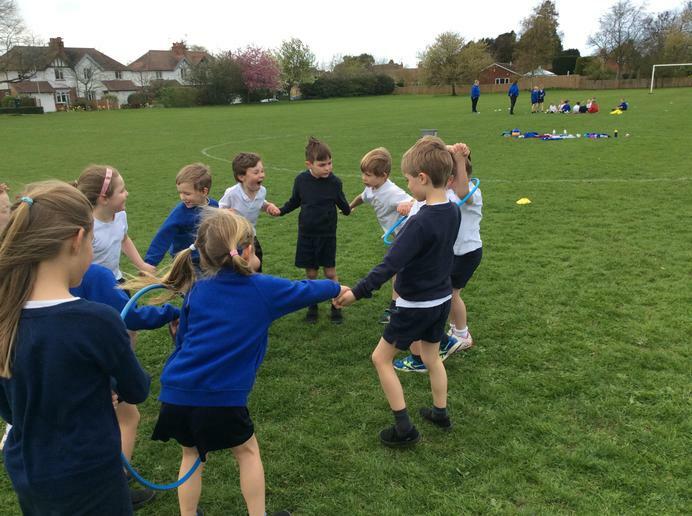 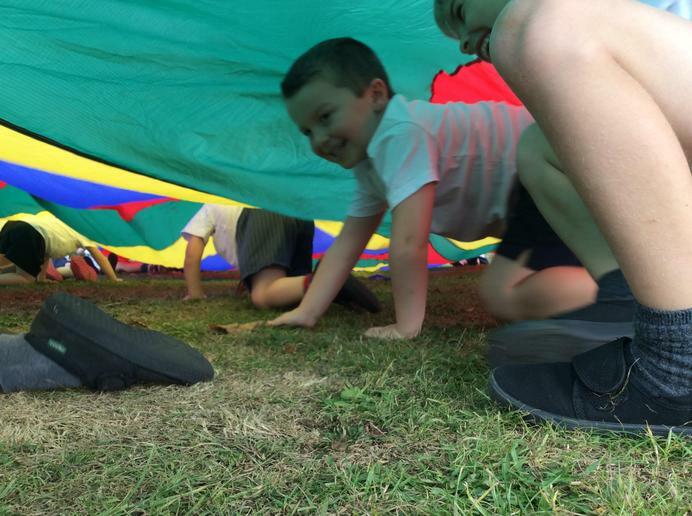 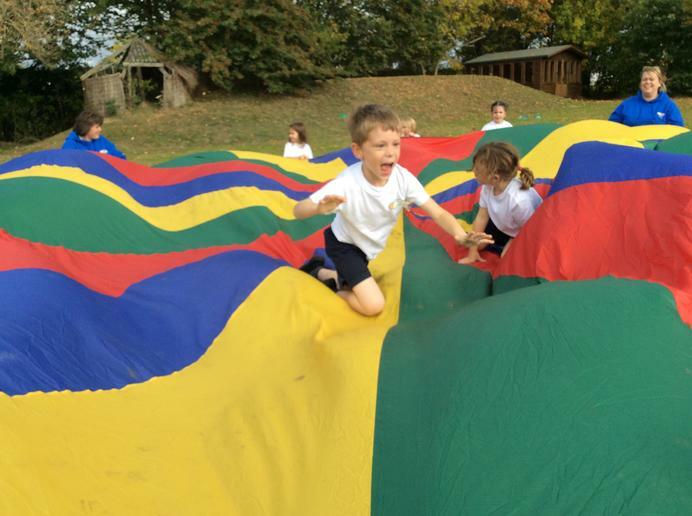 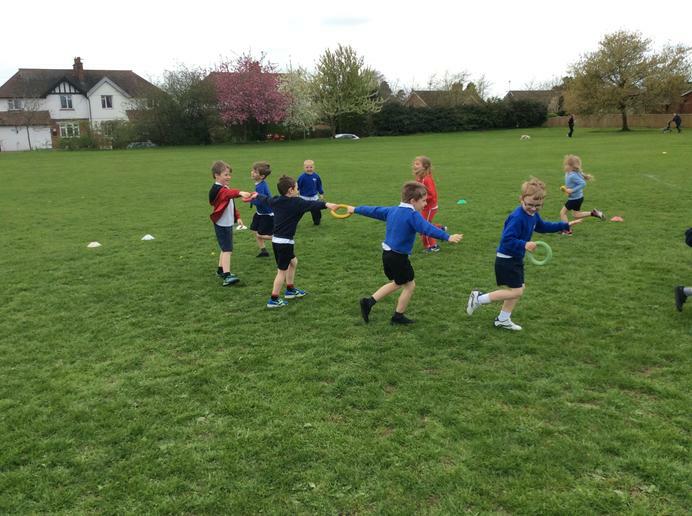 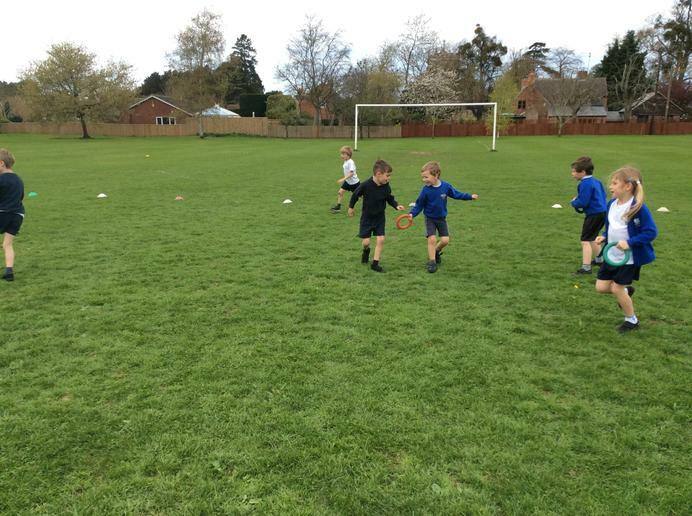 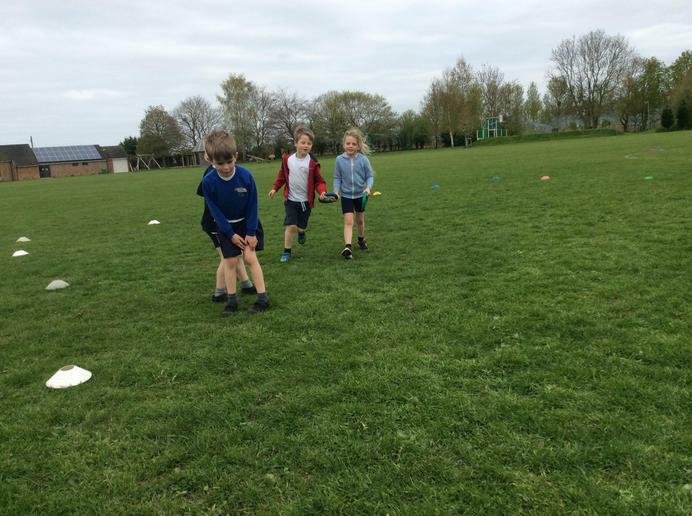 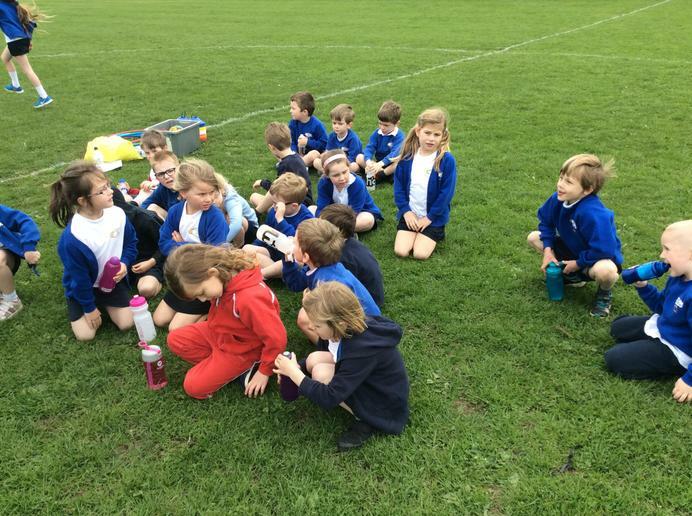 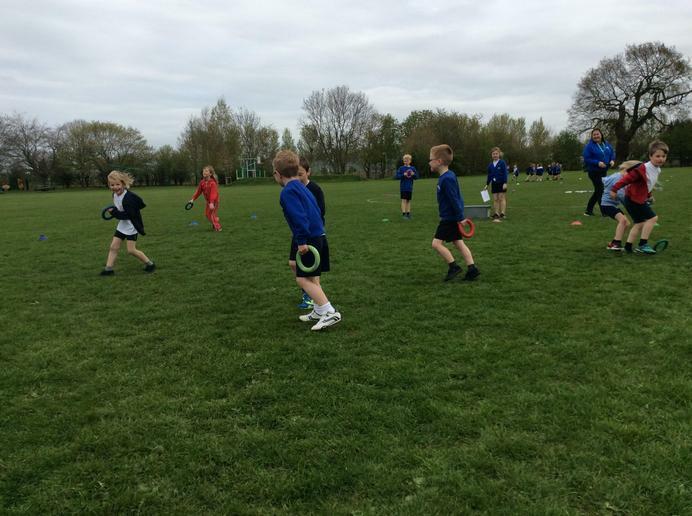 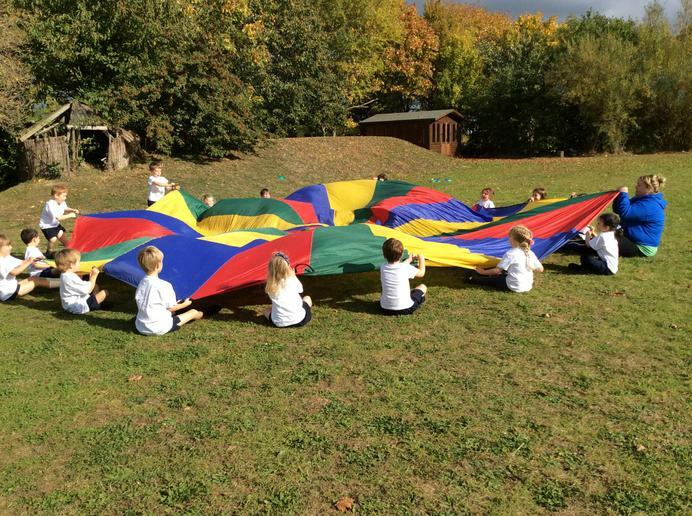 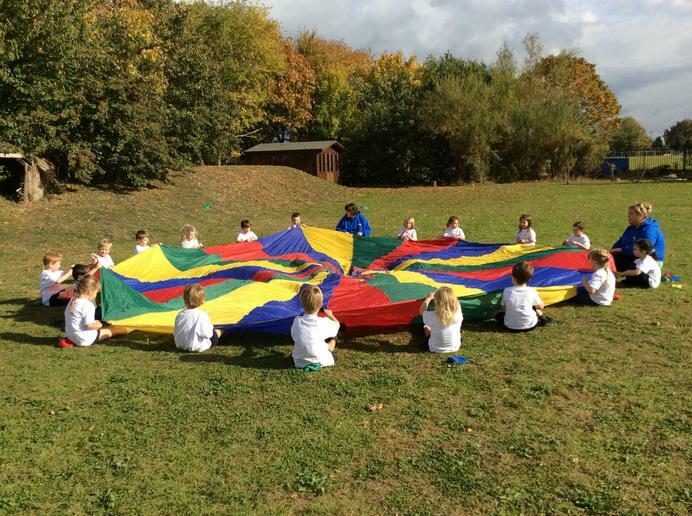 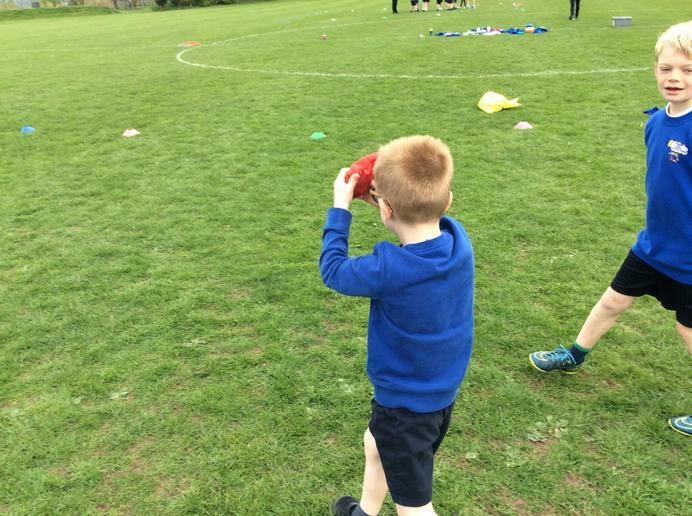 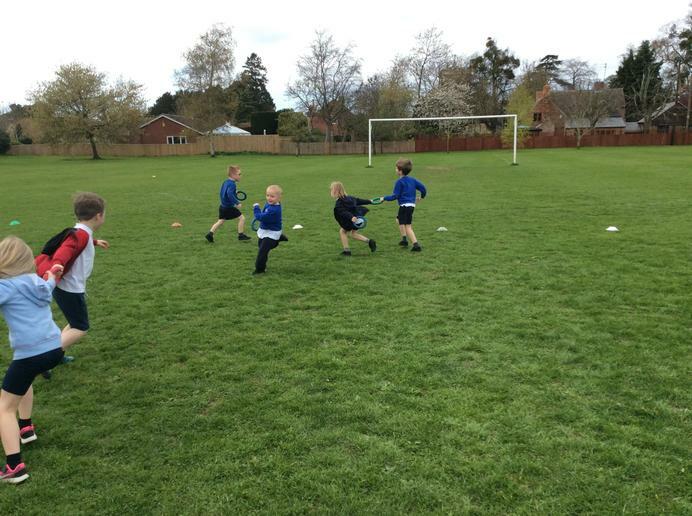 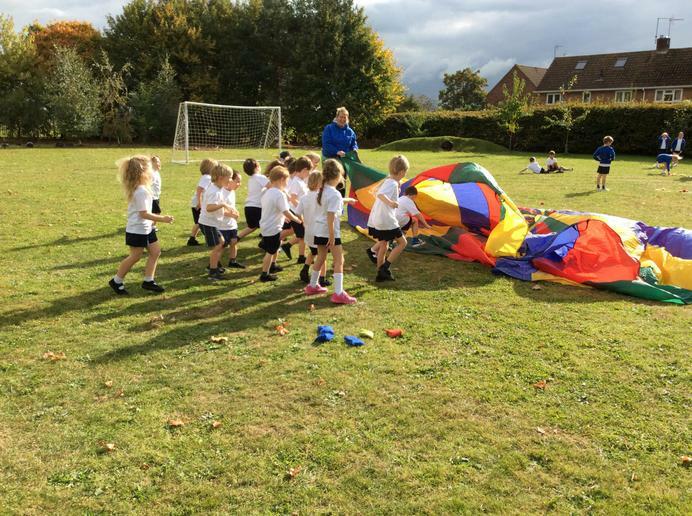 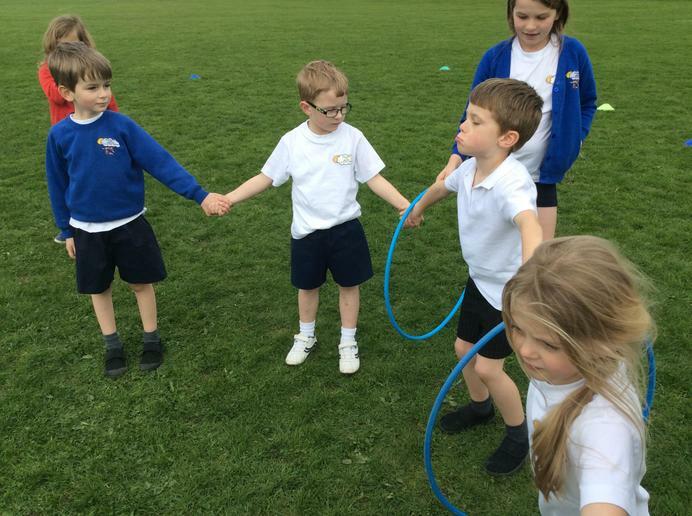 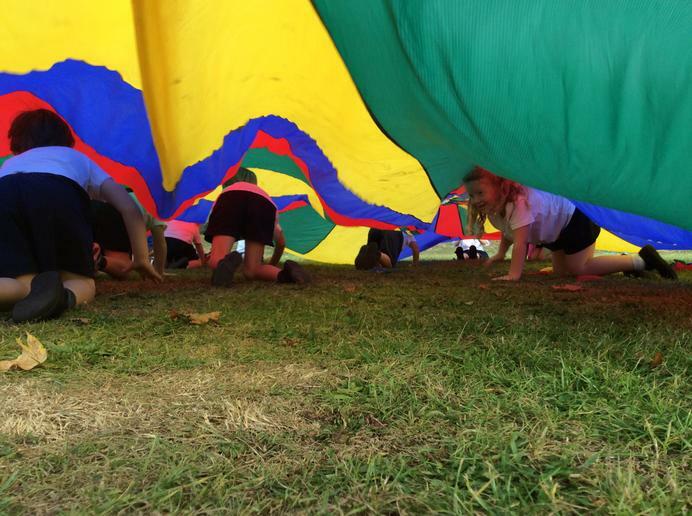 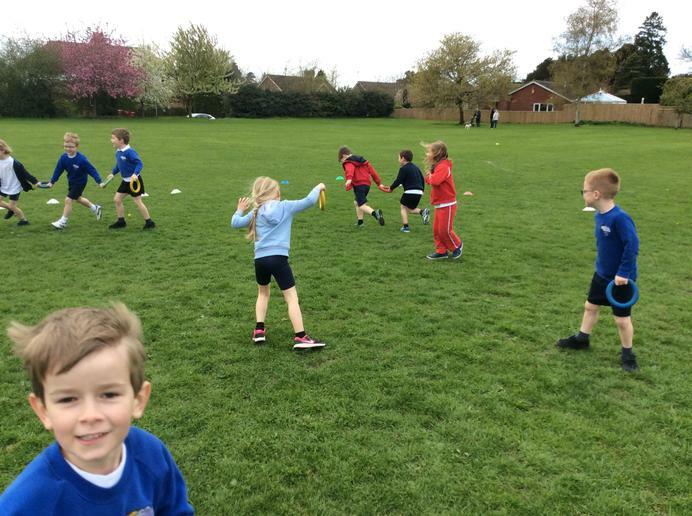 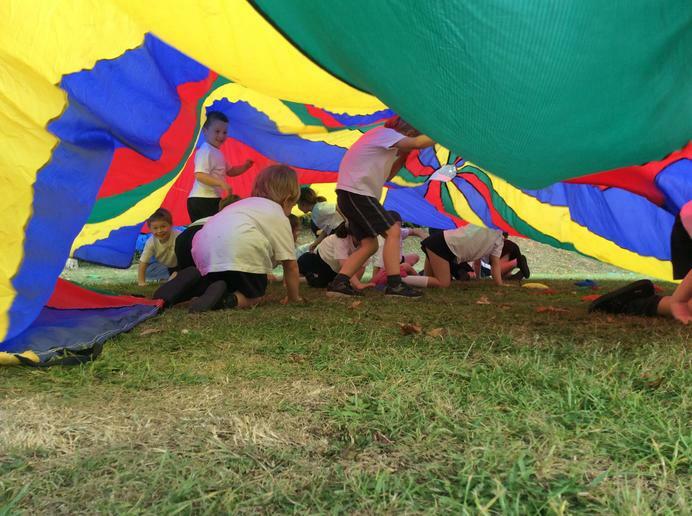 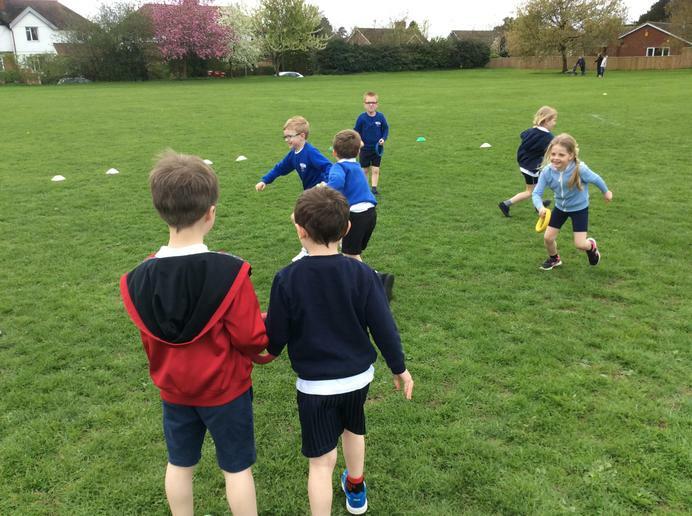 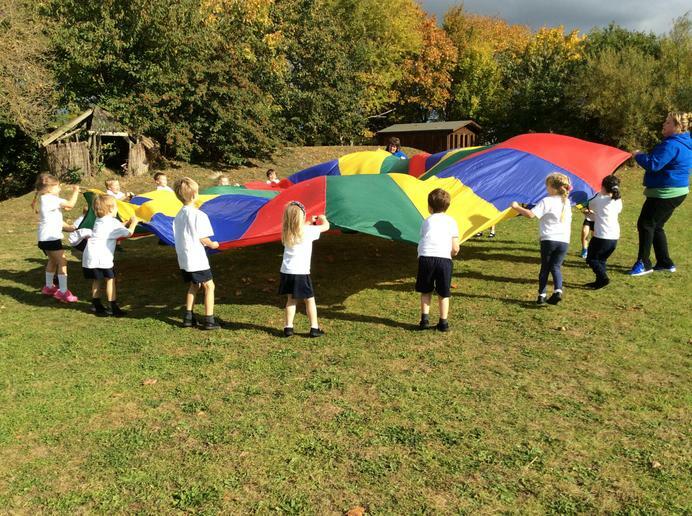 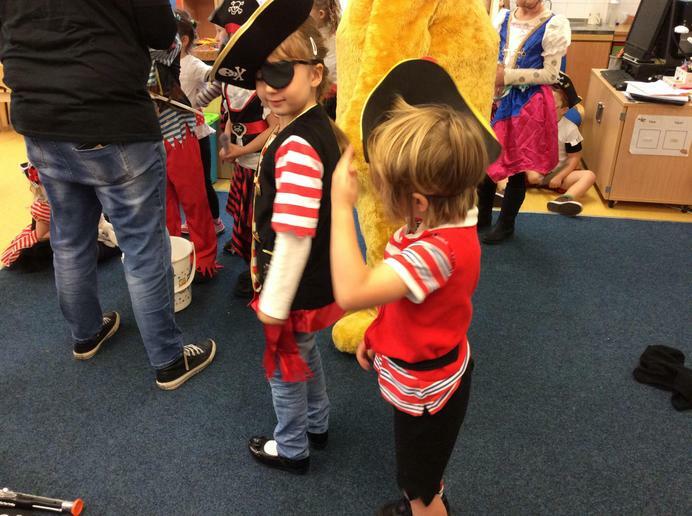 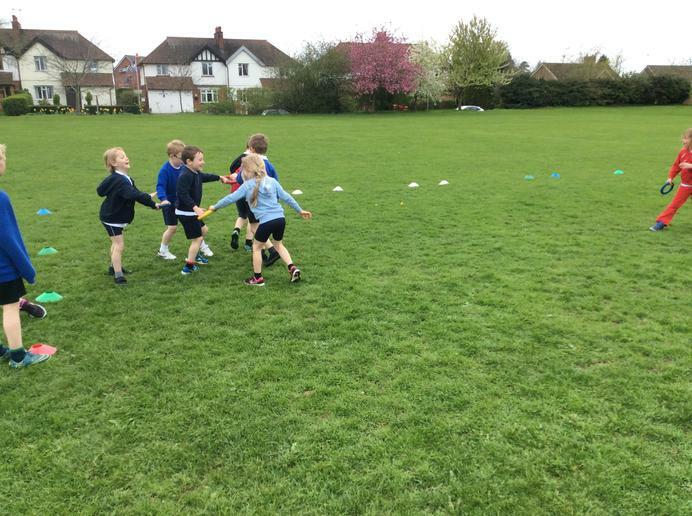 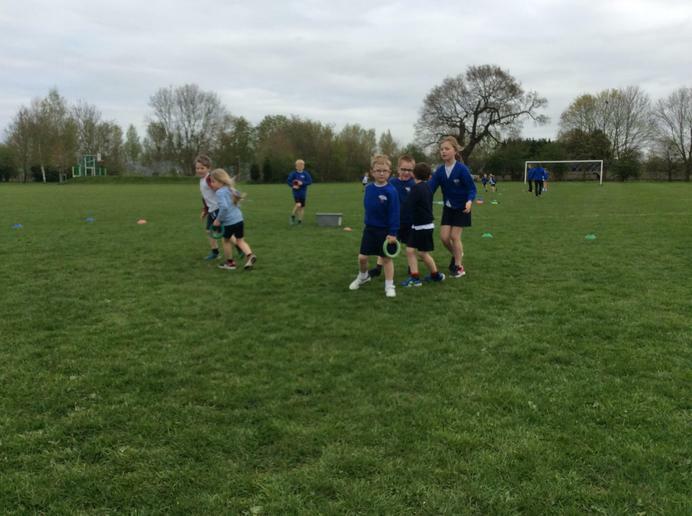 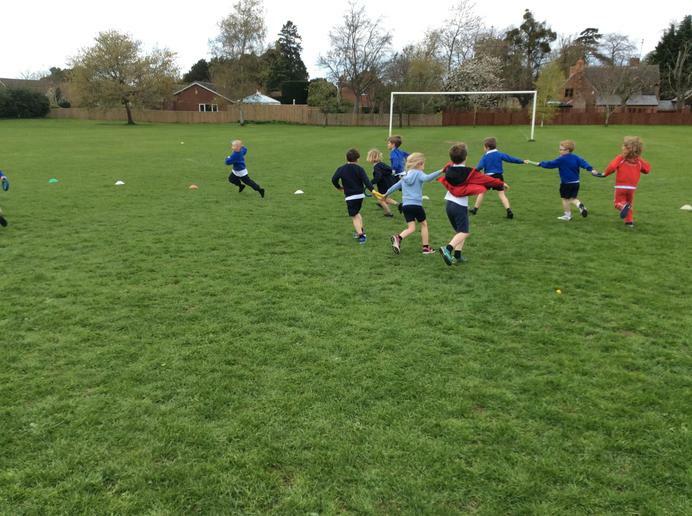 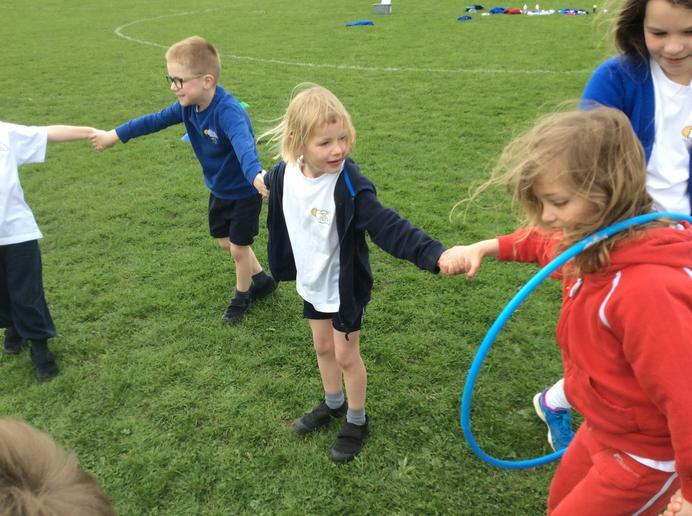 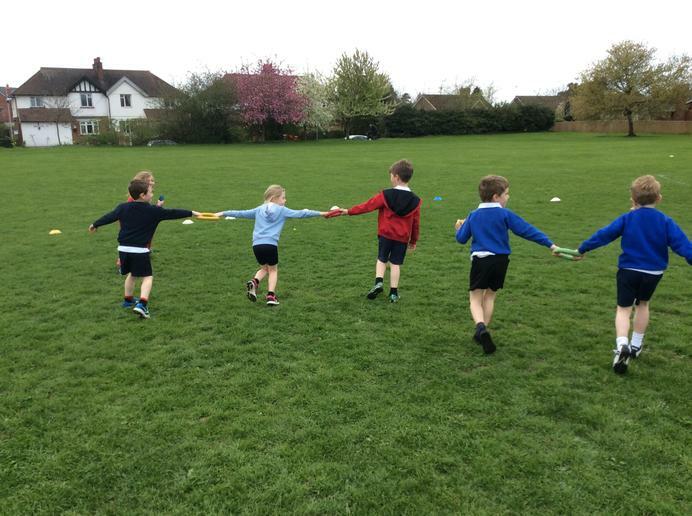 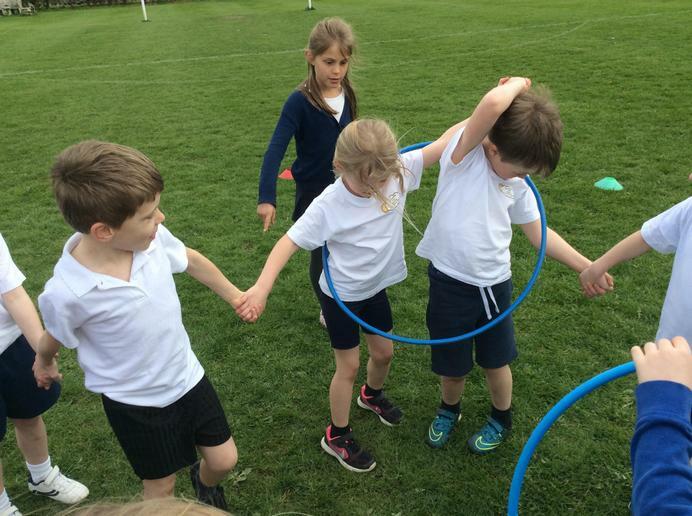 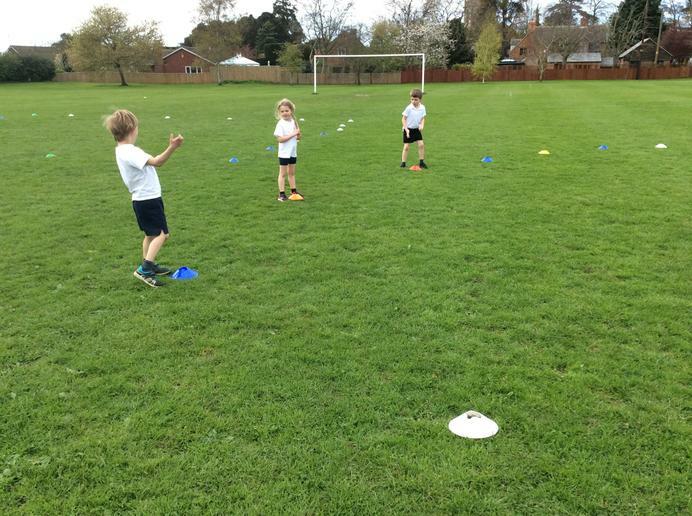 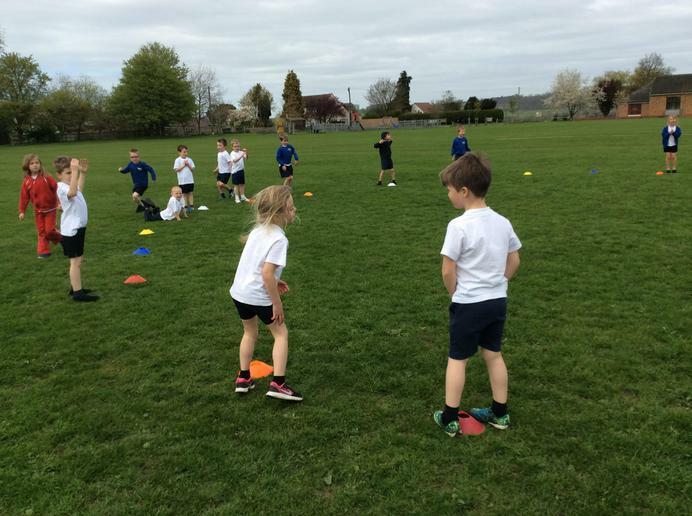 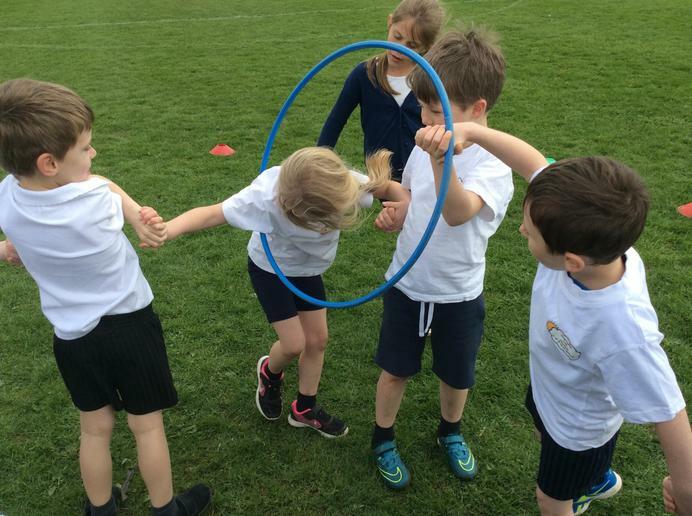 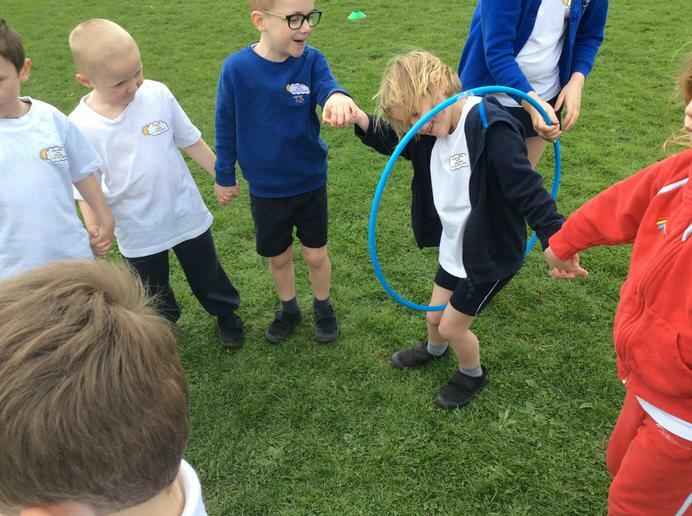 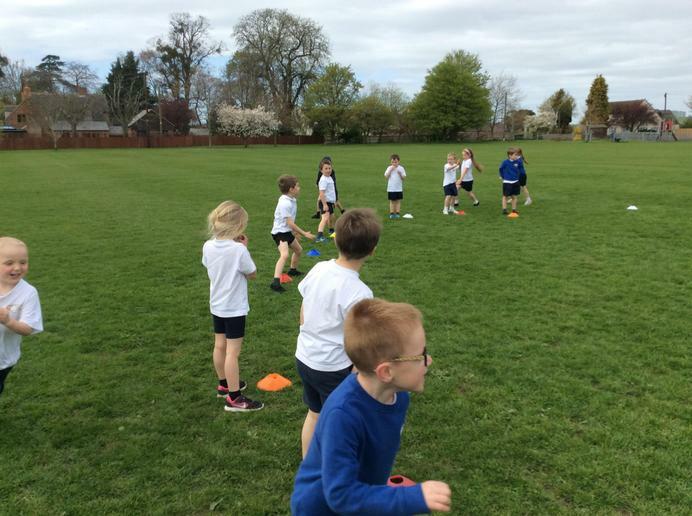 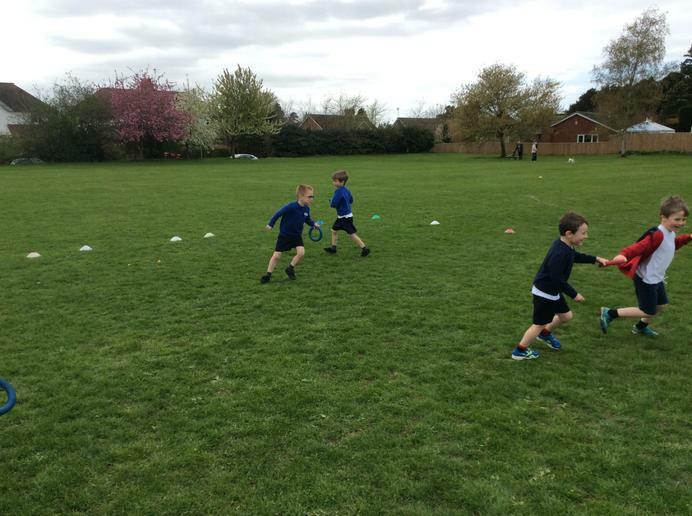 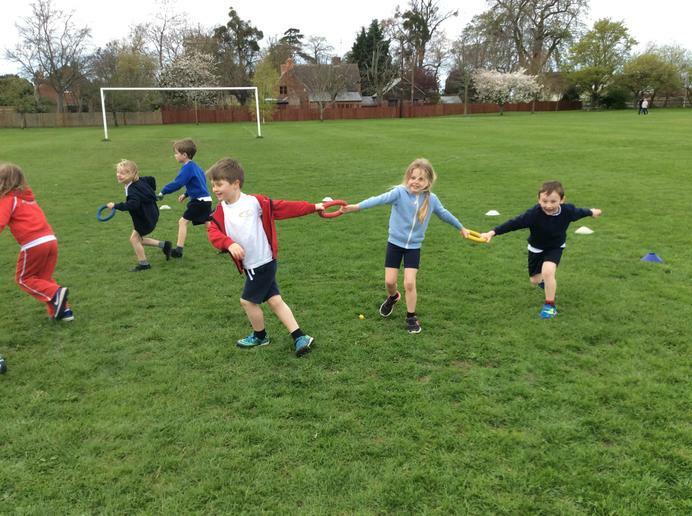 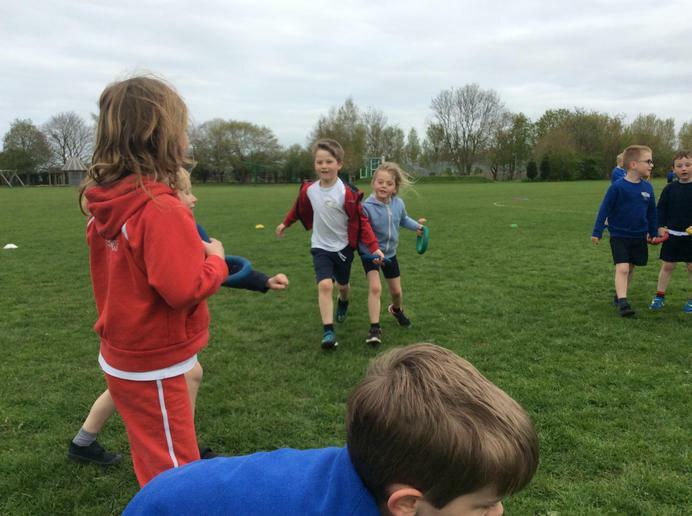 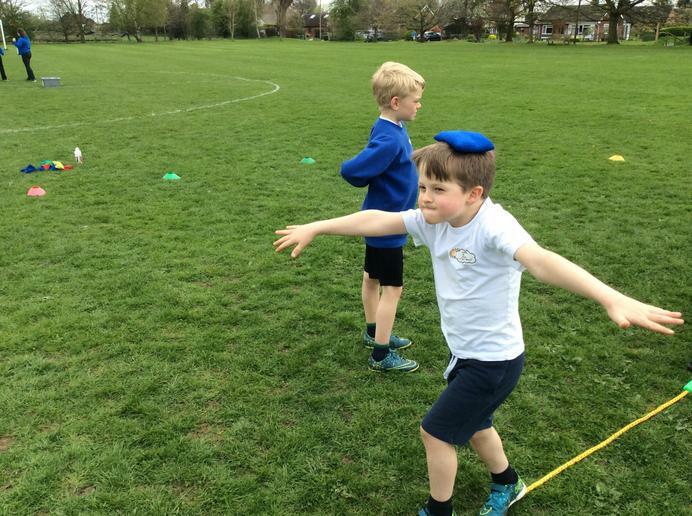 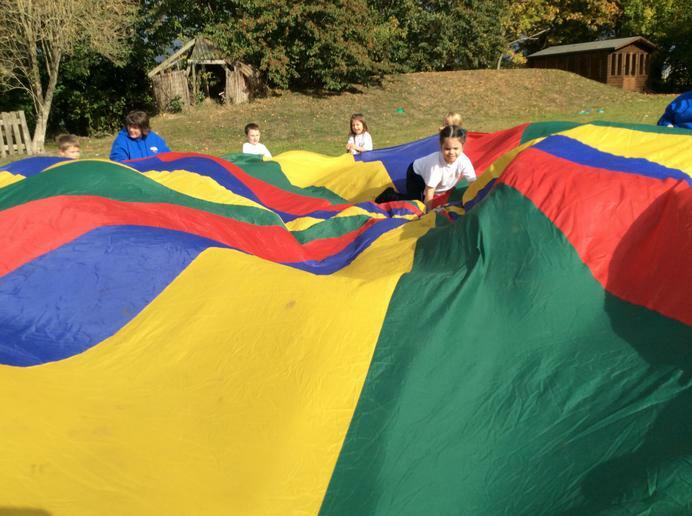 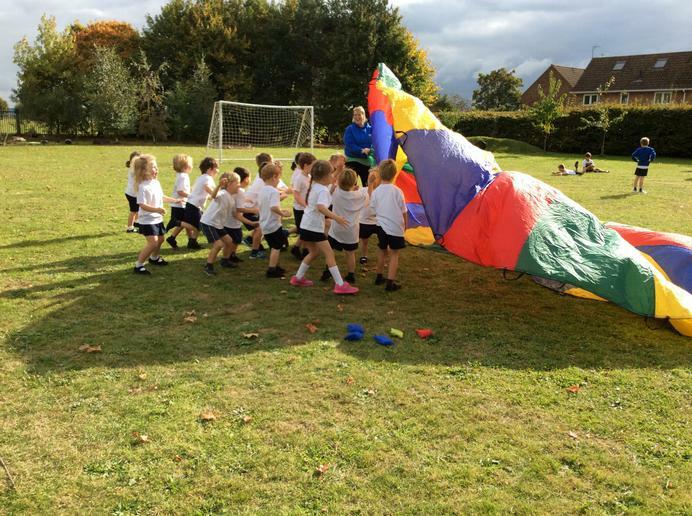 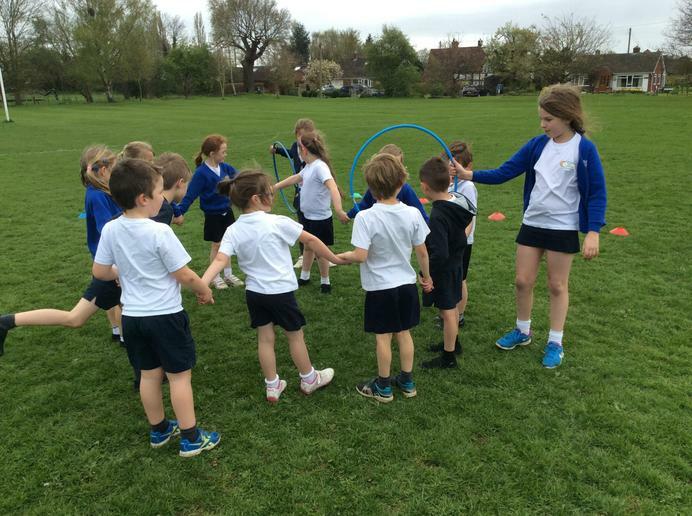 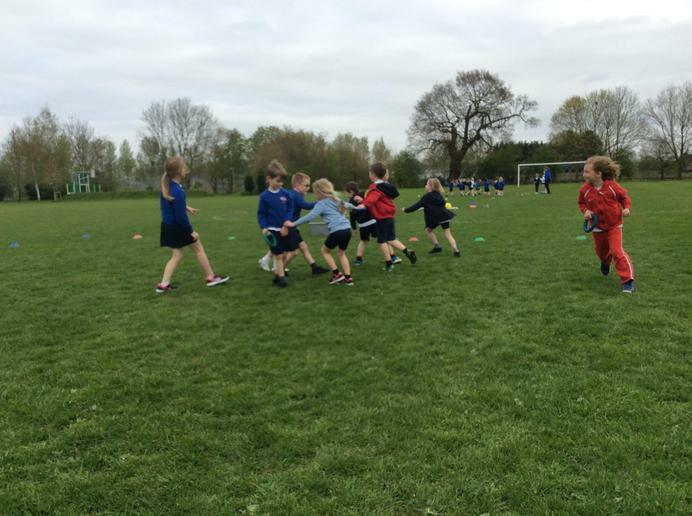 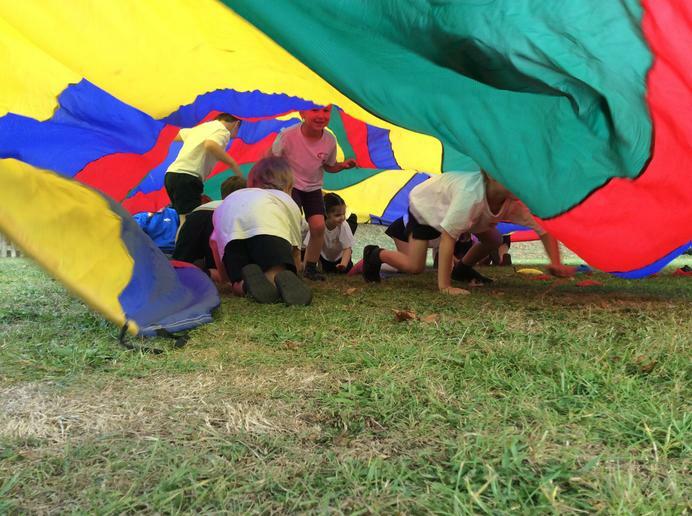 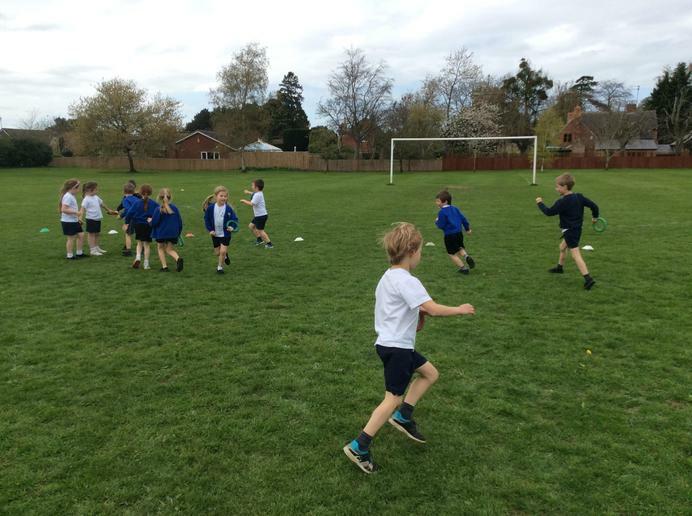 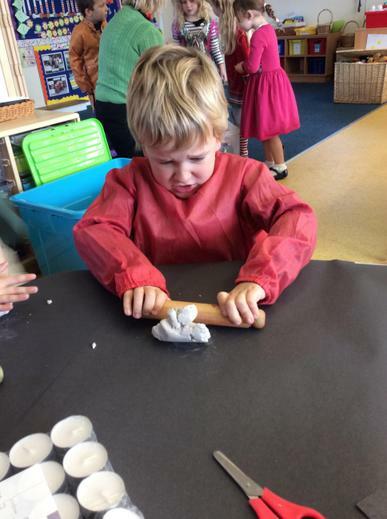 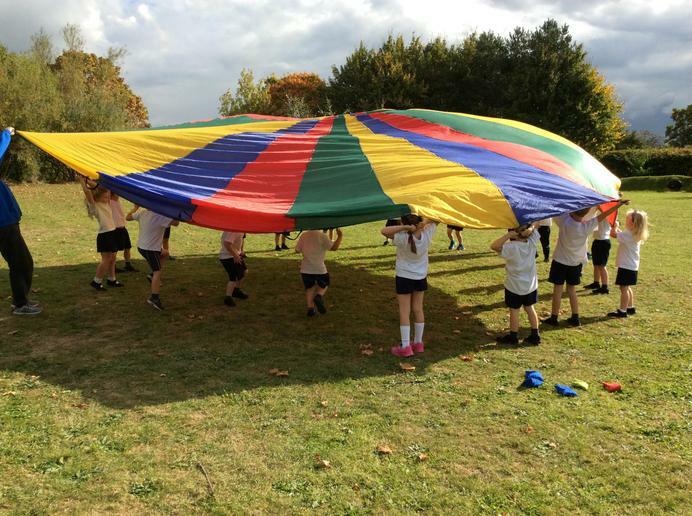 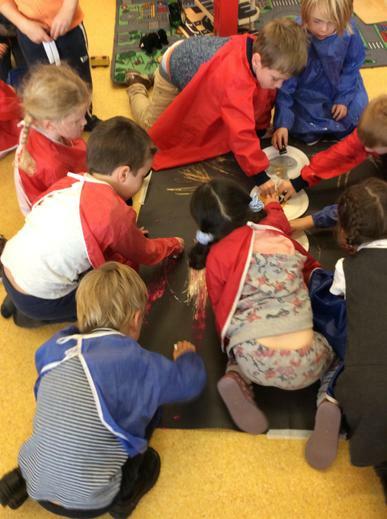 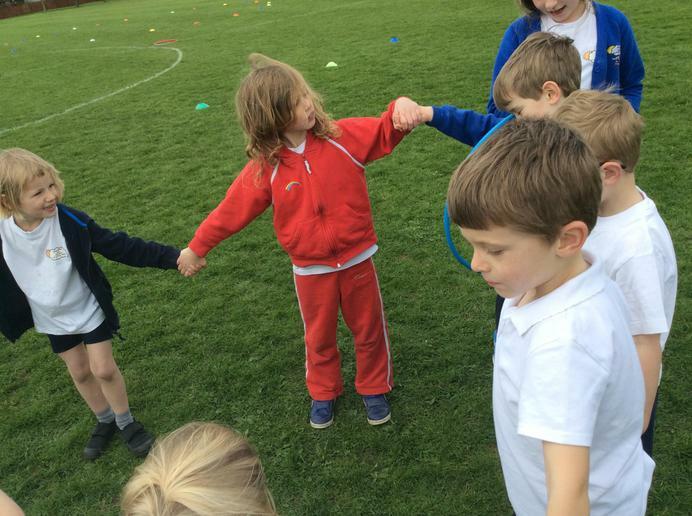 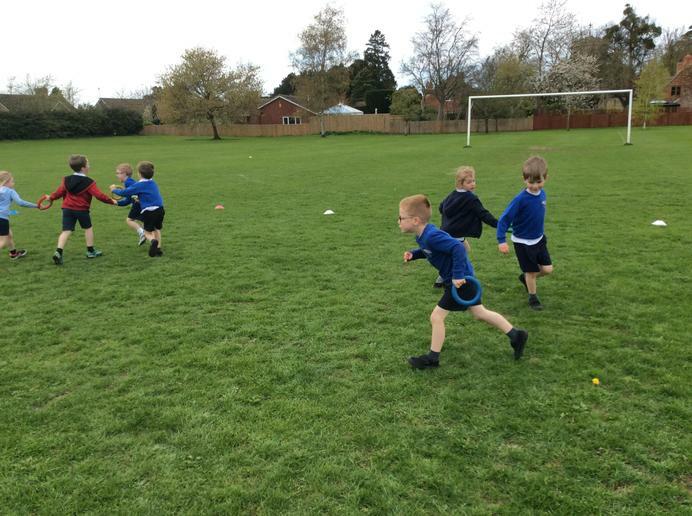 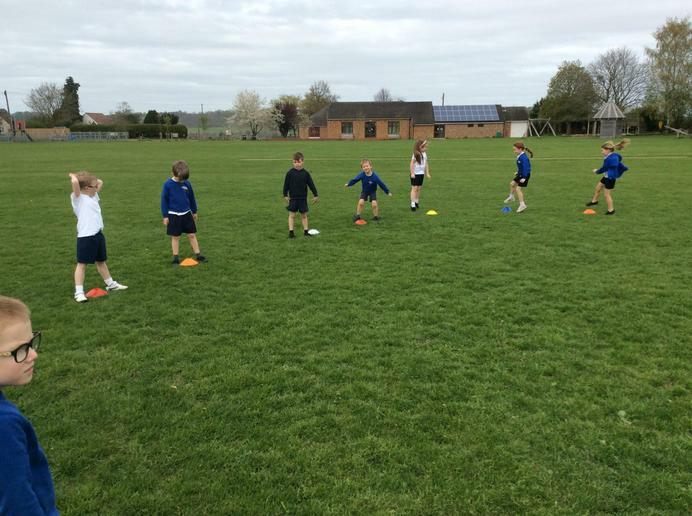 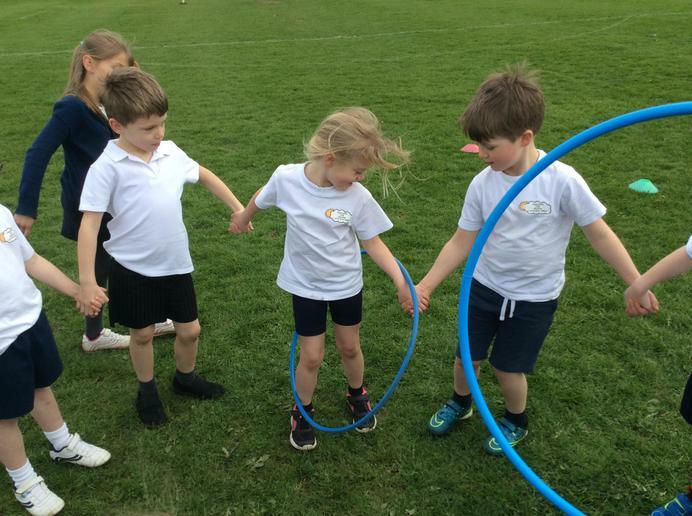 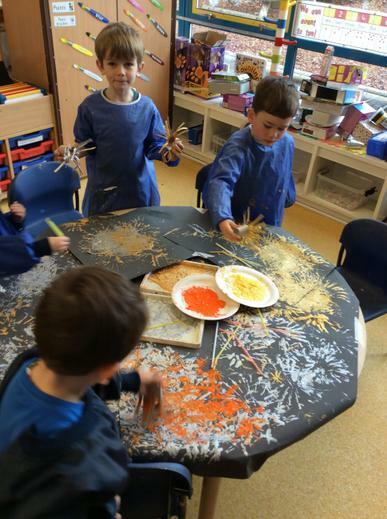 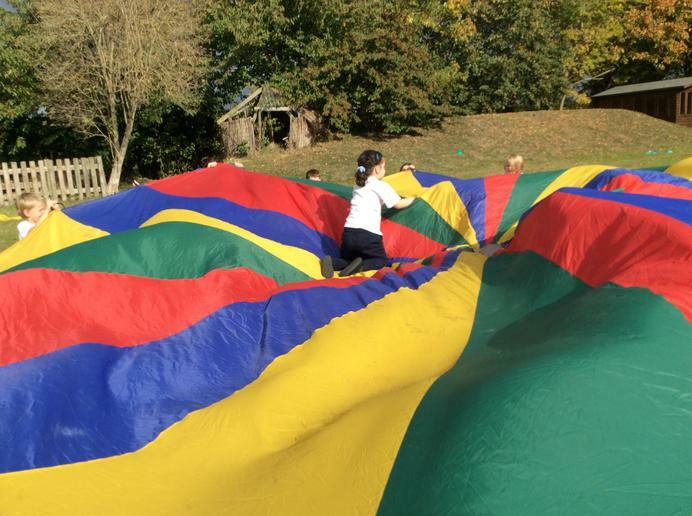 The children really worked hard on their teamwork skills and we had lots of fun, they were so fabulous they were able to have a play after, well done Year Ones! 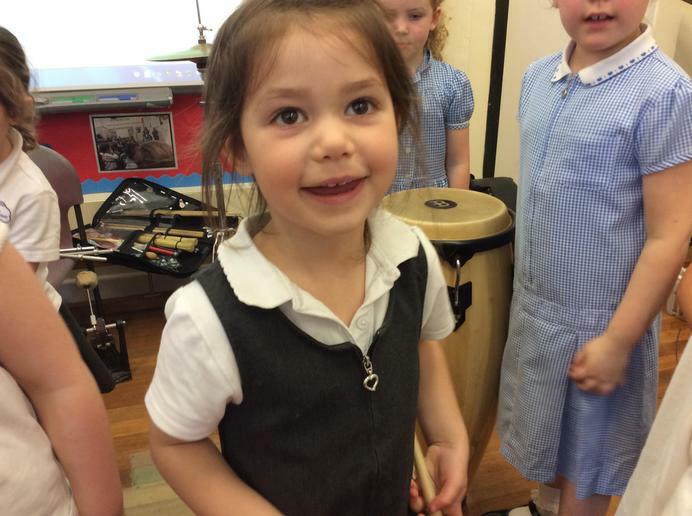 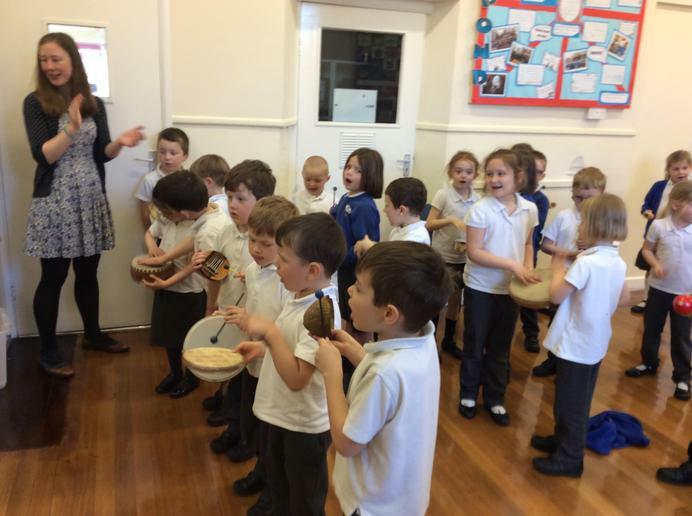 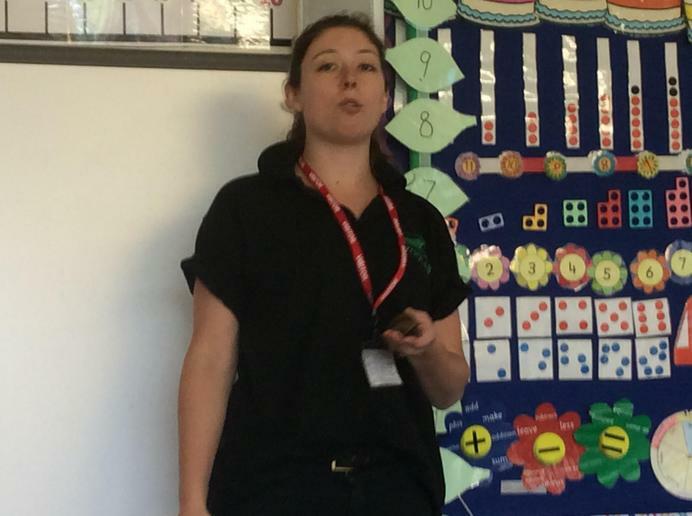 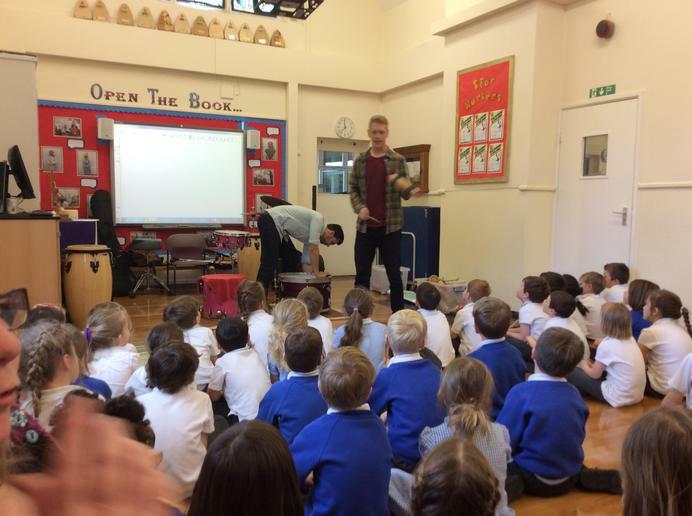 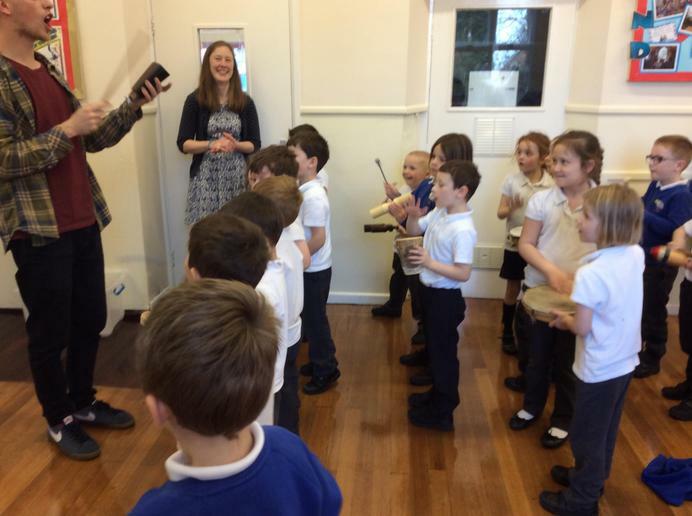 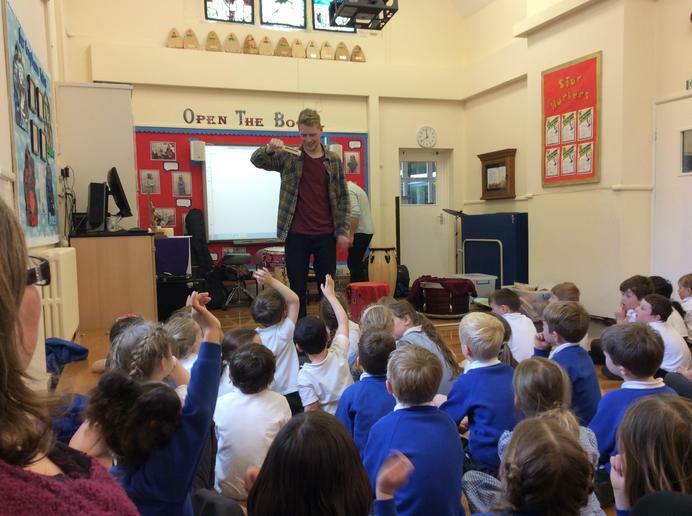 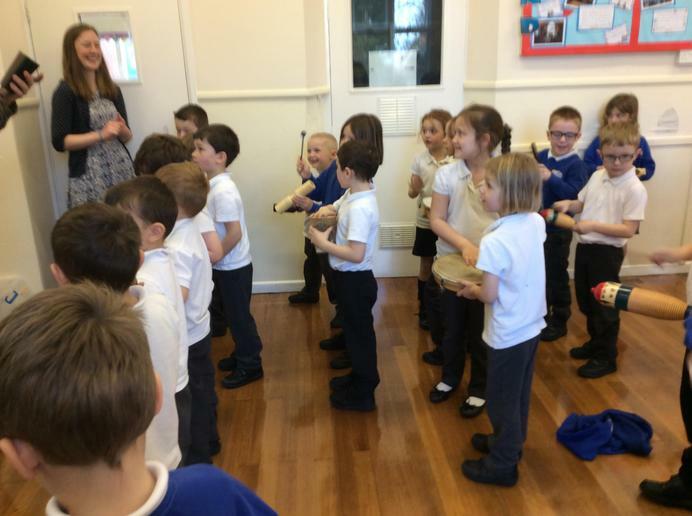 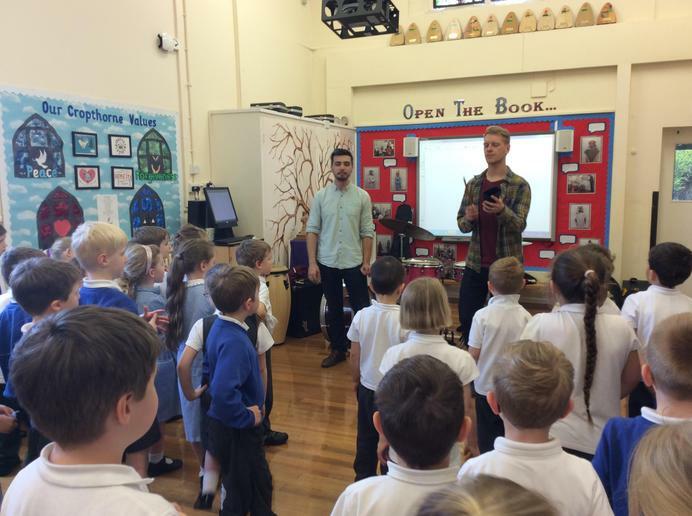 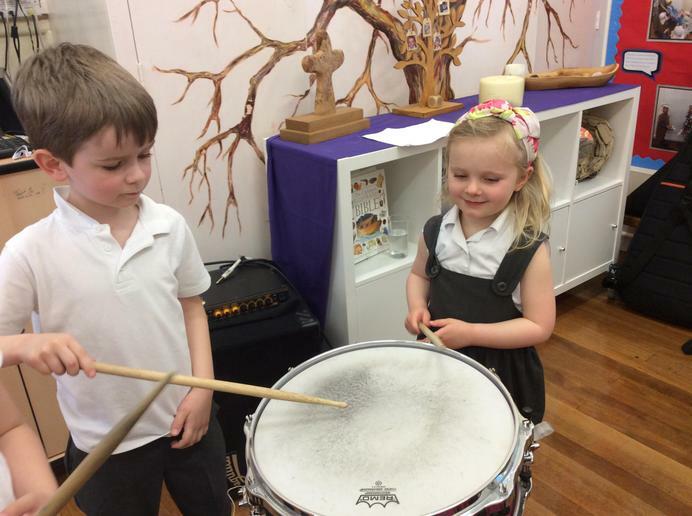 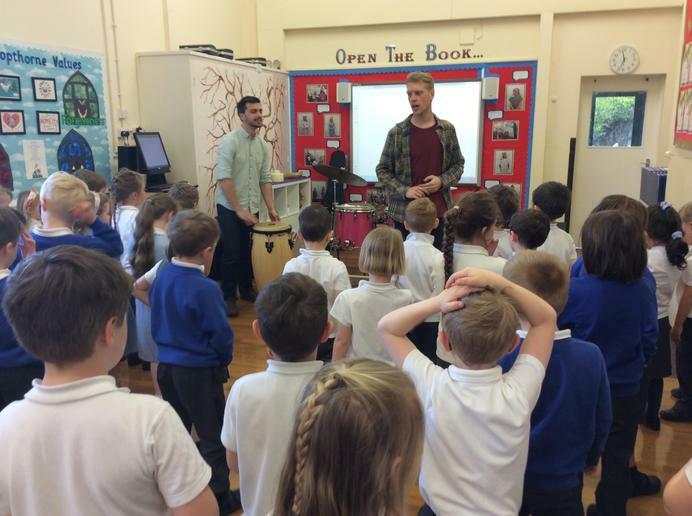 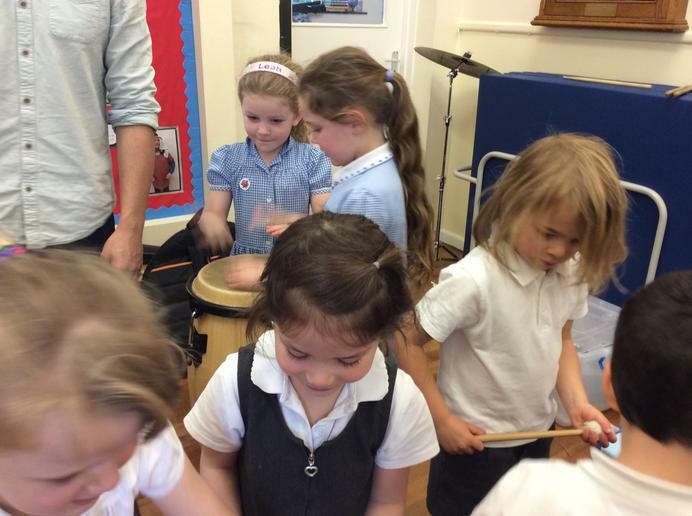 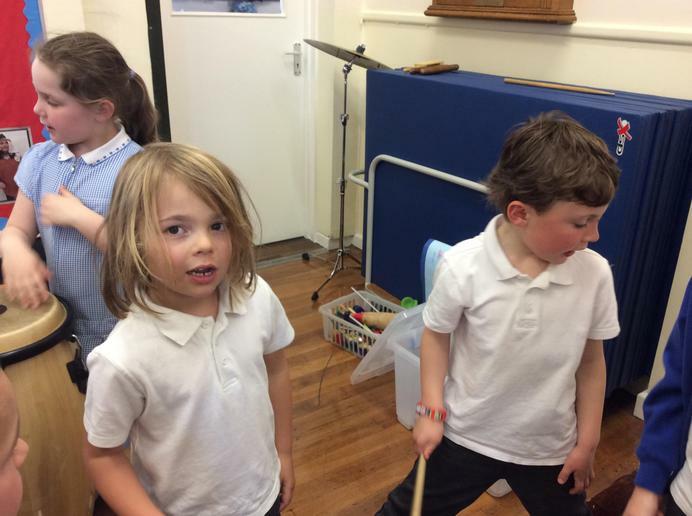 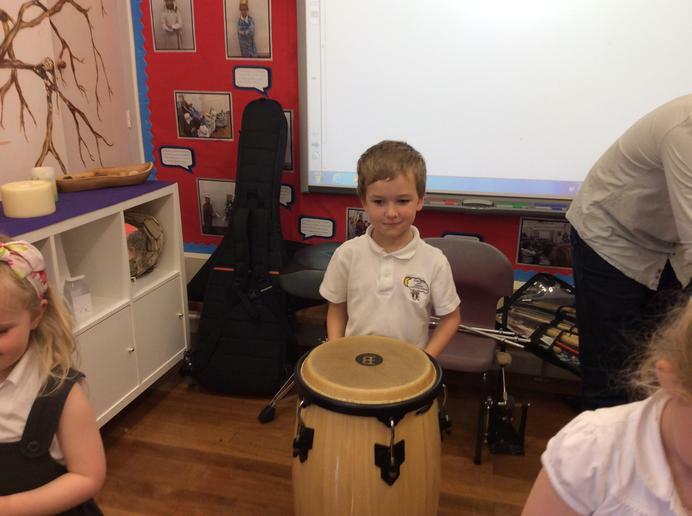 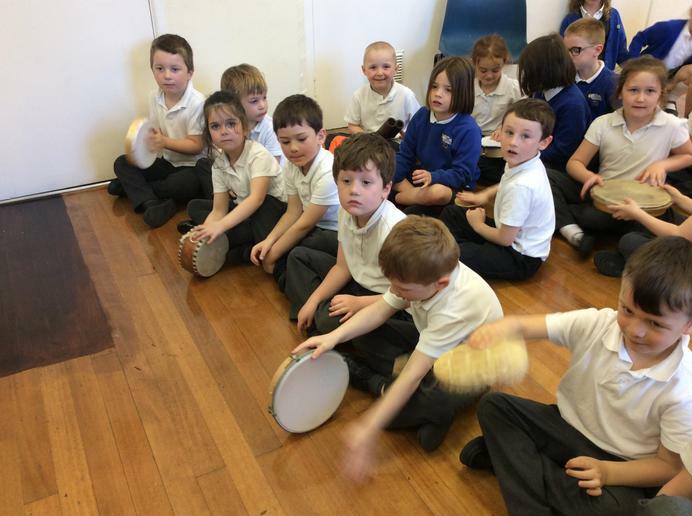 Today we were lucky enough to have some professional musicians in, the children had a fabulous time playing instruments to a samba rhythm! 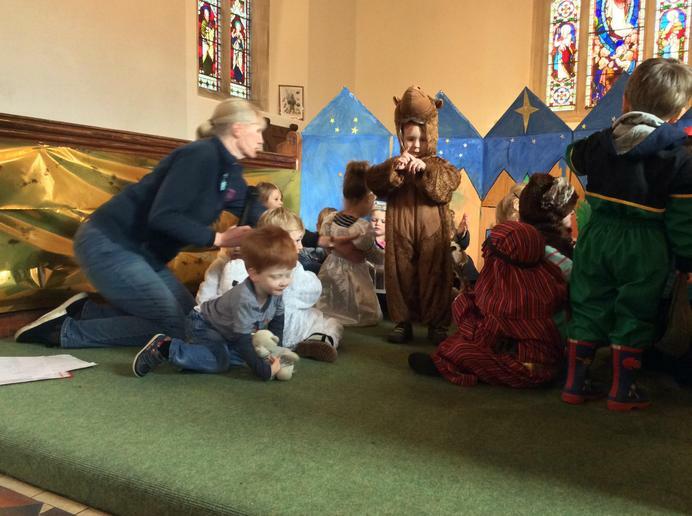 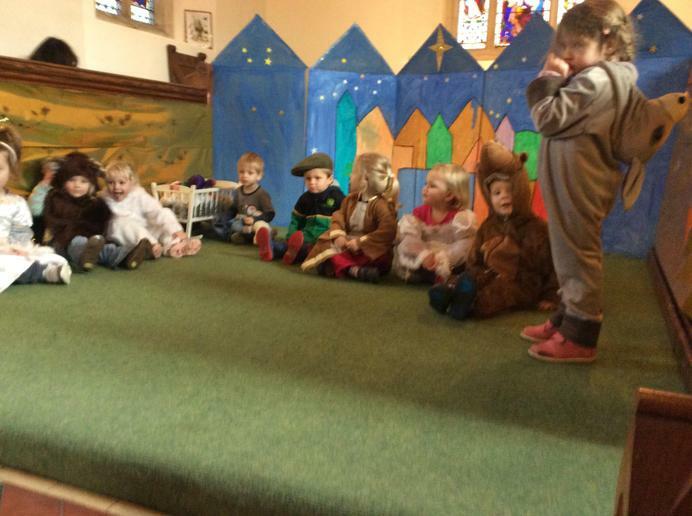 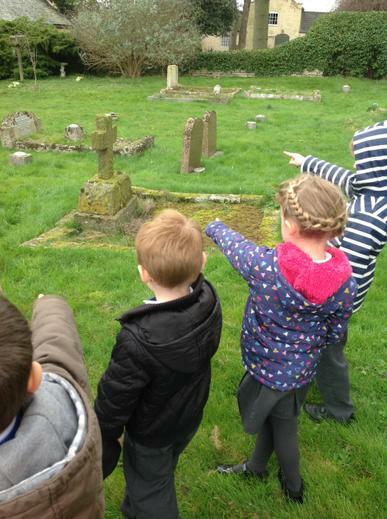 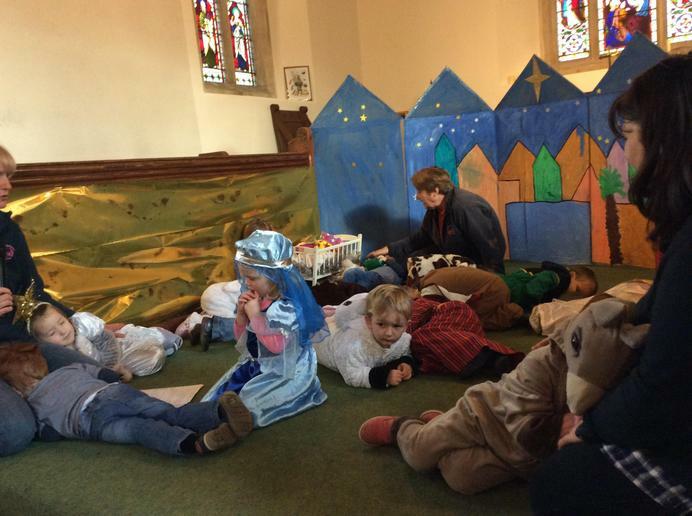 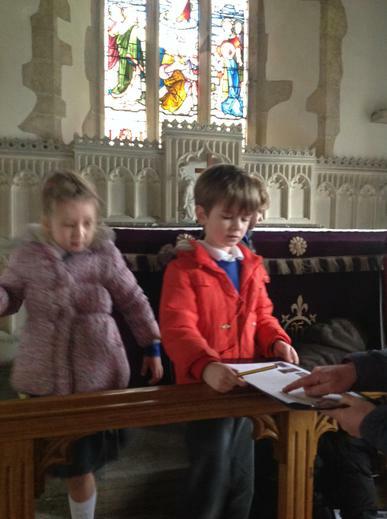 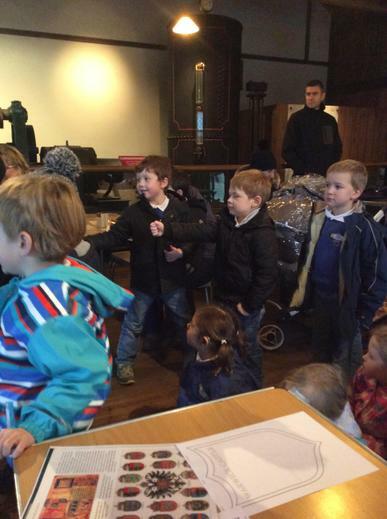 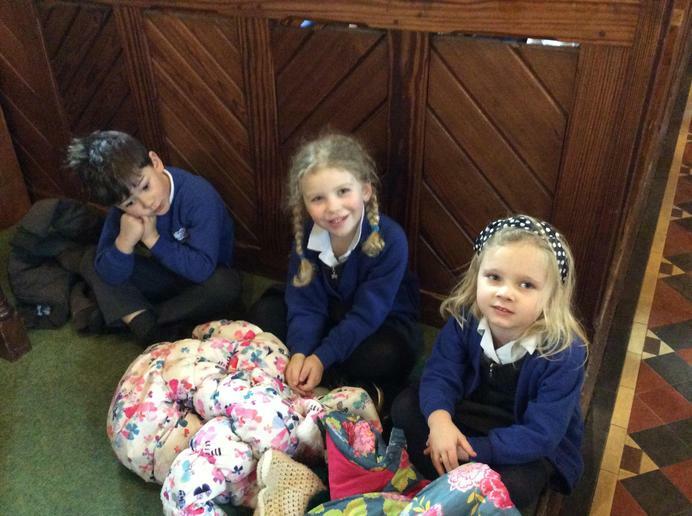 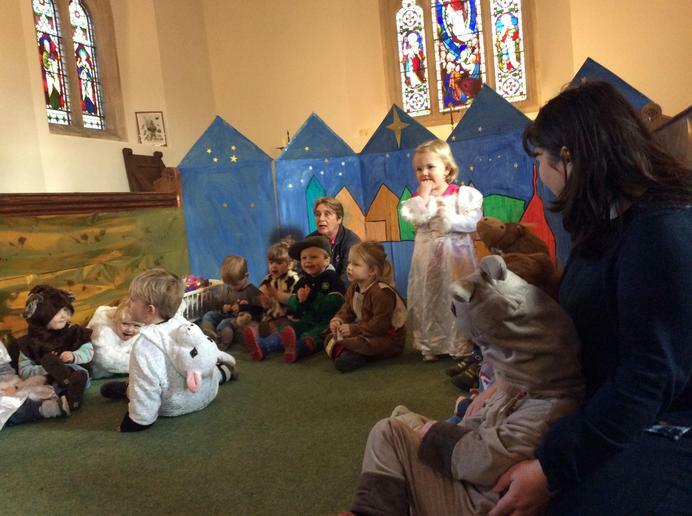 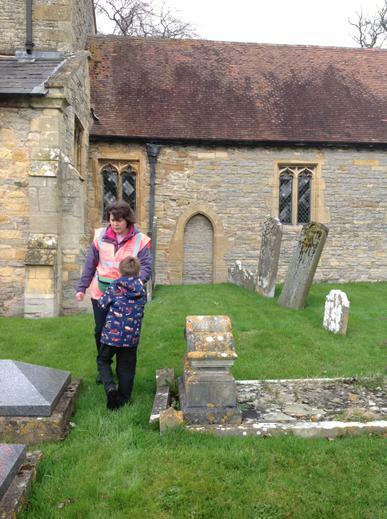 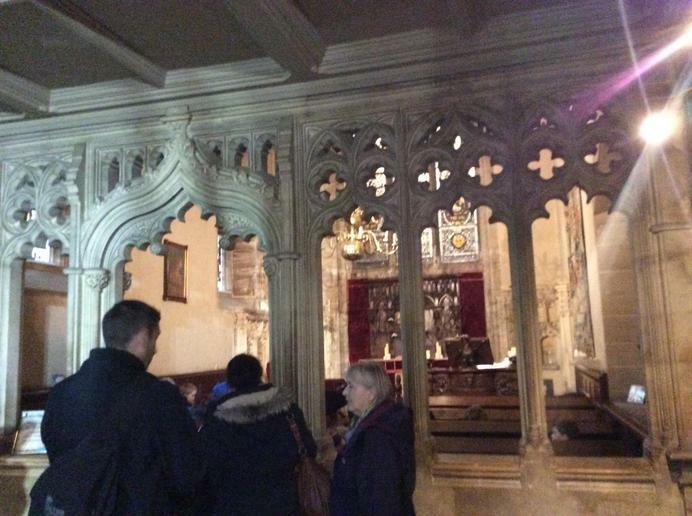 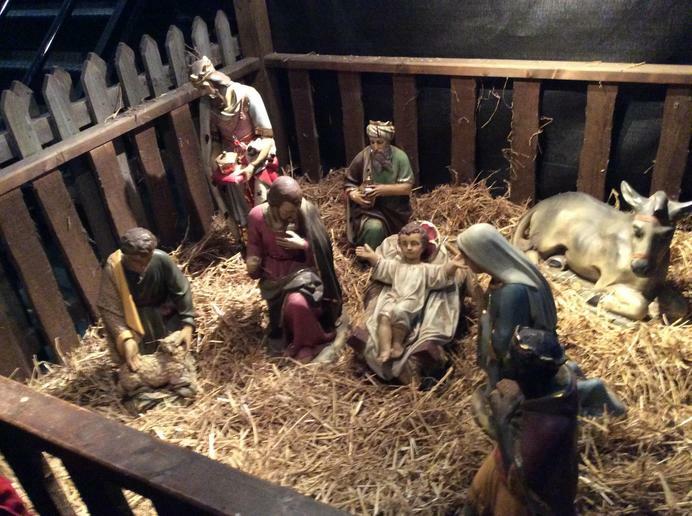 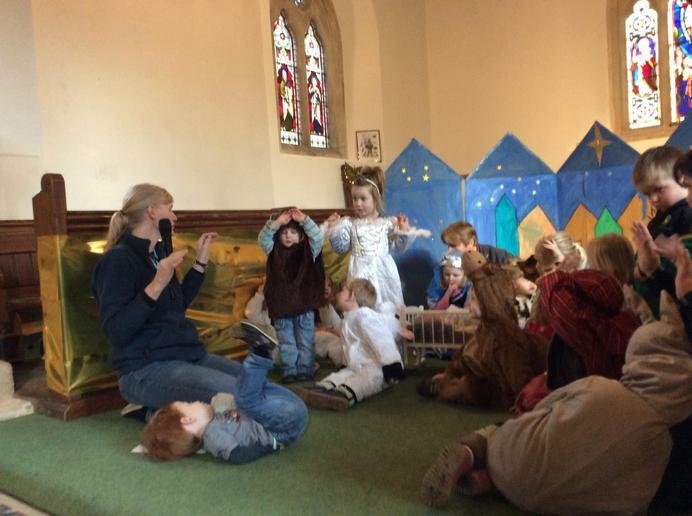 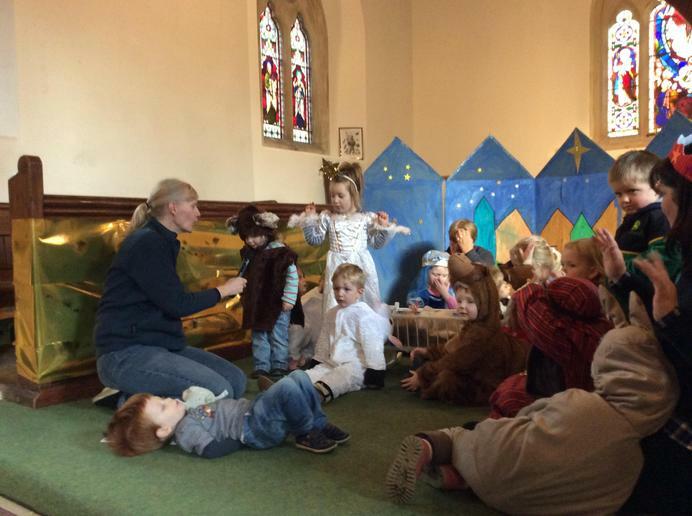 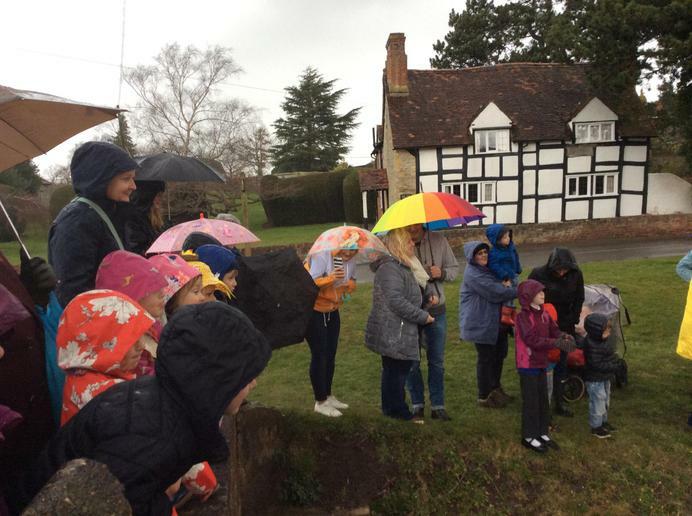 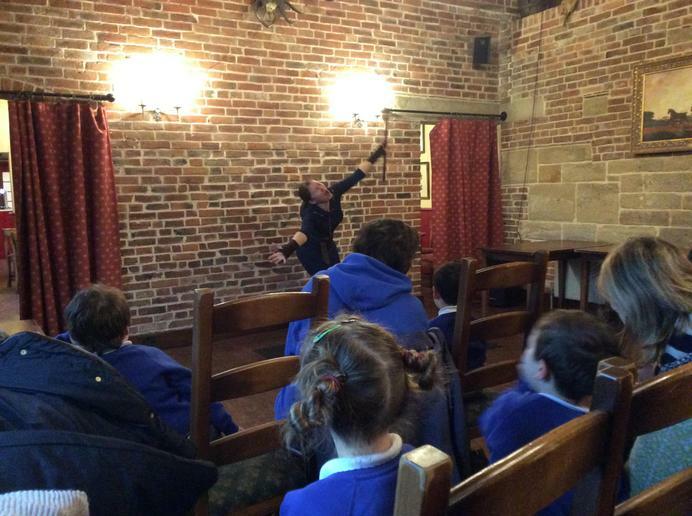 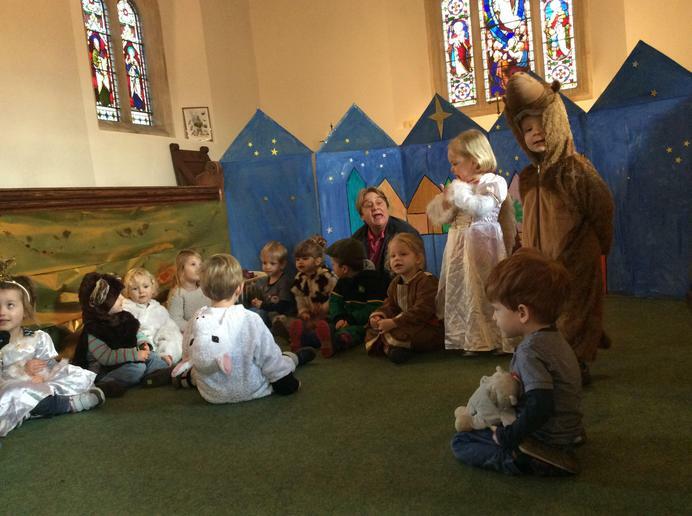 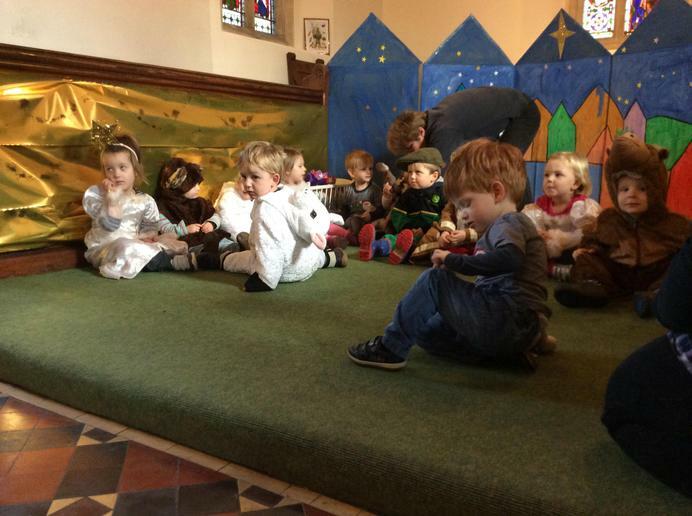 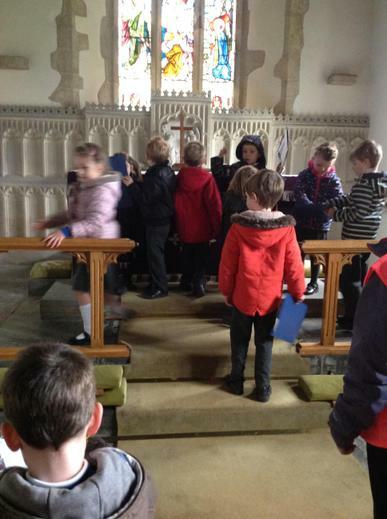 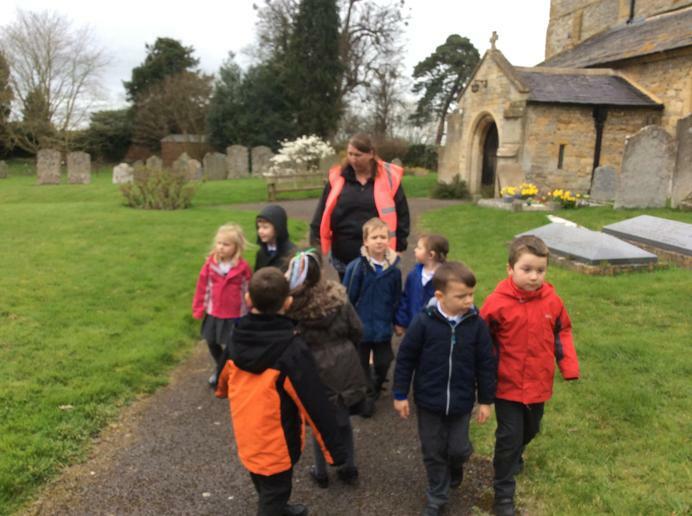 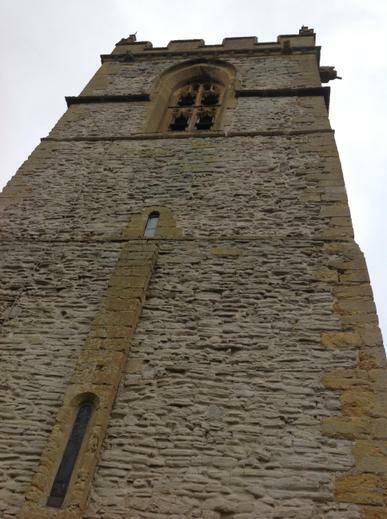 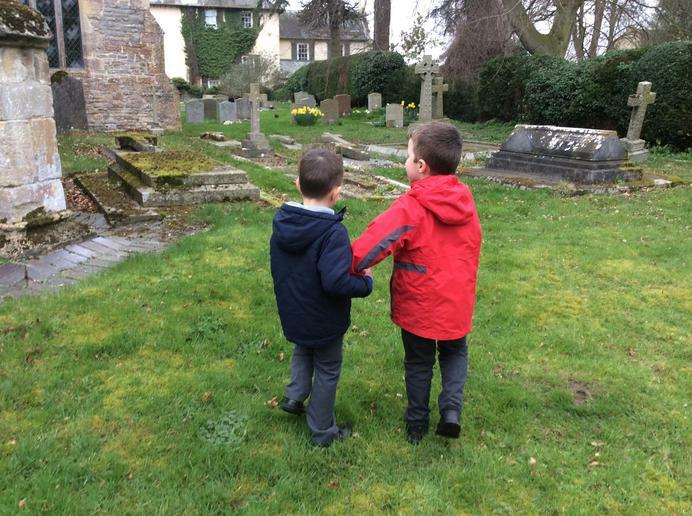 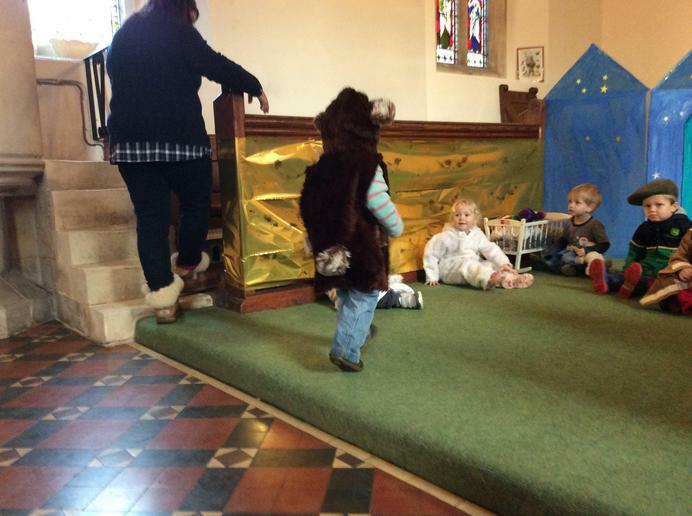 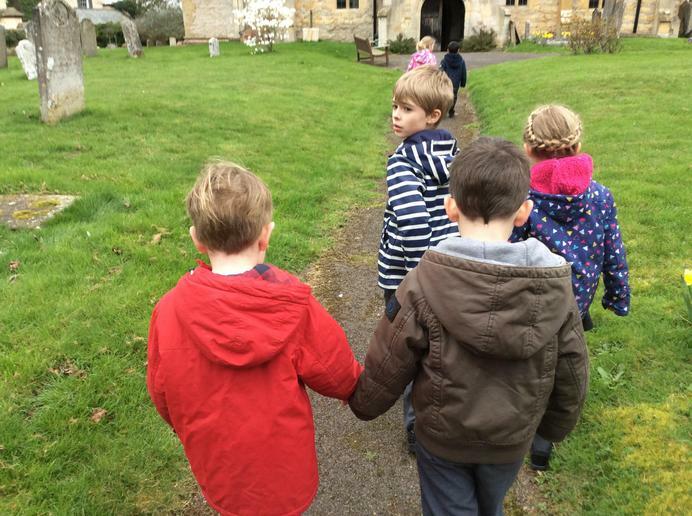 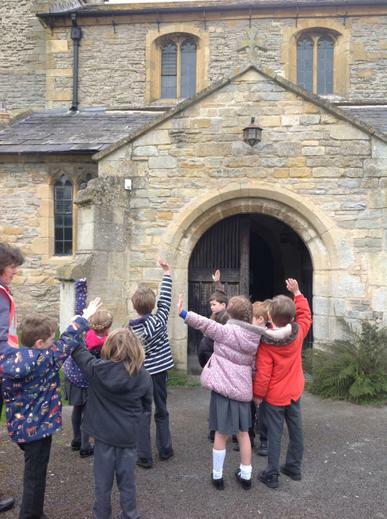 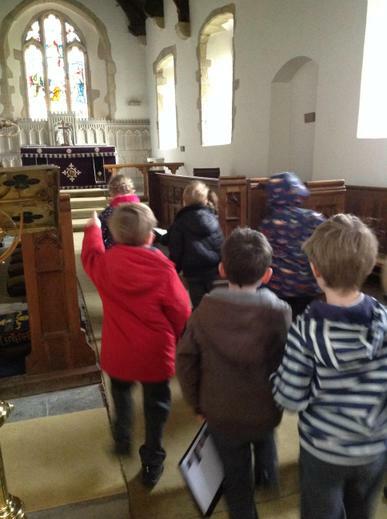 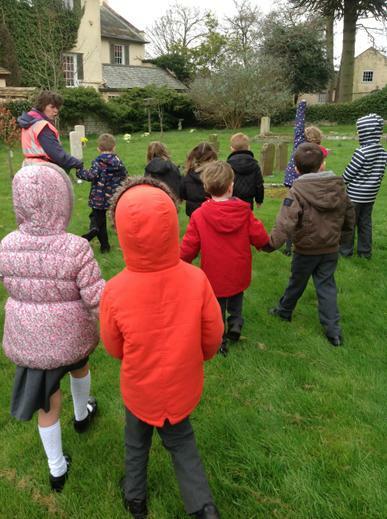 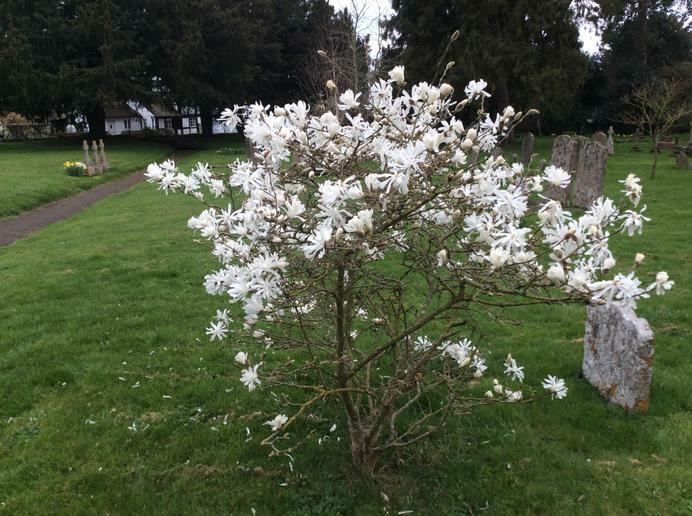 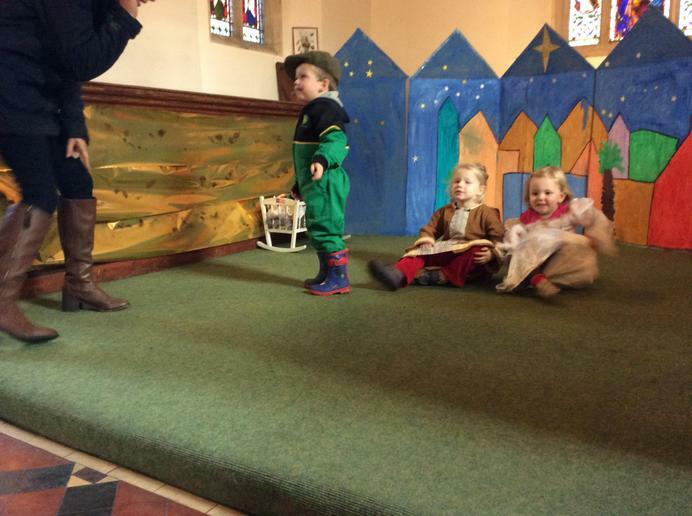 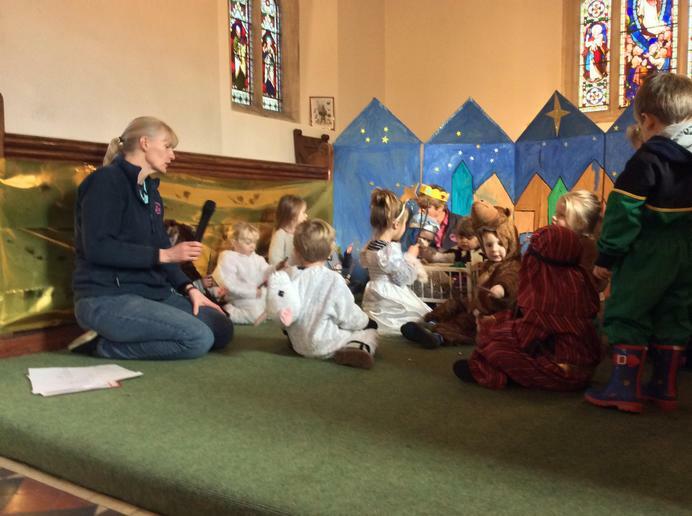 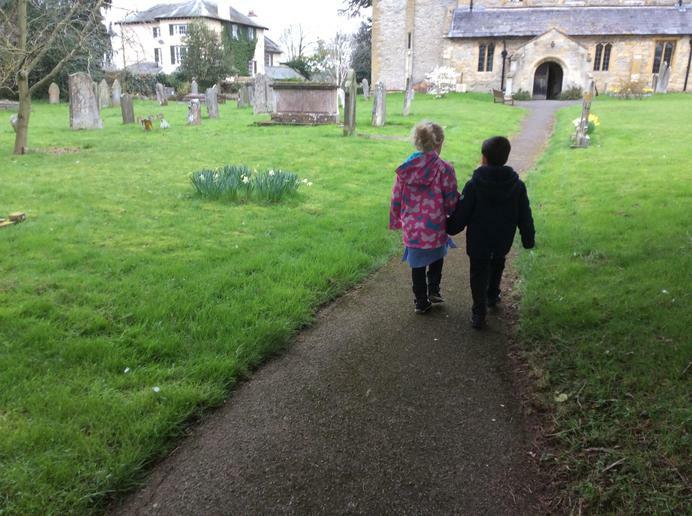 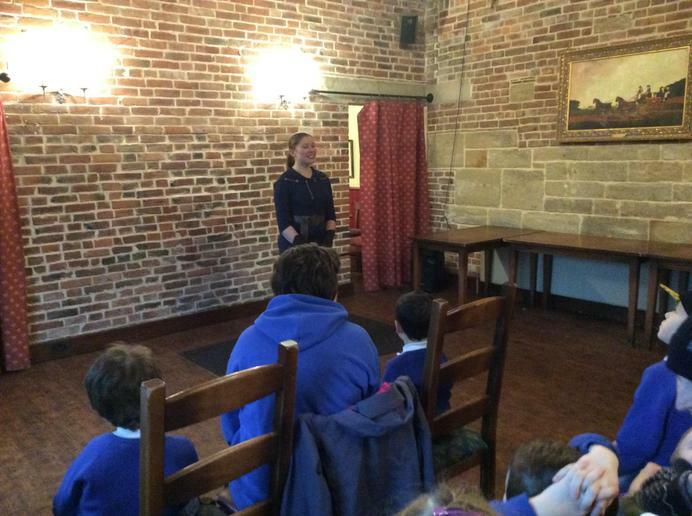 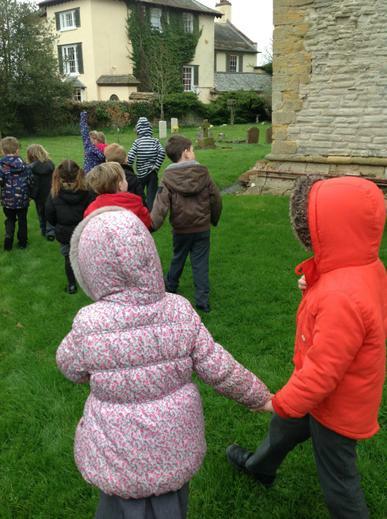 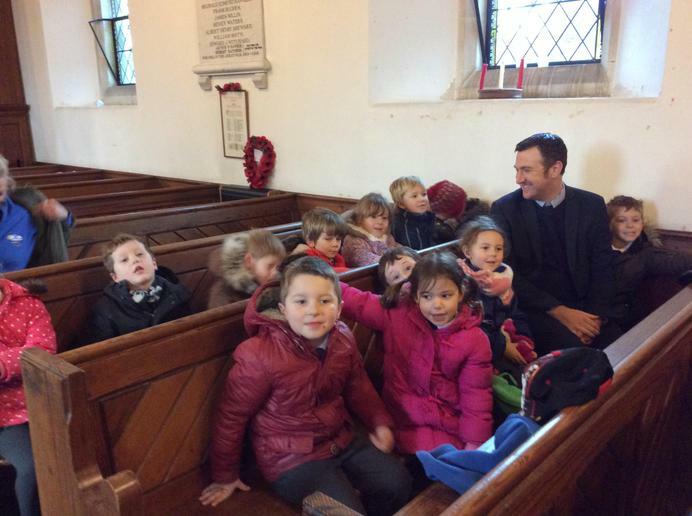 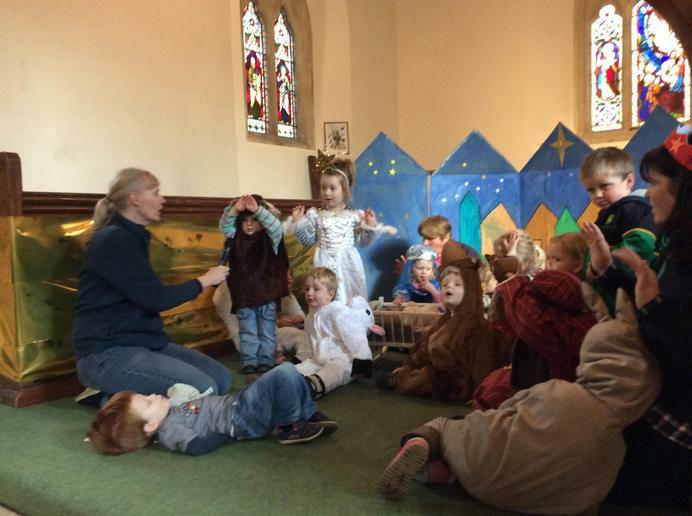 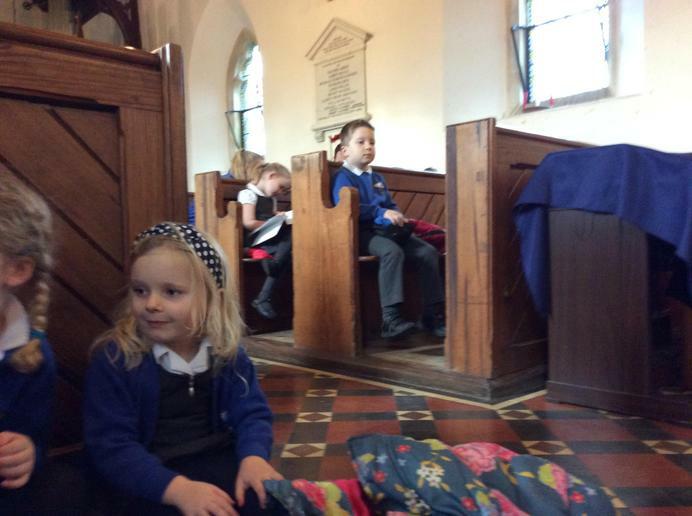 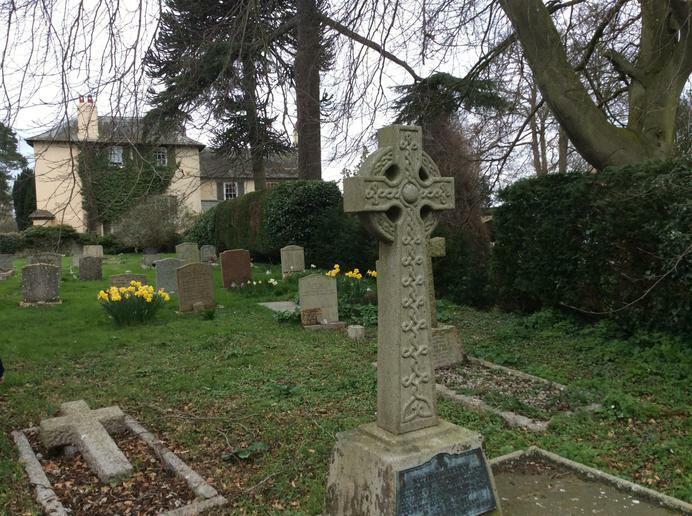 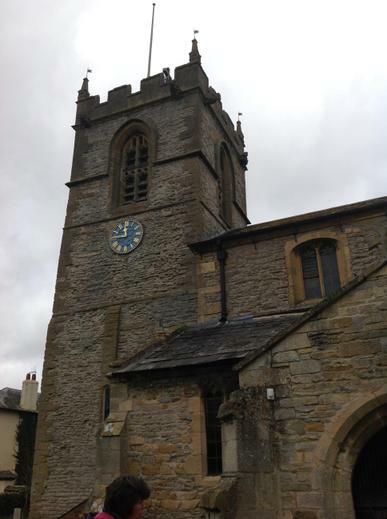 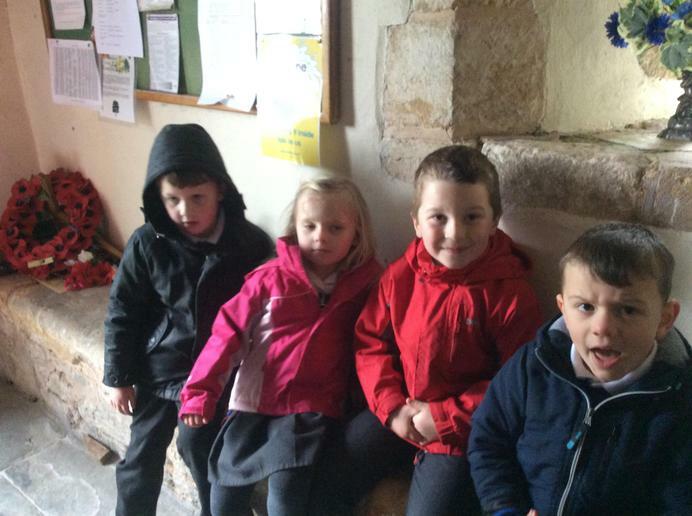 Cats class visited Cropthorne Church. 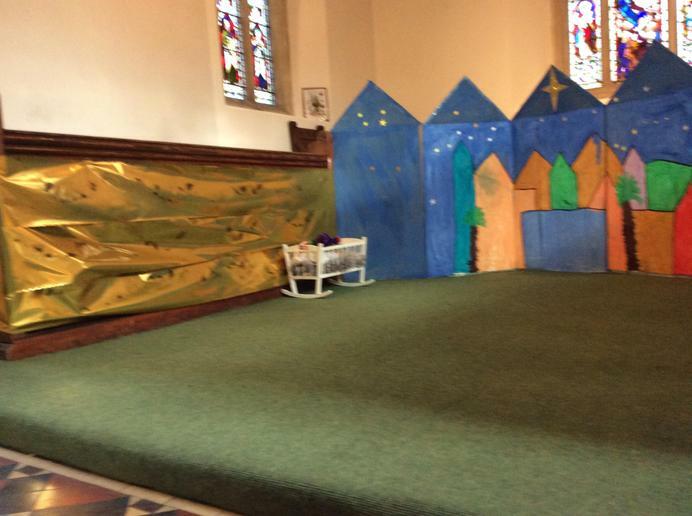 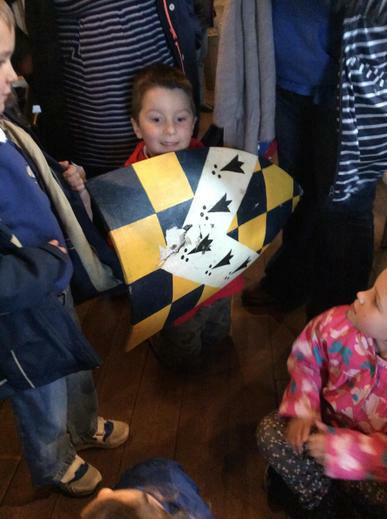 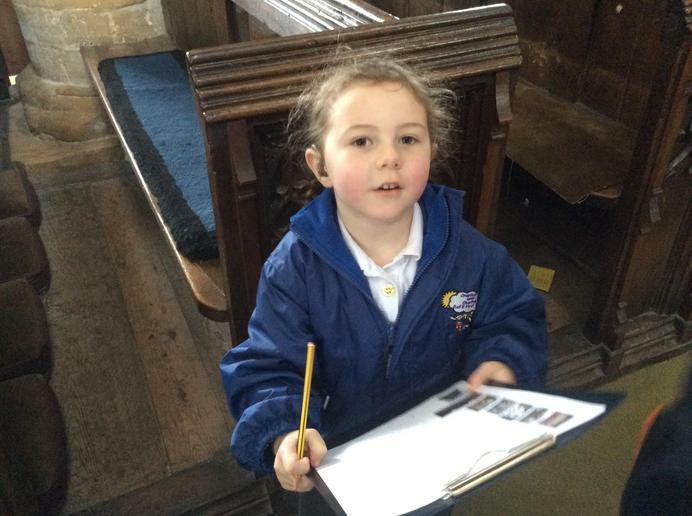 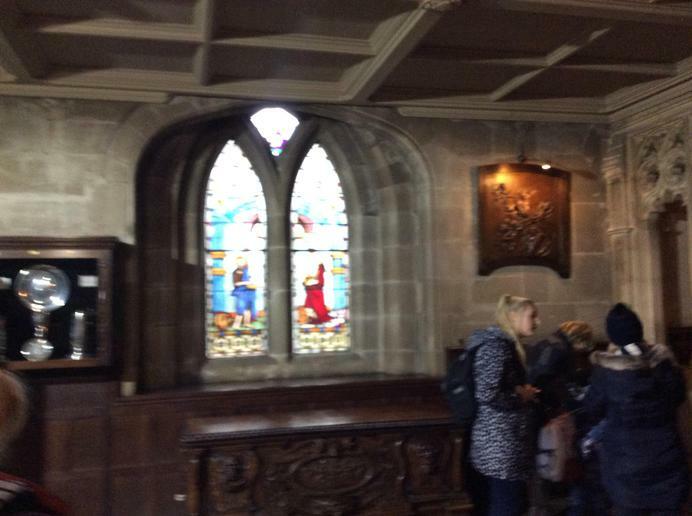 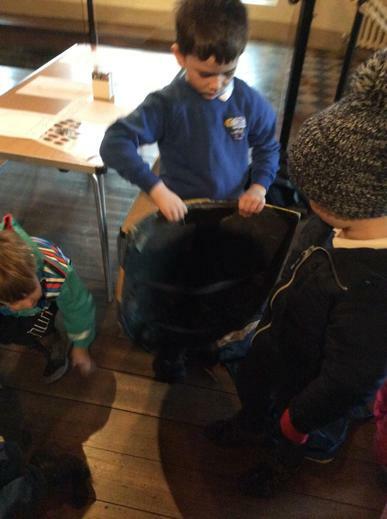 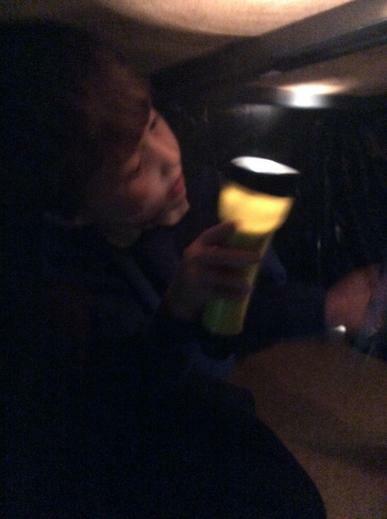 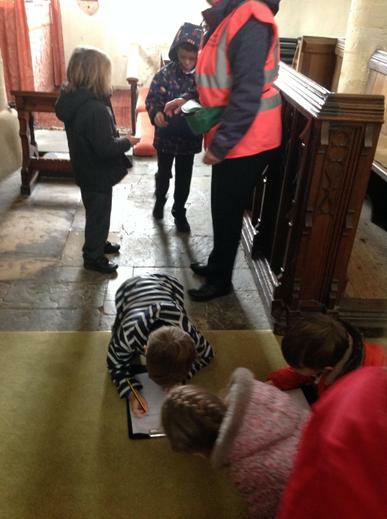 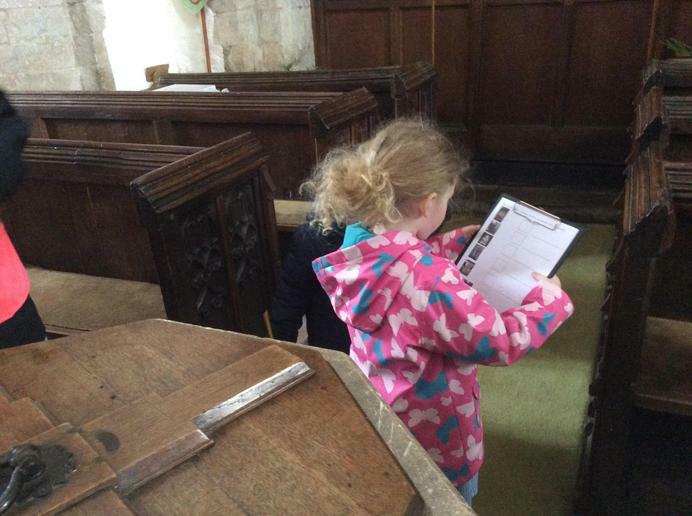 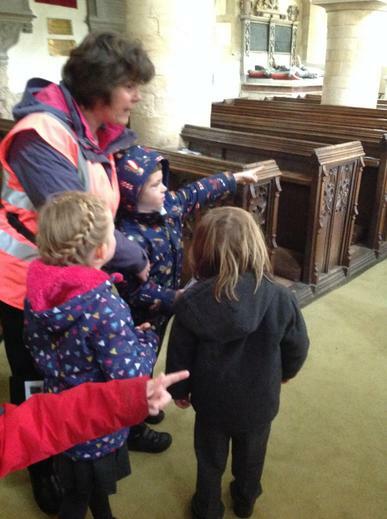 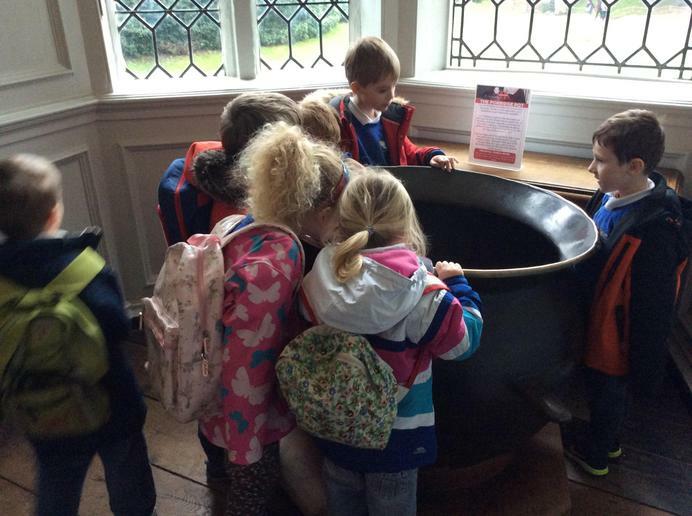 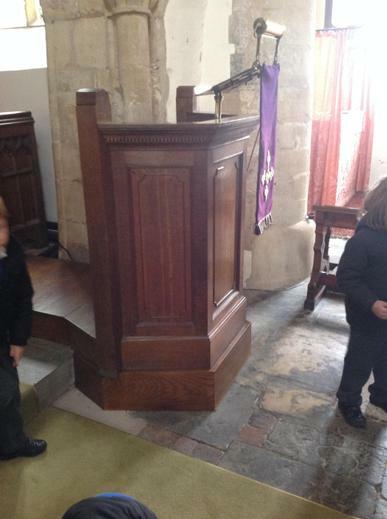 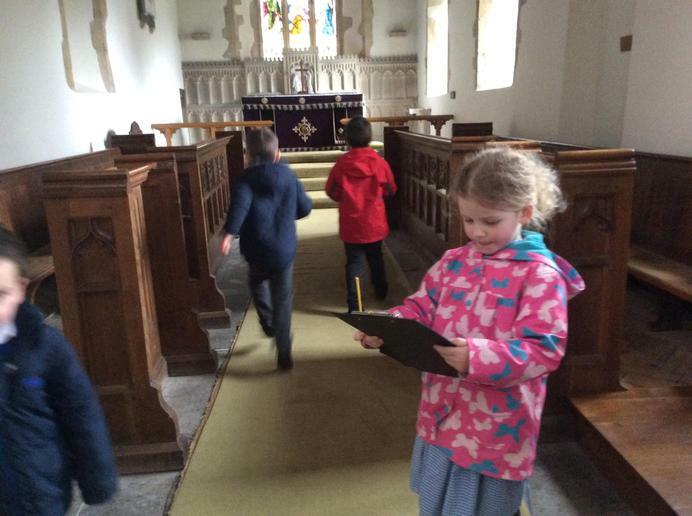 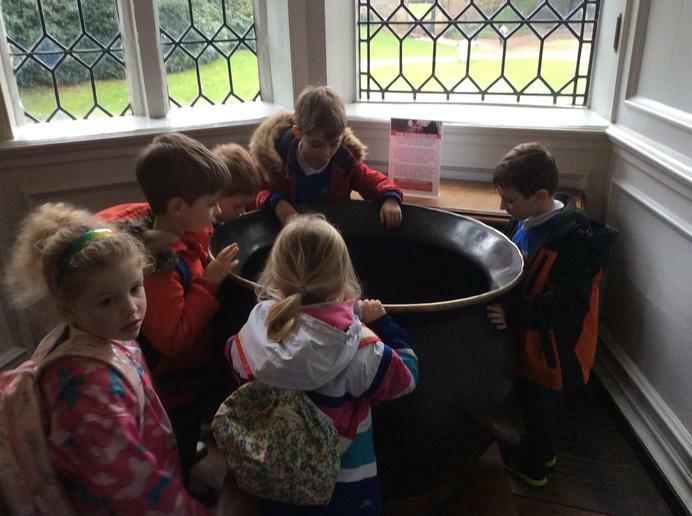 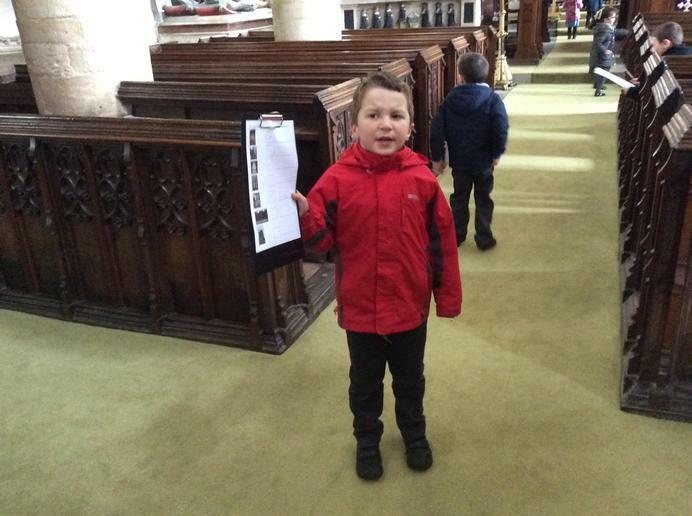 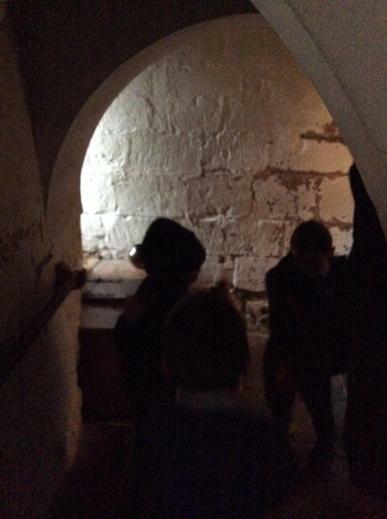 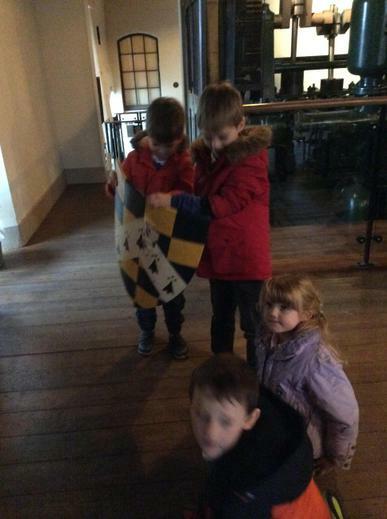 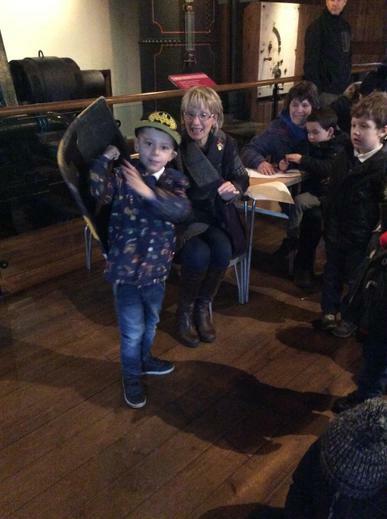 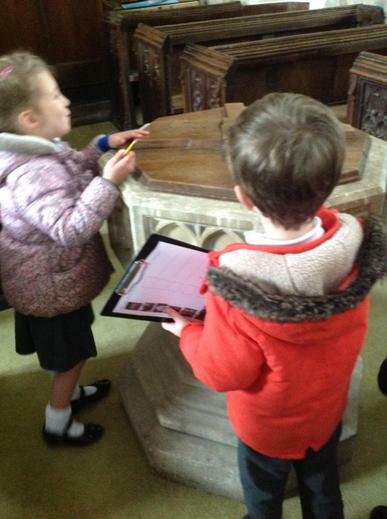 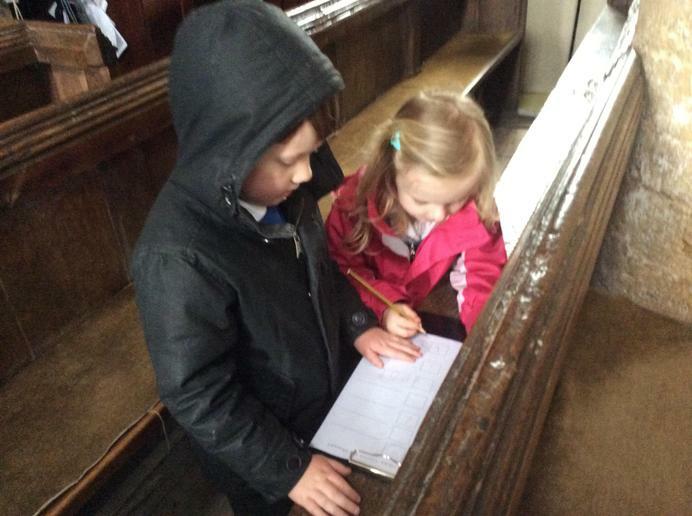 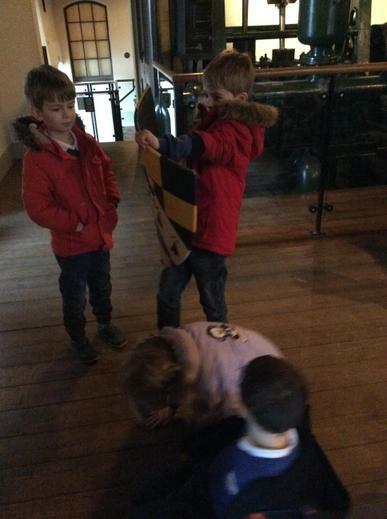 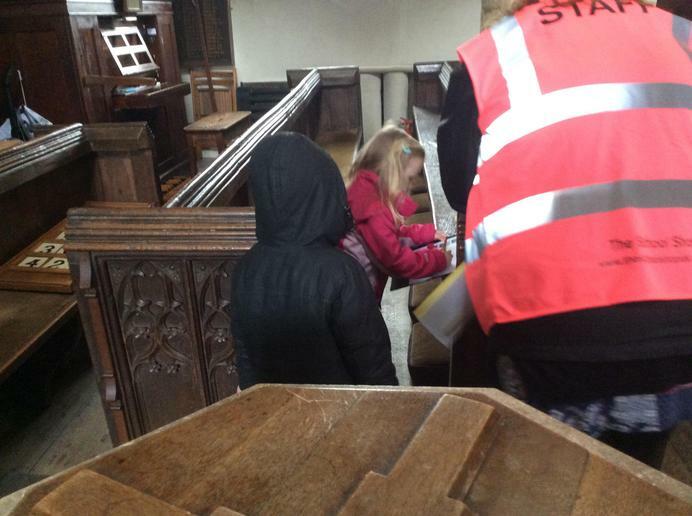 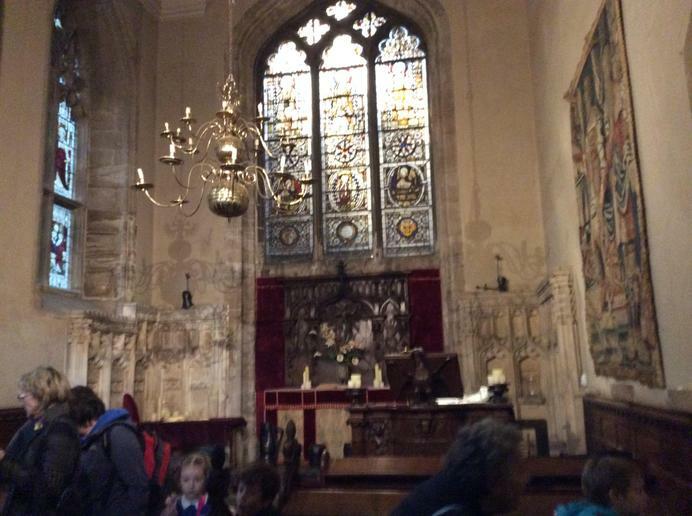 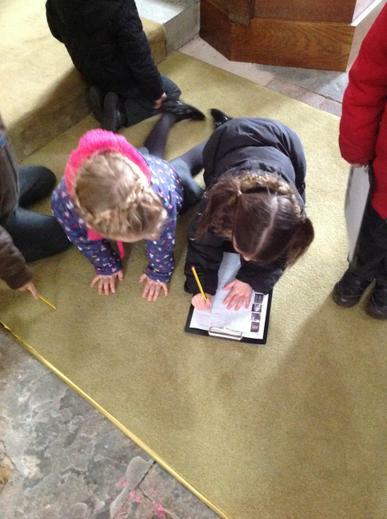 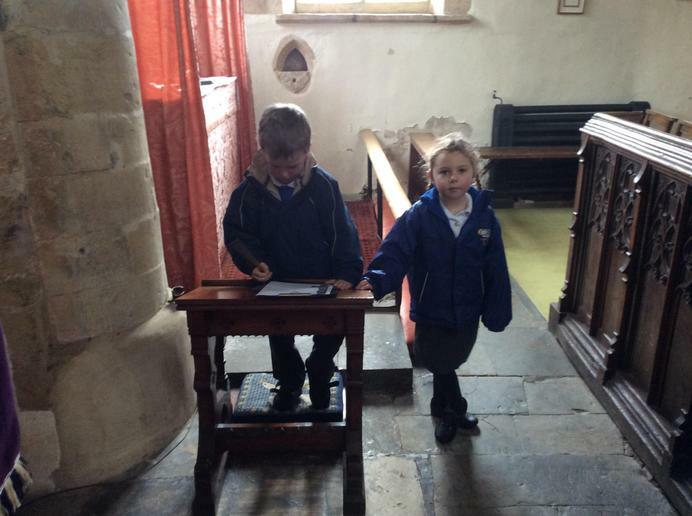 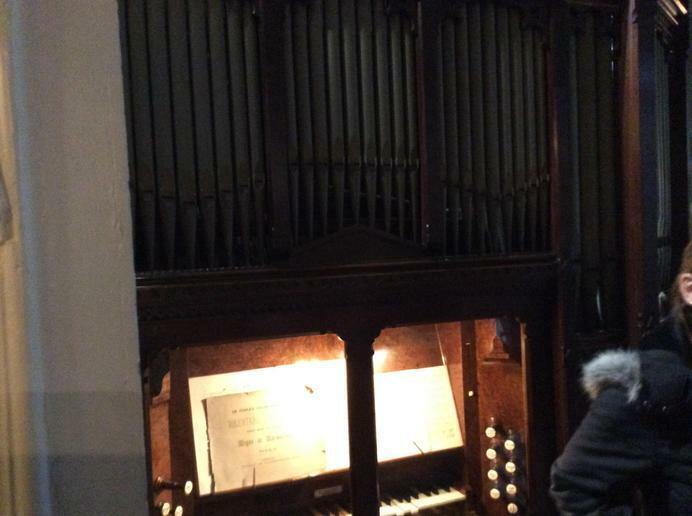 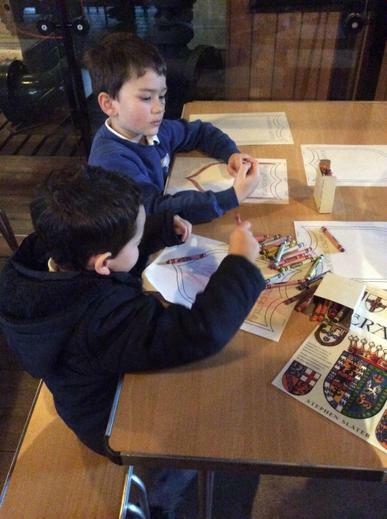 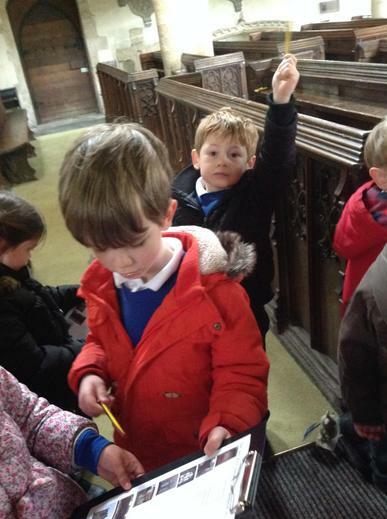 the children had to search for artifacts around the church such as the font, stained glass windows and pews. 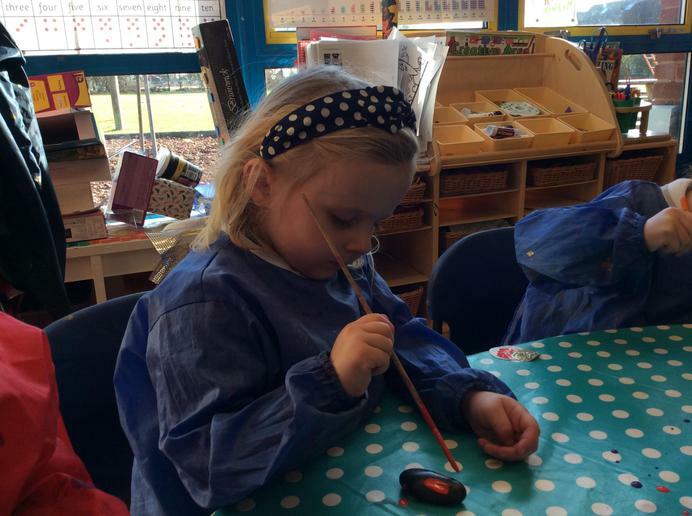 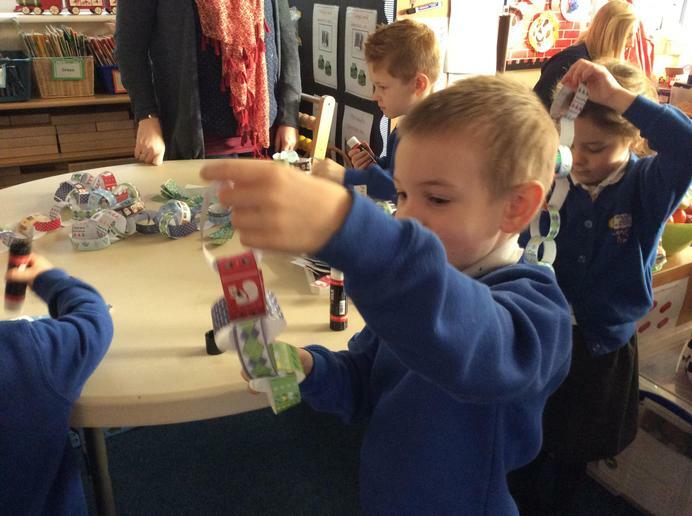 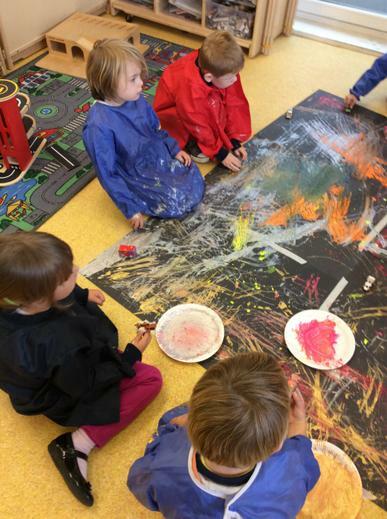 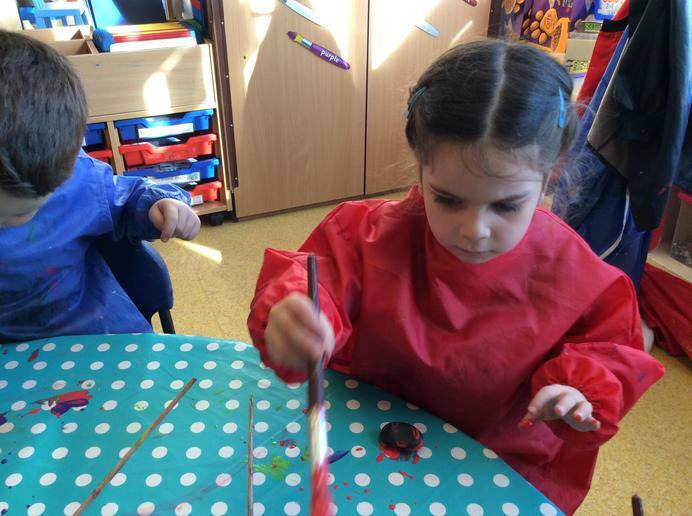 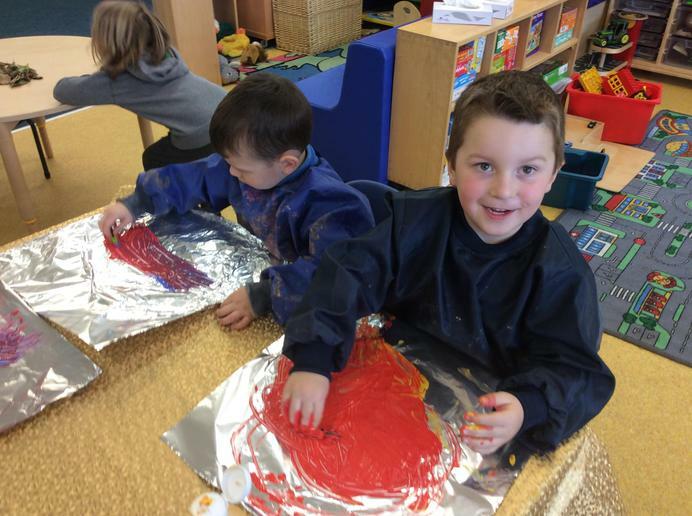 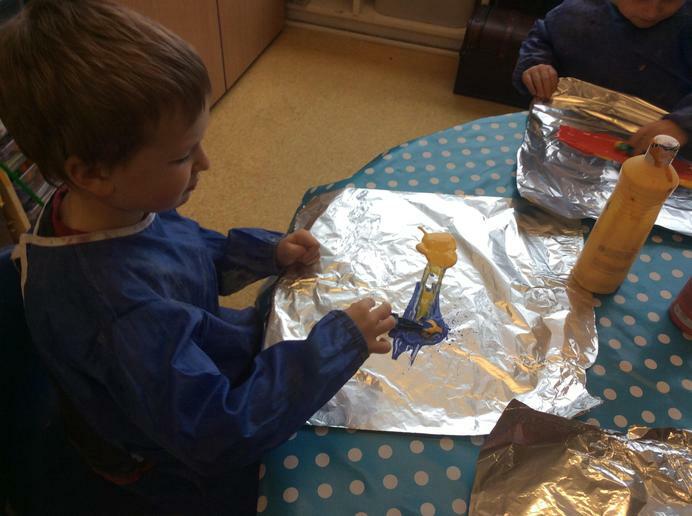 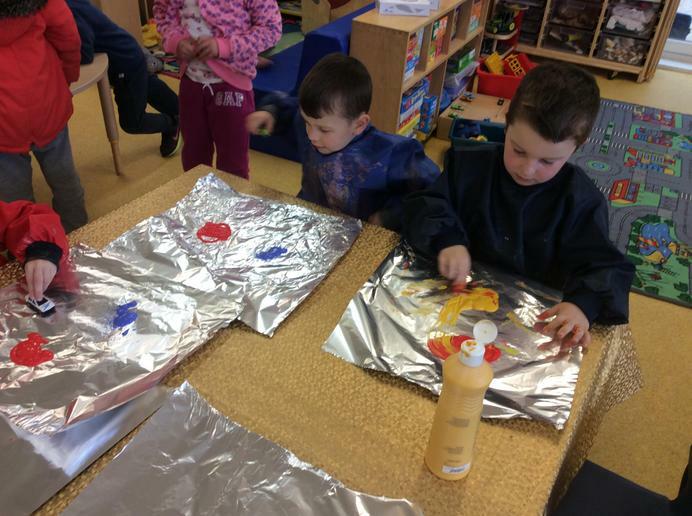 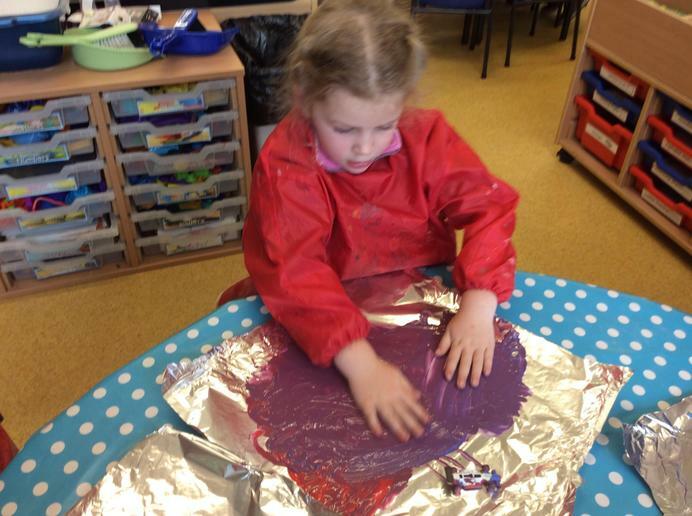 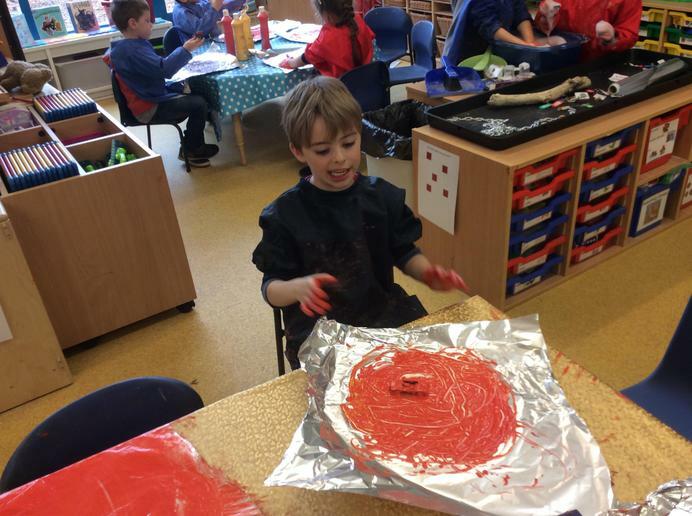 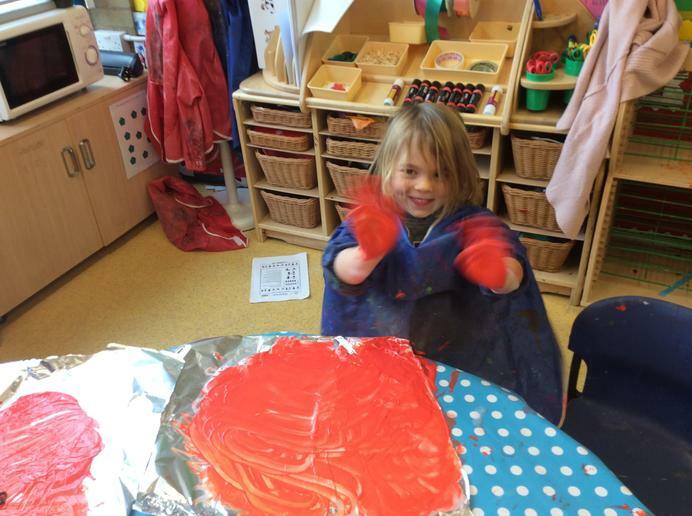 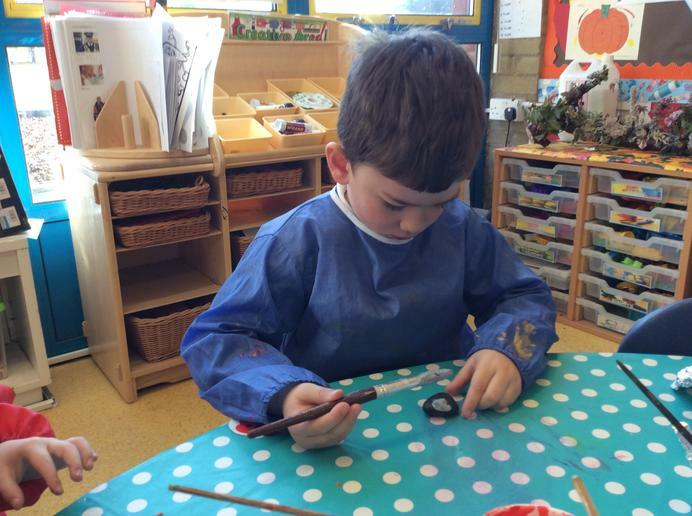 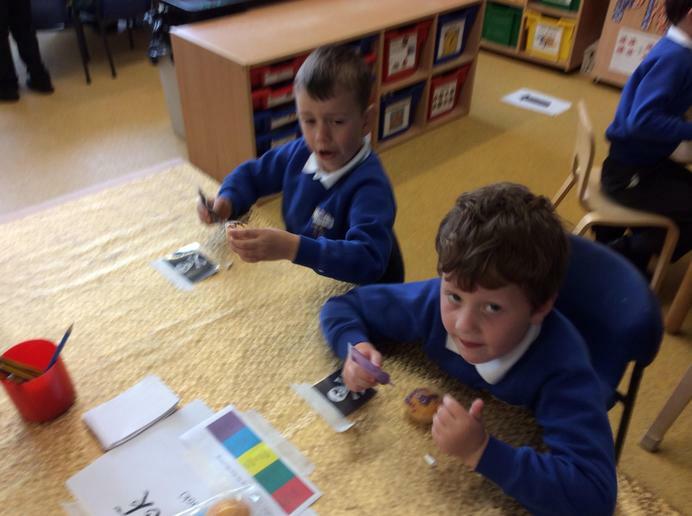 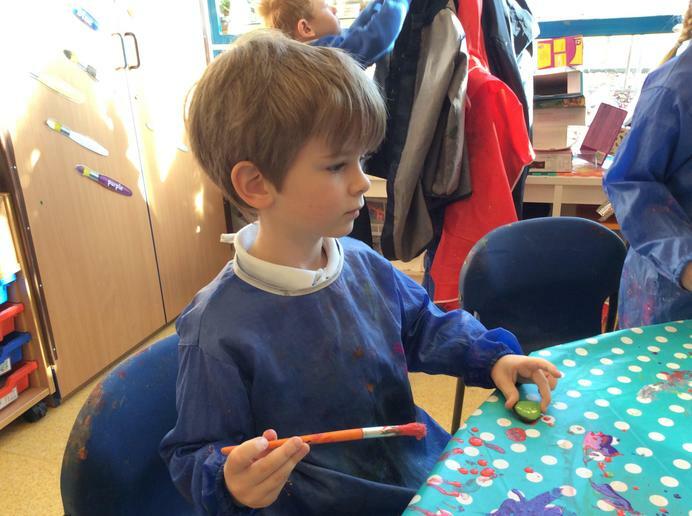 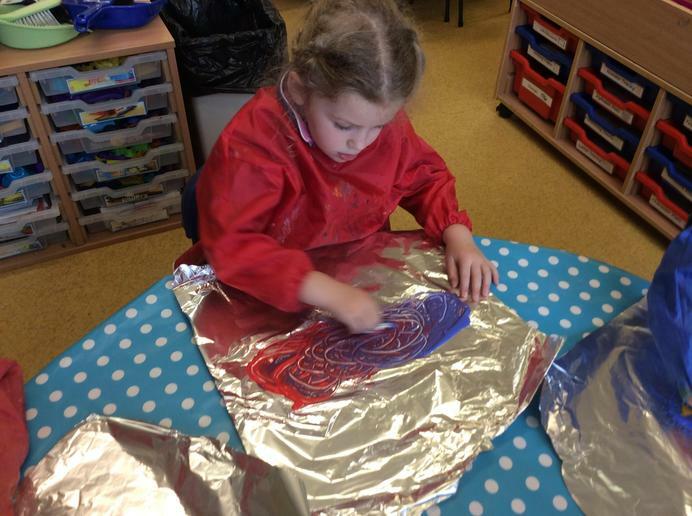 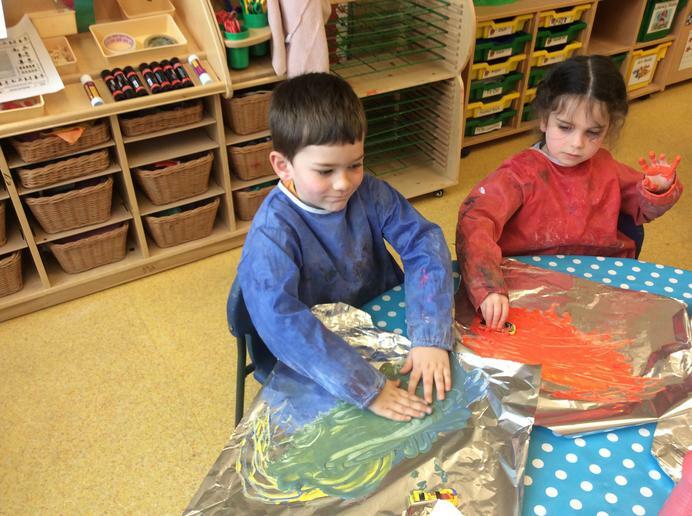 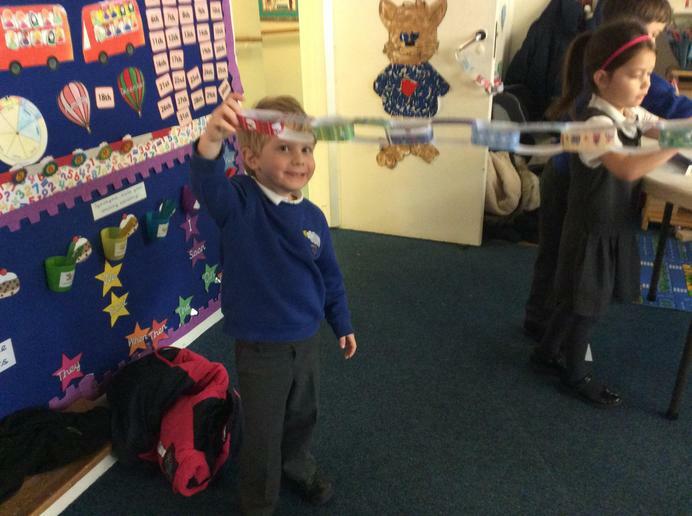 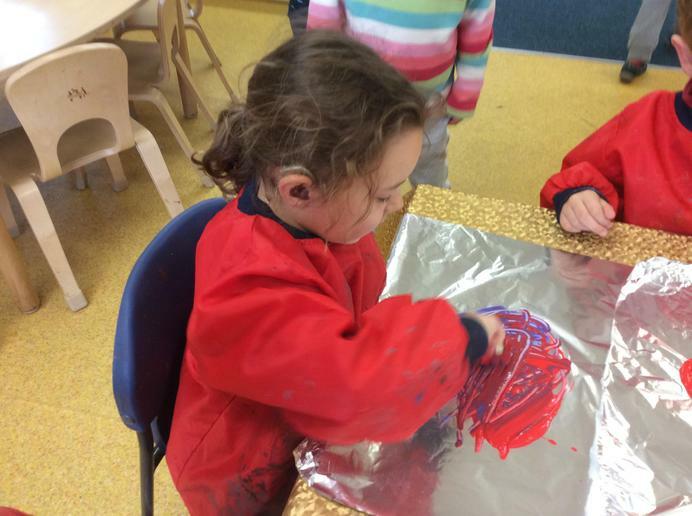 The children used cars to help them mix up primary colours to see what other colours they could make. 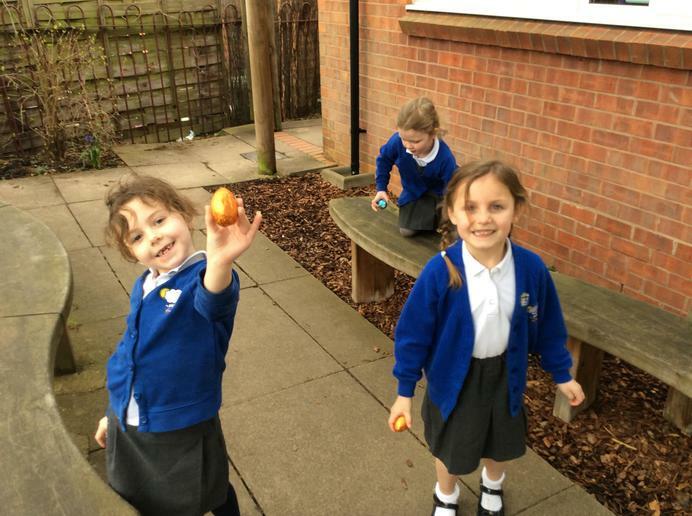 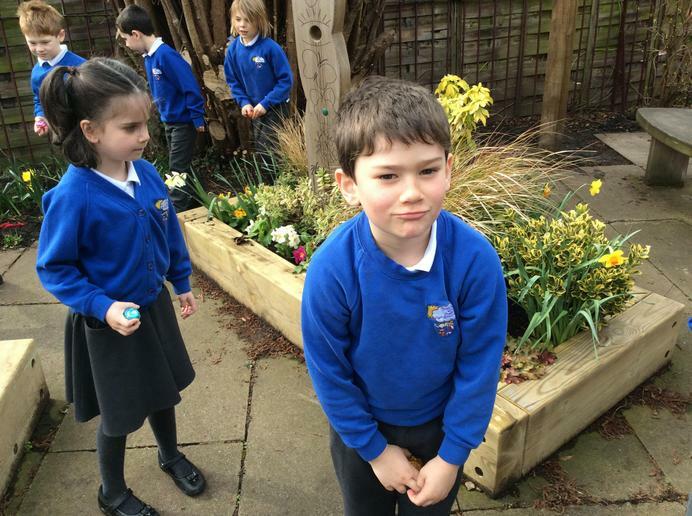 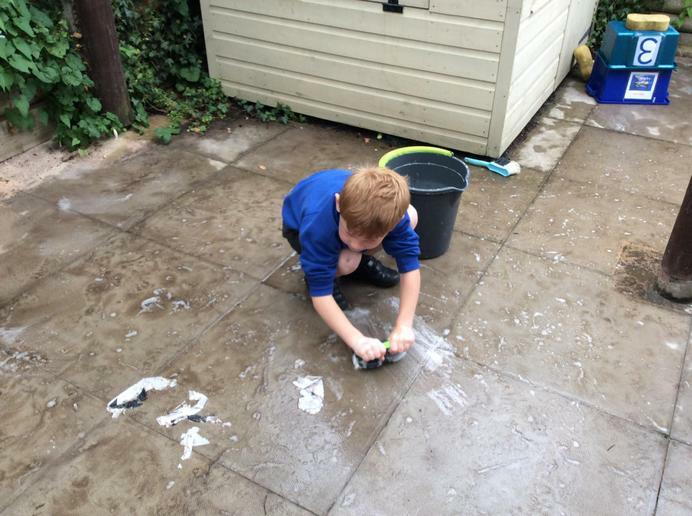 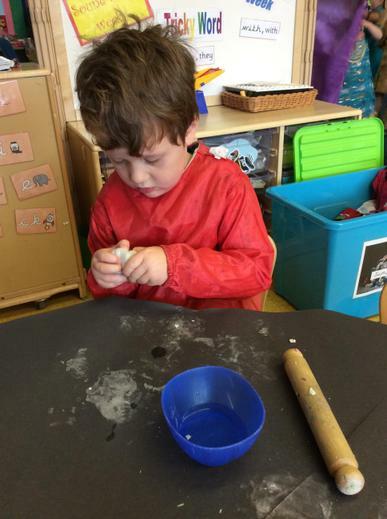 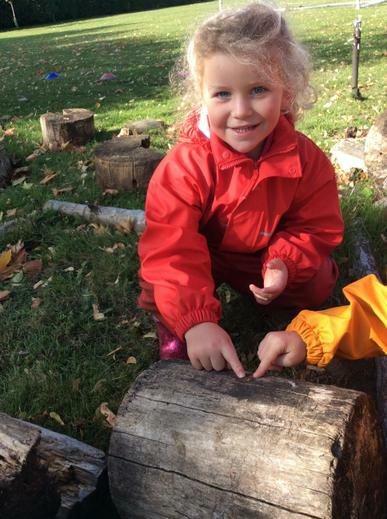 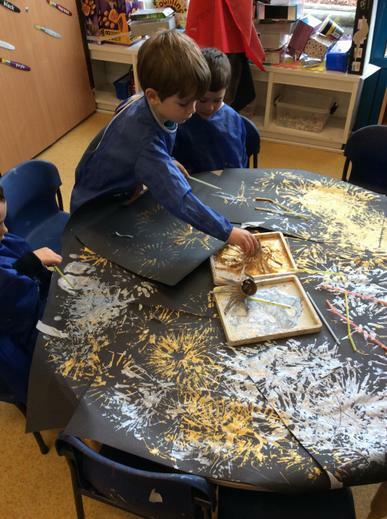 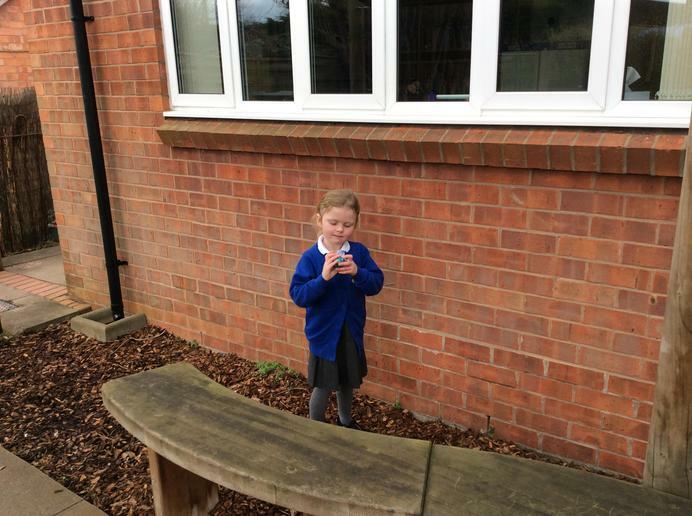 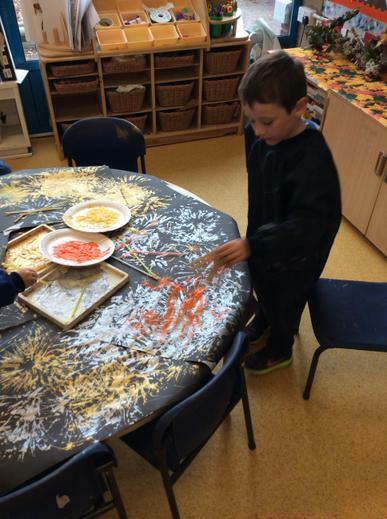 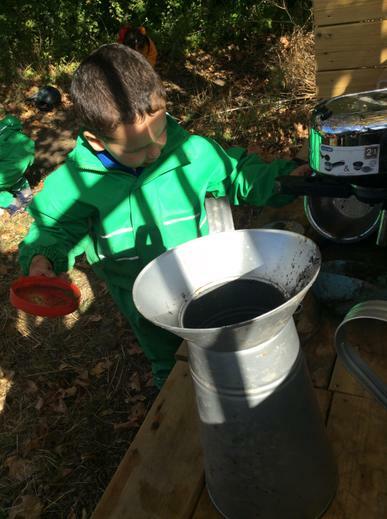 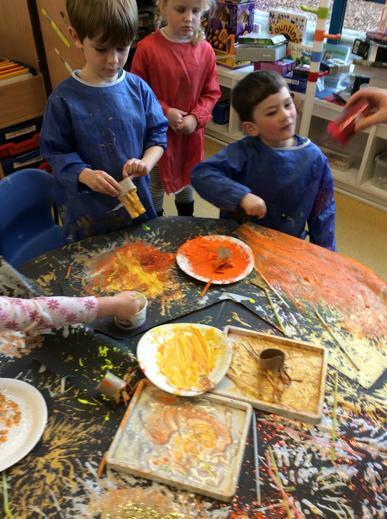 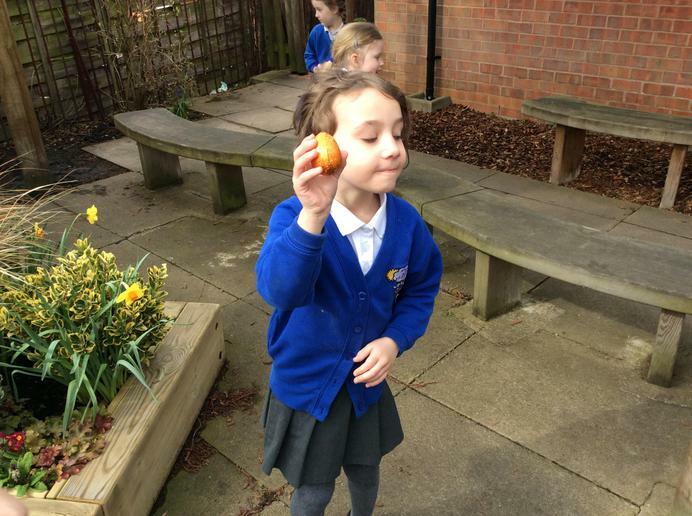 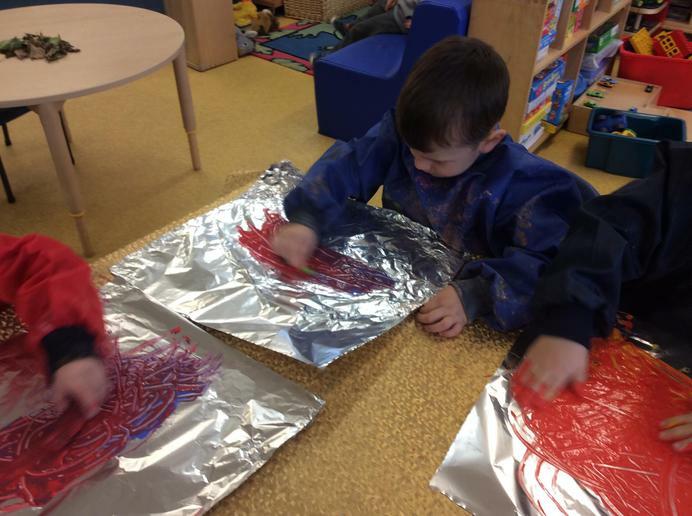 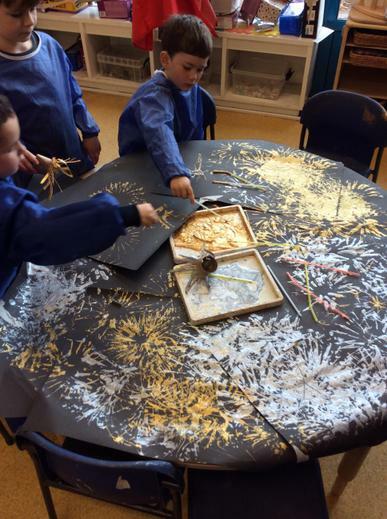 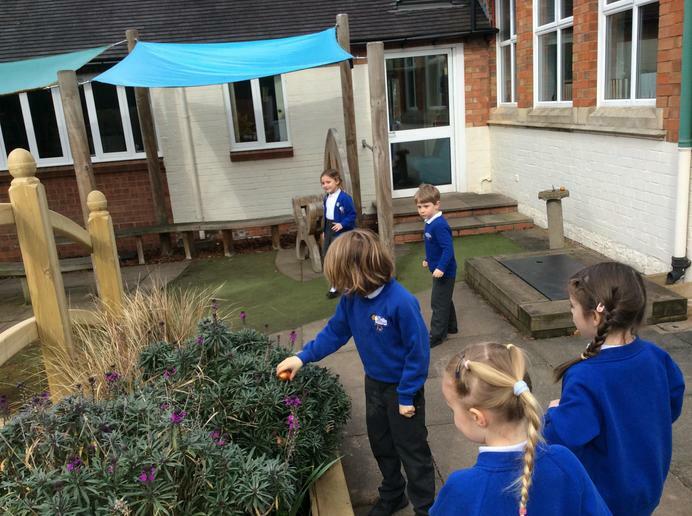 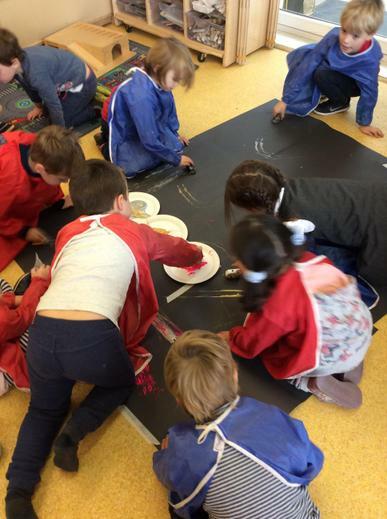 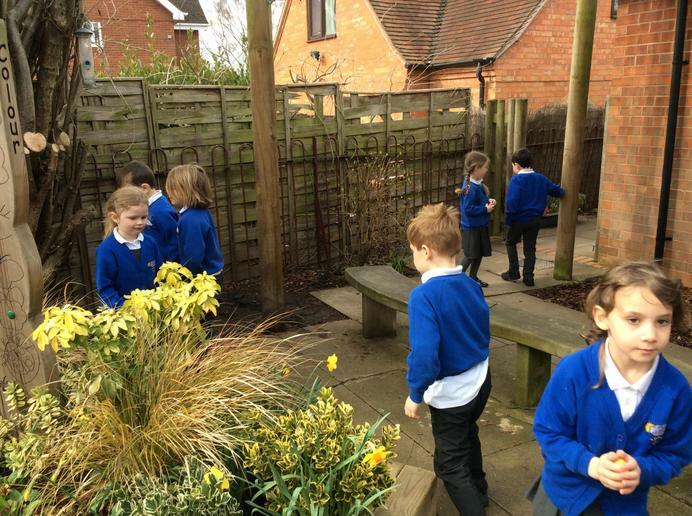 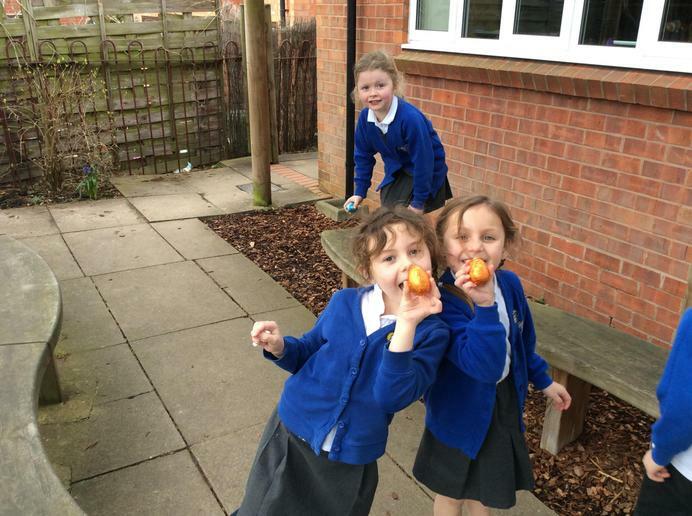 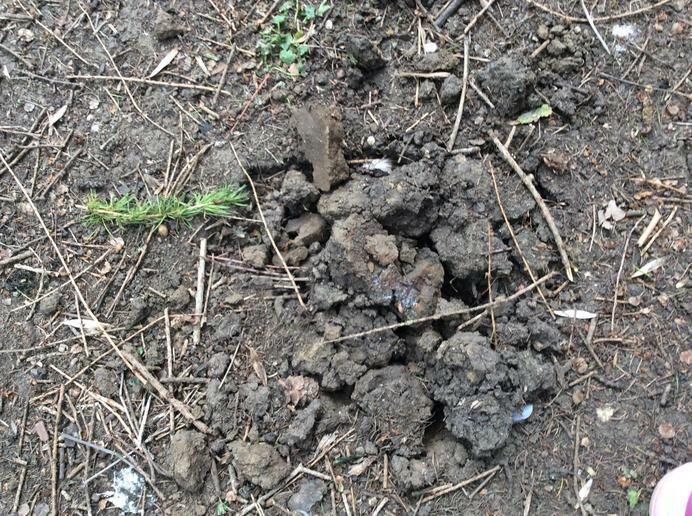 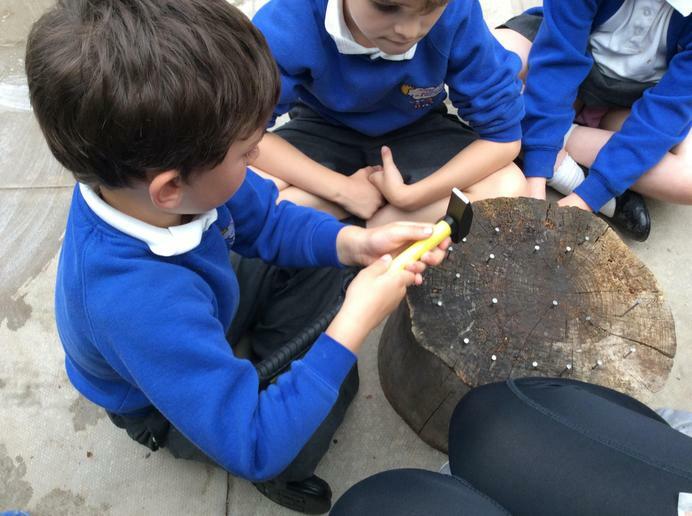 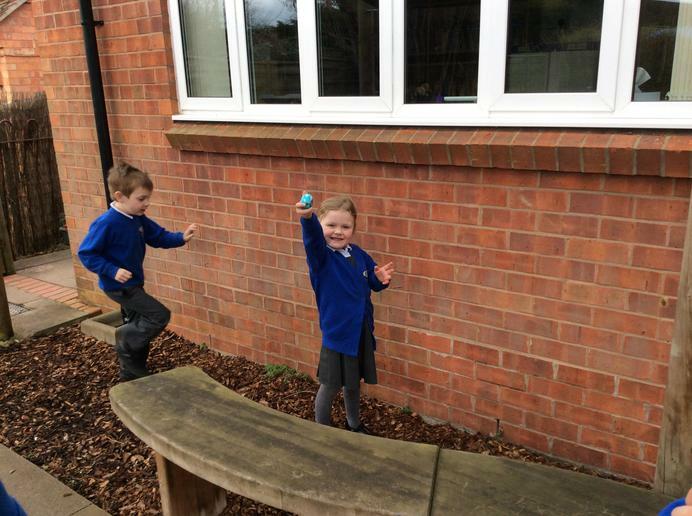 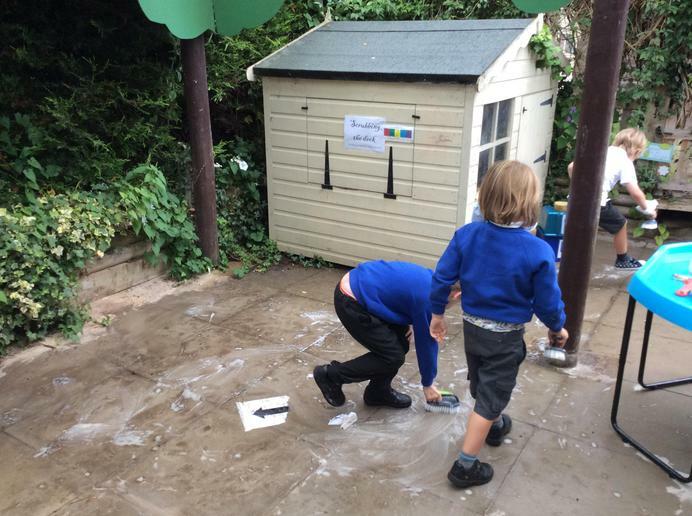 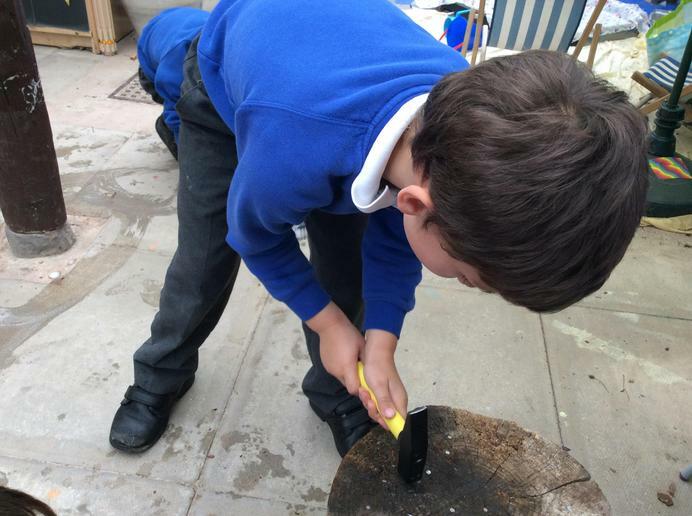 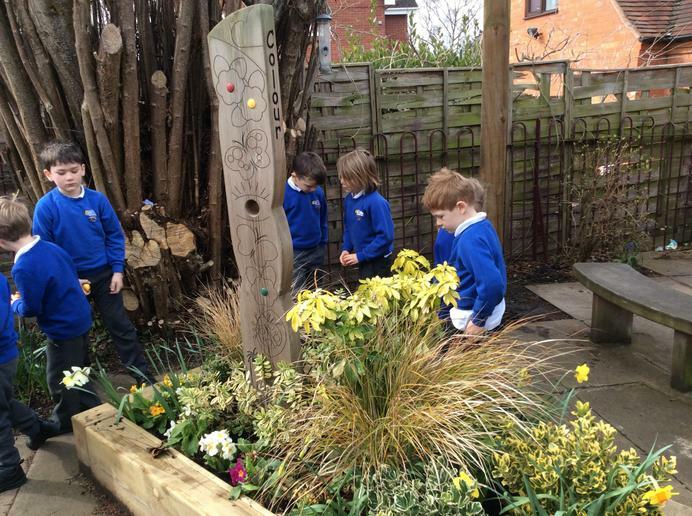 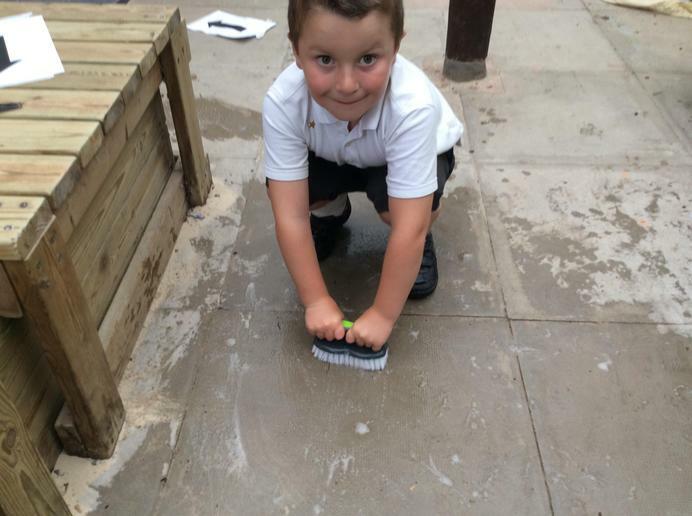 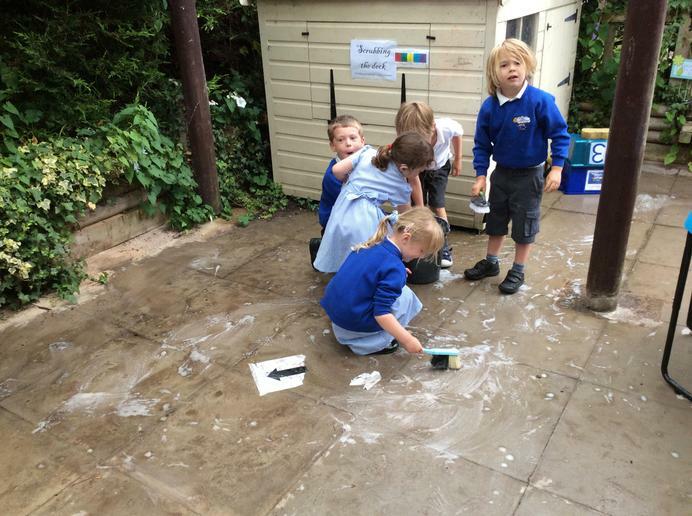 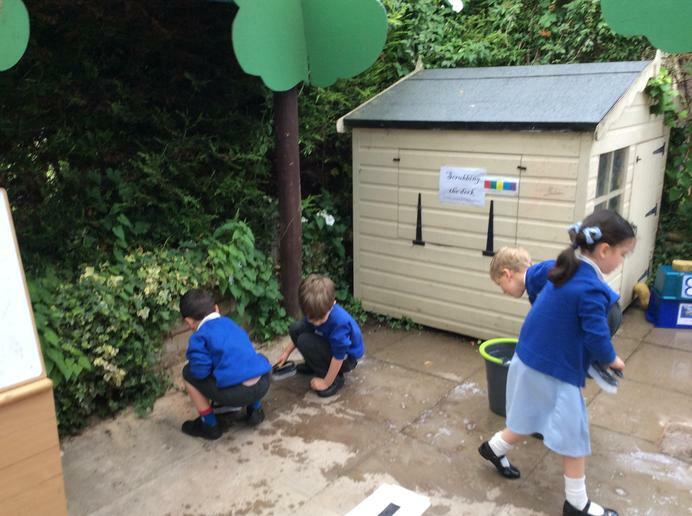 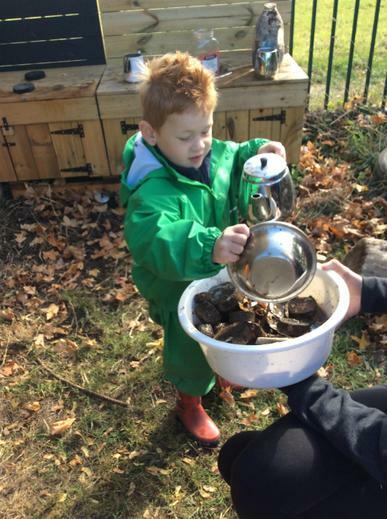 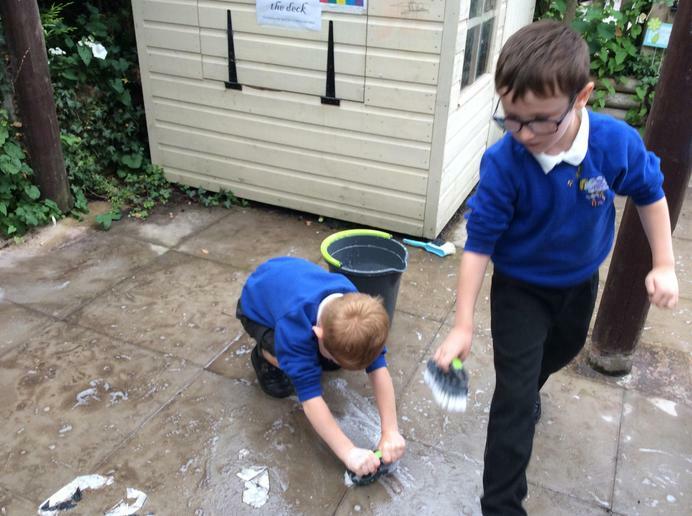 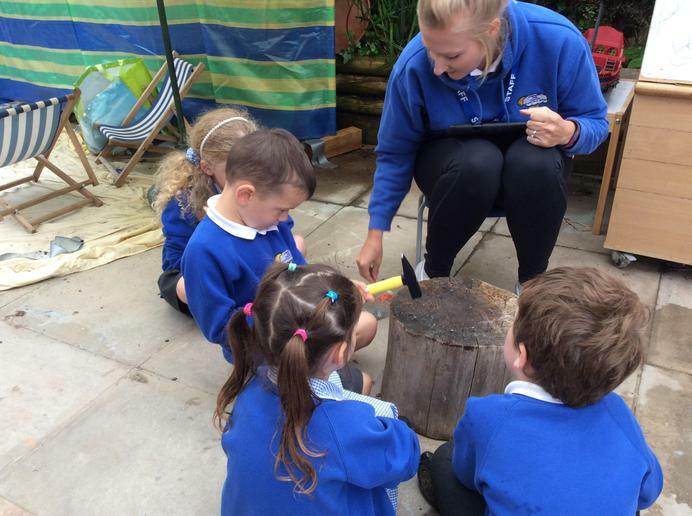 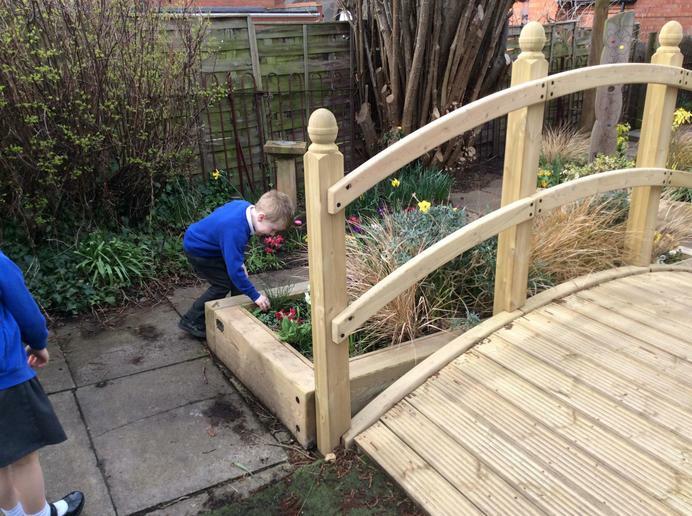 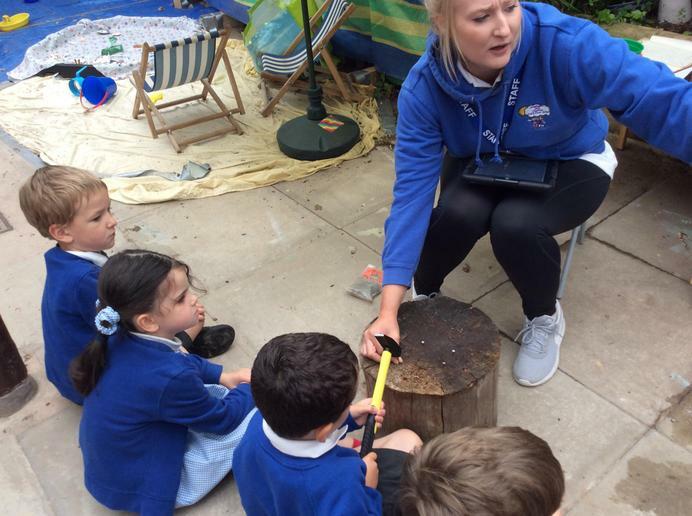 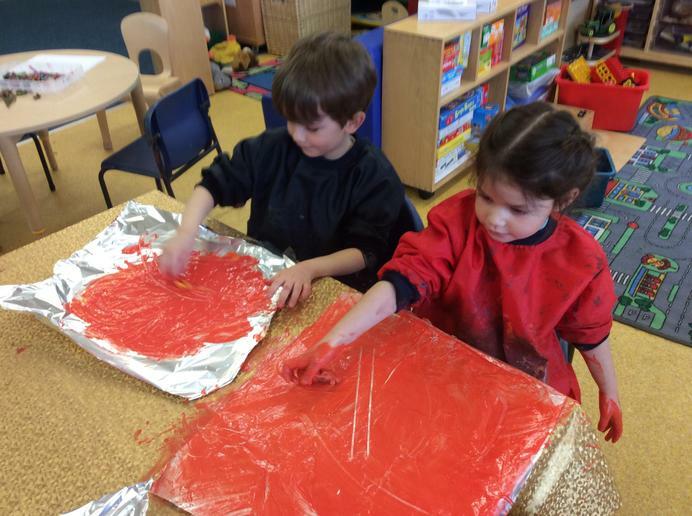 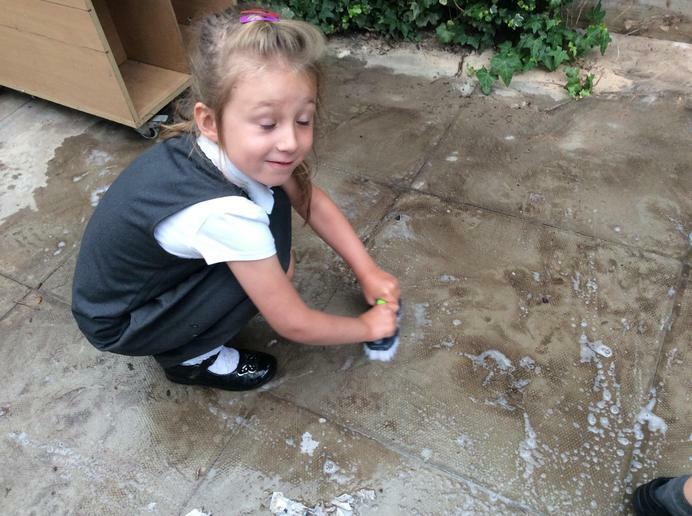 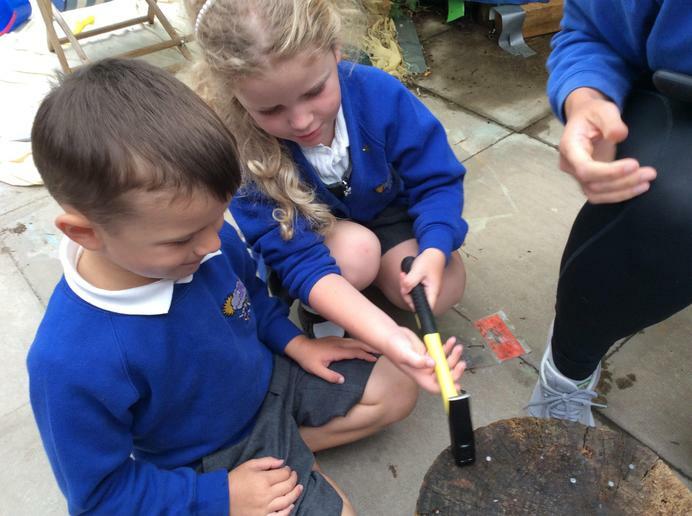 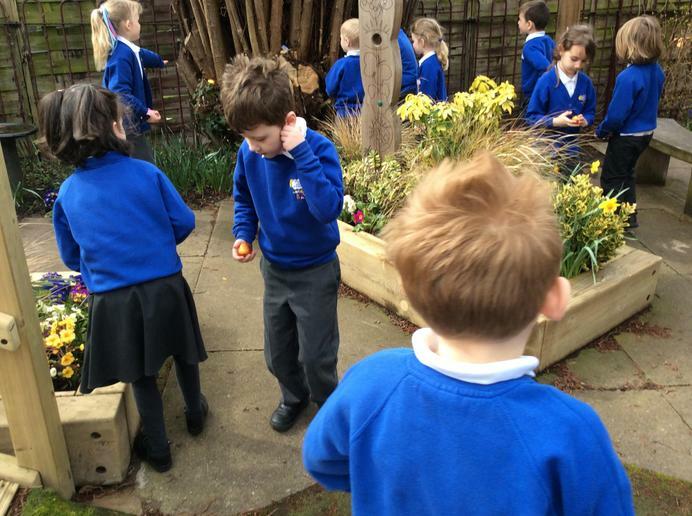 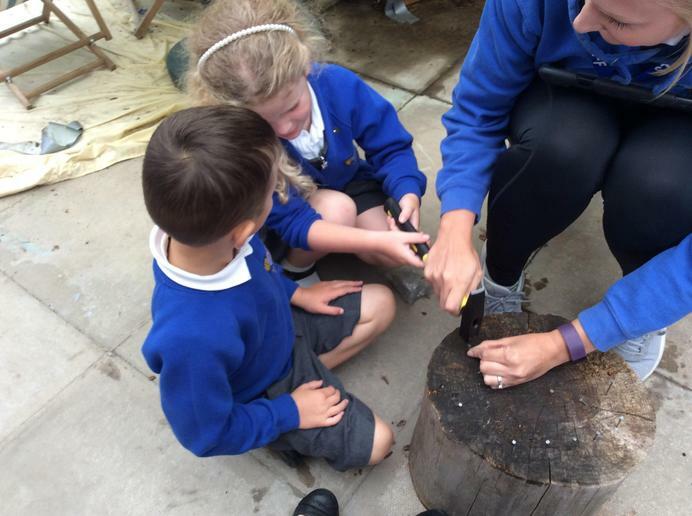 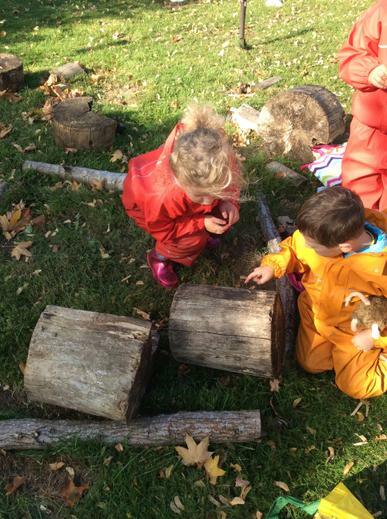 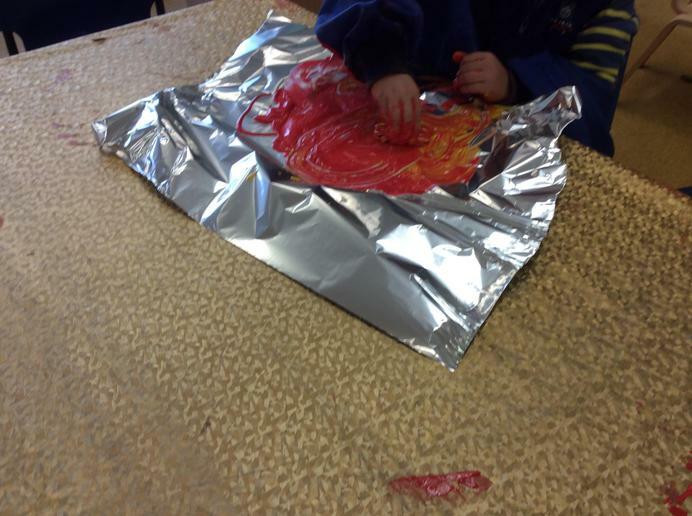 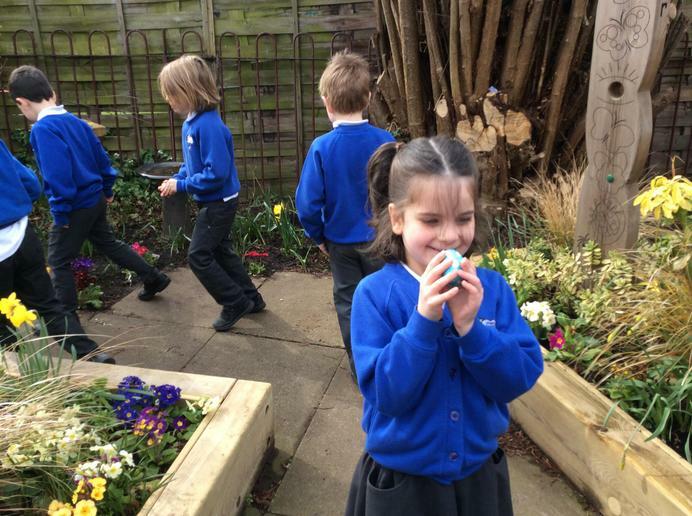 The children also went outside to find items that they could rub with wax crayons to see what textures and patterns they could make. 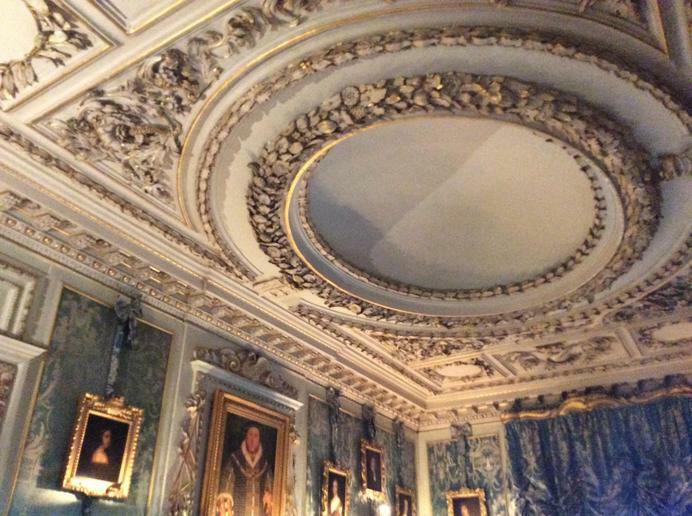 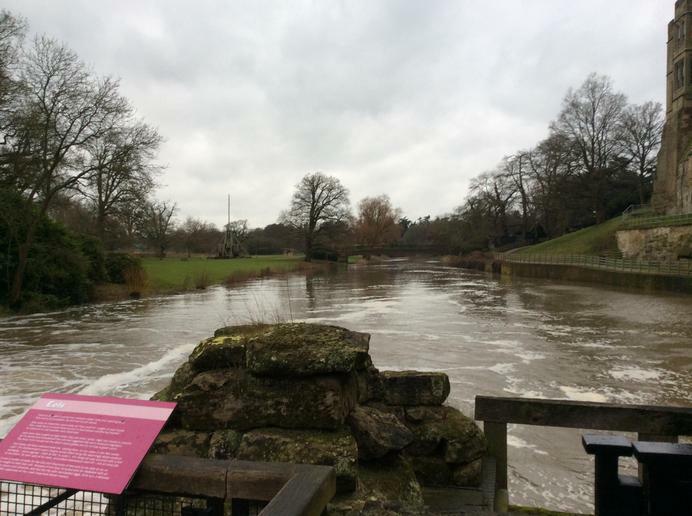 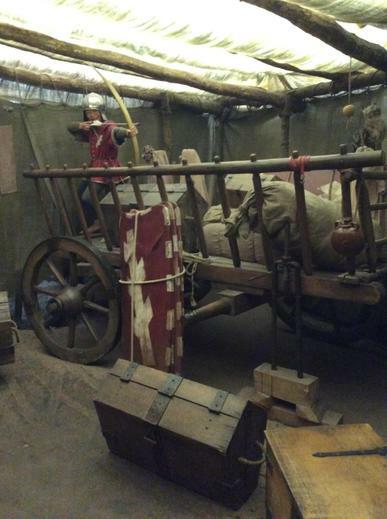 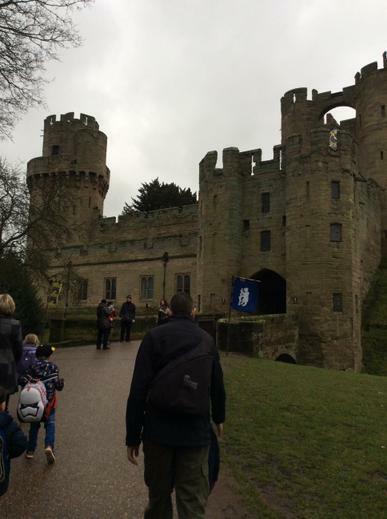 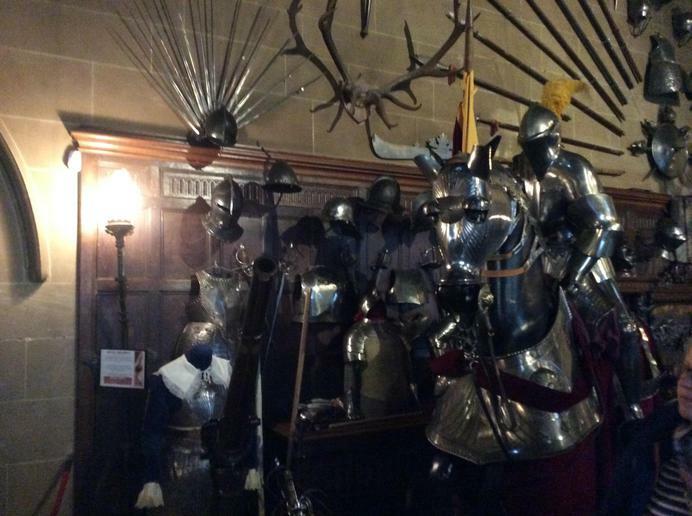 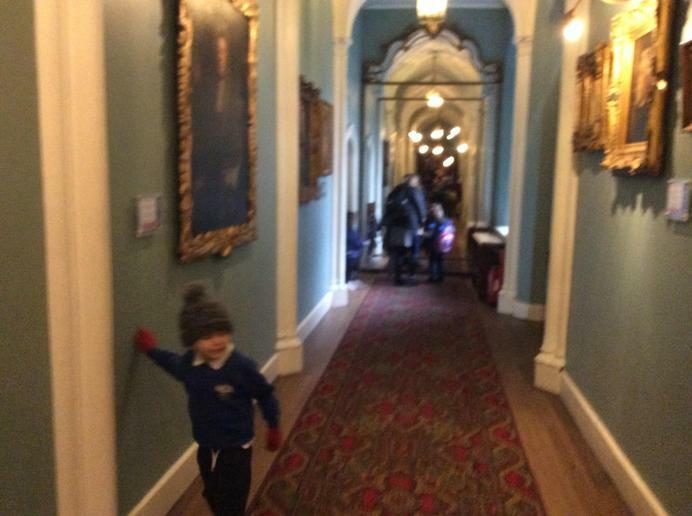 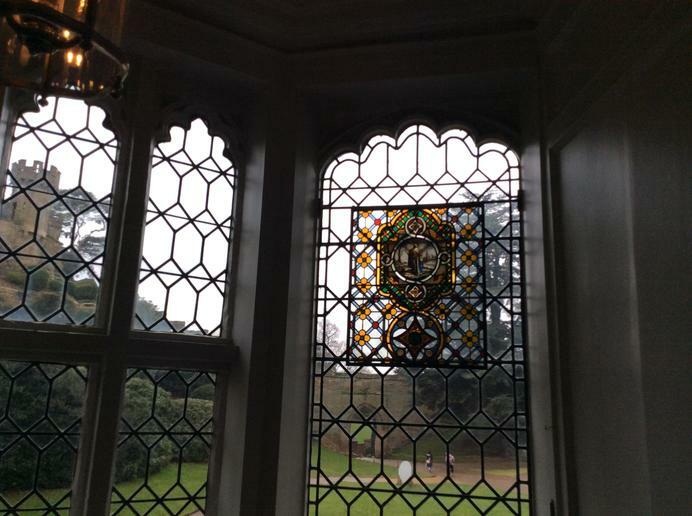 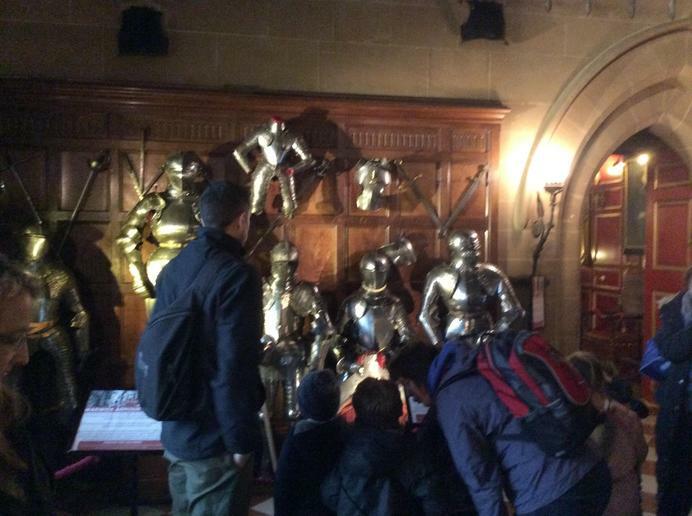 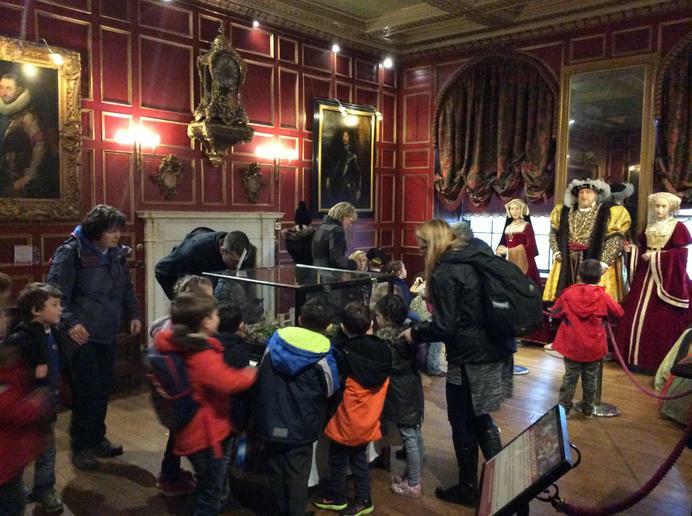 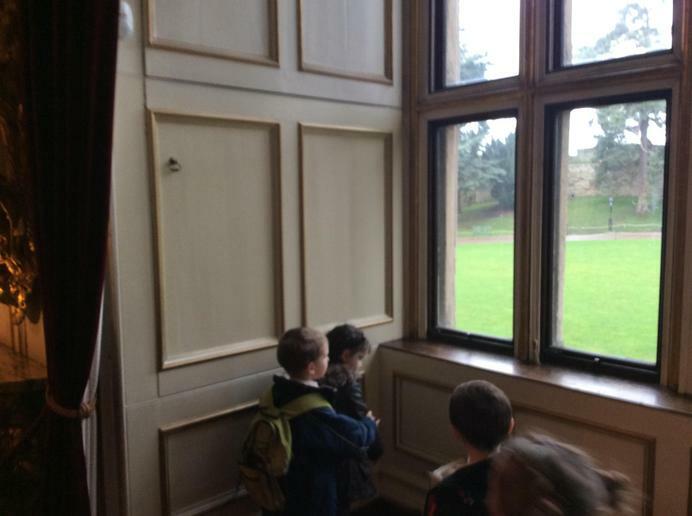 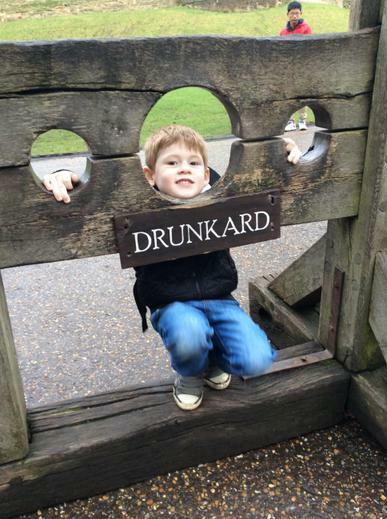 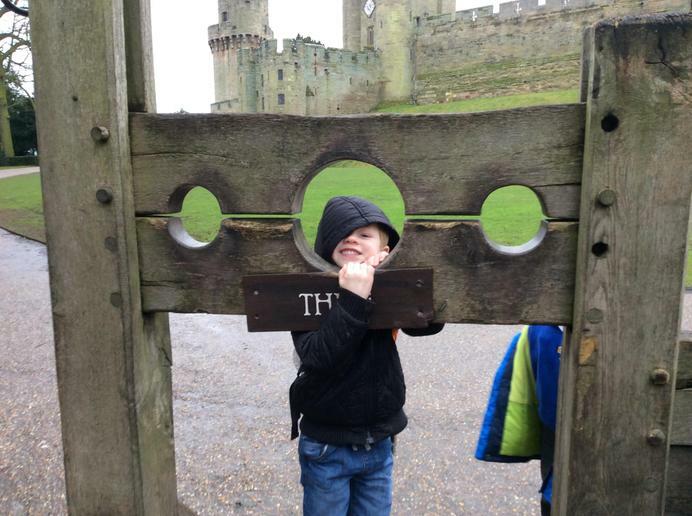 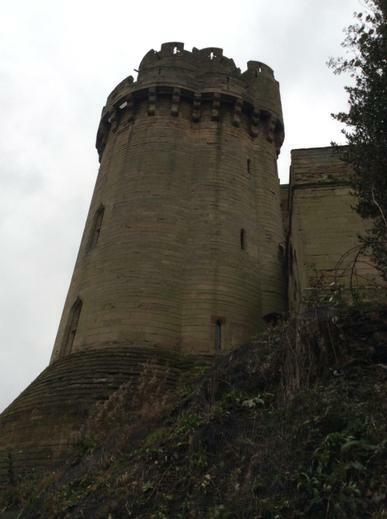 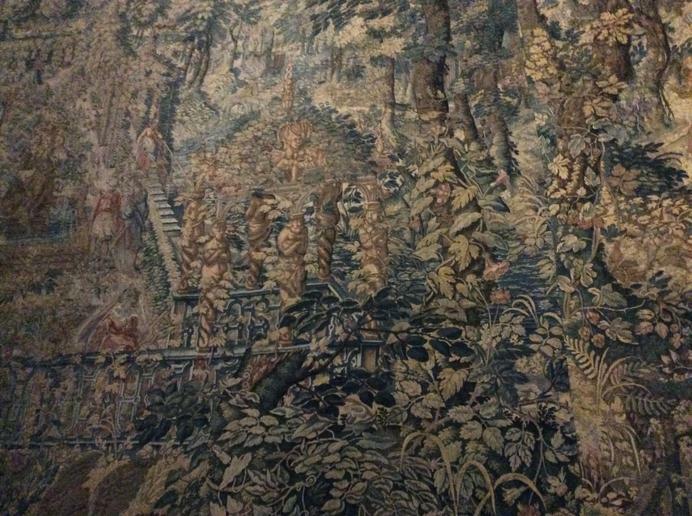 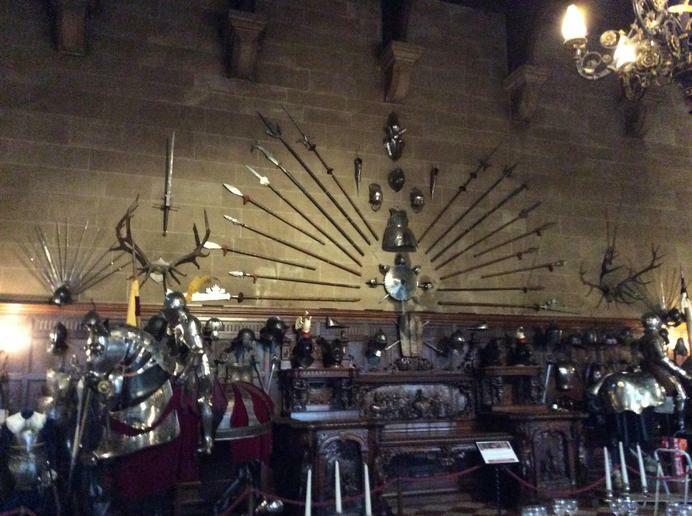 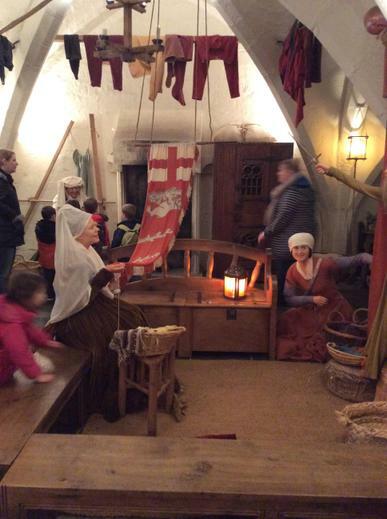 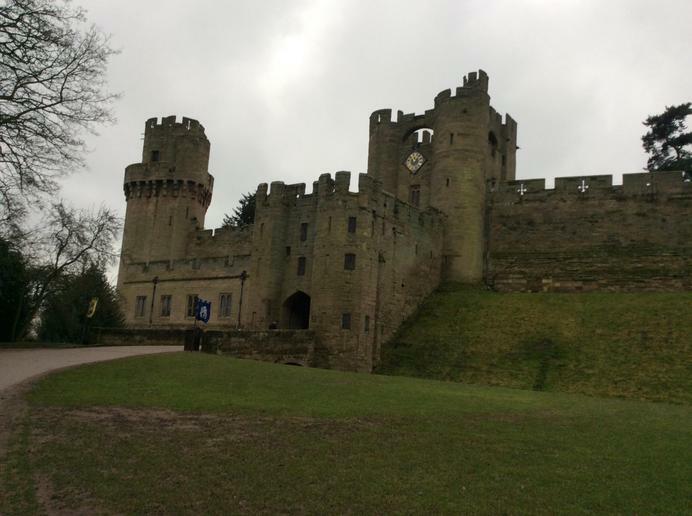 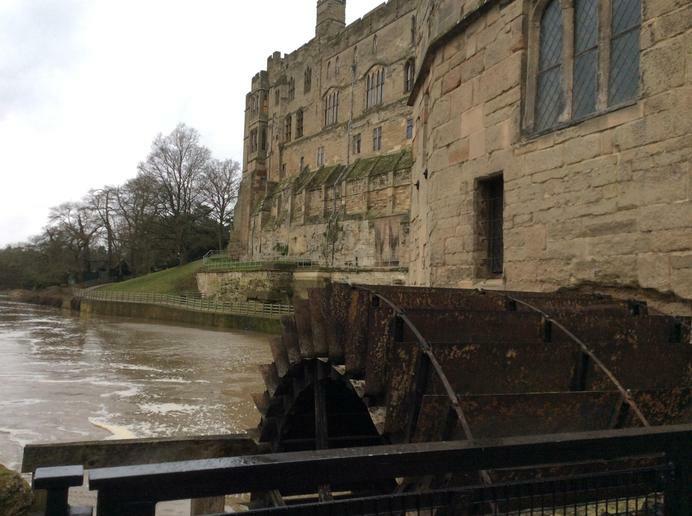 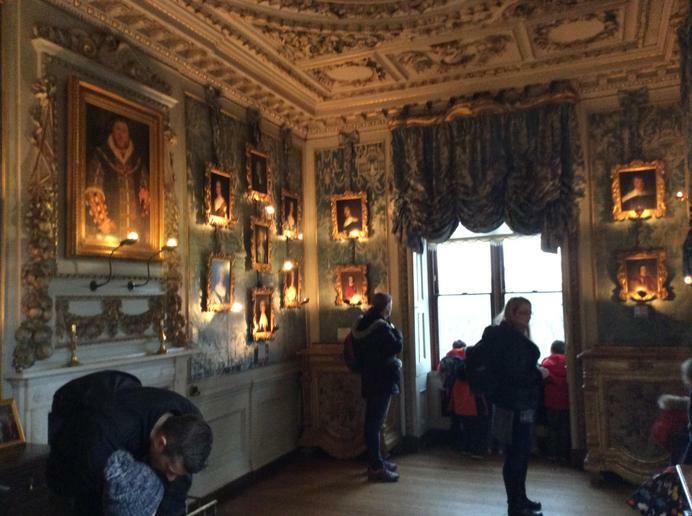 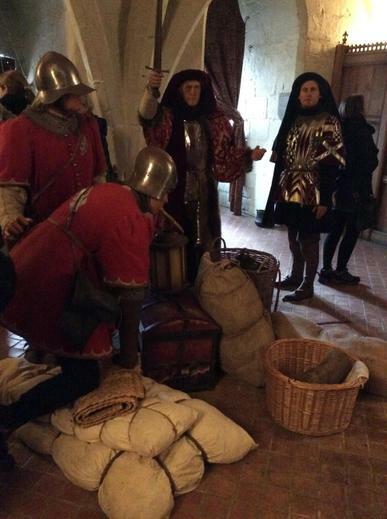 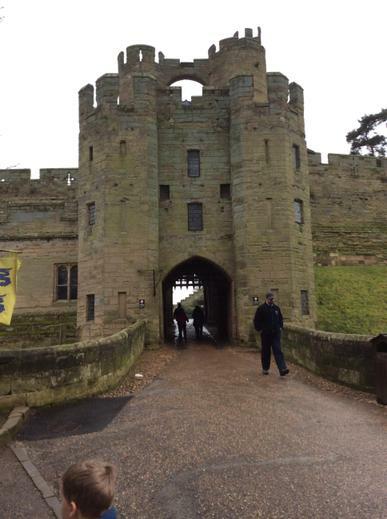 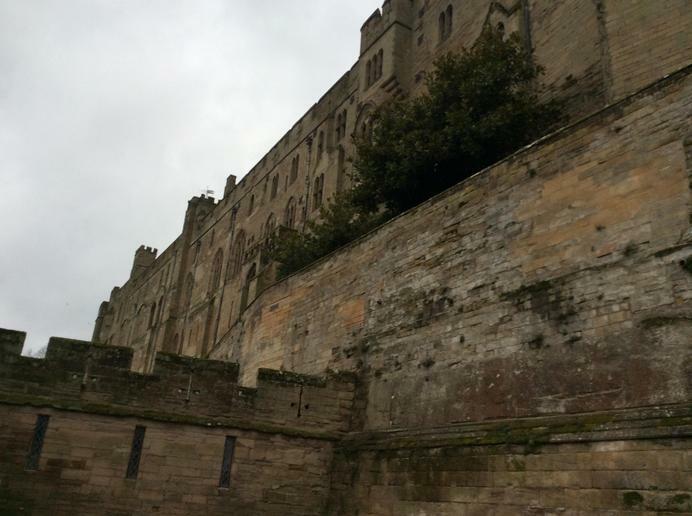 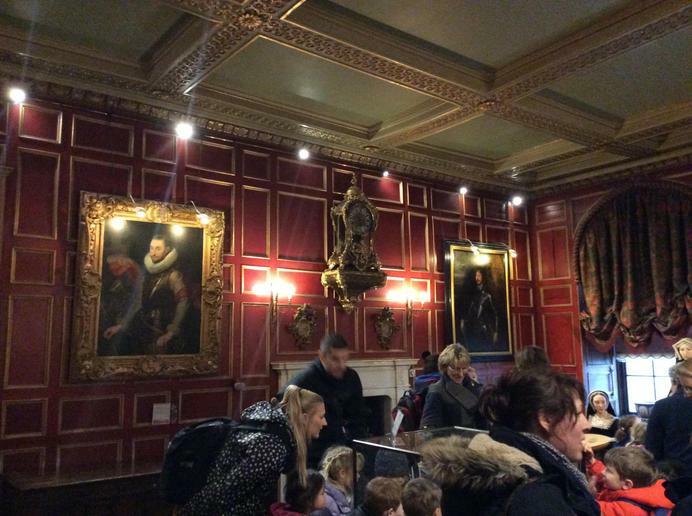 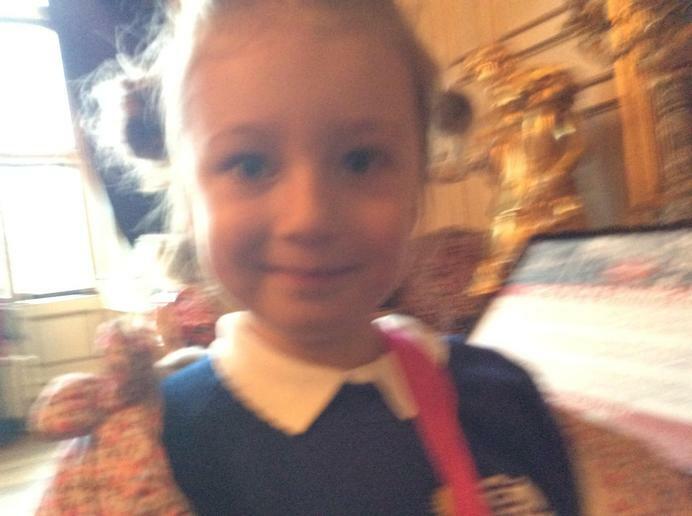 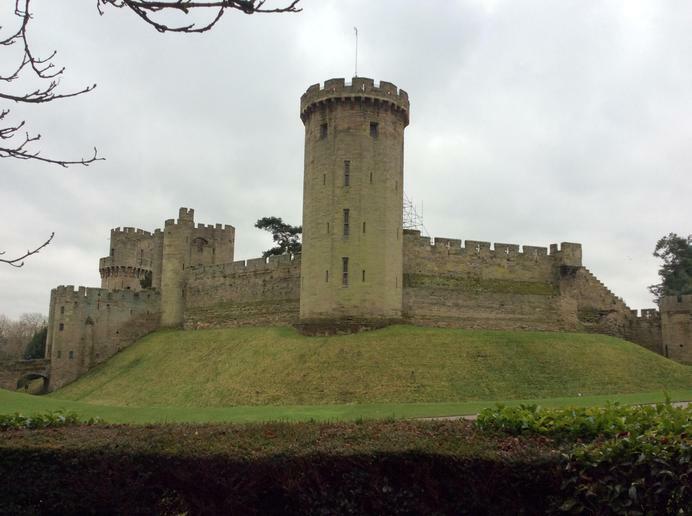 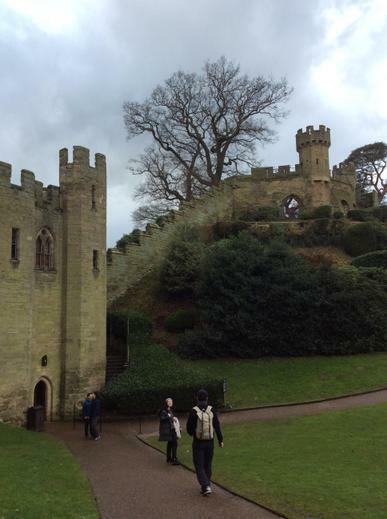 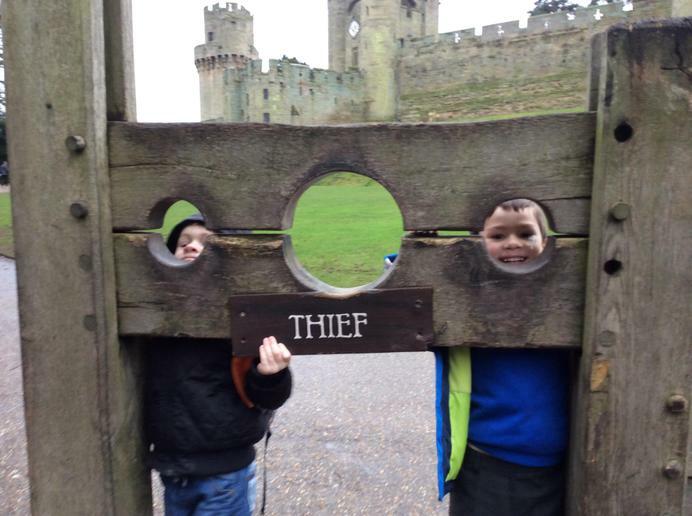 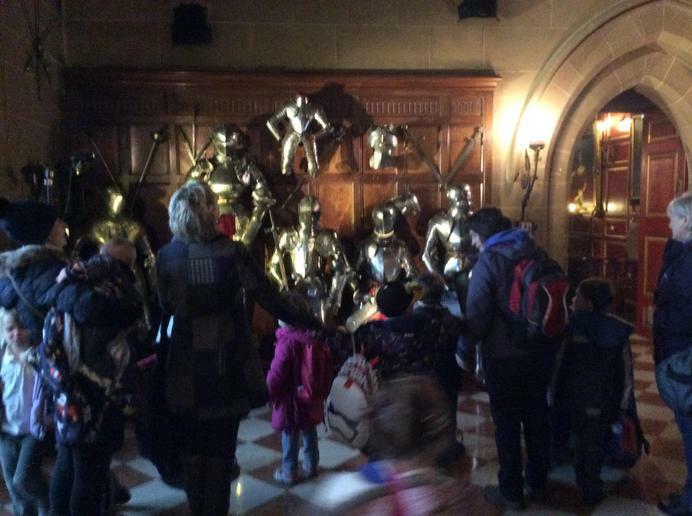 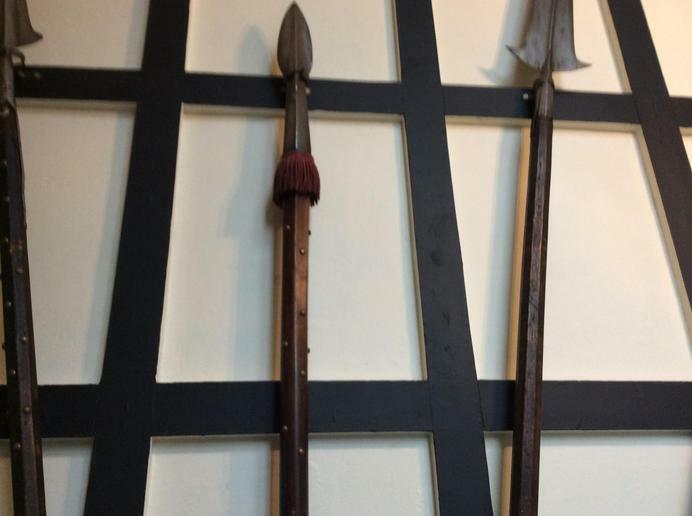 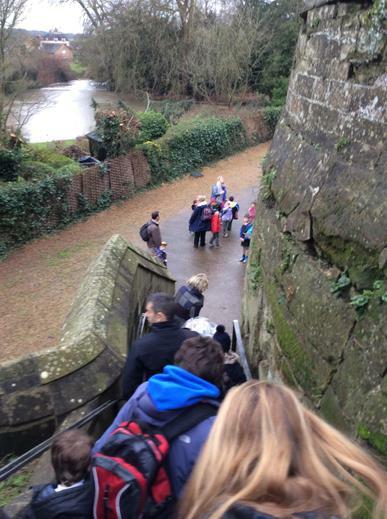 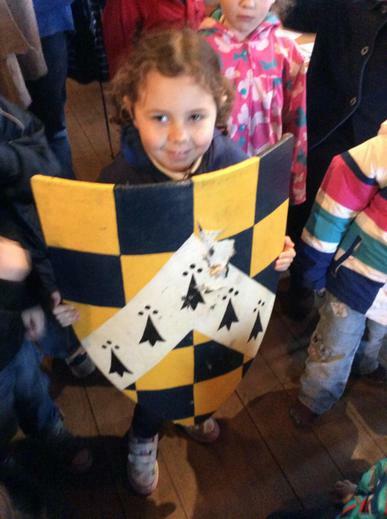 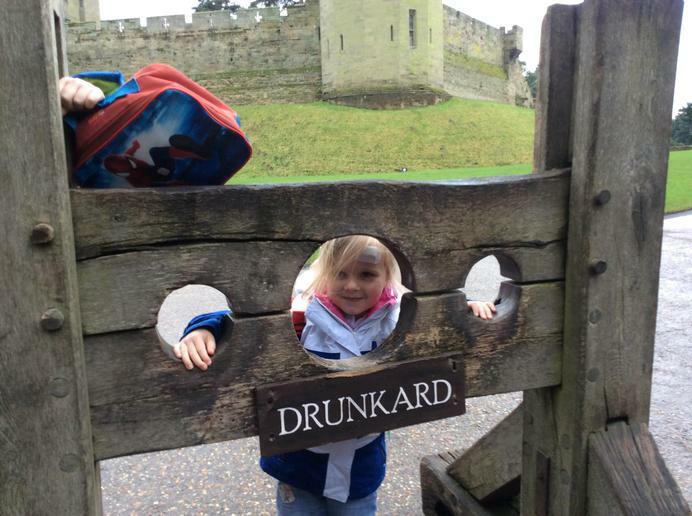 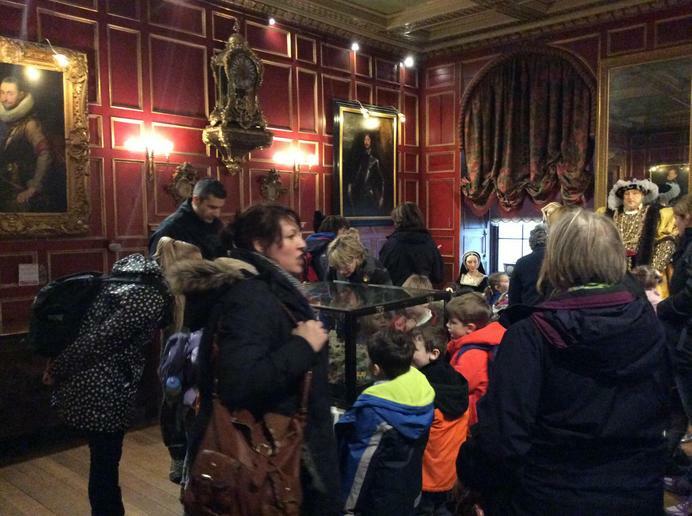 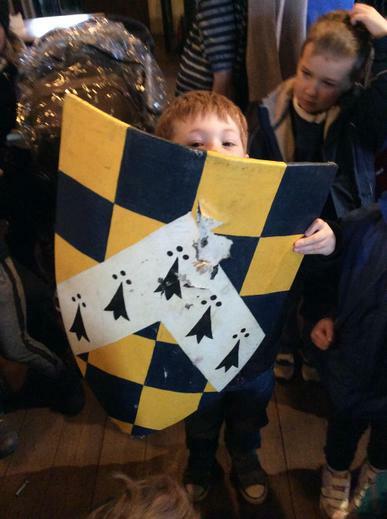 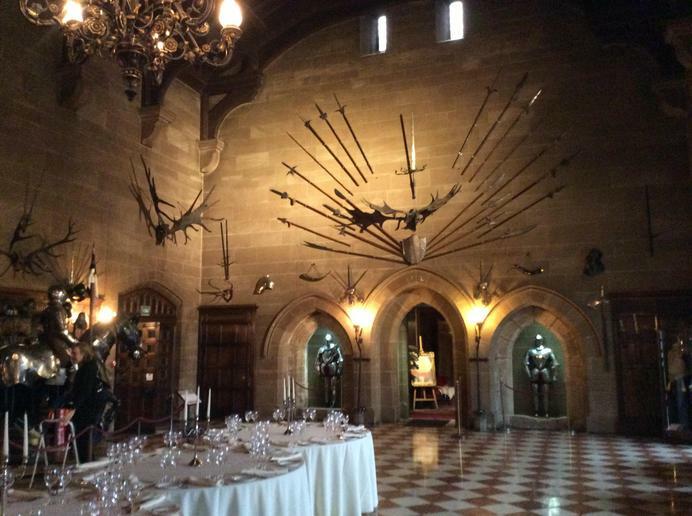 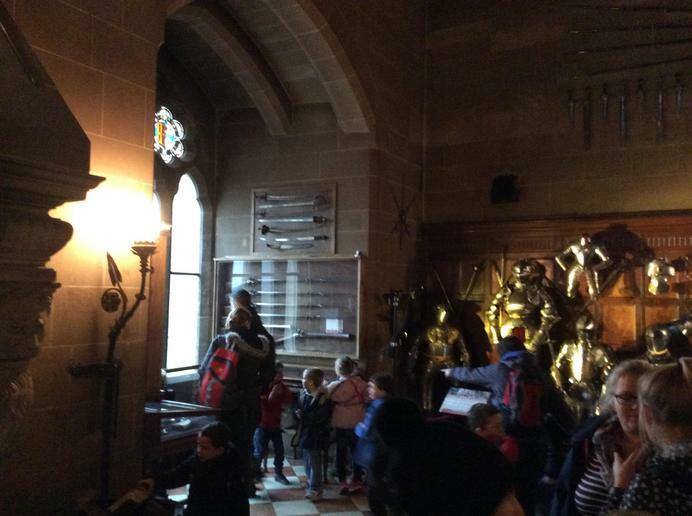 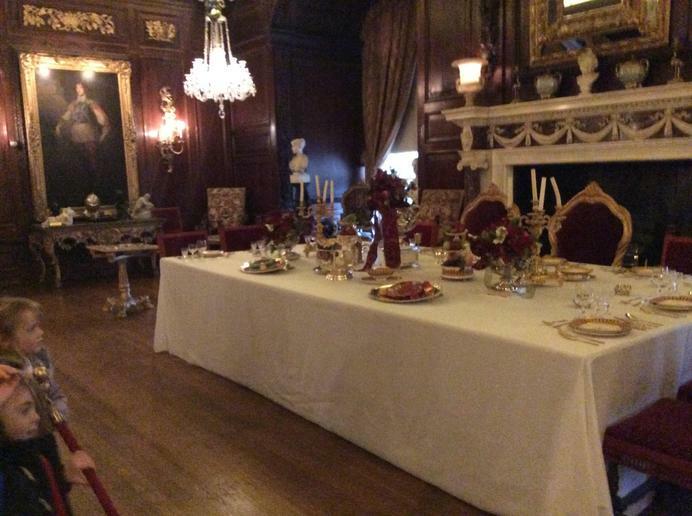 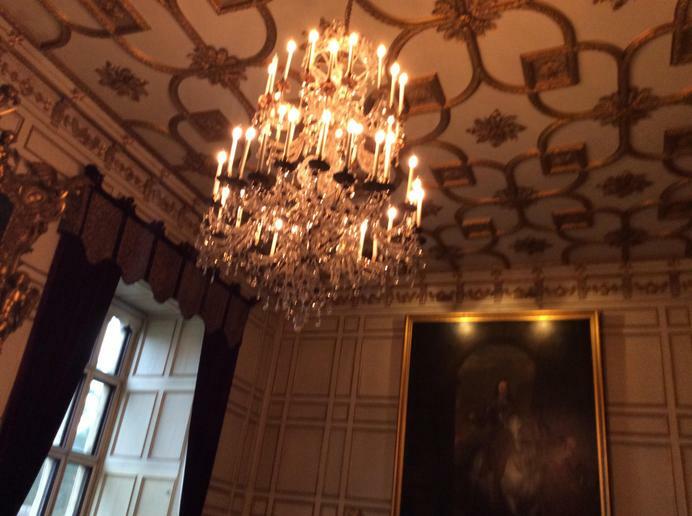 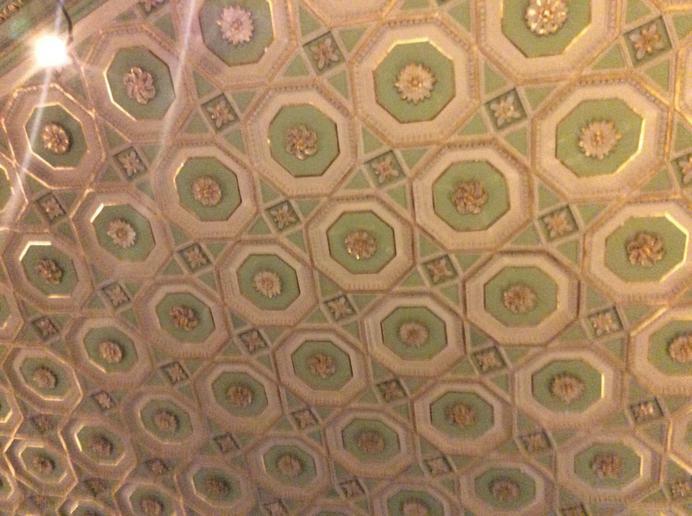 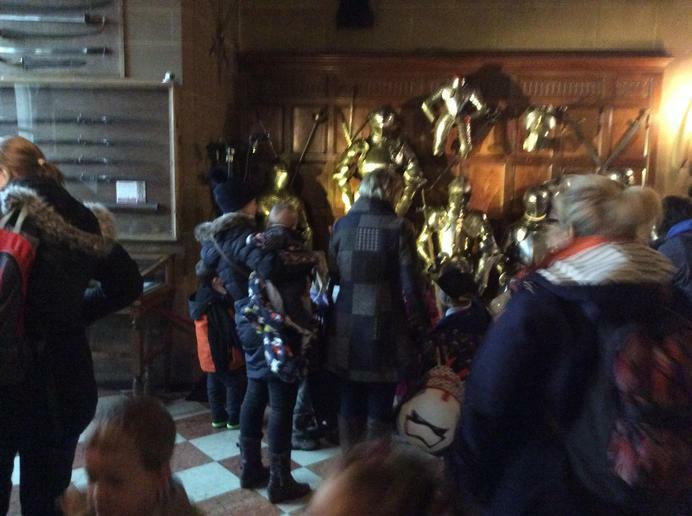 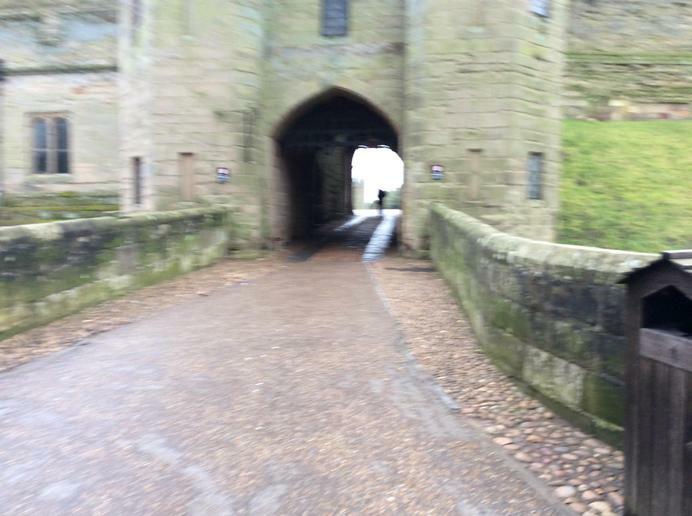 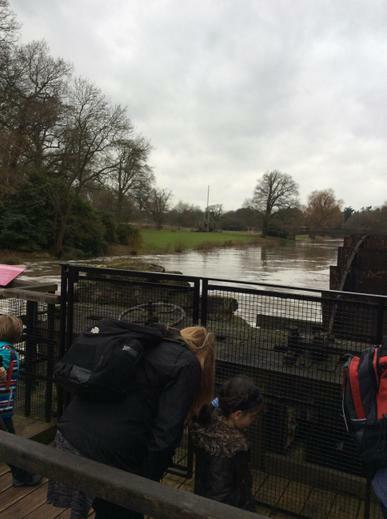 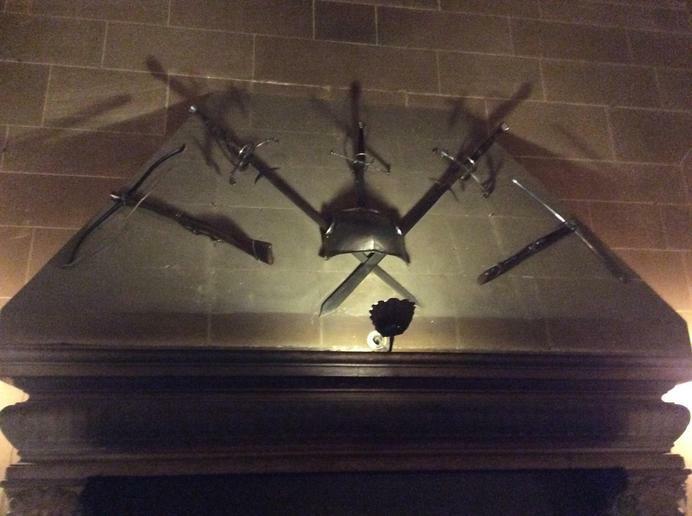 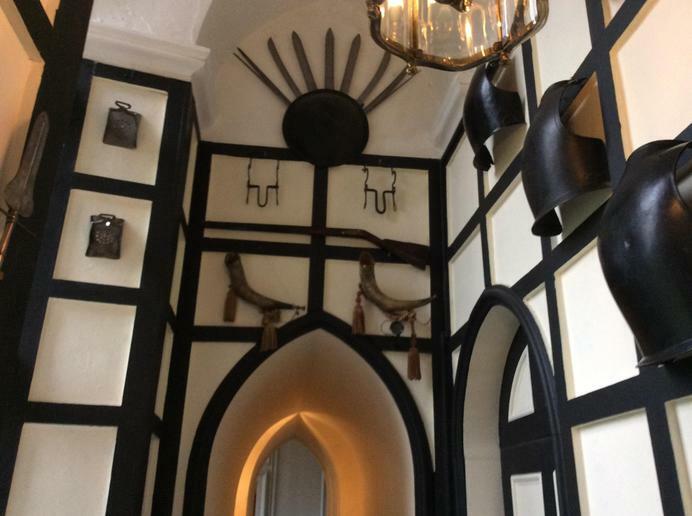 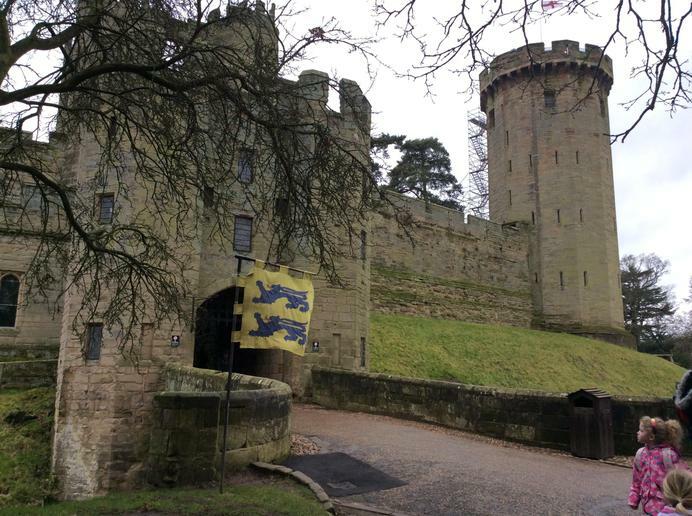 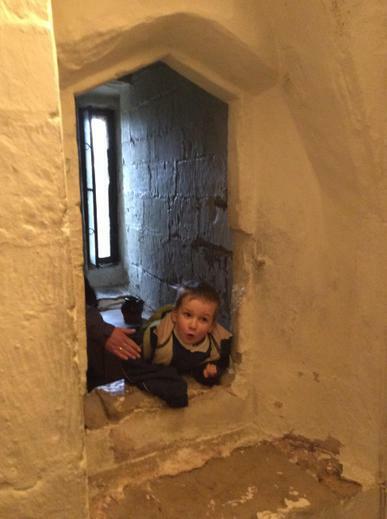 Our trip to Warwick castle. 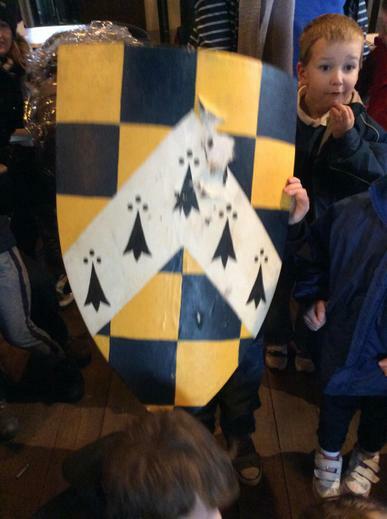 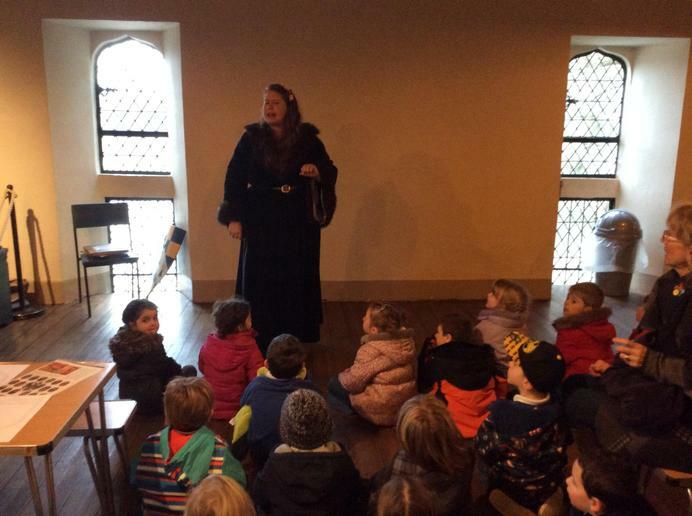 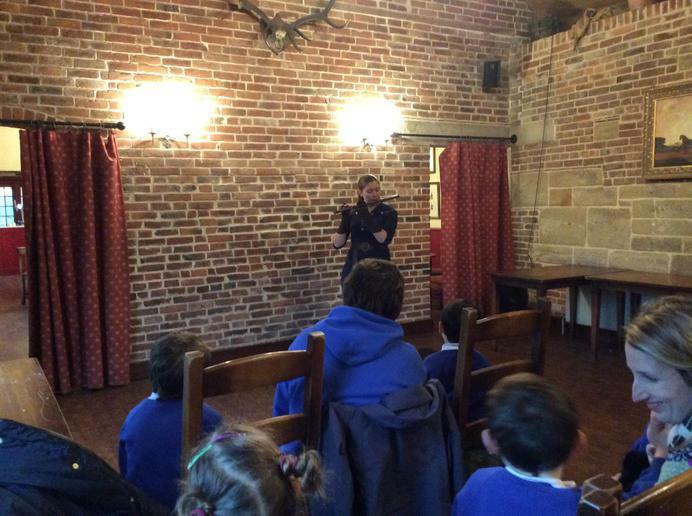 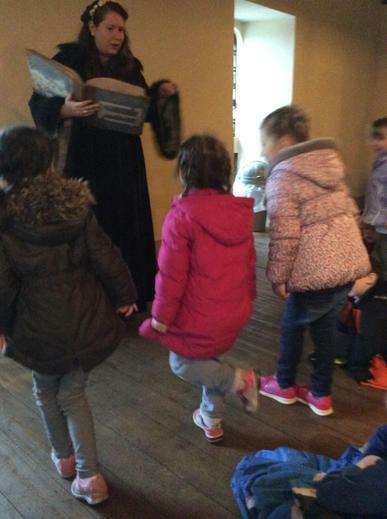 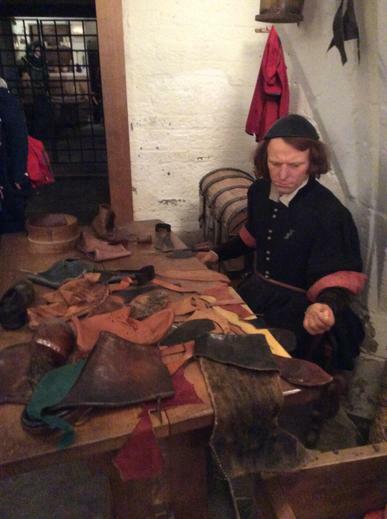 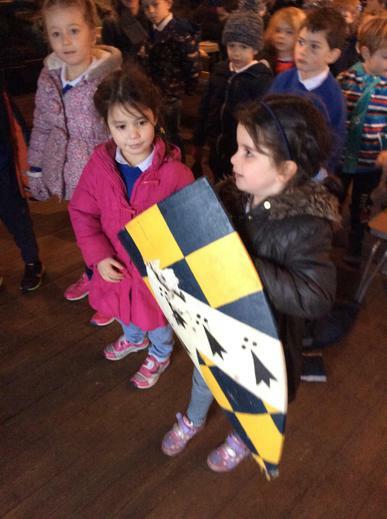 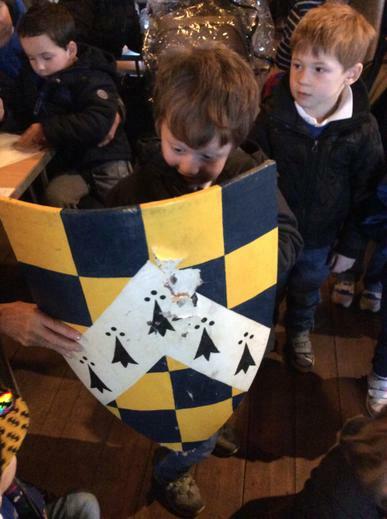 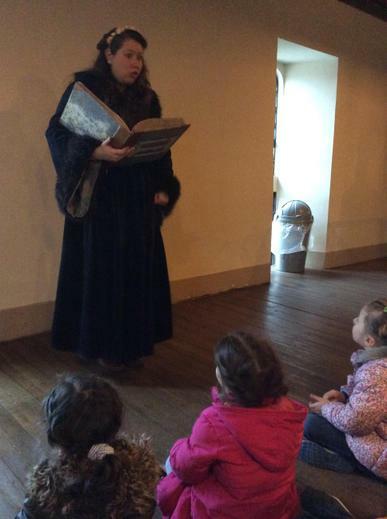 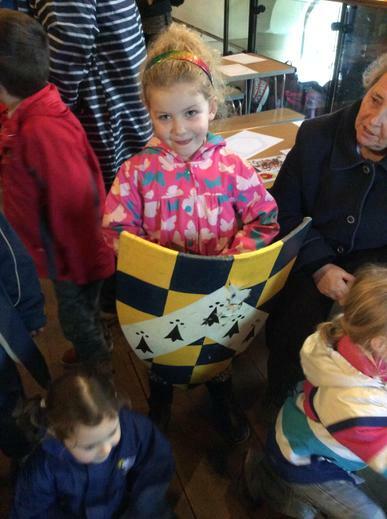 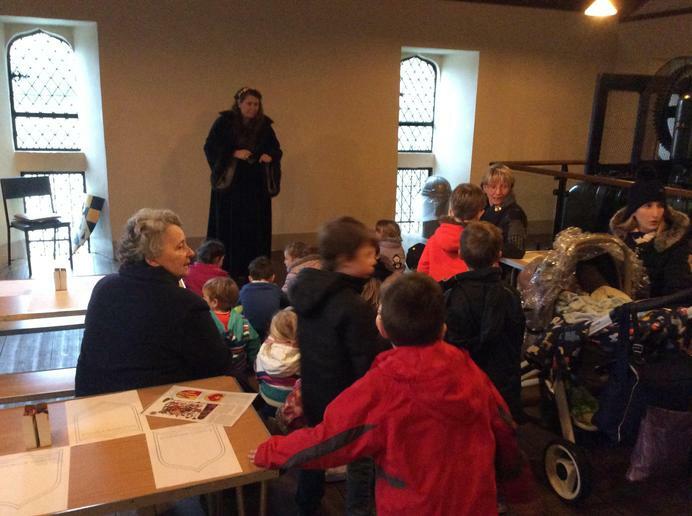 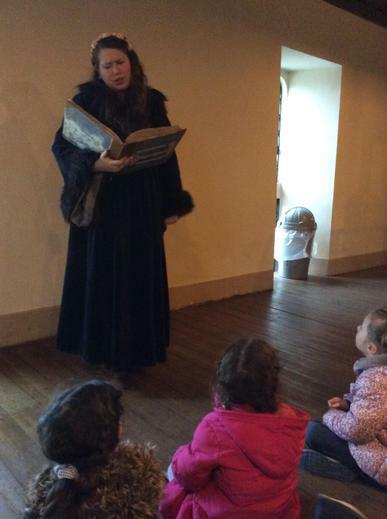 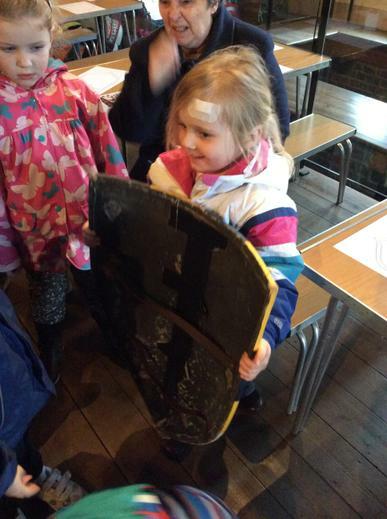 The Cats had a fabulous time listening to story-telling, shield designing and learning what life was like in medieval times. 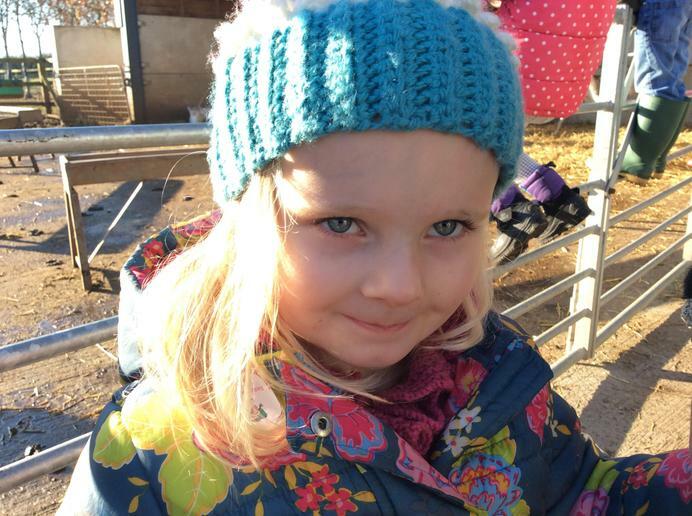 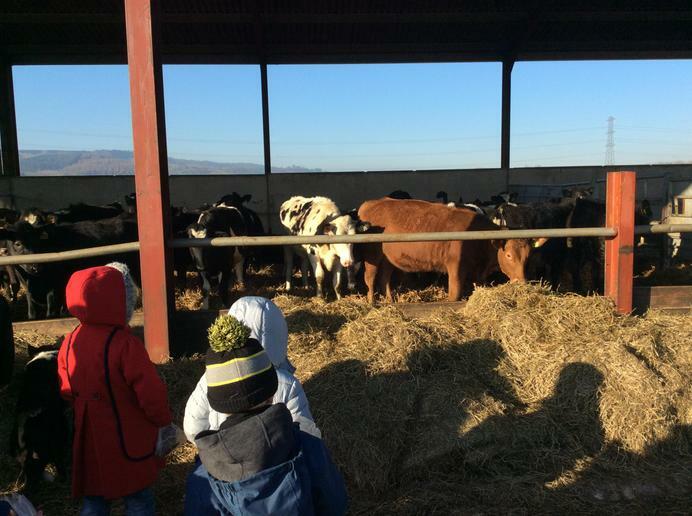 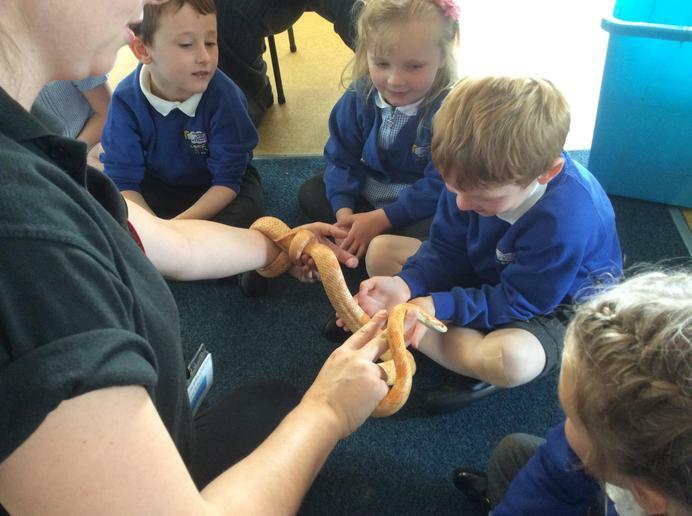 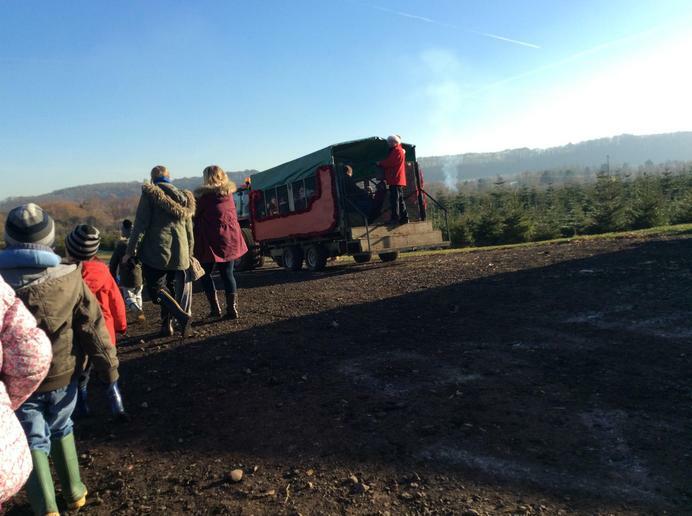 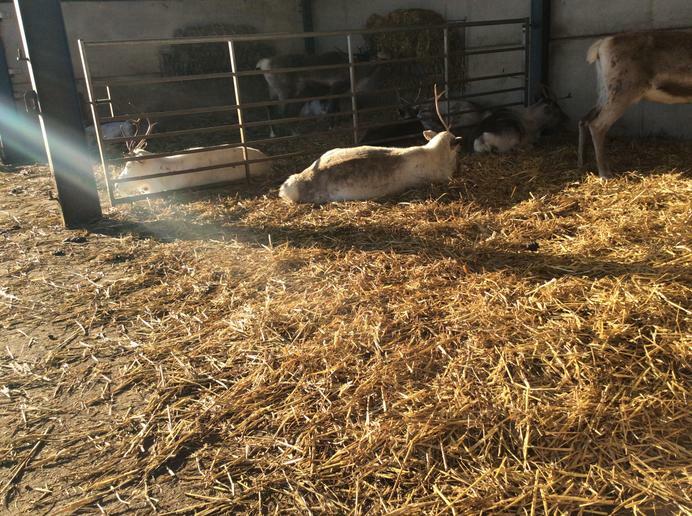 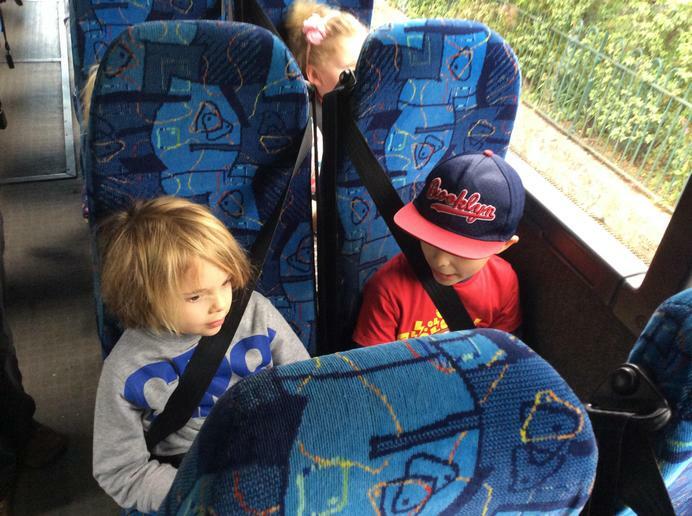 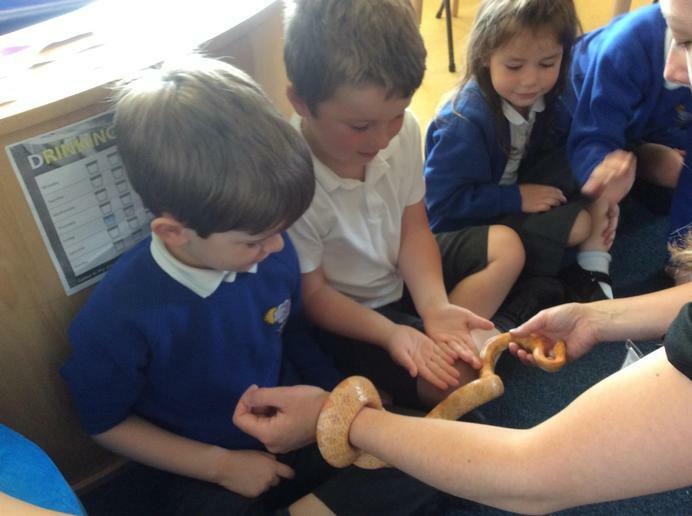 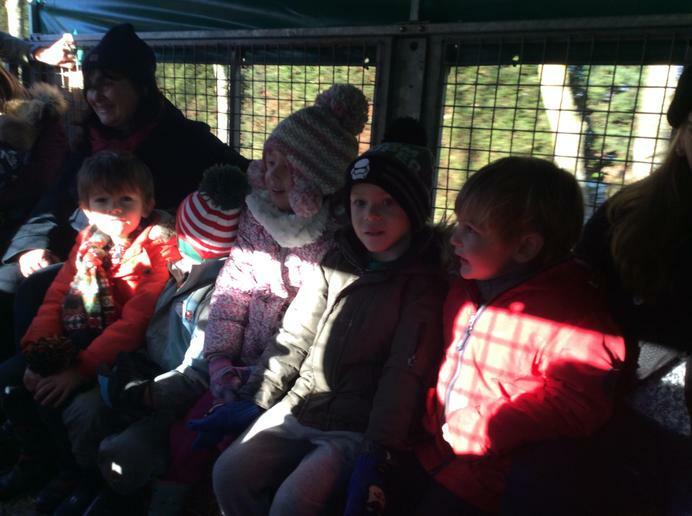 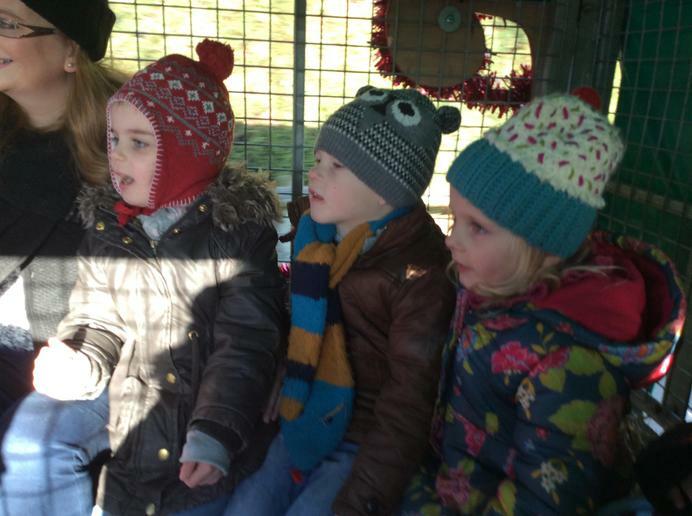 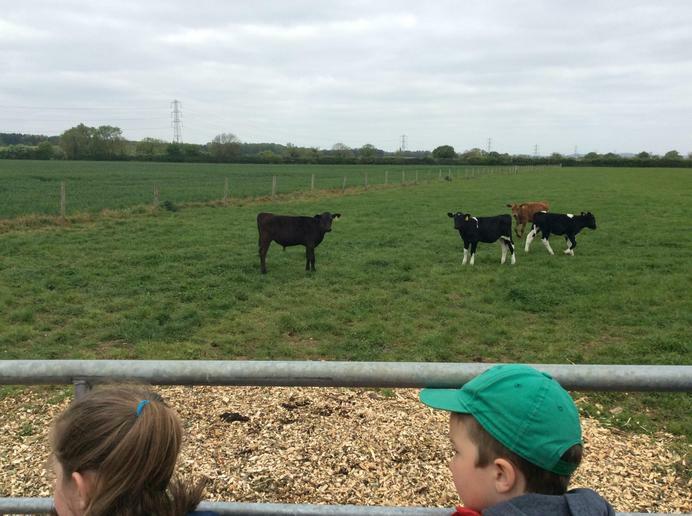 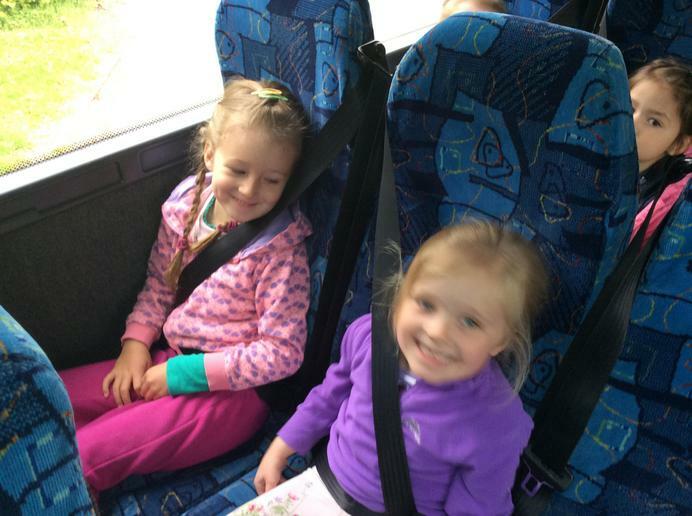 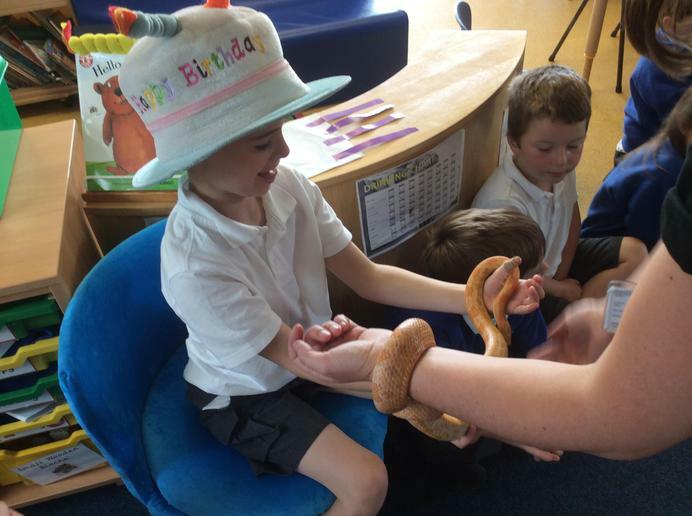 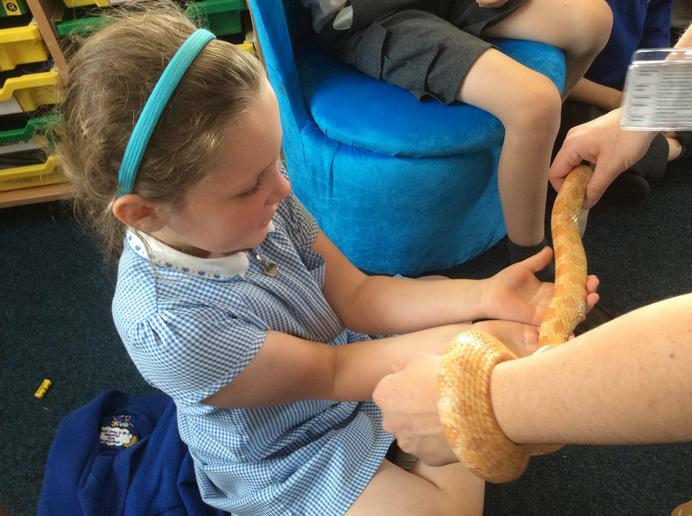 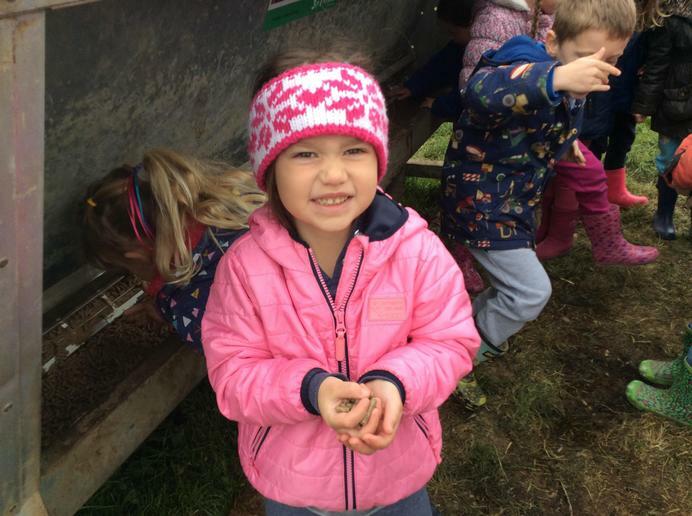 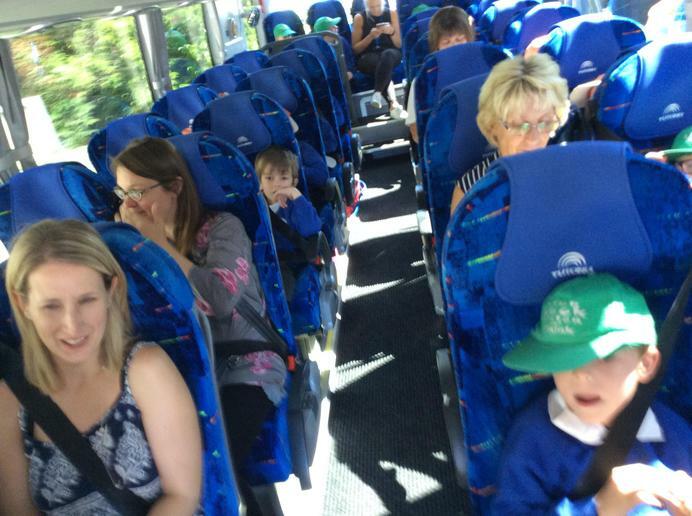 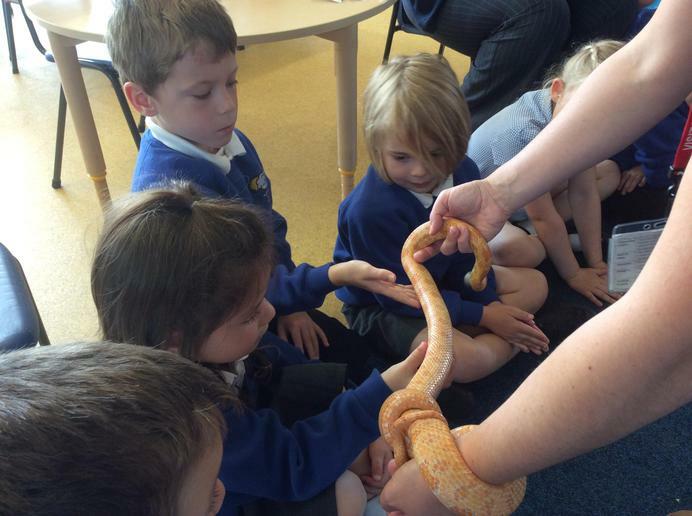 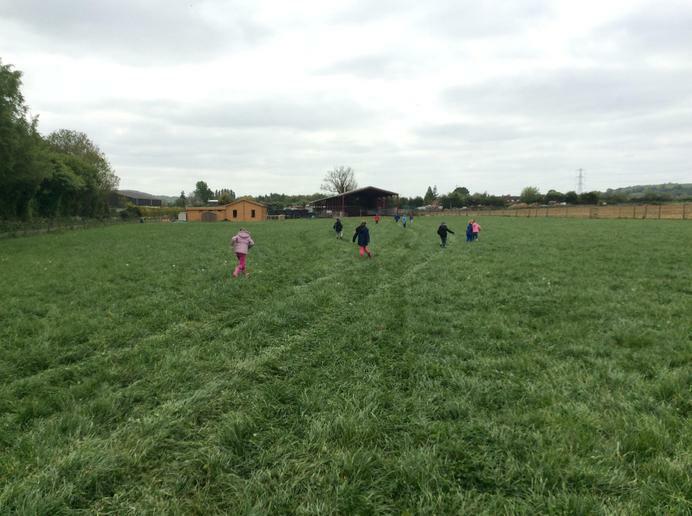 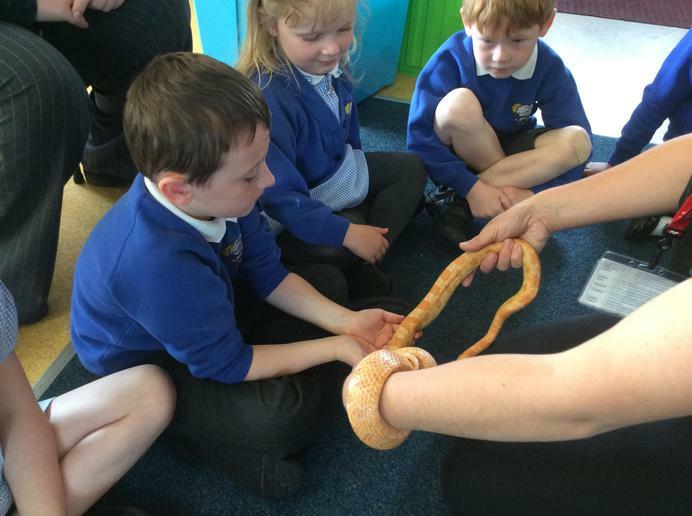 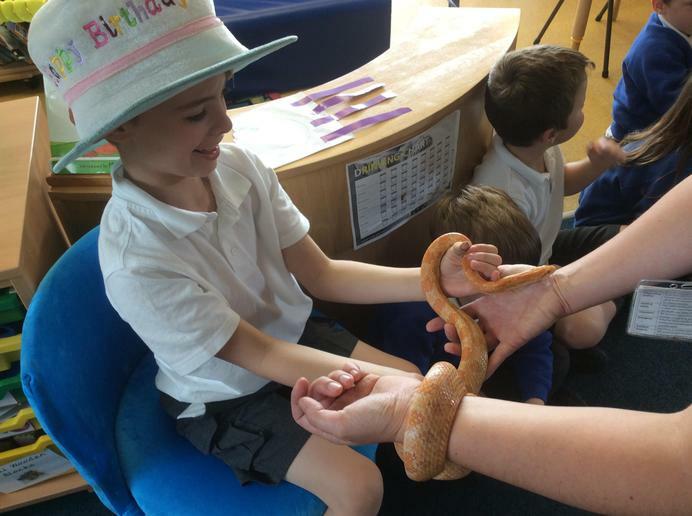 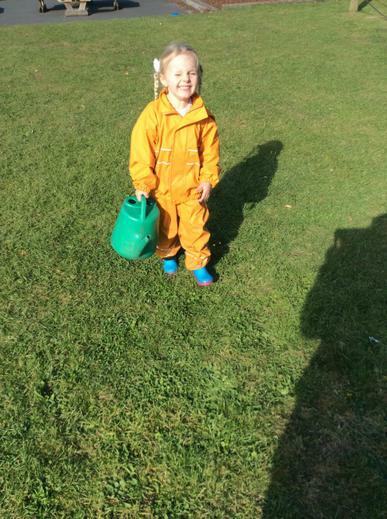 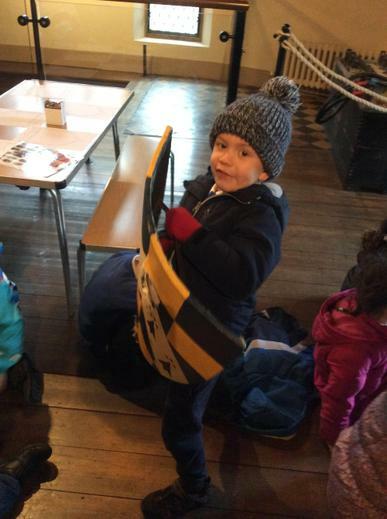 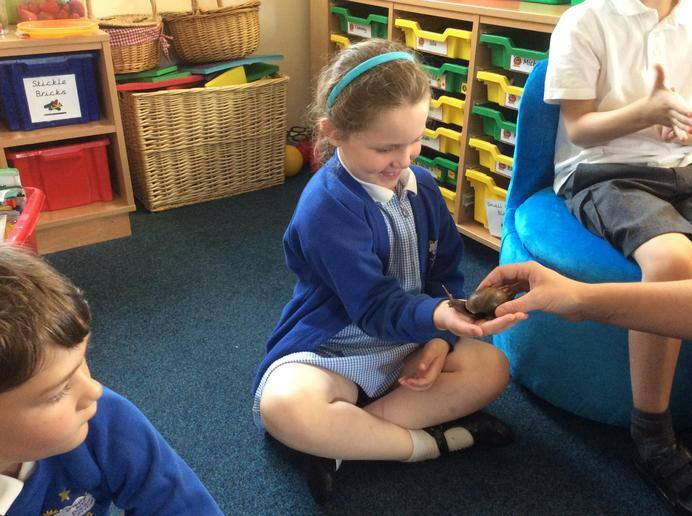 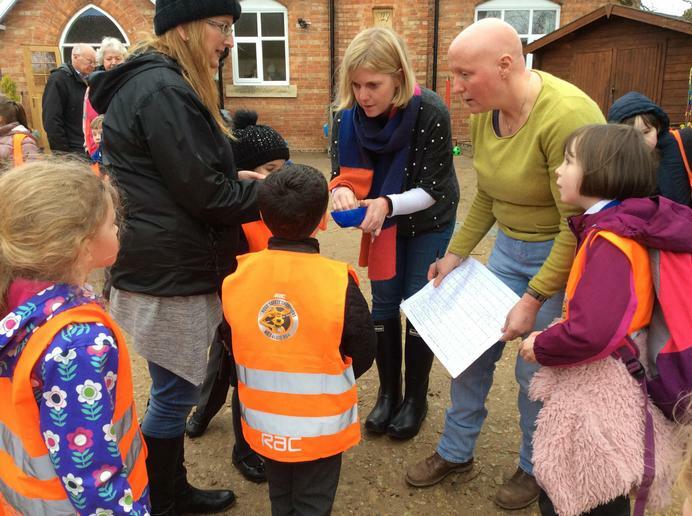 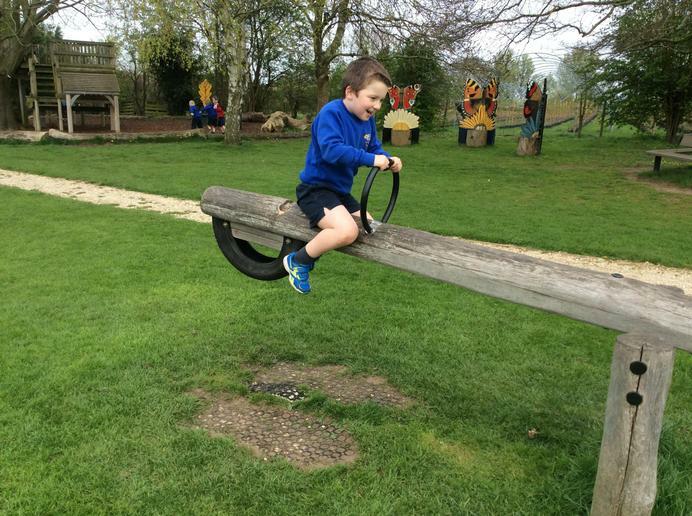 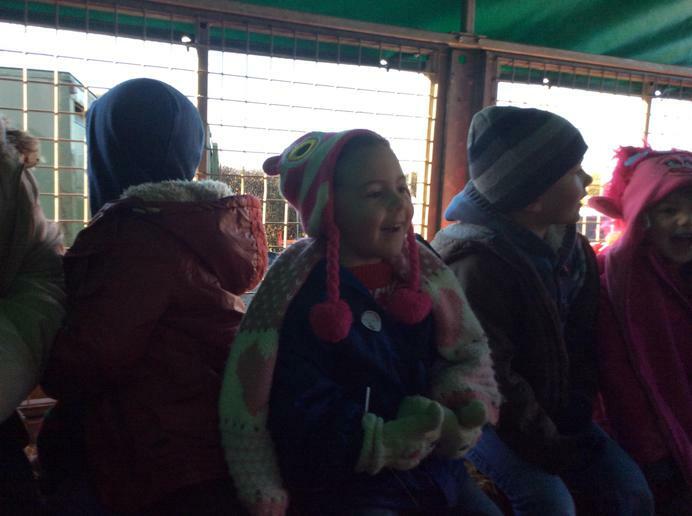 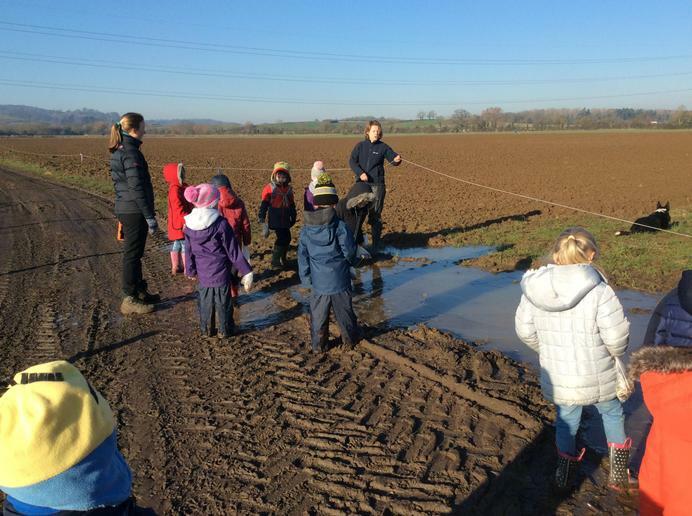 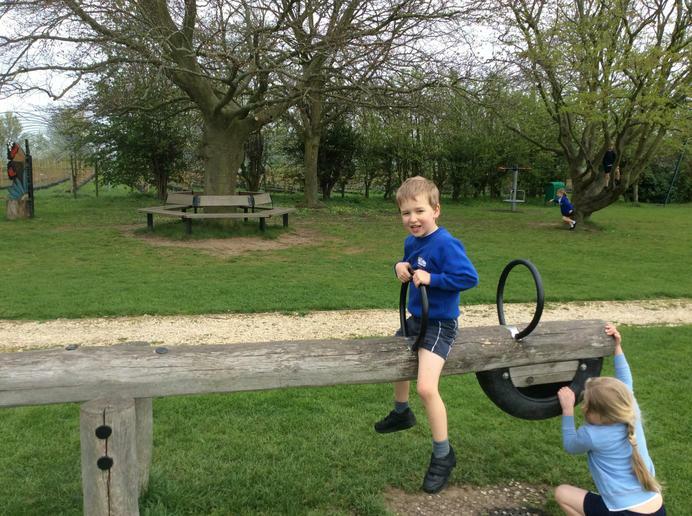 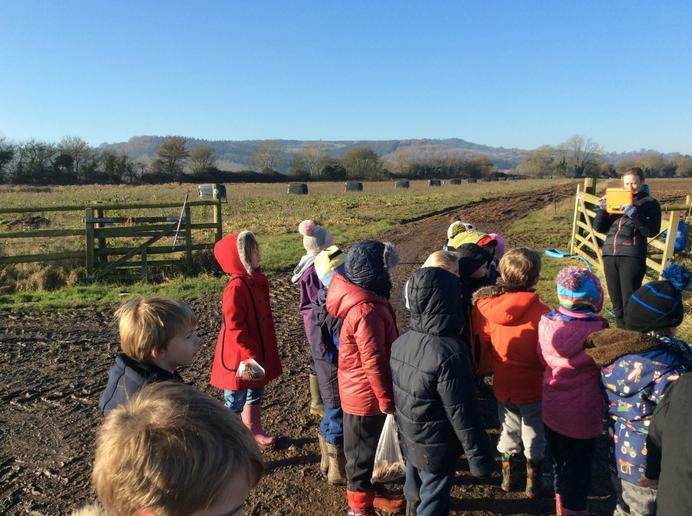 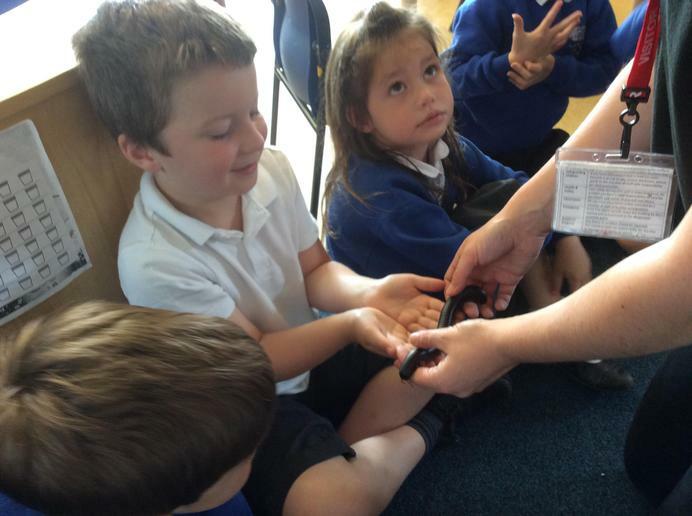 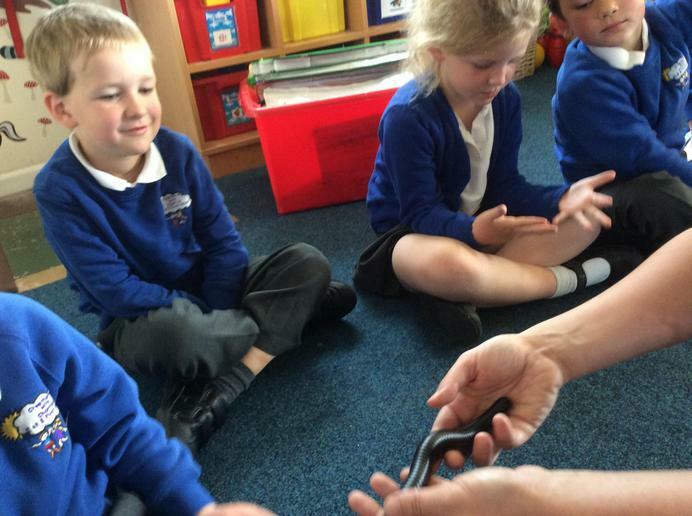 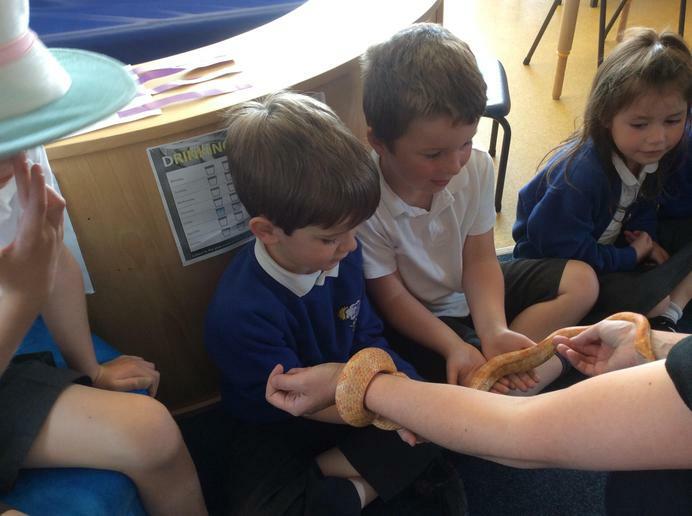 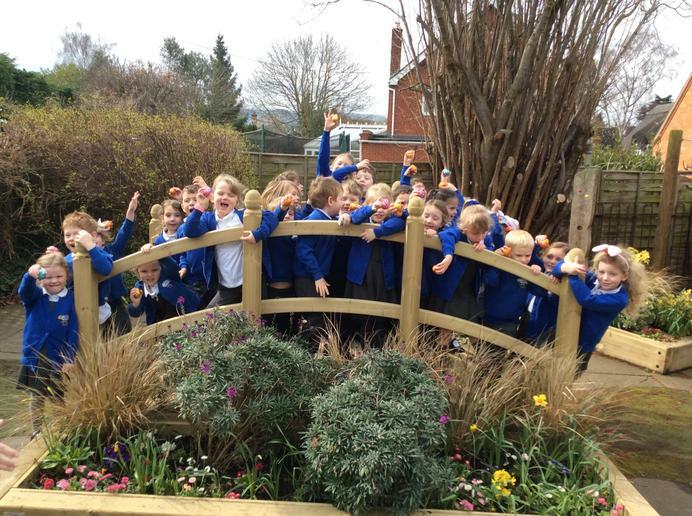 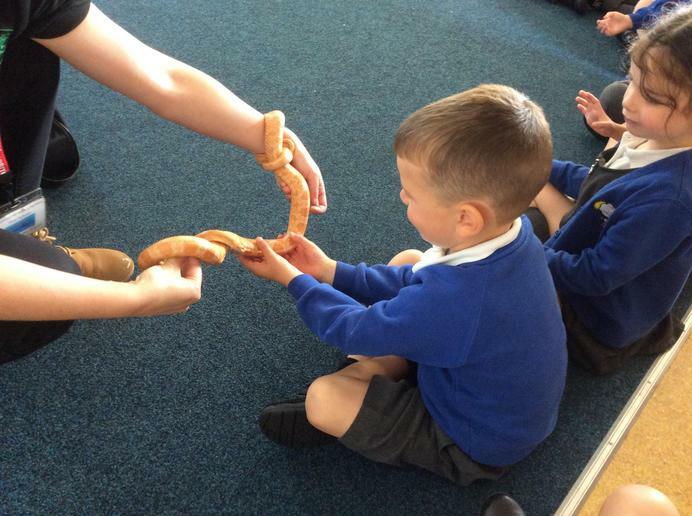 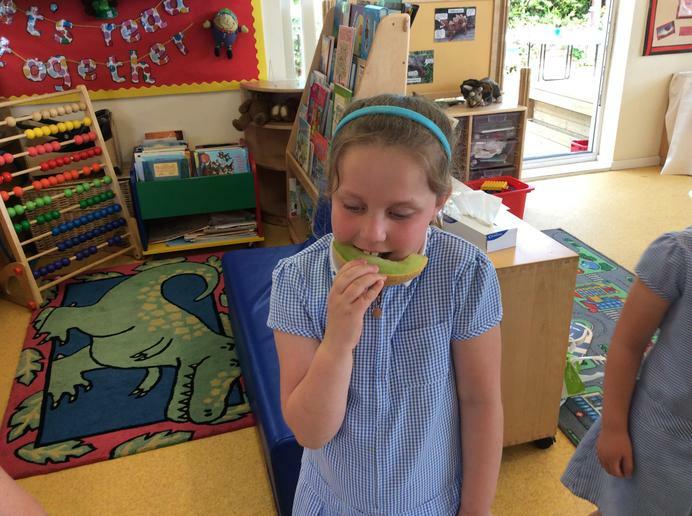 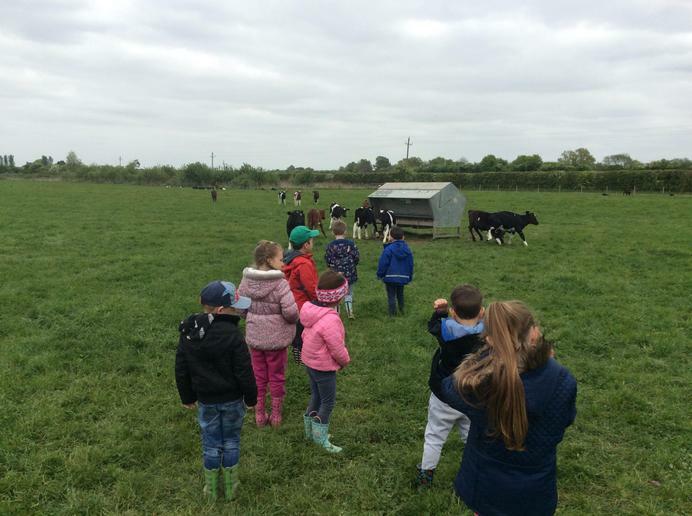 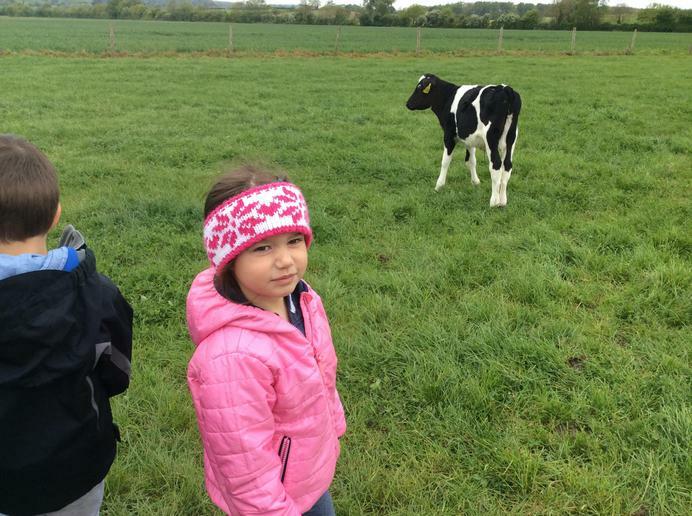 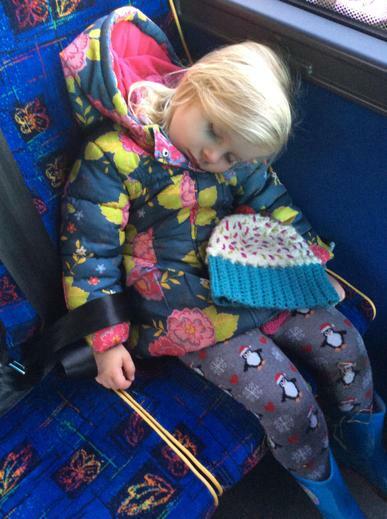 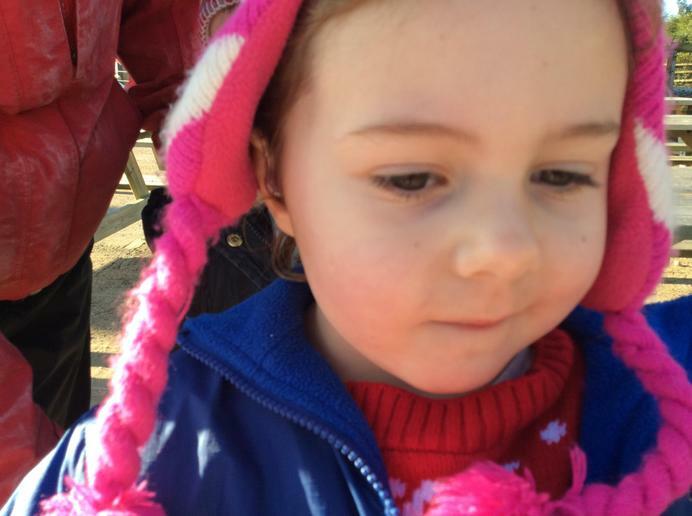 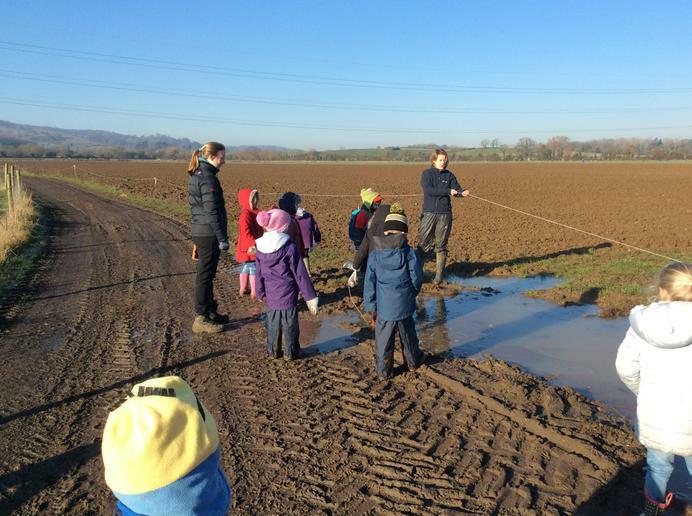 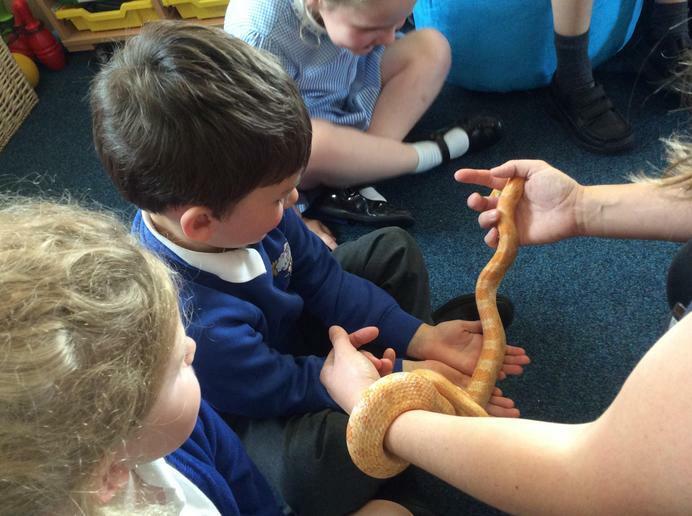 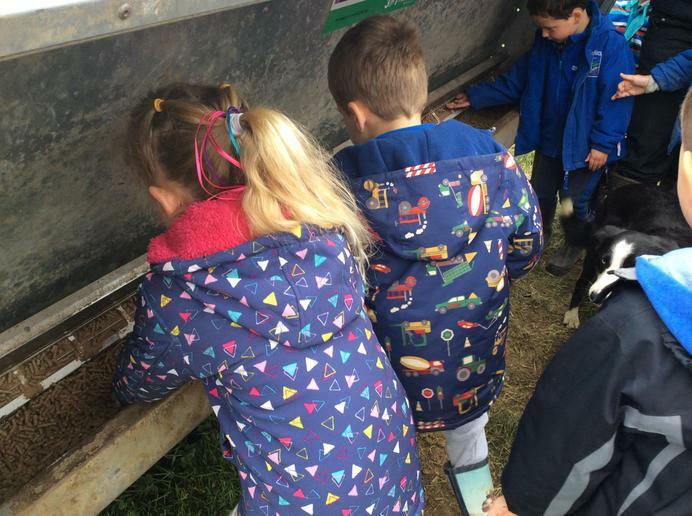 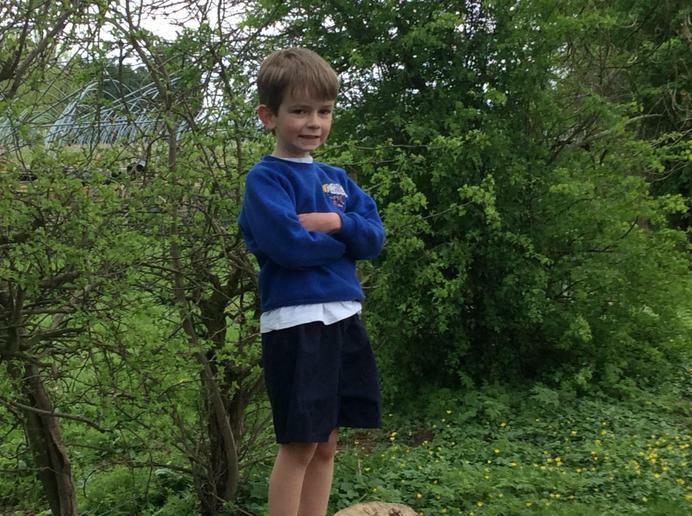 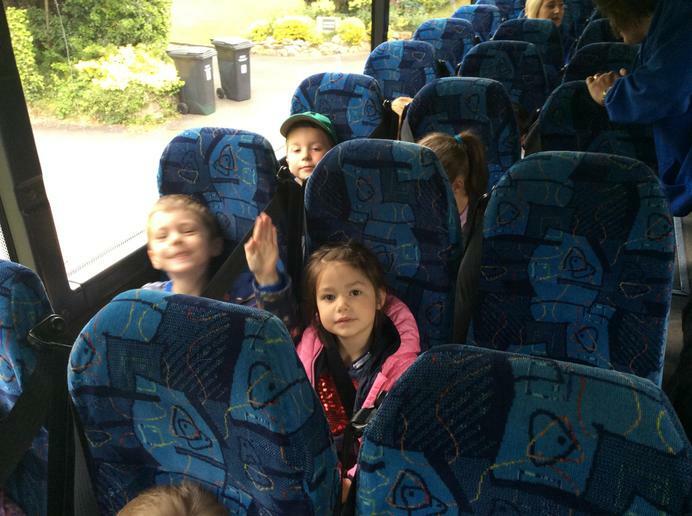 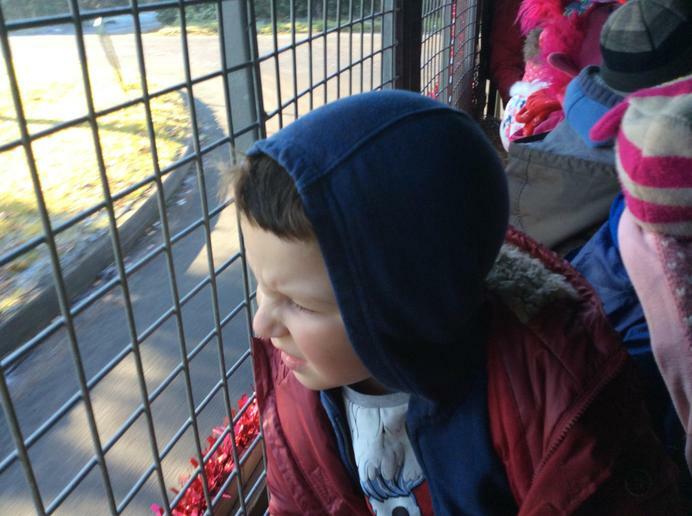 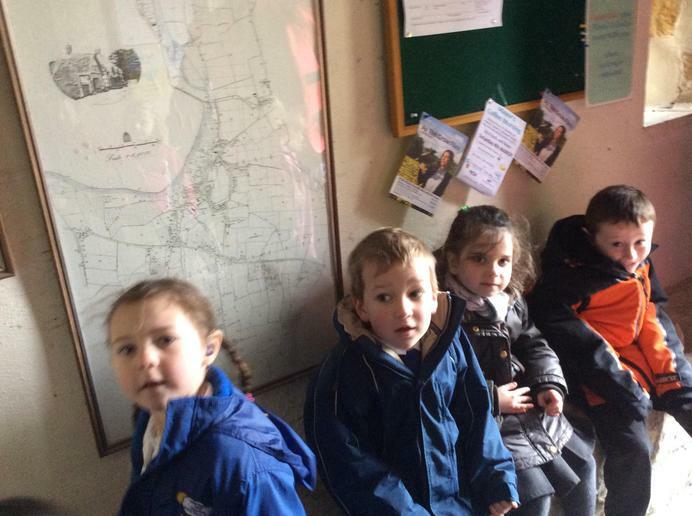 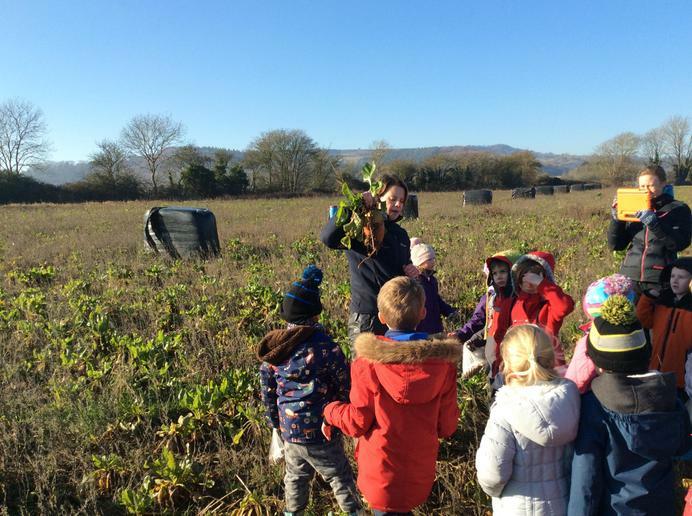 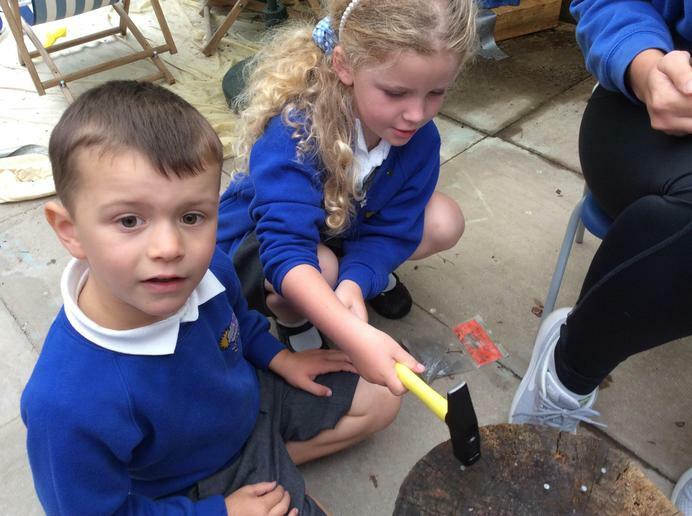 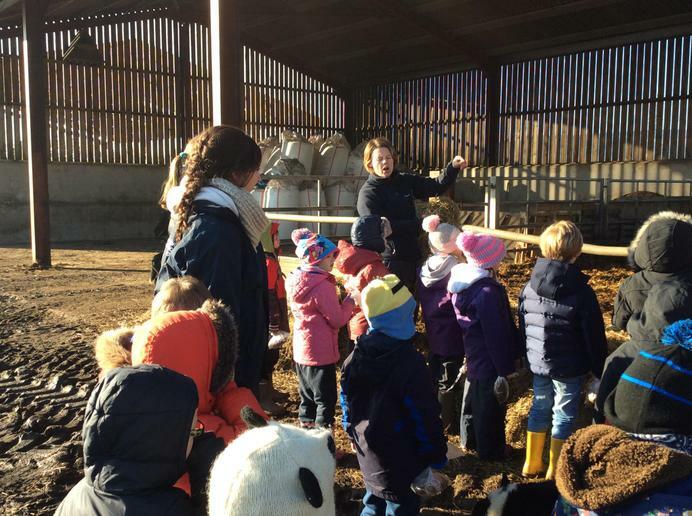 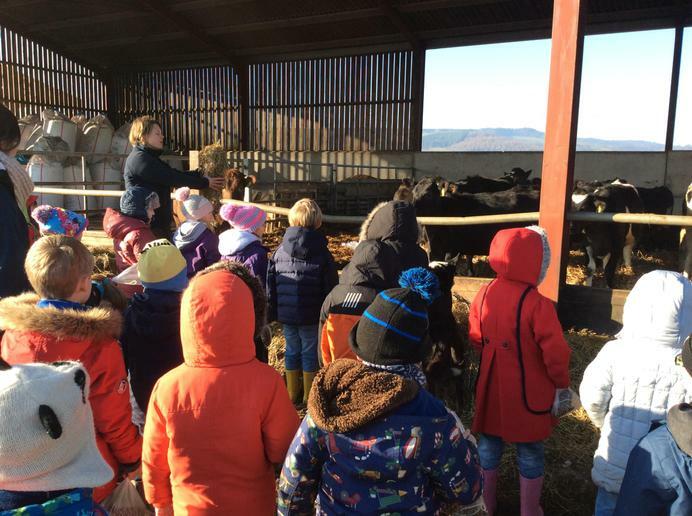 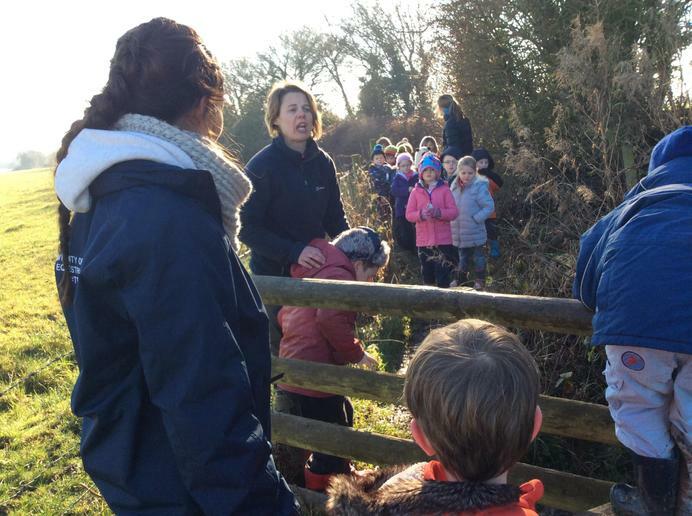 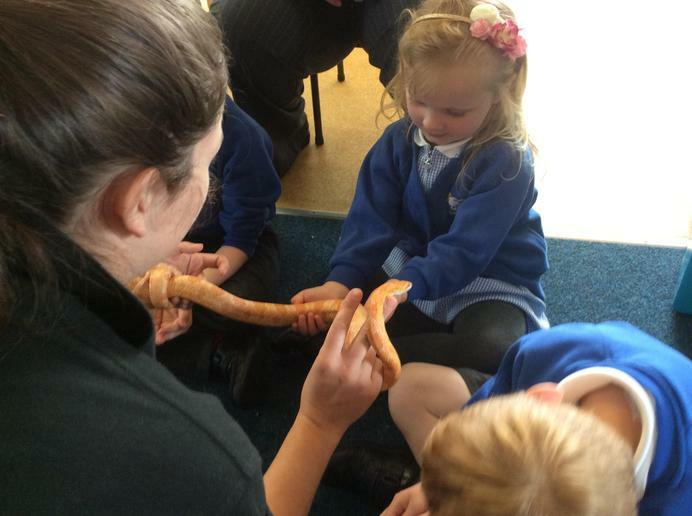 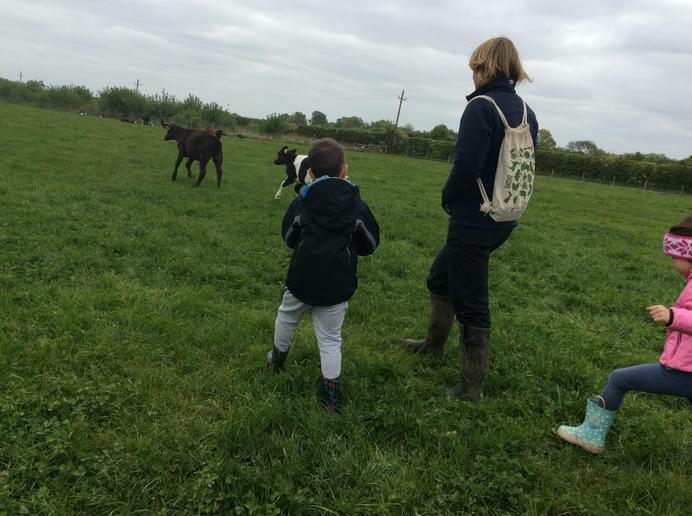 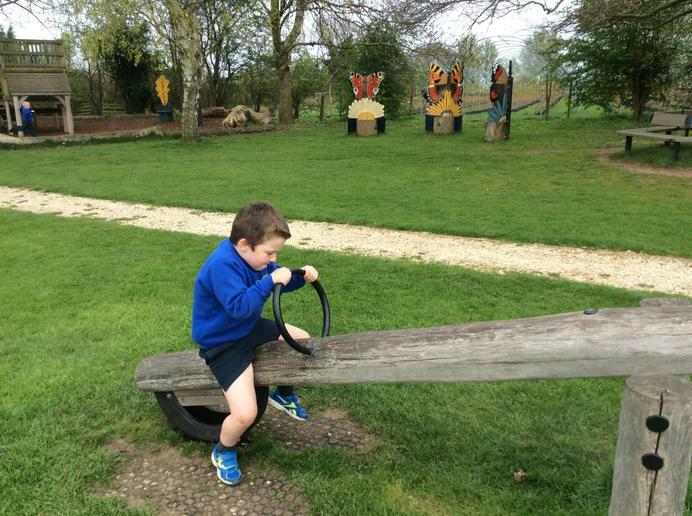 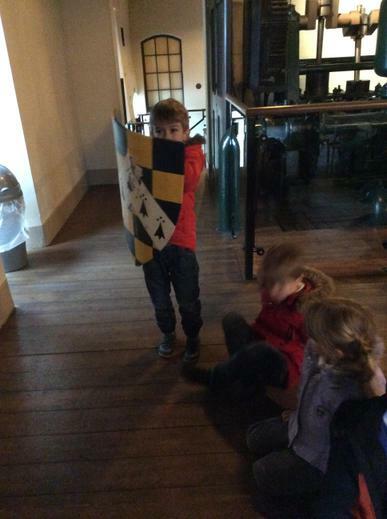 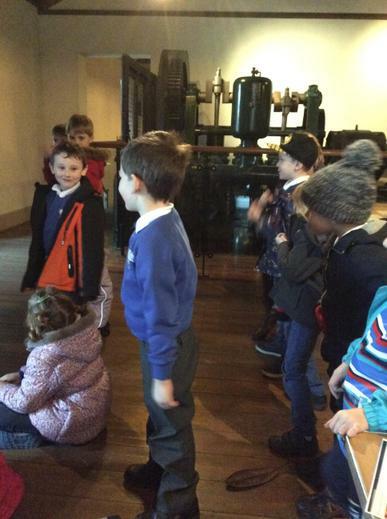 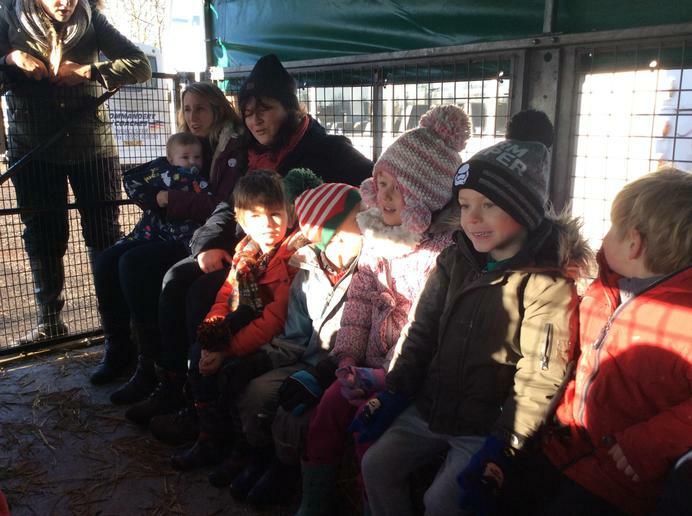 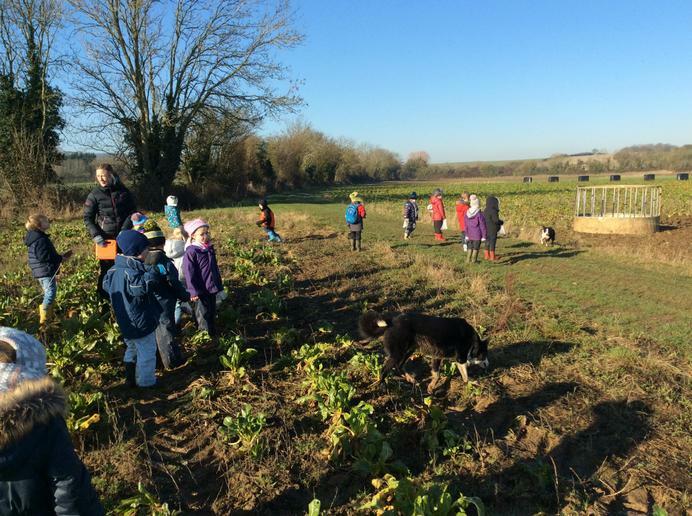 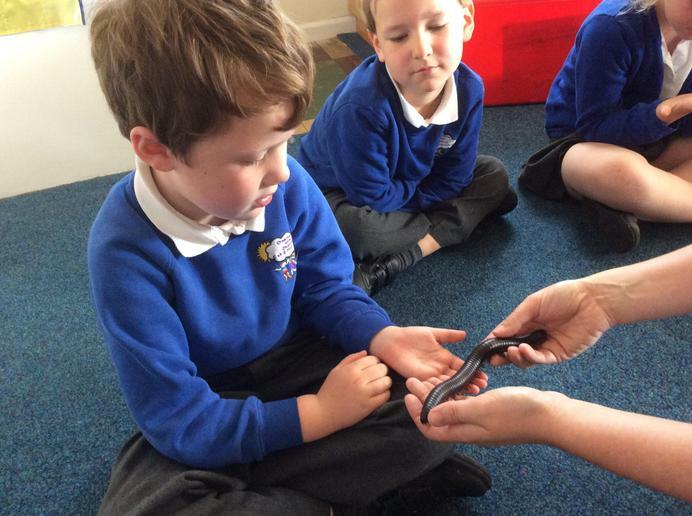 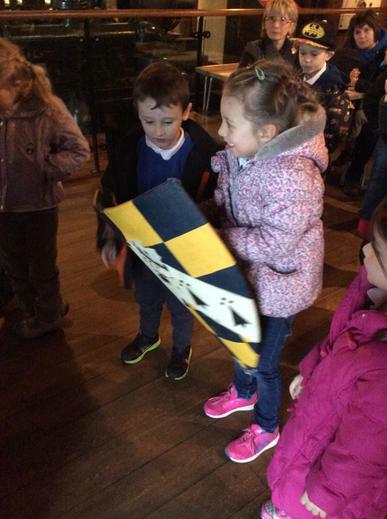 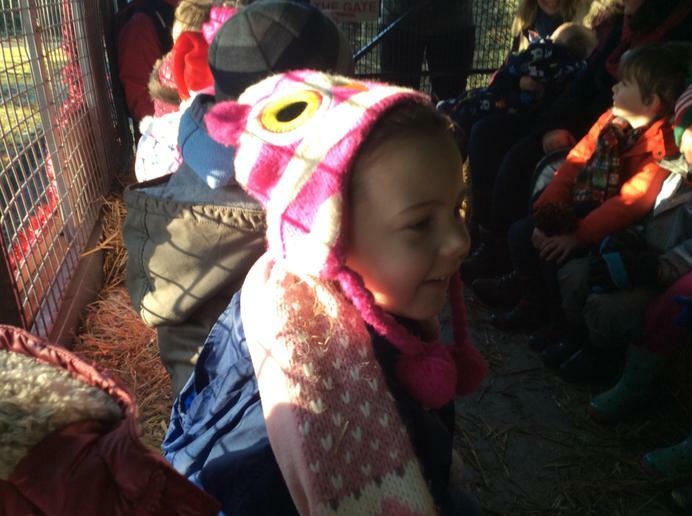 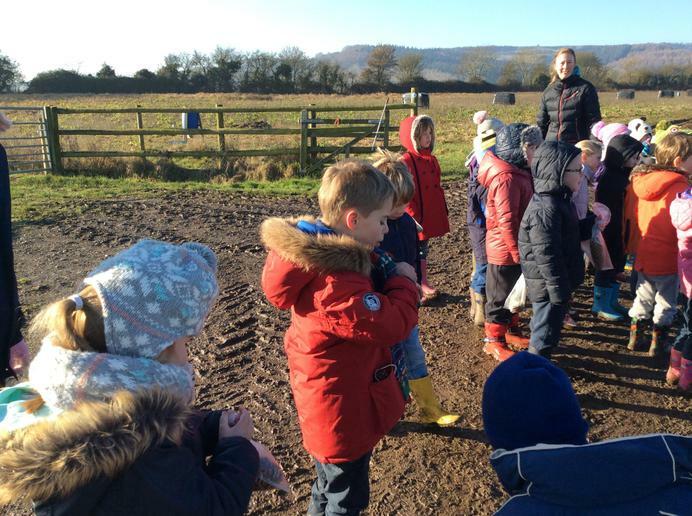 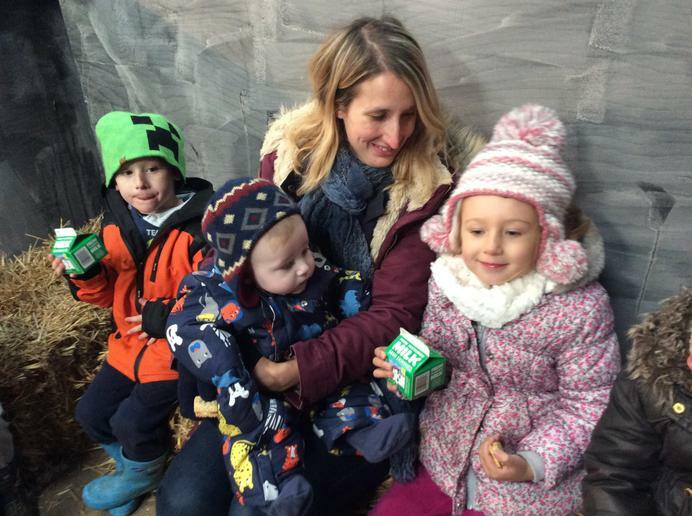 Year 1s visit to Sandfield Farm. 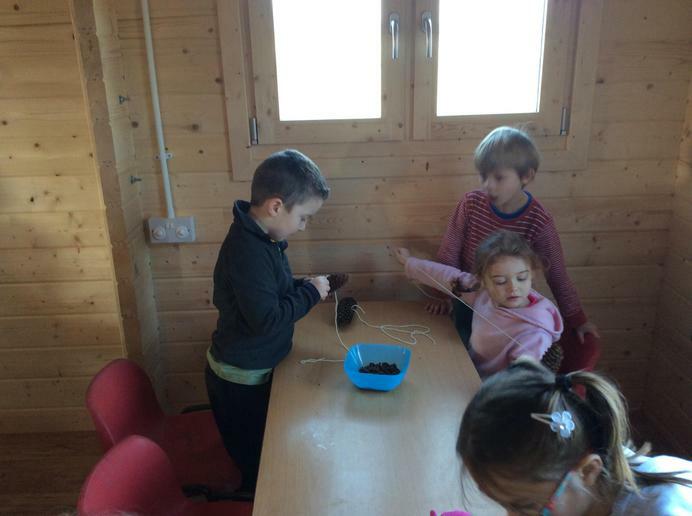 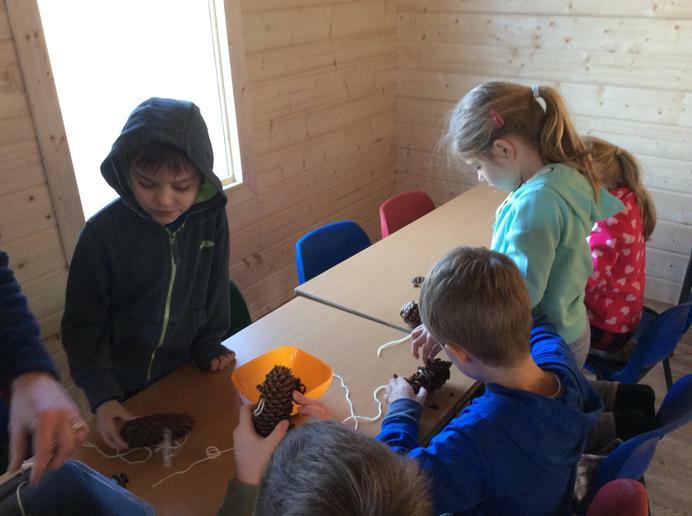 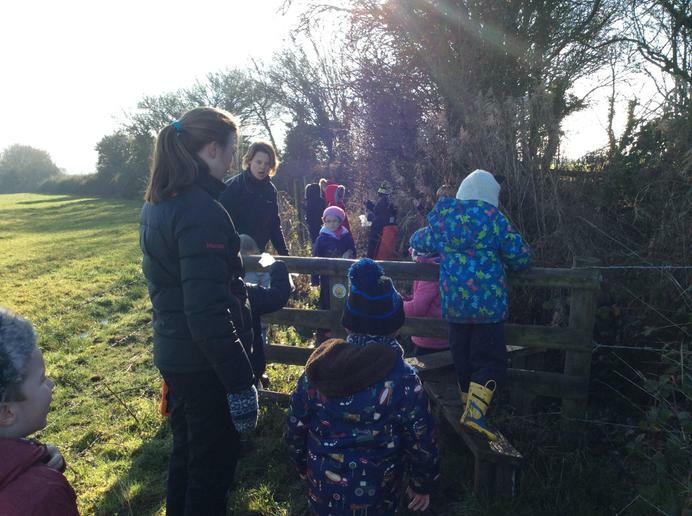 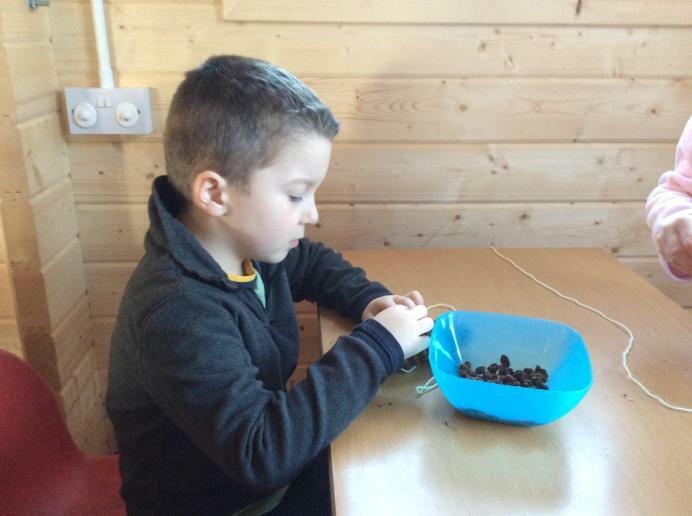 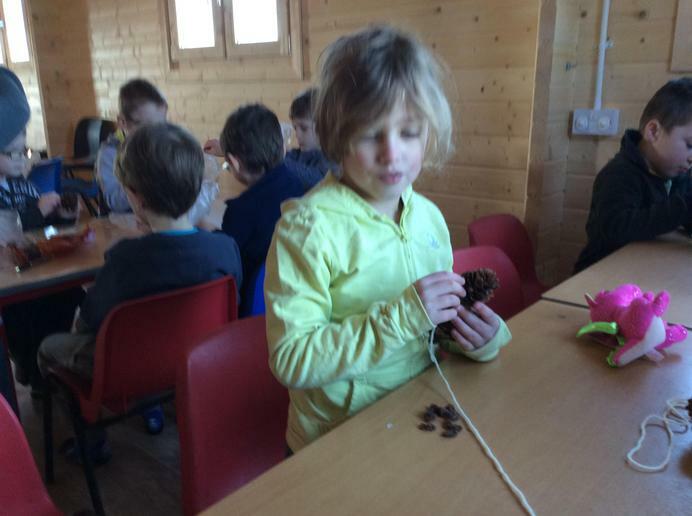 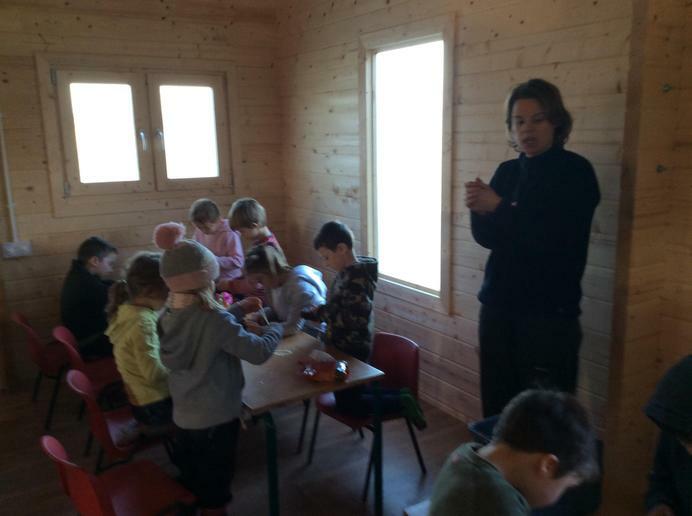 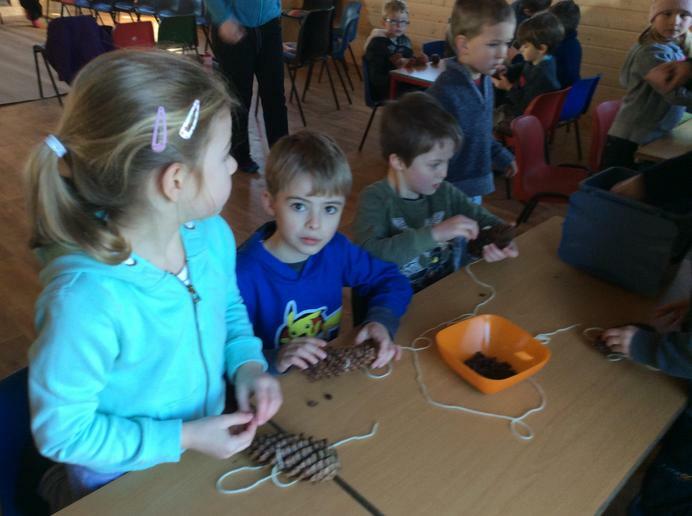 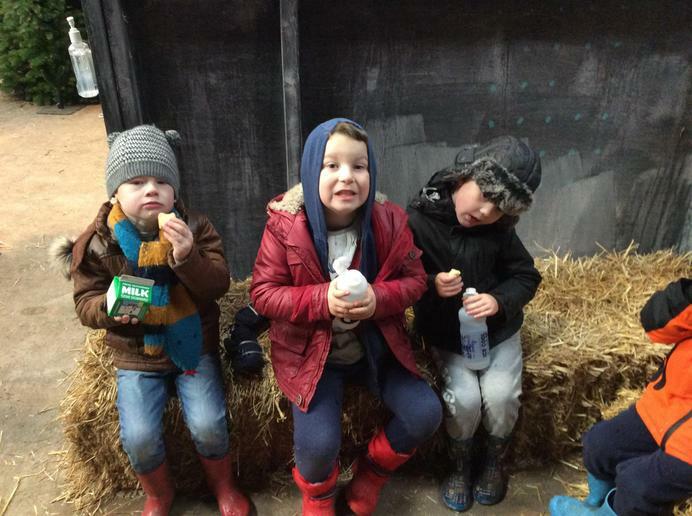 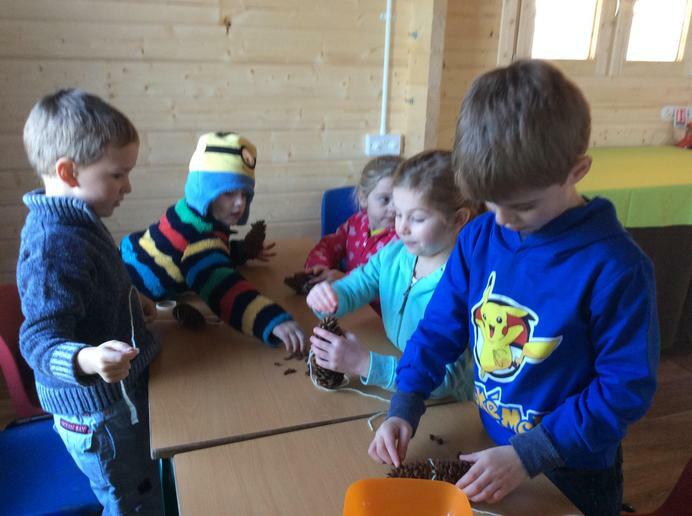 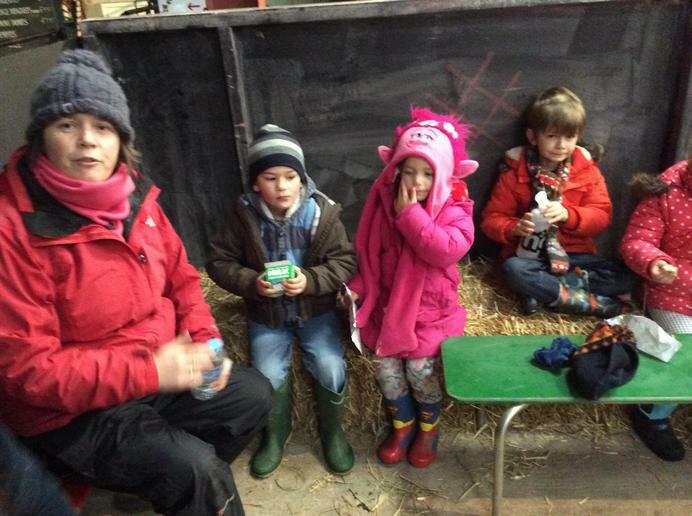 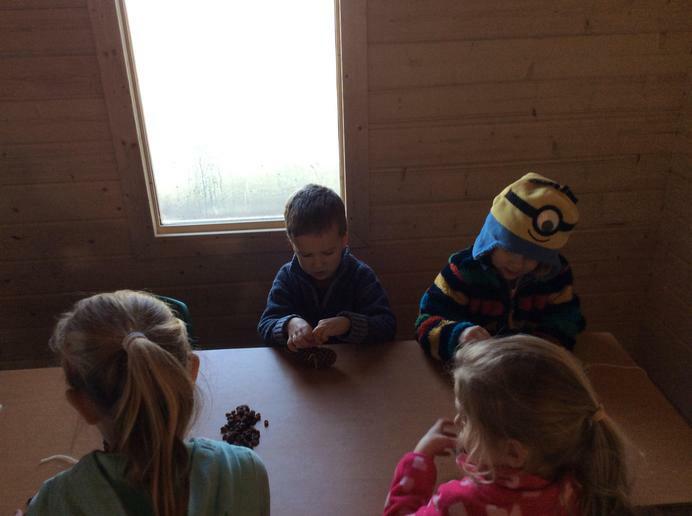 We had lots of fun making bird feeders and meeting all the heifers on the farm. 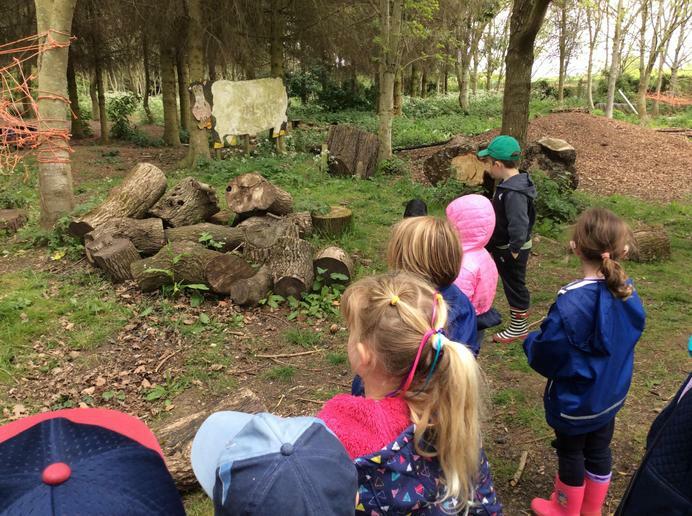 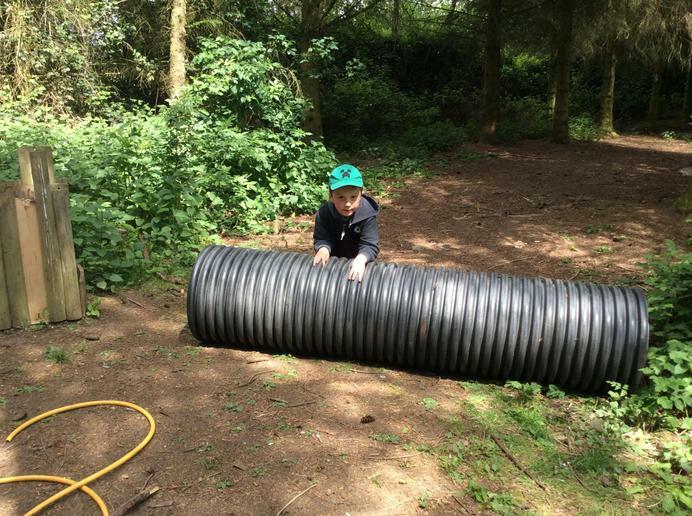 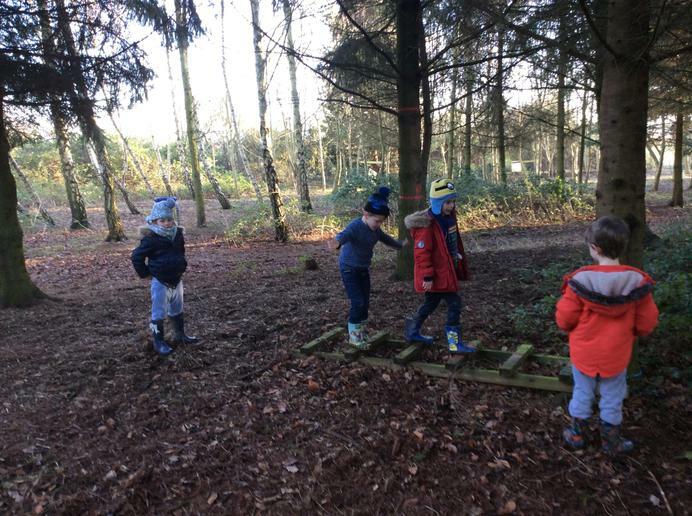 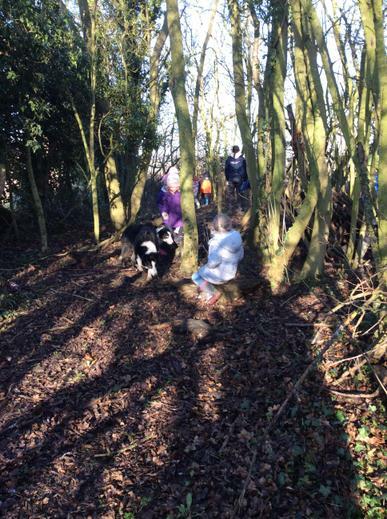 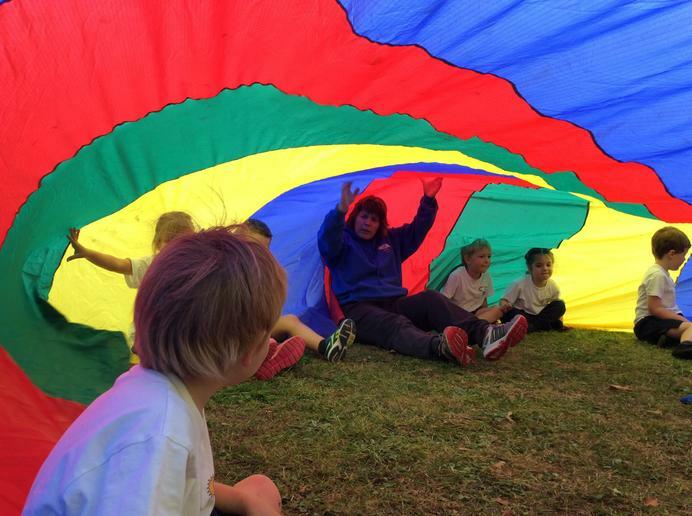 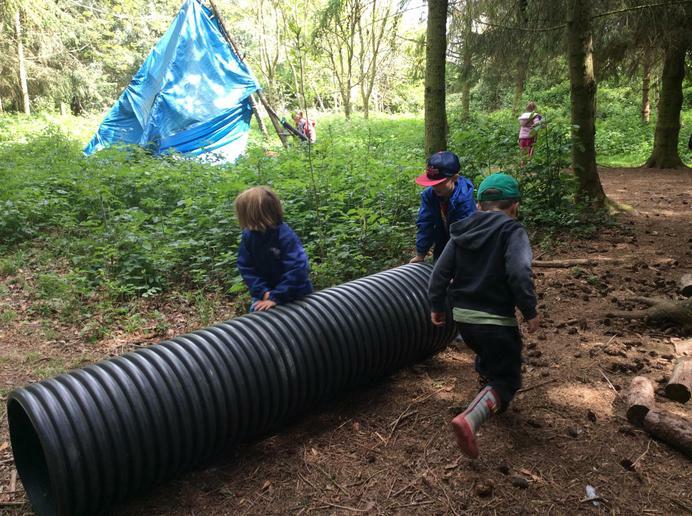 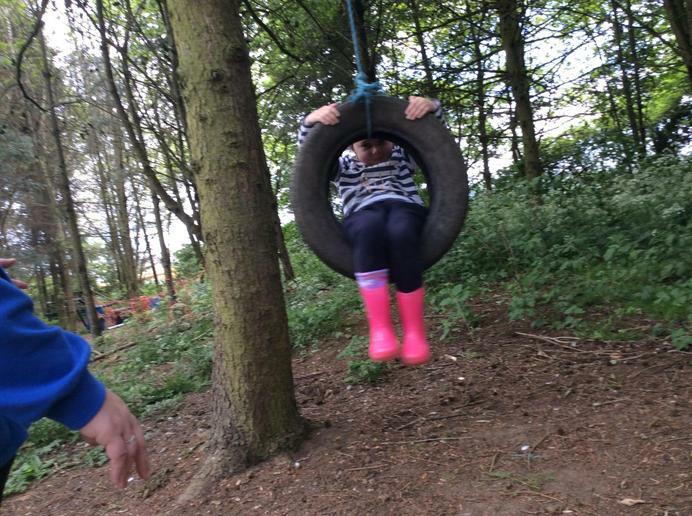 In the afternoon we had so much fun in the forest school area and I think the children would have been happy to spend all day there! 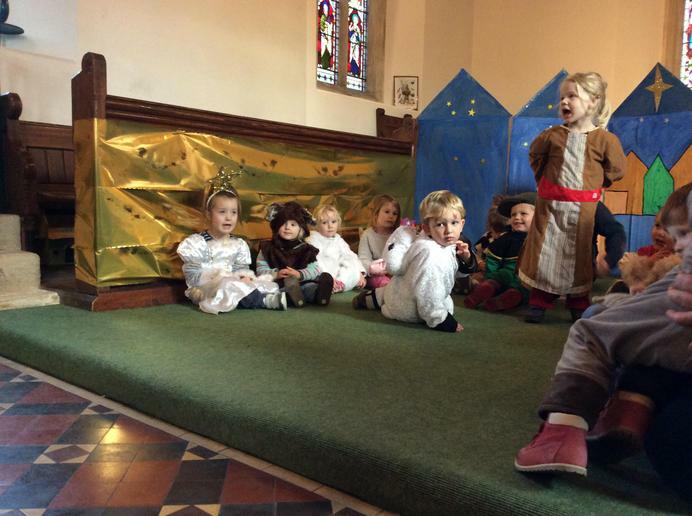 Charlton with Cropthorne Pre-school Nativity - We had the honour of watching pre-school perform their Nativity for the first time today and they were amazing. 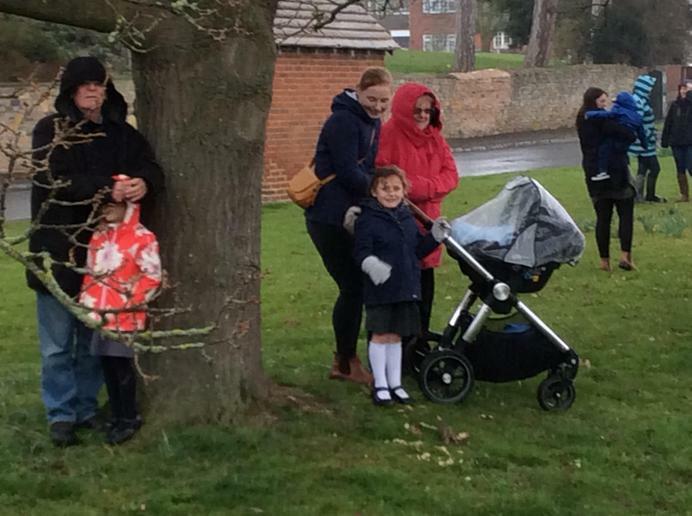 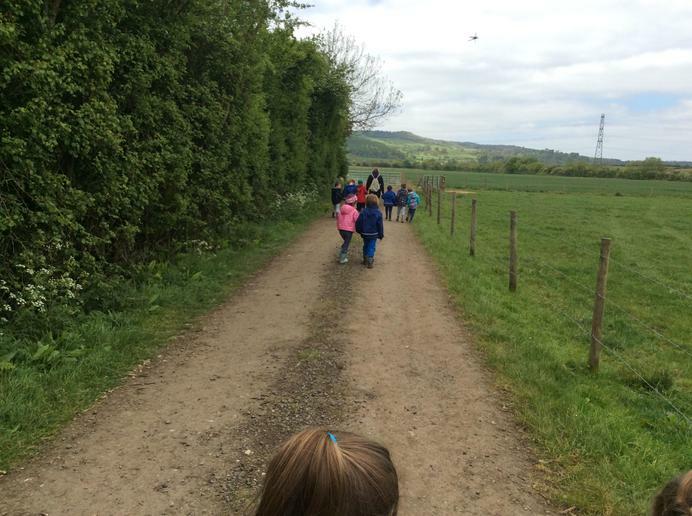 Well done to Cats class and their helpers for walking to Charlton so beautifully. 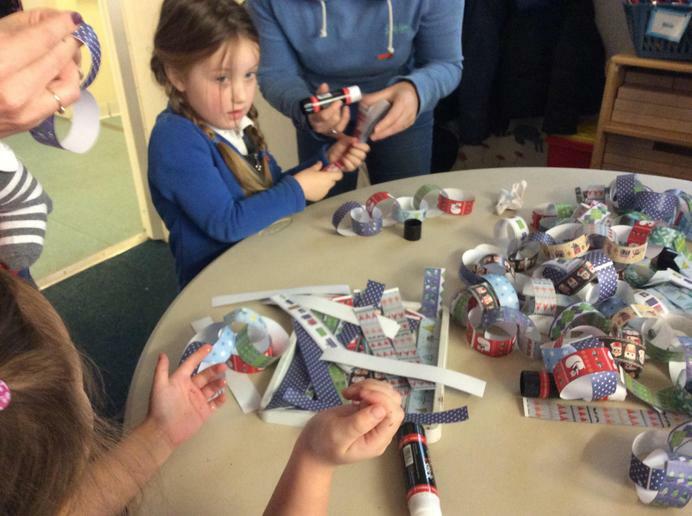 Christmas Craft Morning. 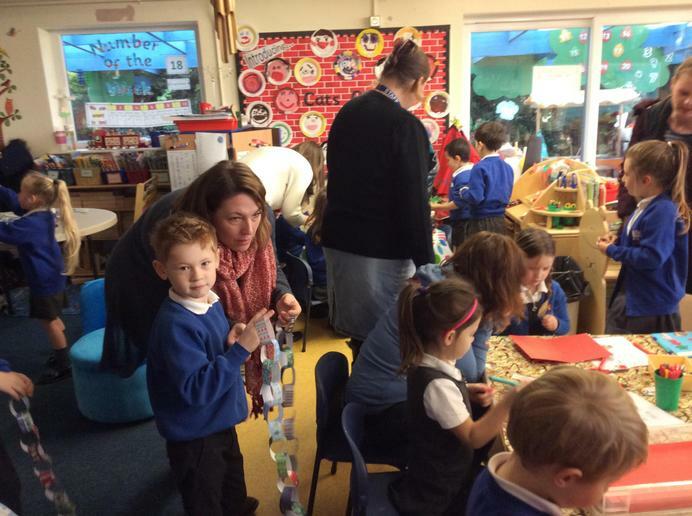 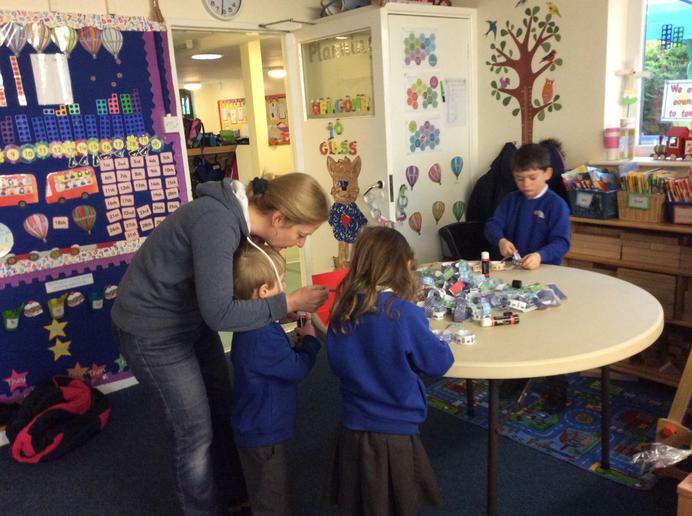 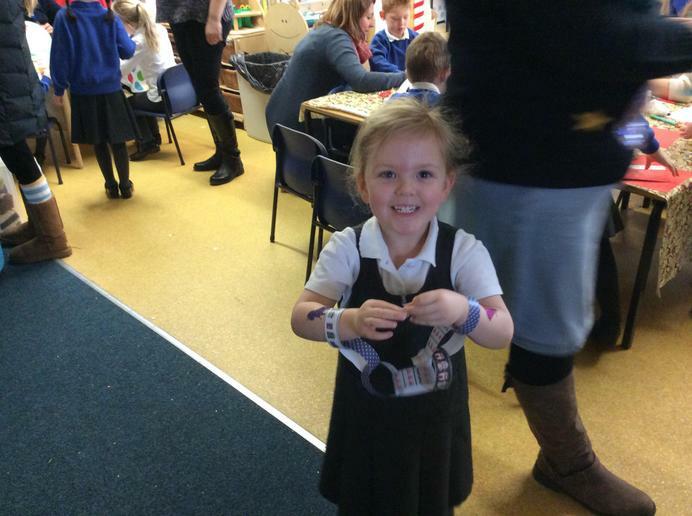 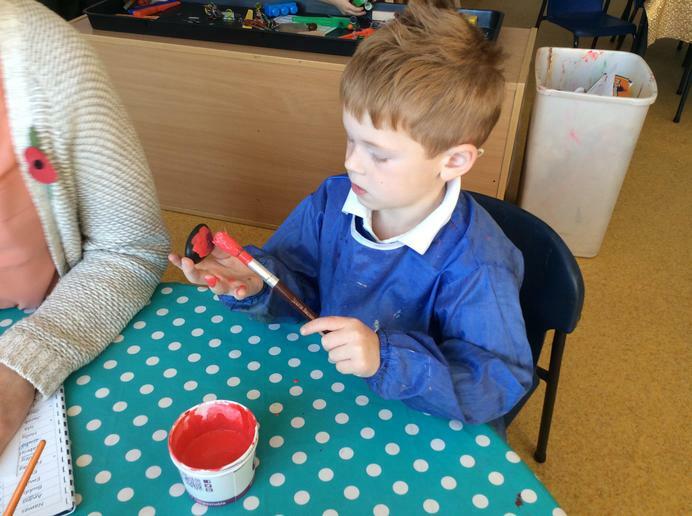 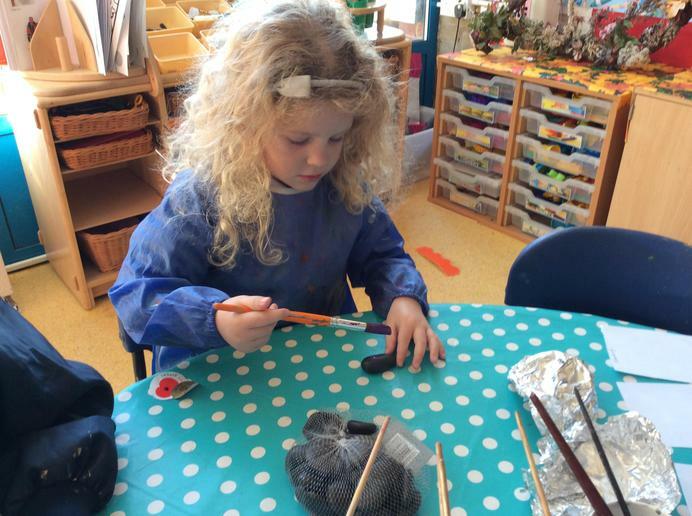 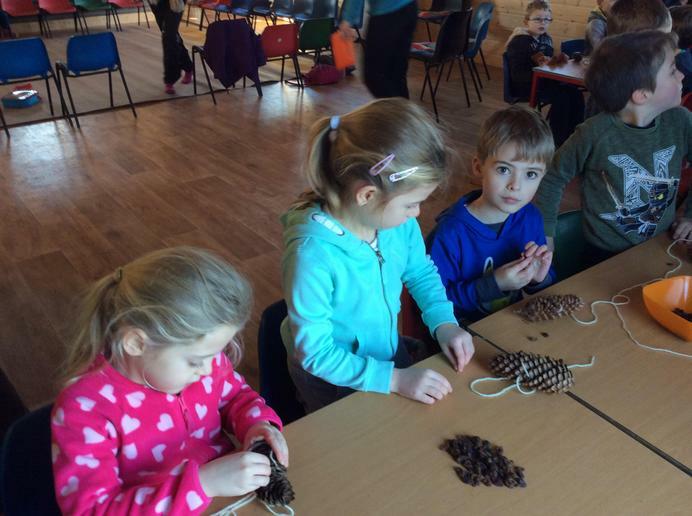 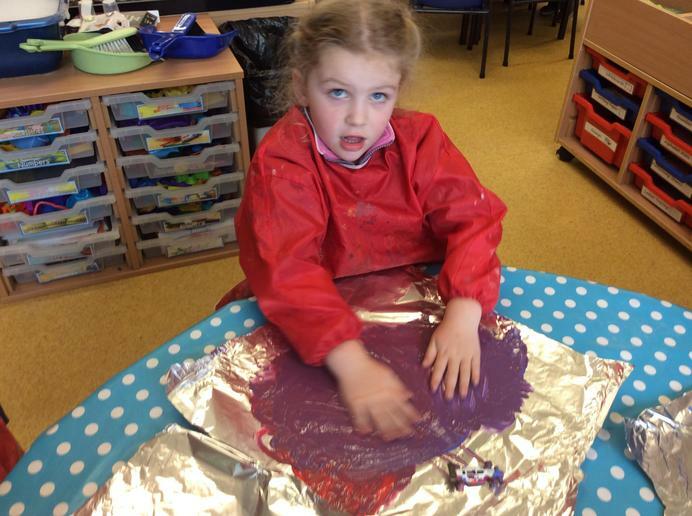 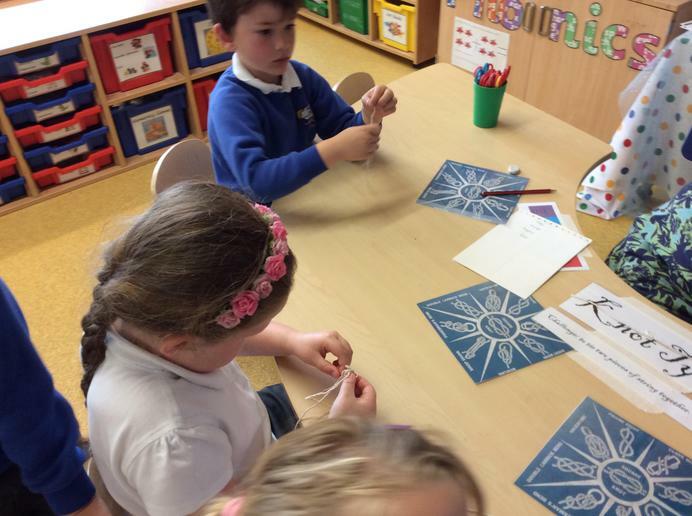 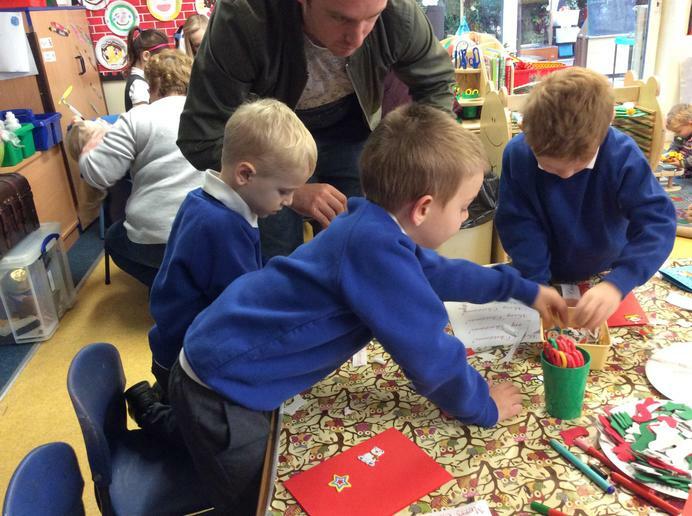 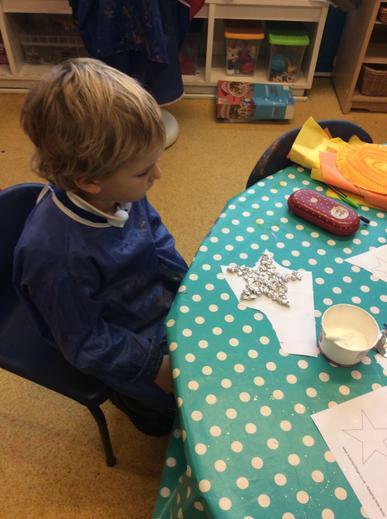 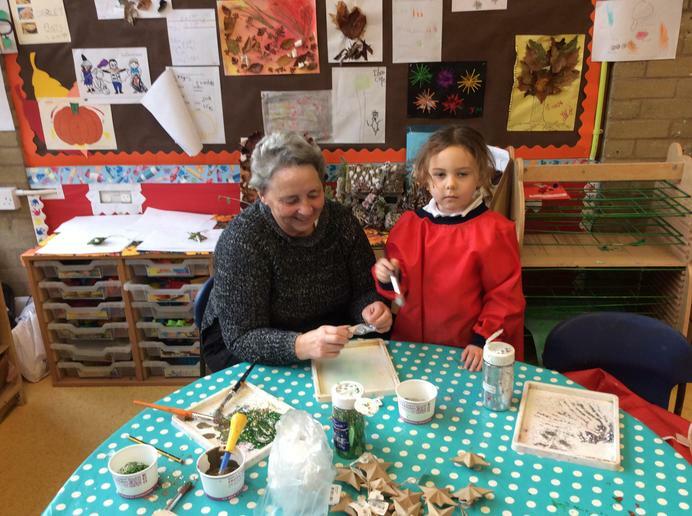 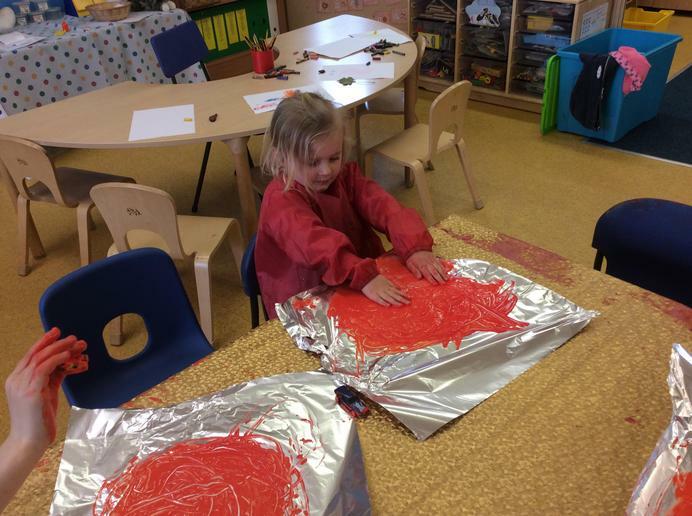 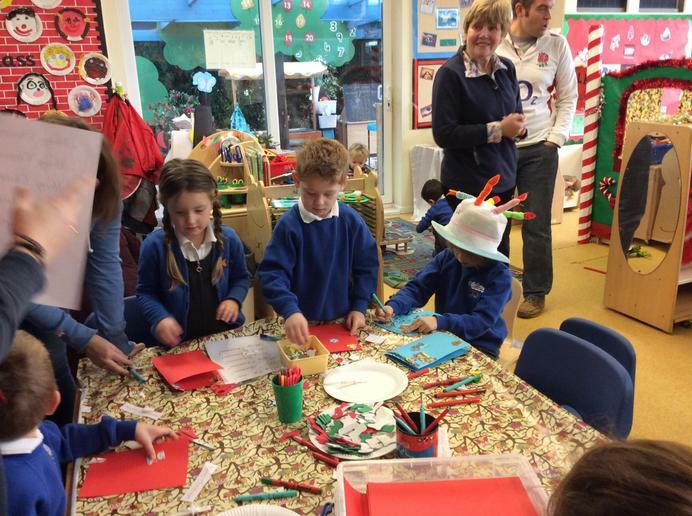 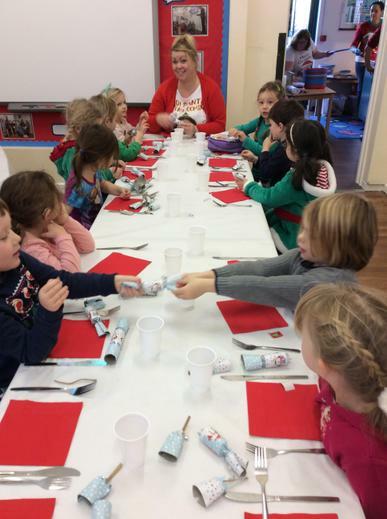 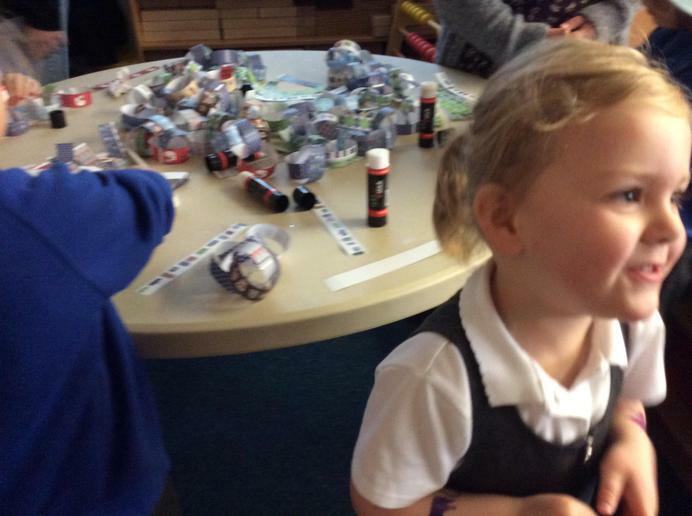 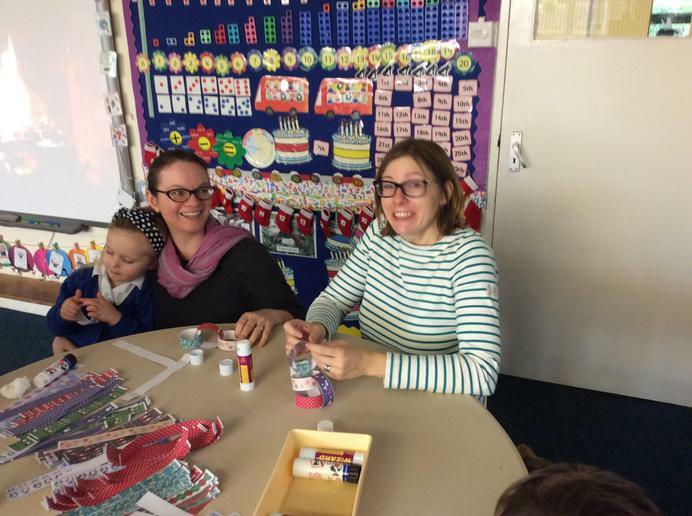 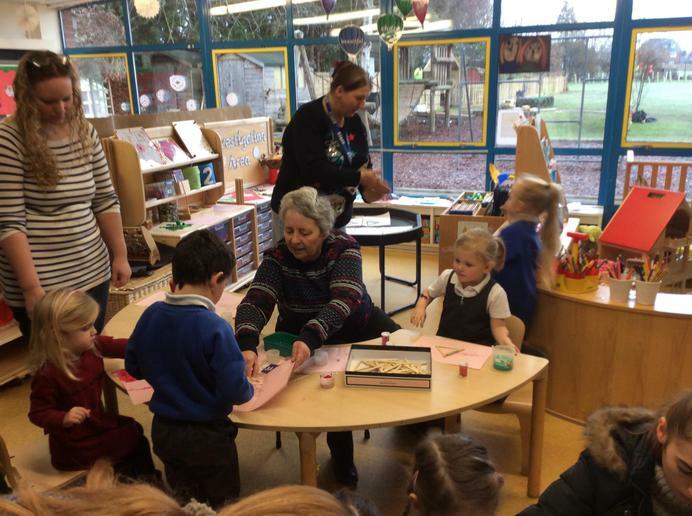 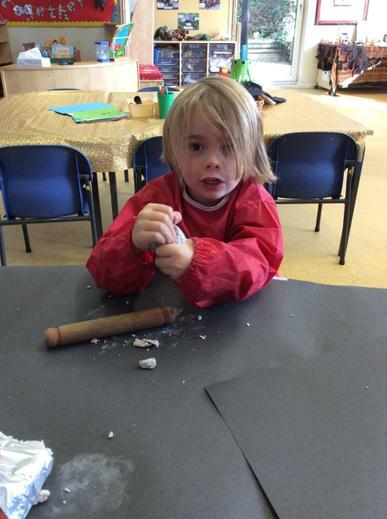 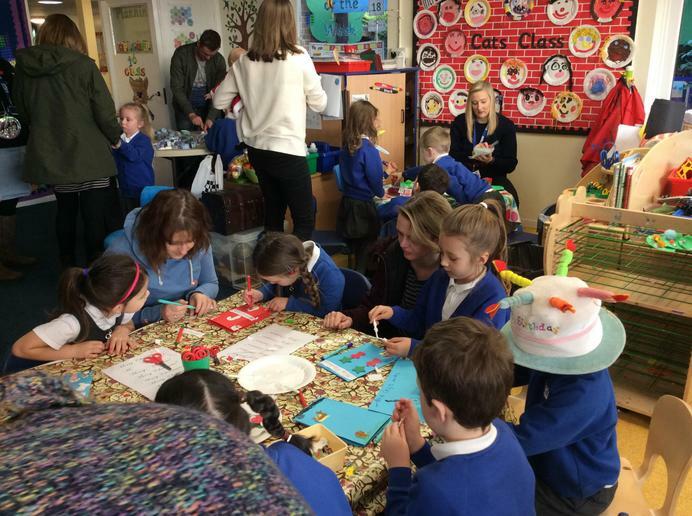 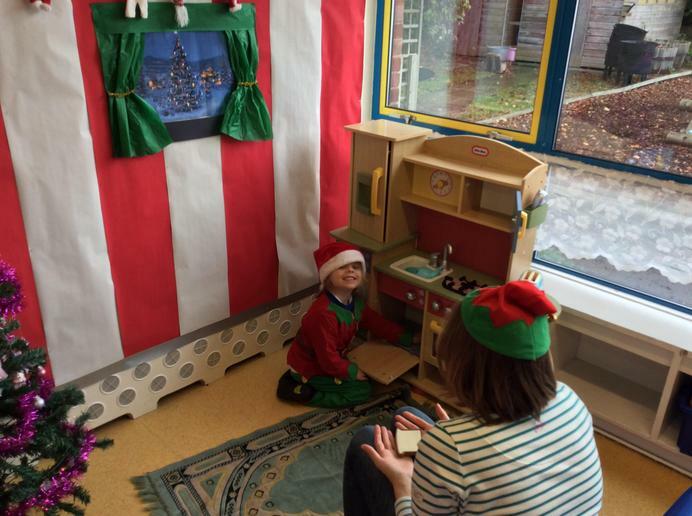 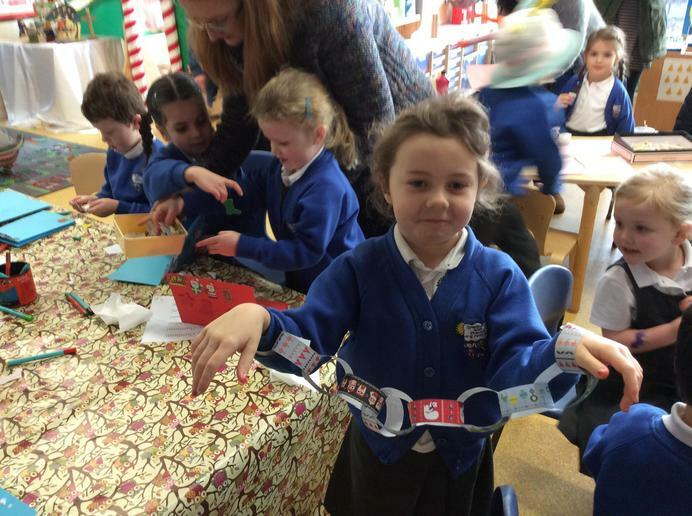 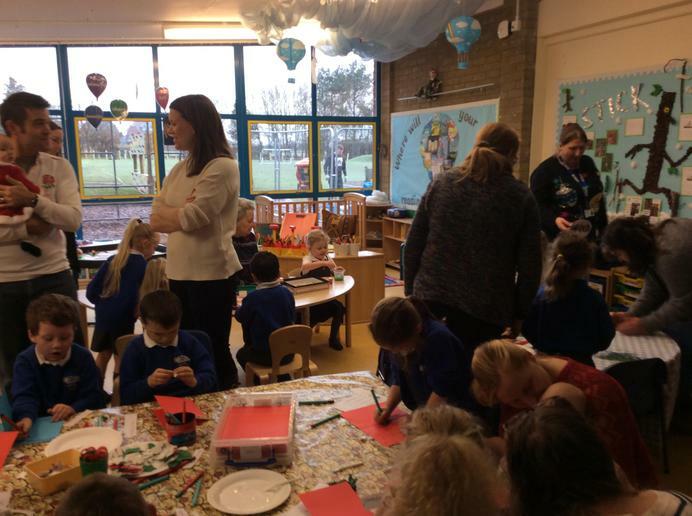 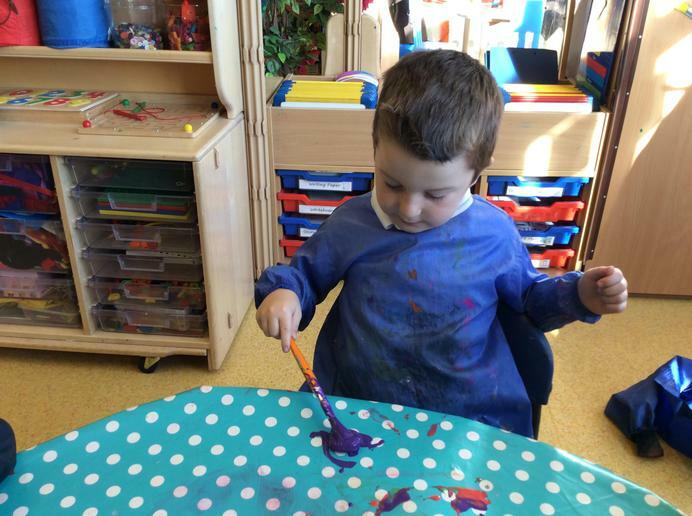 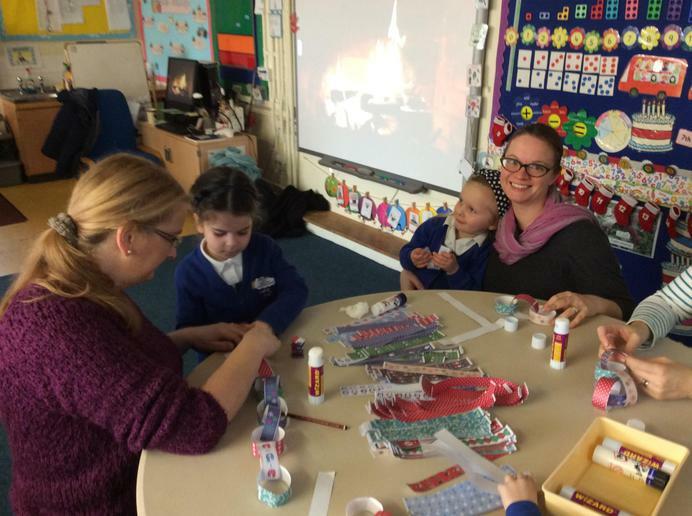 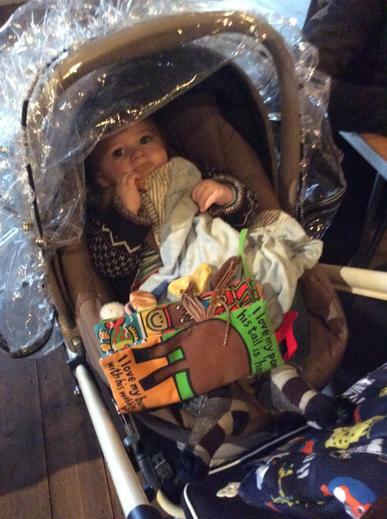 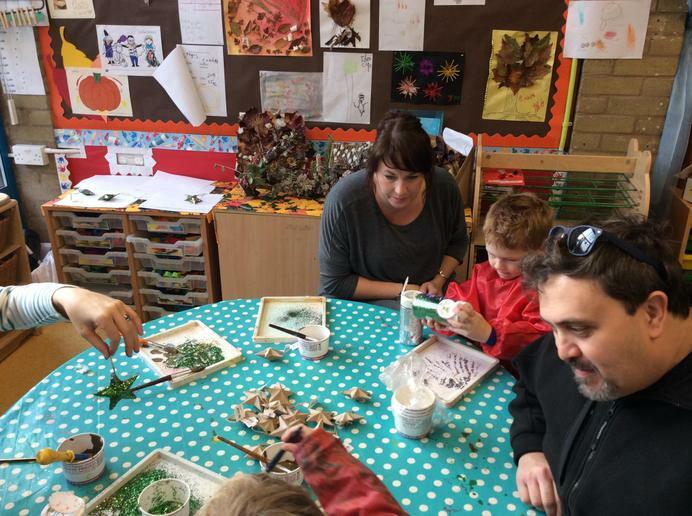 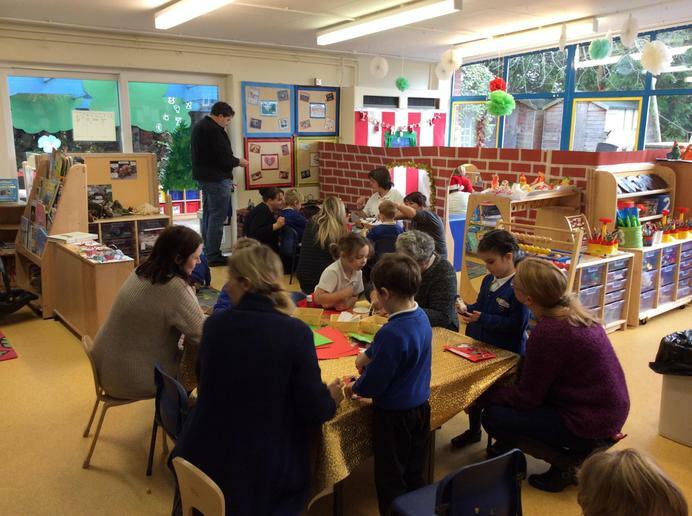 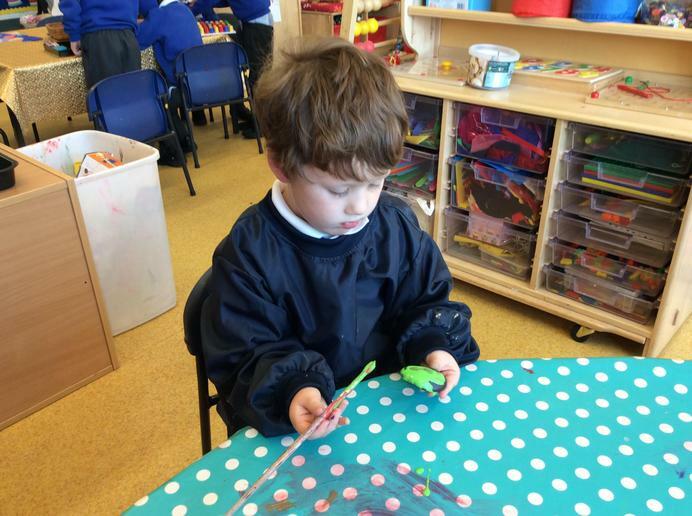 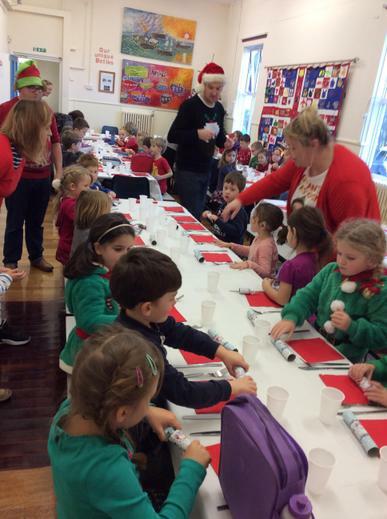 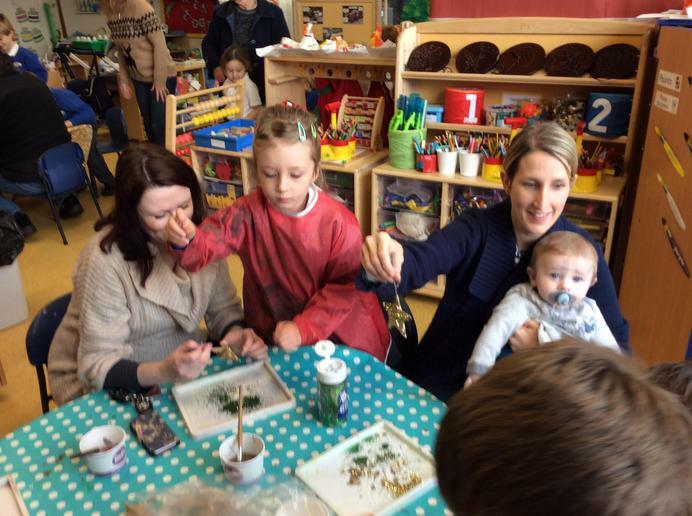 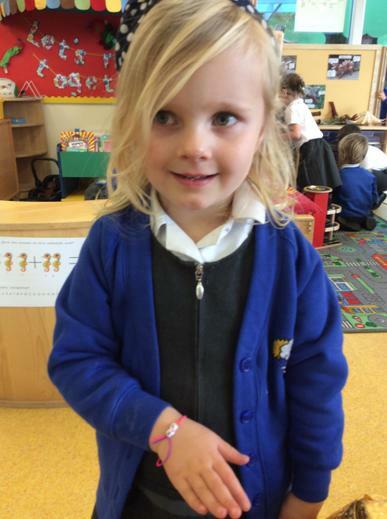 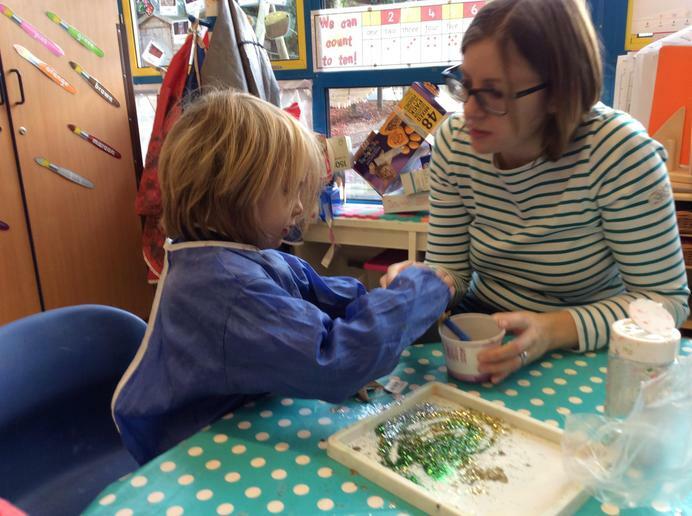 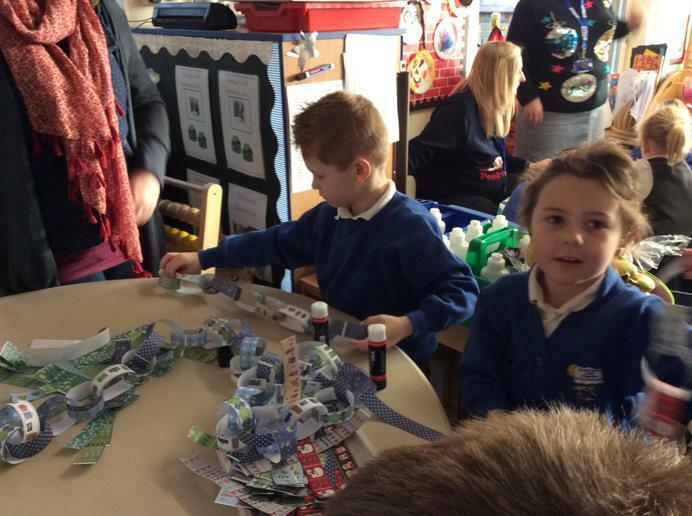 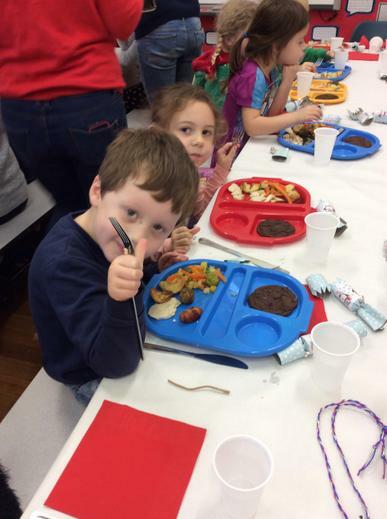 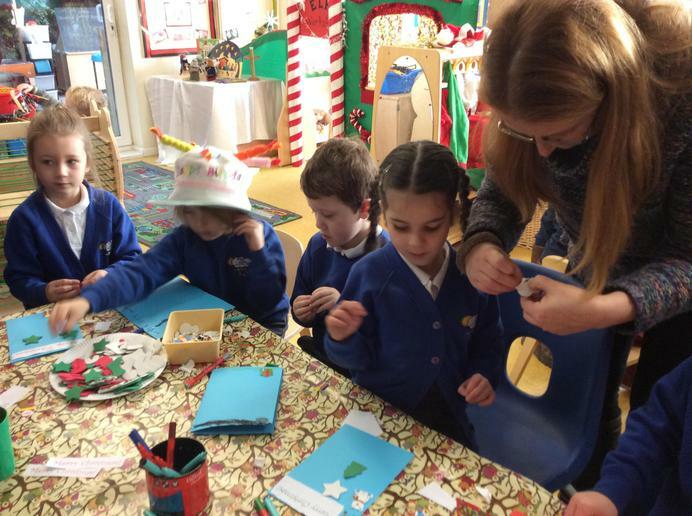 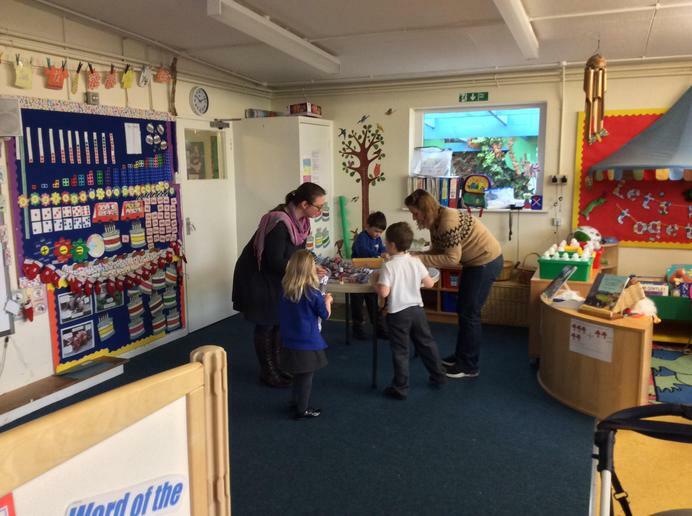 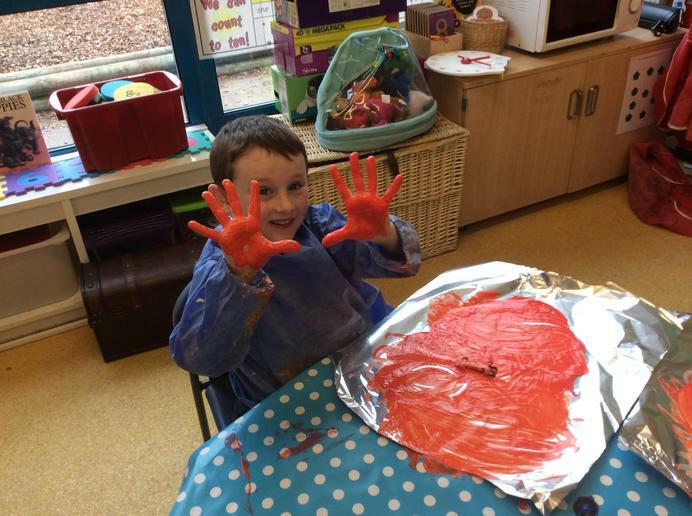 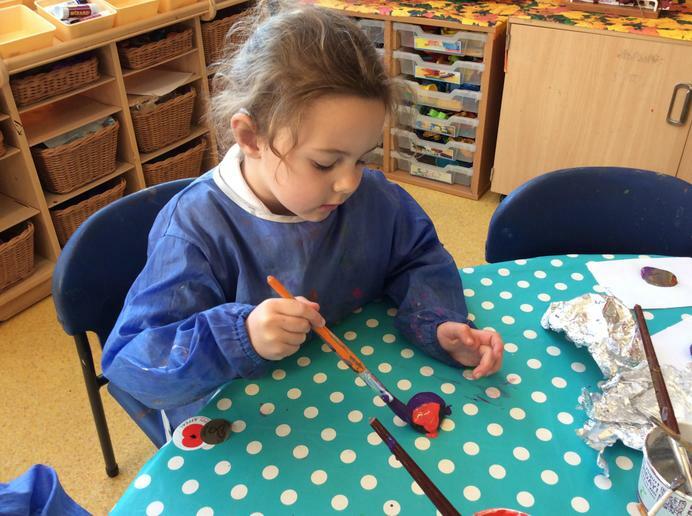 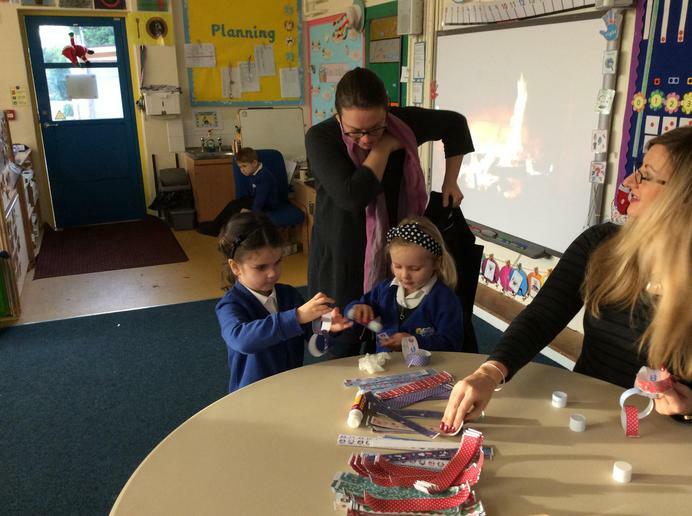 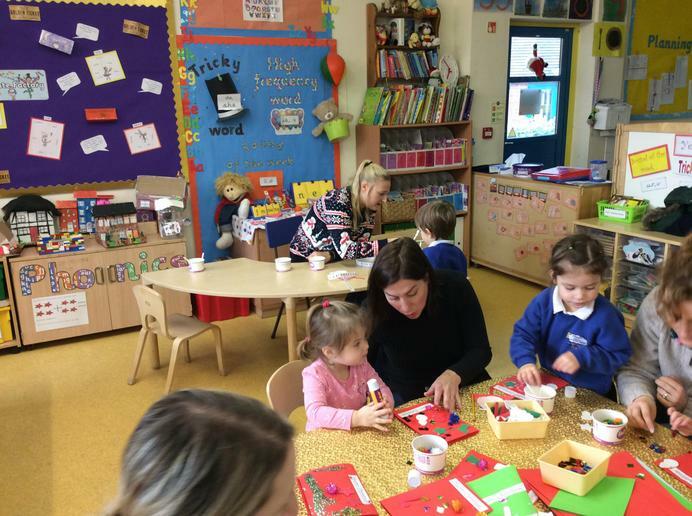 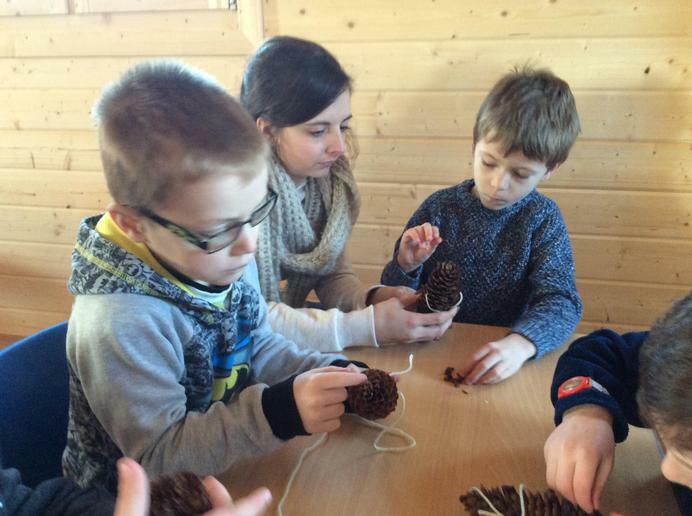 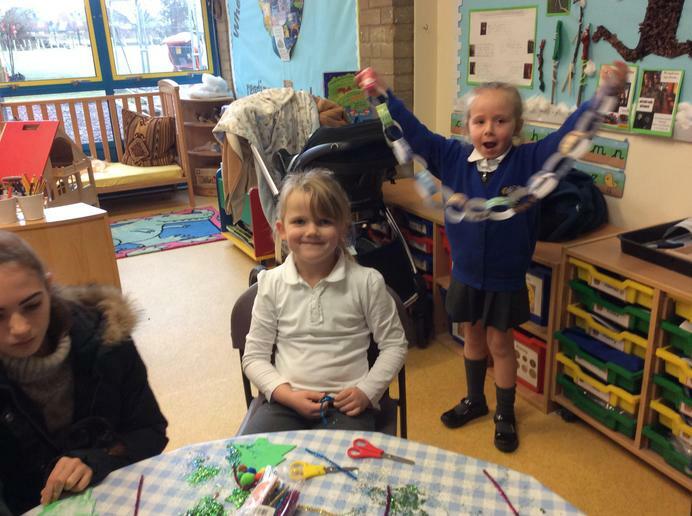 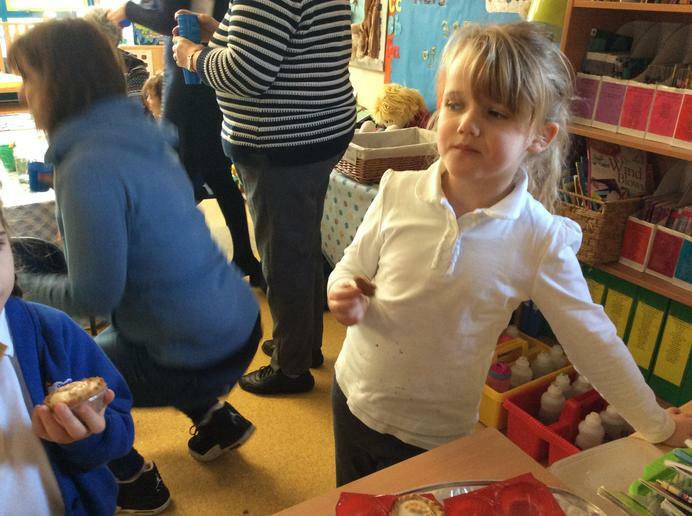 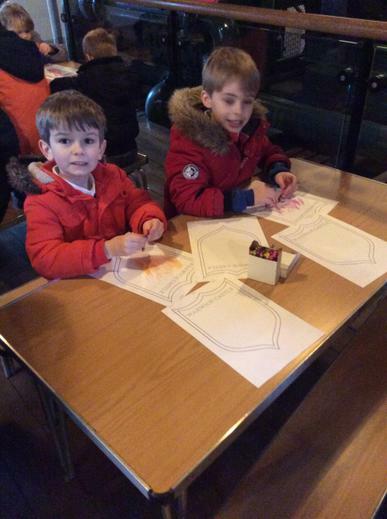 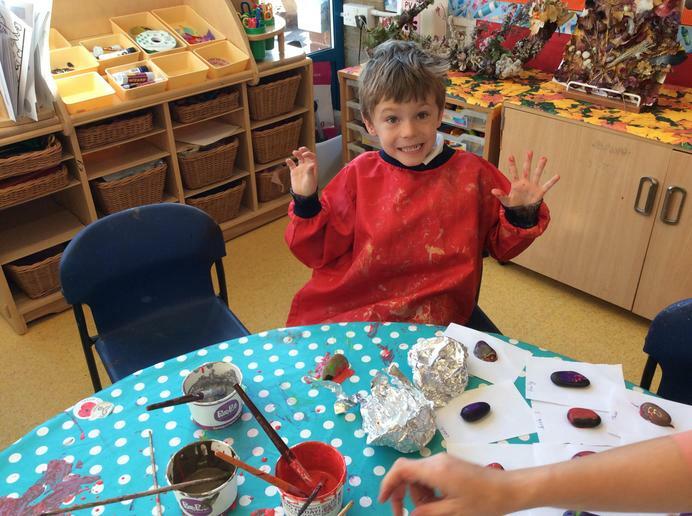 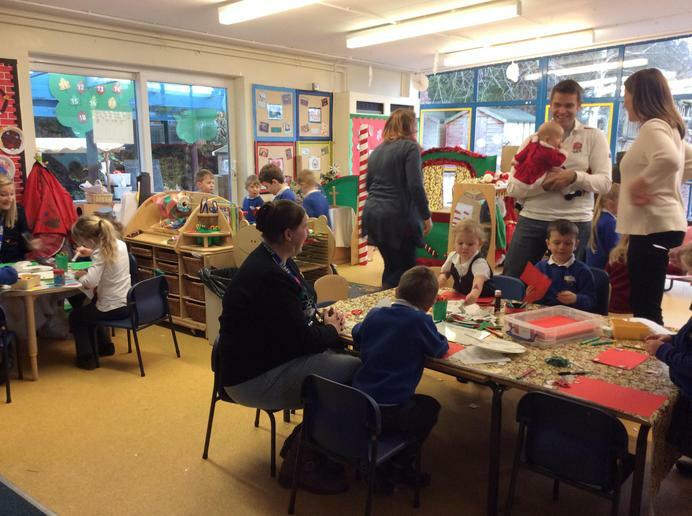 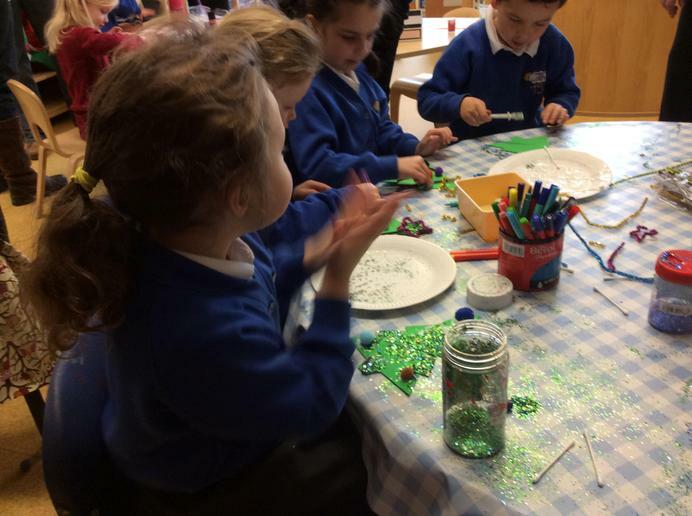 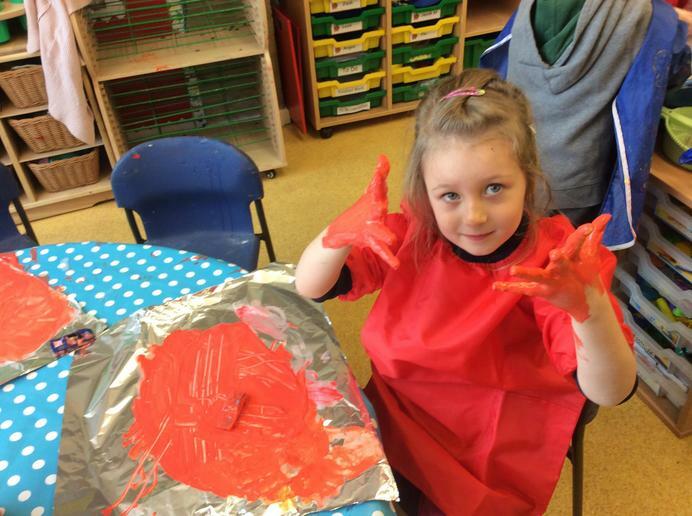 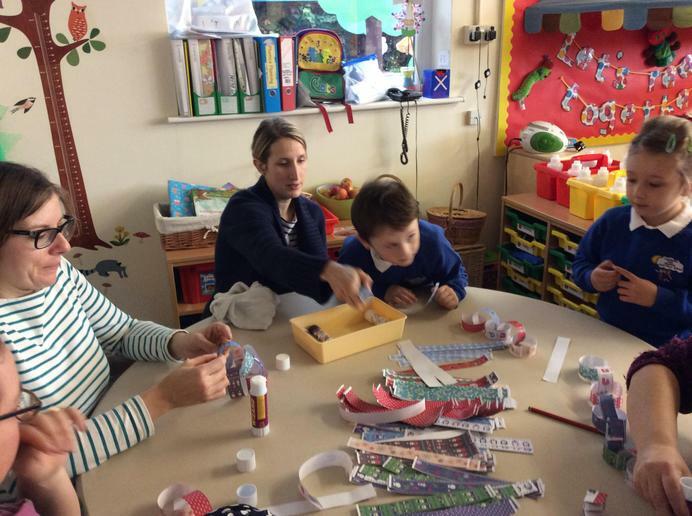 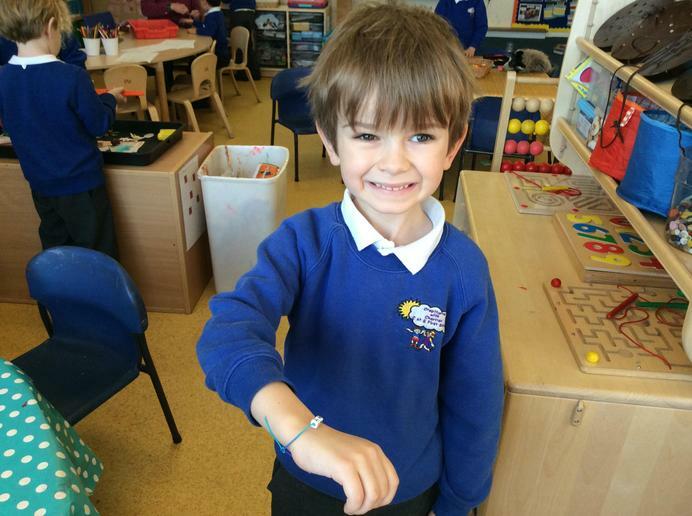 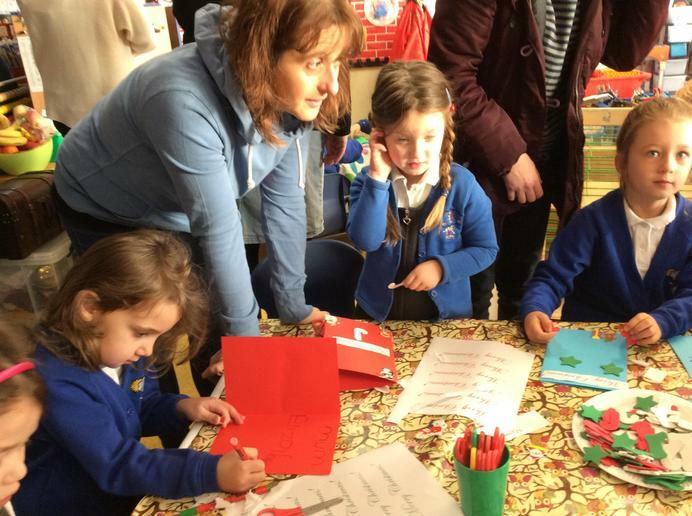 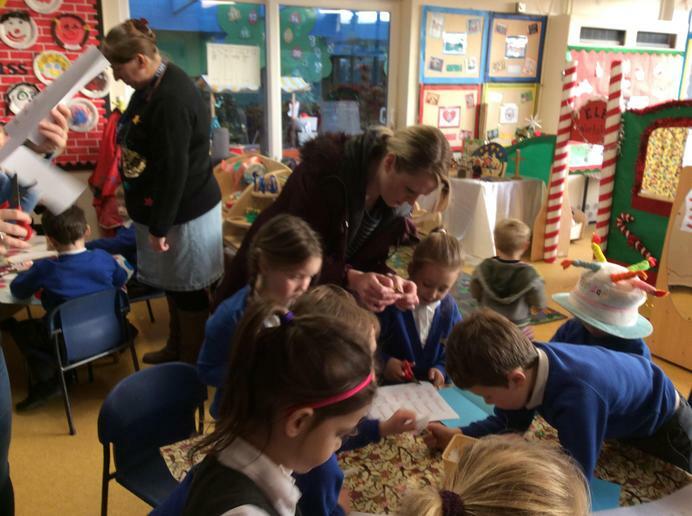 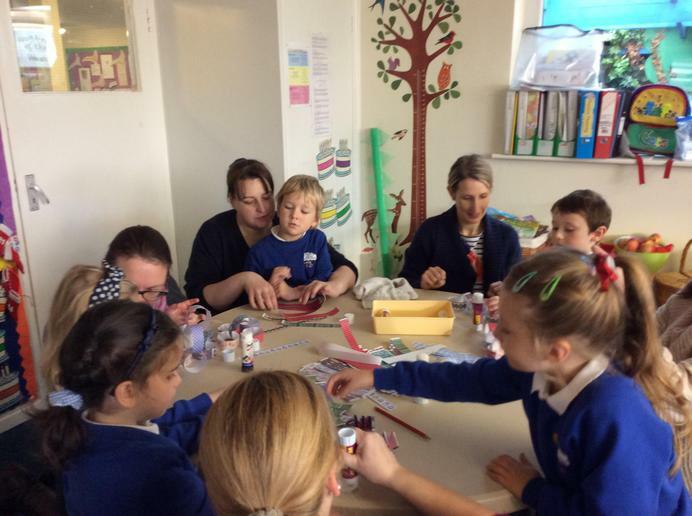 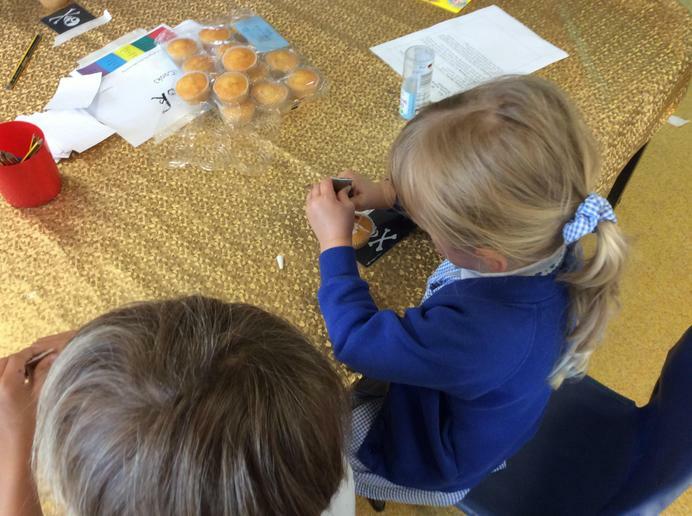 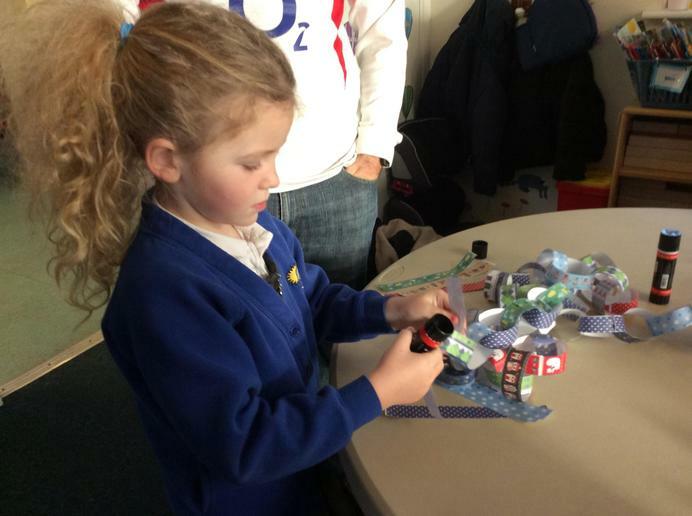 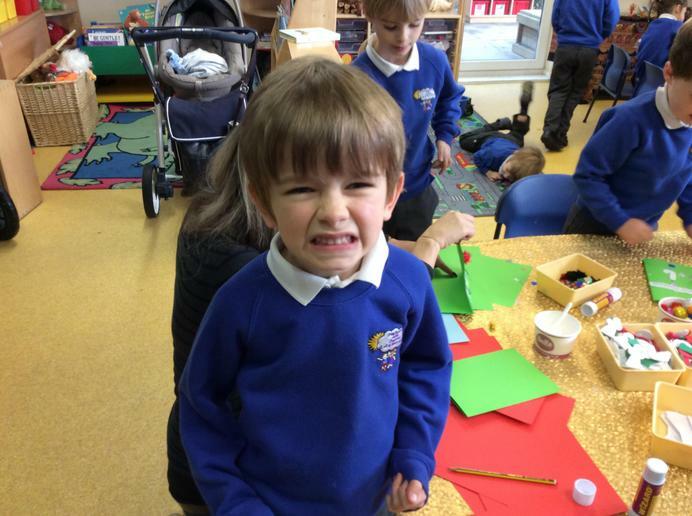 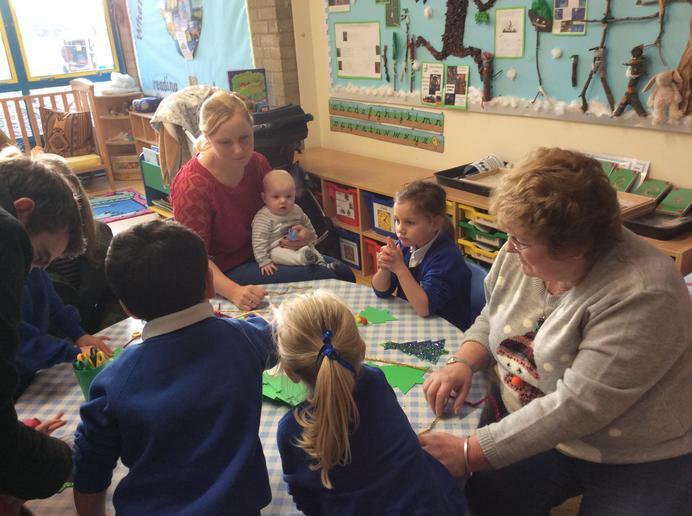 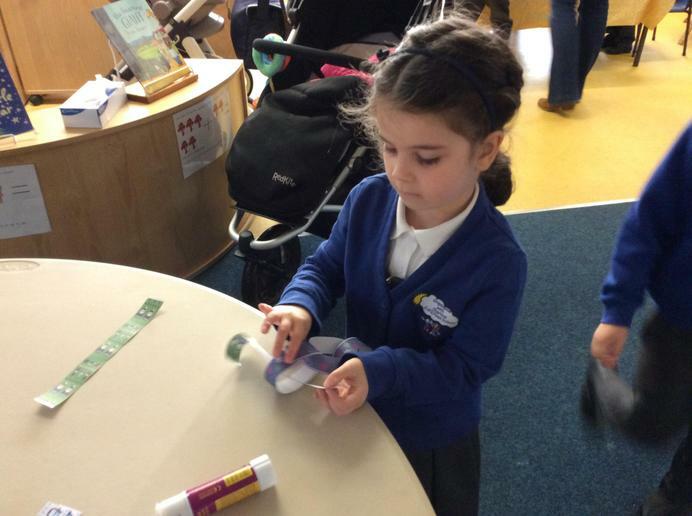 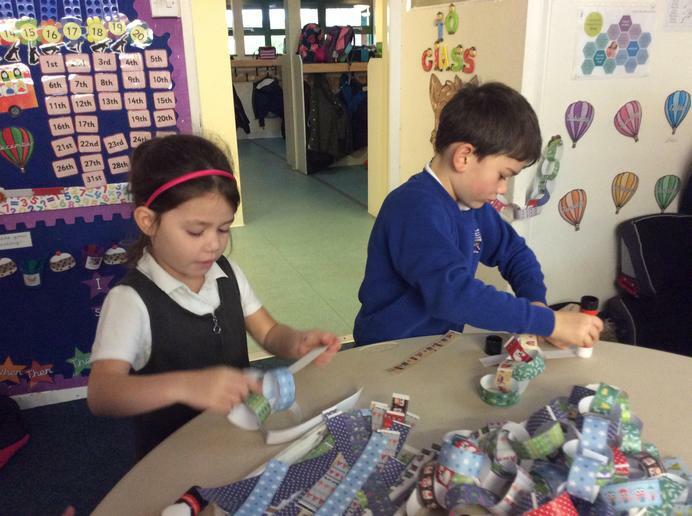 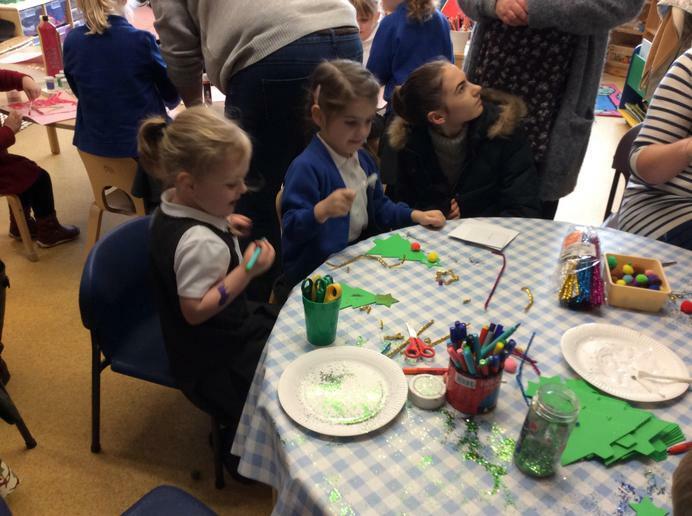 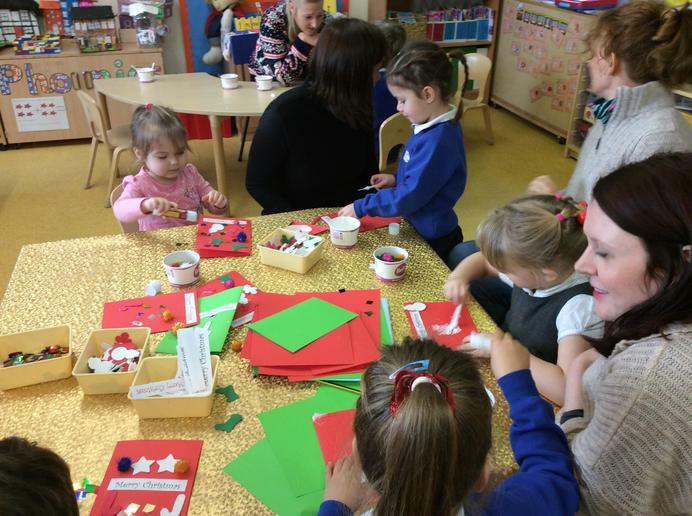 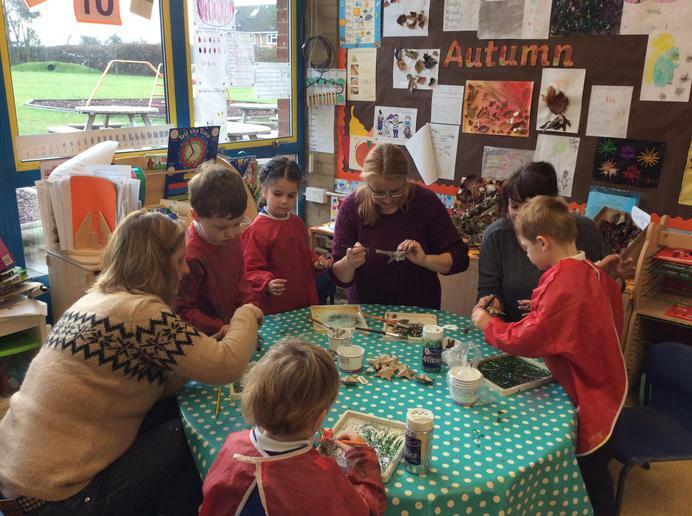 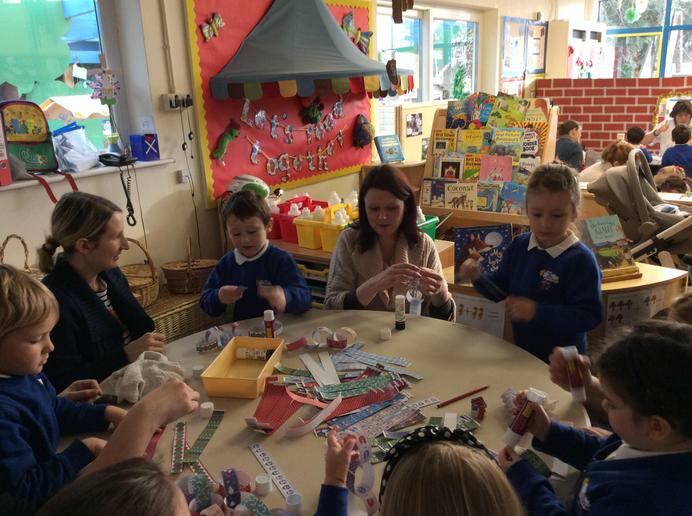 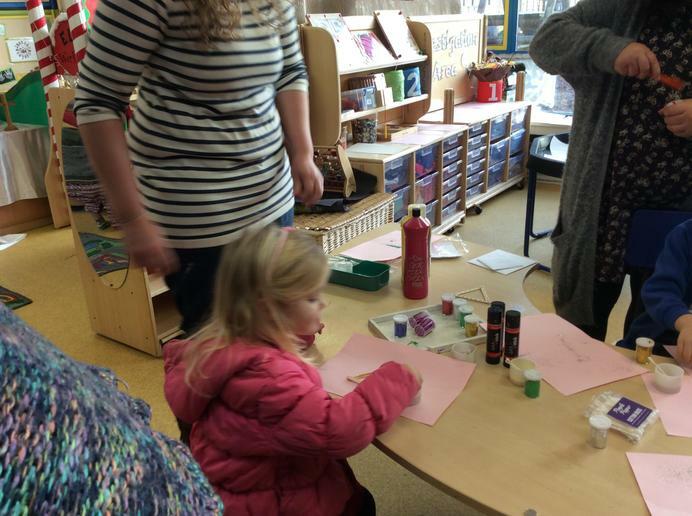 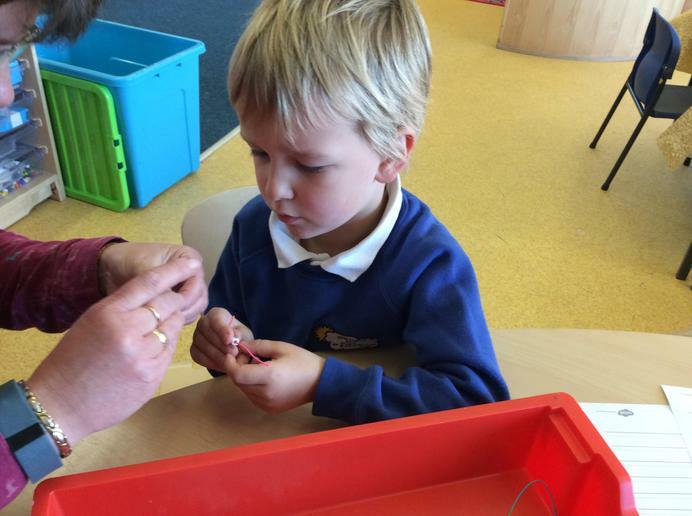 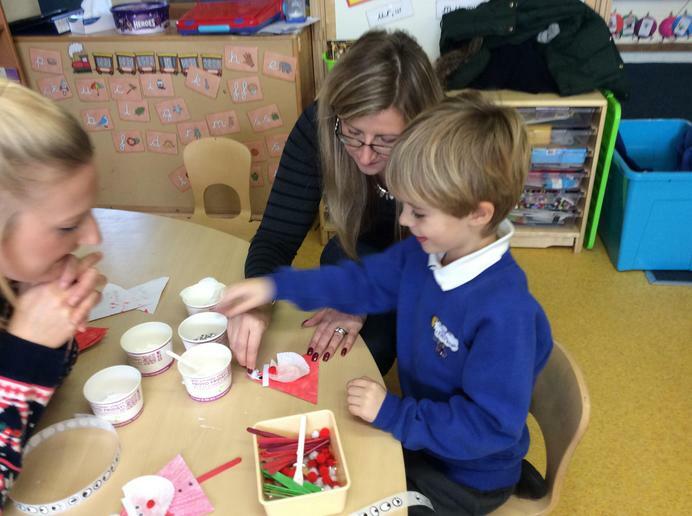 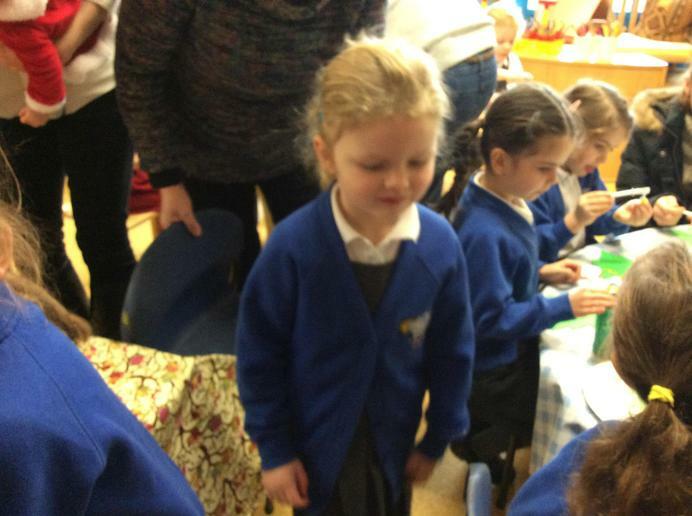 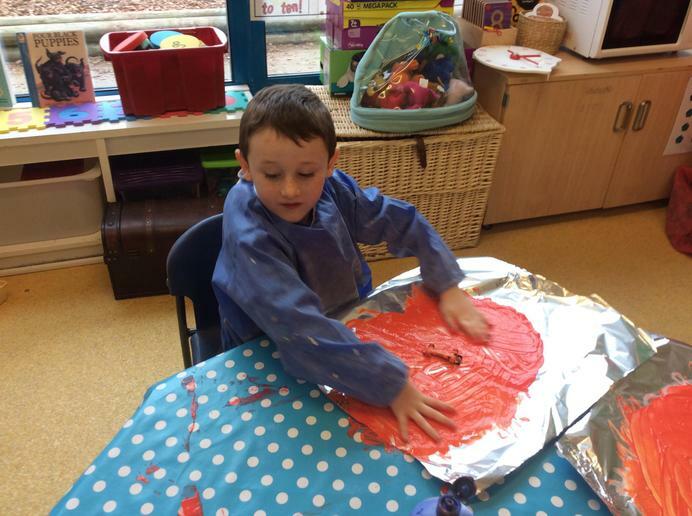 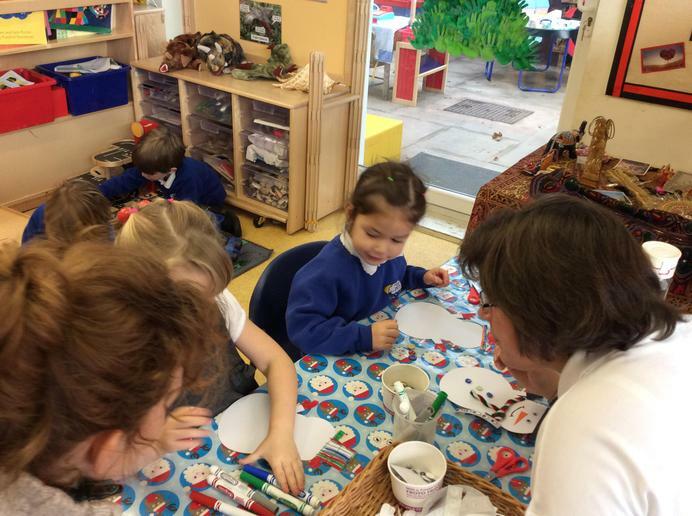 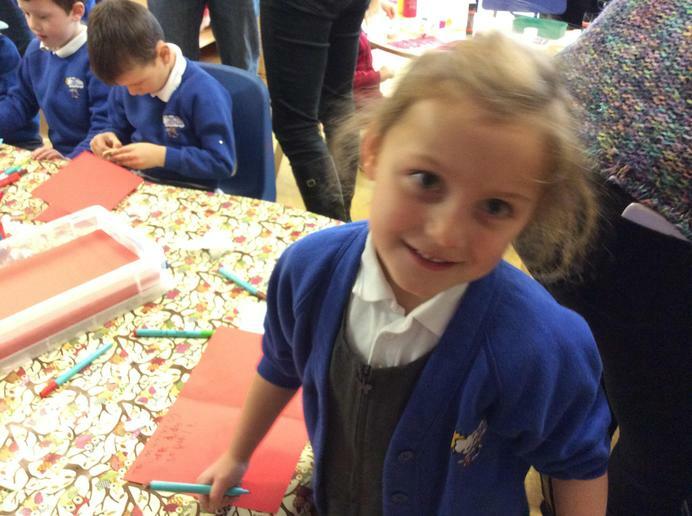 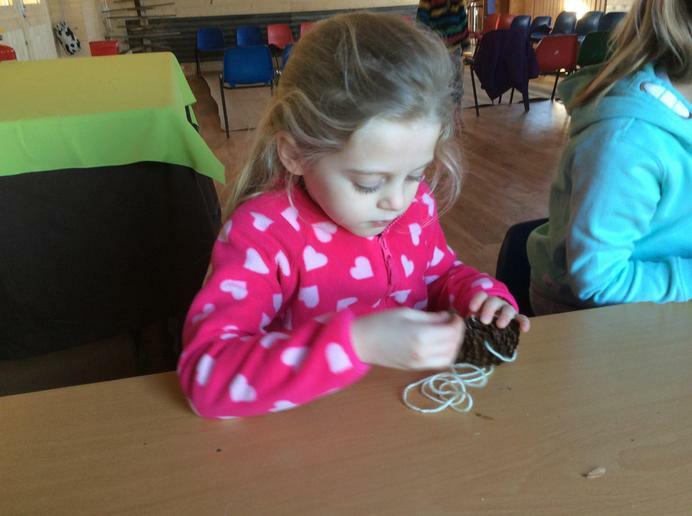 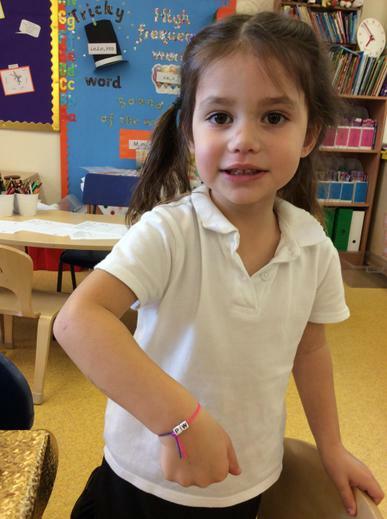 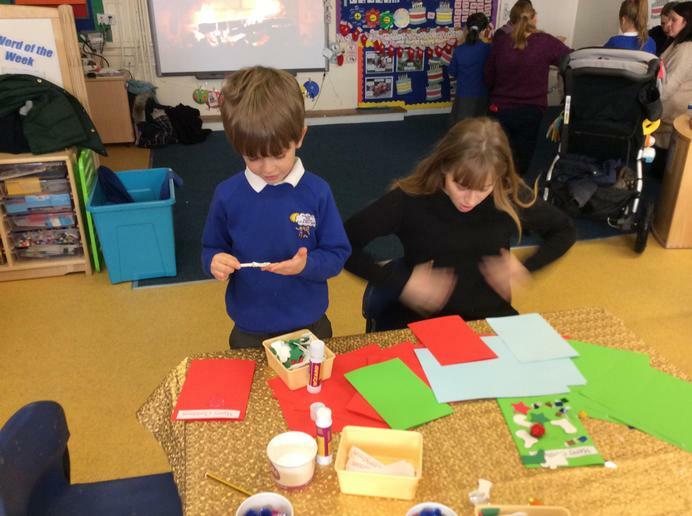 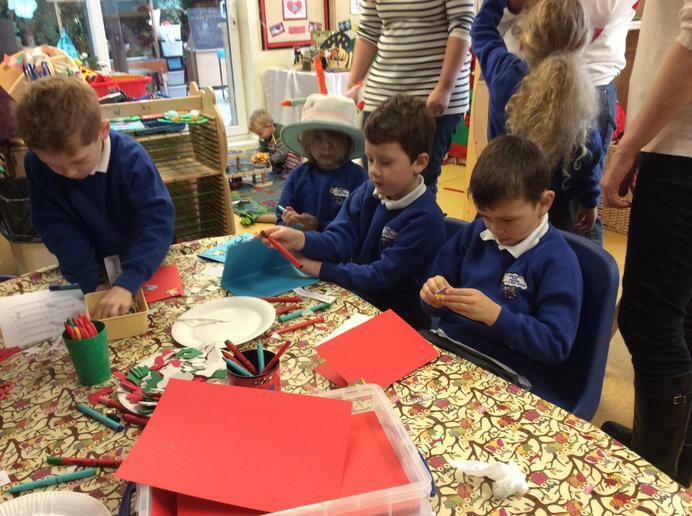 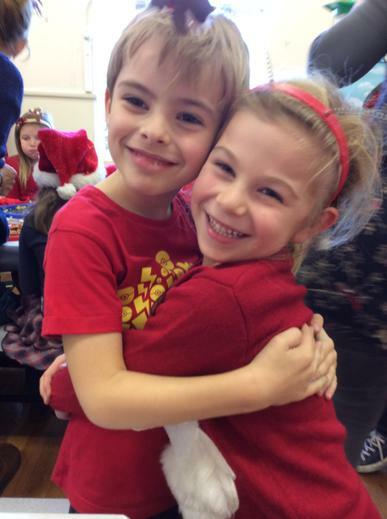 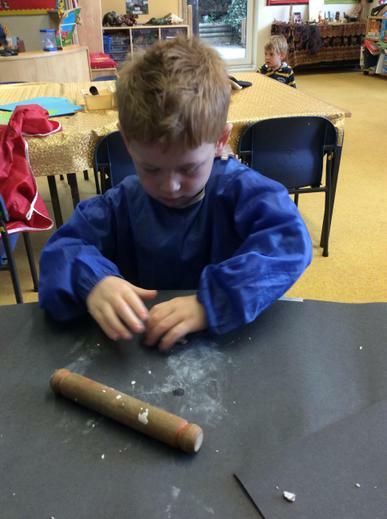 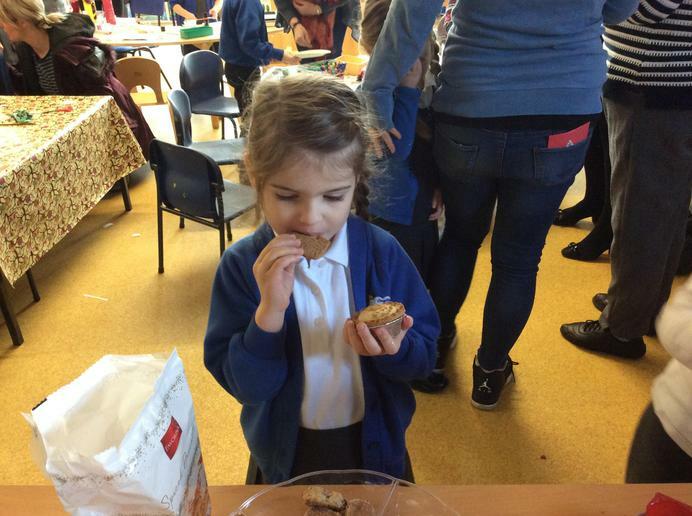 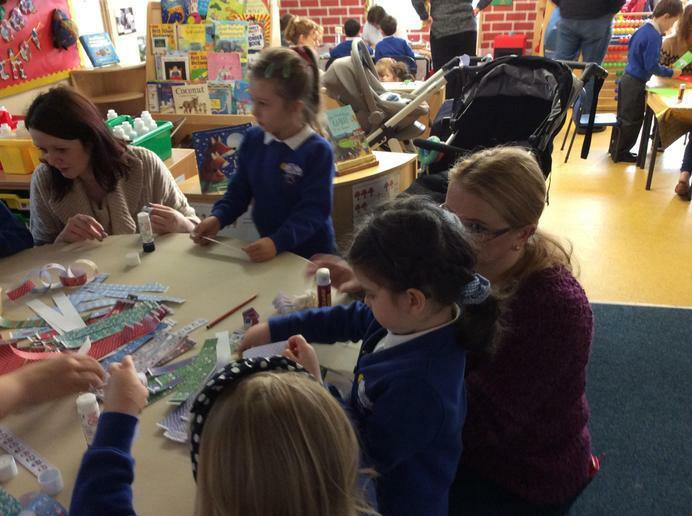 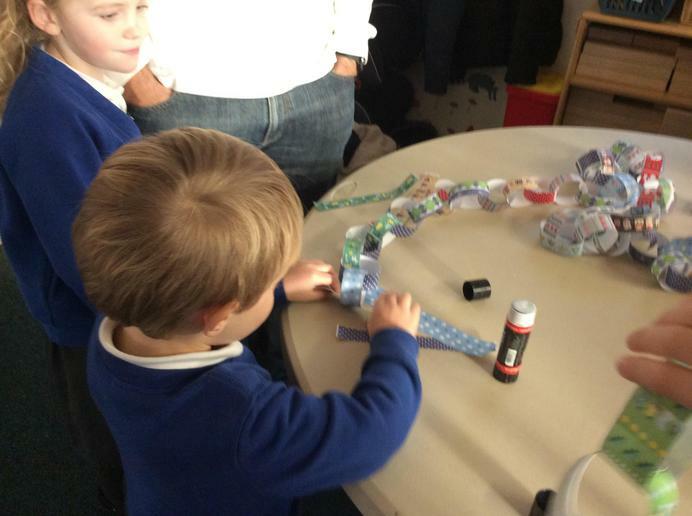 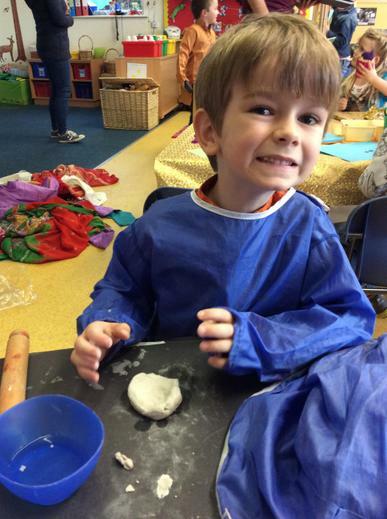 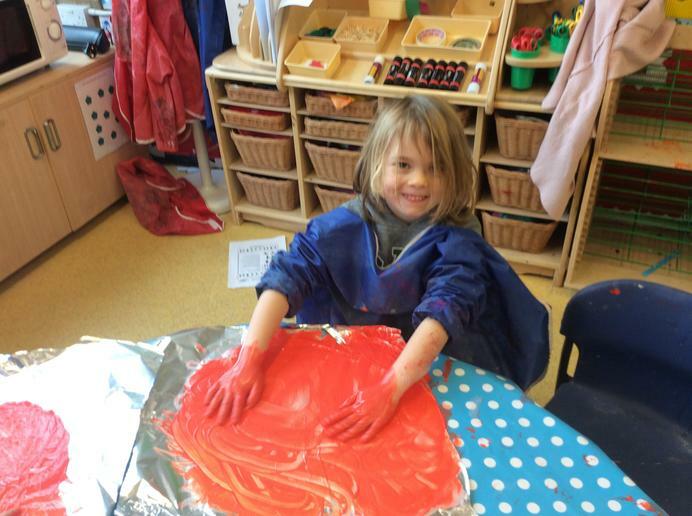 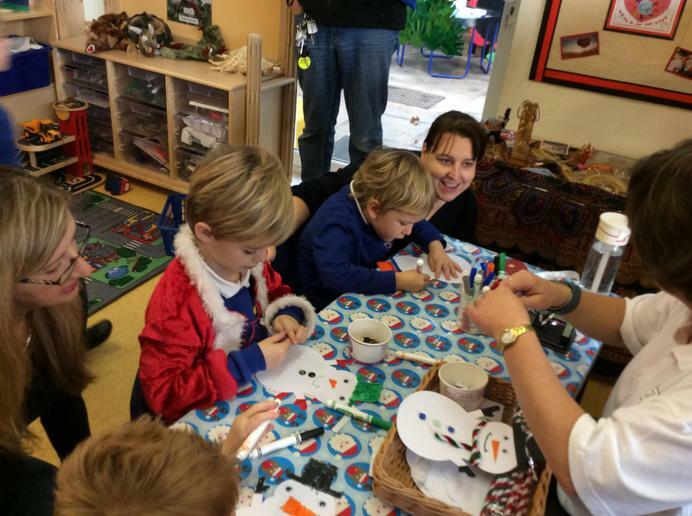 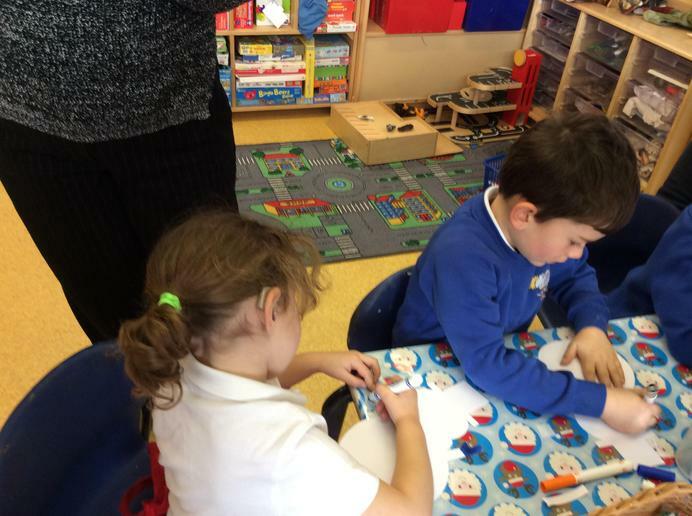 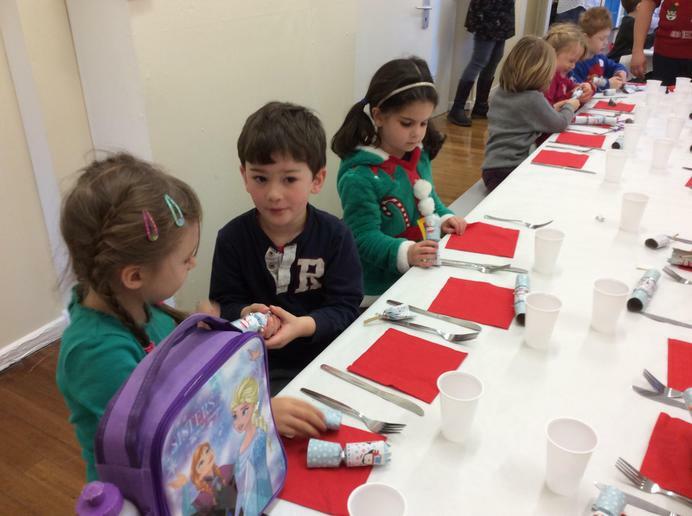 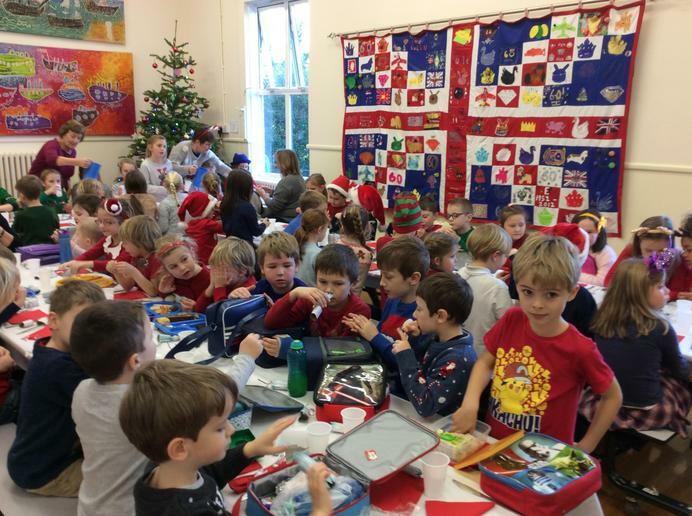 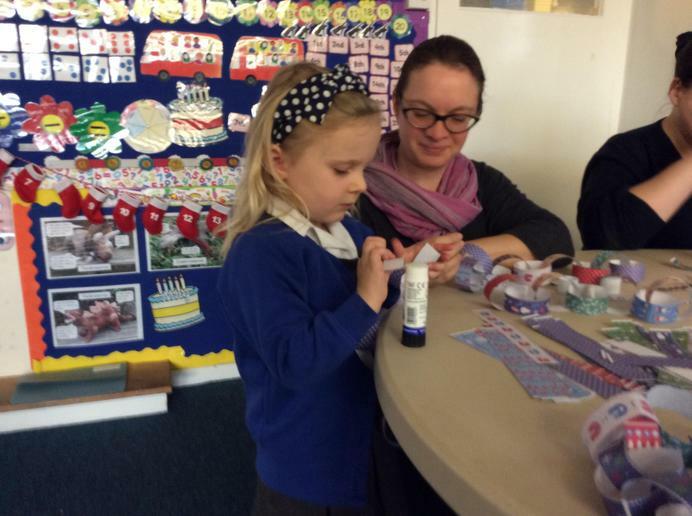 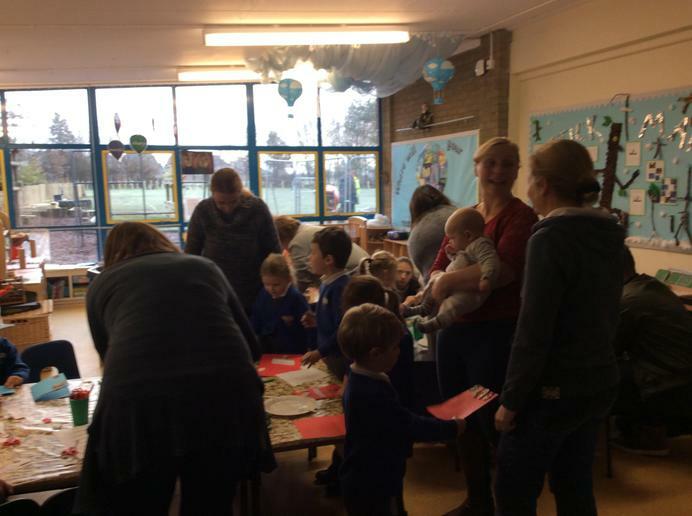 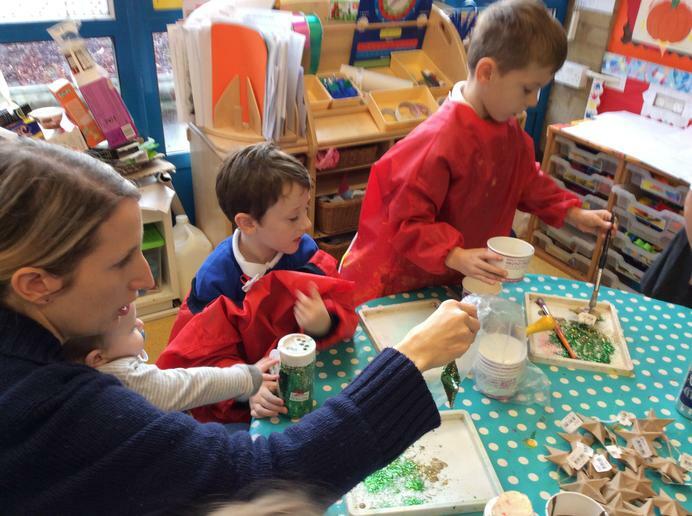 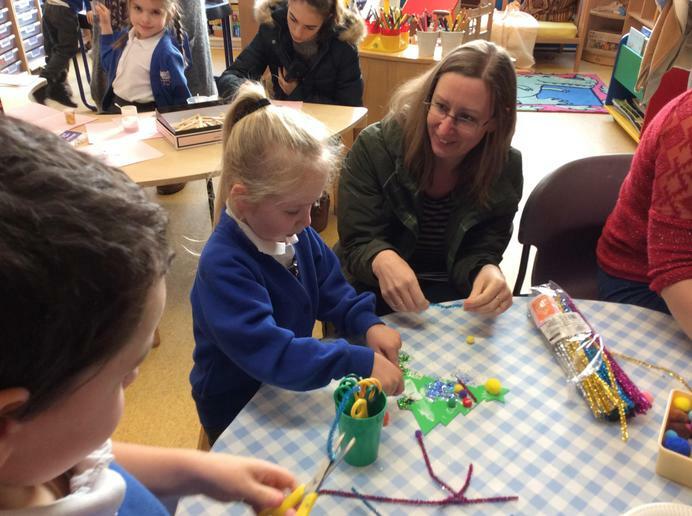 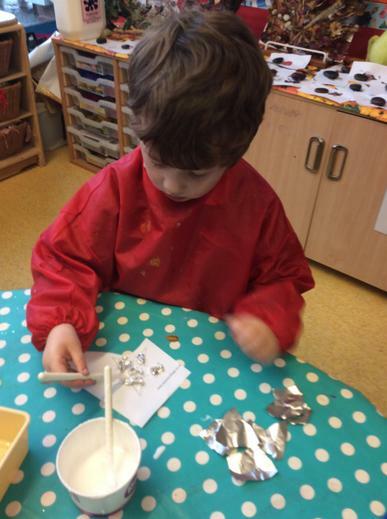 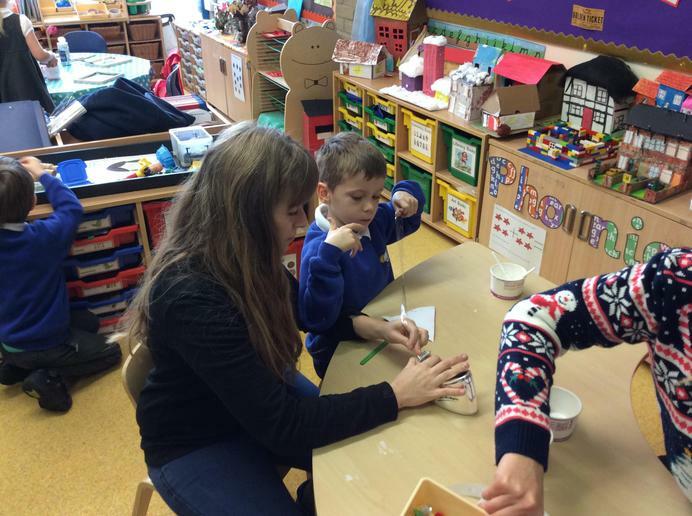 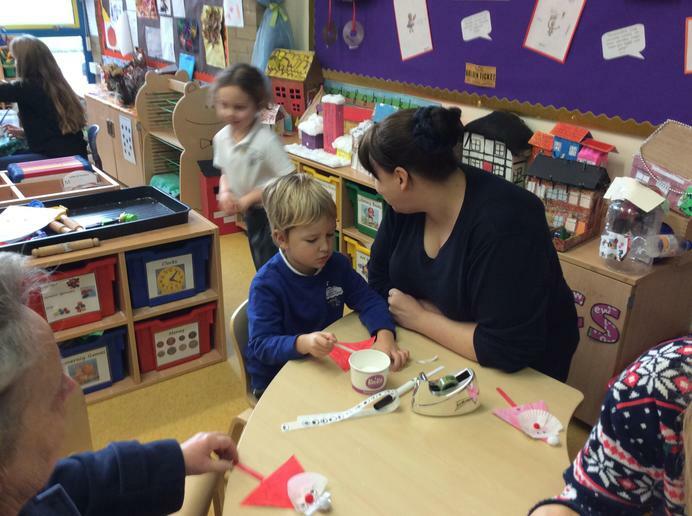 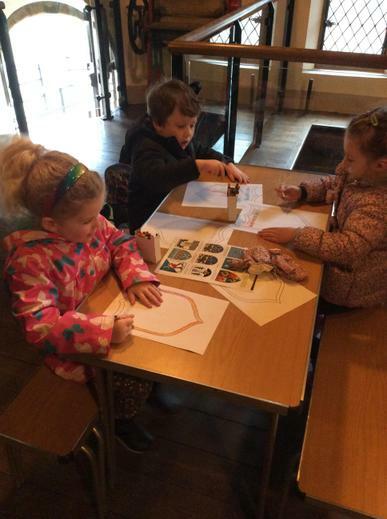 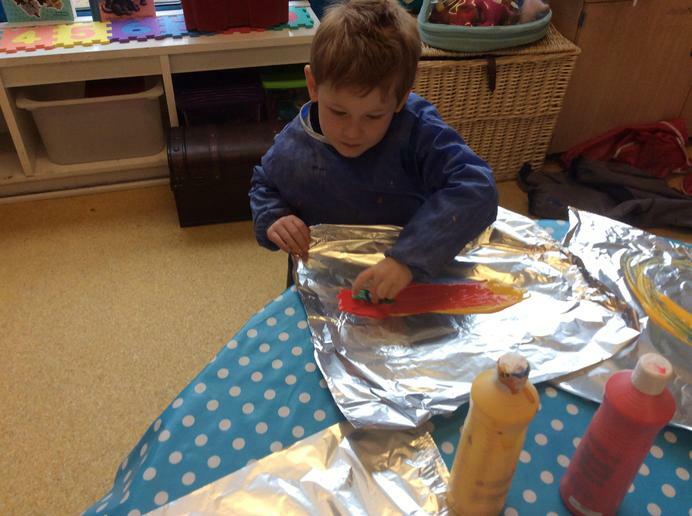 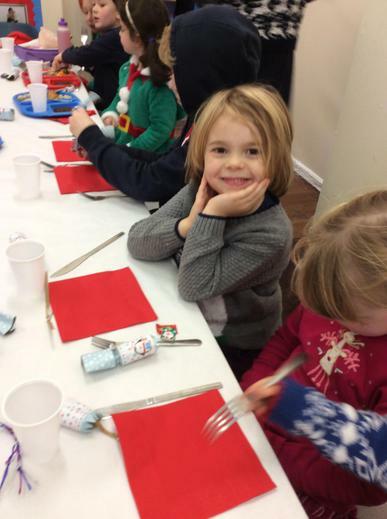 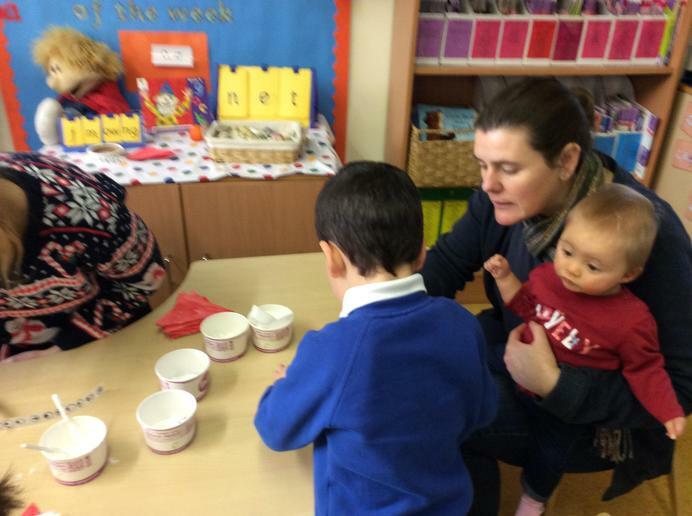 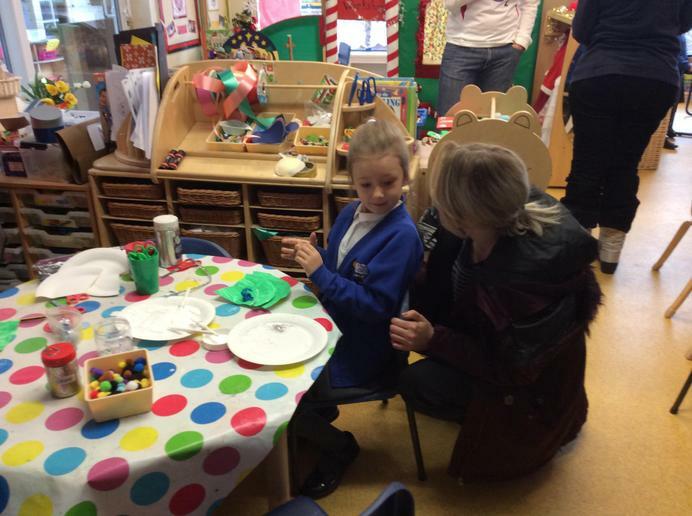 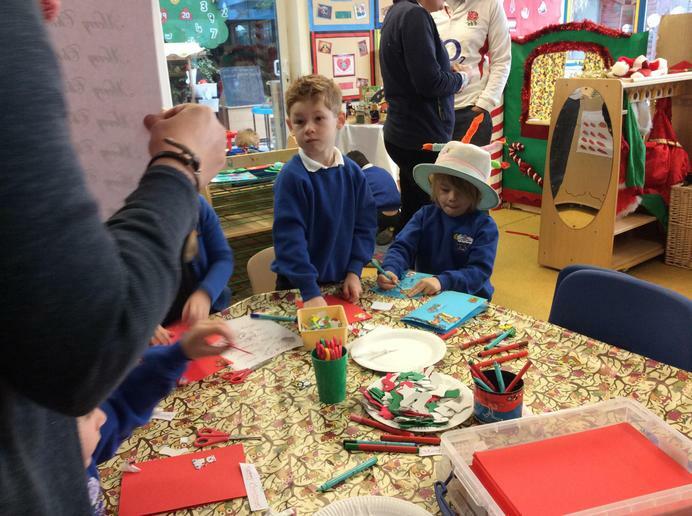 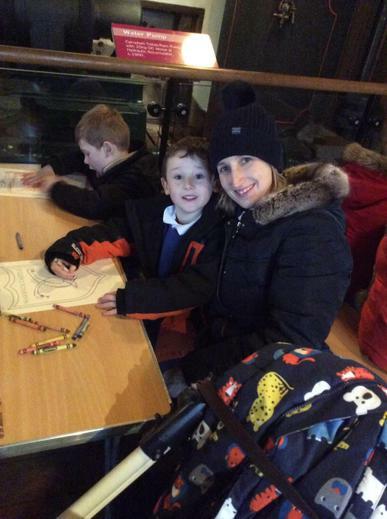 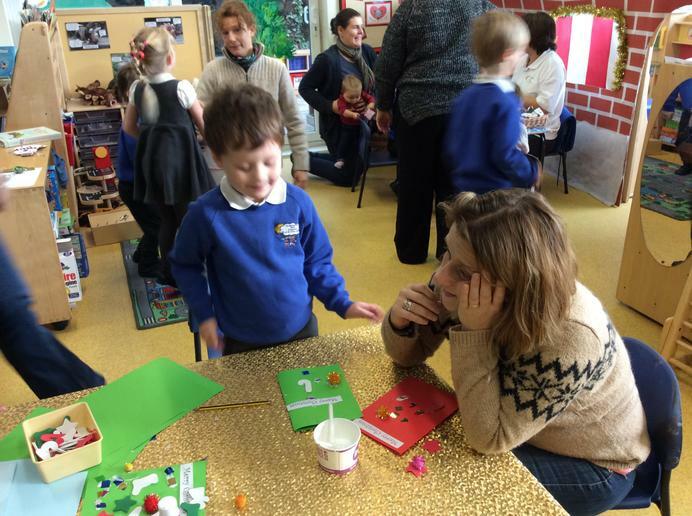 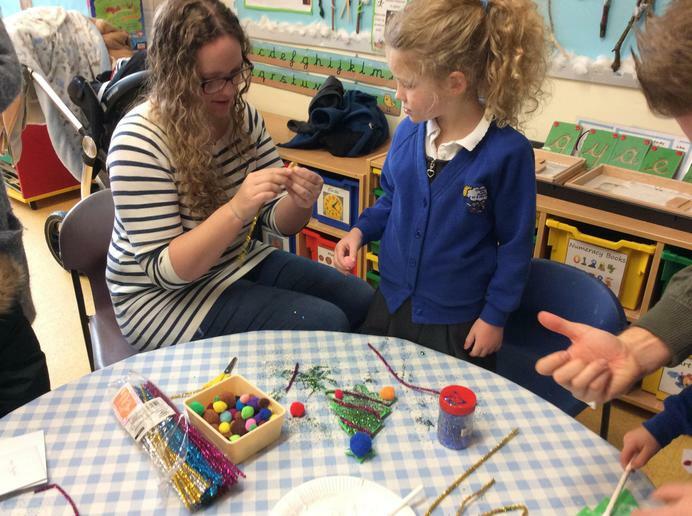 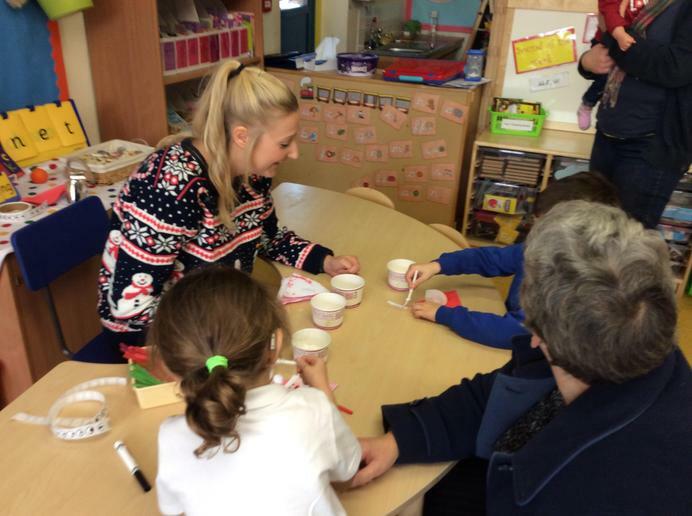 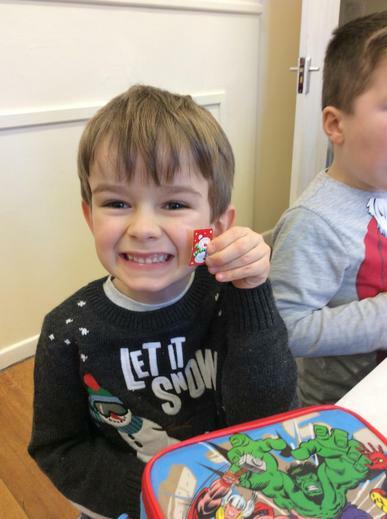 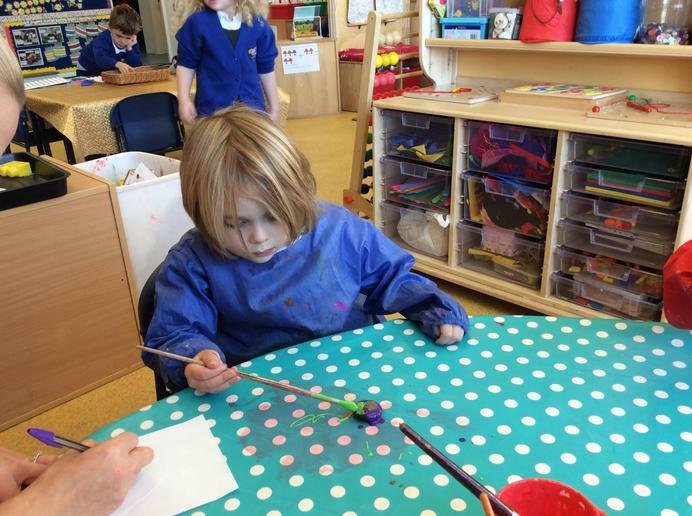 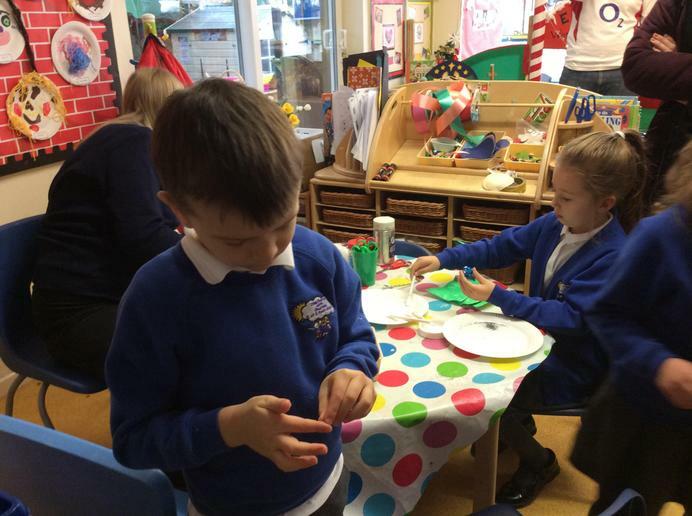 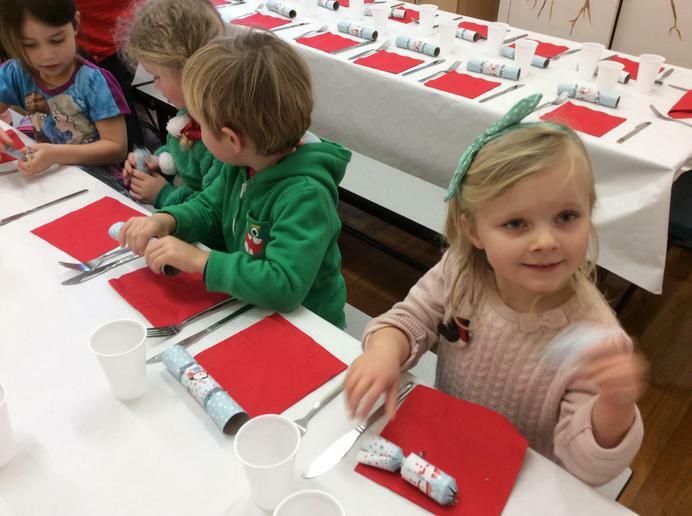 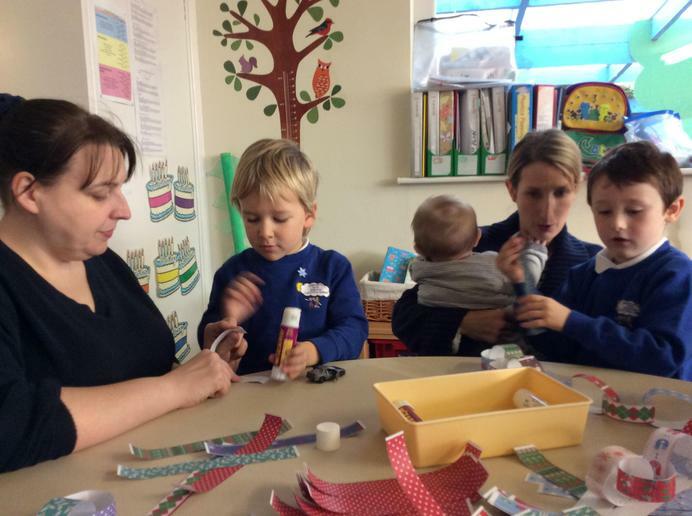 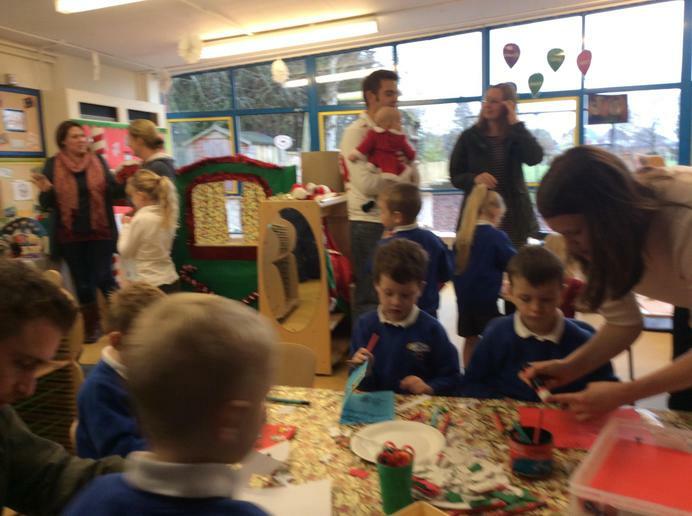 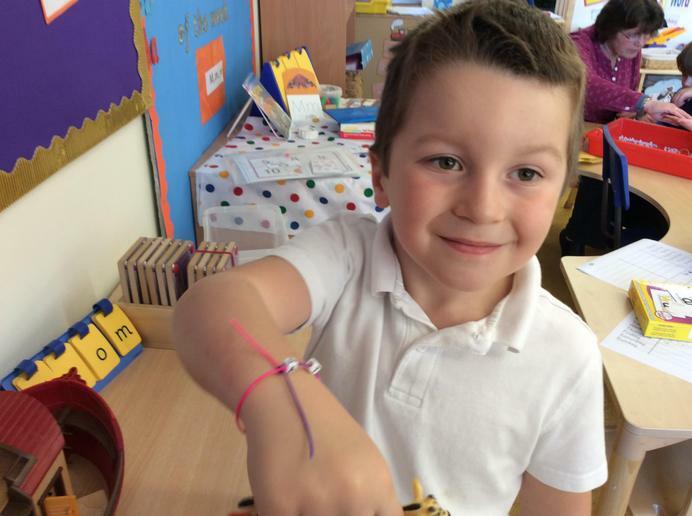 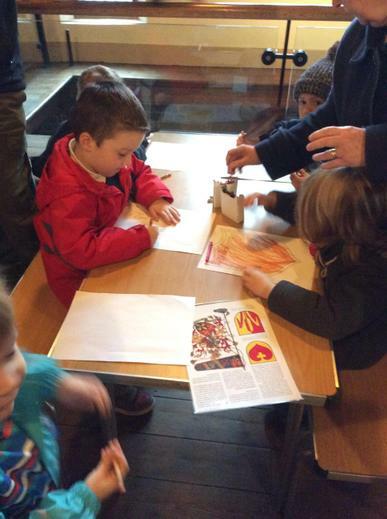 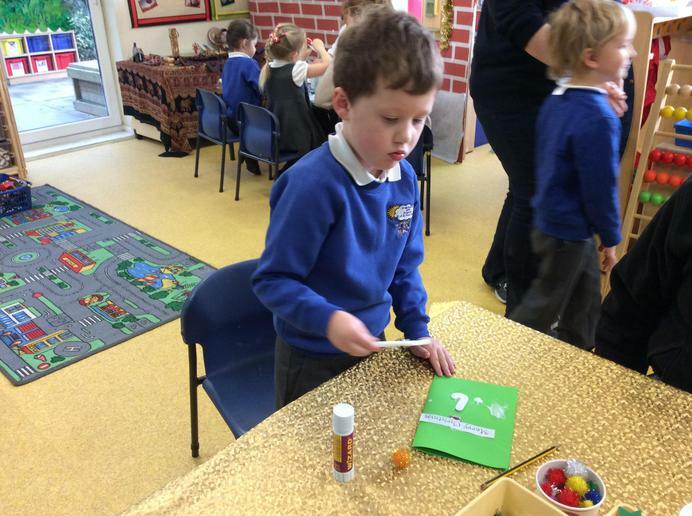 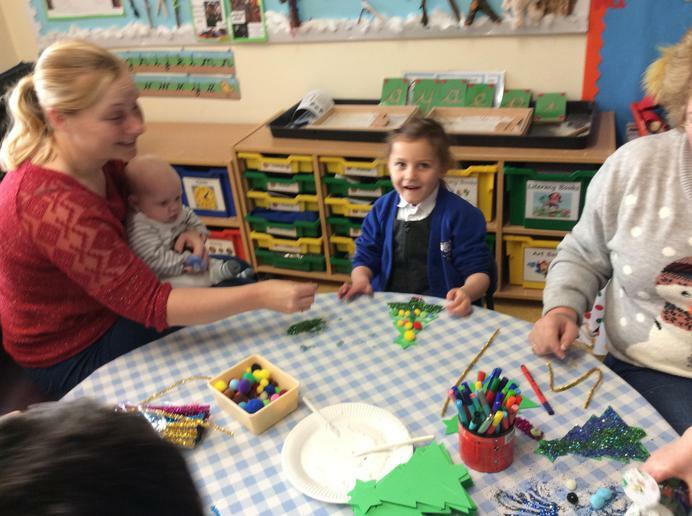 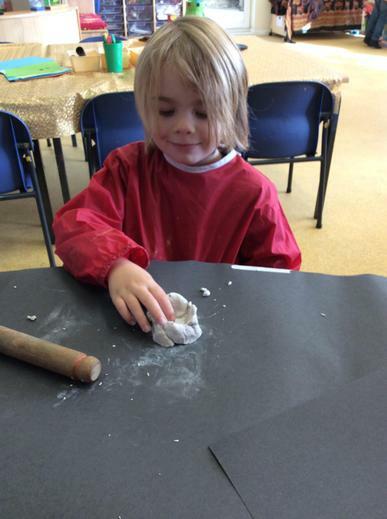 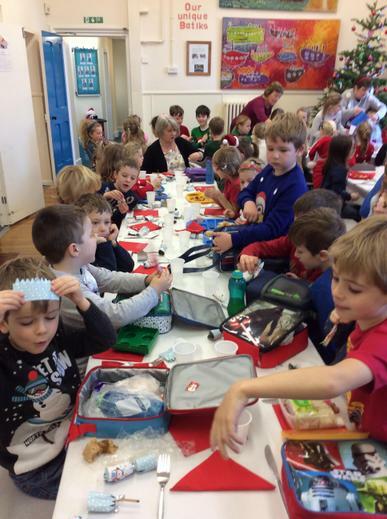 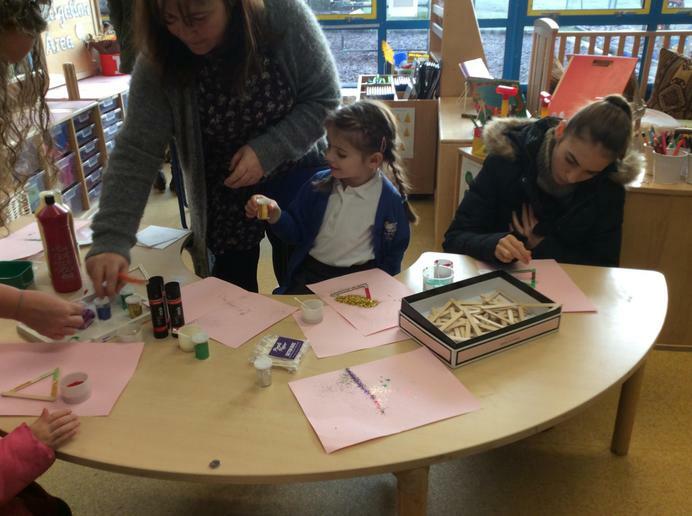 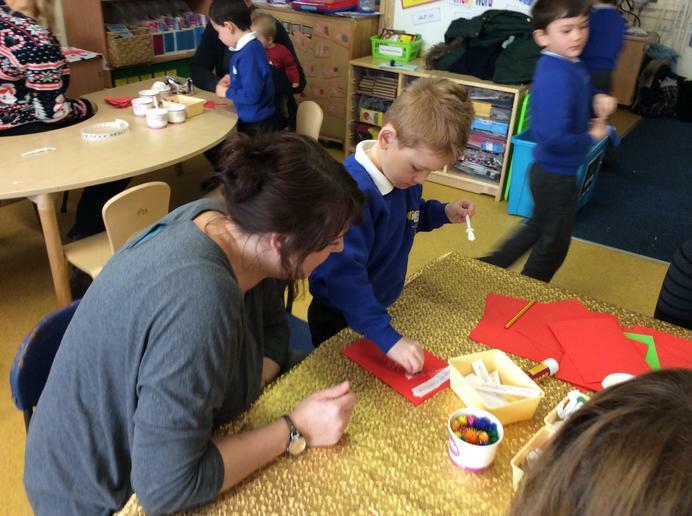 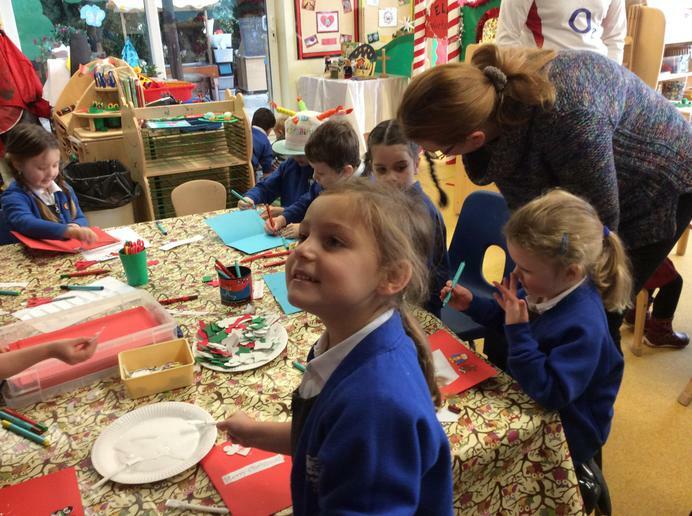 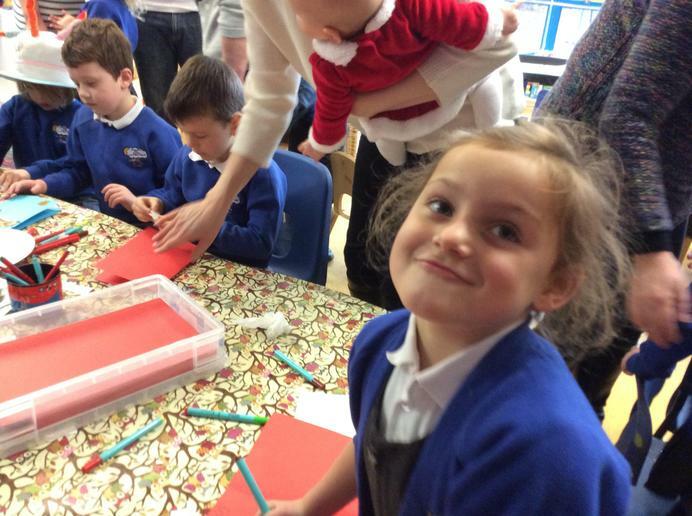 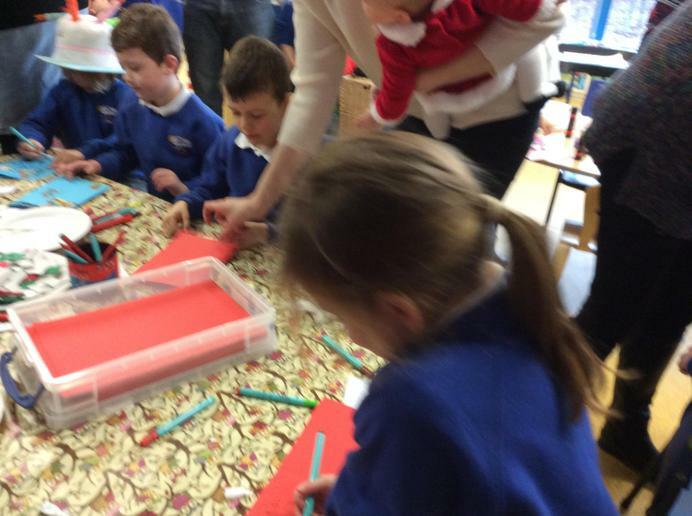 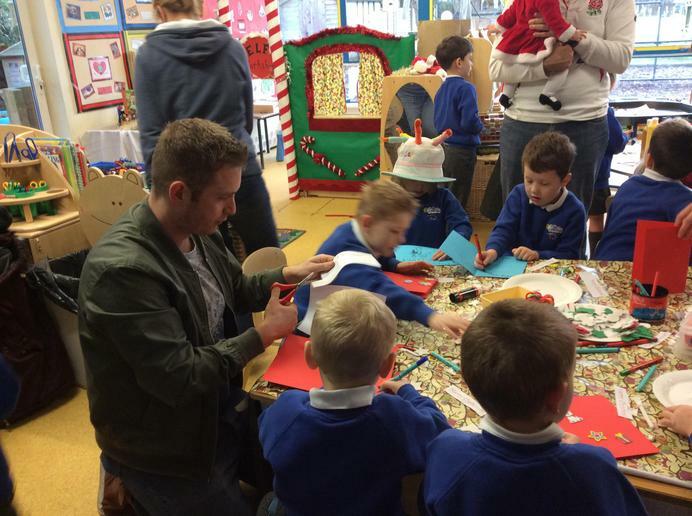 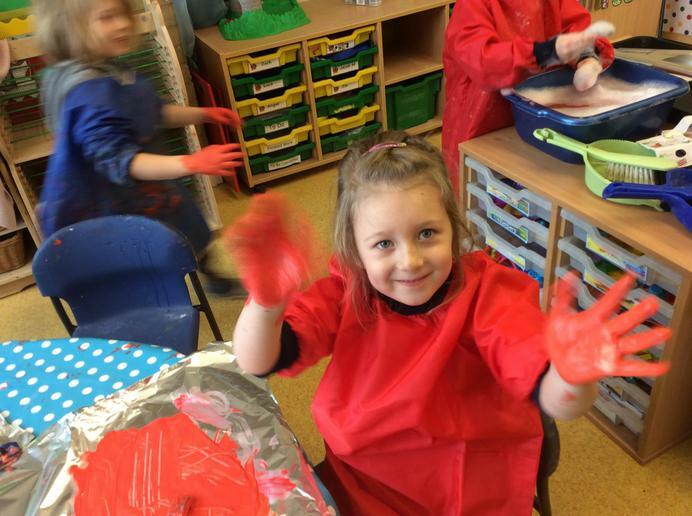 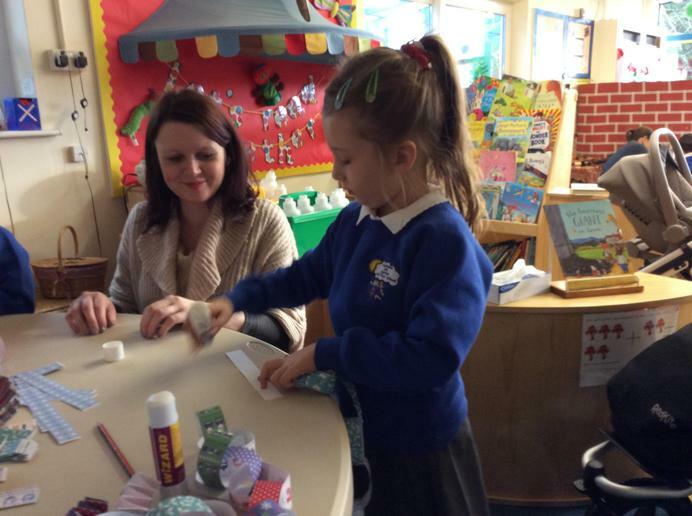 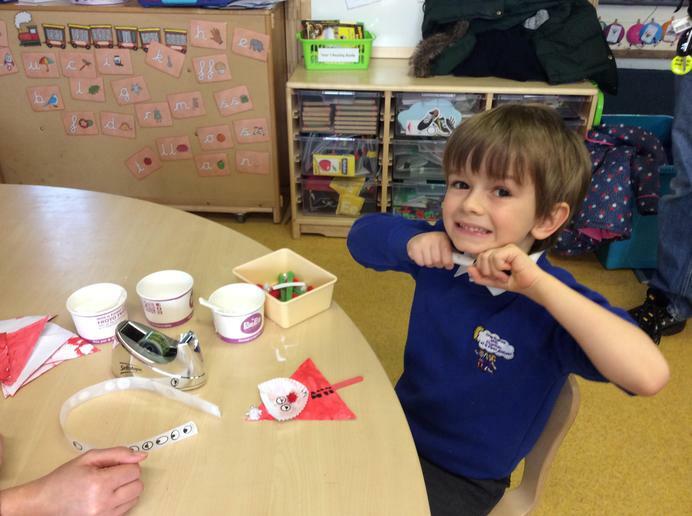 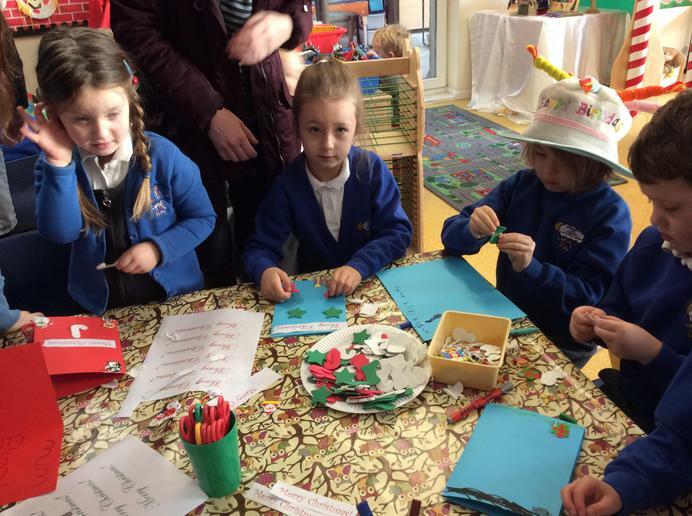 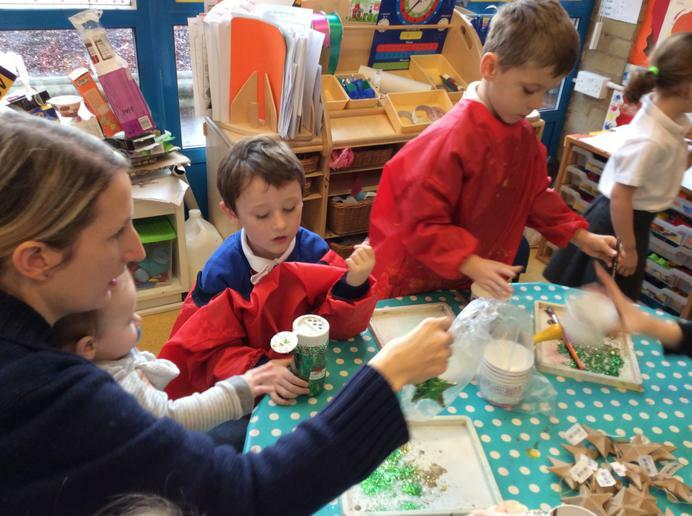 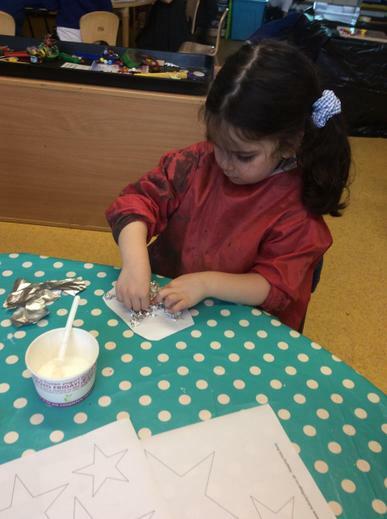 We had a lovely Christmas Craft morning where parents and children joined in with lots of Christmas activities. 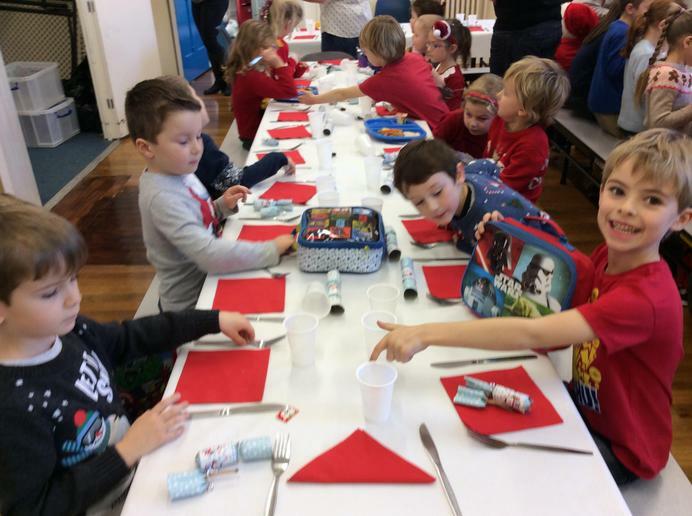 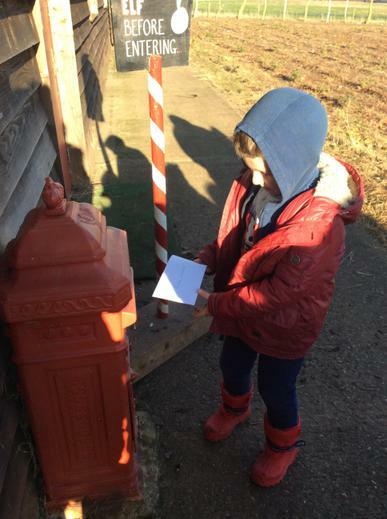 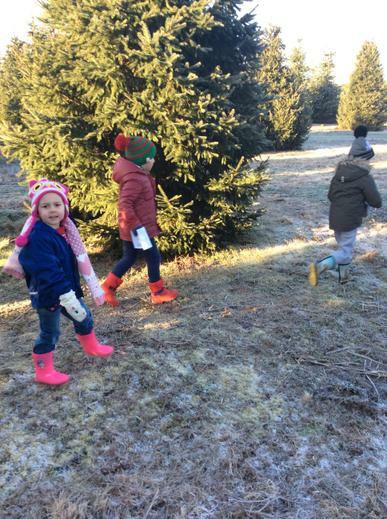 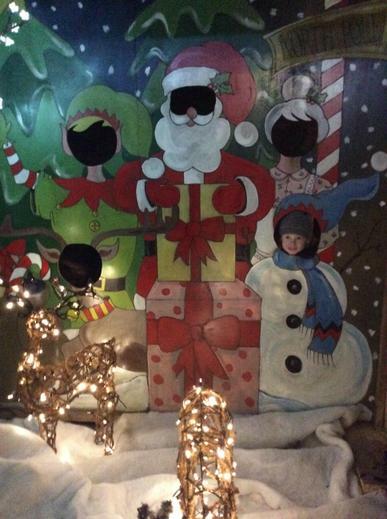 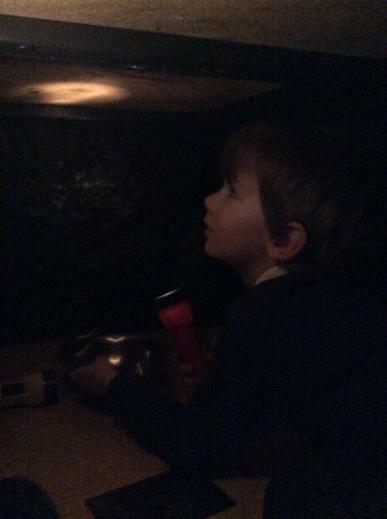 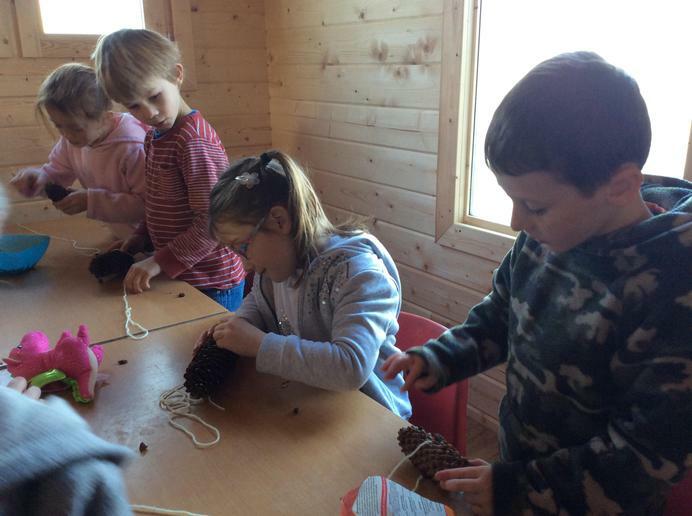 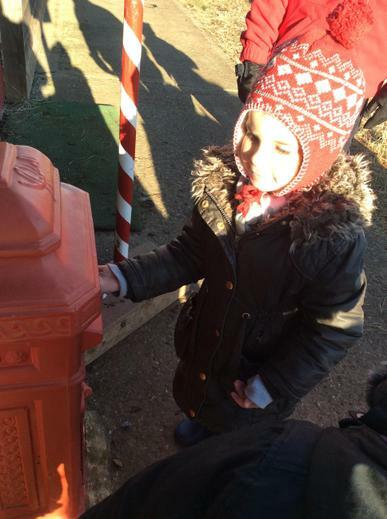 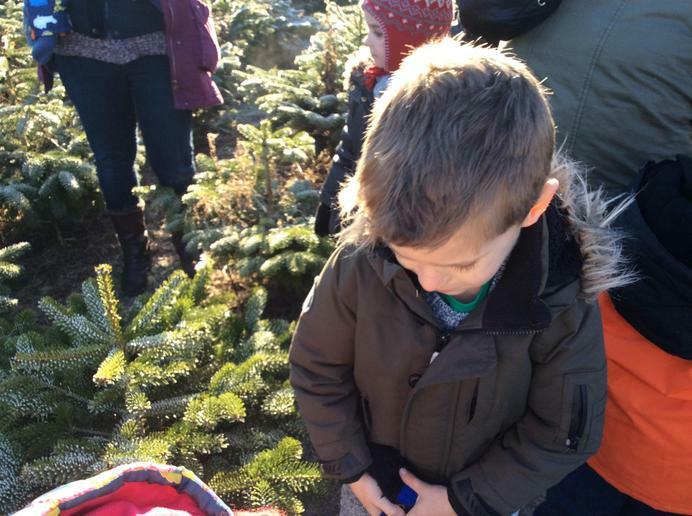 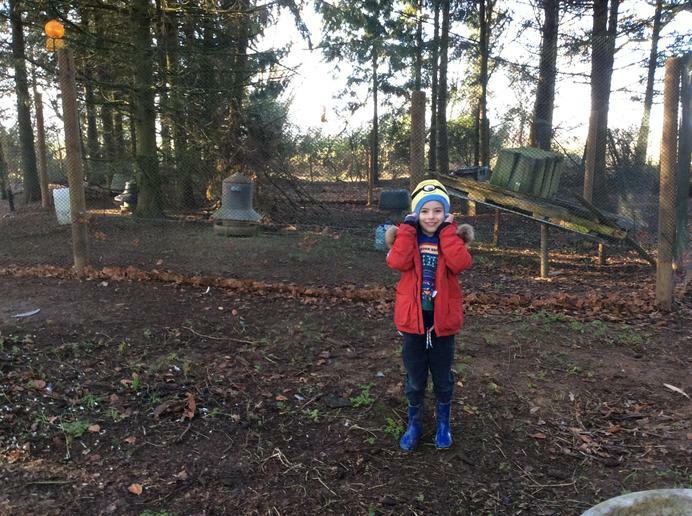 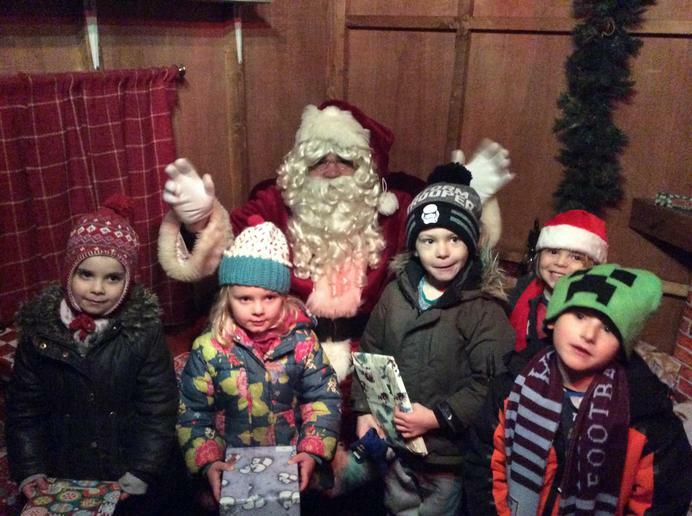 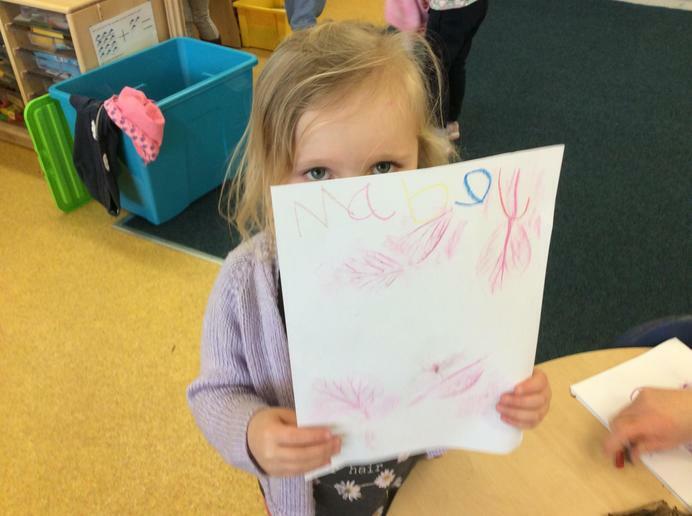 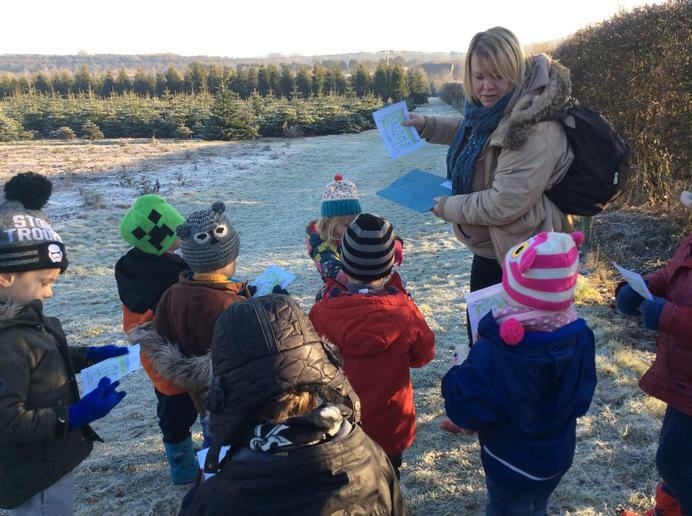 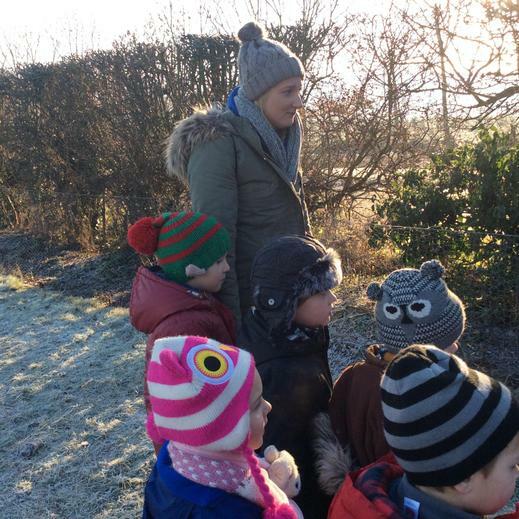 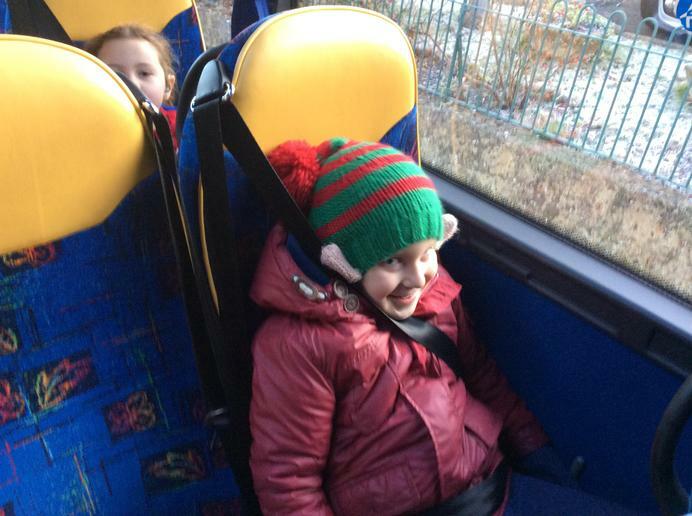 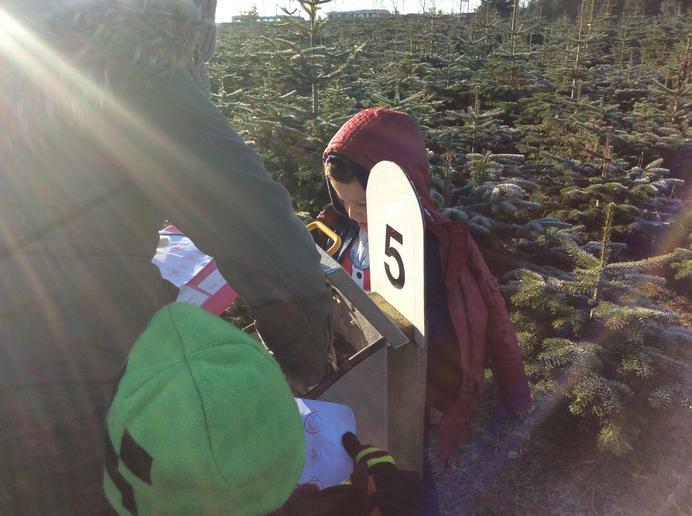 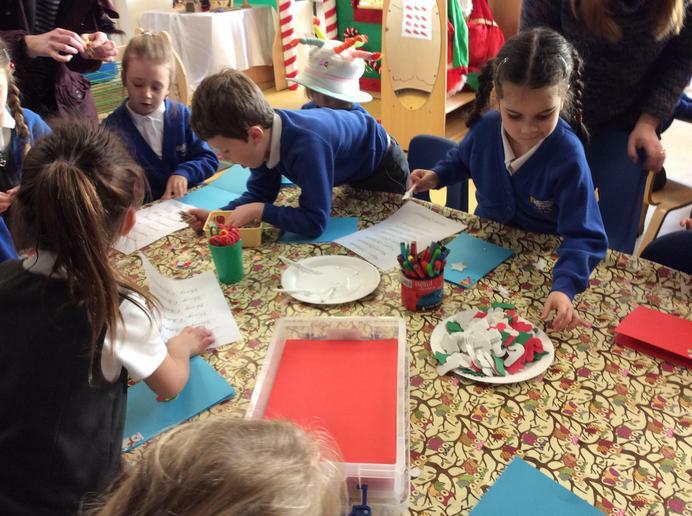 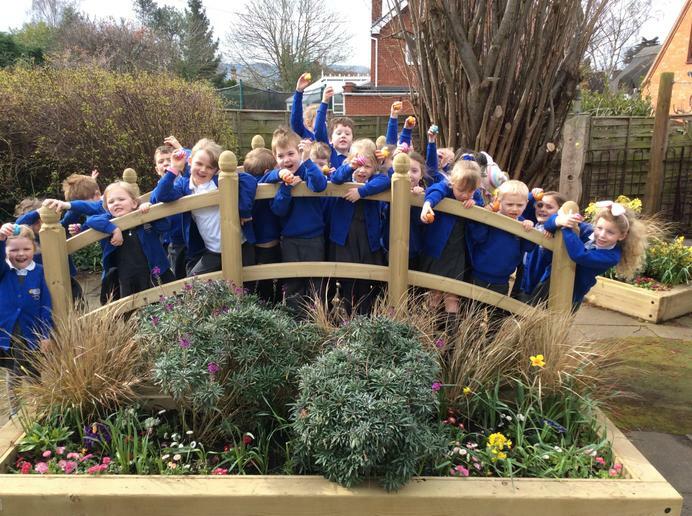 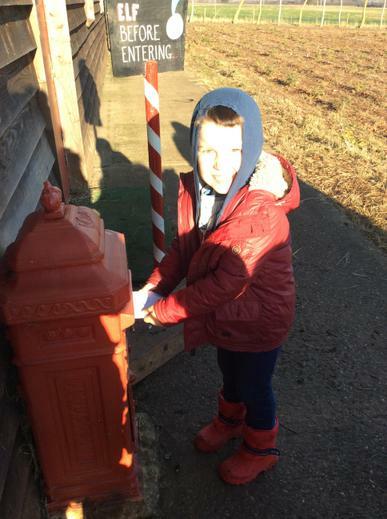 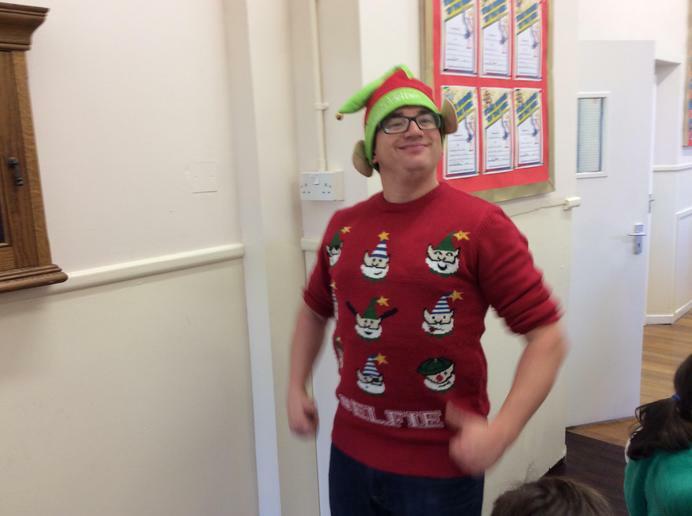 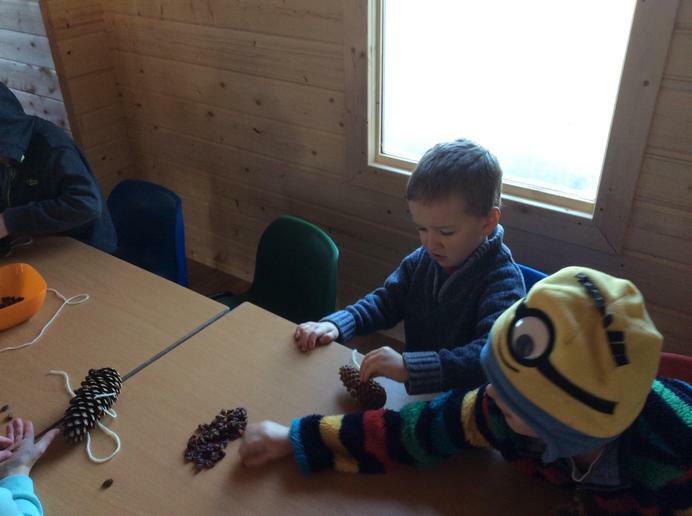 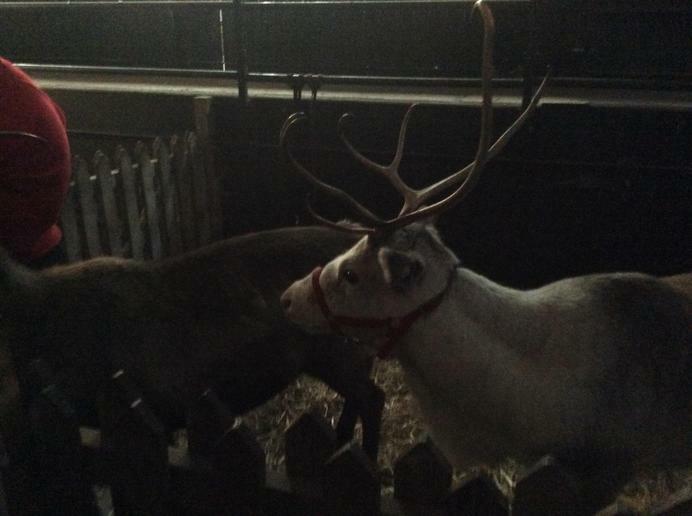 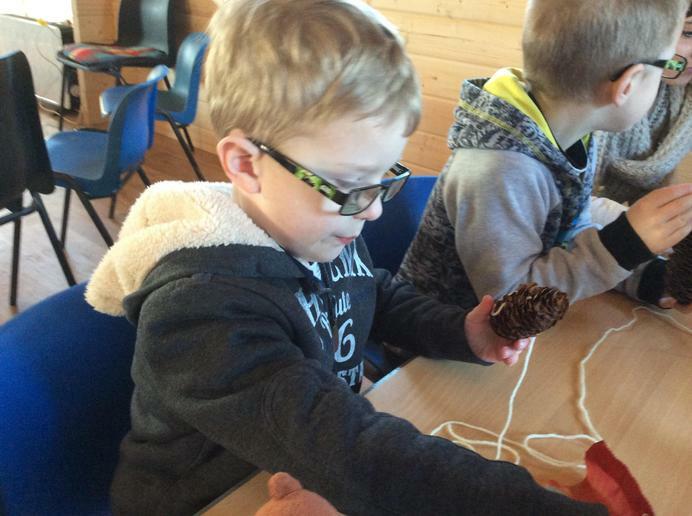 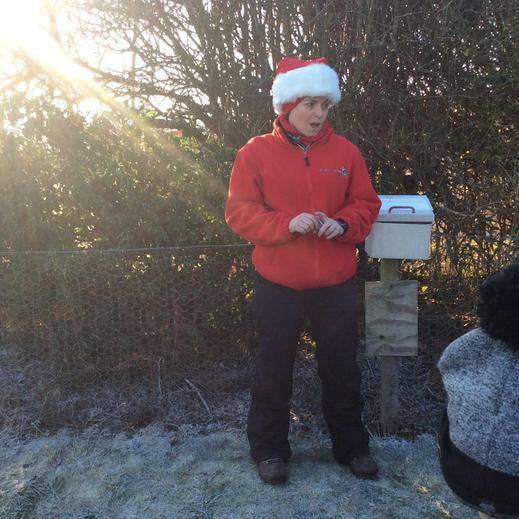 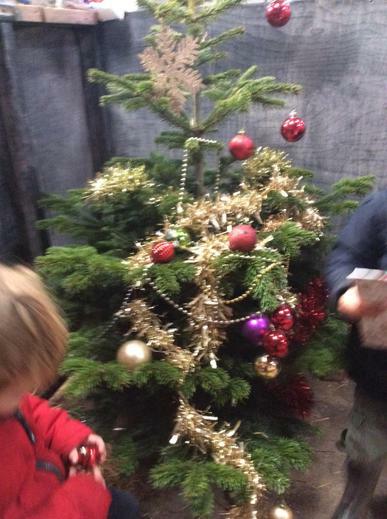 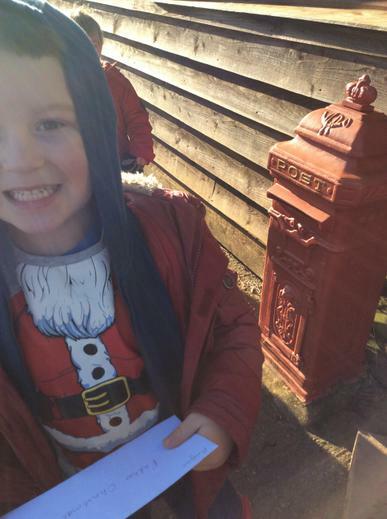 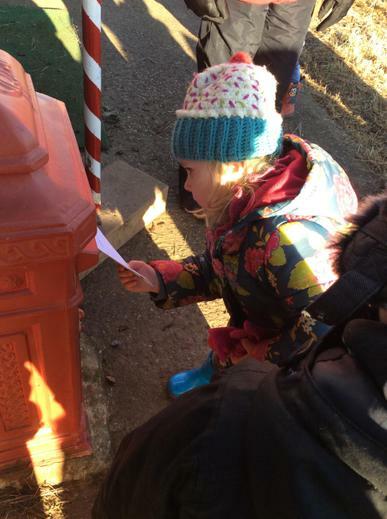 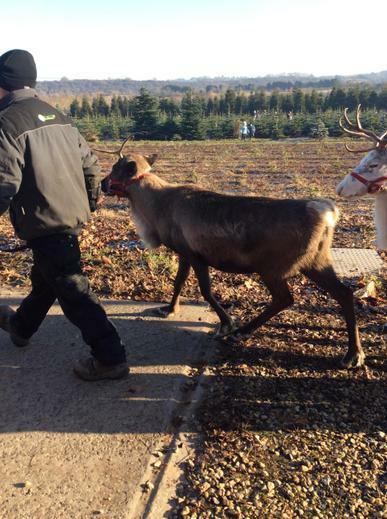 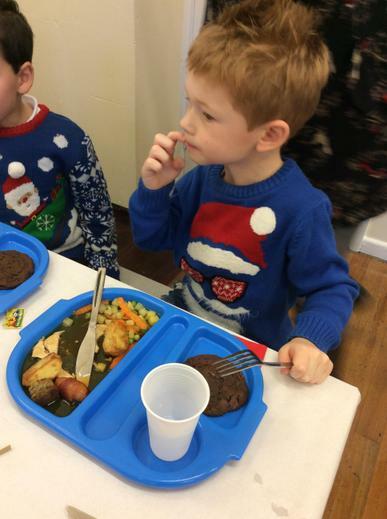 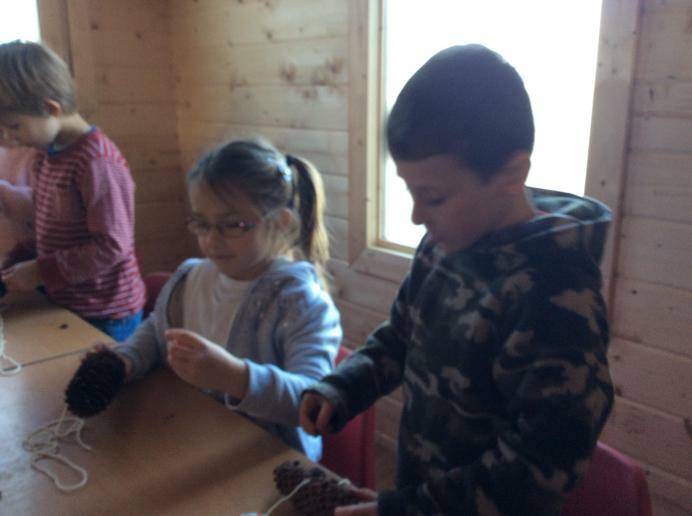 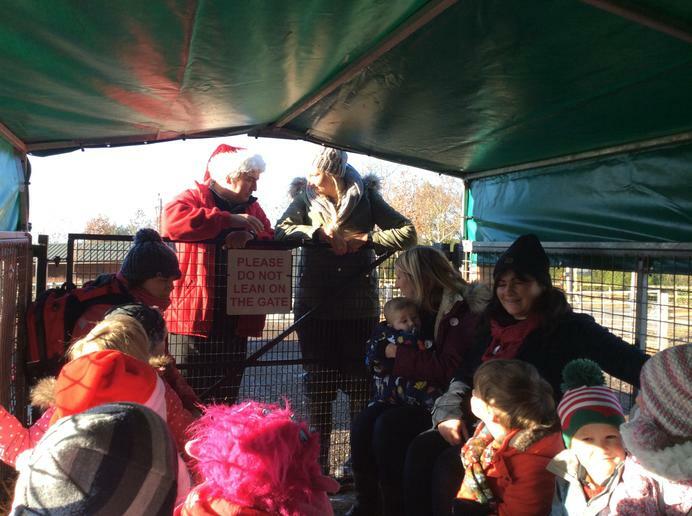 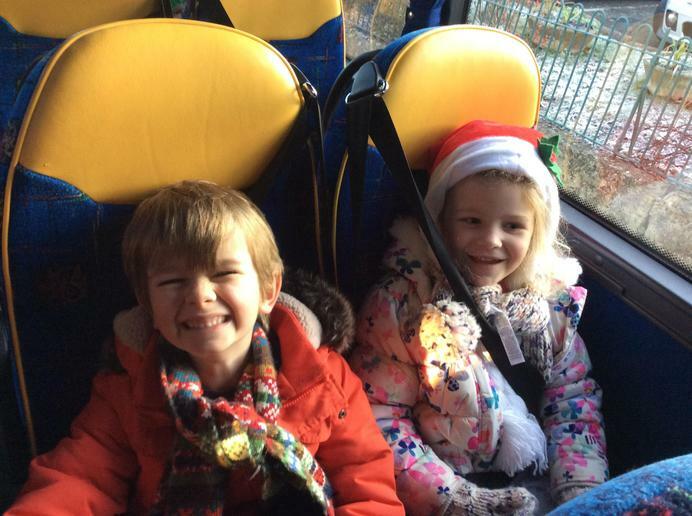 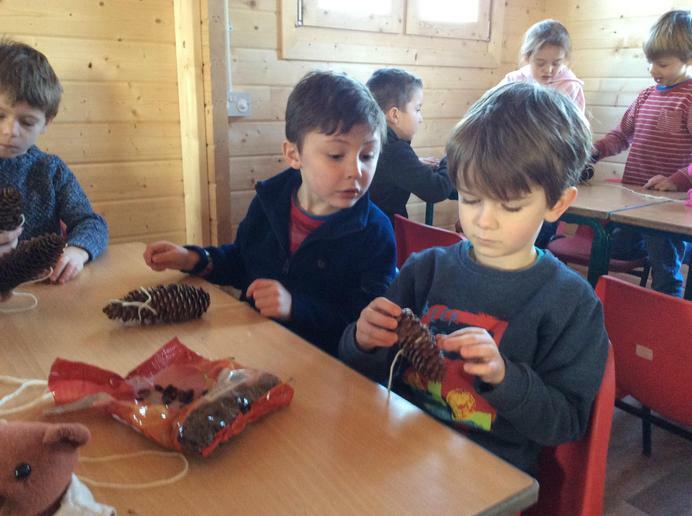 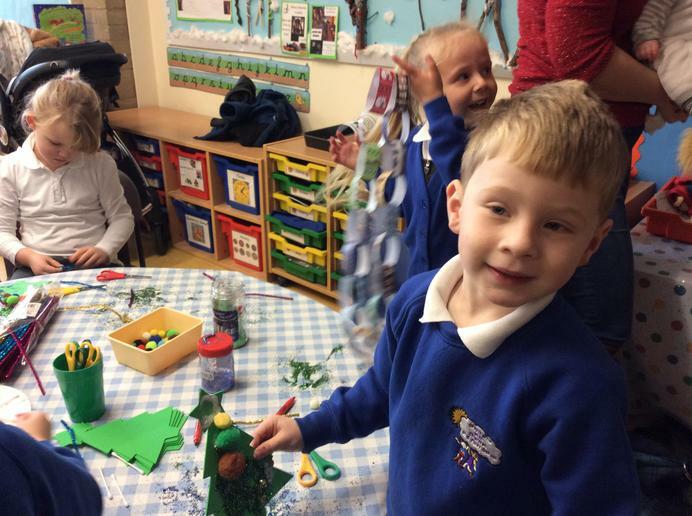 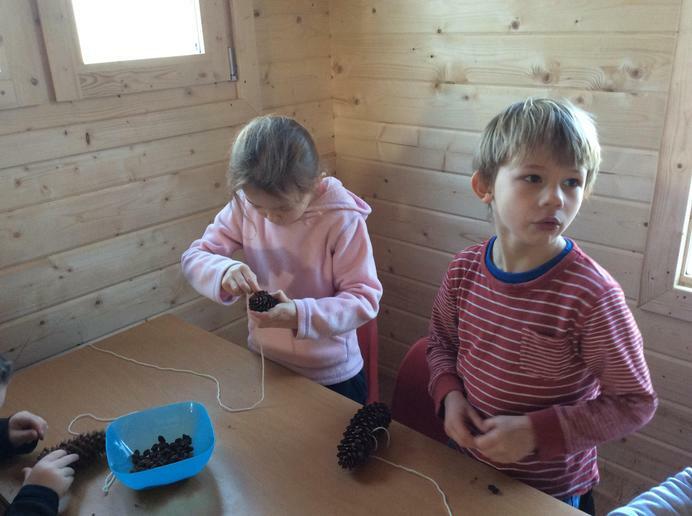 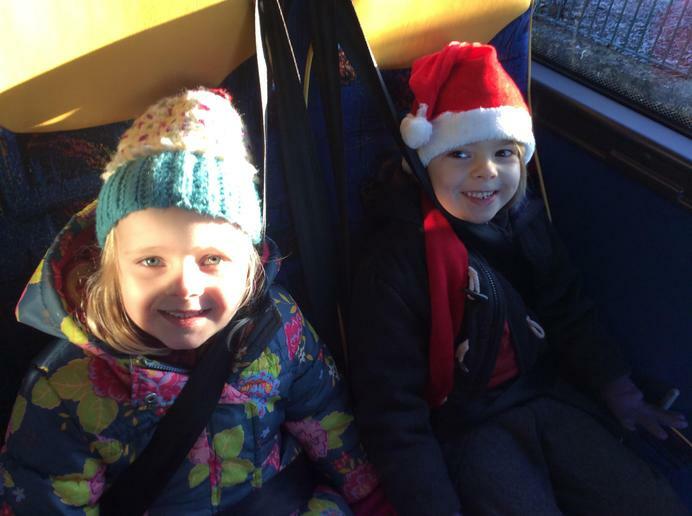 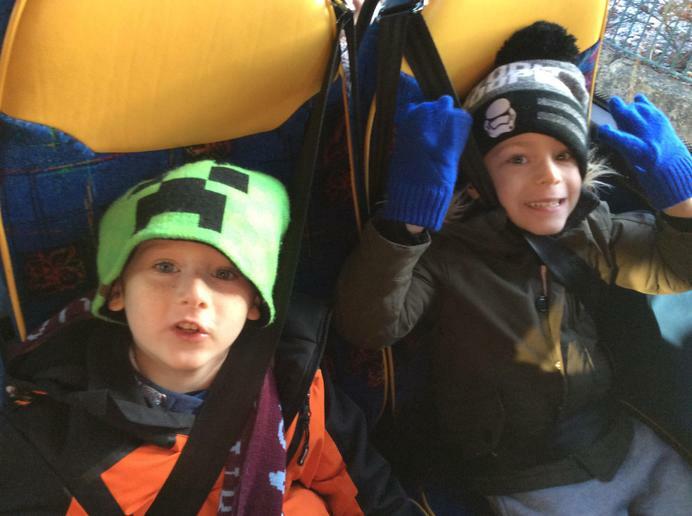 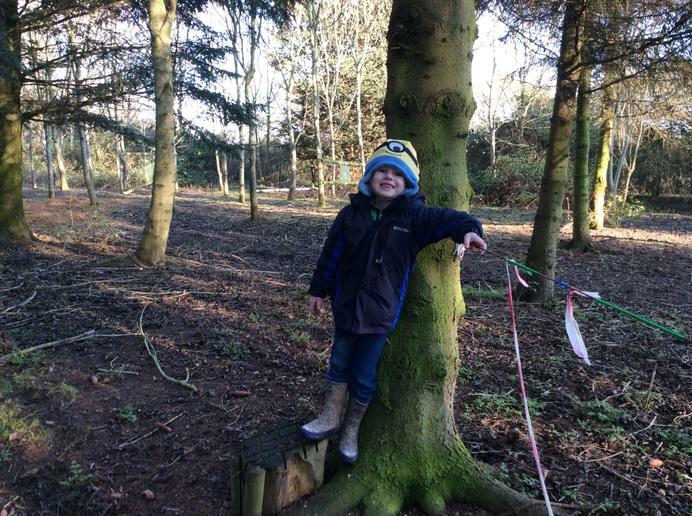 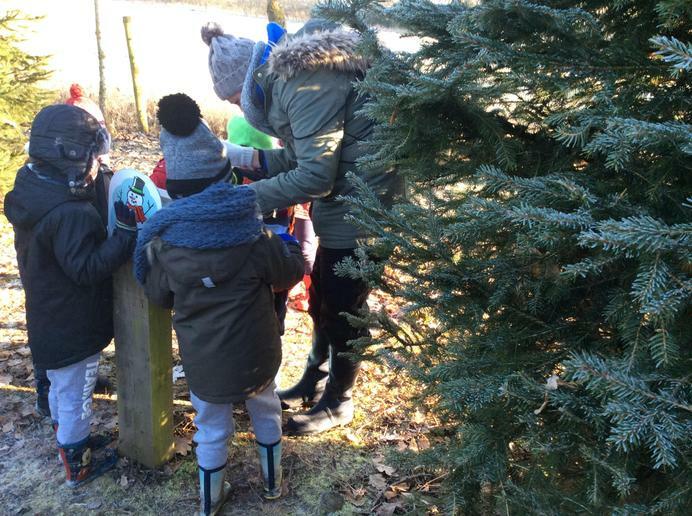 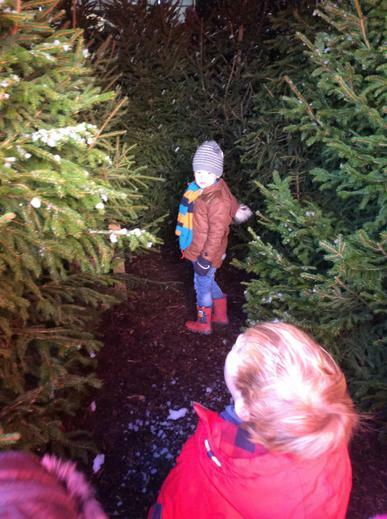 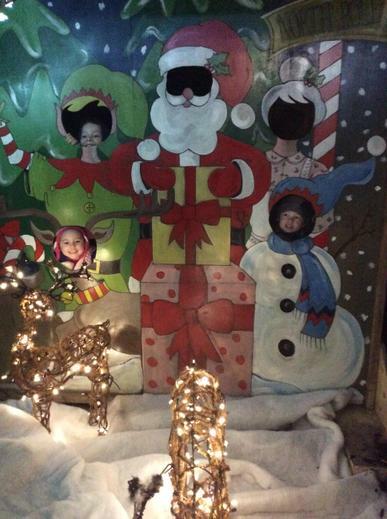 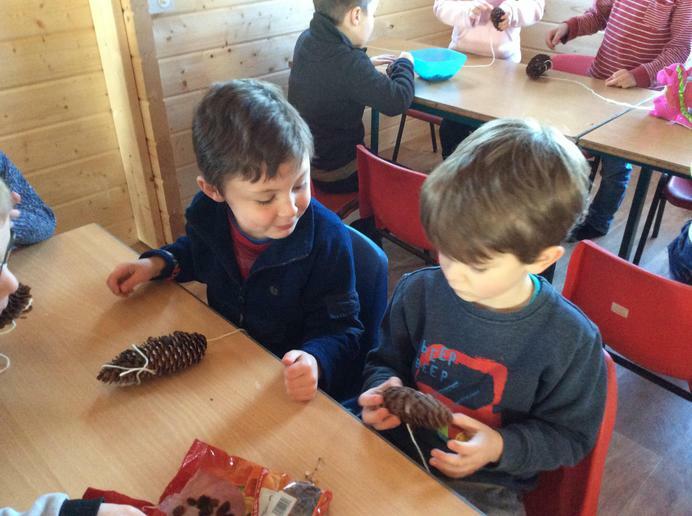 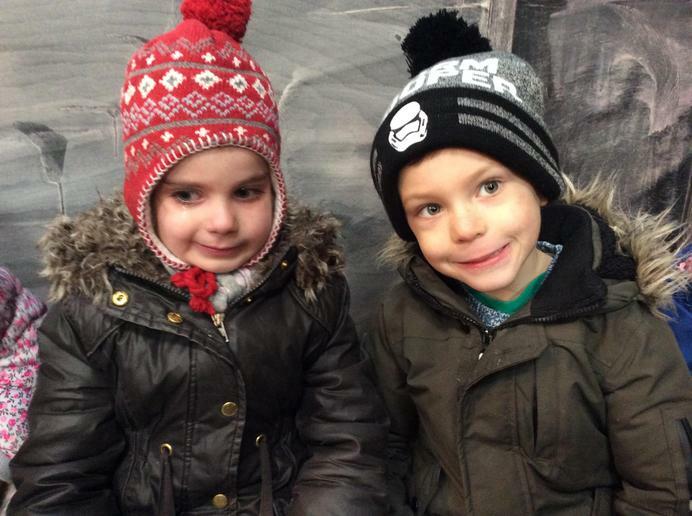 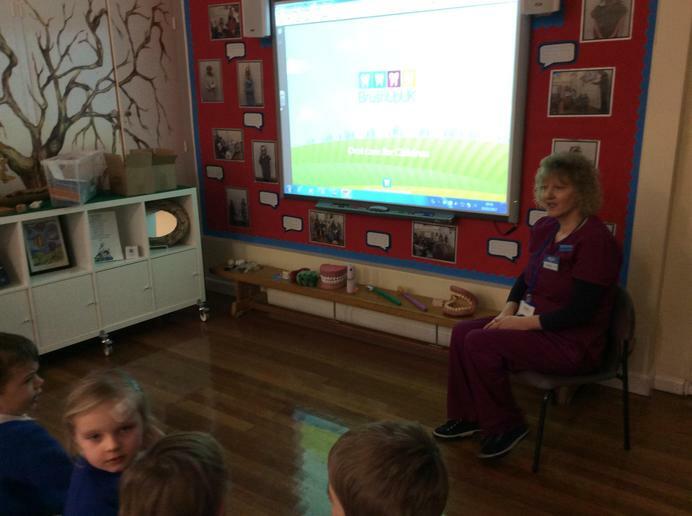 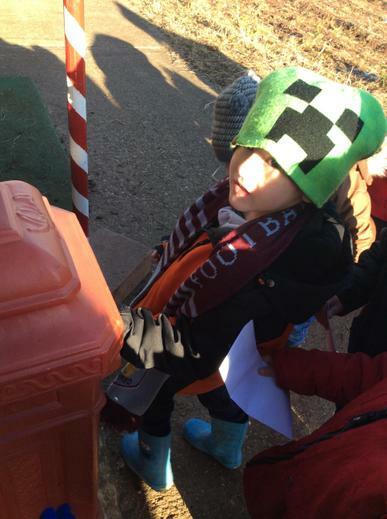 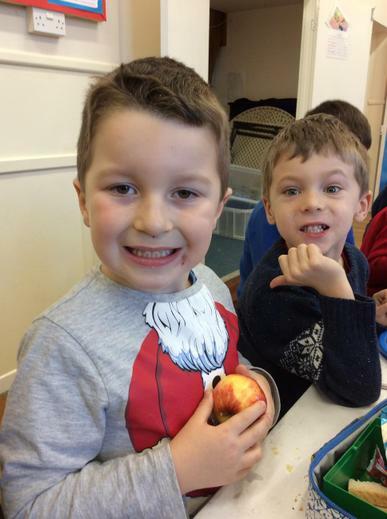 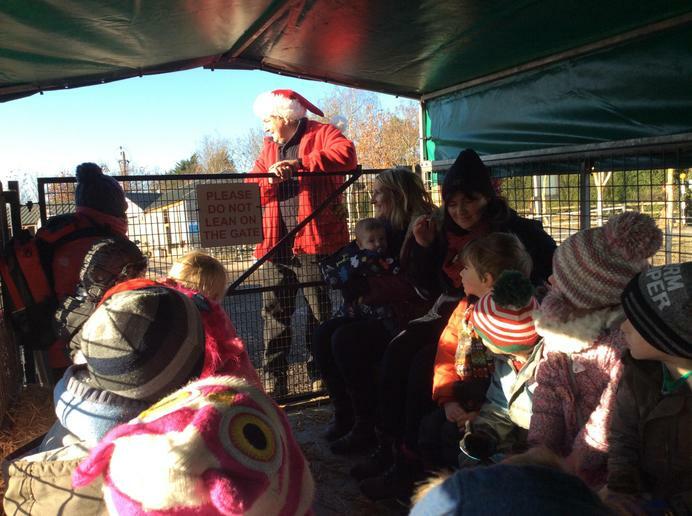 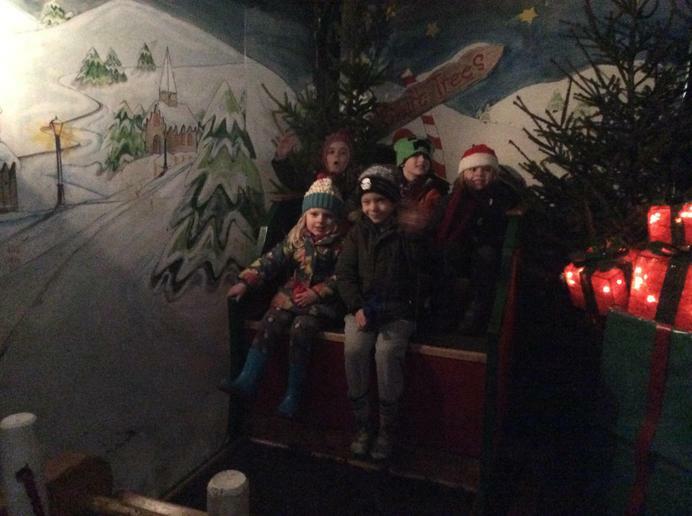 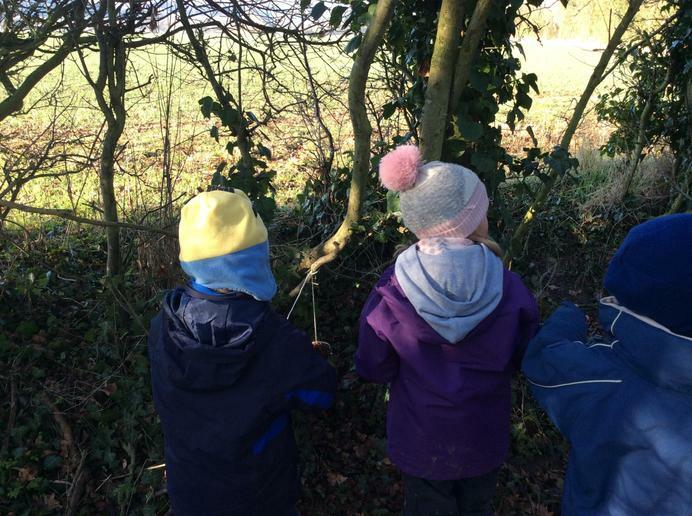 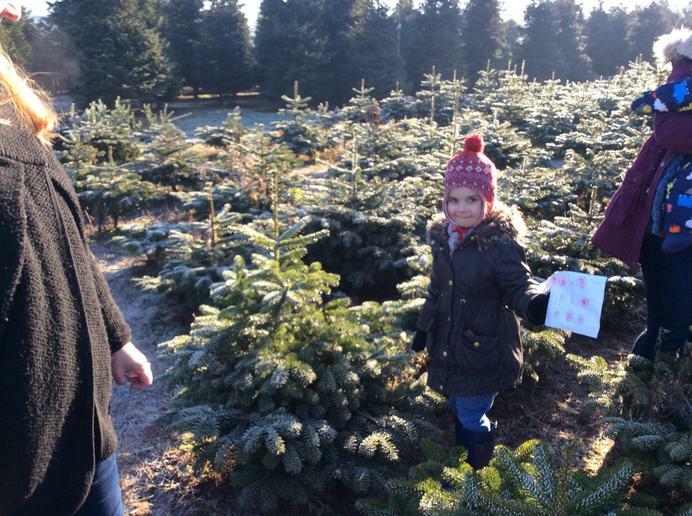 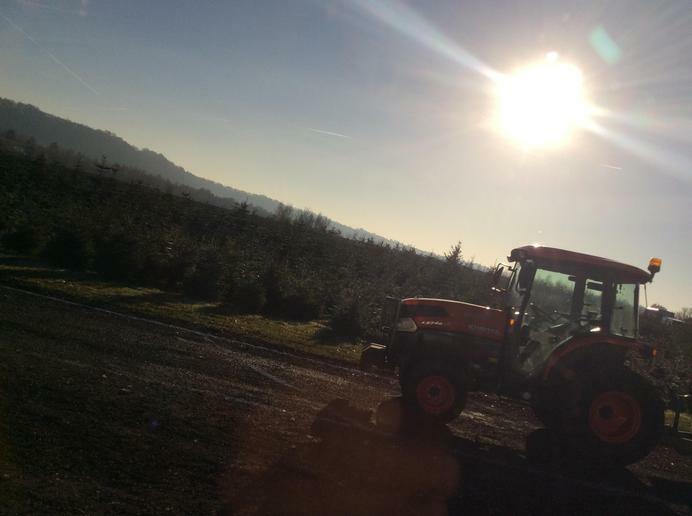 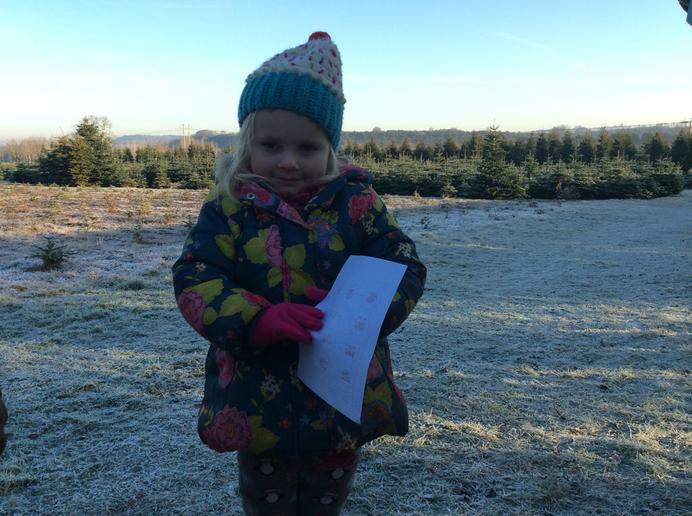 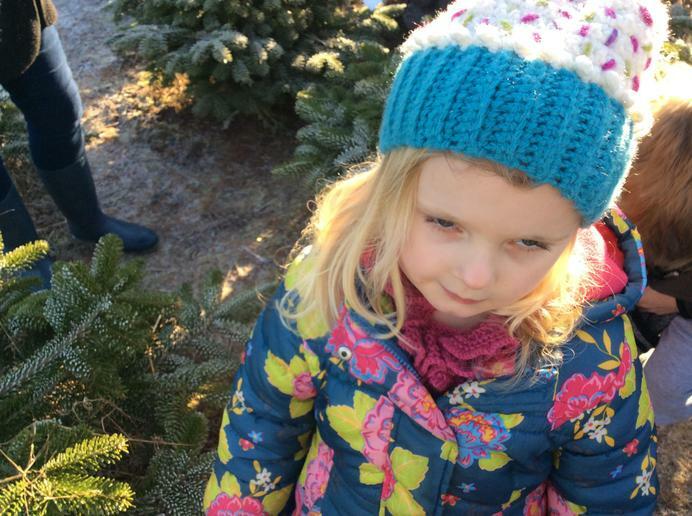 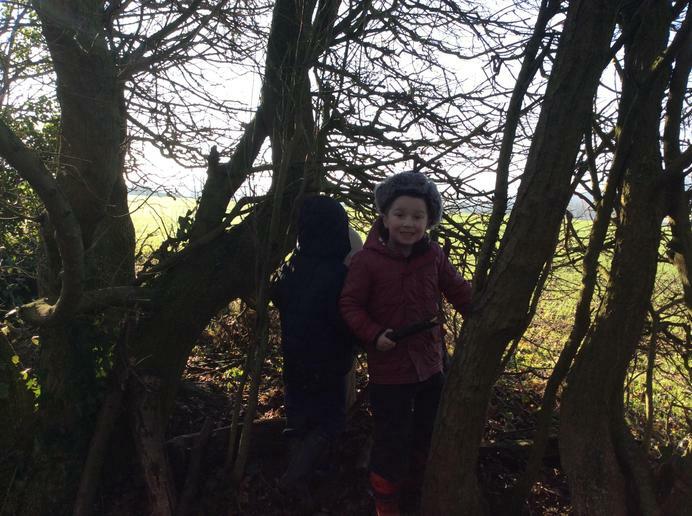 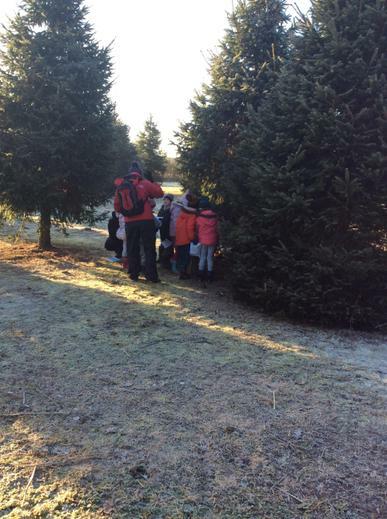 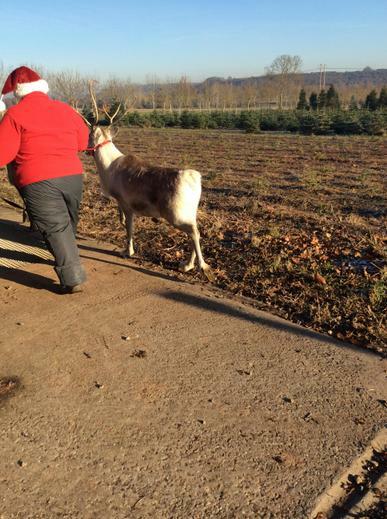 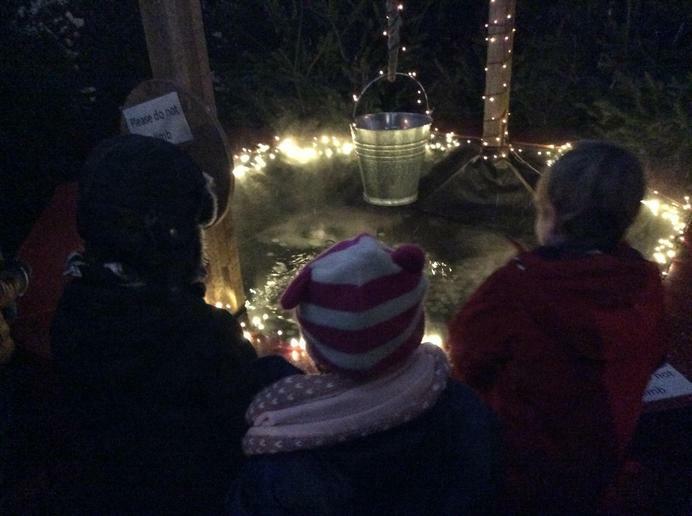 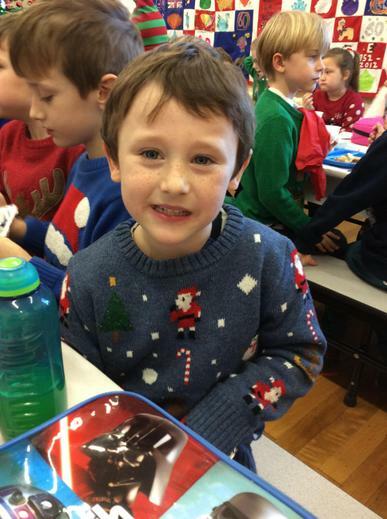 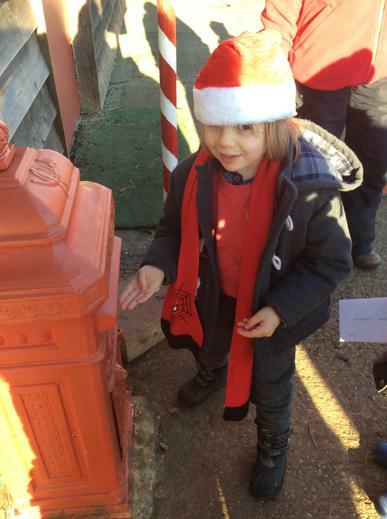 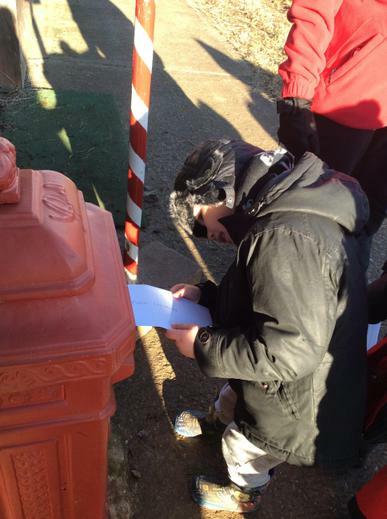 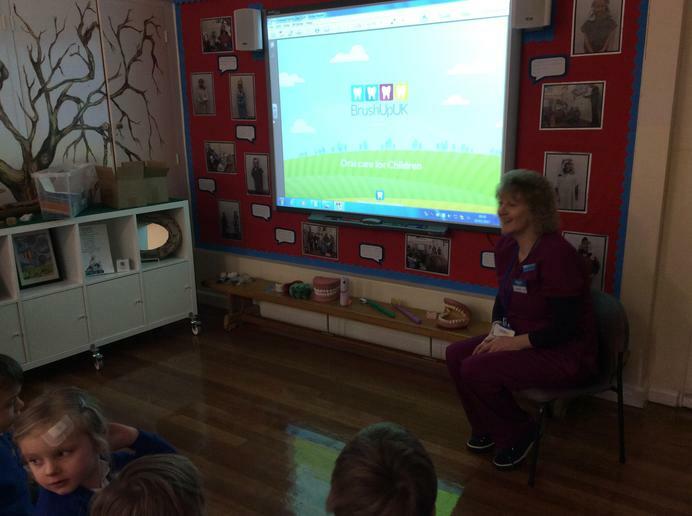 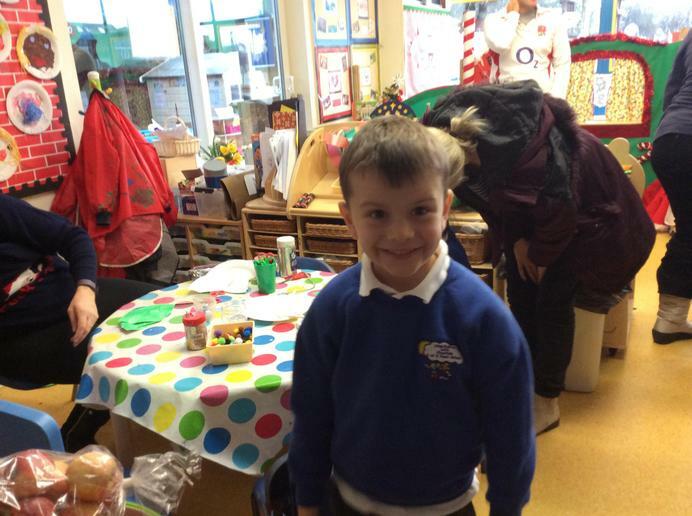 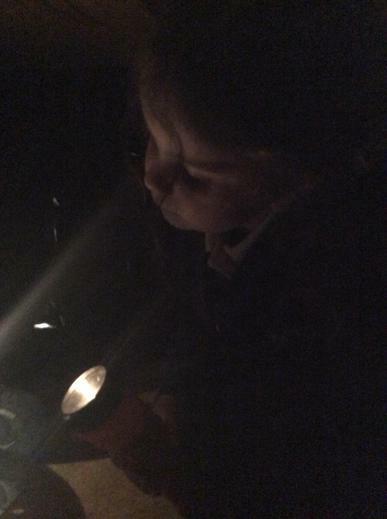 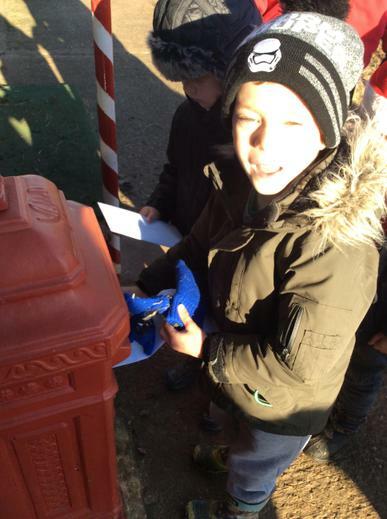 Smart Trees - This week Cats class were lucky enough to go to Smart Trees, we went on a treasure hunt through the Christmas trees, made a wish in a wishing well, saw the reindeer, went on a tractor ride, got to post our letters to Father Christmas...all before we met the man himself! 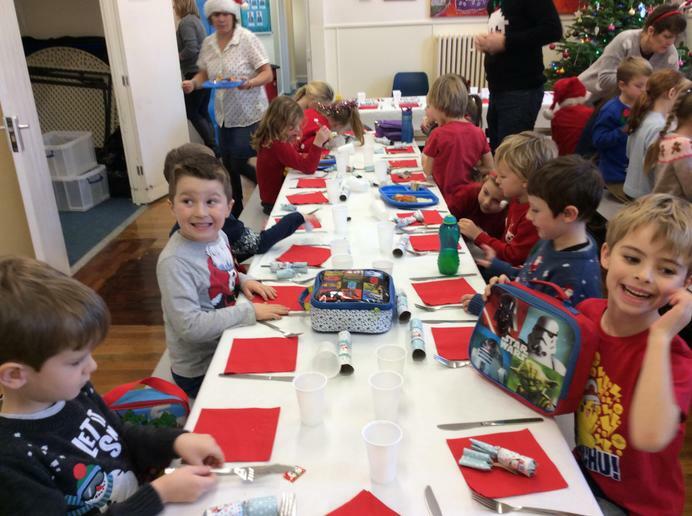 A wonderful time had by all! 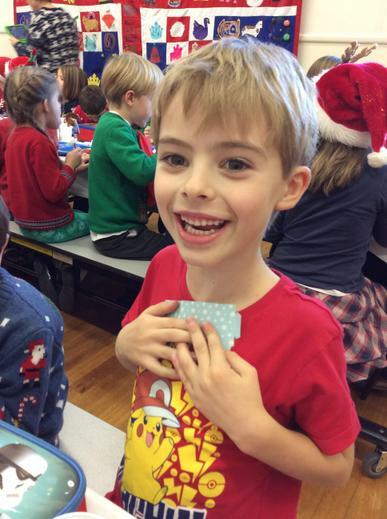 A huge, gigantic thank you to you all that contributed in making my ___th birthday so special! 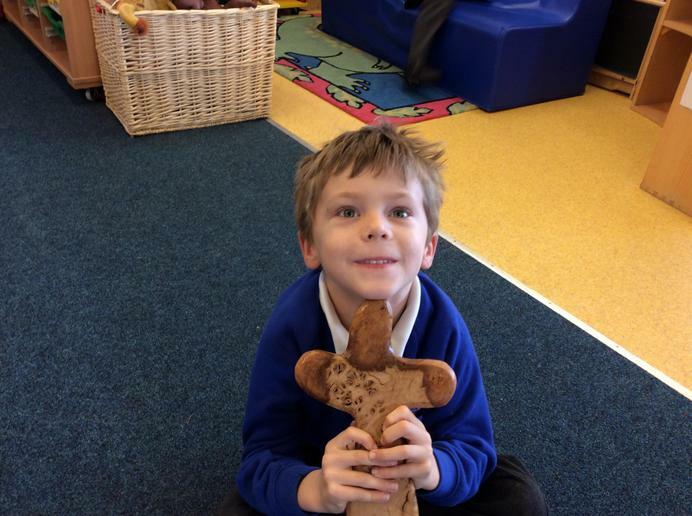 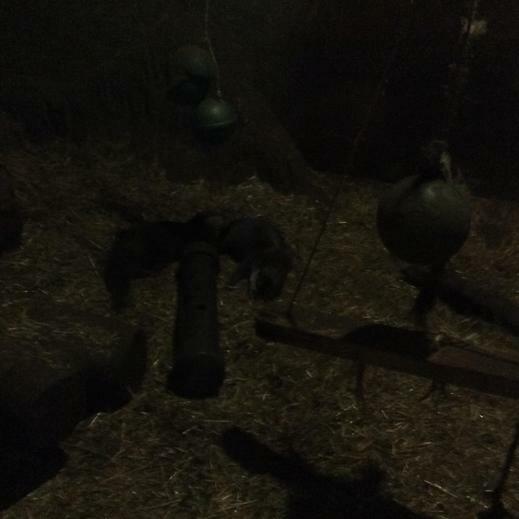 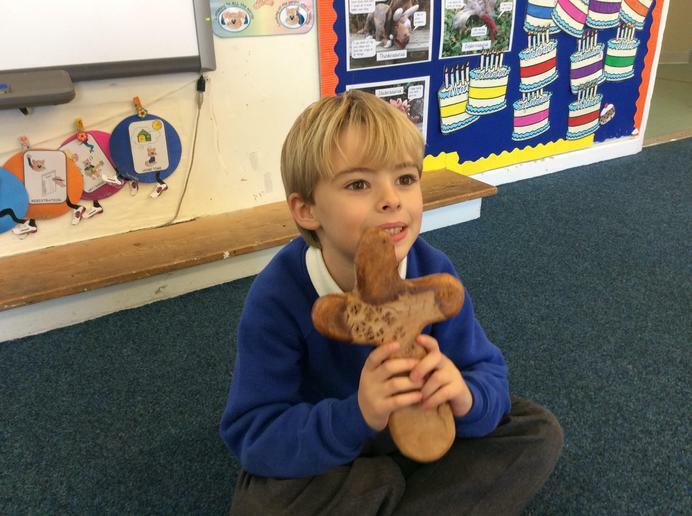 Cats have been learning that Christians can use artifacts to help them pray. 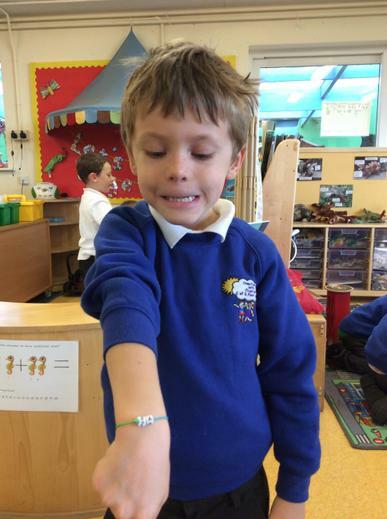 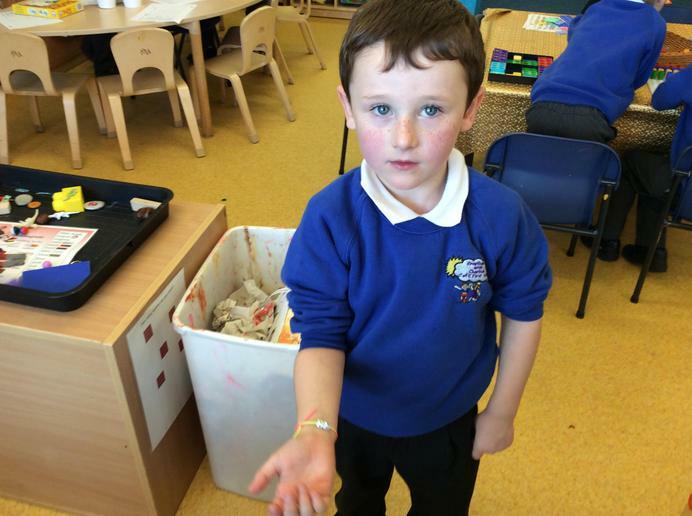 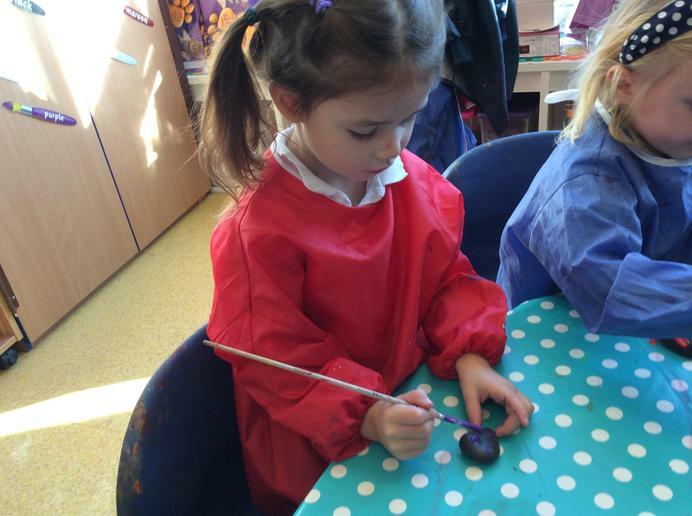 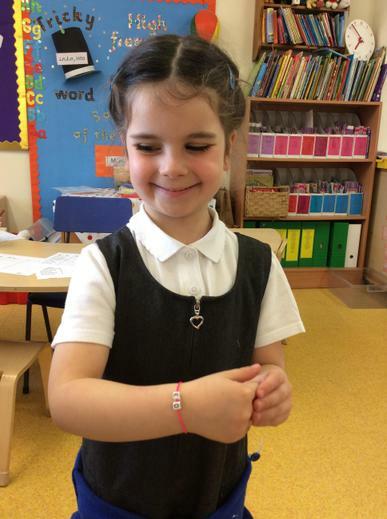 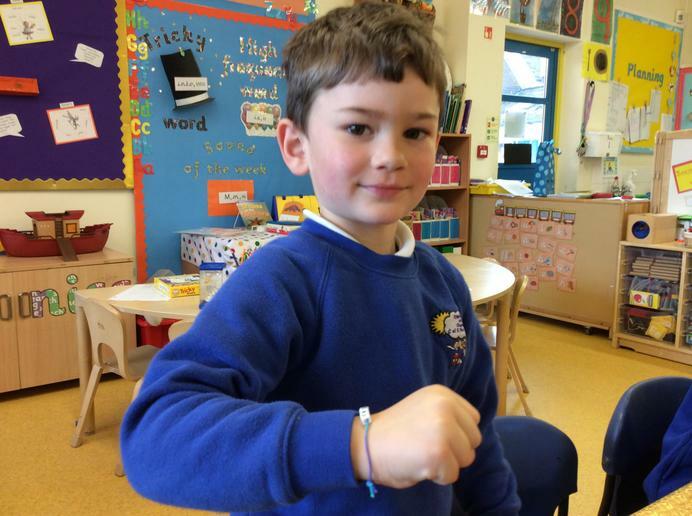 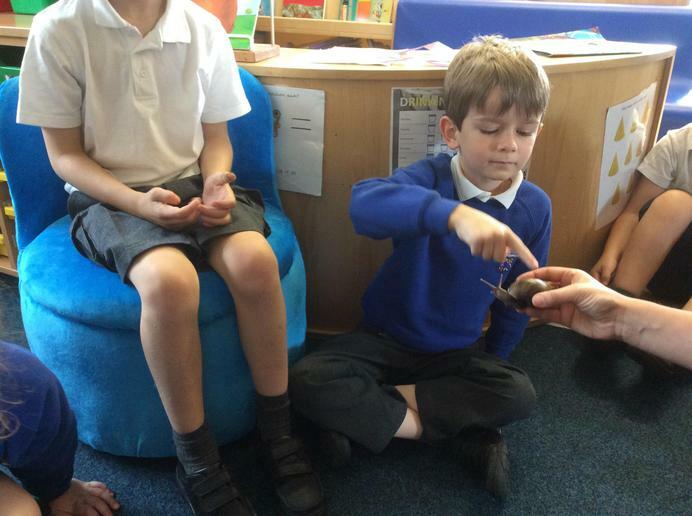 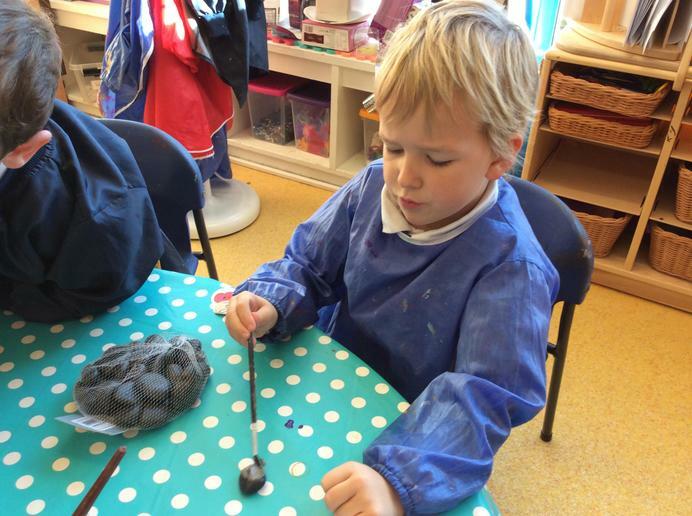 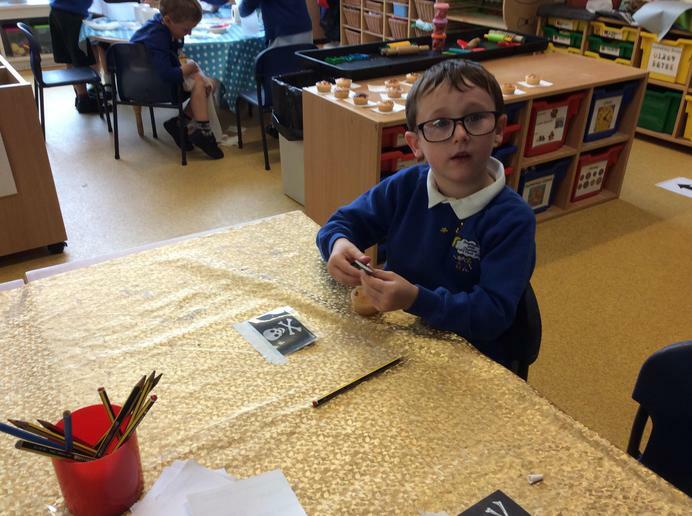 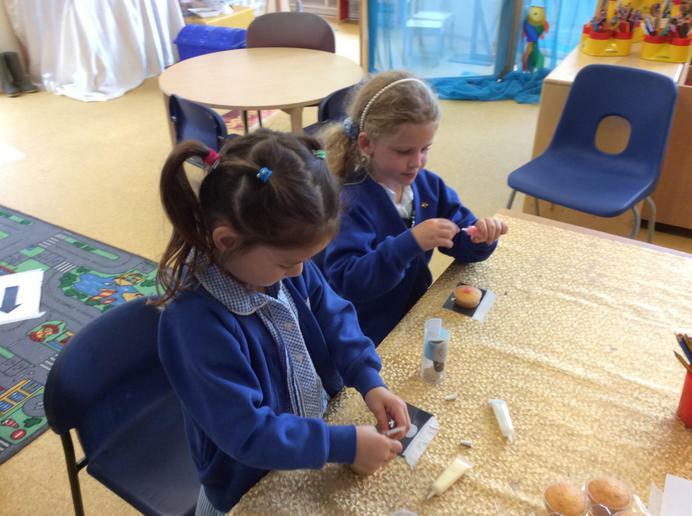 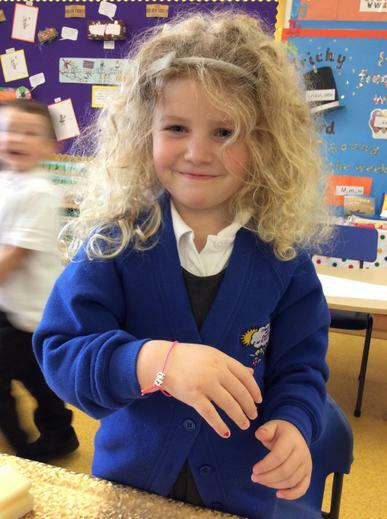 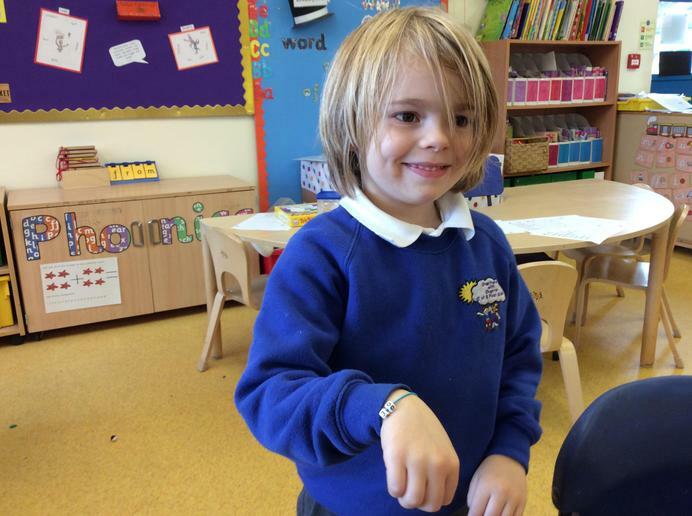 We even made some artifacts of our own, the children made bracelets and painted stones to place in our reflection area. 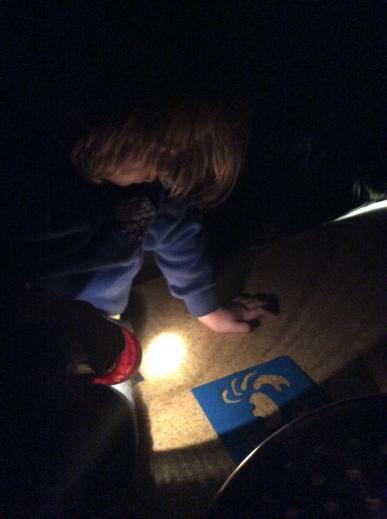 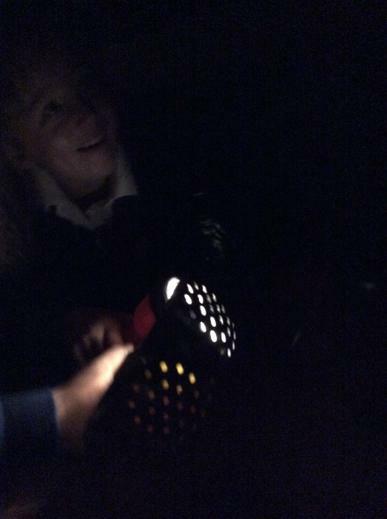 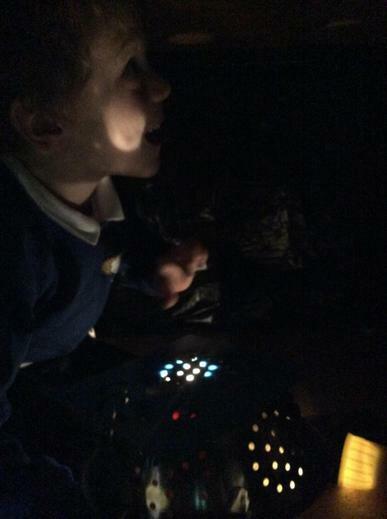 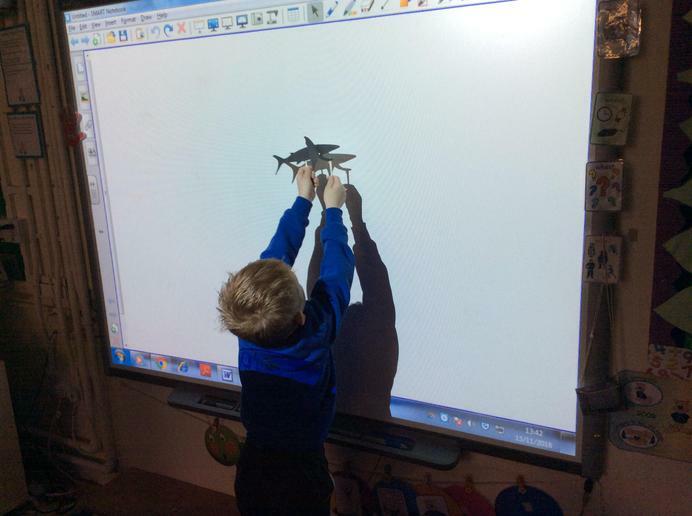 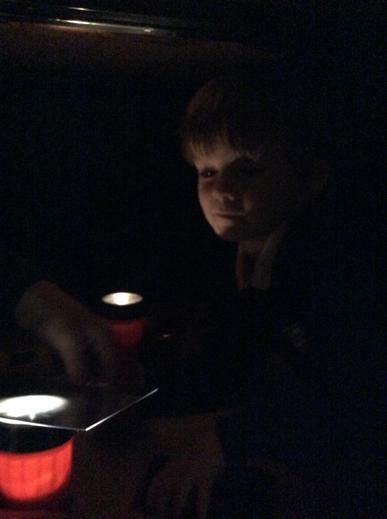 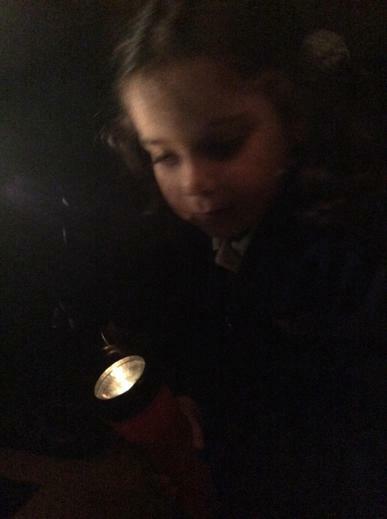 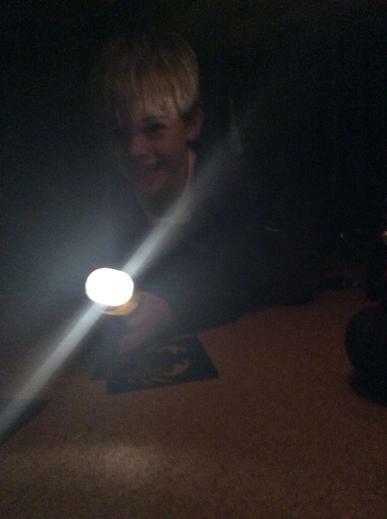 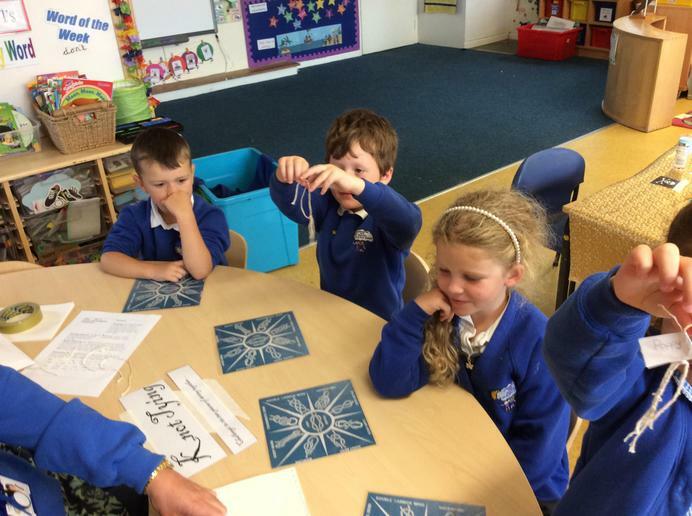 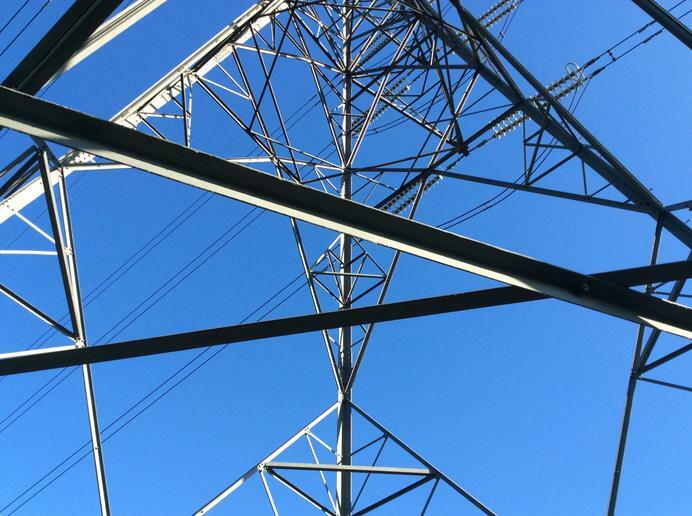 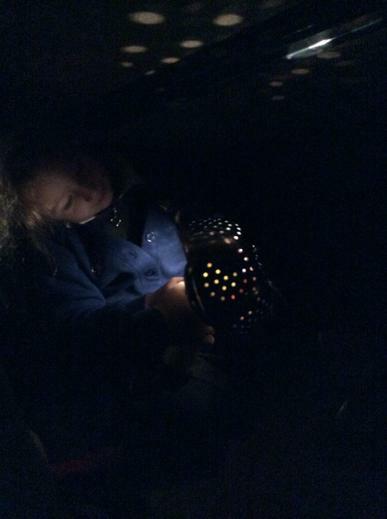 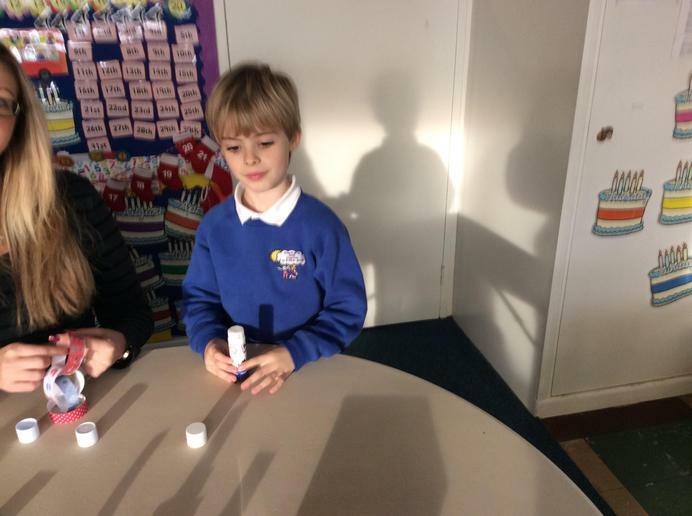 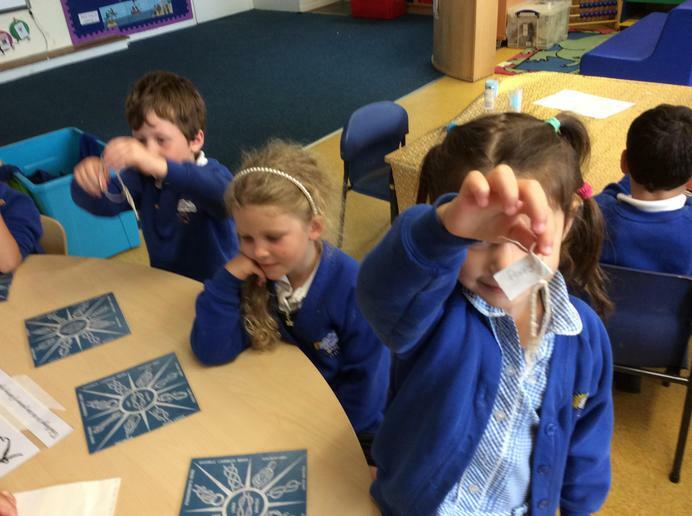 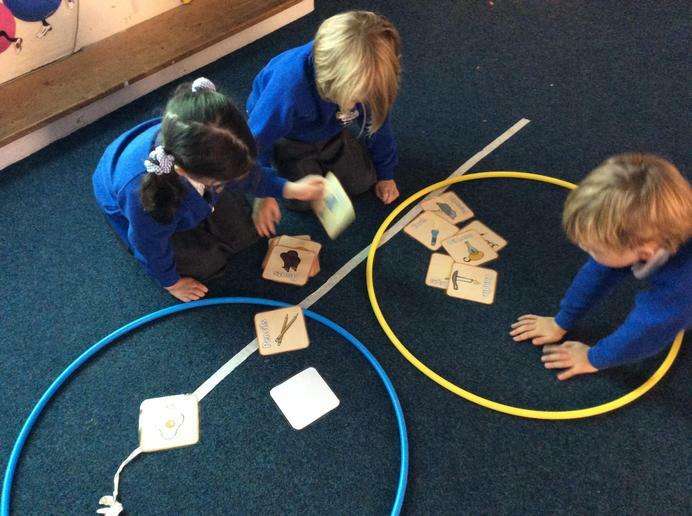 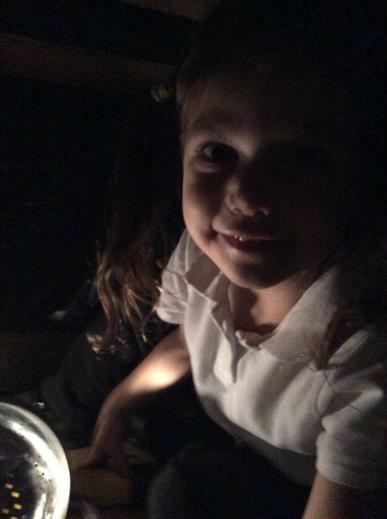 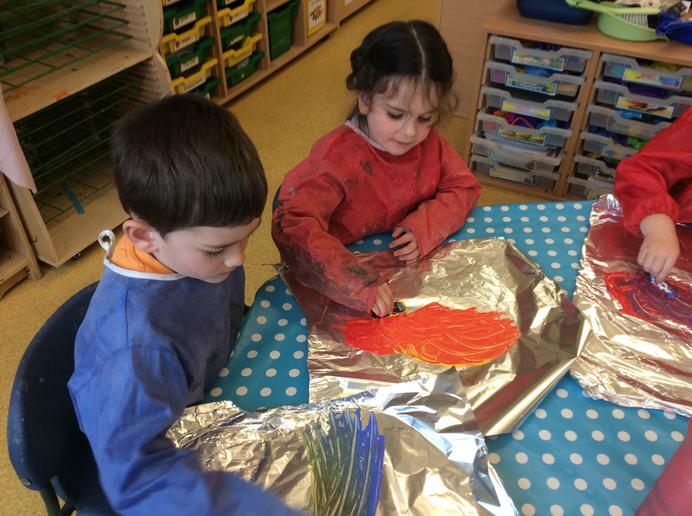 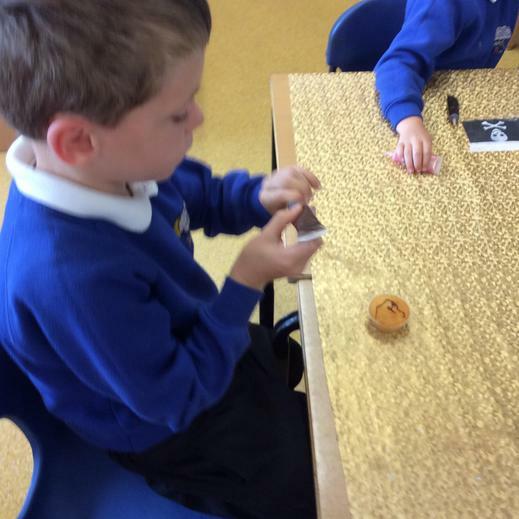 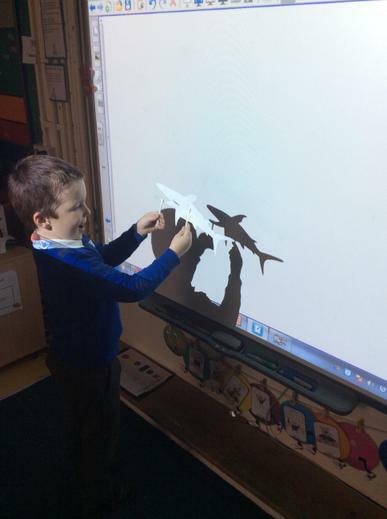 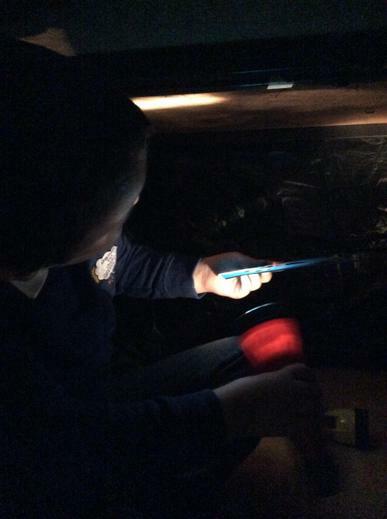 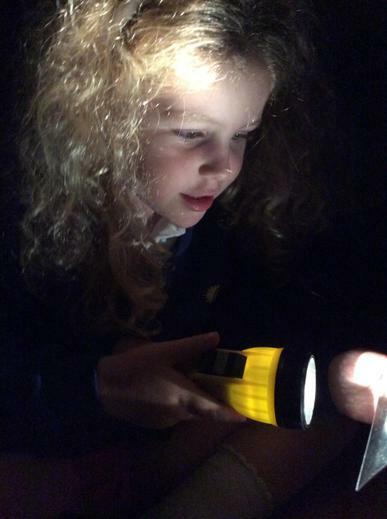 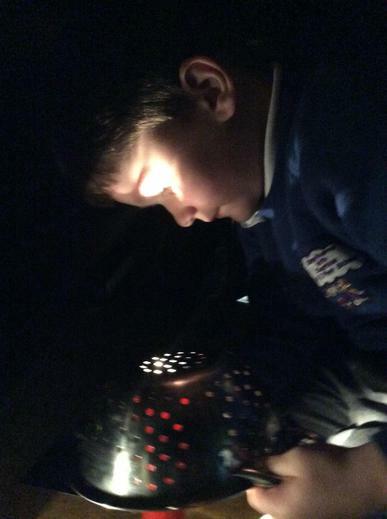 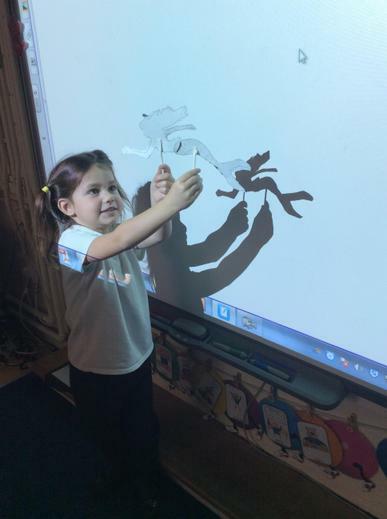 Light and Dark, this week we have been exploring looking at different light sources. 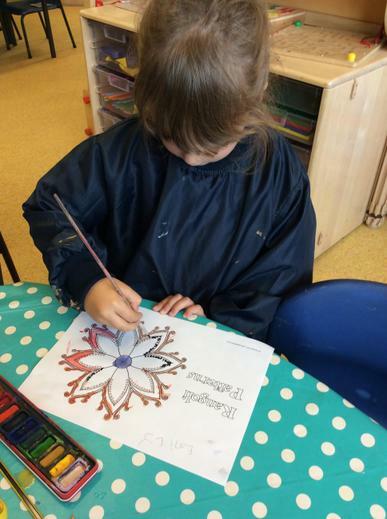 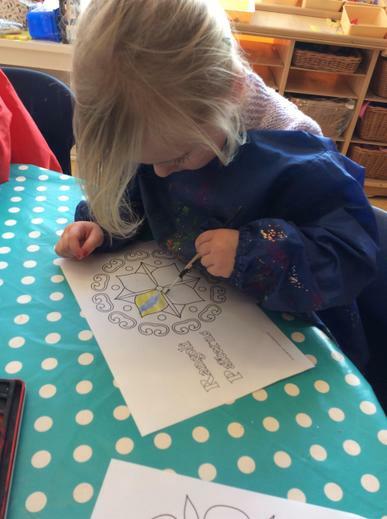 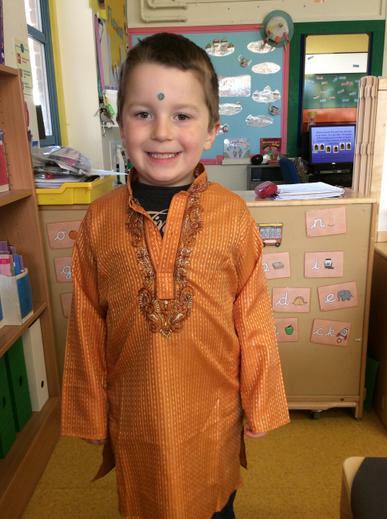 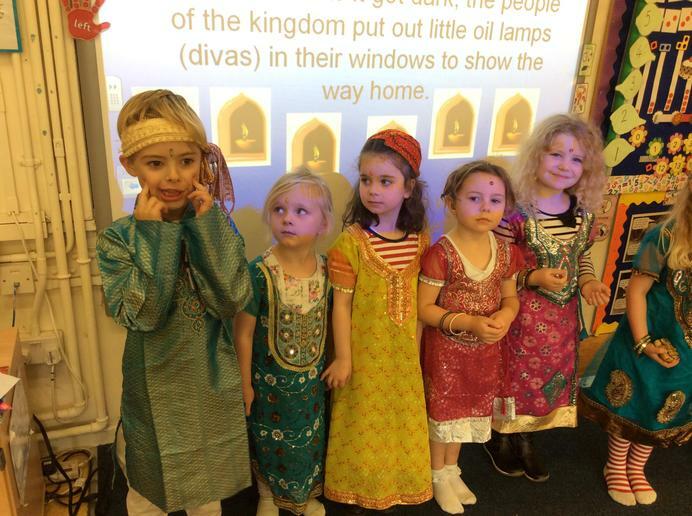 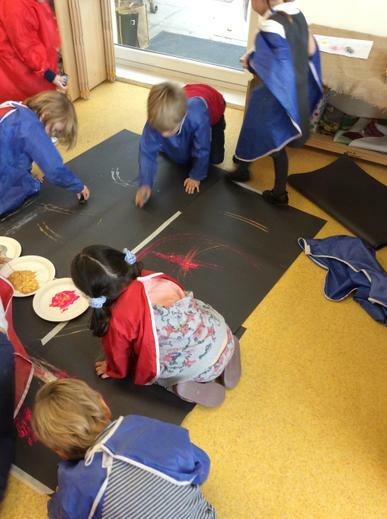 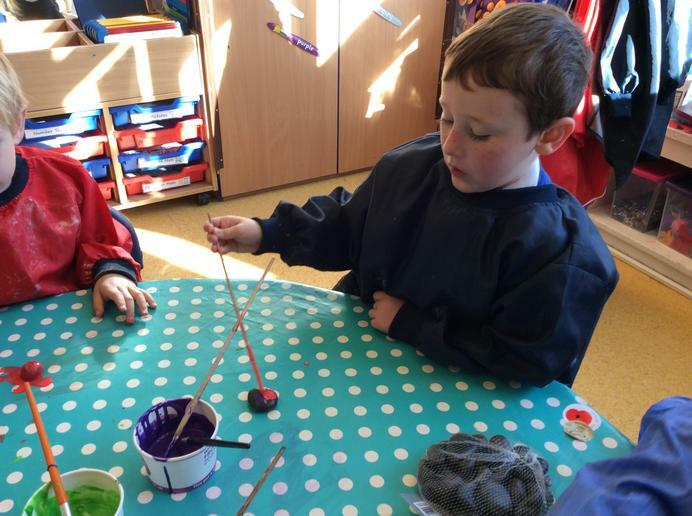 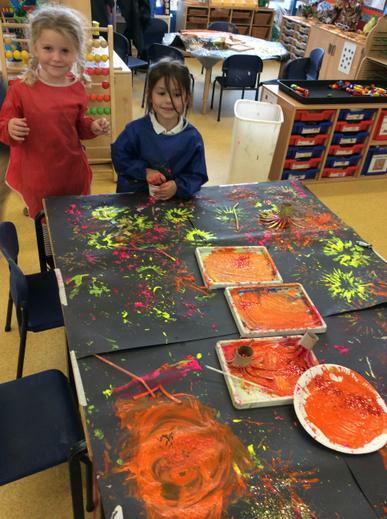 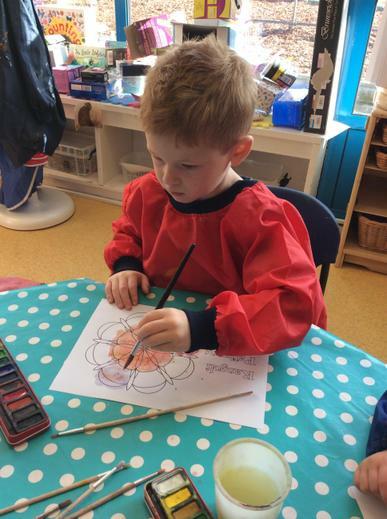 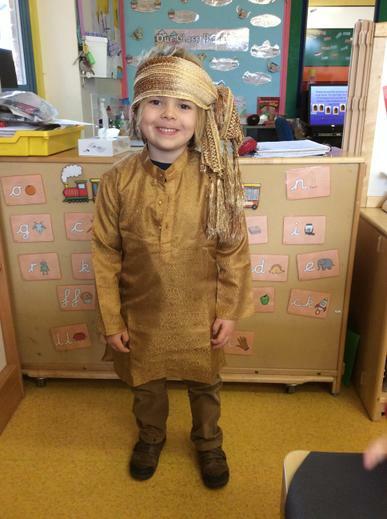 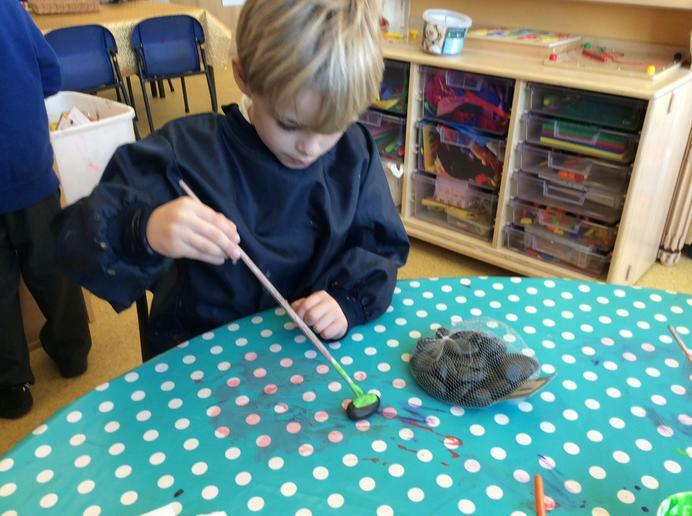 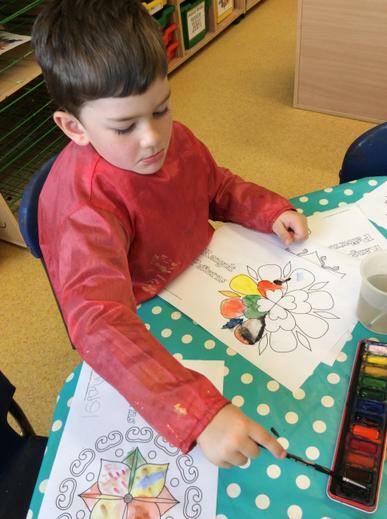 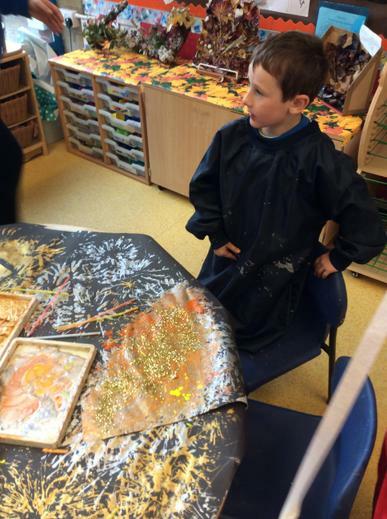 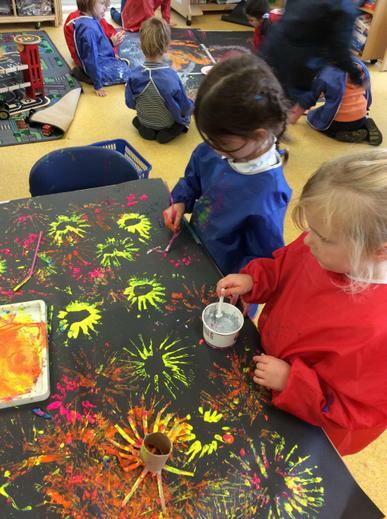 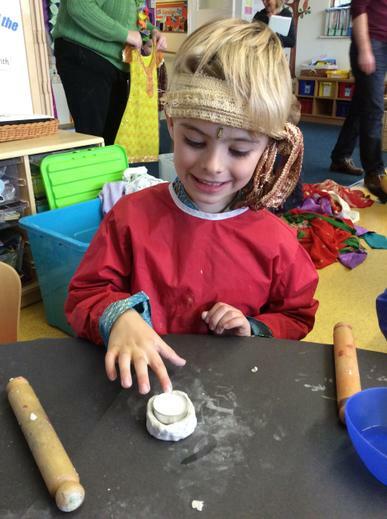 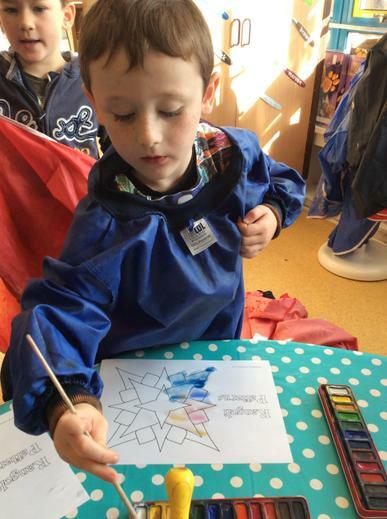 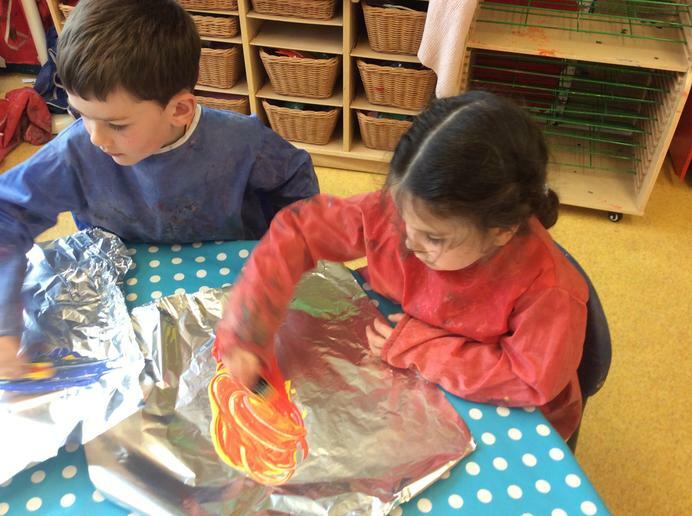 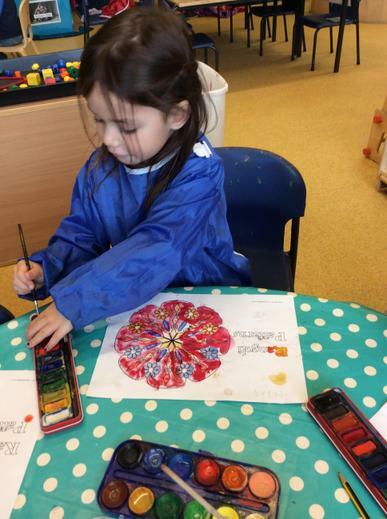 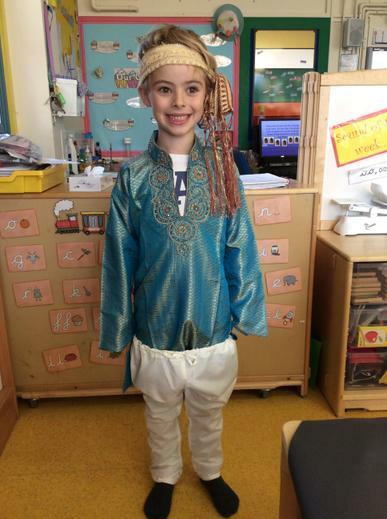 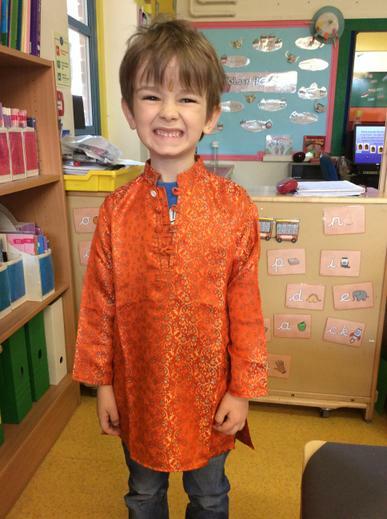 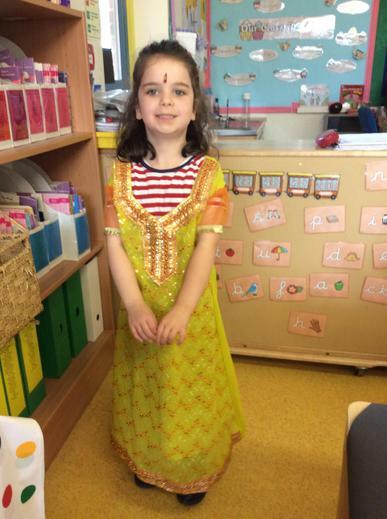 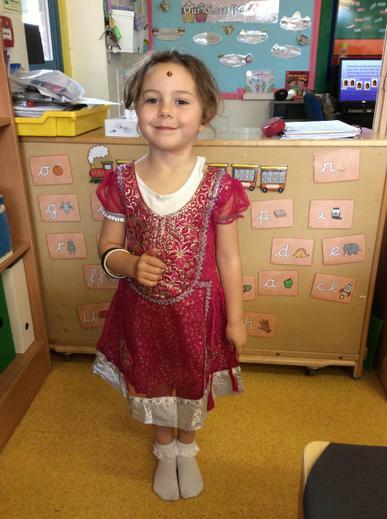 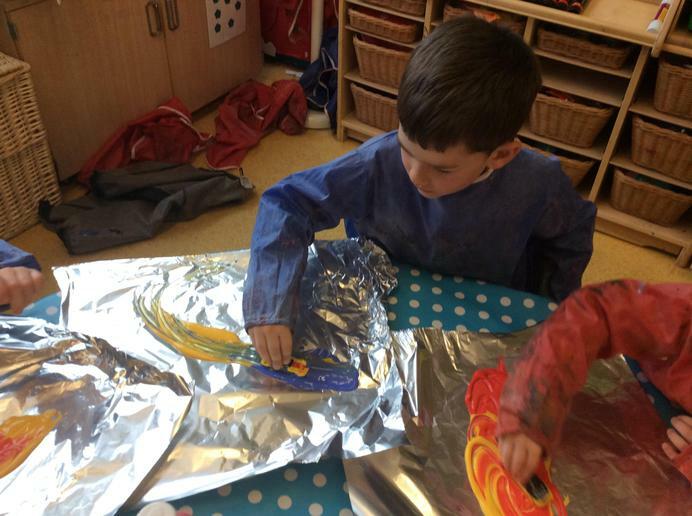 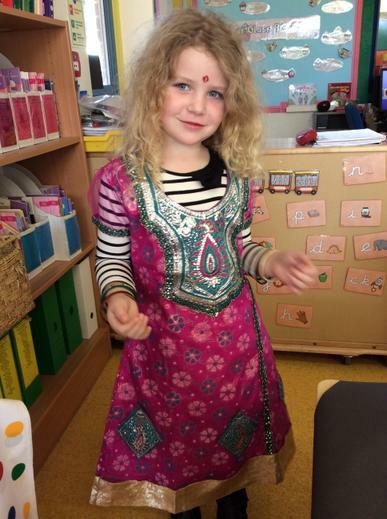 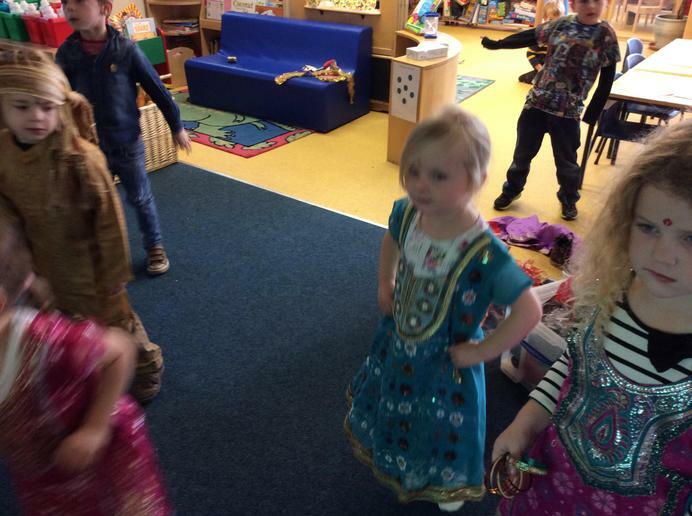 Diwali - Today we have been celebrating the Hindu Festival of Light, we have been dressing up and bhangra dancing as well as painting rangoli patterns and the children have made their very own diva lamps! 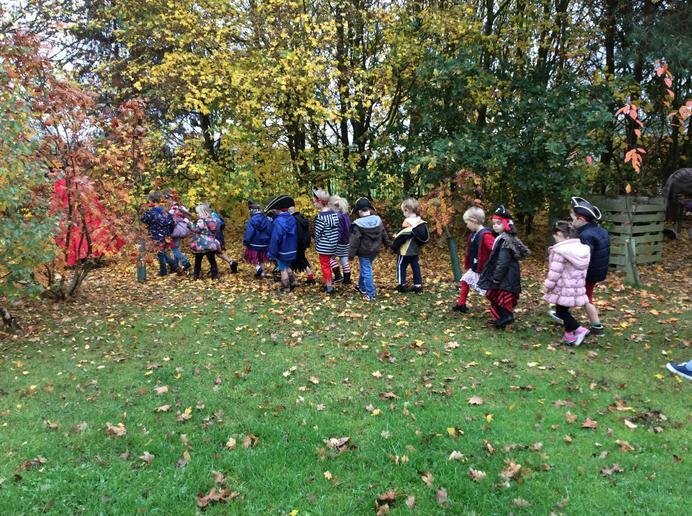 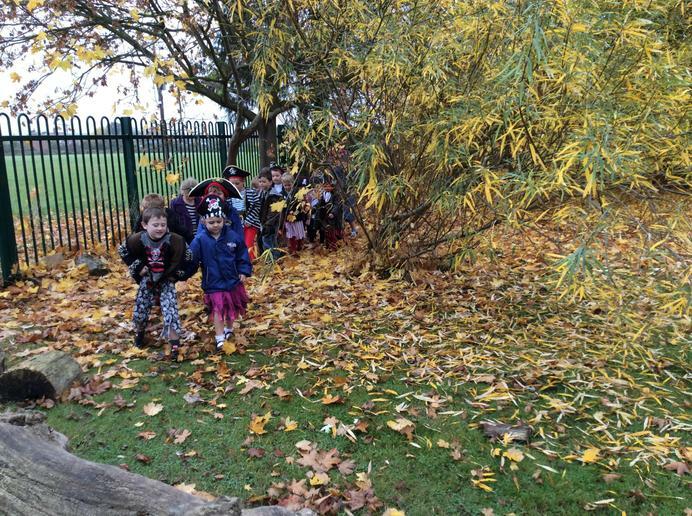 Autumn Walk - Cats class went on an Autumn walk around the school, they used their senses to recognise what you can see, smell and hear in autumn.